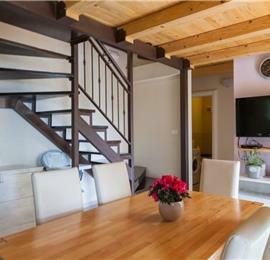 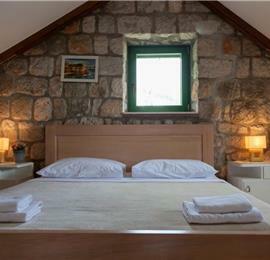 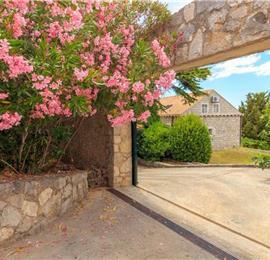 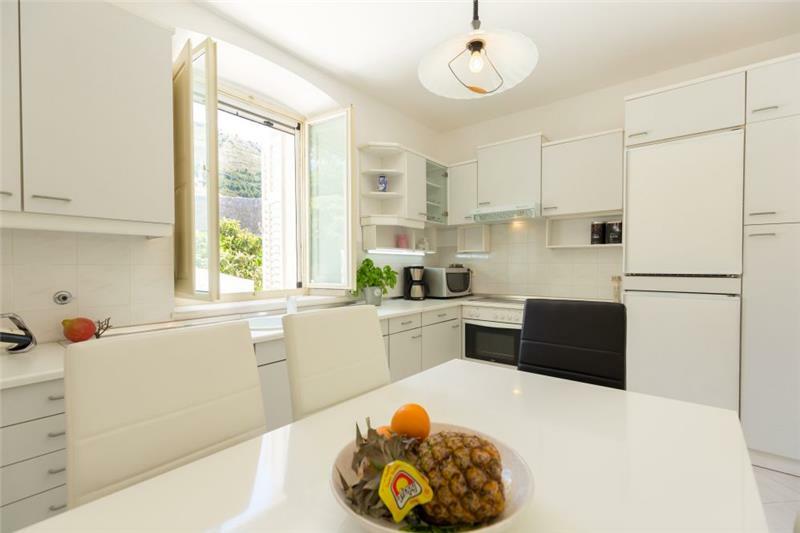 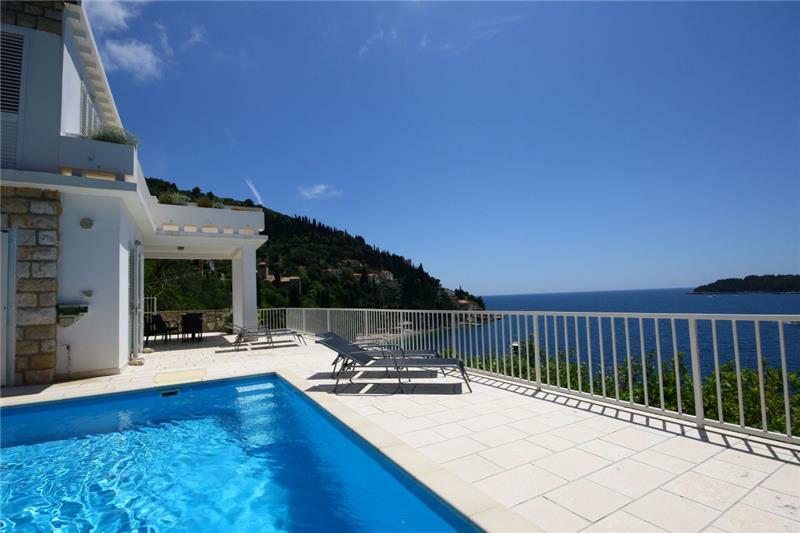 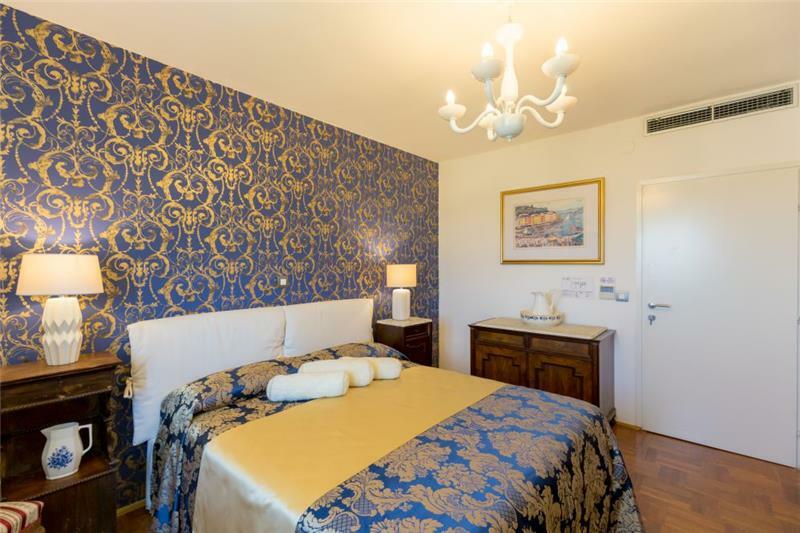 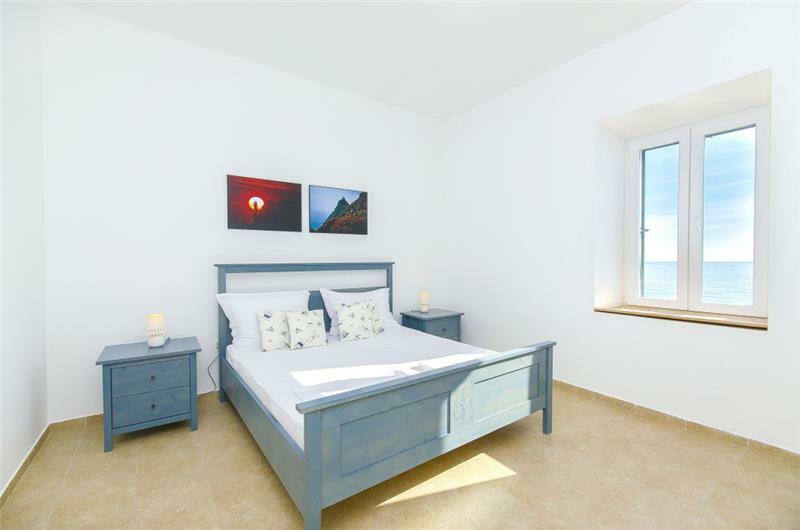 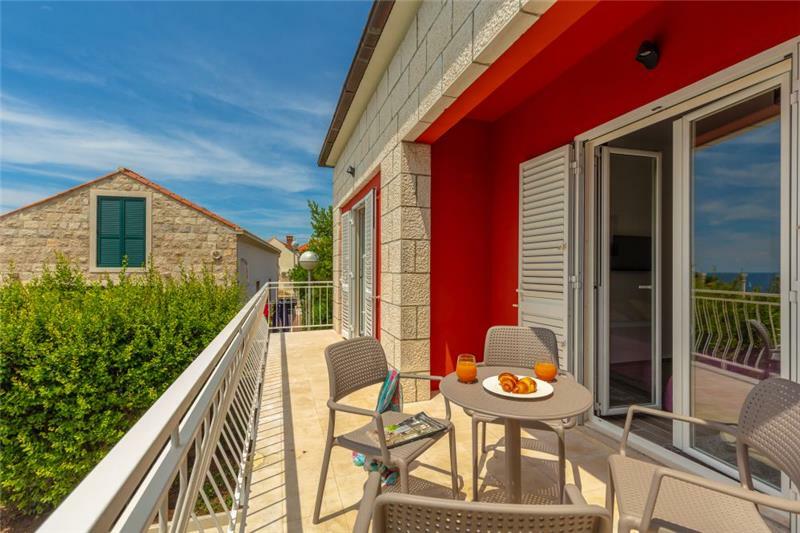 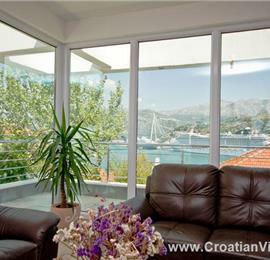 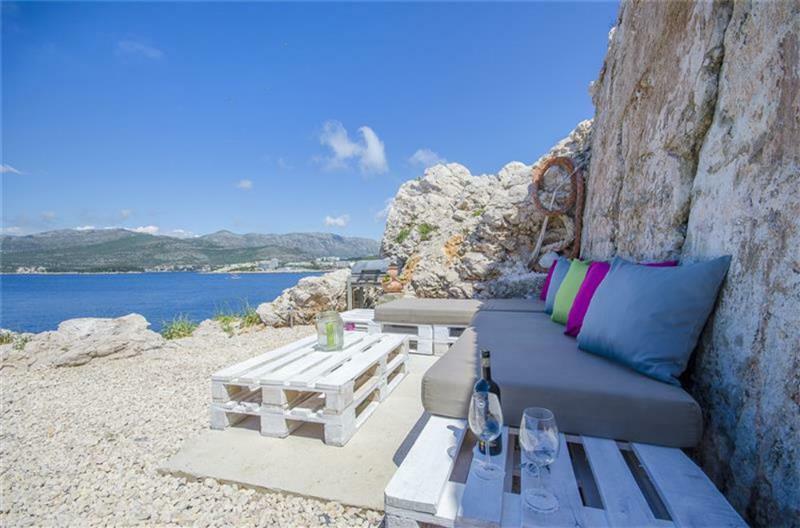 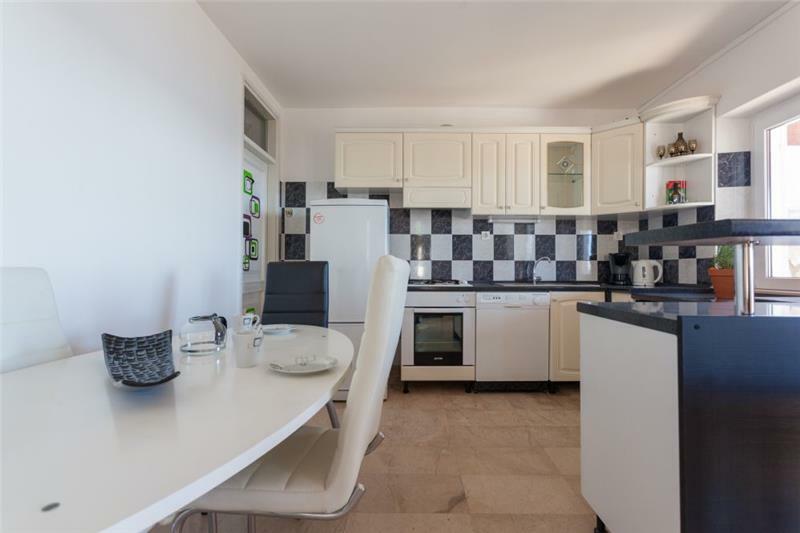 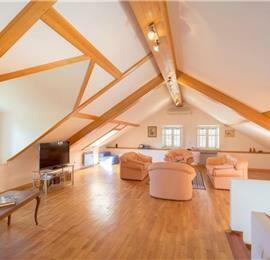 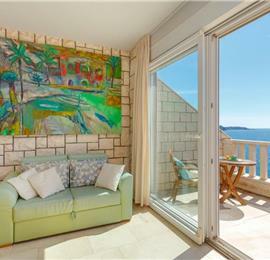 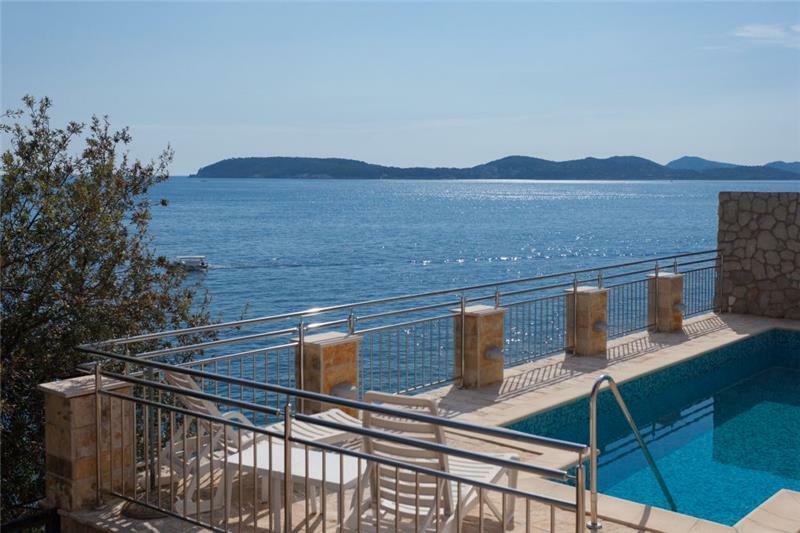 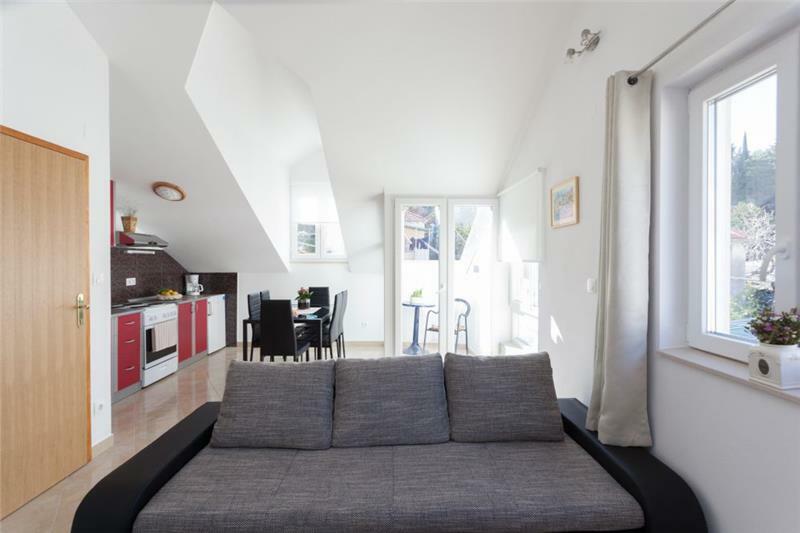 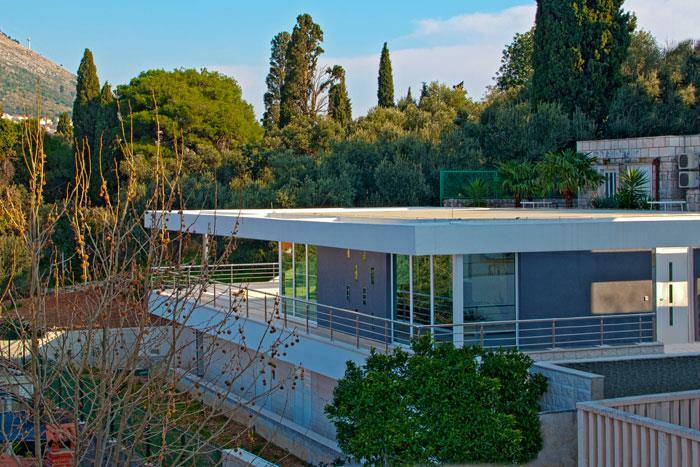 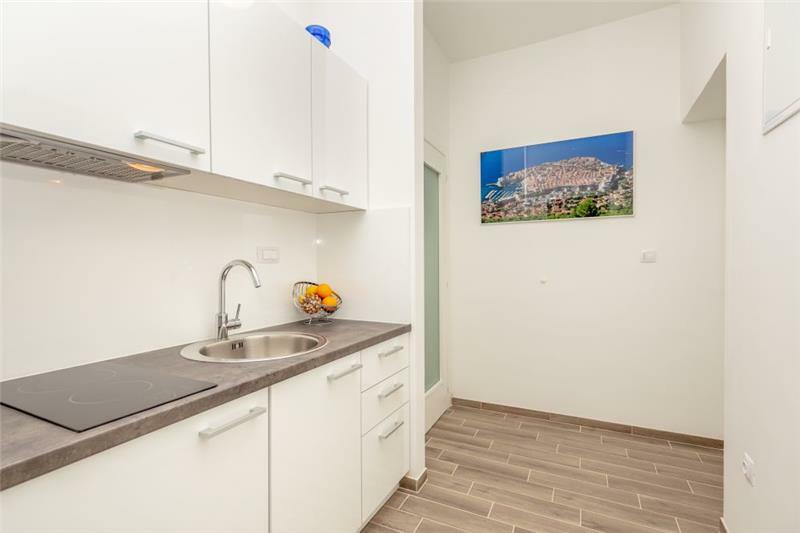 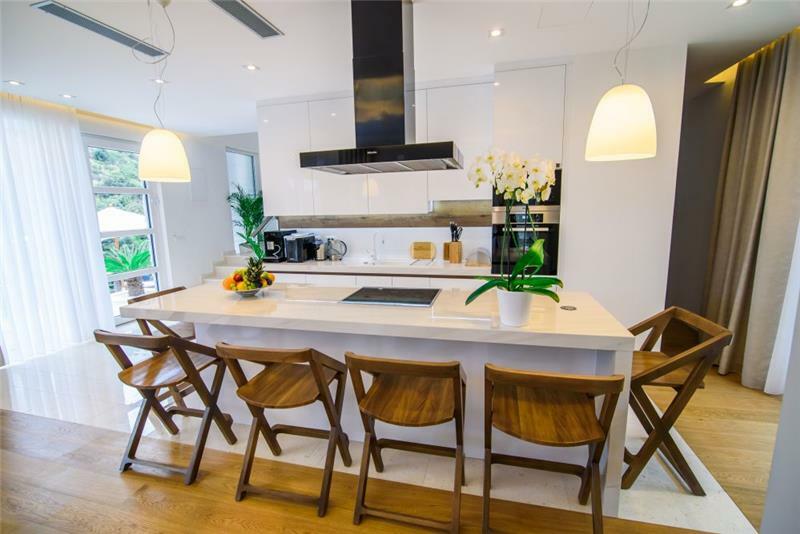 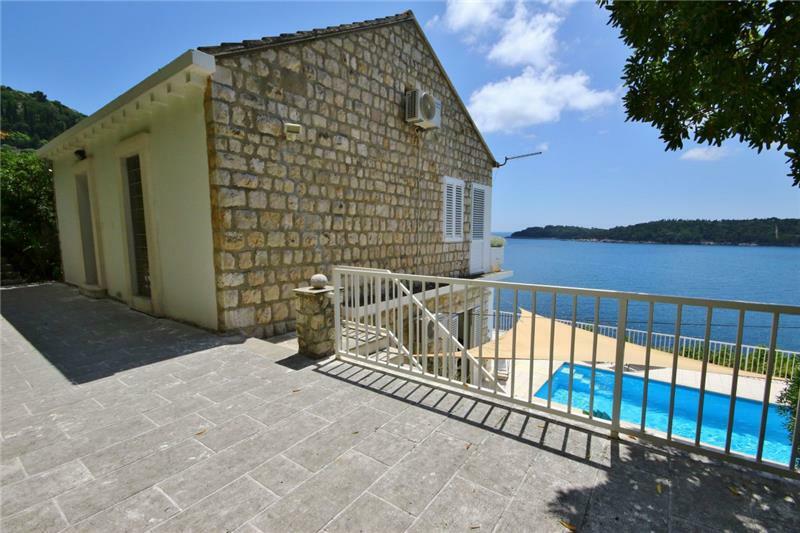 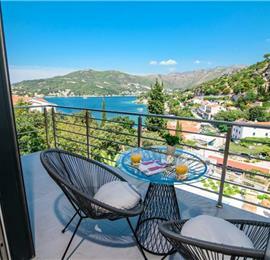 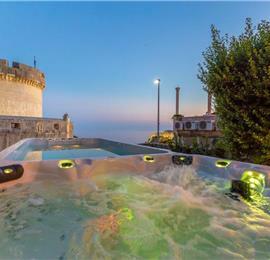 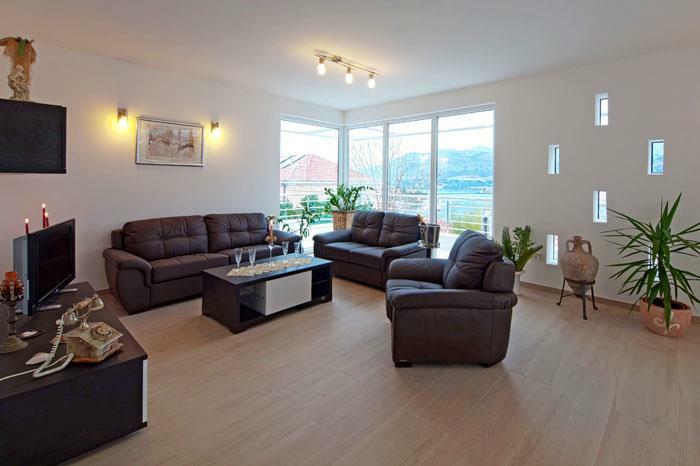 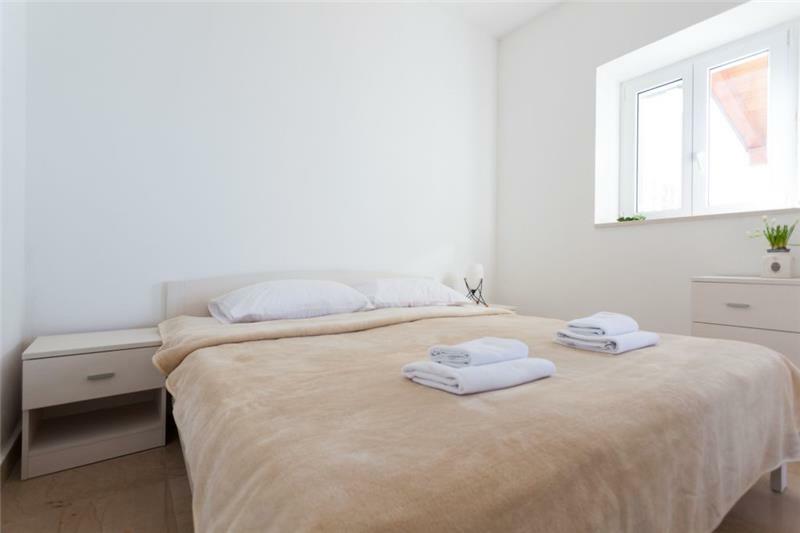 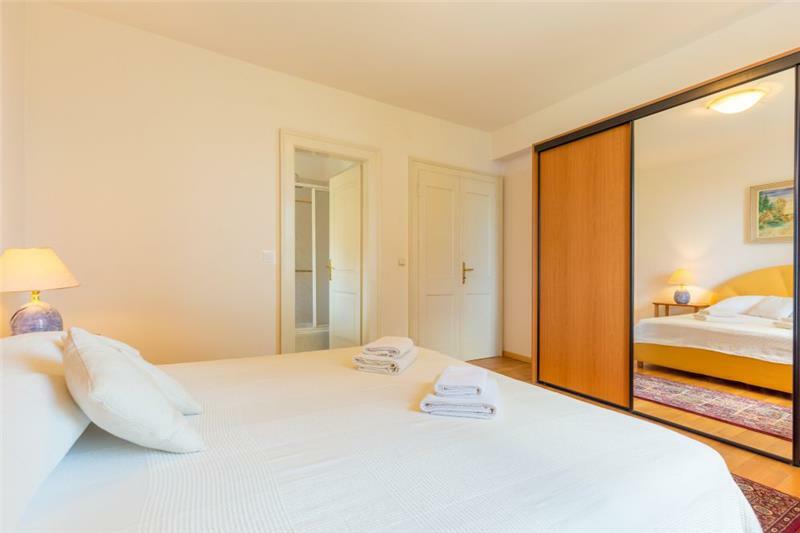 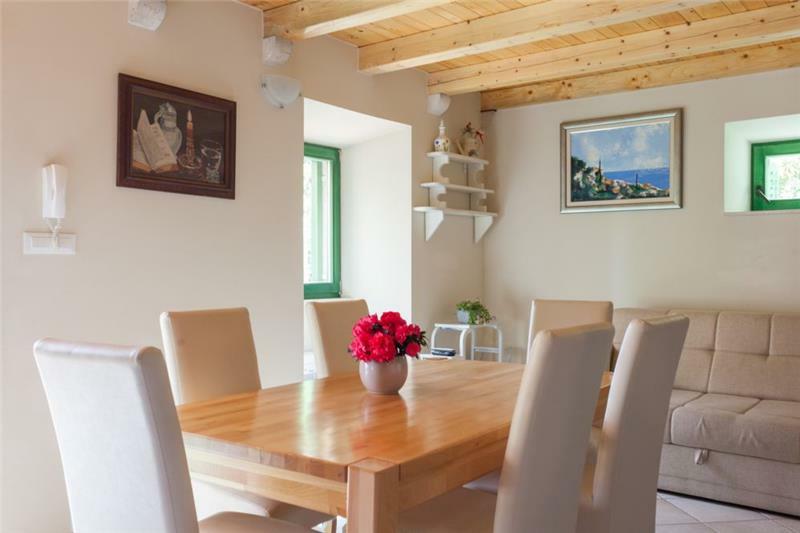 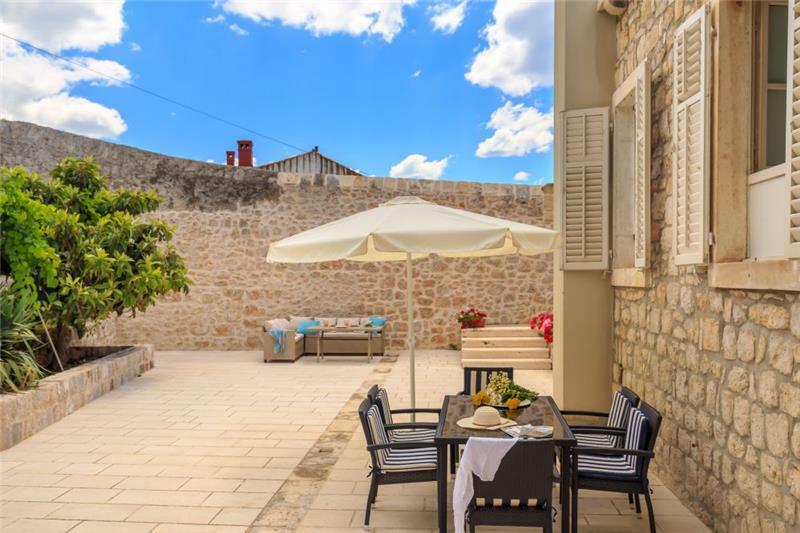 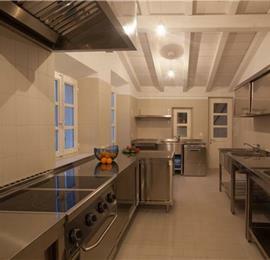 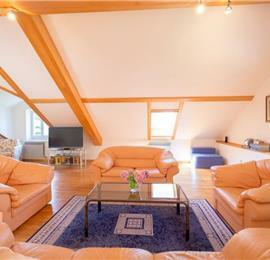 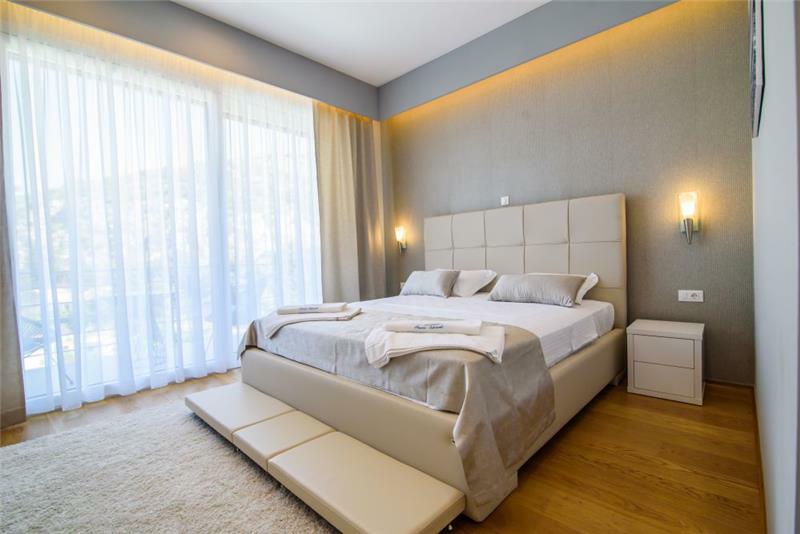 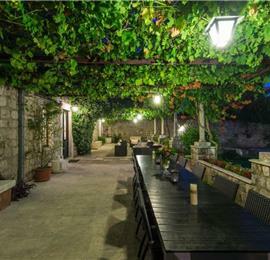 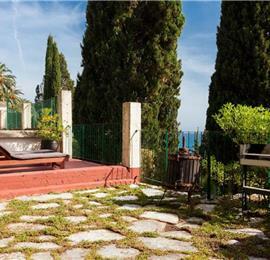 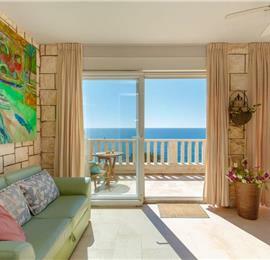 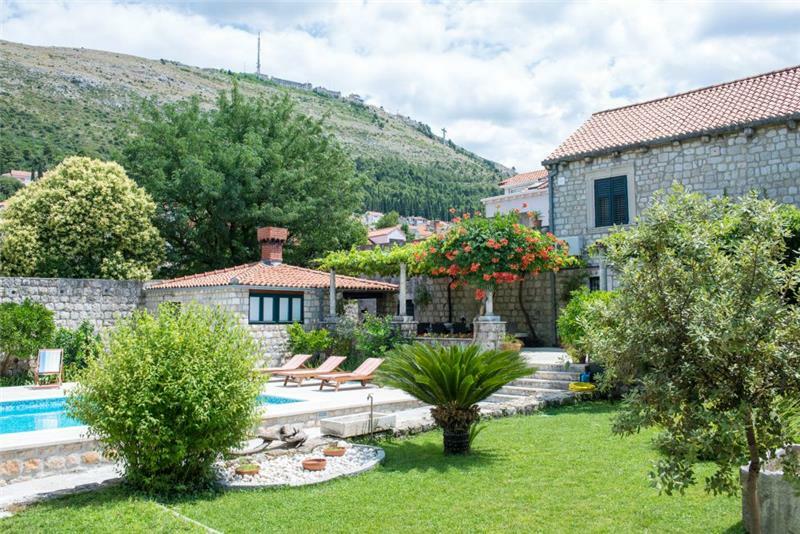 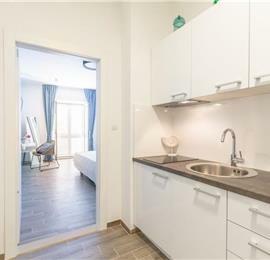 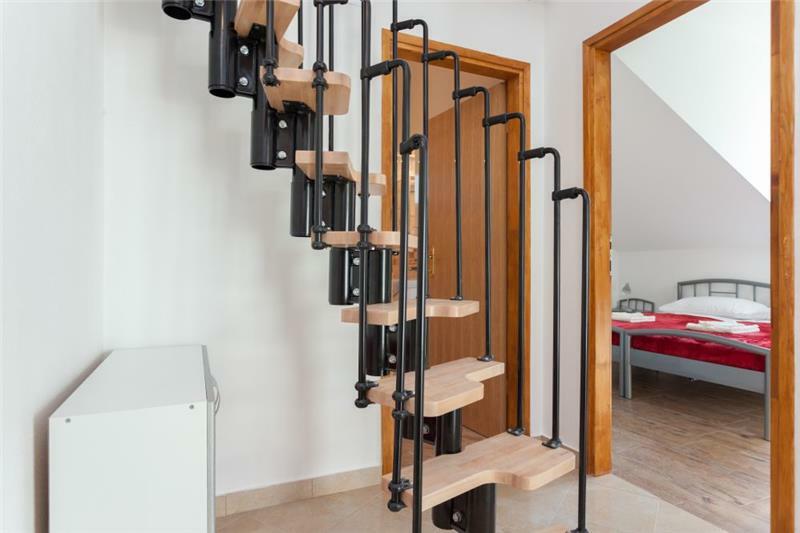 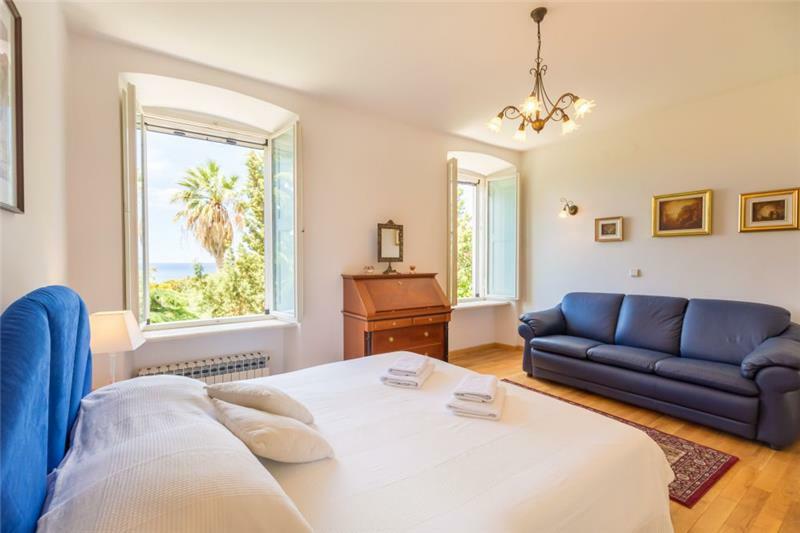 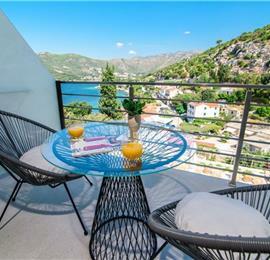 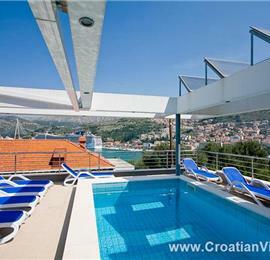 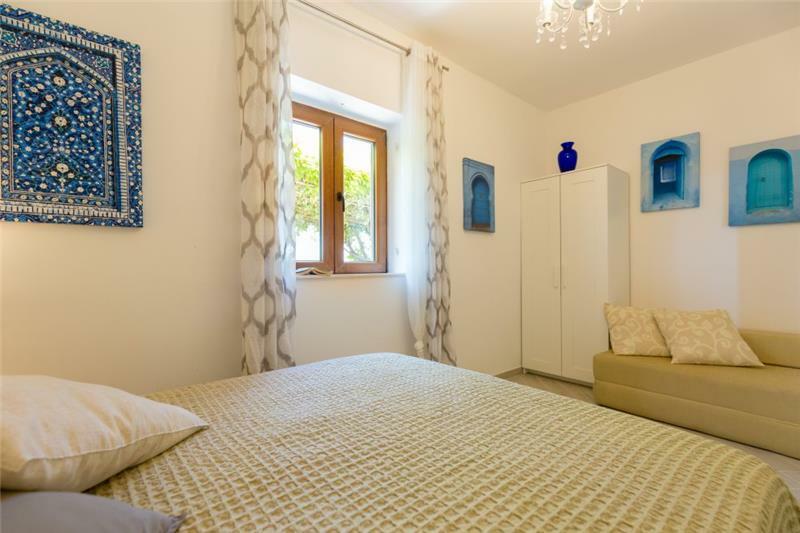 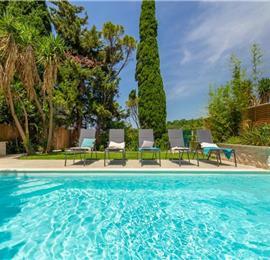 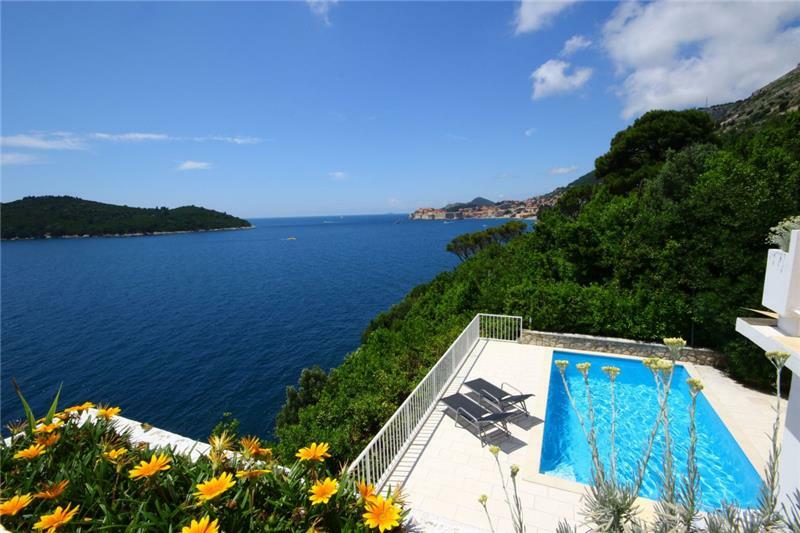 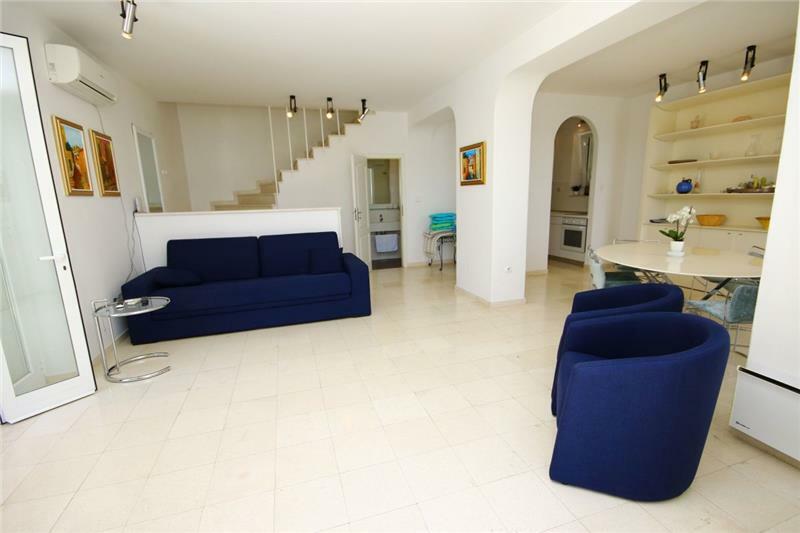 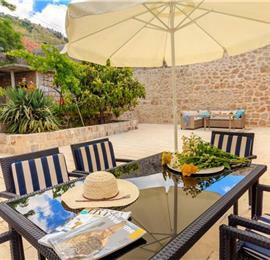 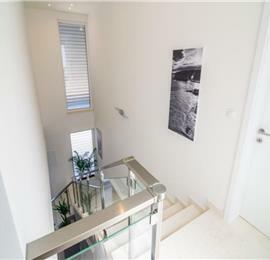 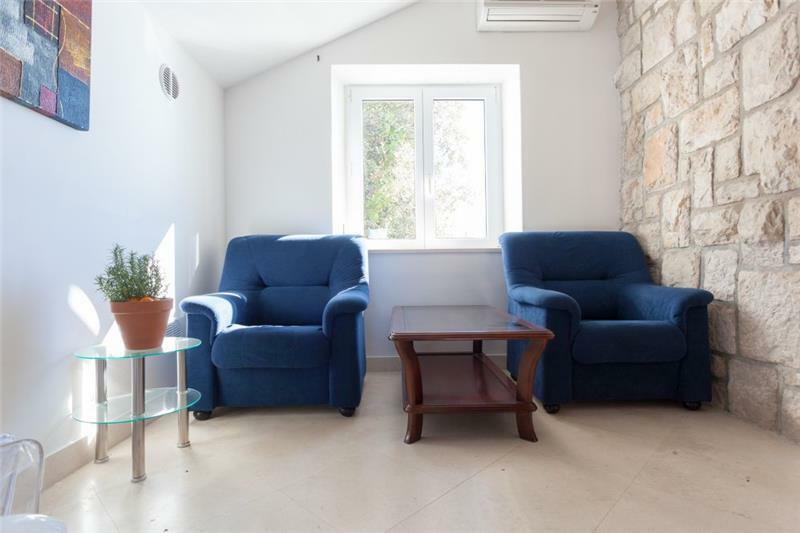 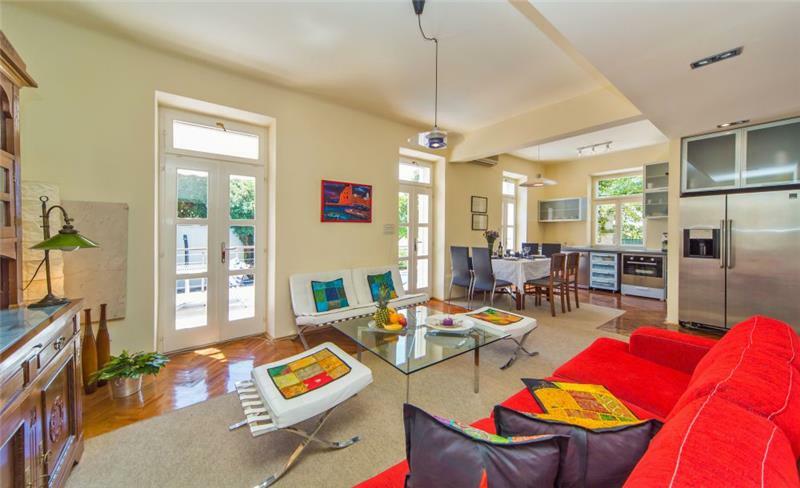 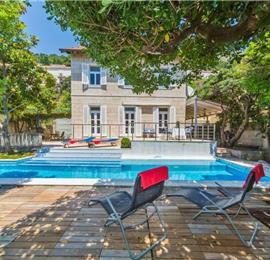 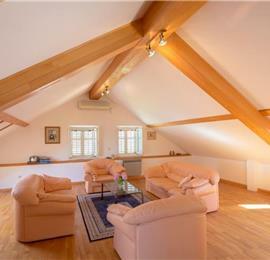 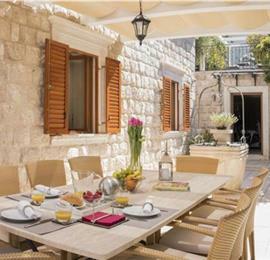 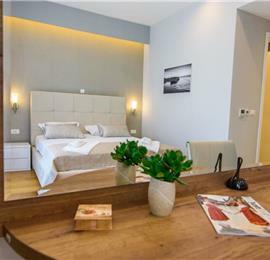 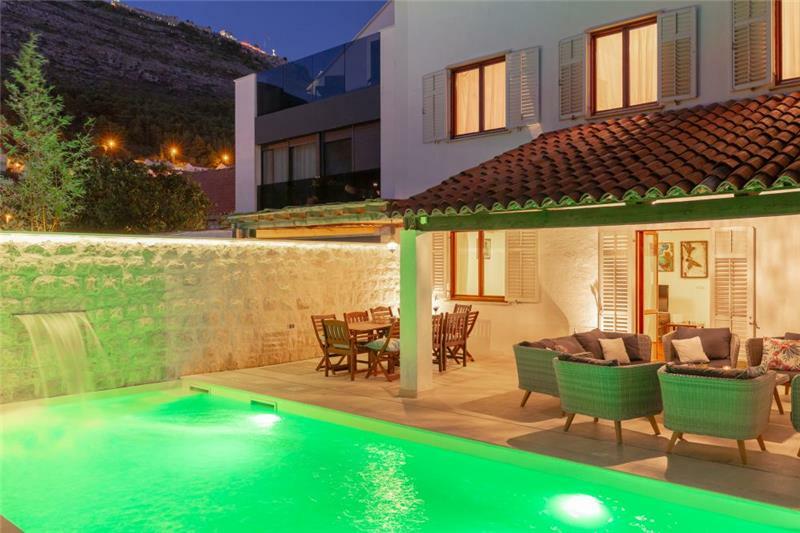 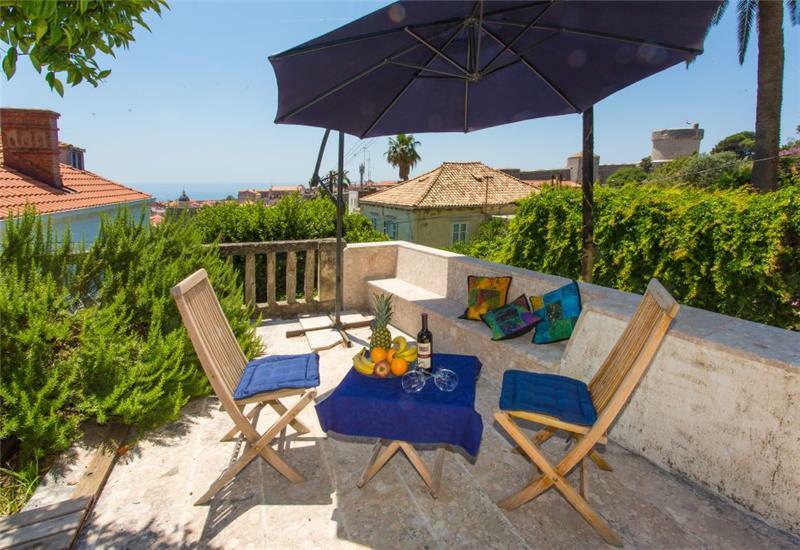 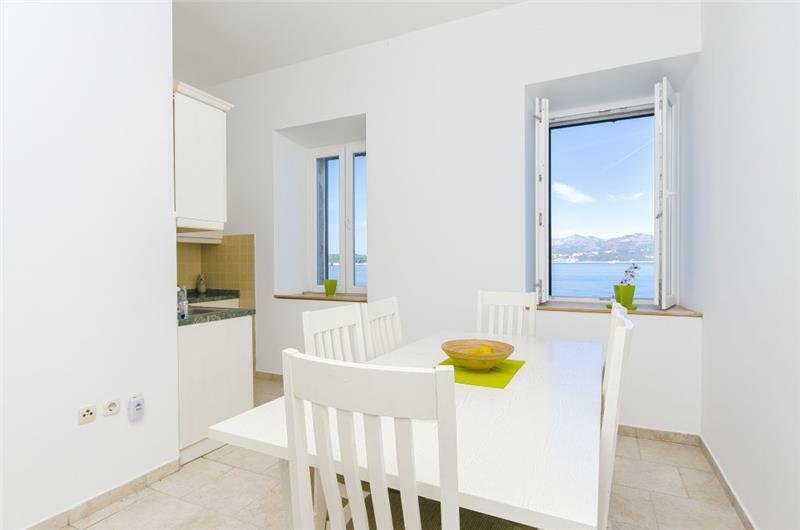 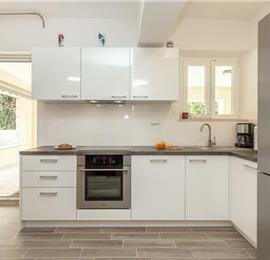 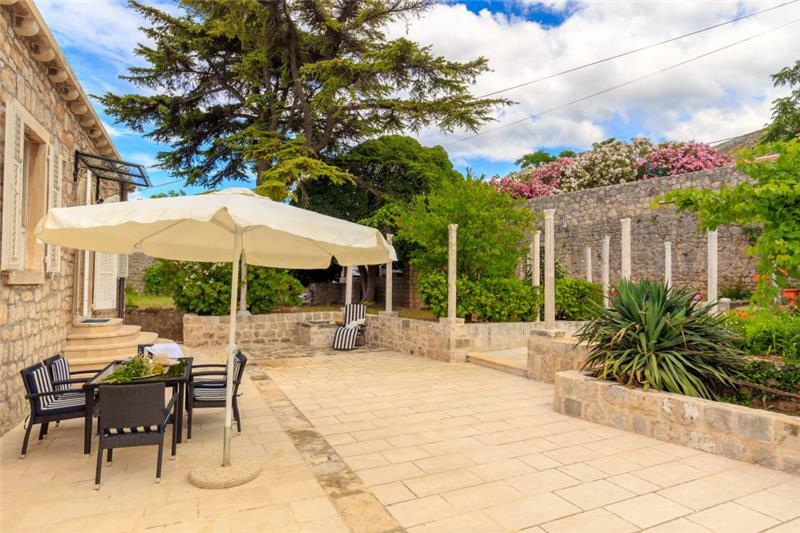 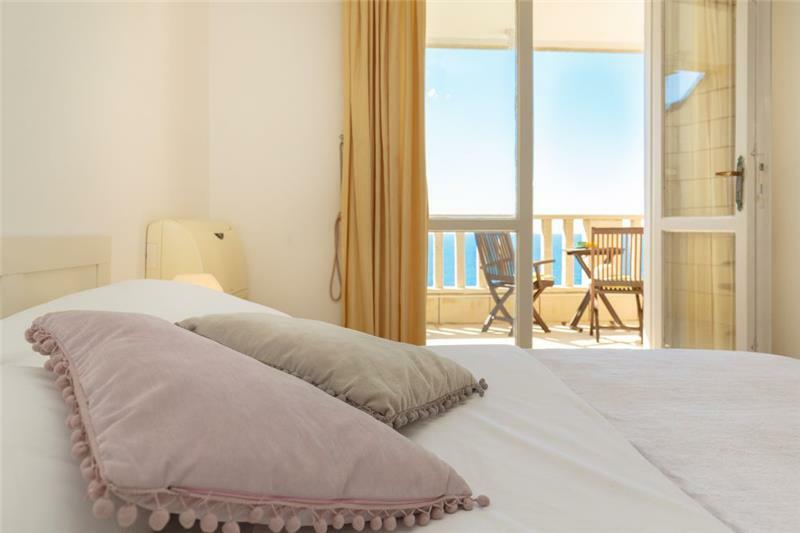 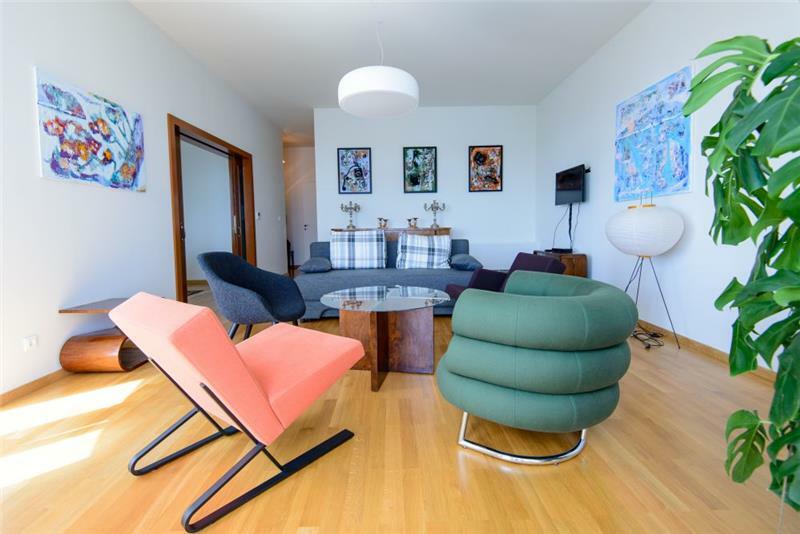 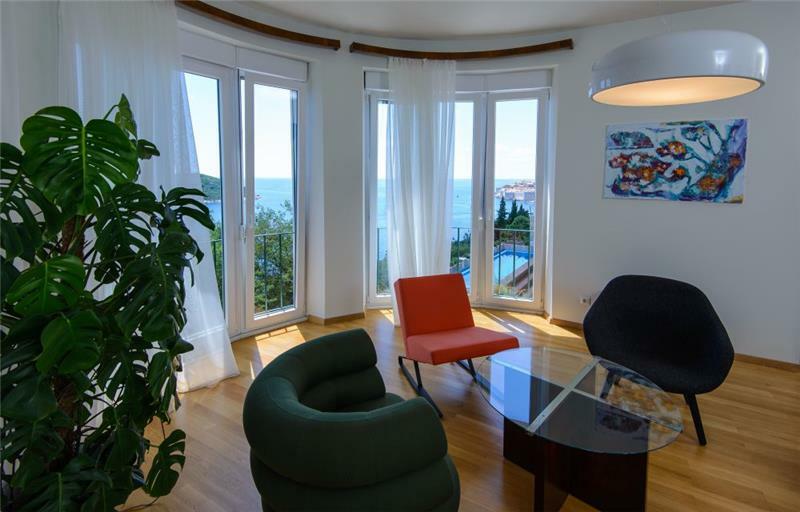 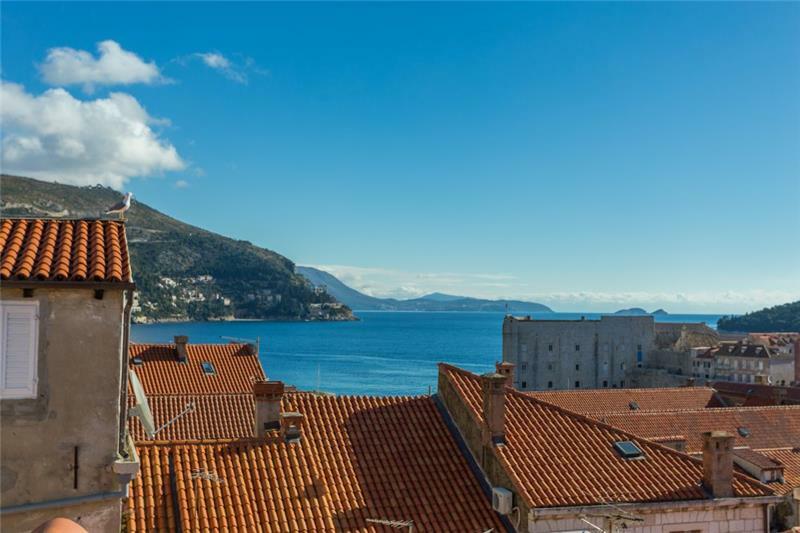 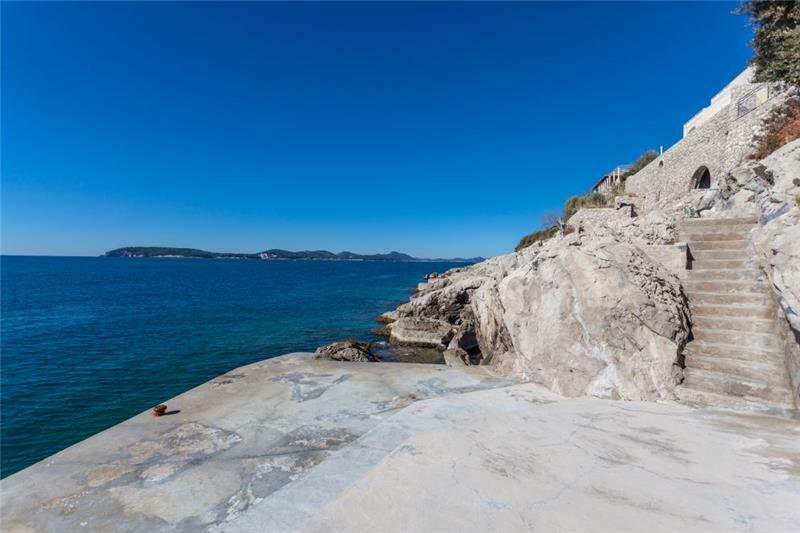 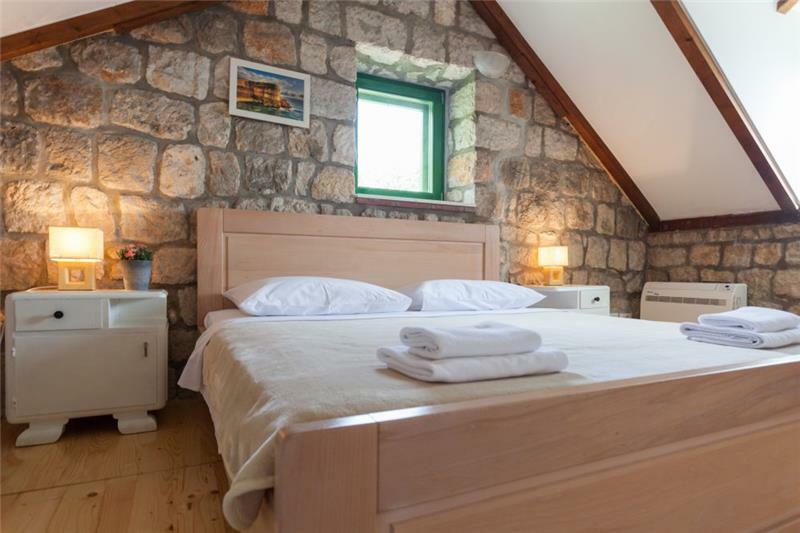 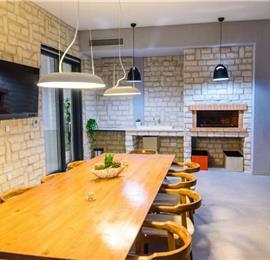 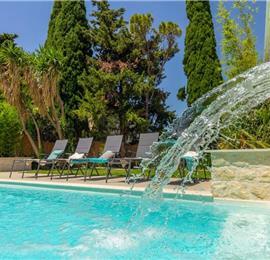 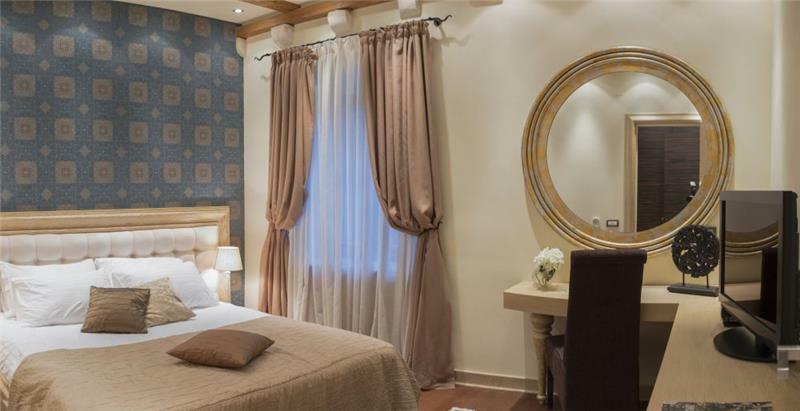 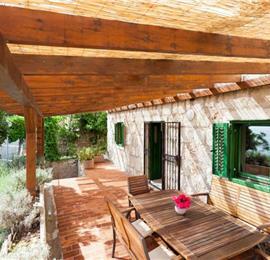 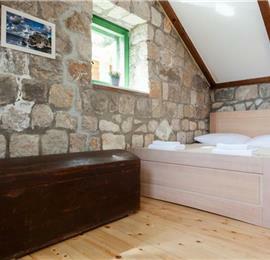 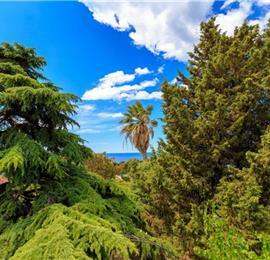 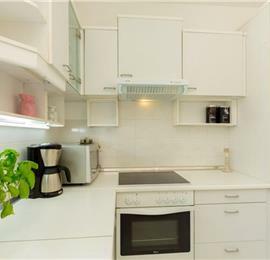 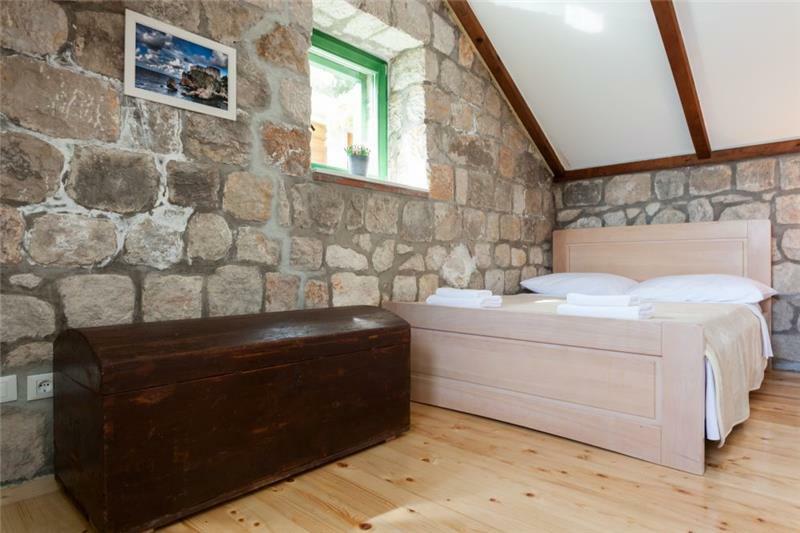 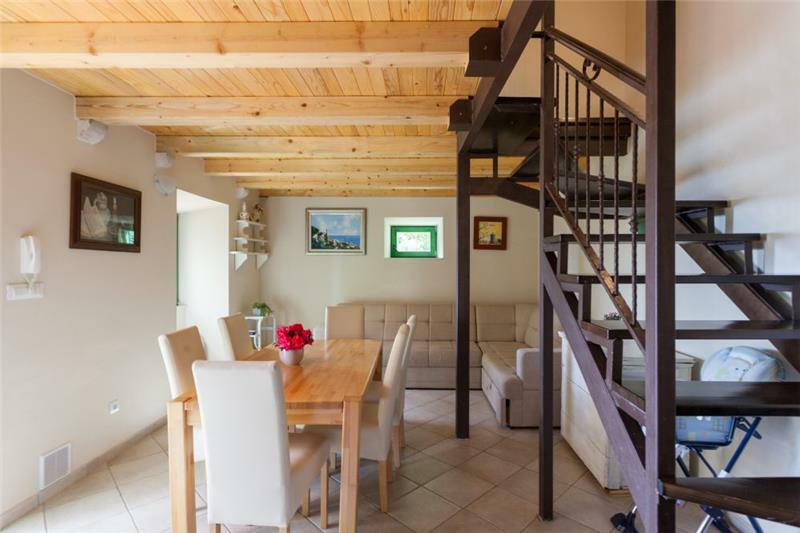 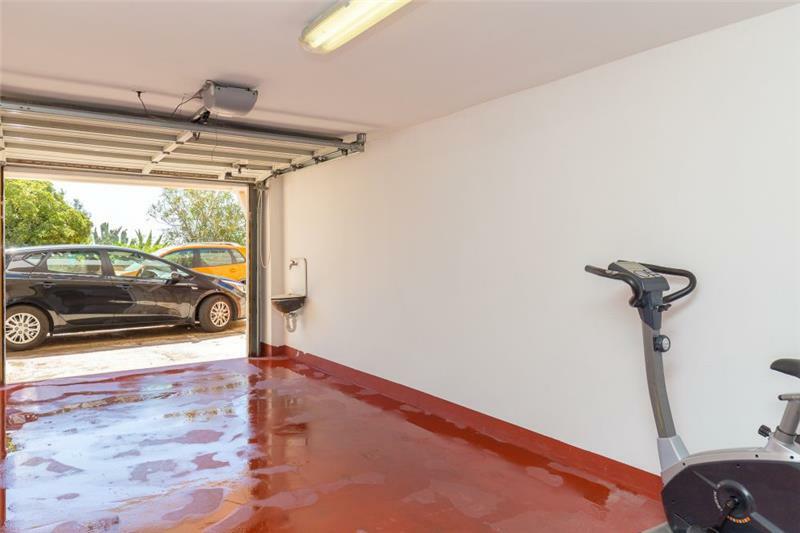 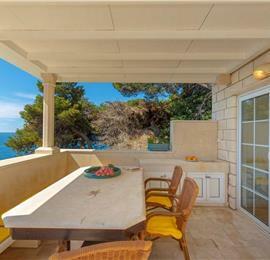 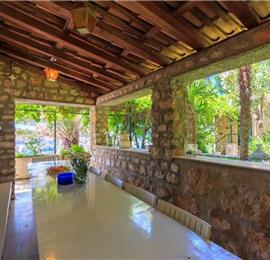 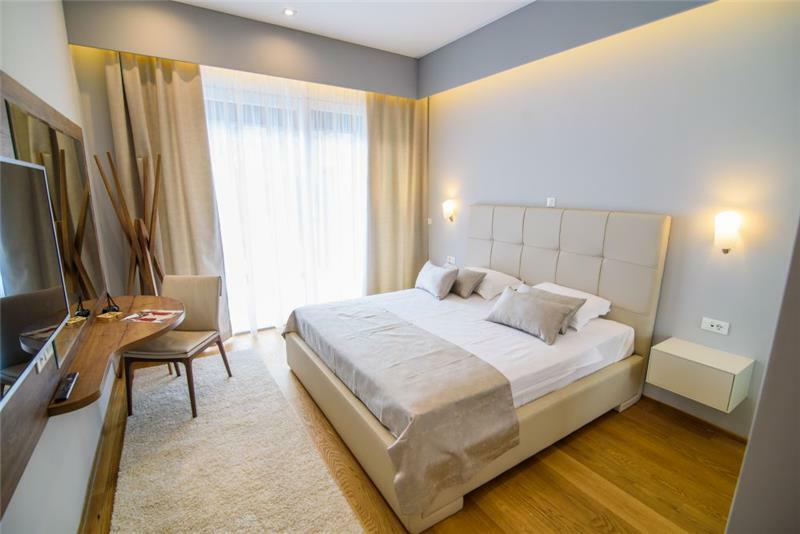 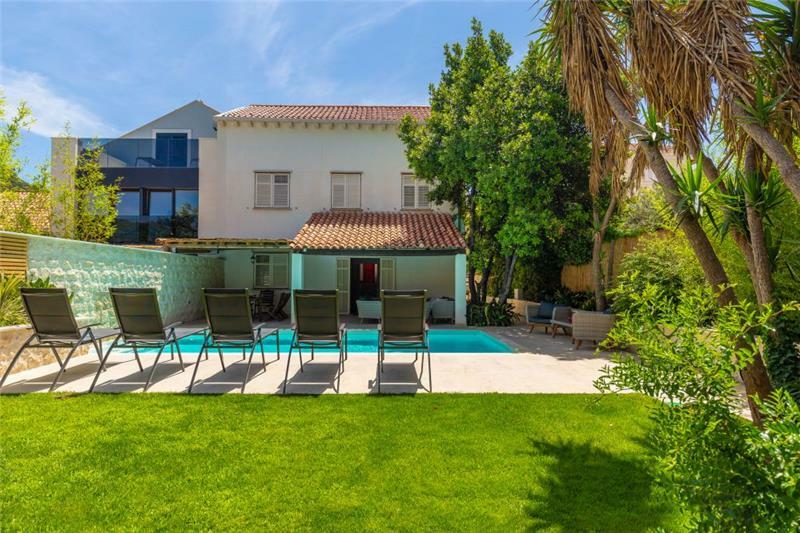 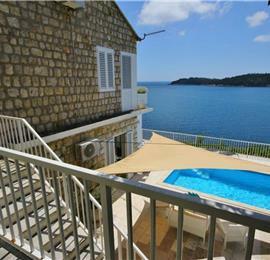 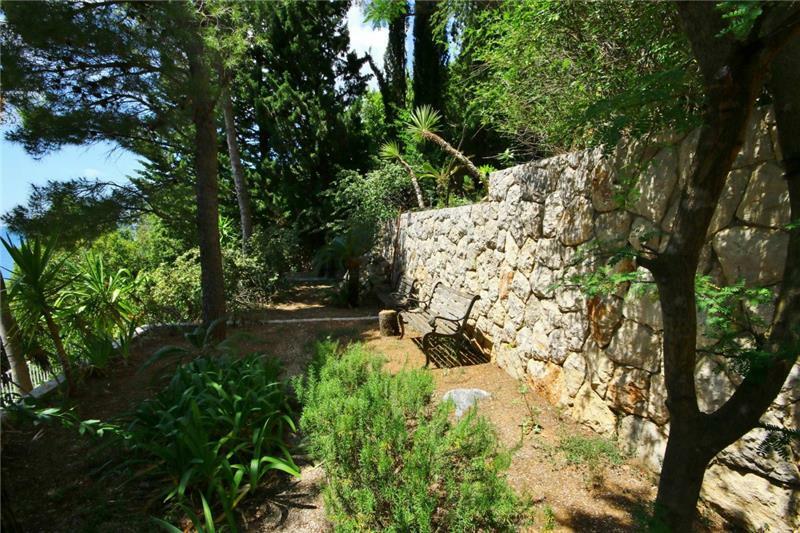 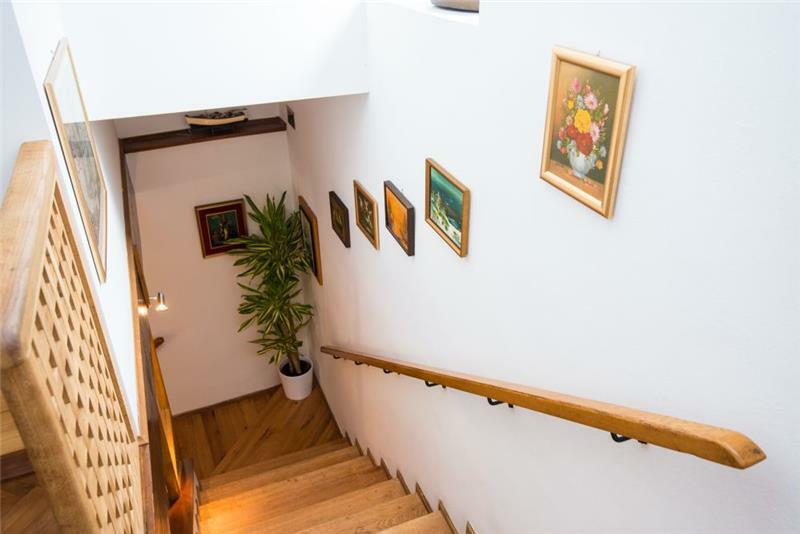 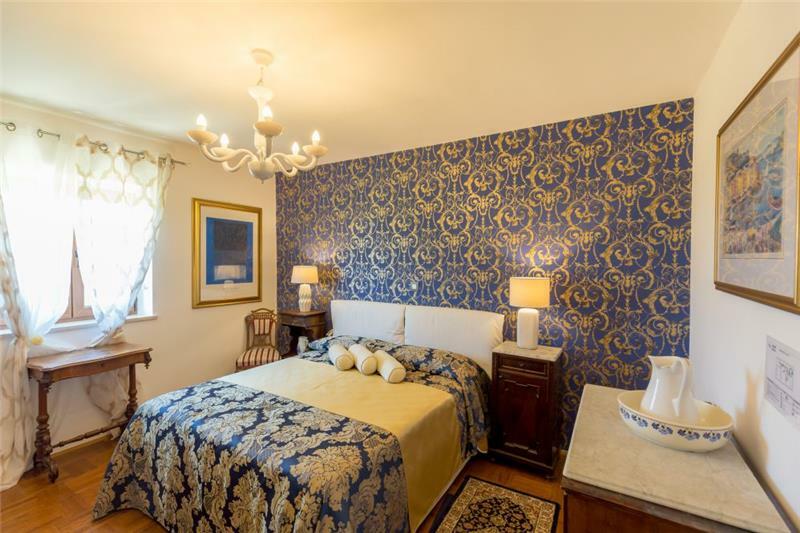 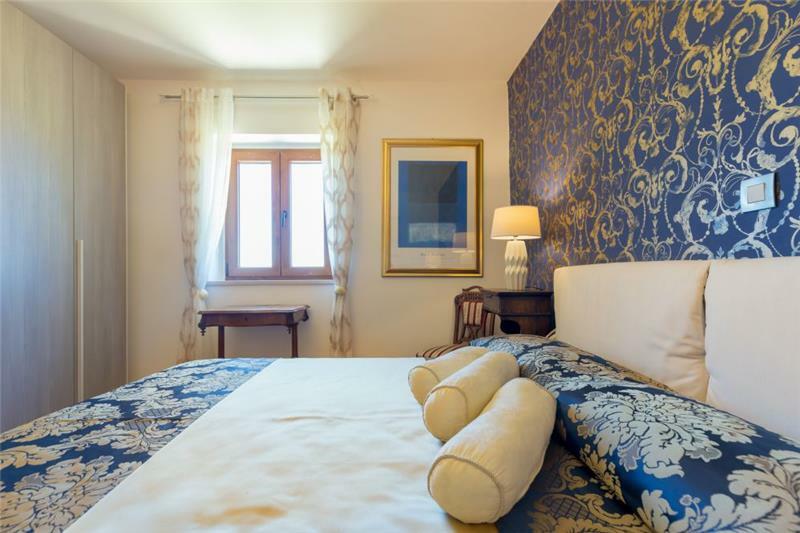 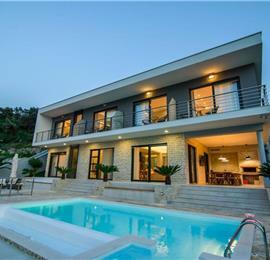 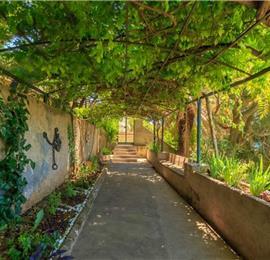 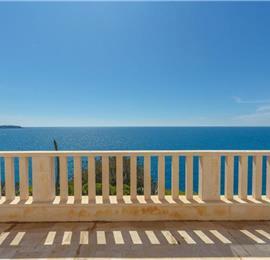 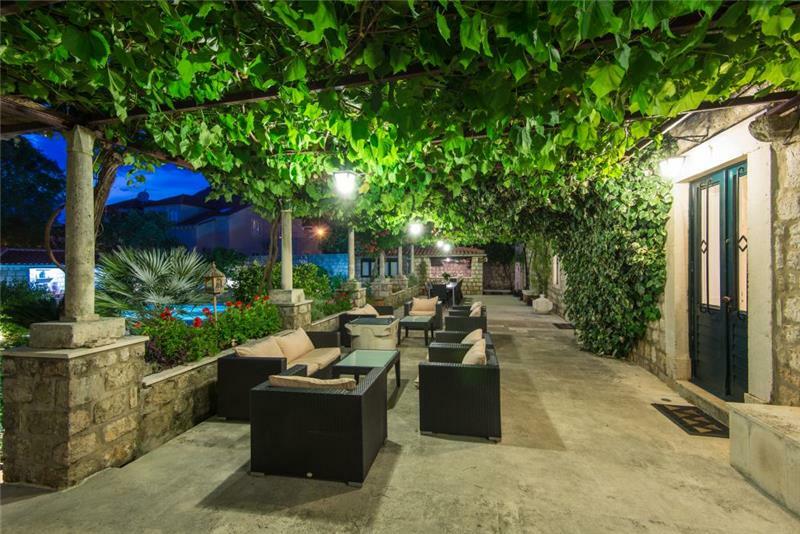 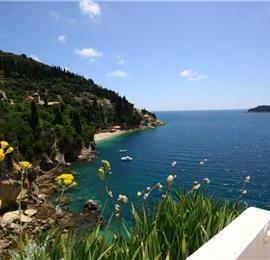 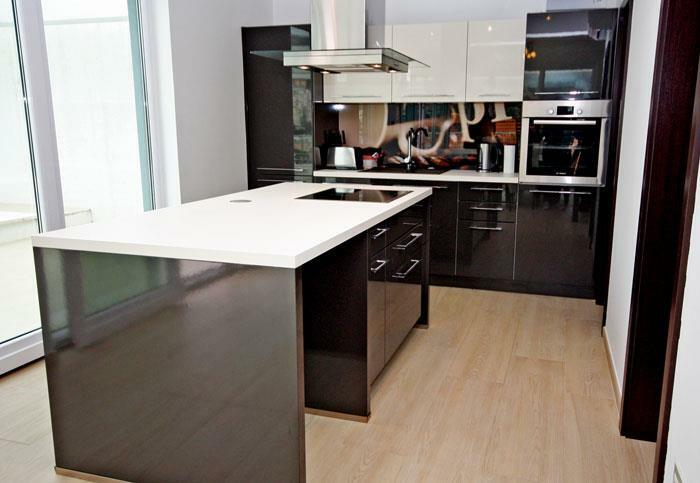 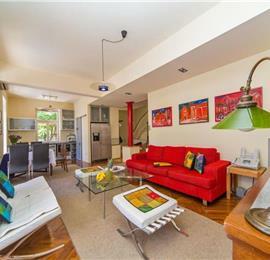 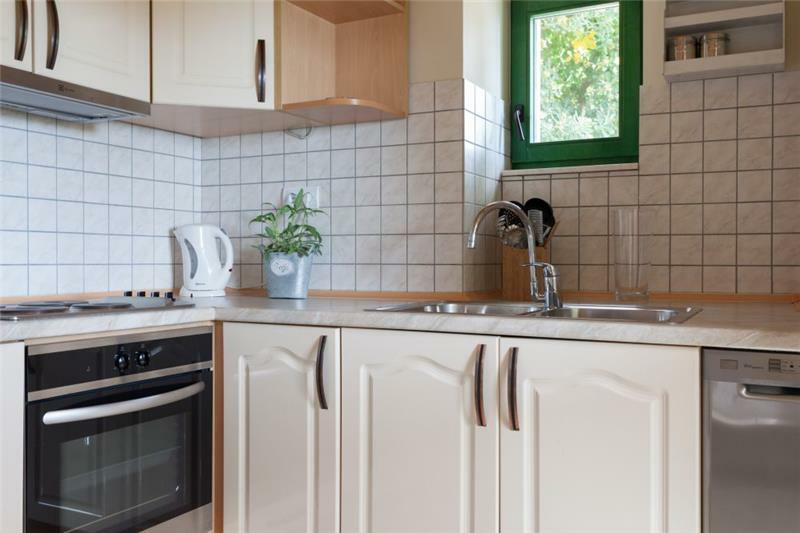 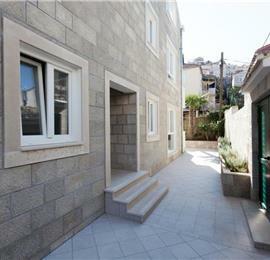 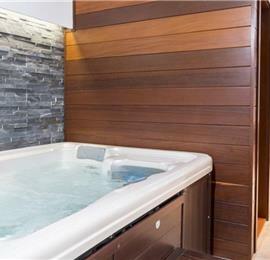 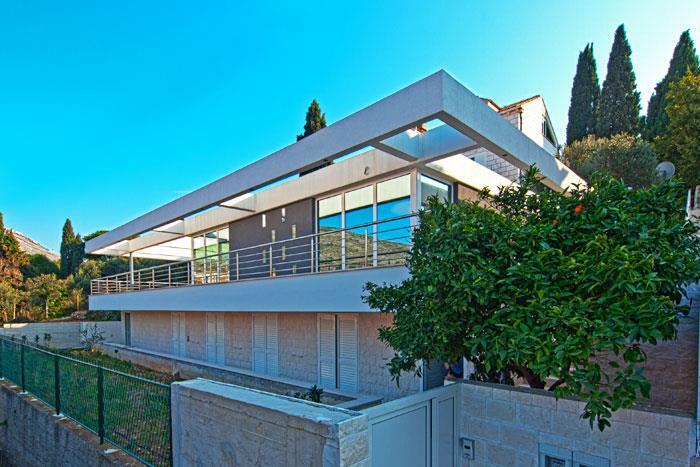 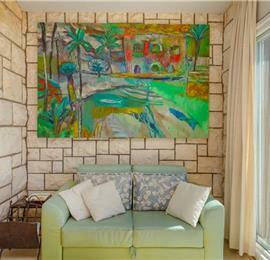 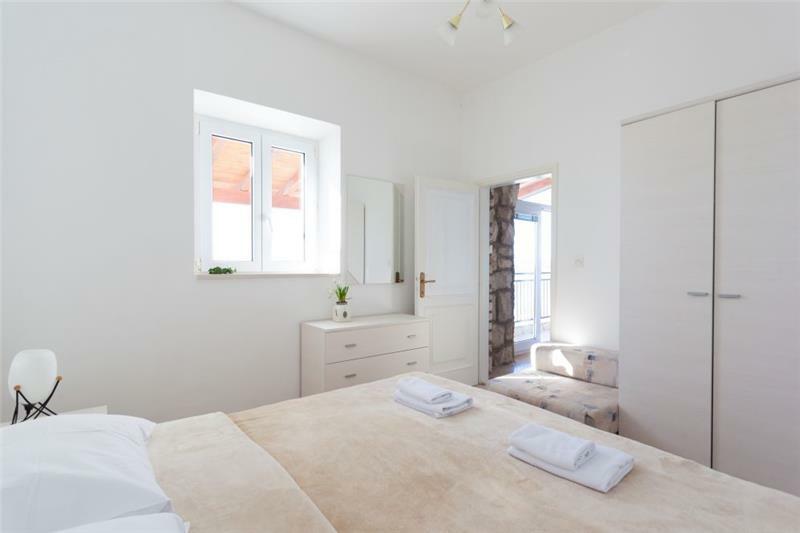 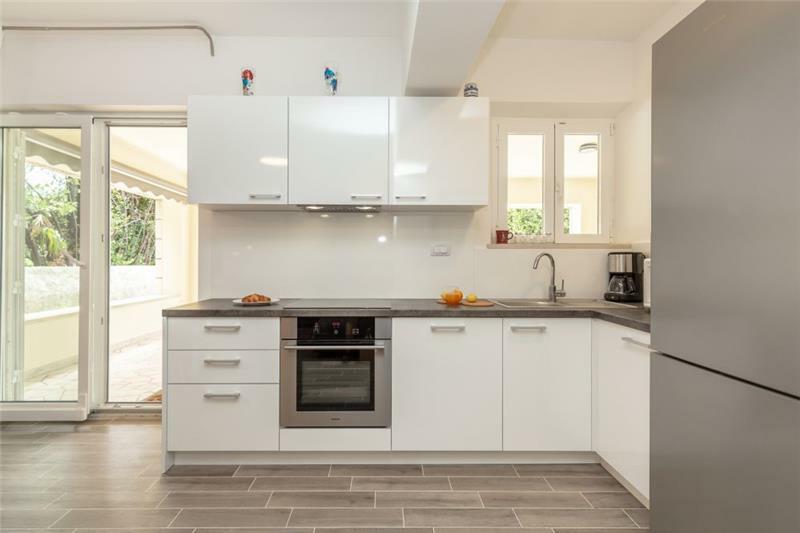 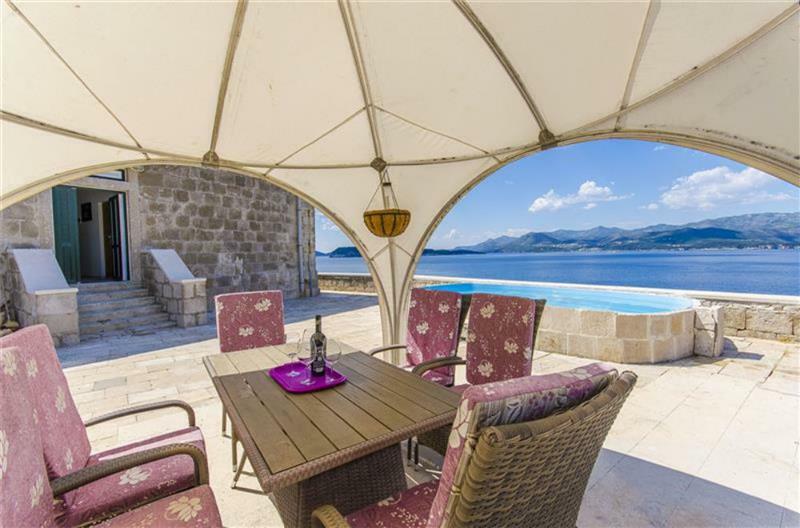 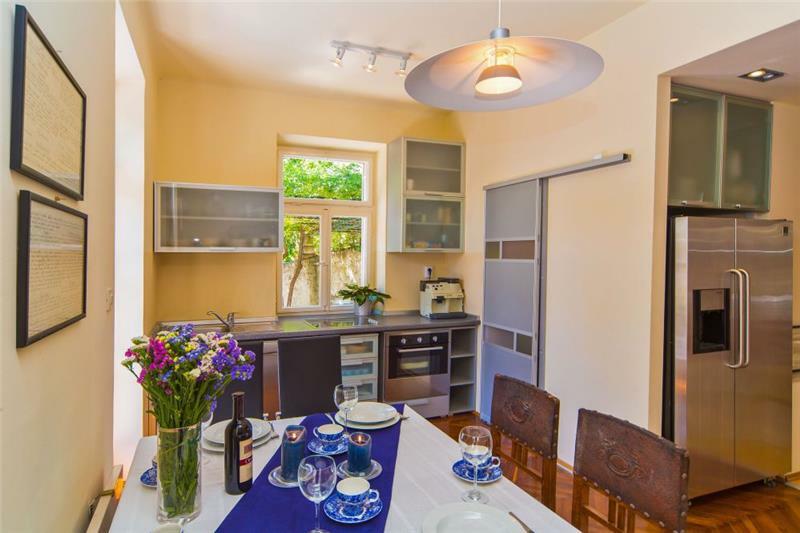 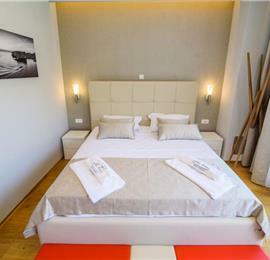 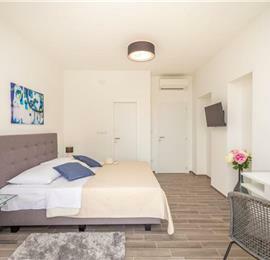 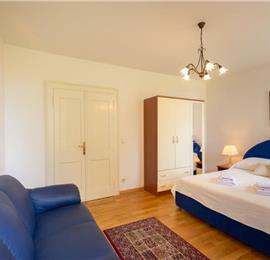 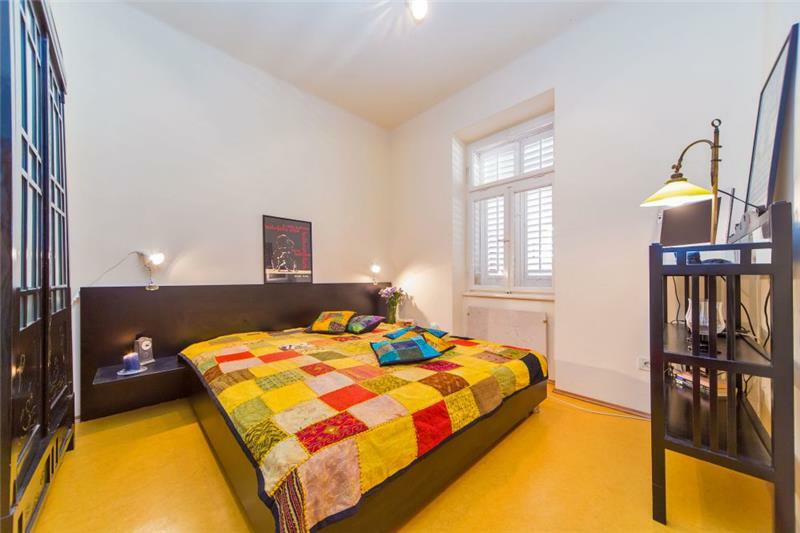 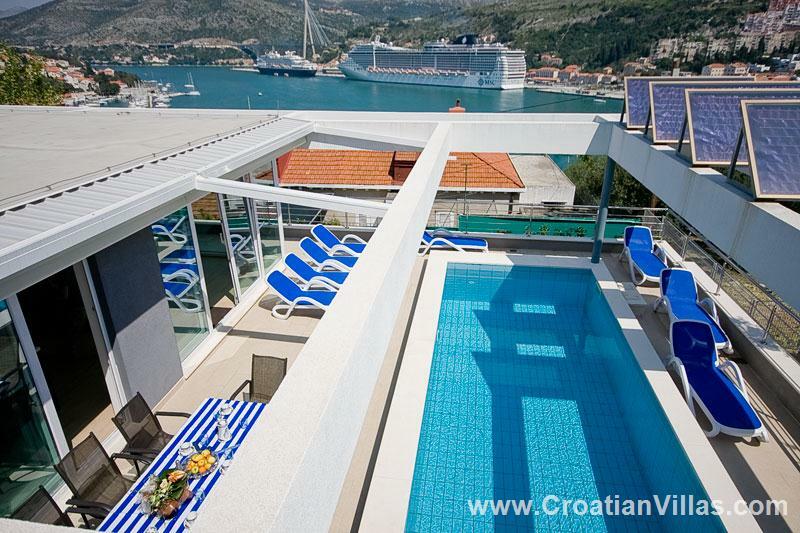 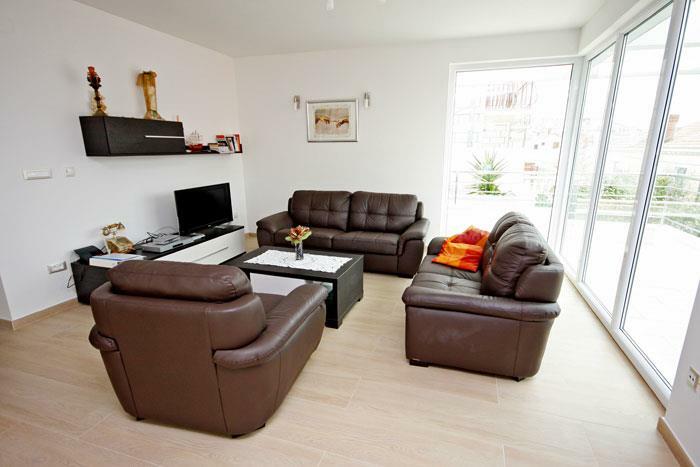 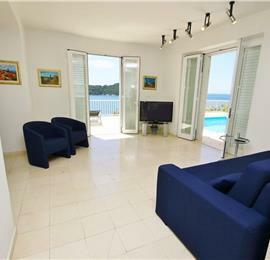 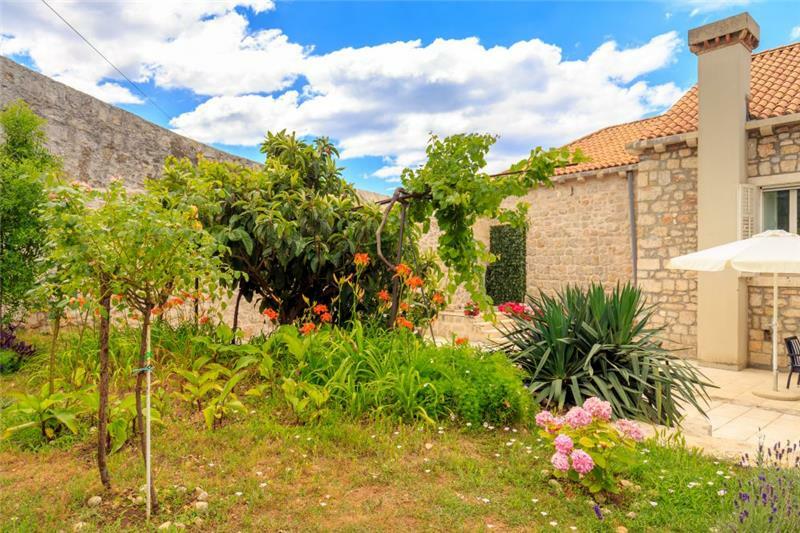 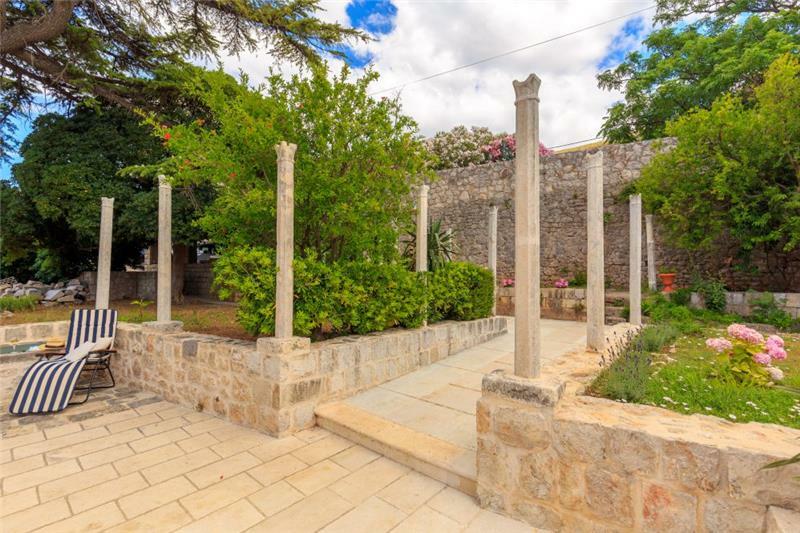 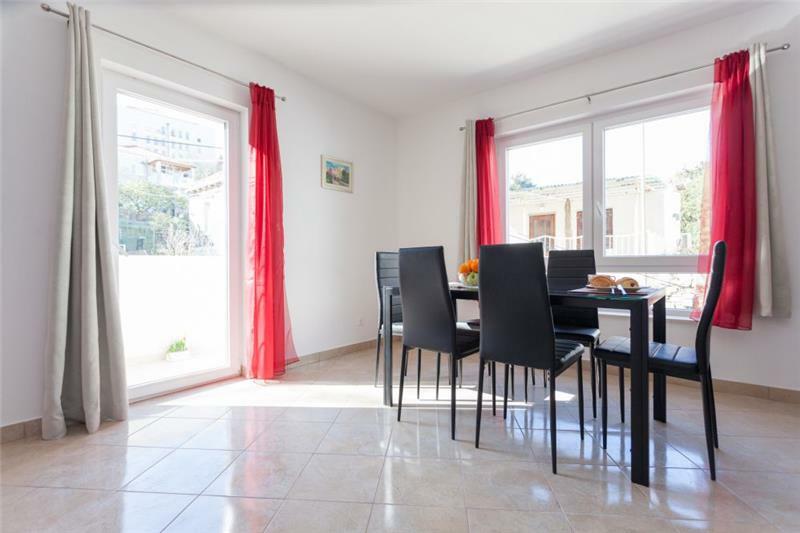 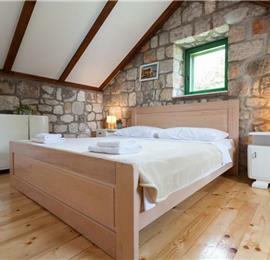 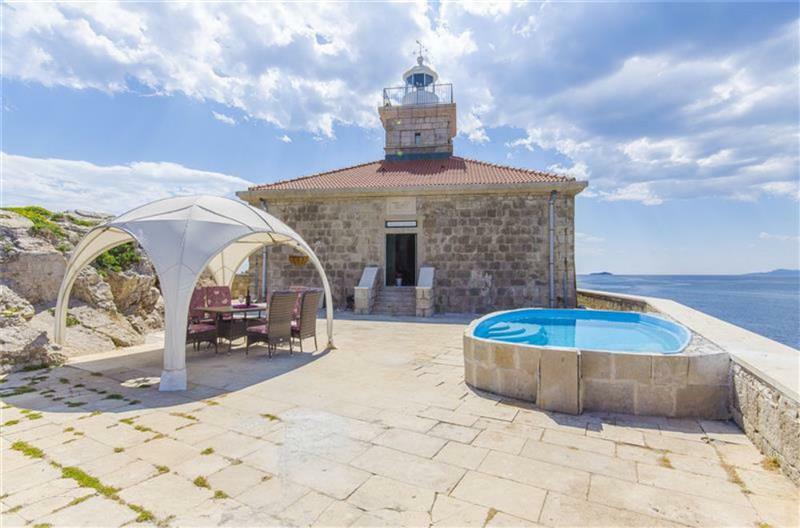 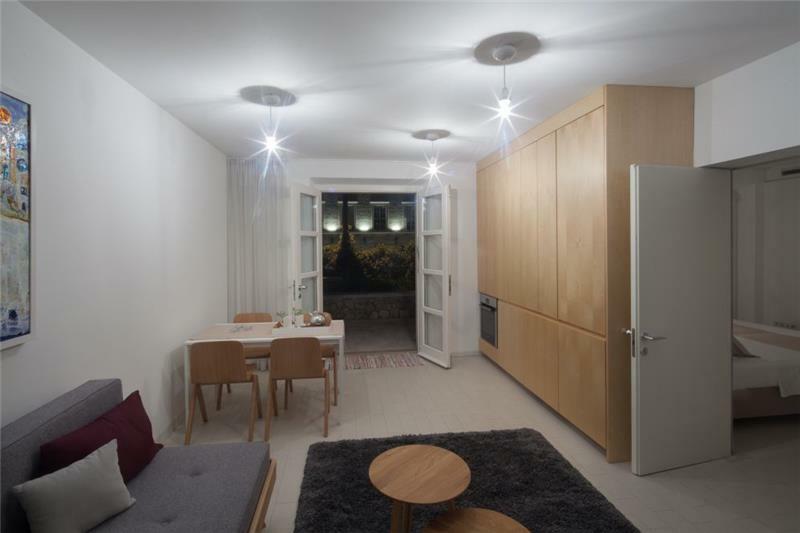 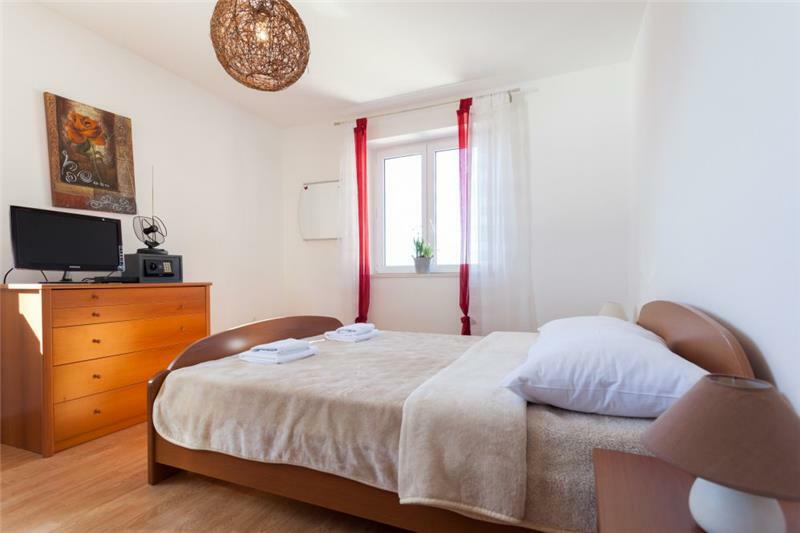 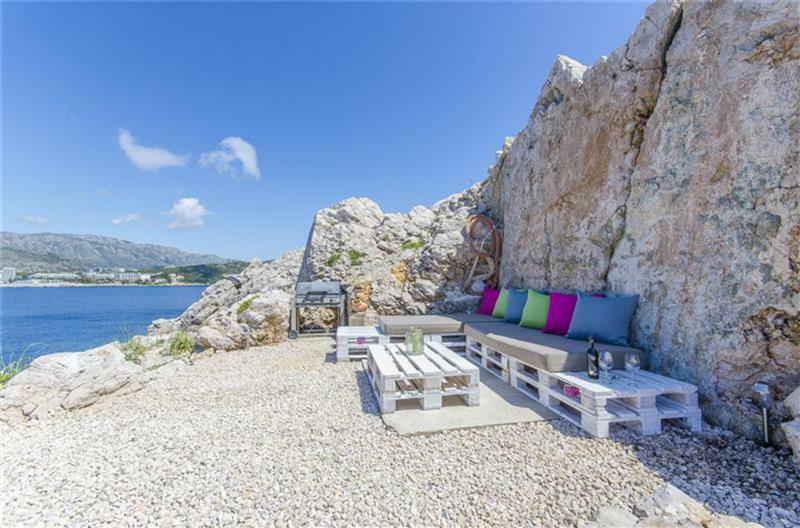 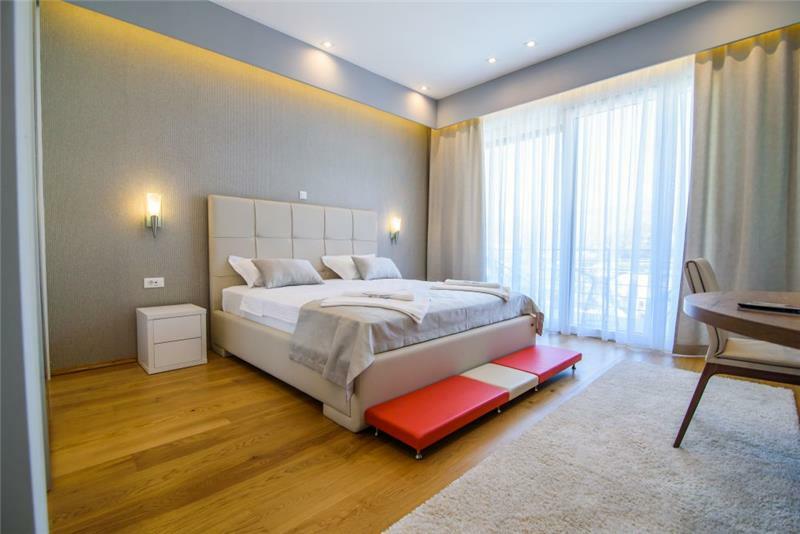 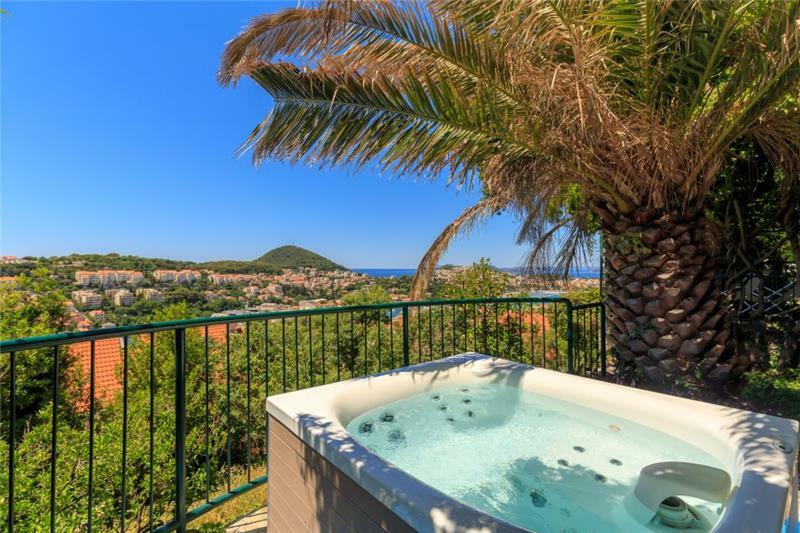 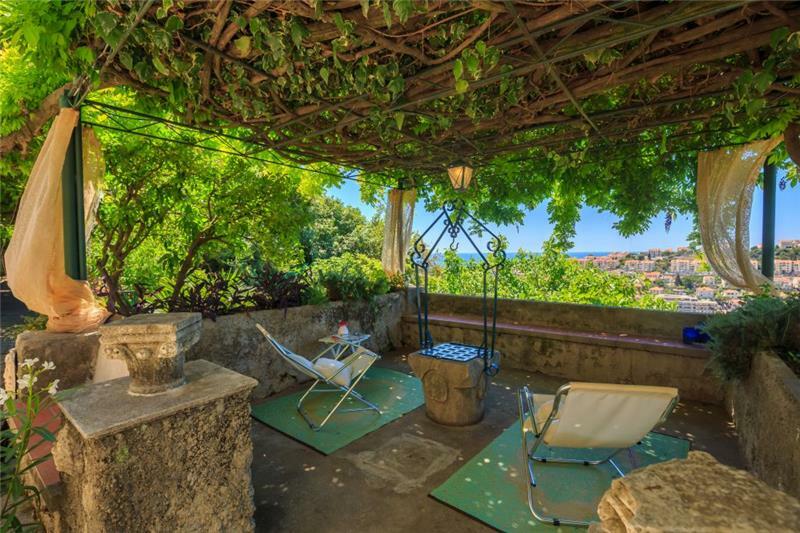 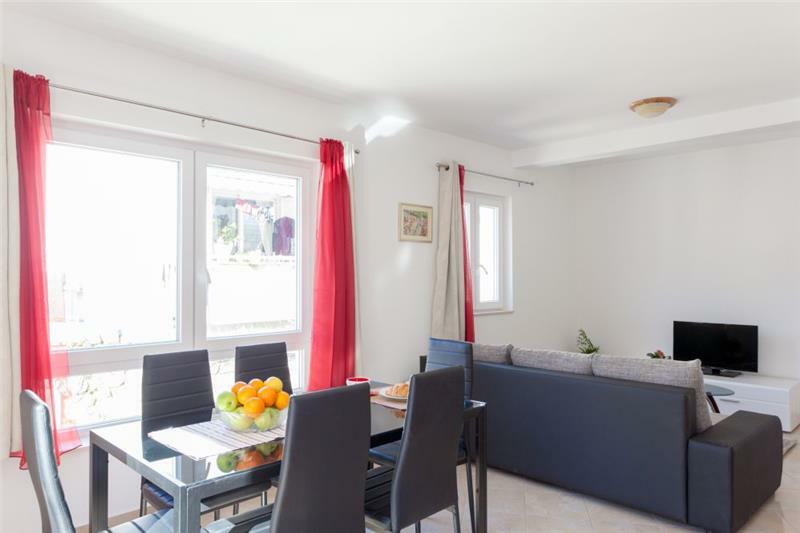 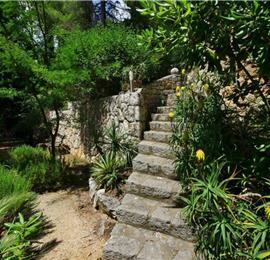 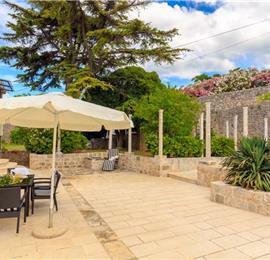 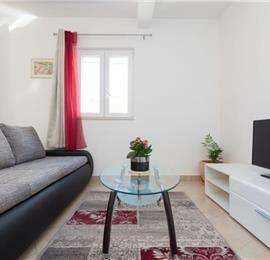 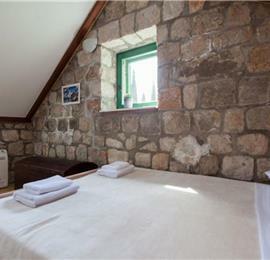 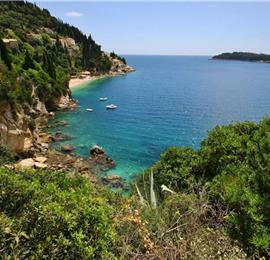 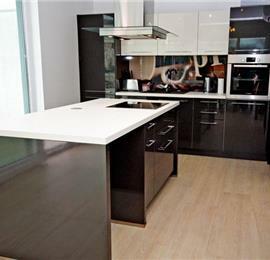 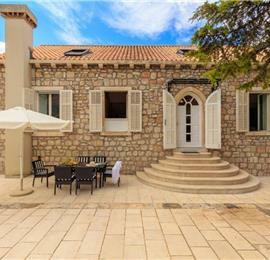 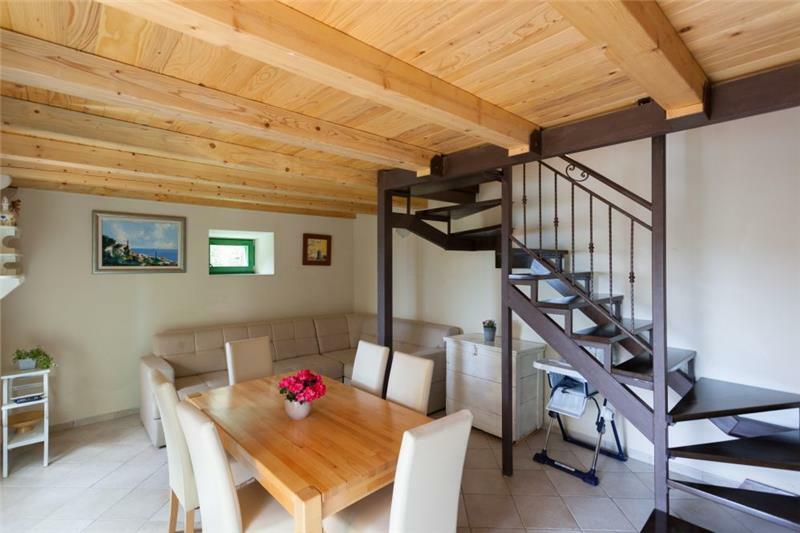 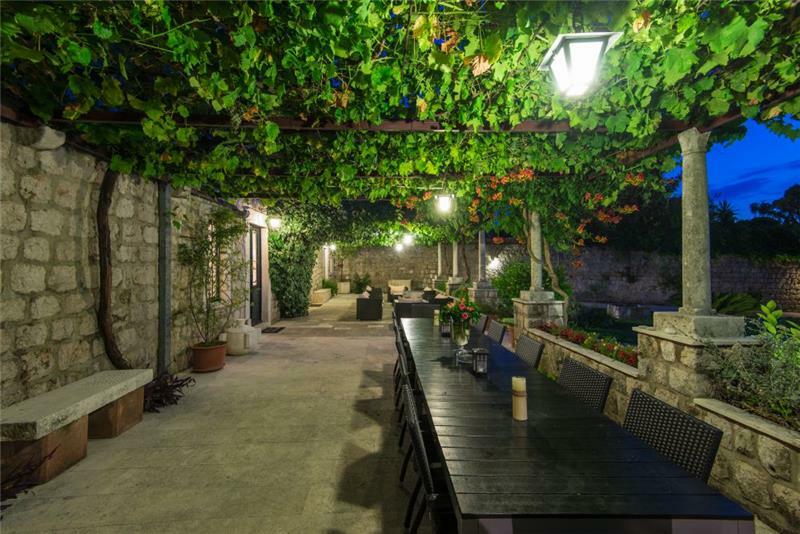 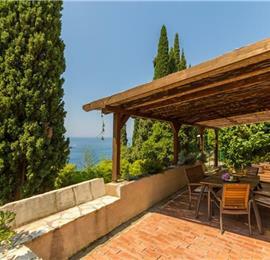 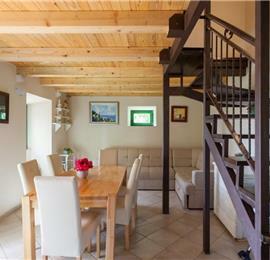 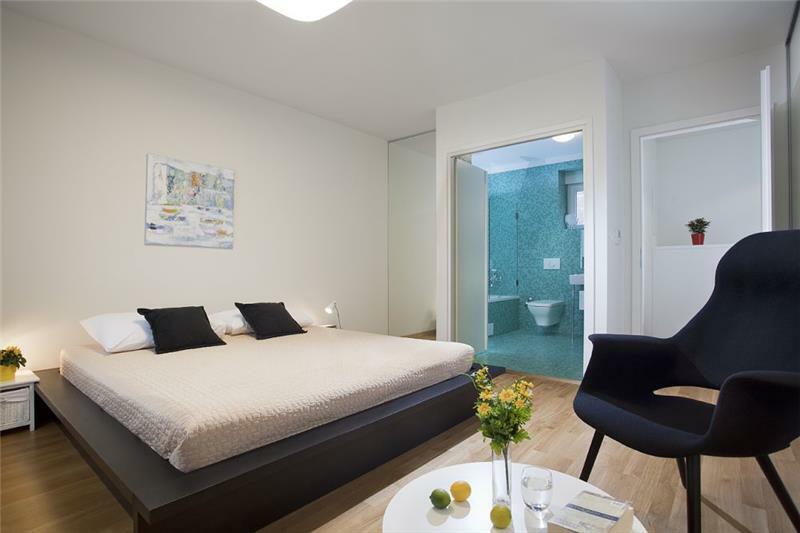 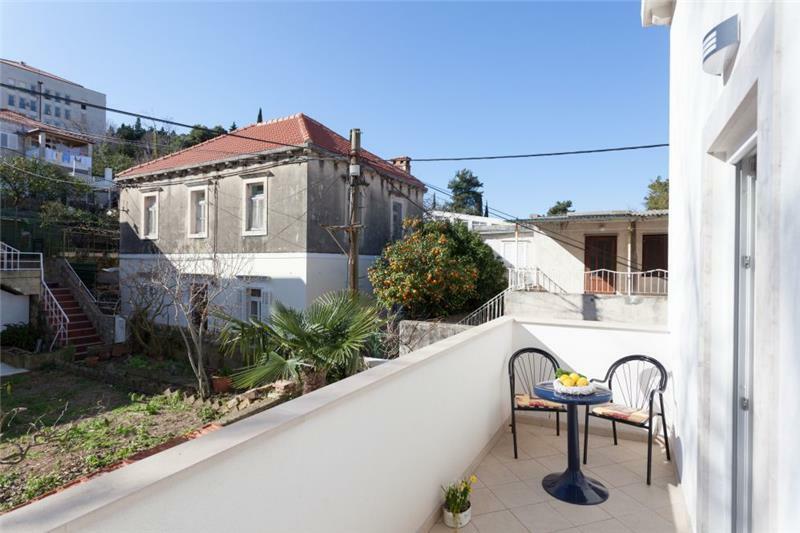 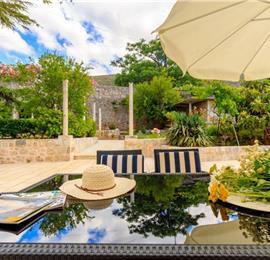 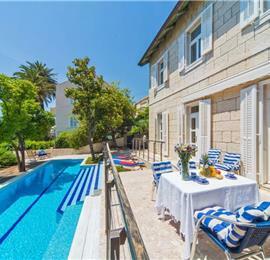 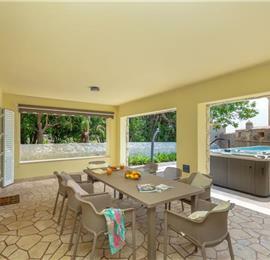 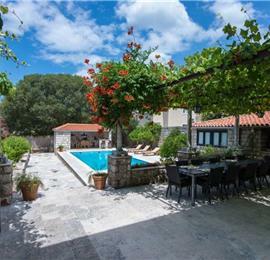 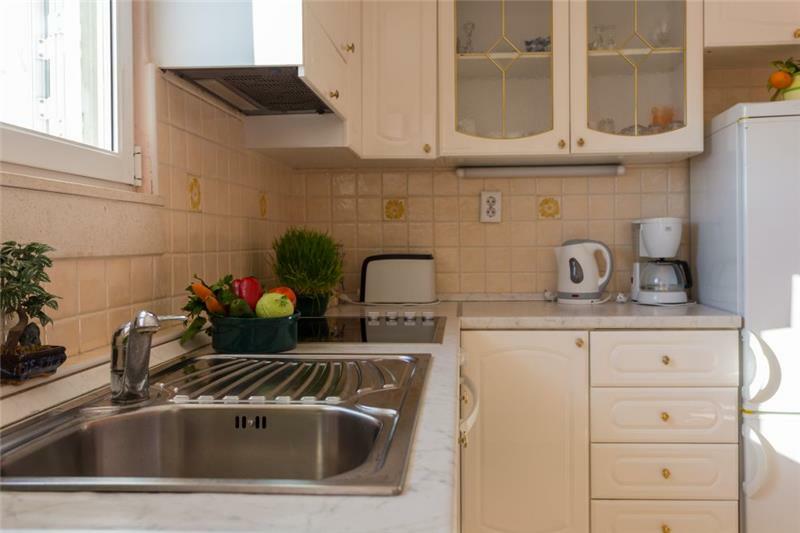 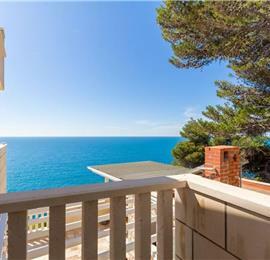 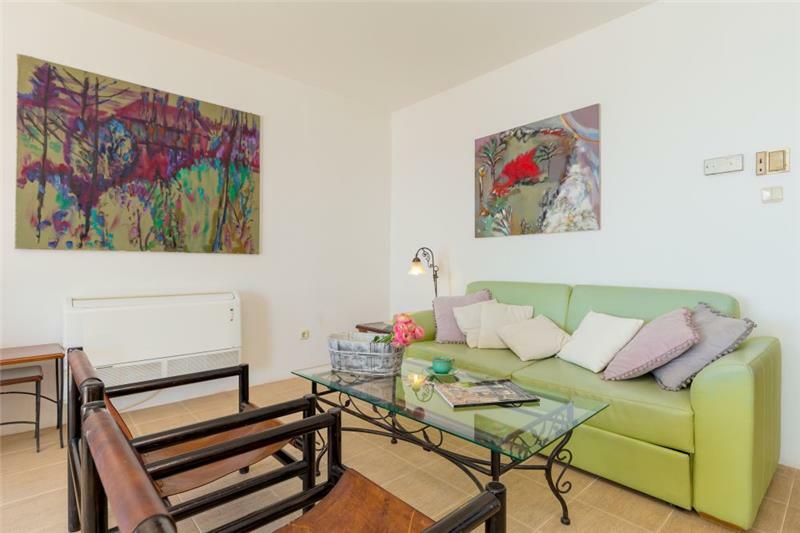 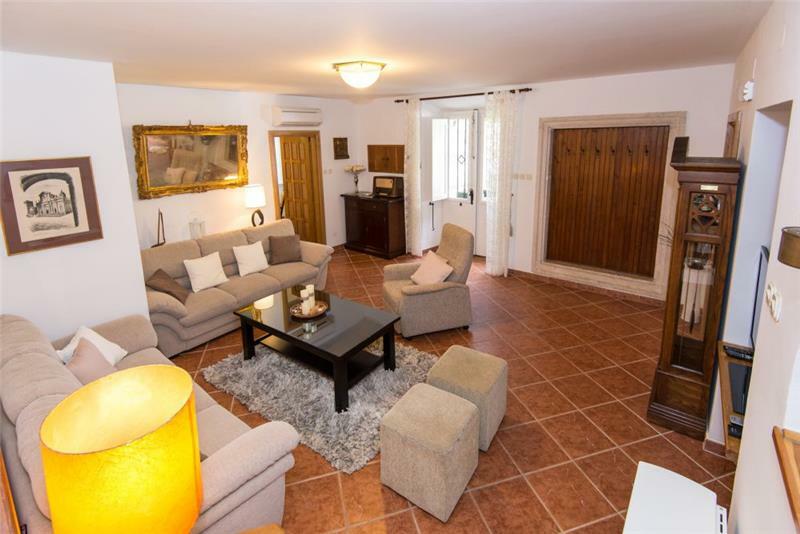 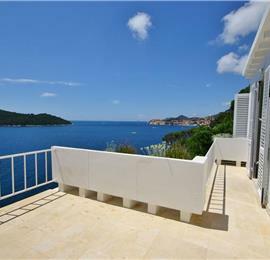 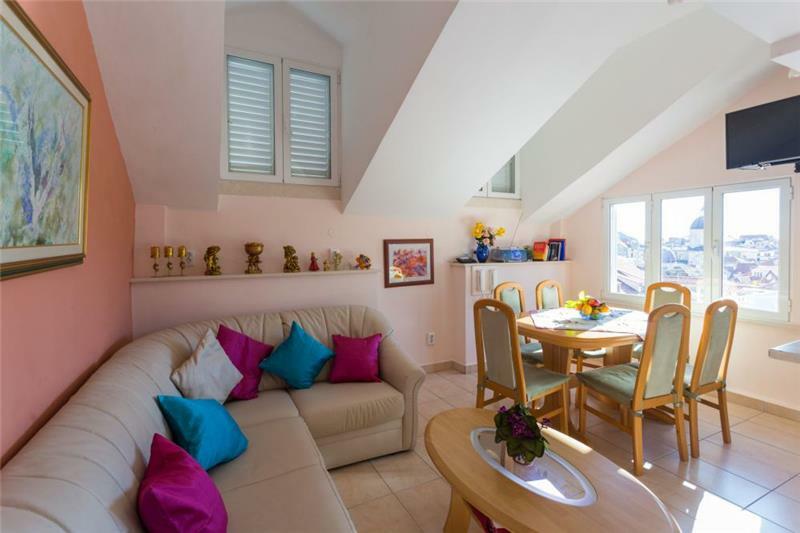 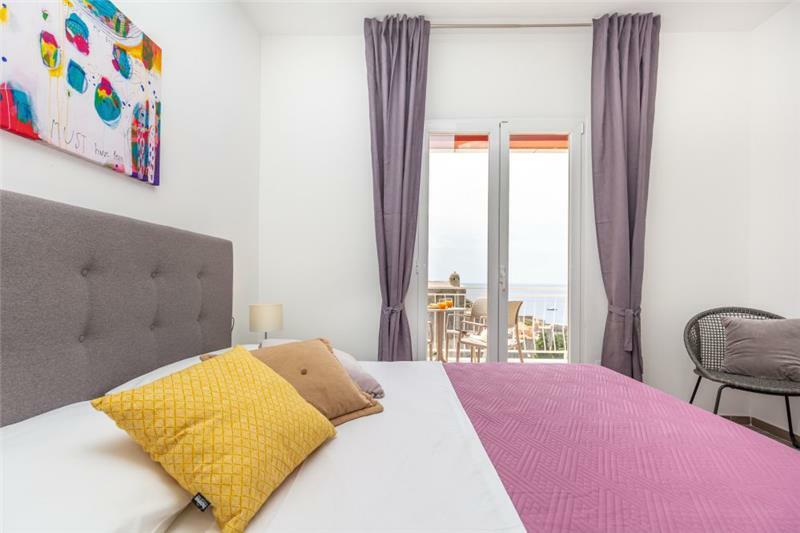 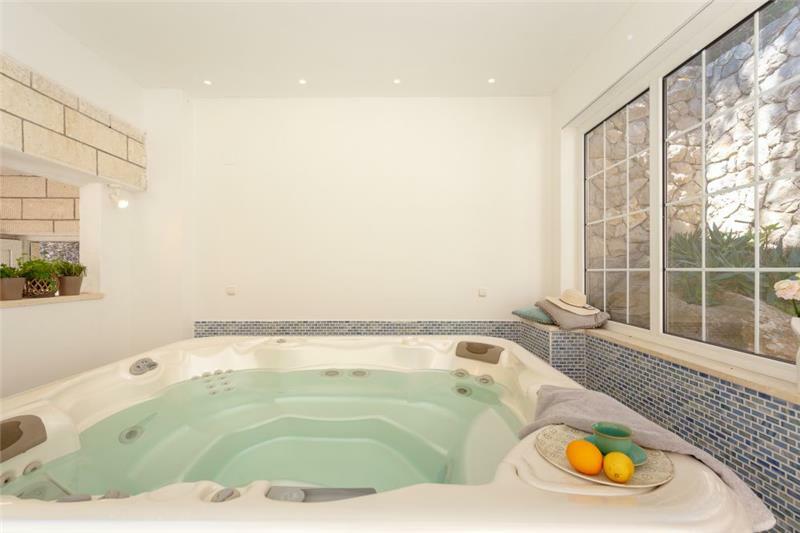 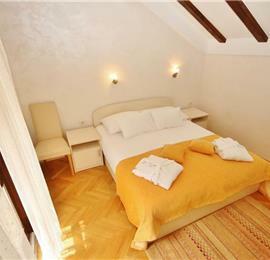 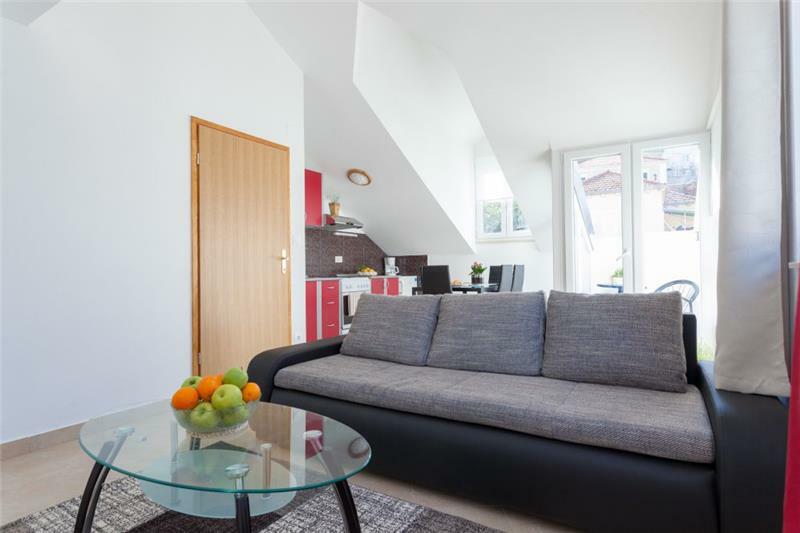 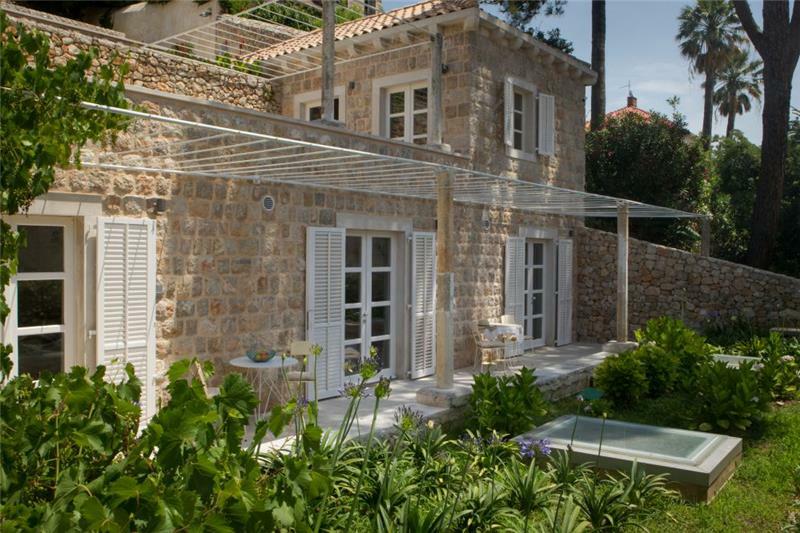 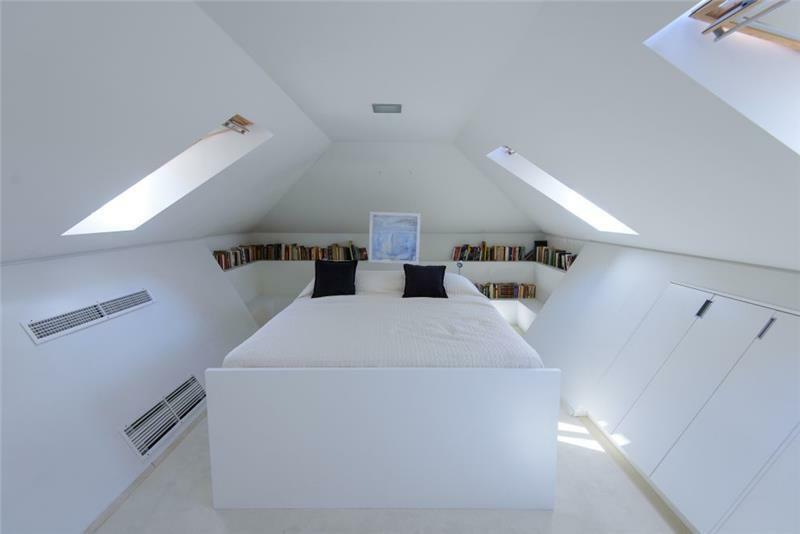 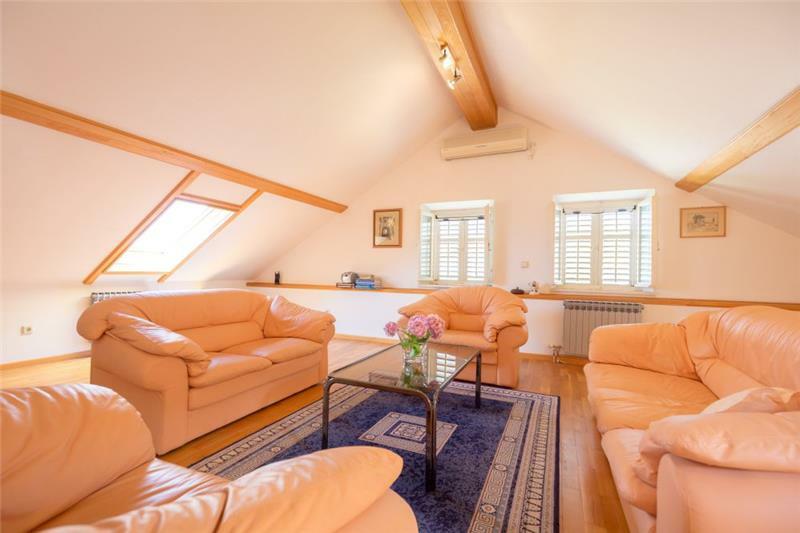 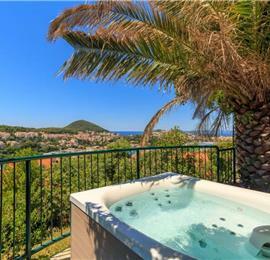 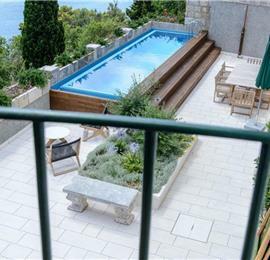 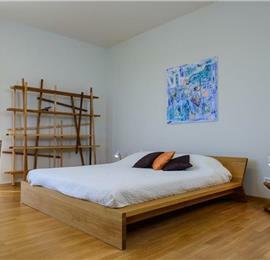 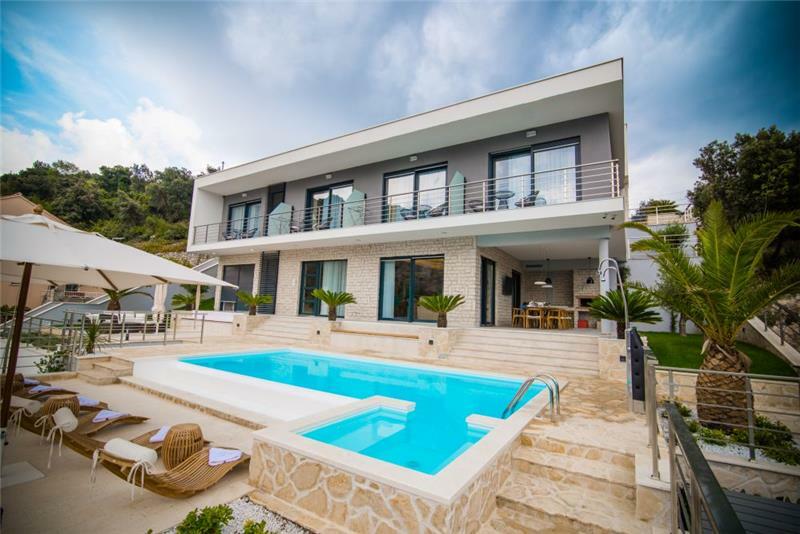 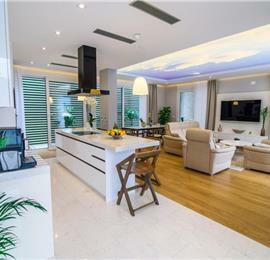 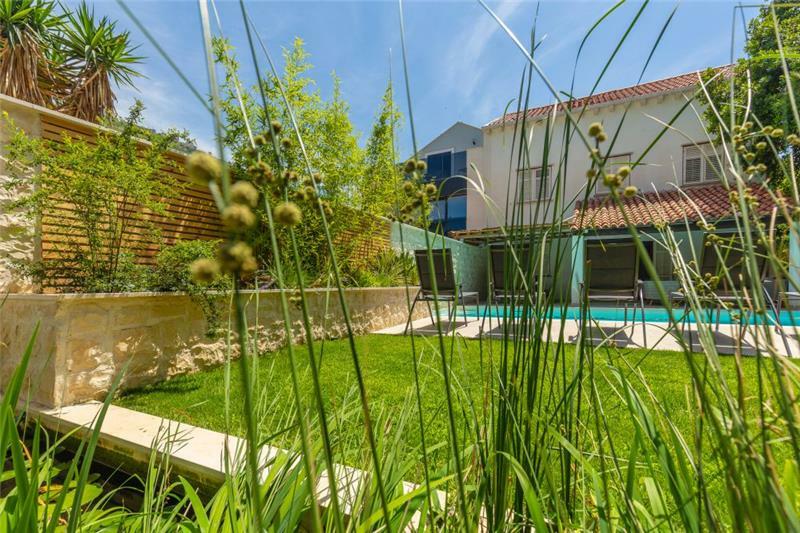 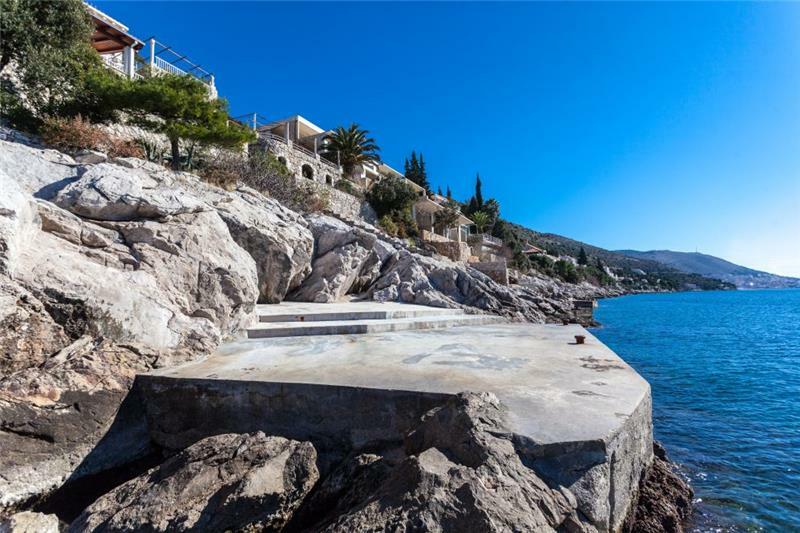 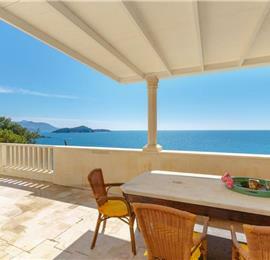 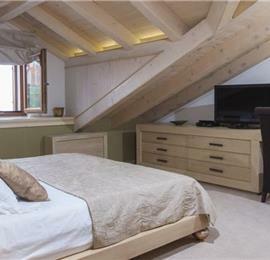 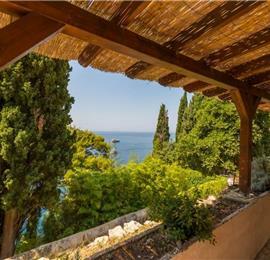 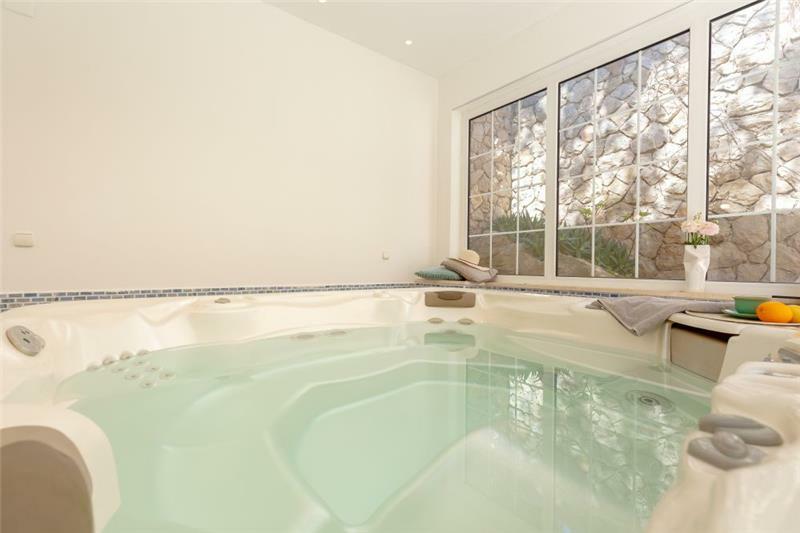 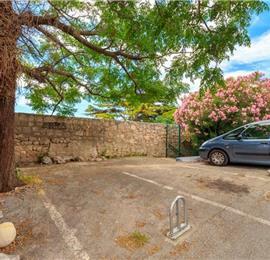 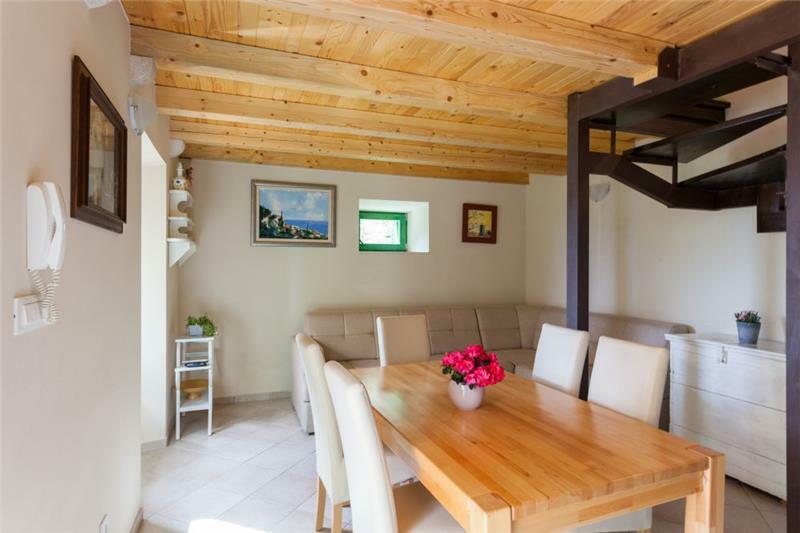 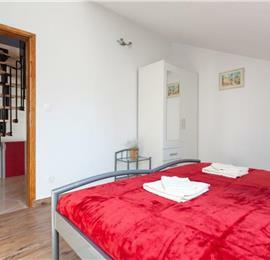 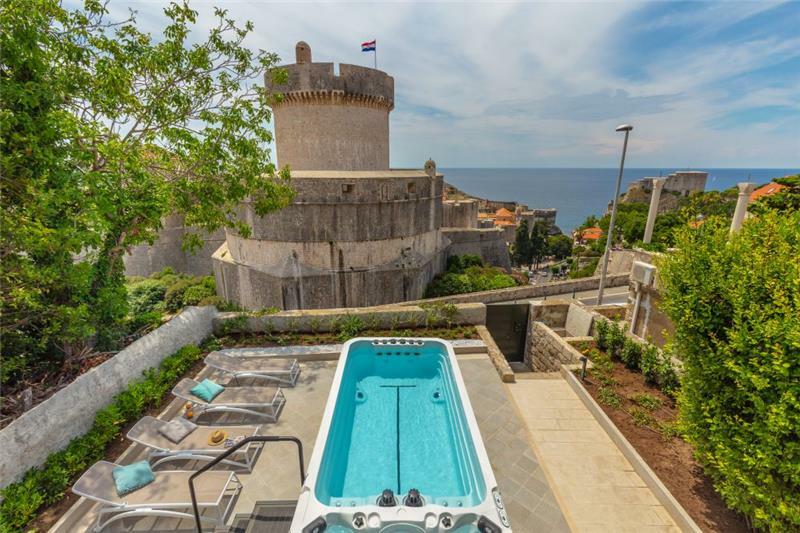 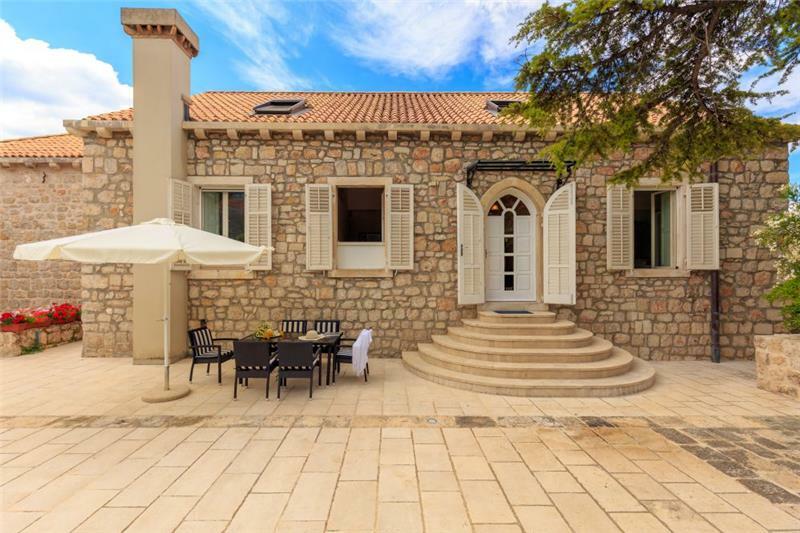 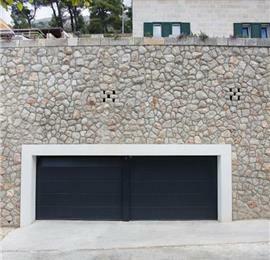 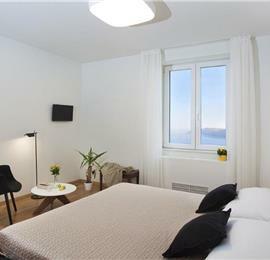 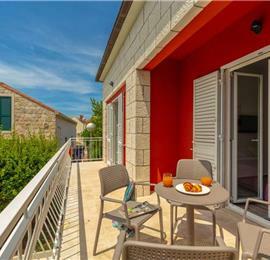 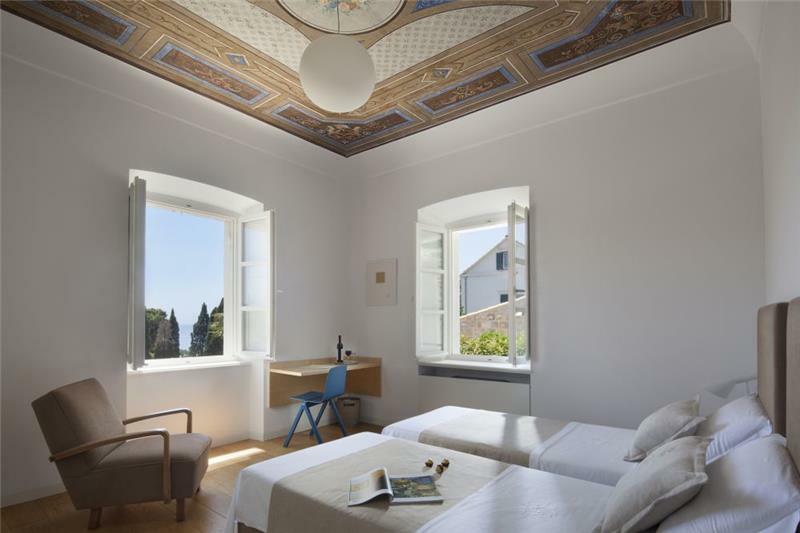 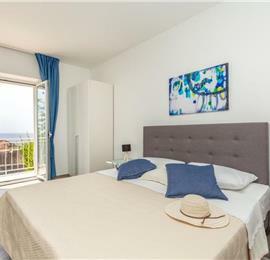 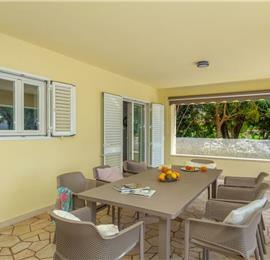 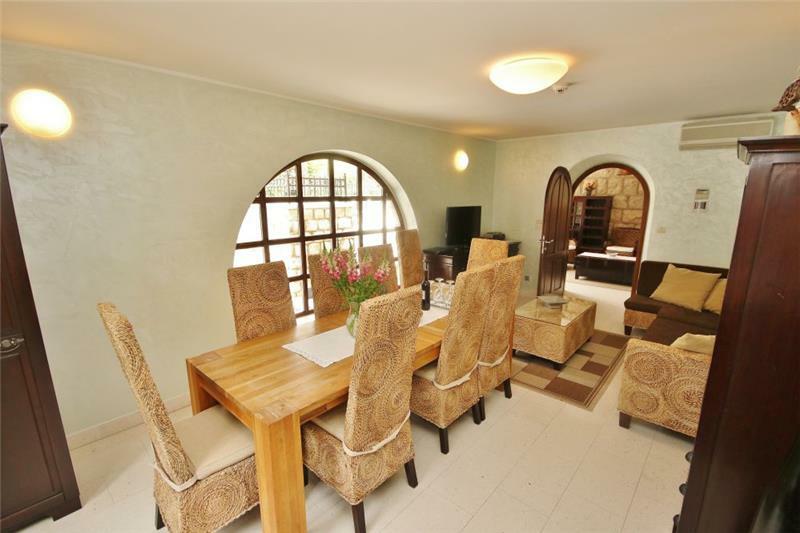 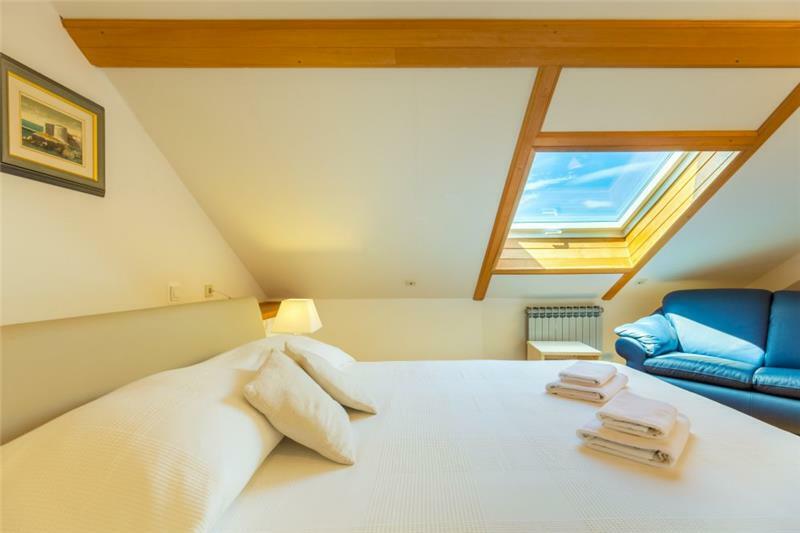 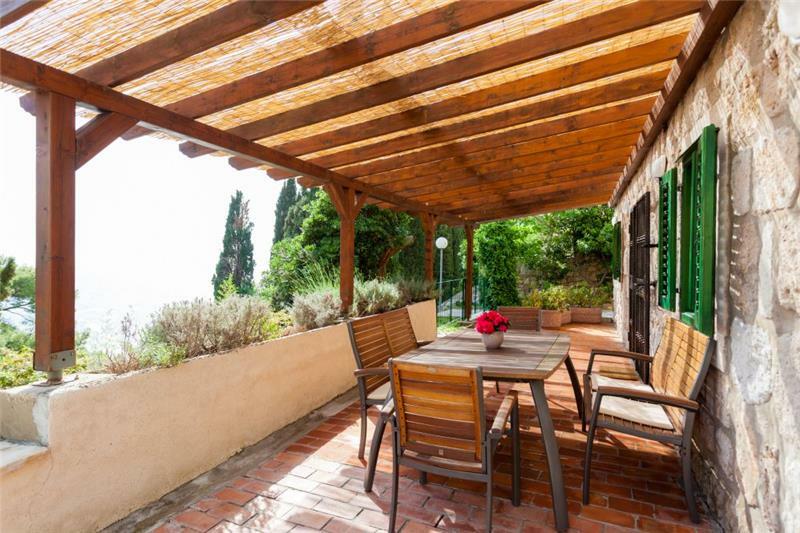 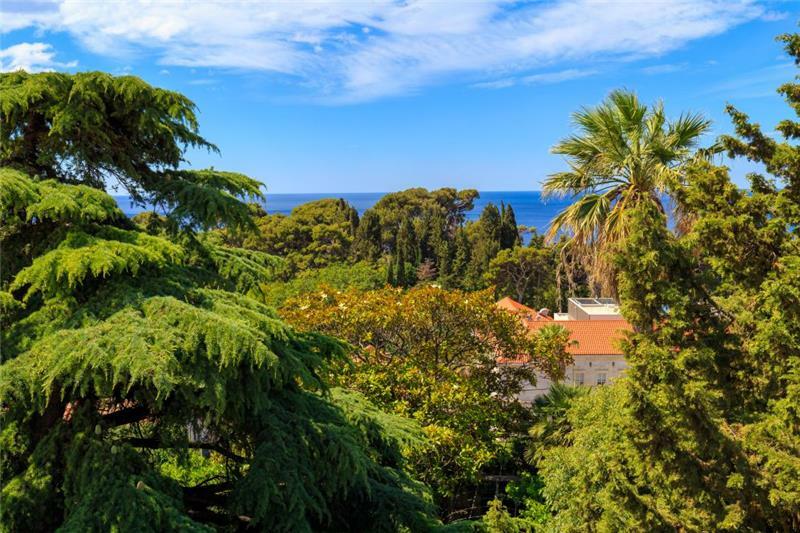 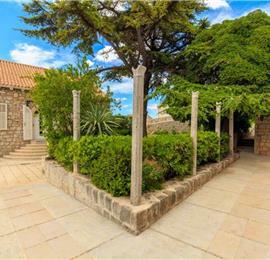 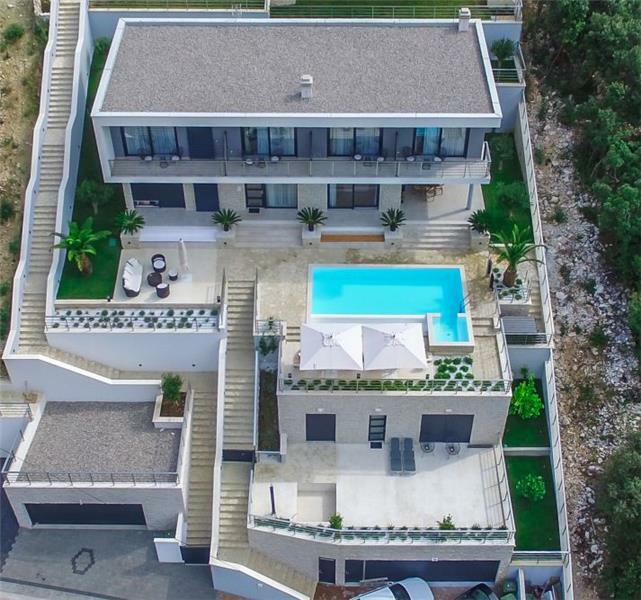 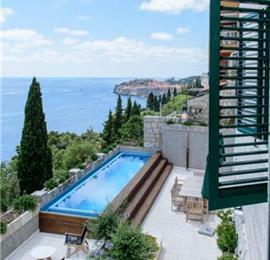 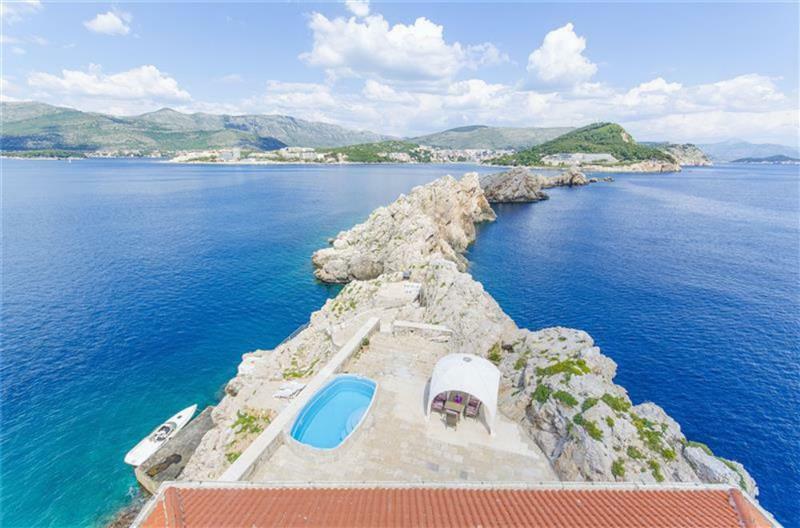 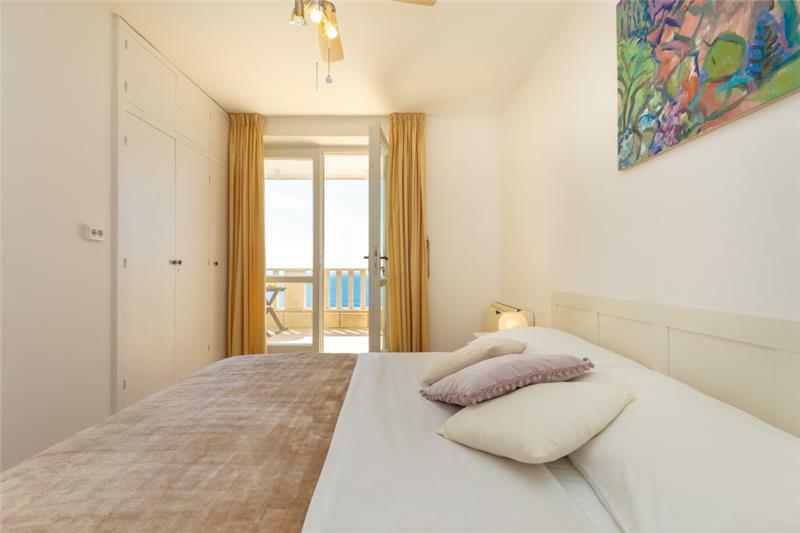 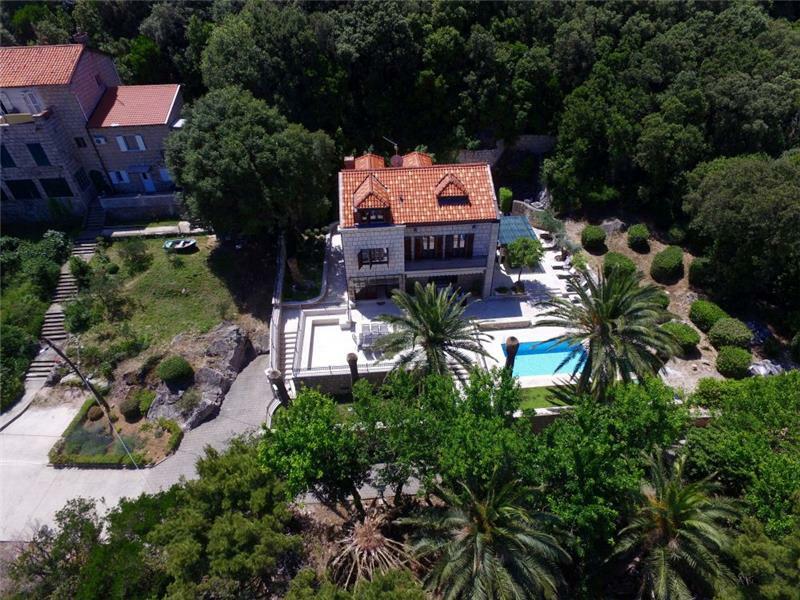 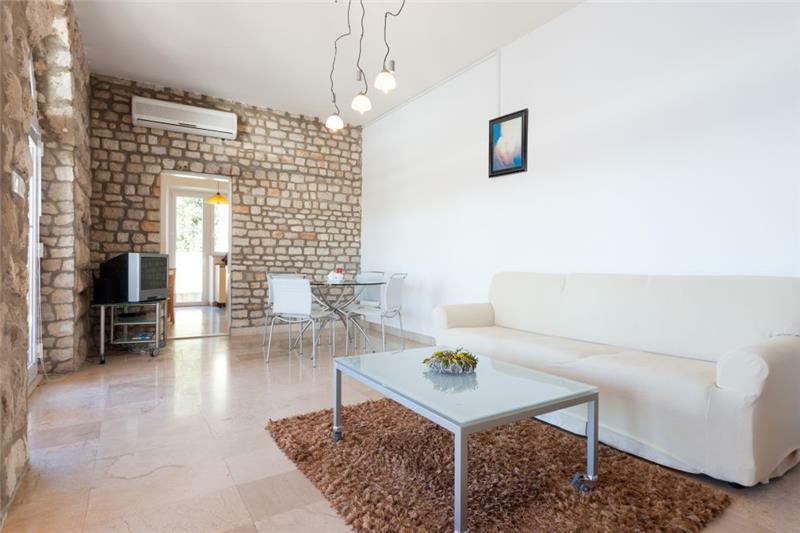 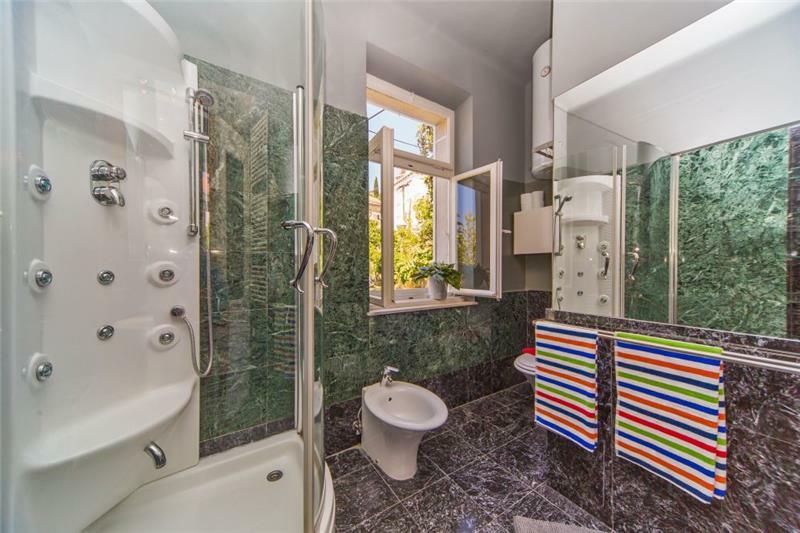 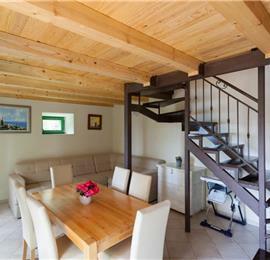 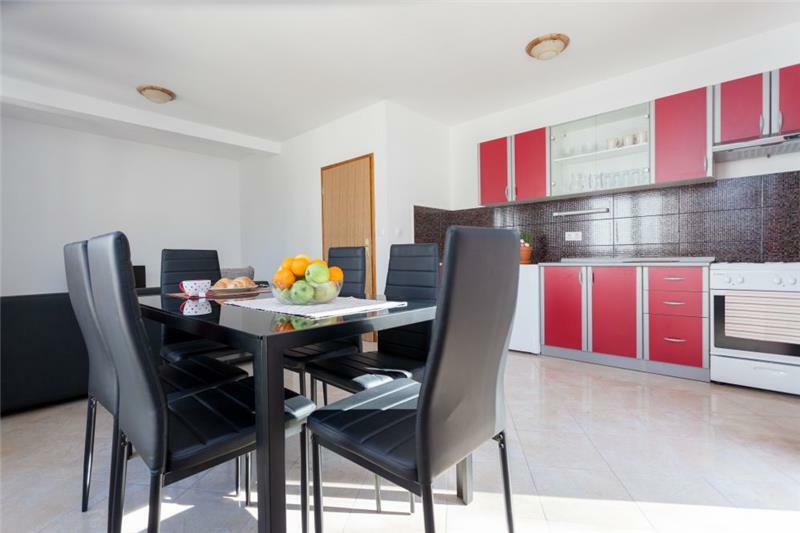 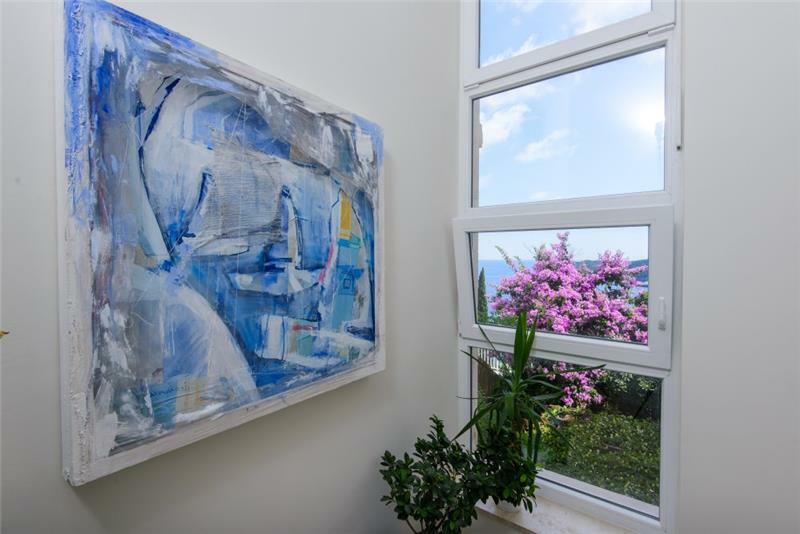 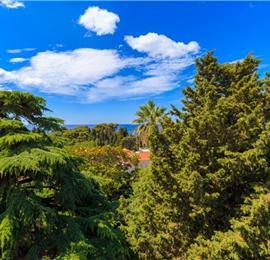 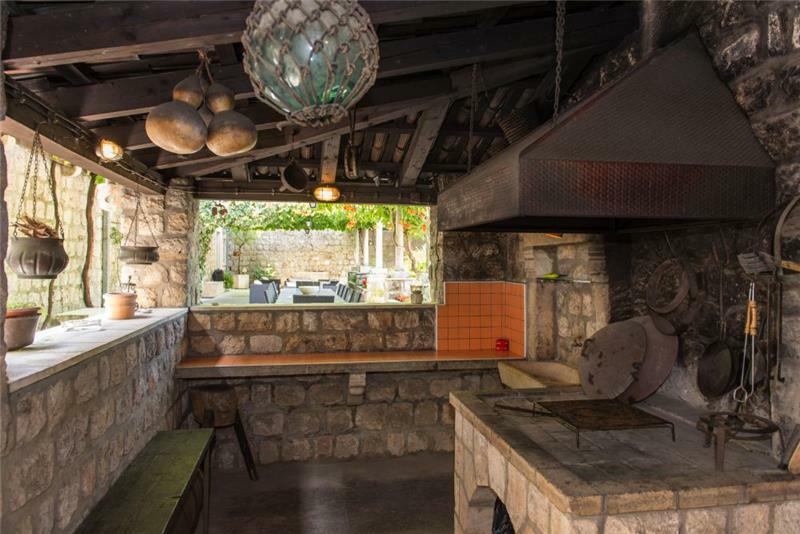 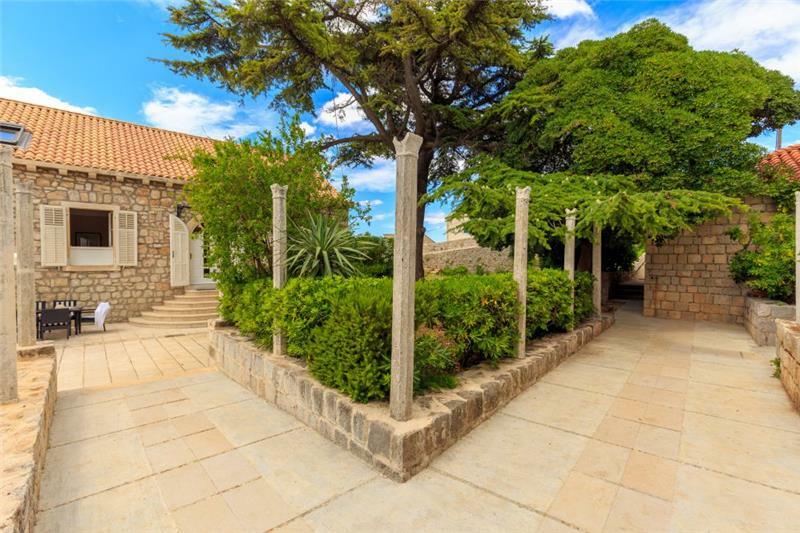 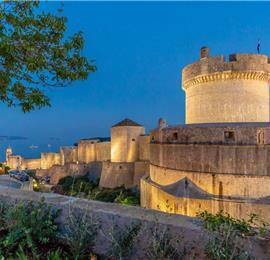 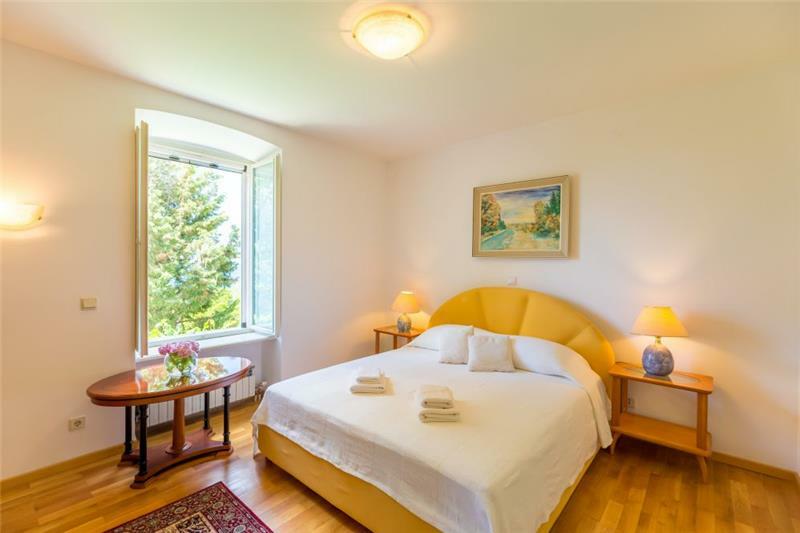 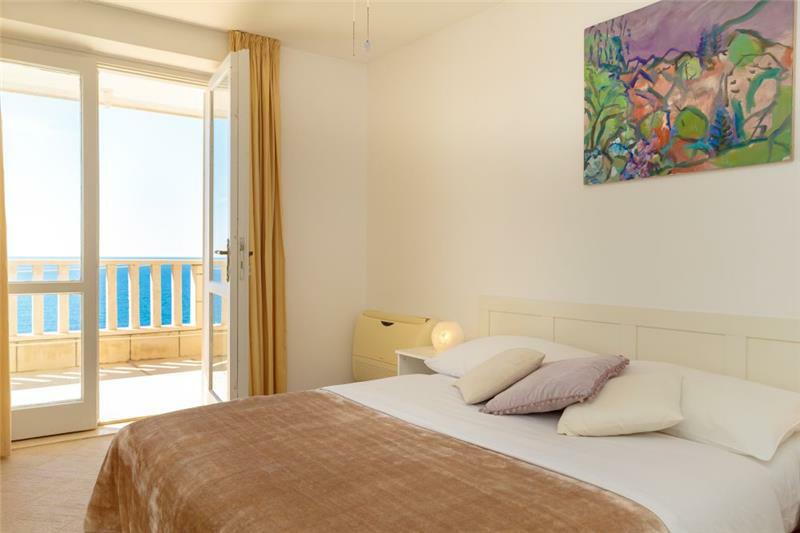 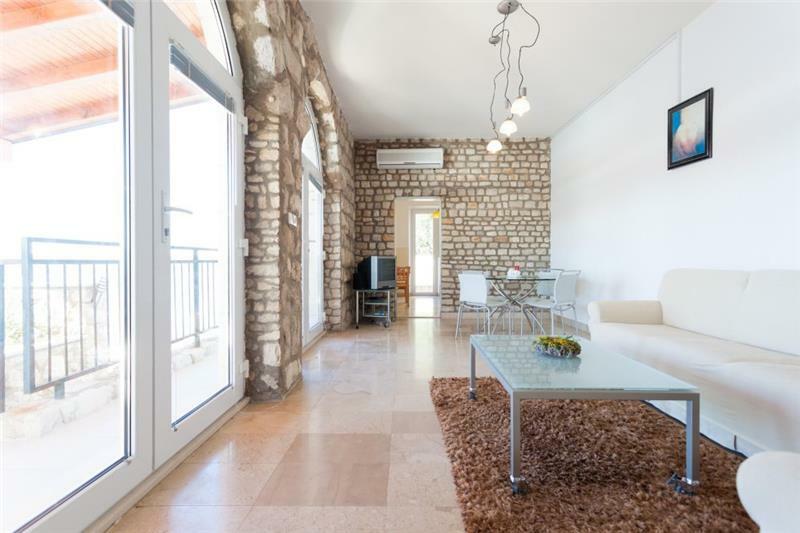 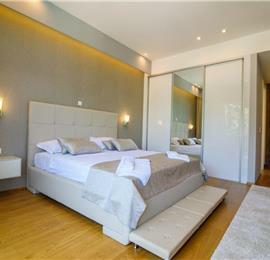 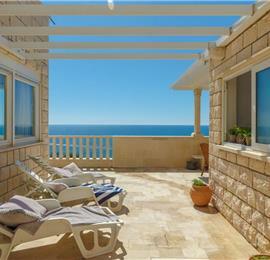 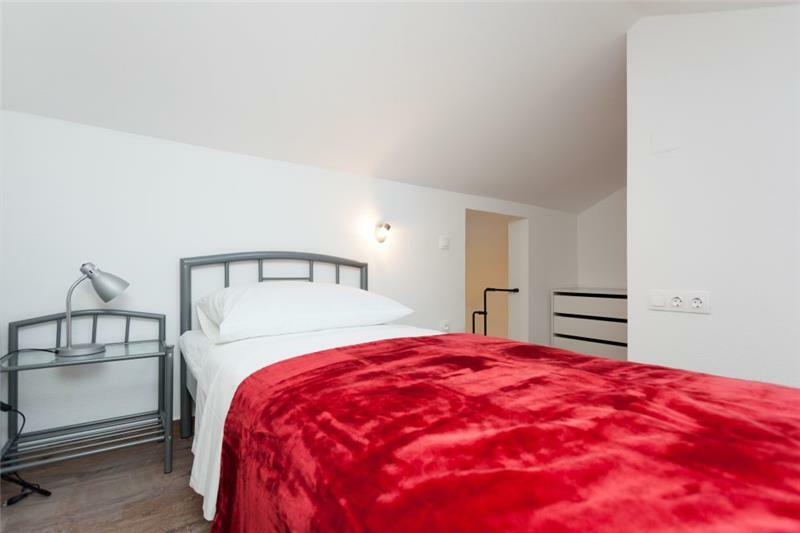 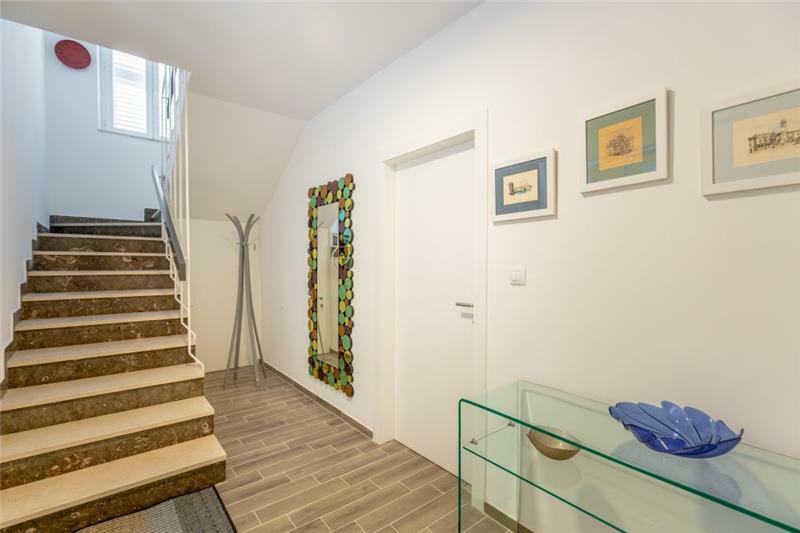 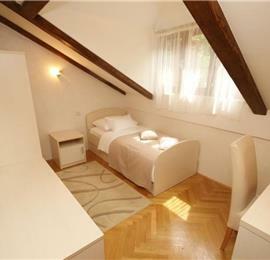 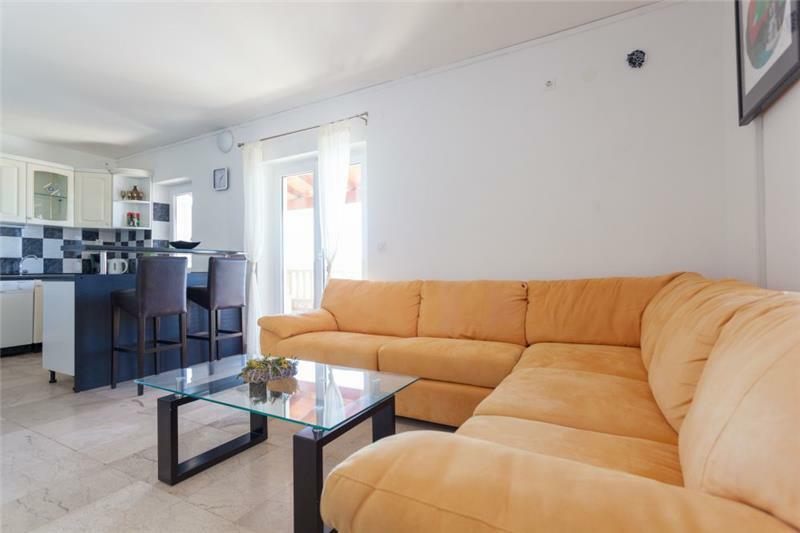 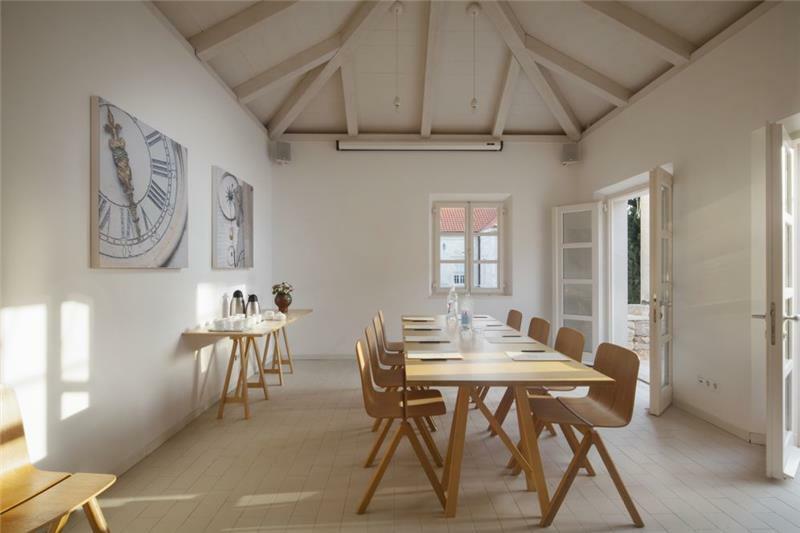 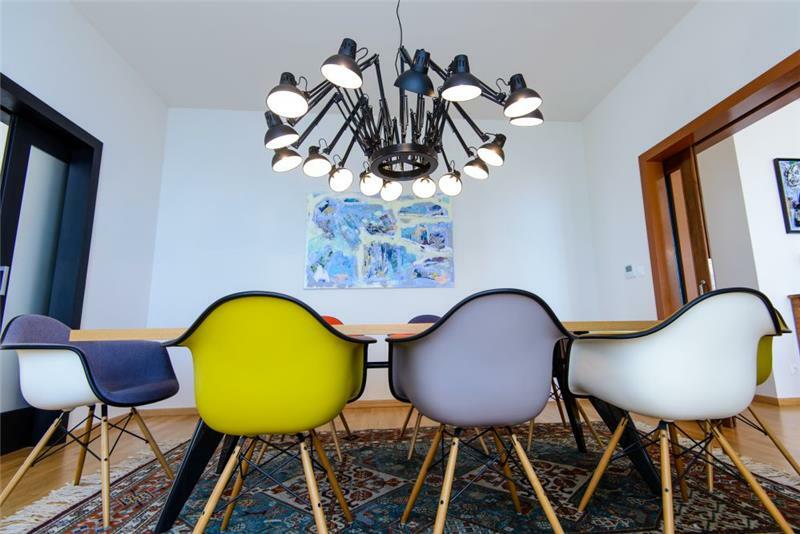 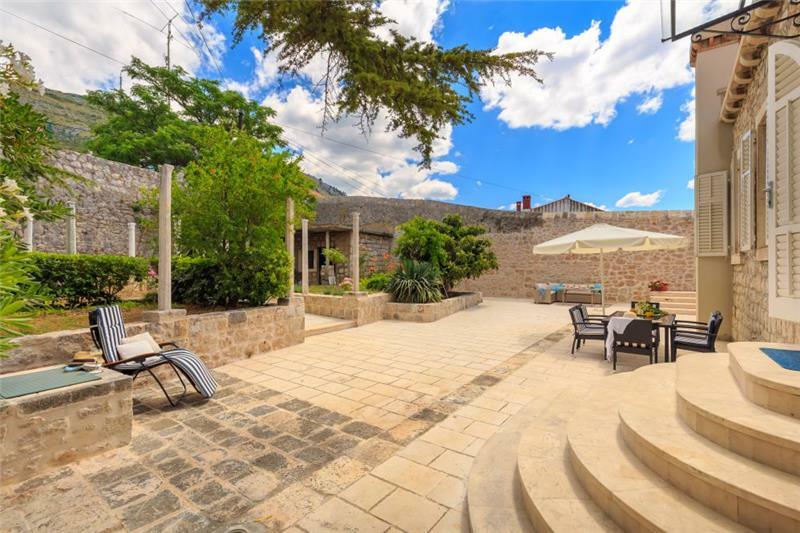 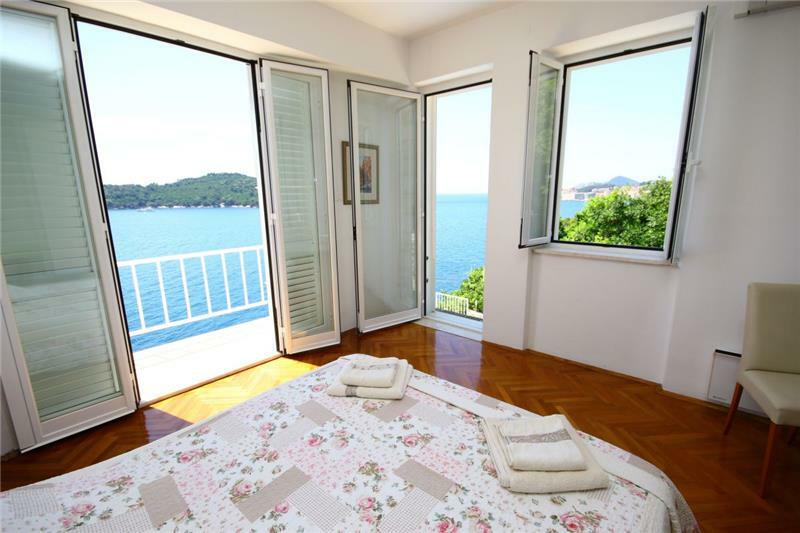 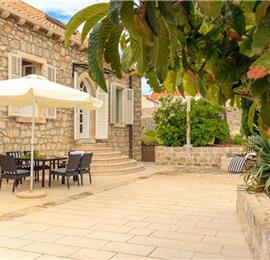 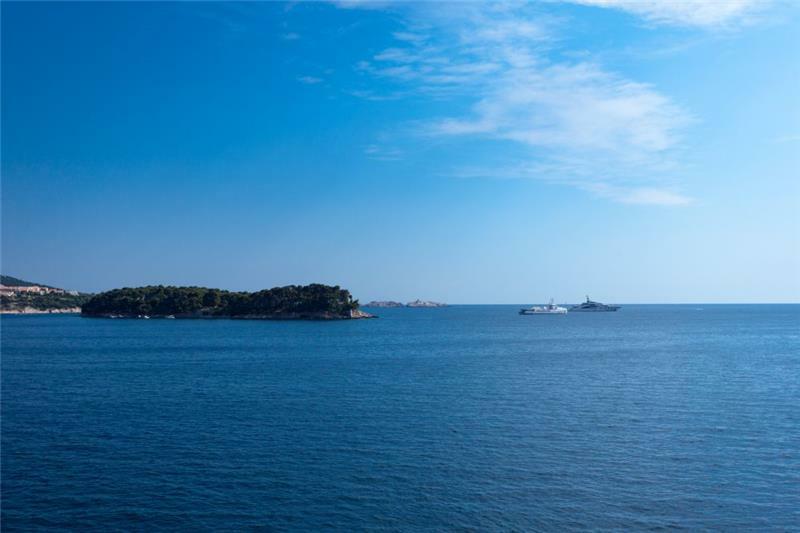 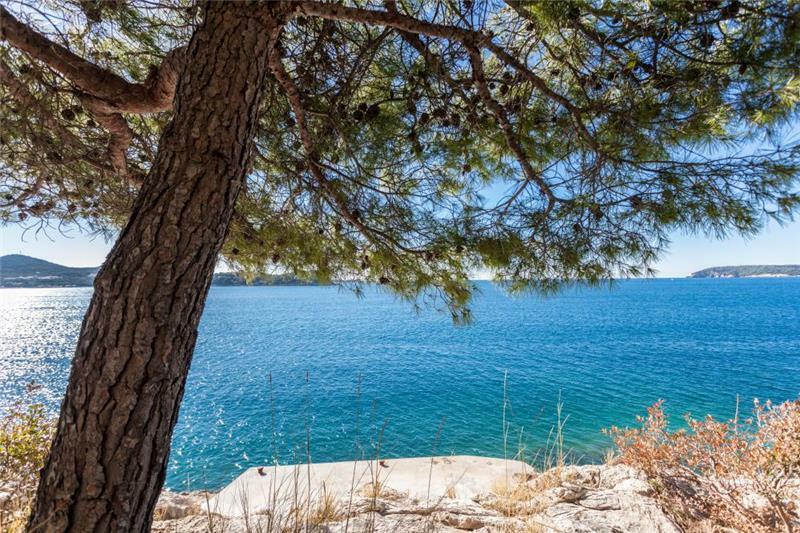 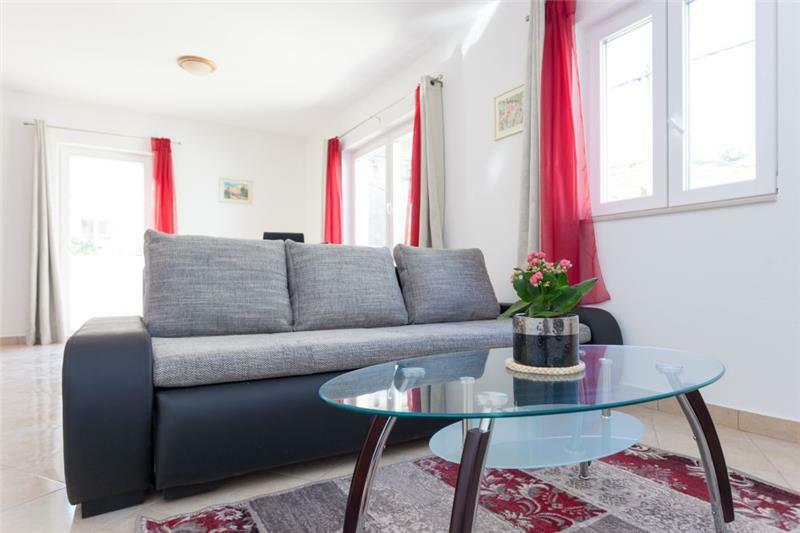 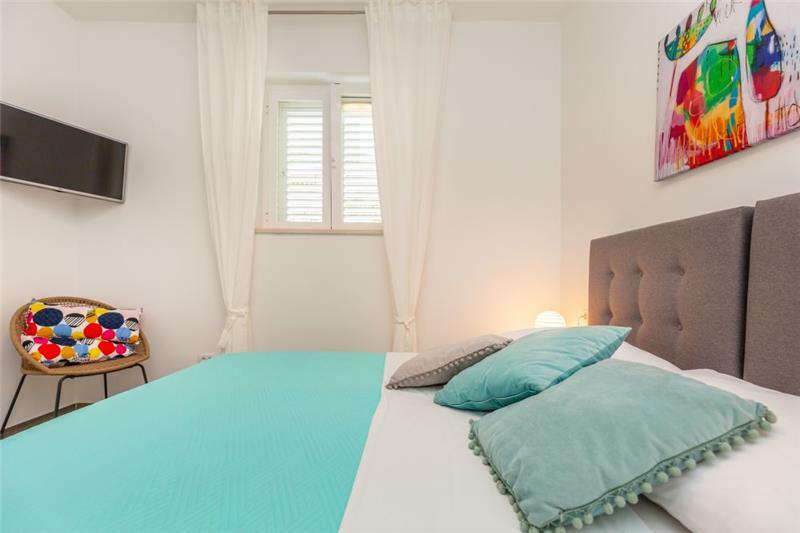 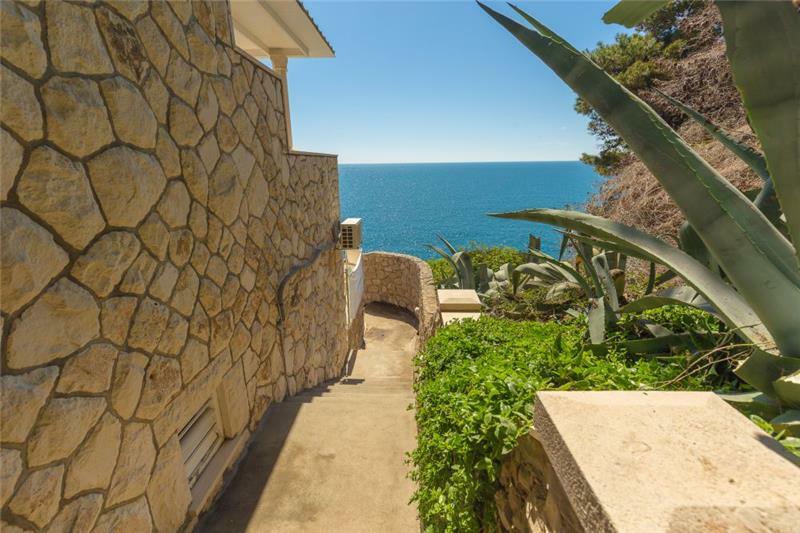 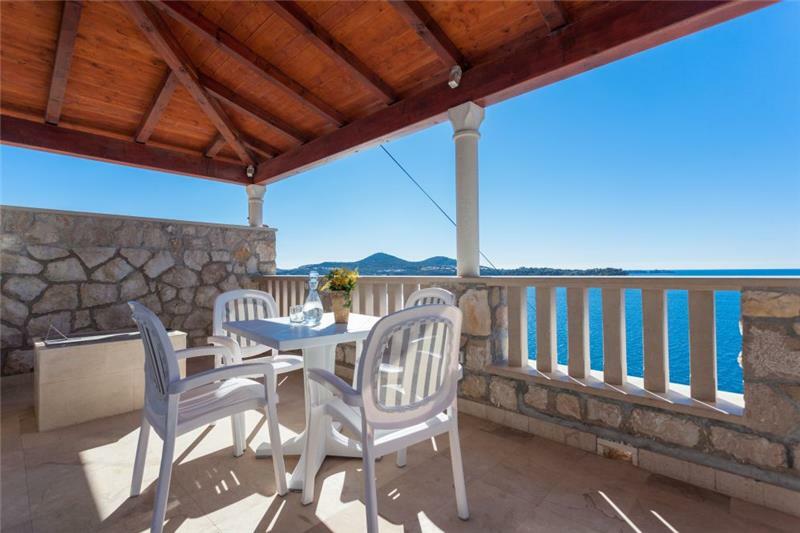 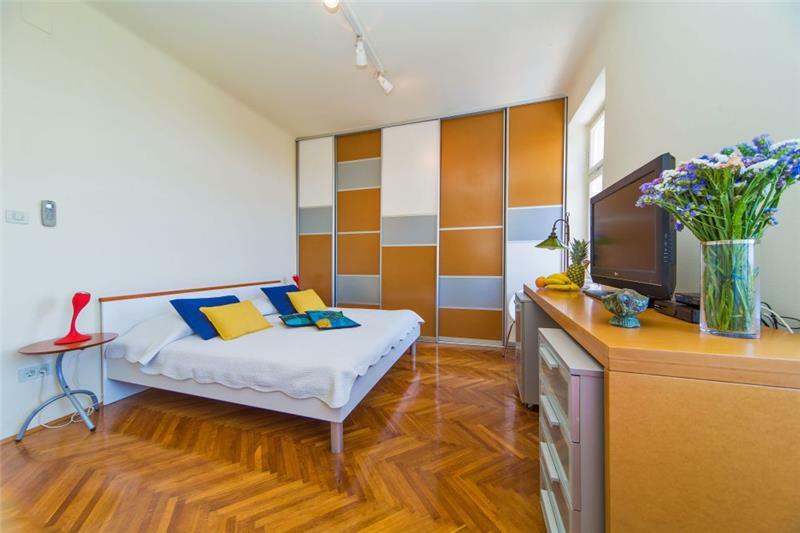 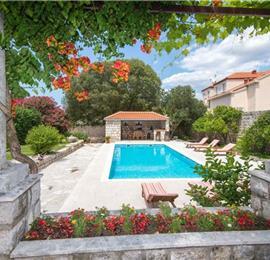 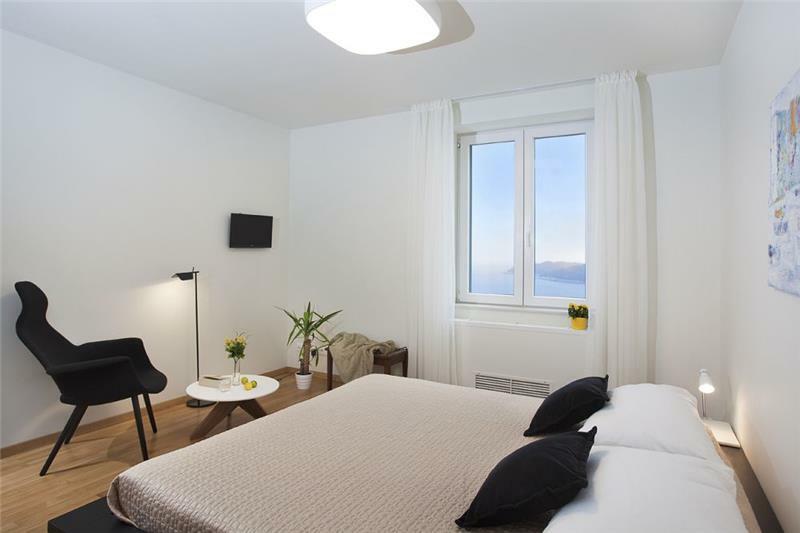 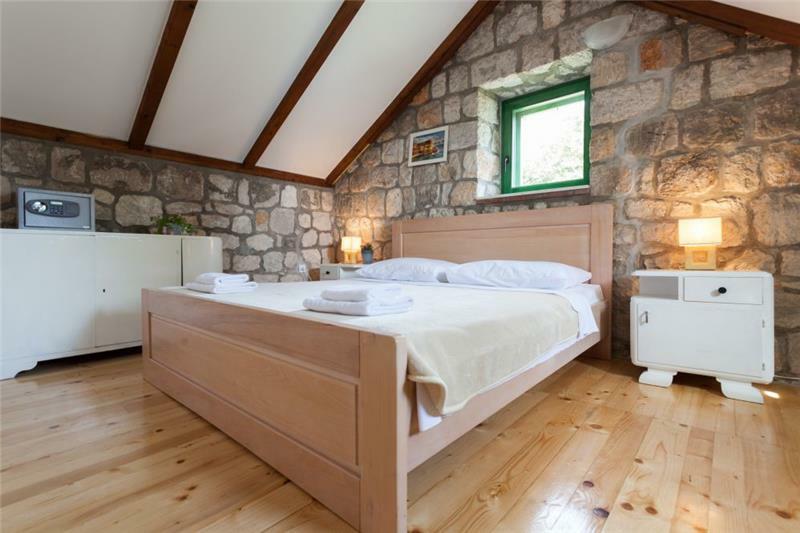 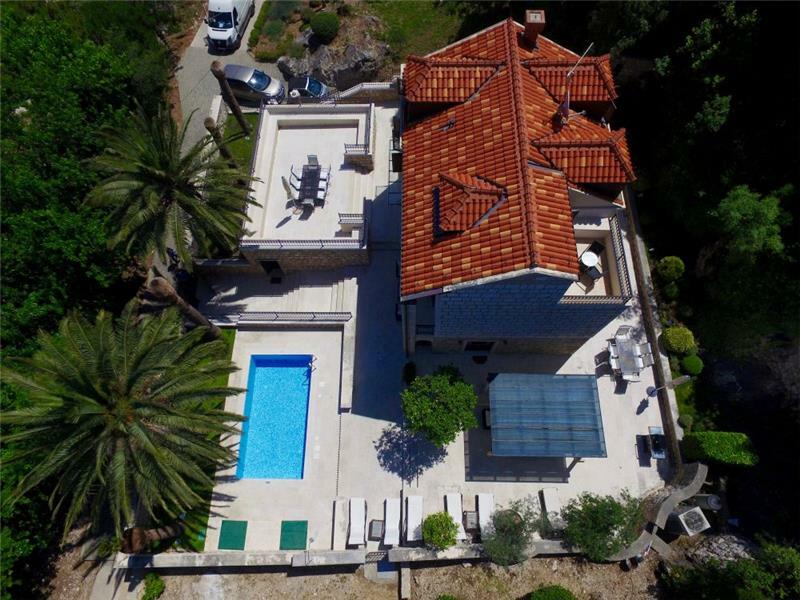 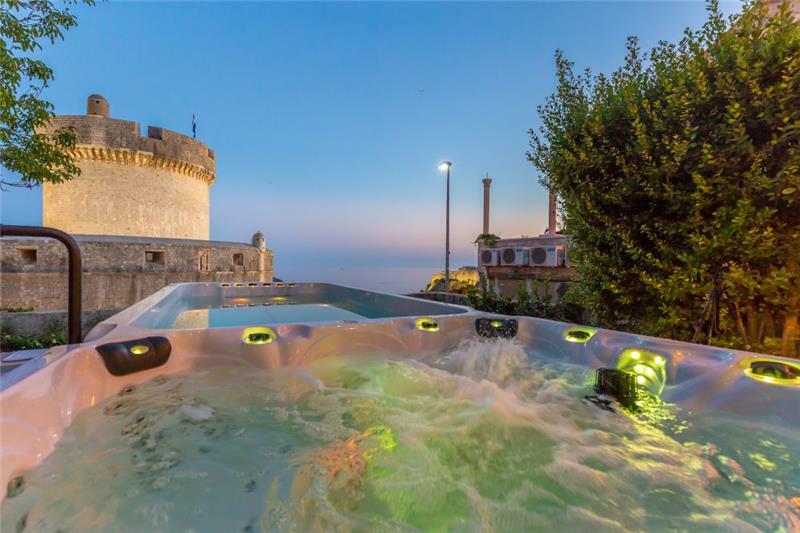 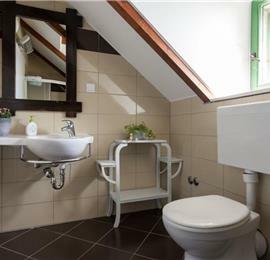 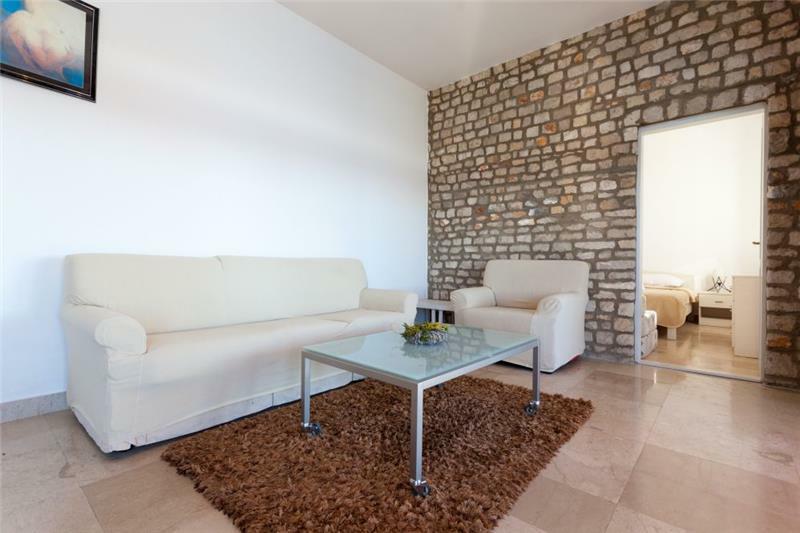 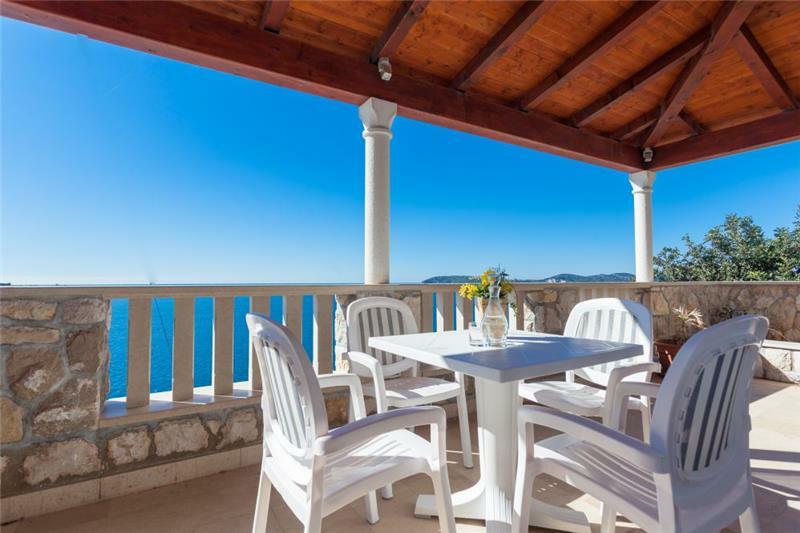 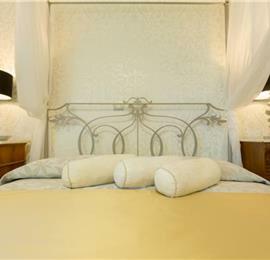 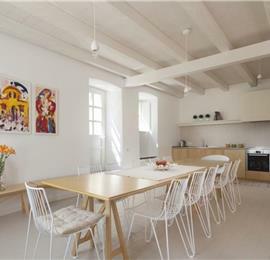 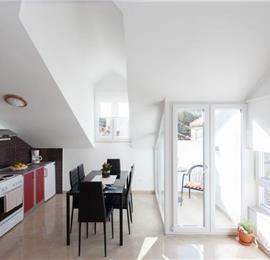 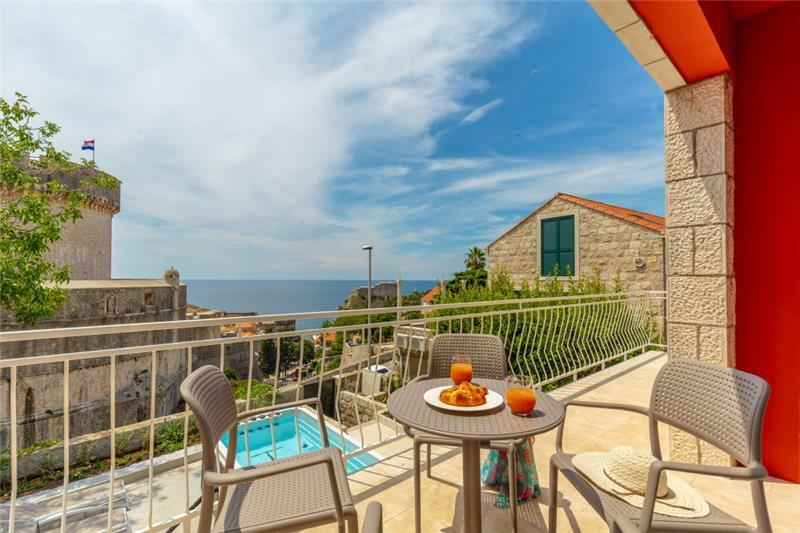 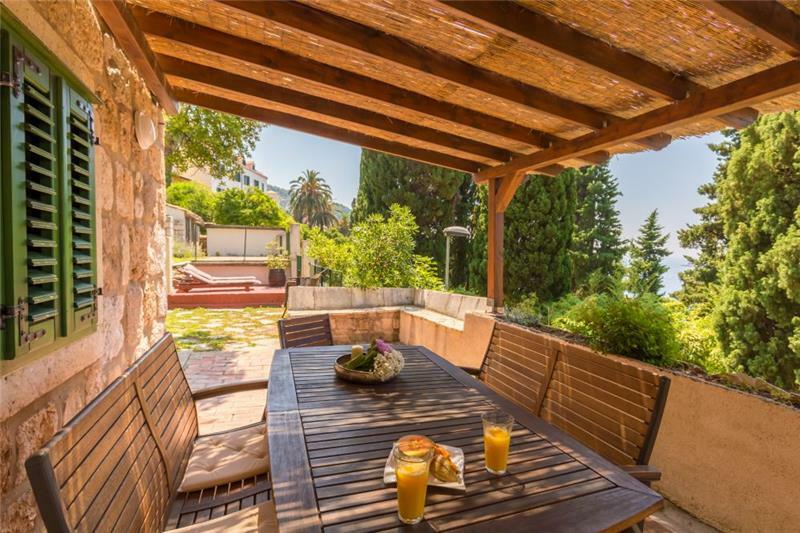 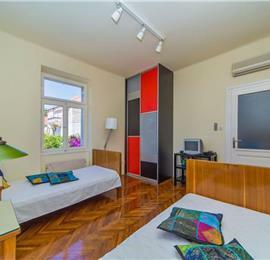 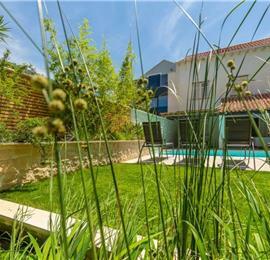 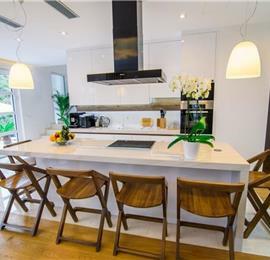 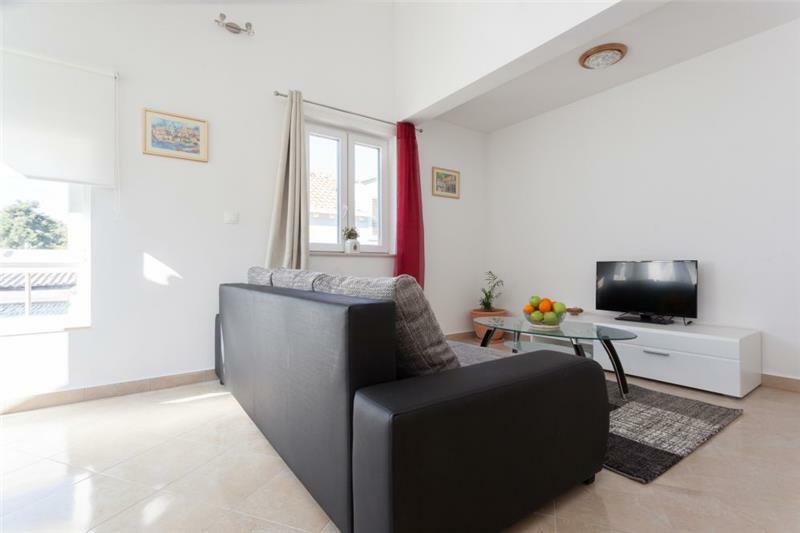 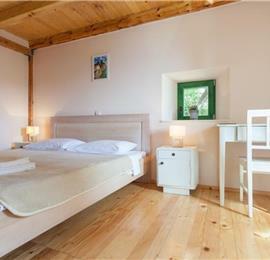 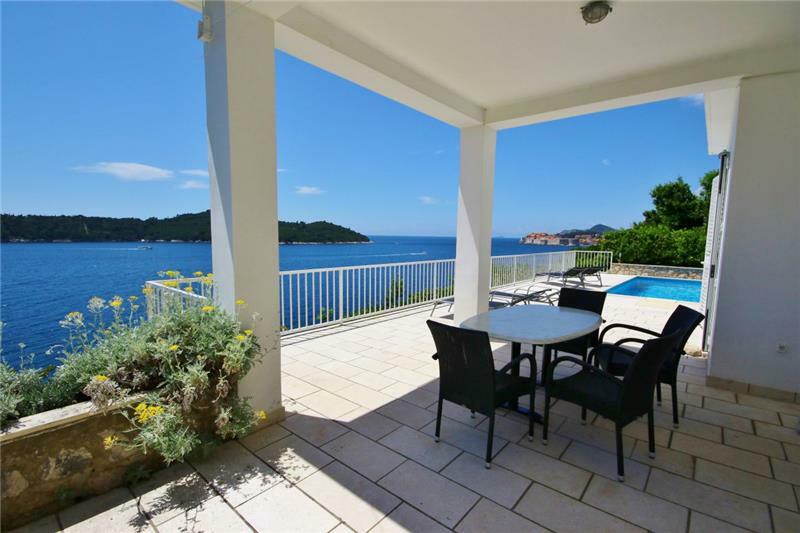 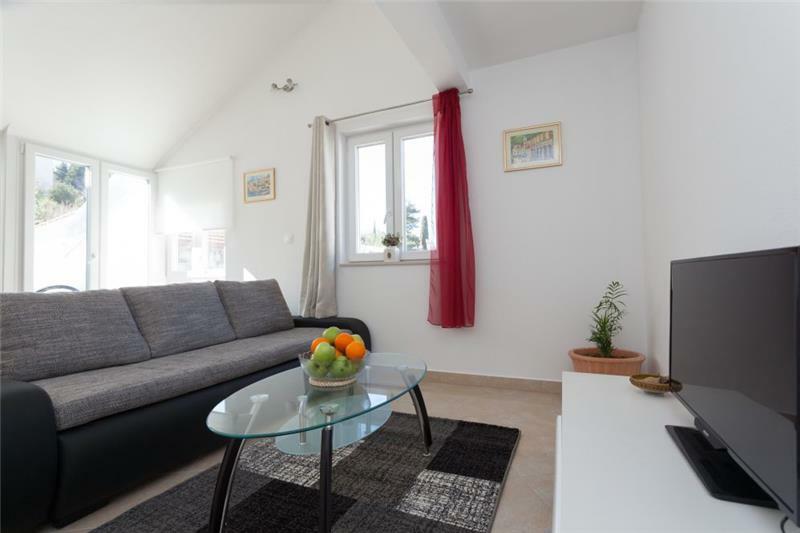 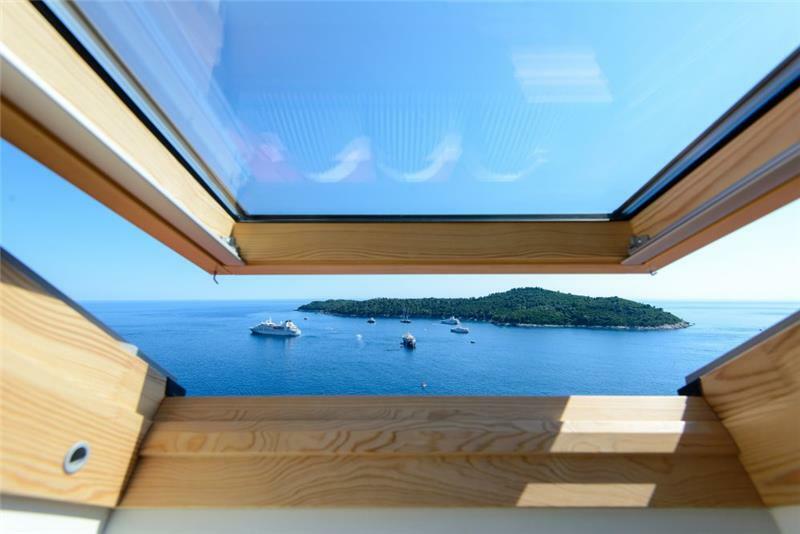 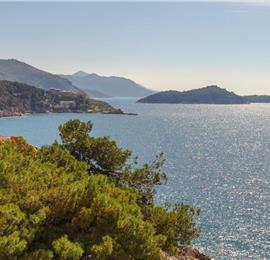 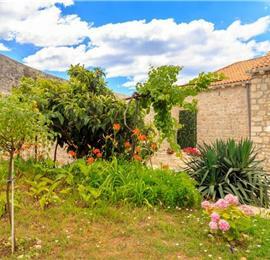 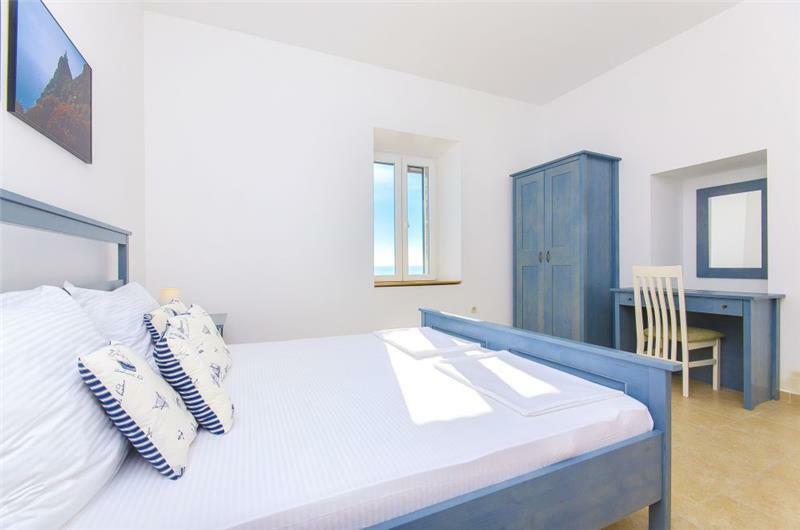 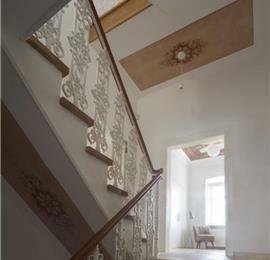 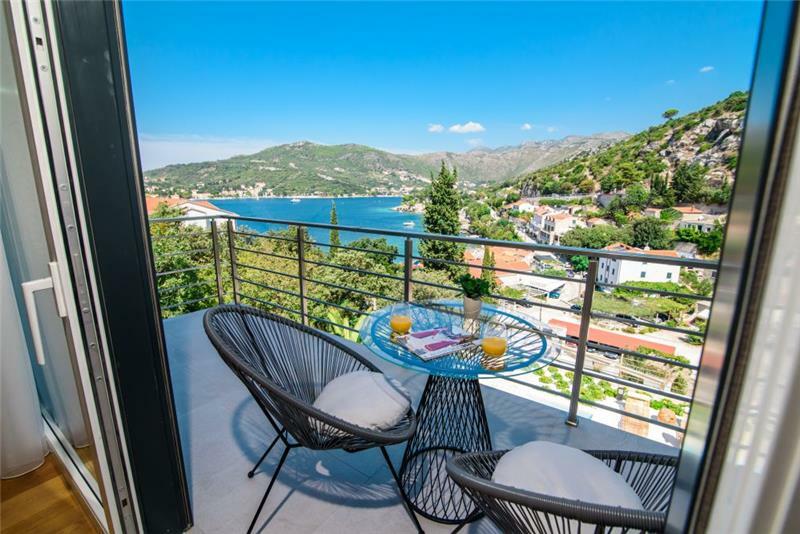 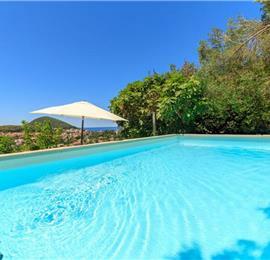 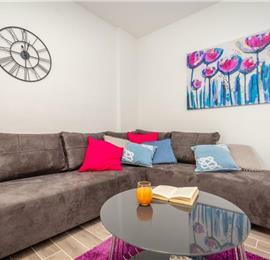 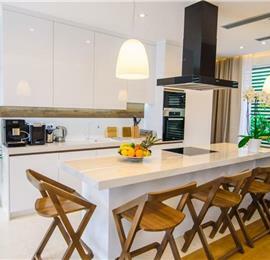 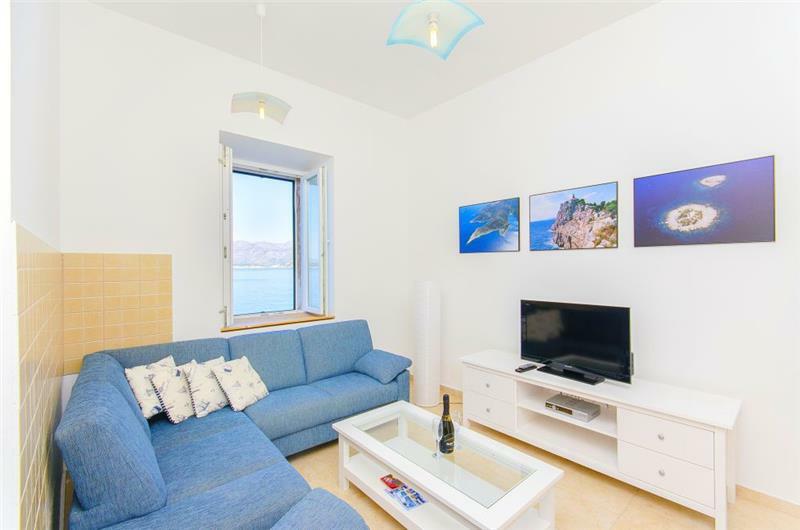 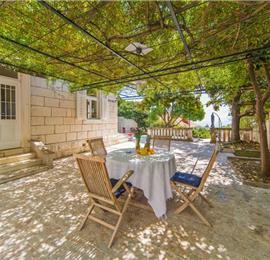 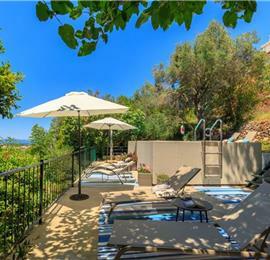 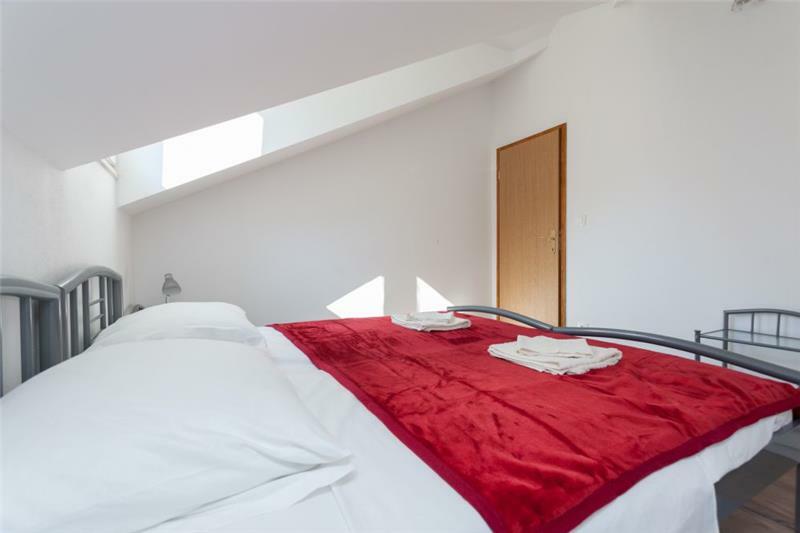 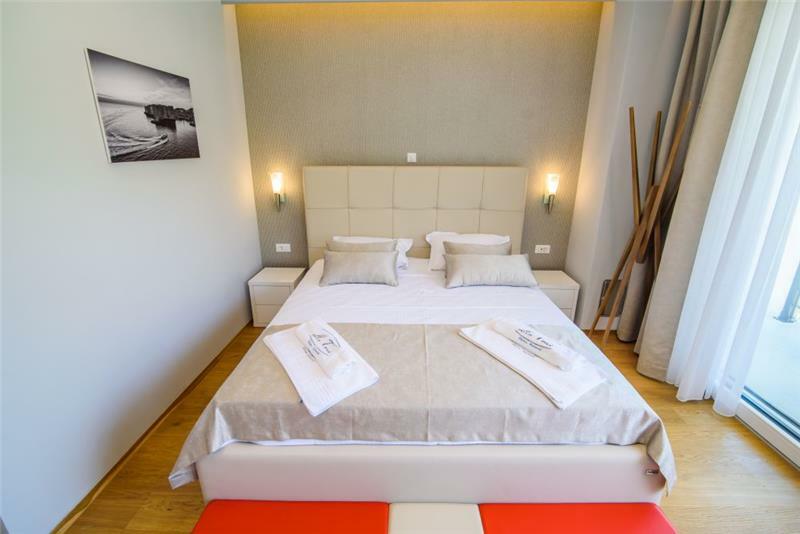 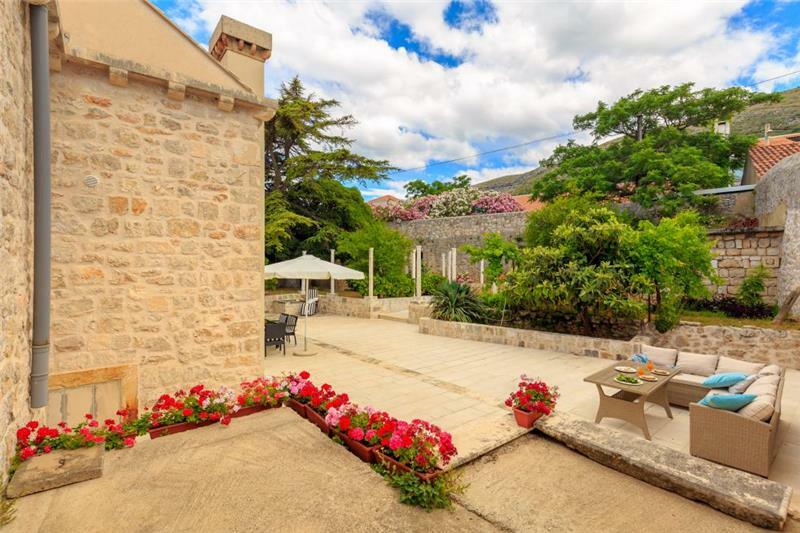 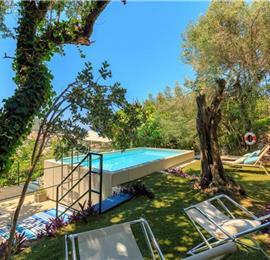 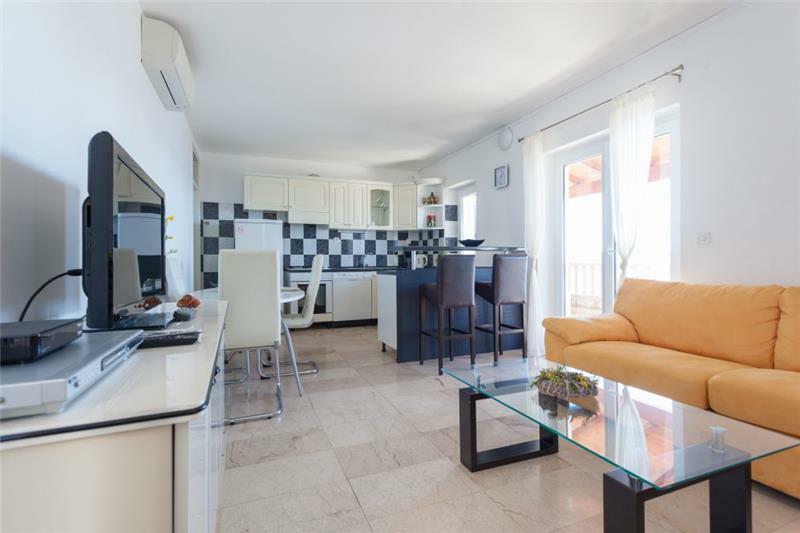 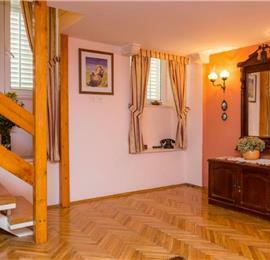 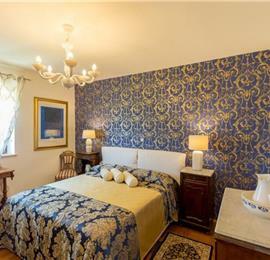 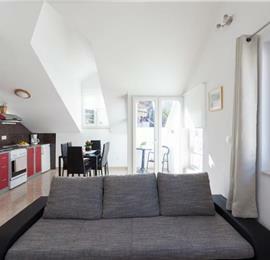 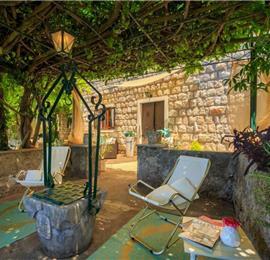 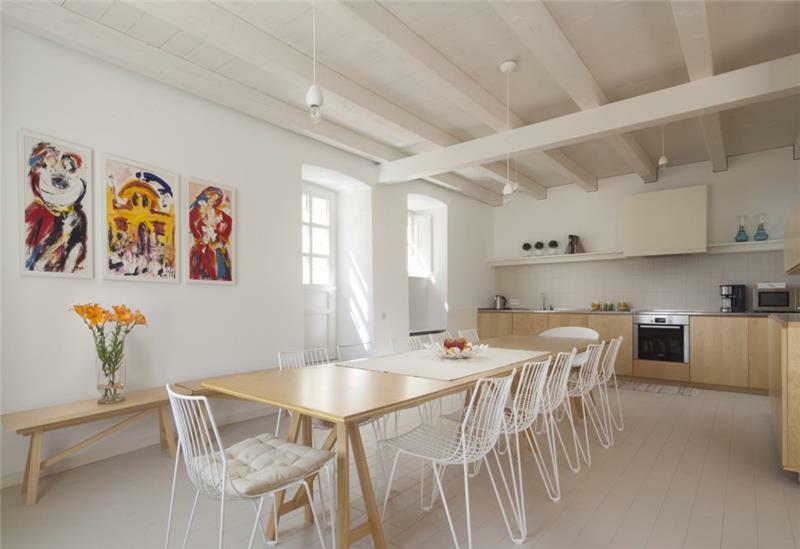 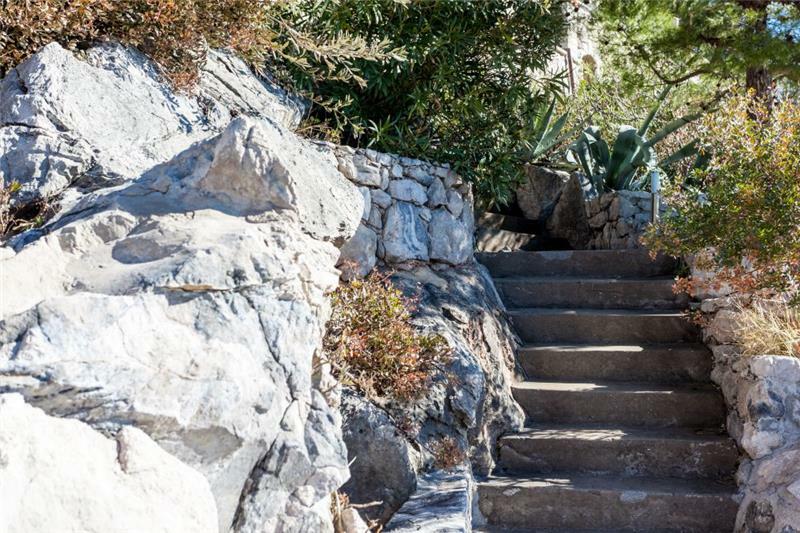 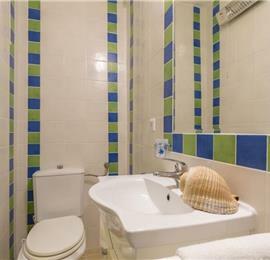 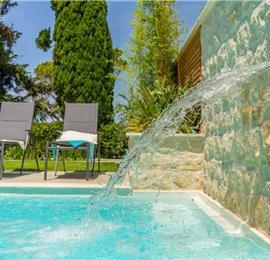 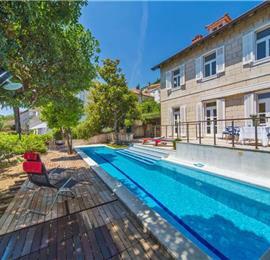 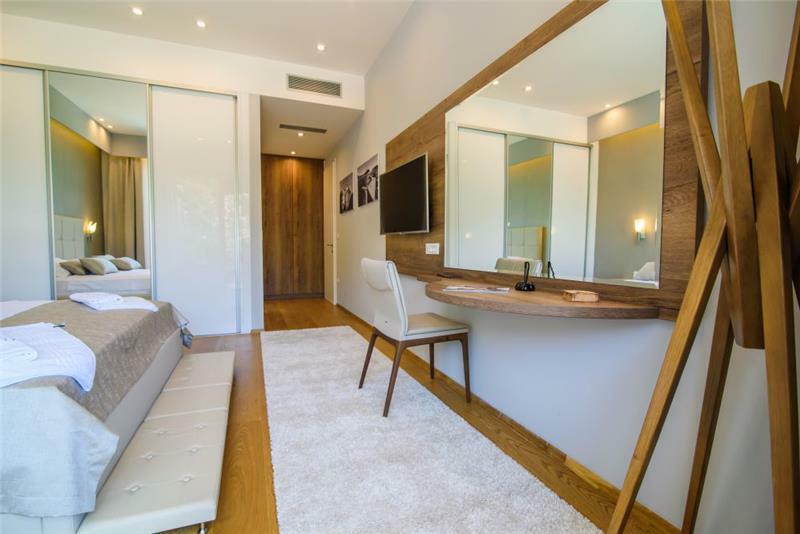 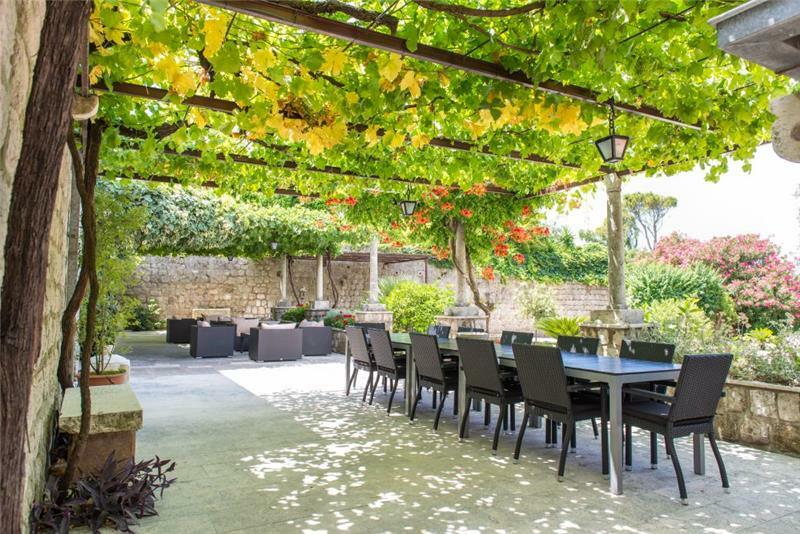 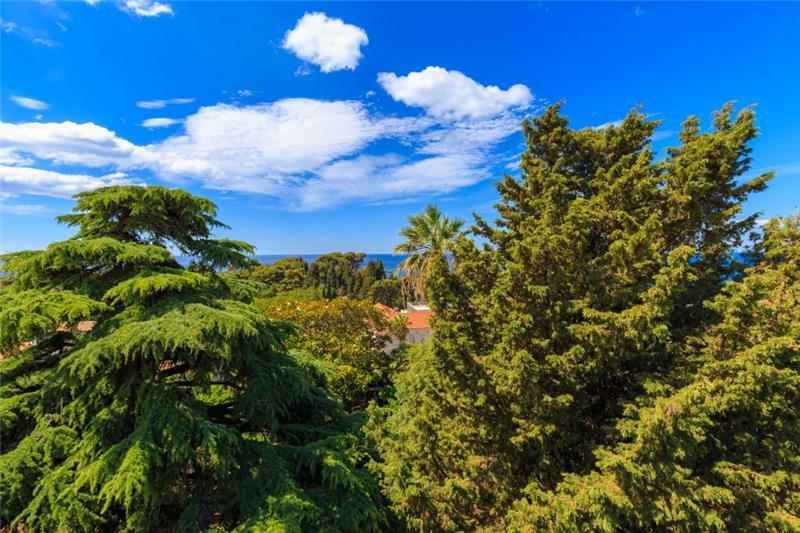 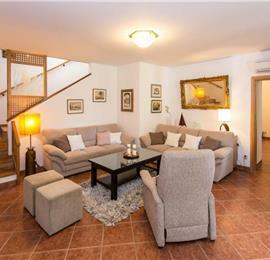 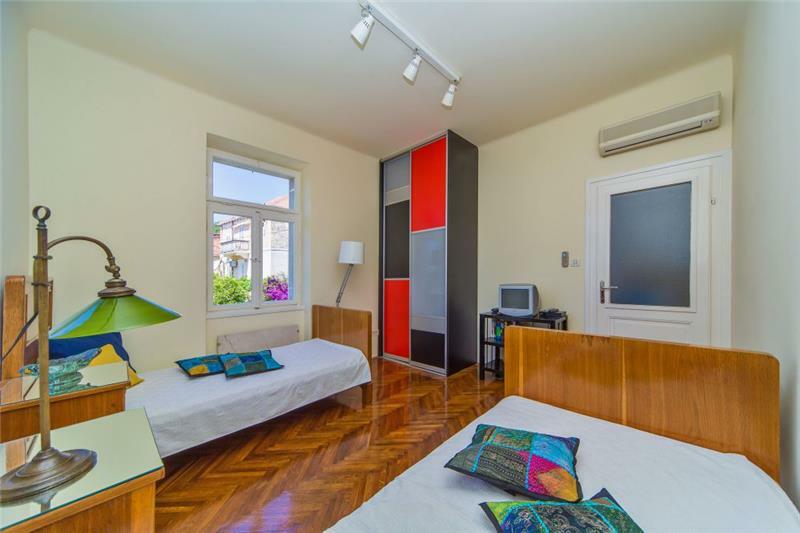 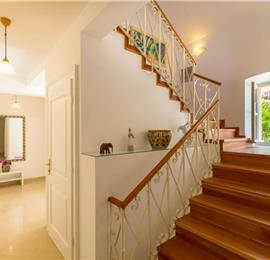 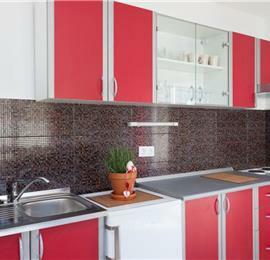 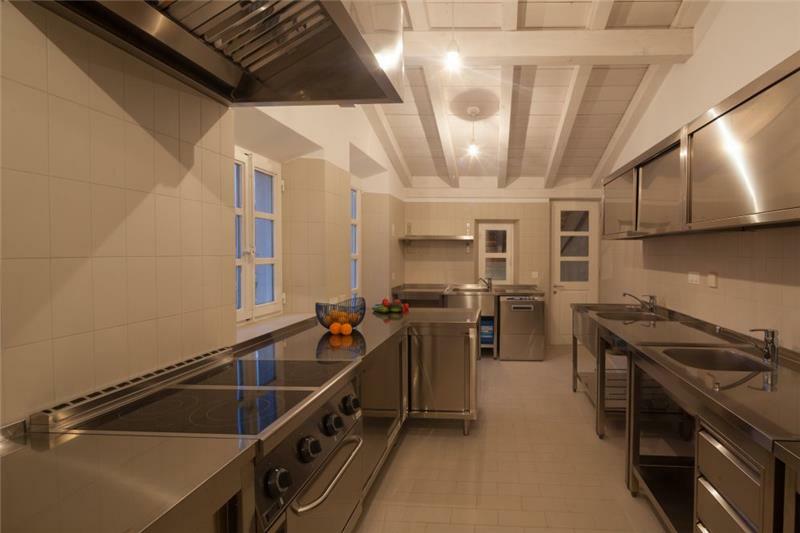 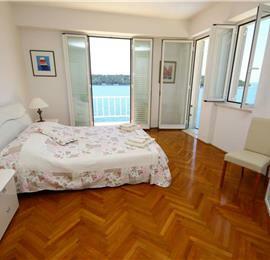 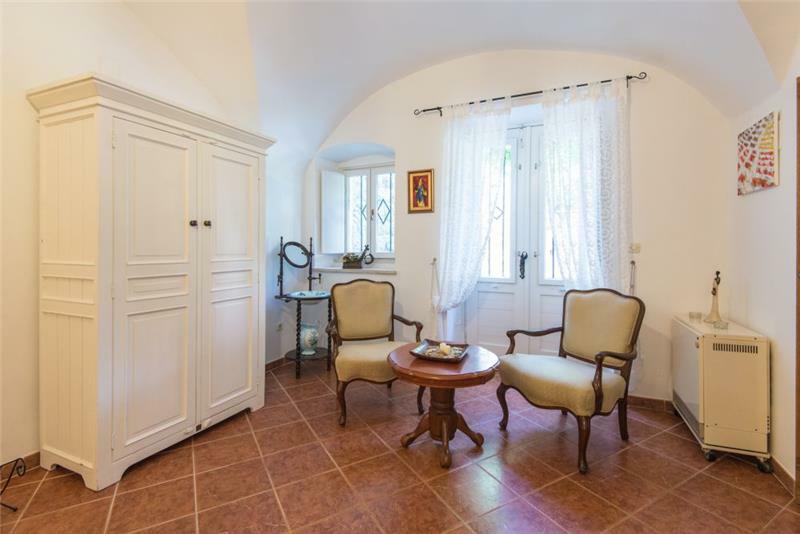 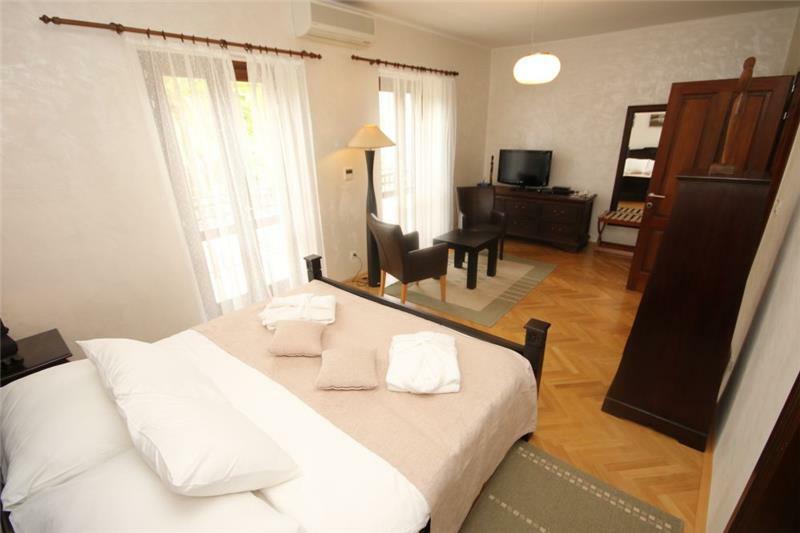 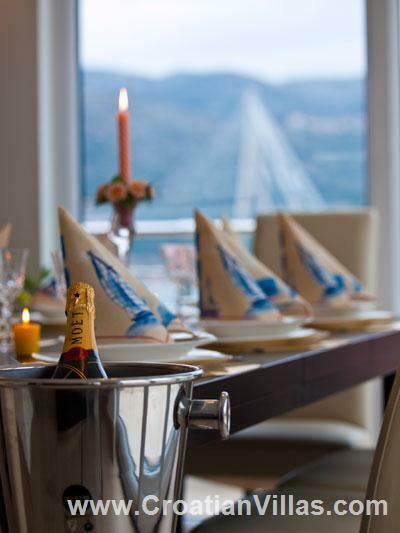 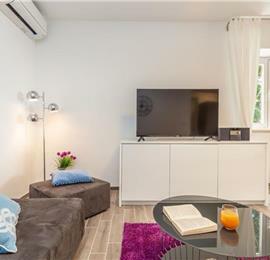 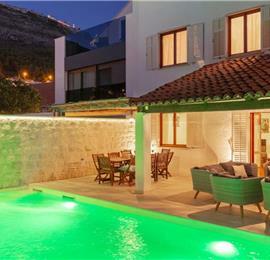 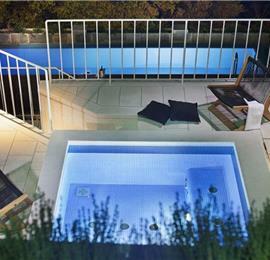 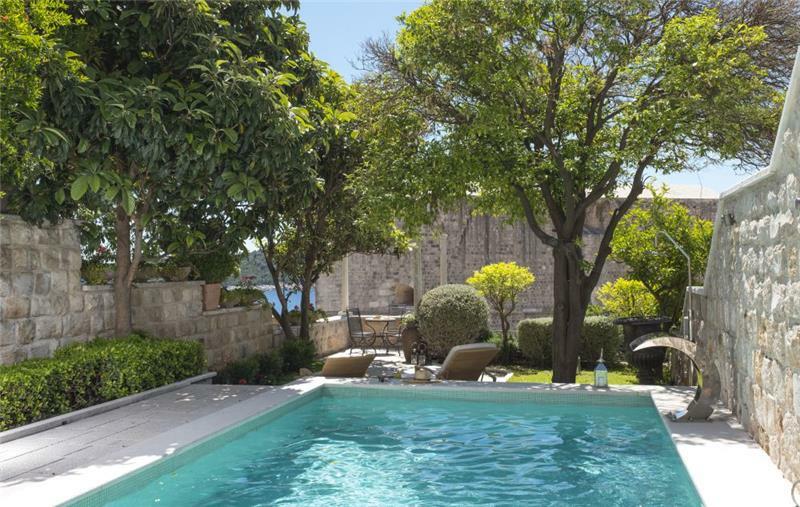 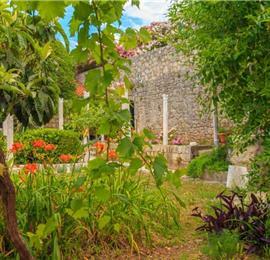 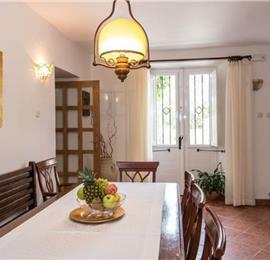 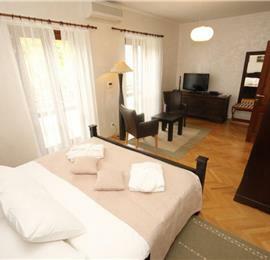 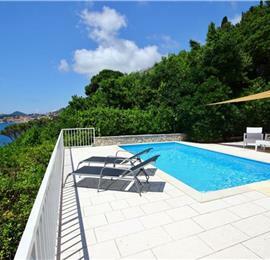 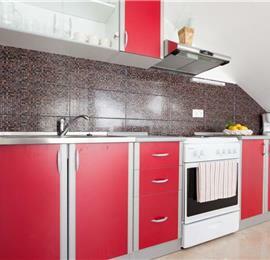 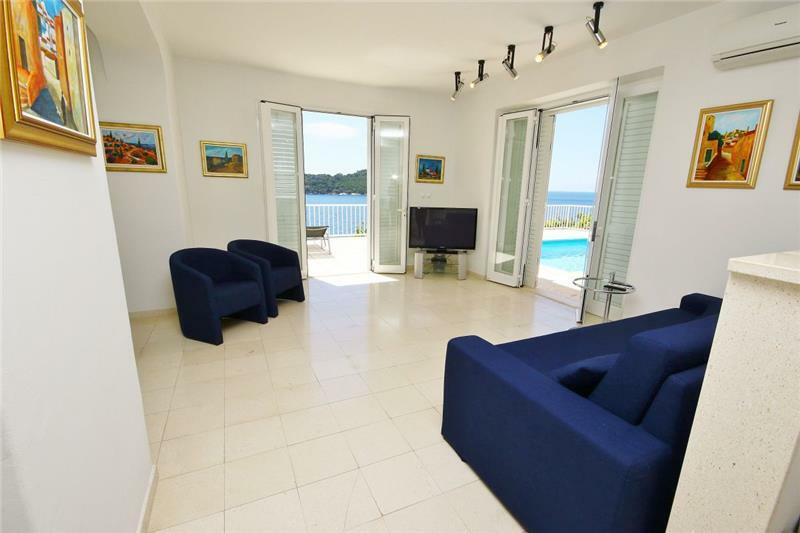 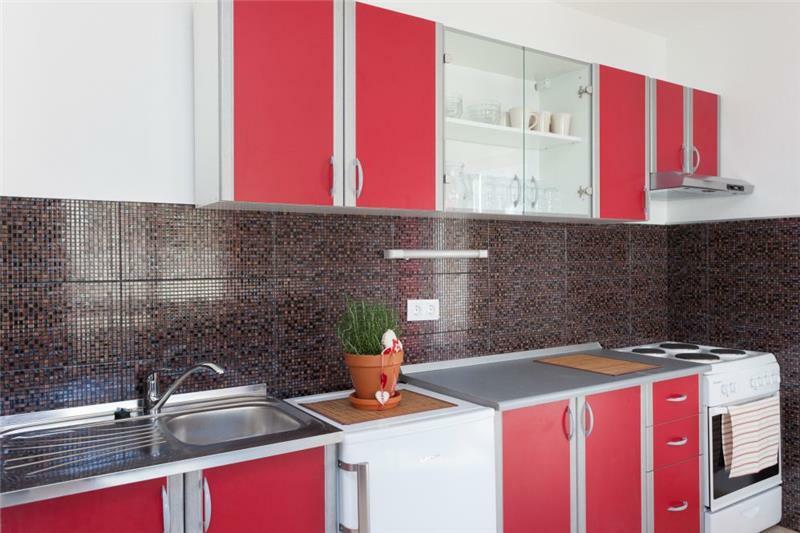 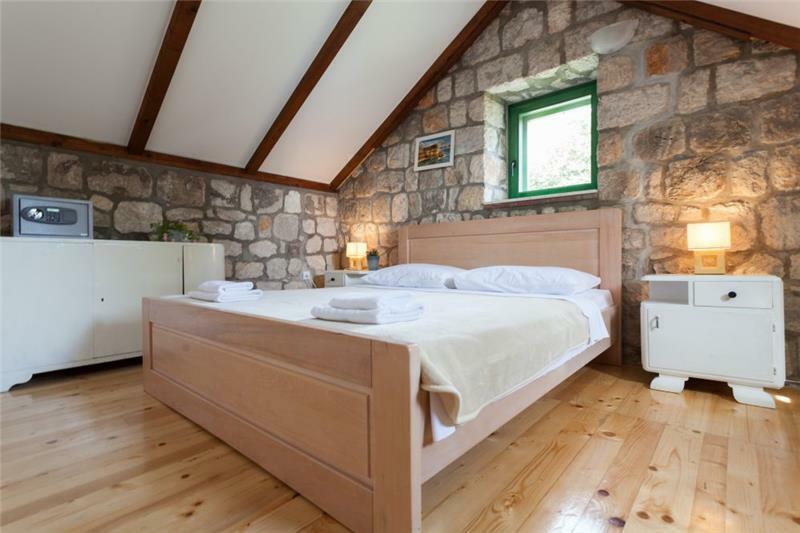 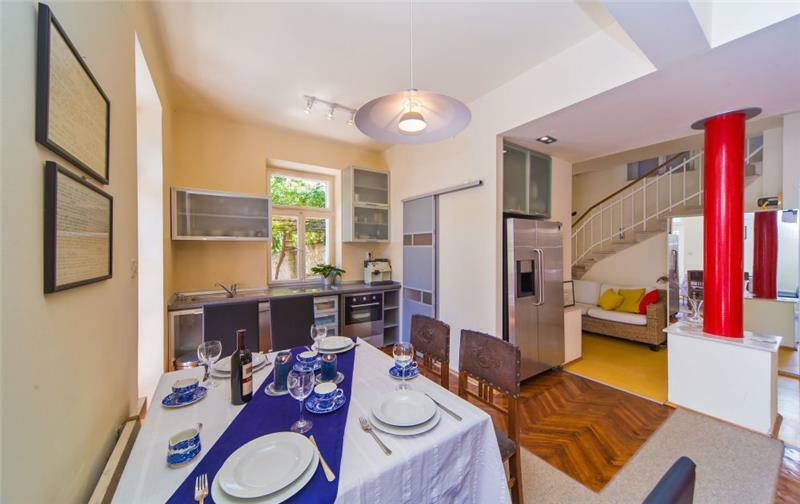 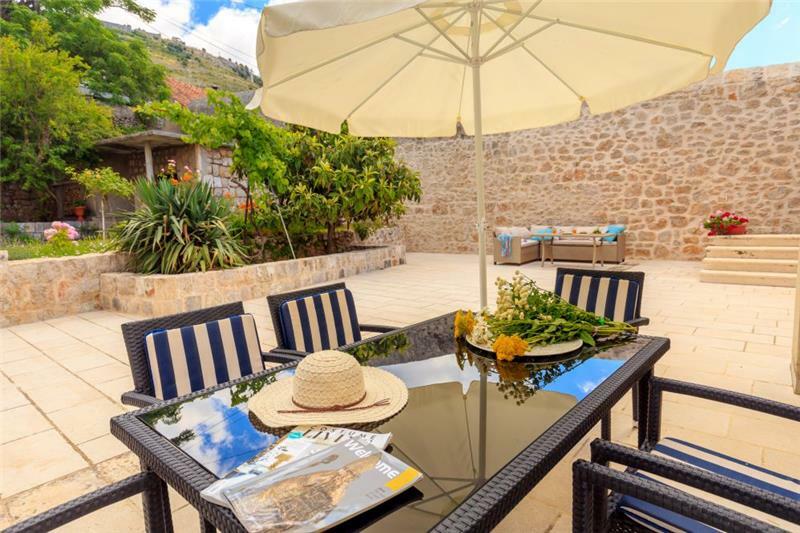 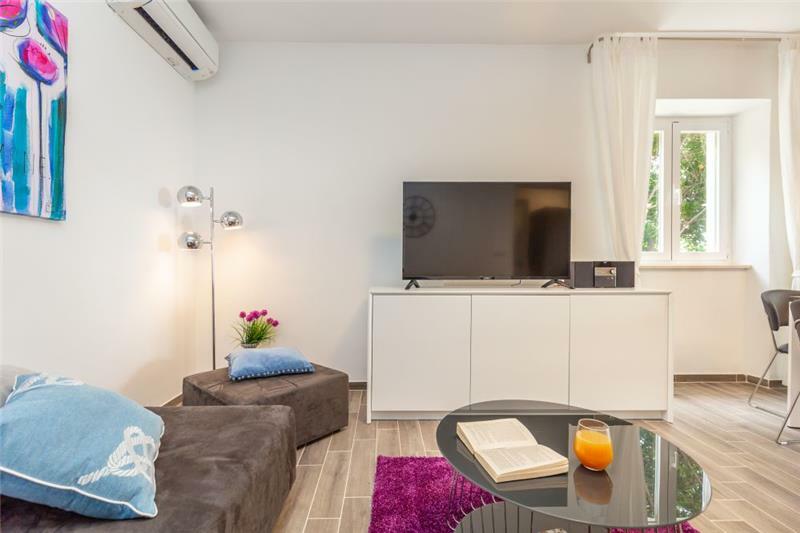 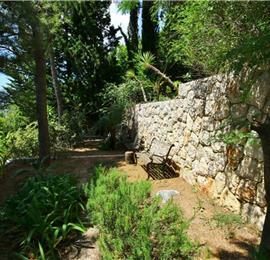 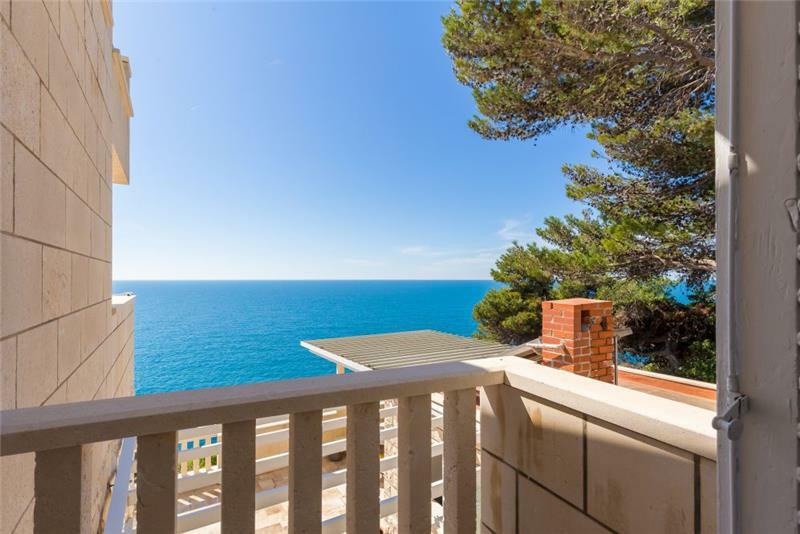 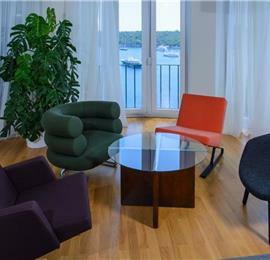 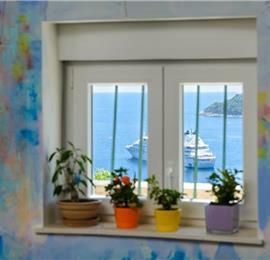 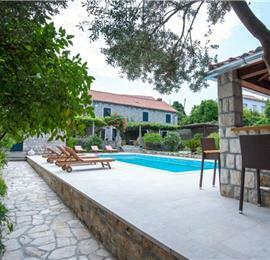 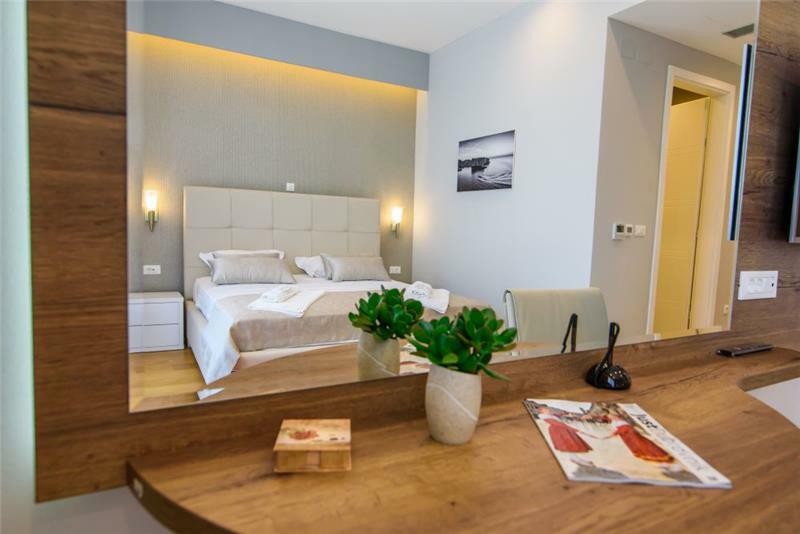 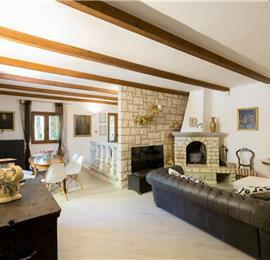 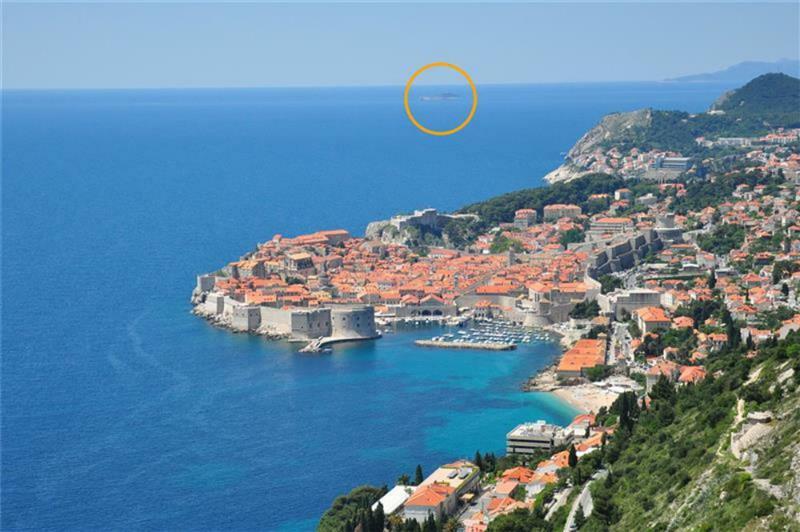 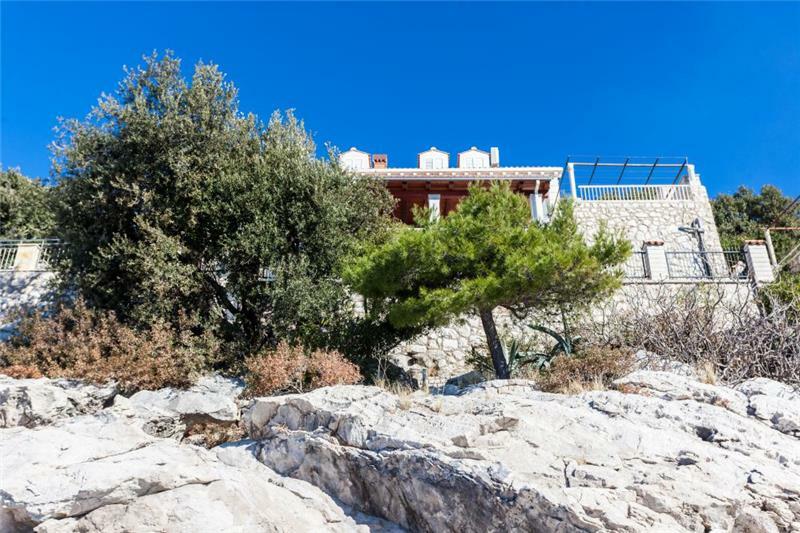 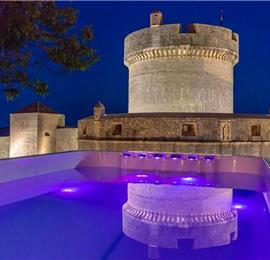 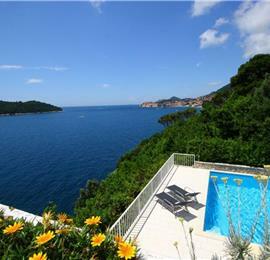 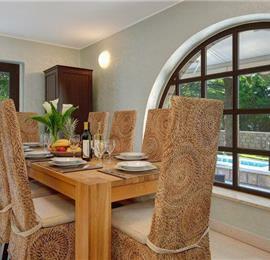 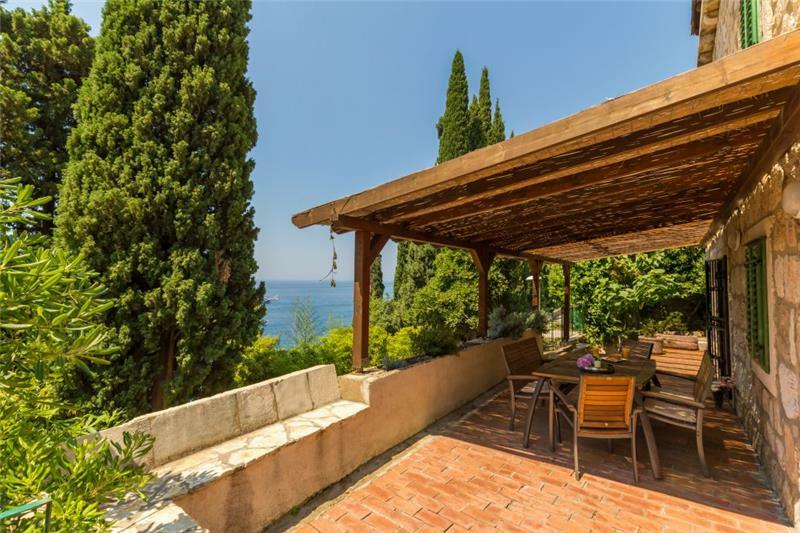 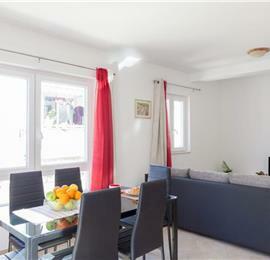 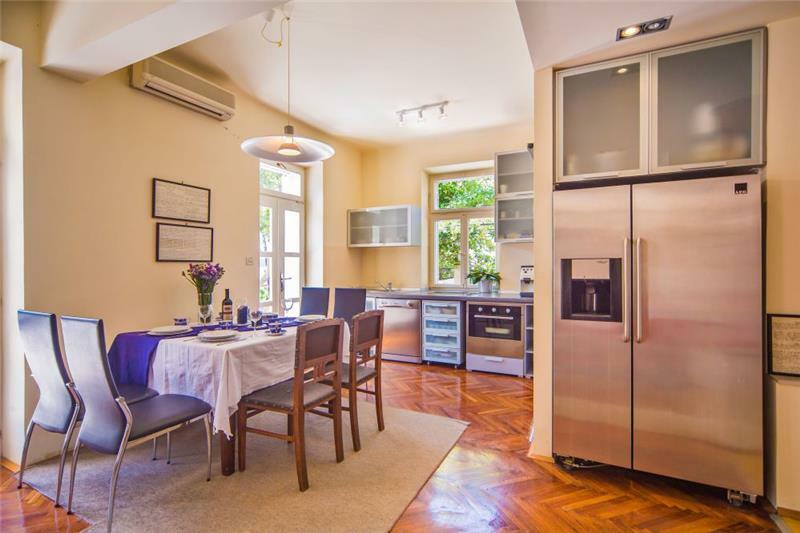 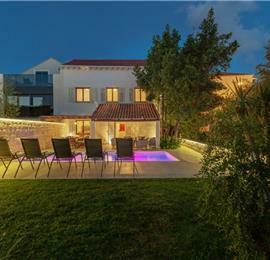 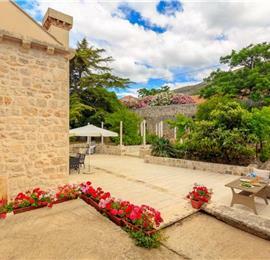 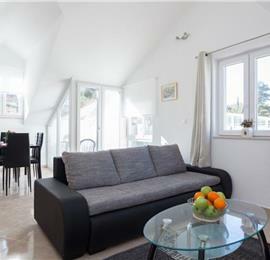 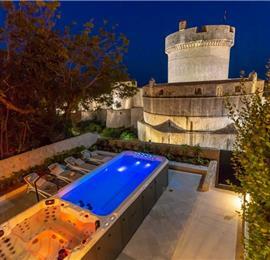 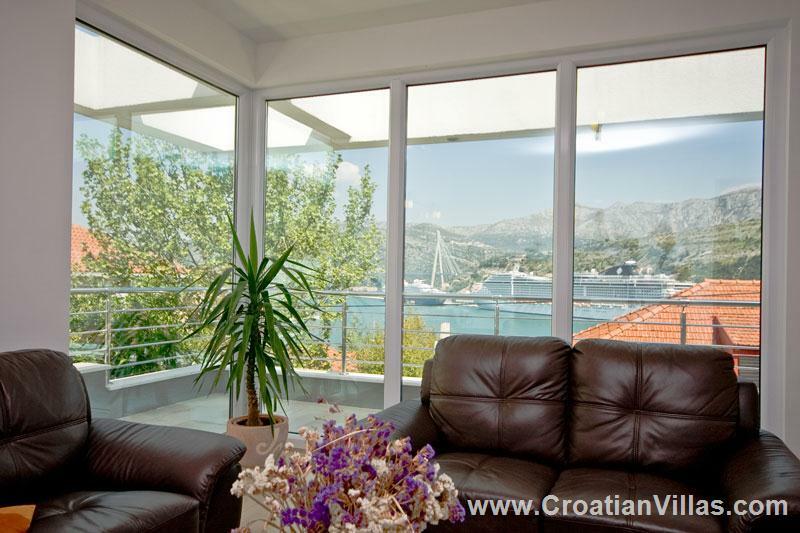 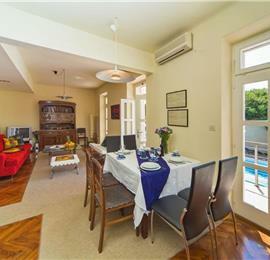 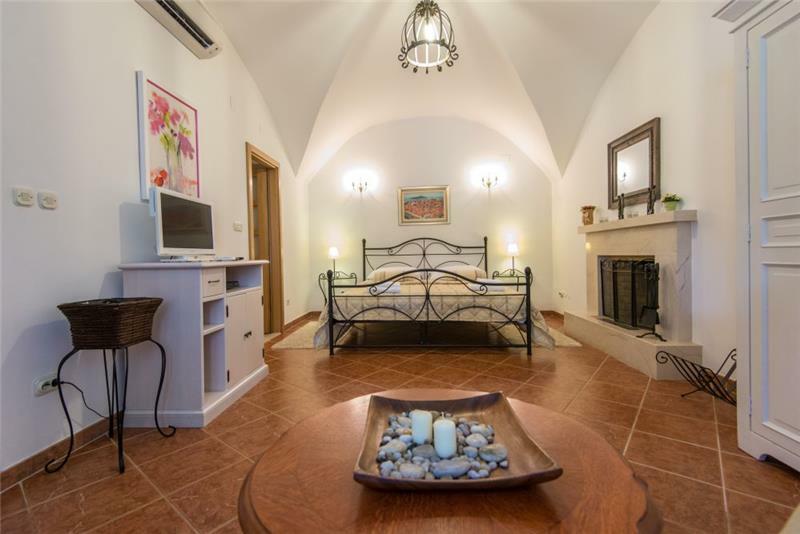 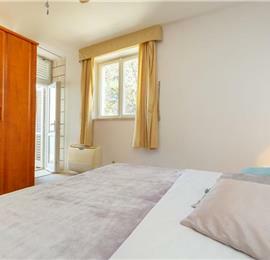 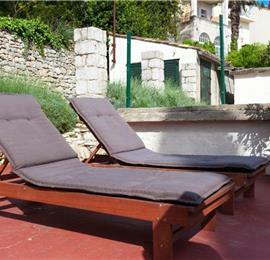 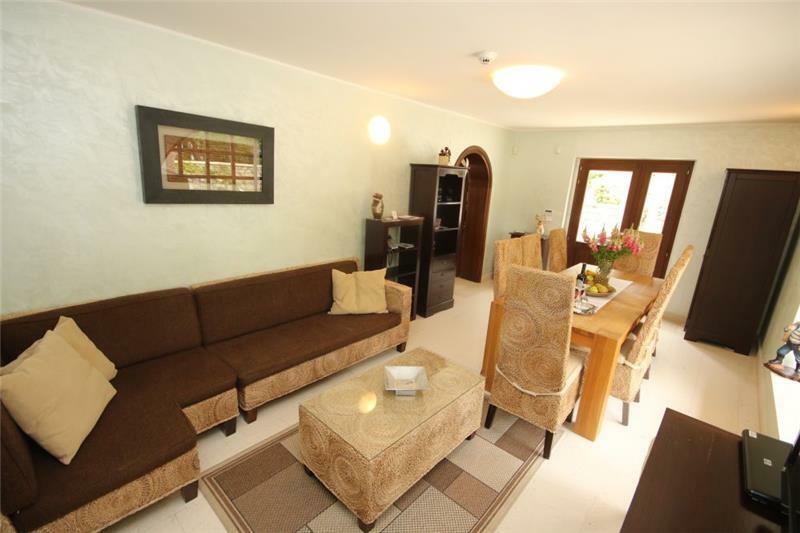 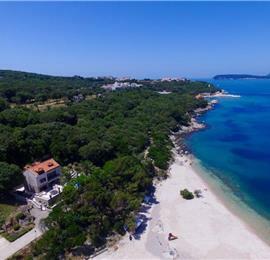 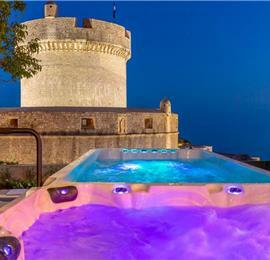 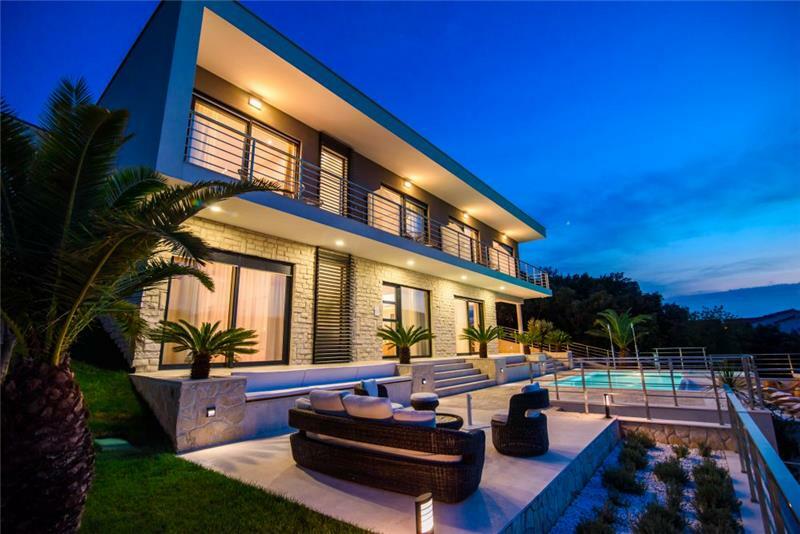 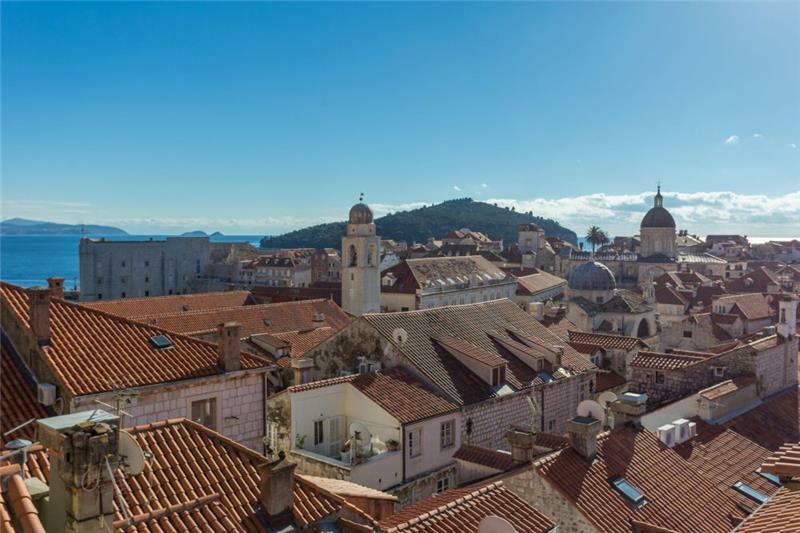 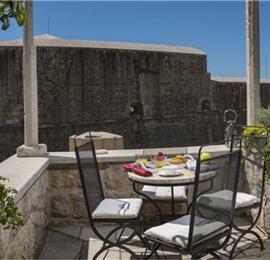 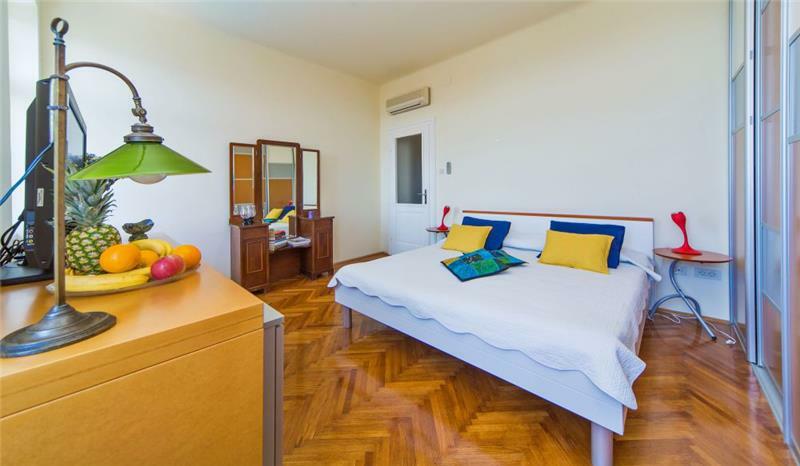 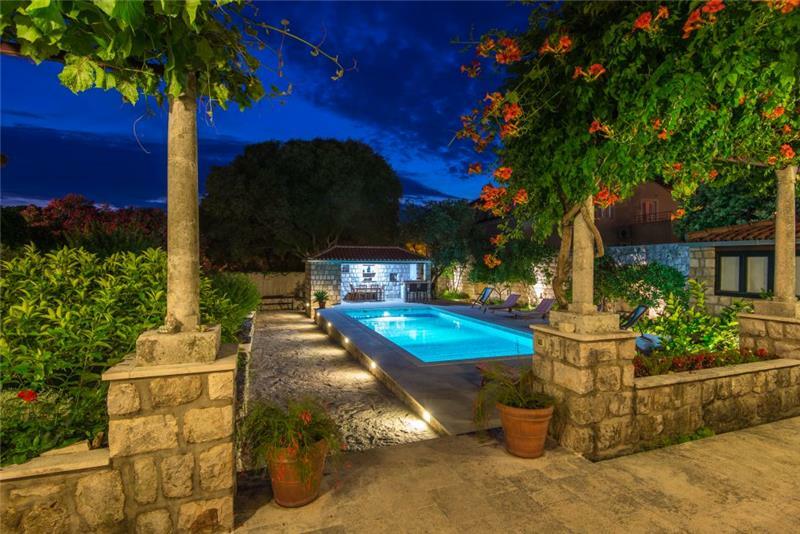 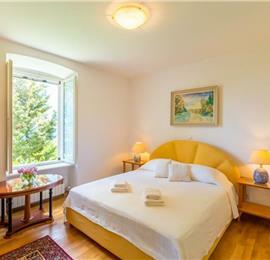 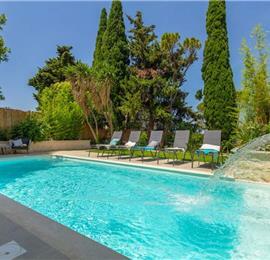 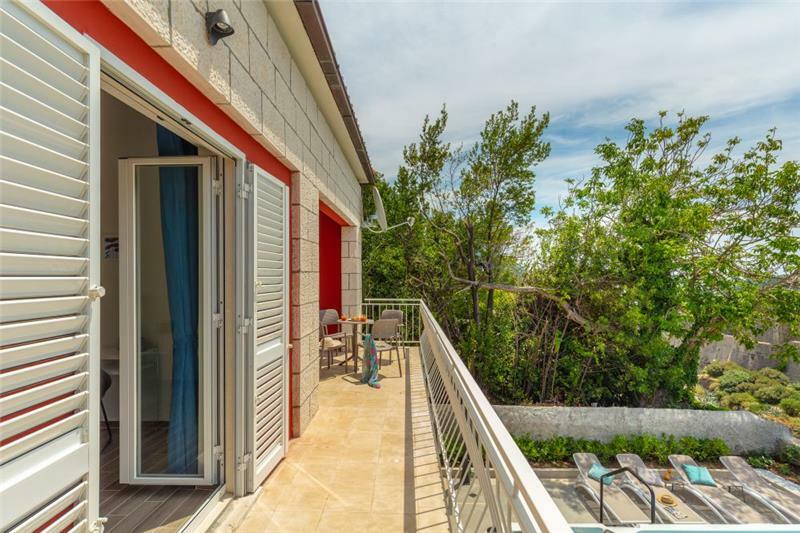 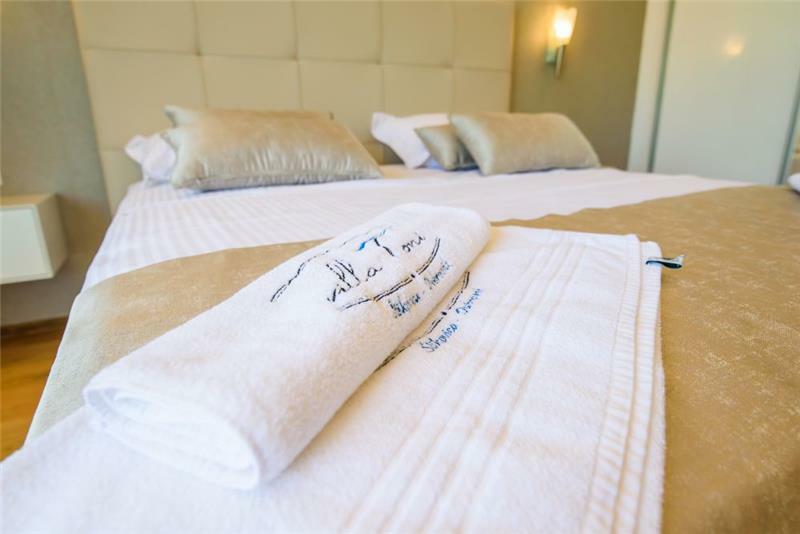 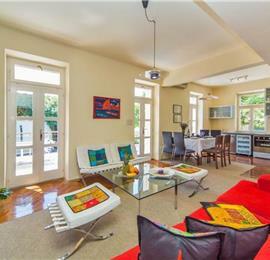 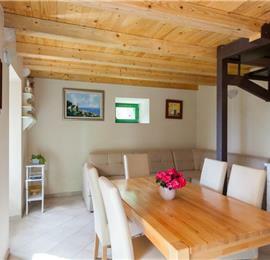 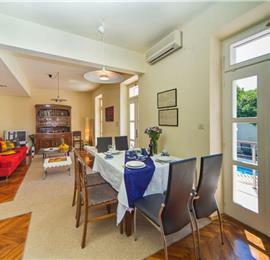 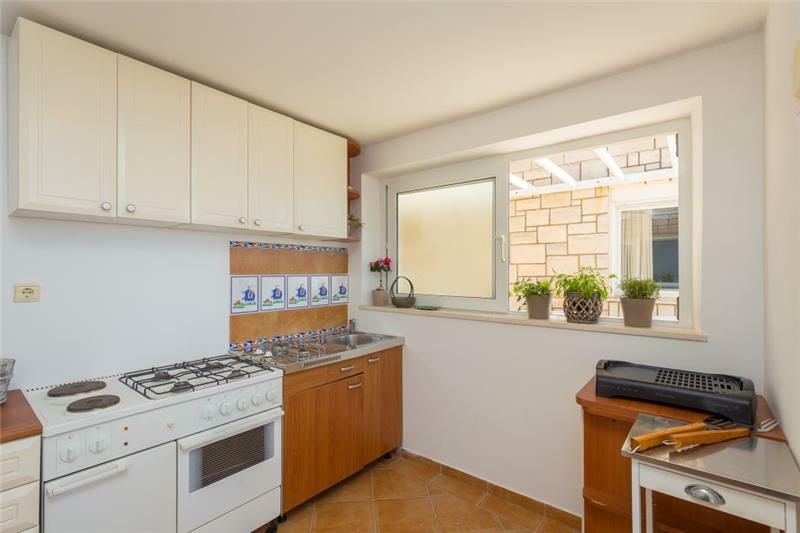 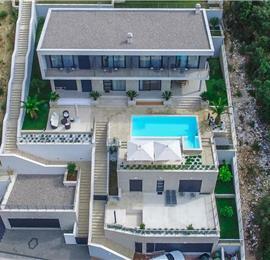 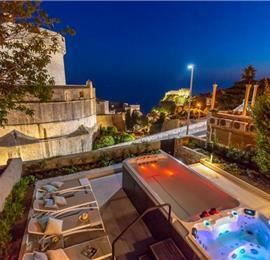 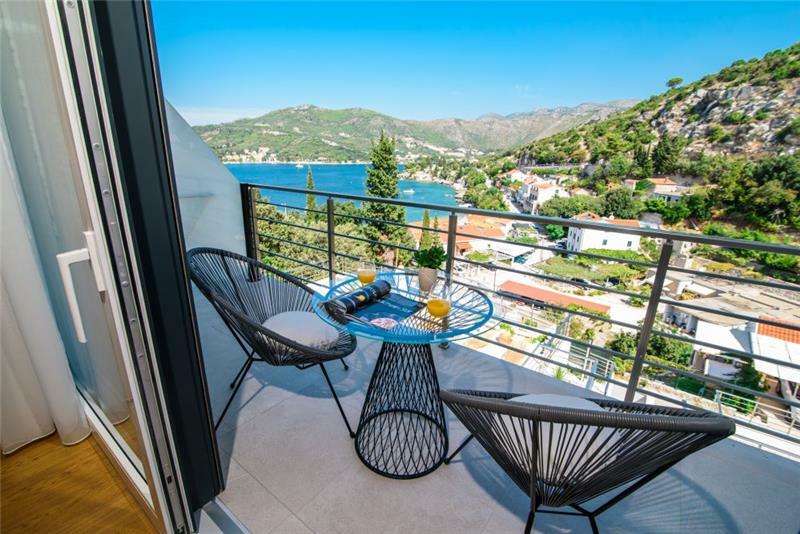 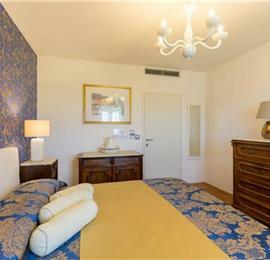 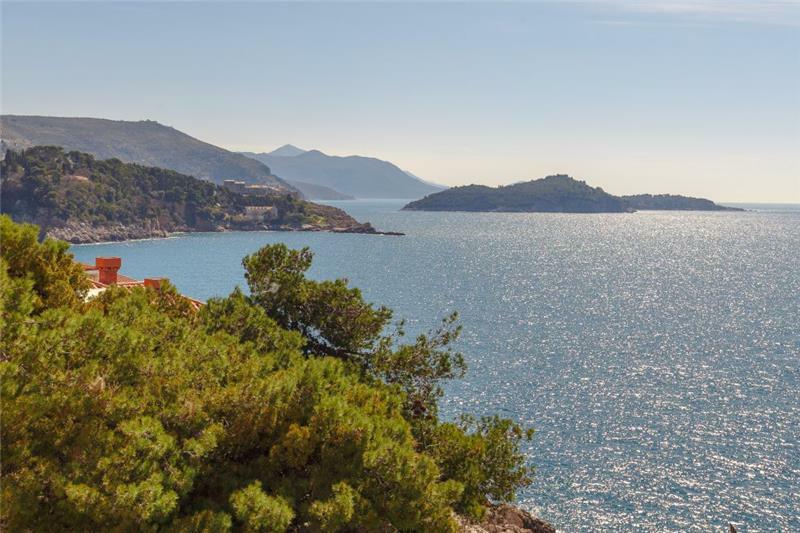 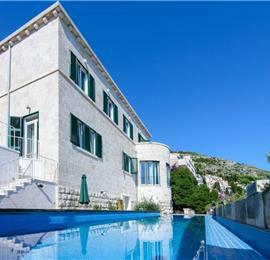 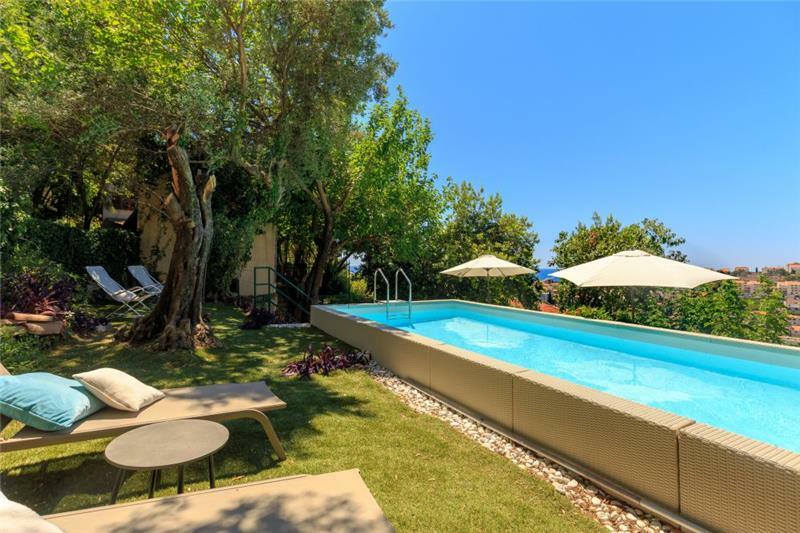 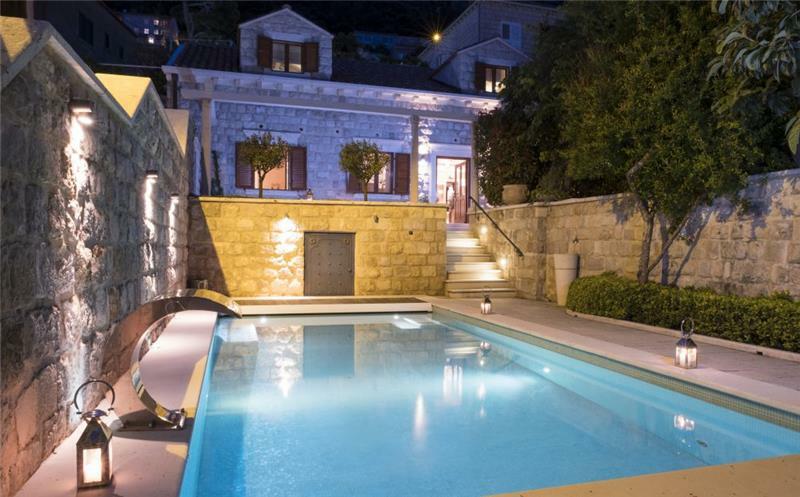 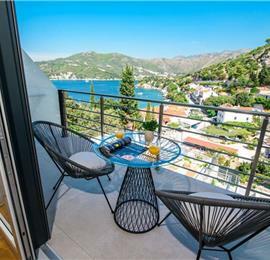 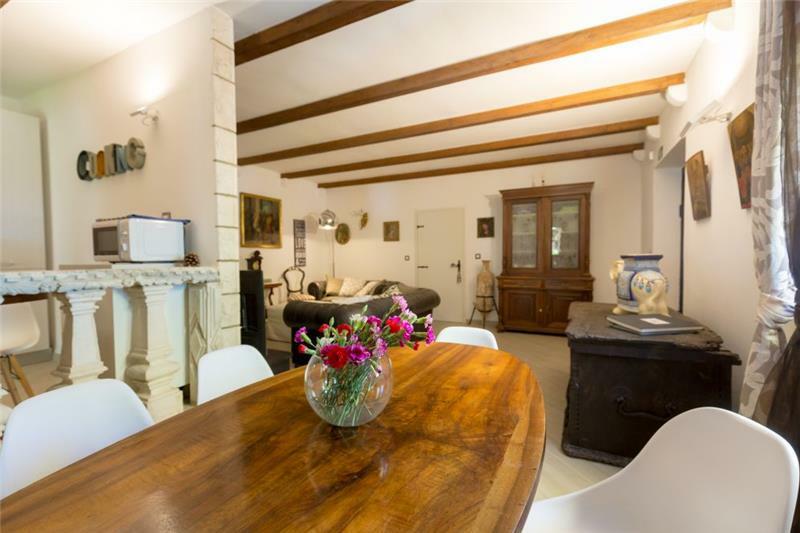 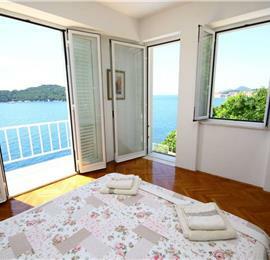 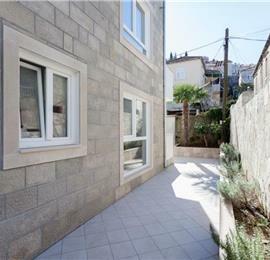 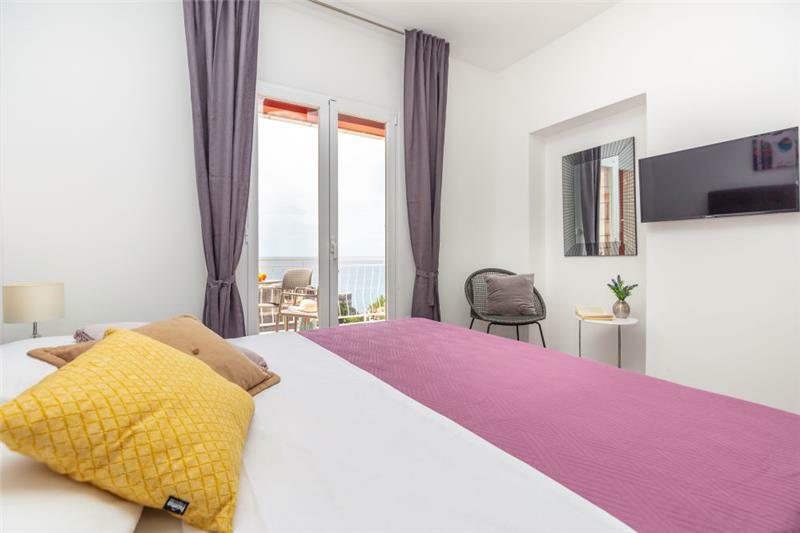 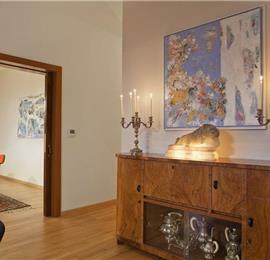 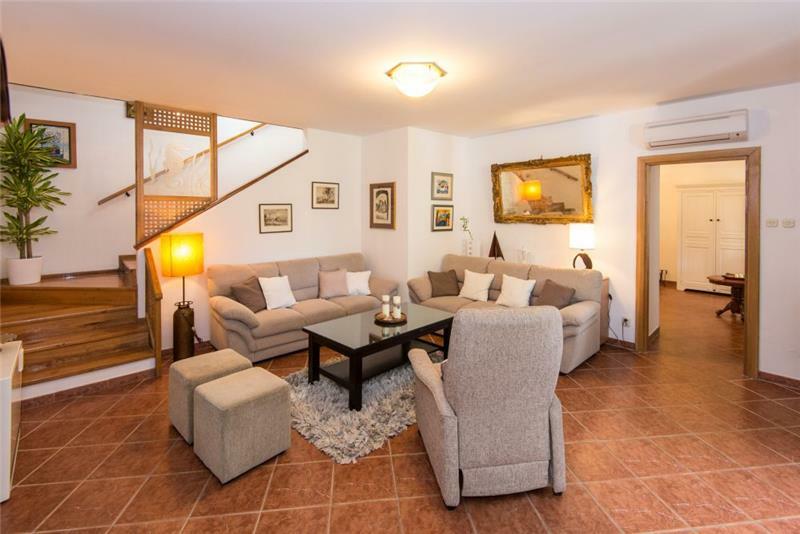 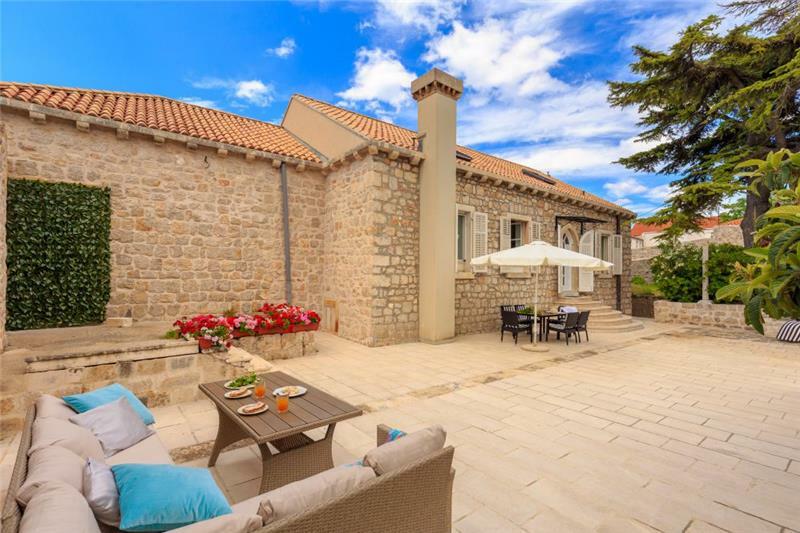 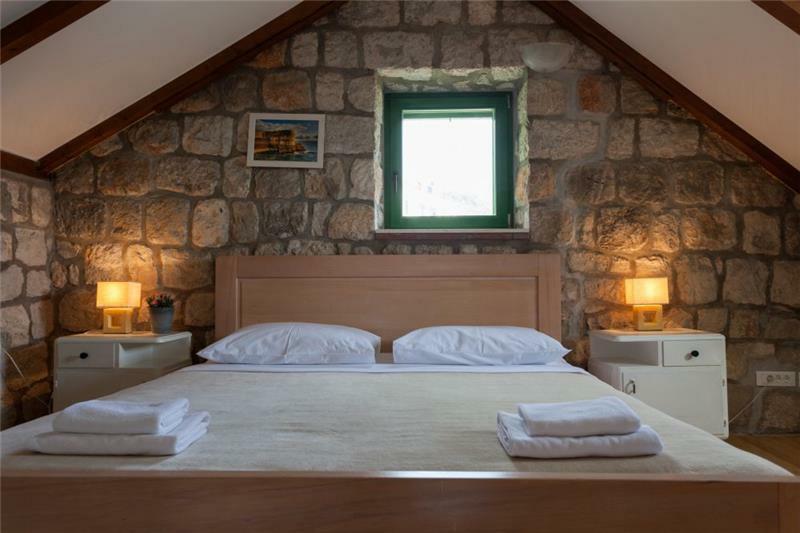 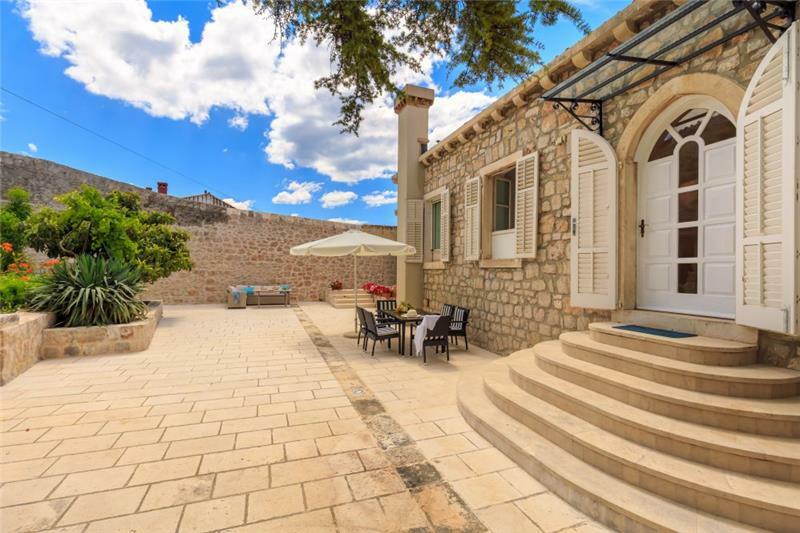 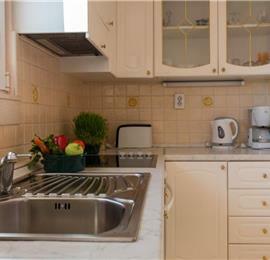 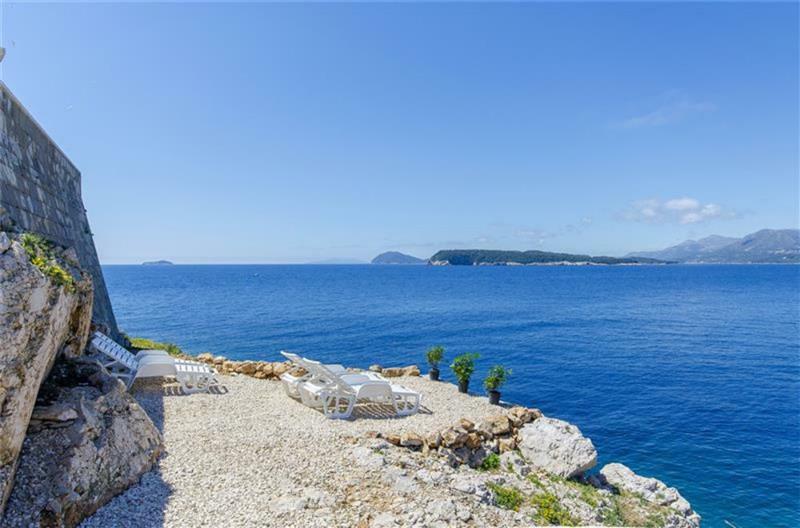 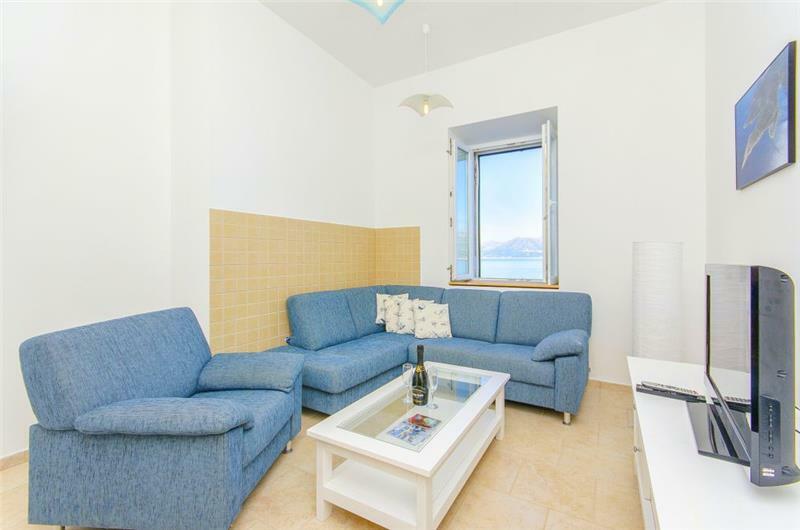 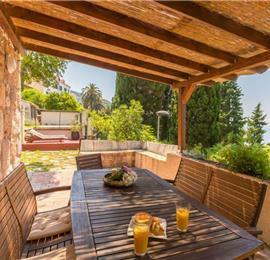 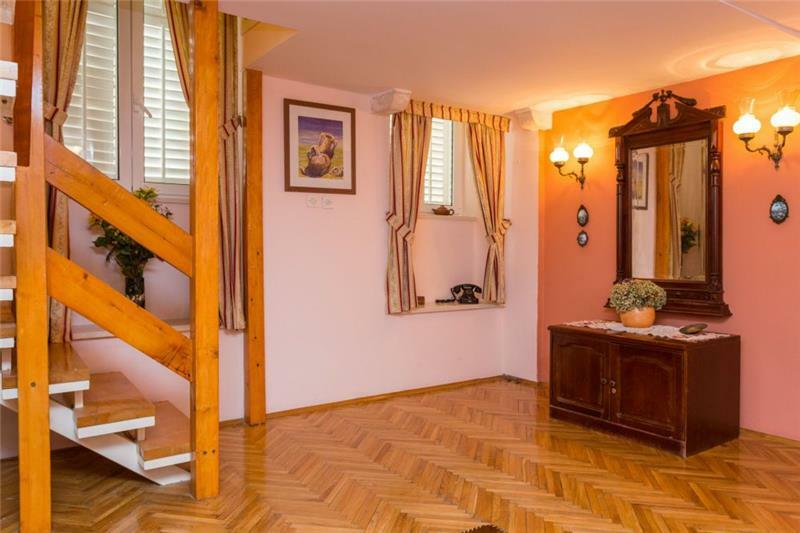 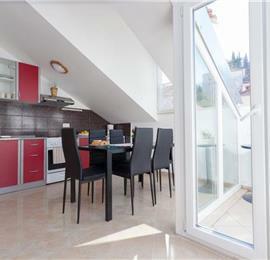 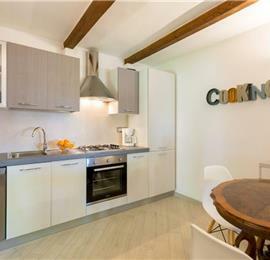 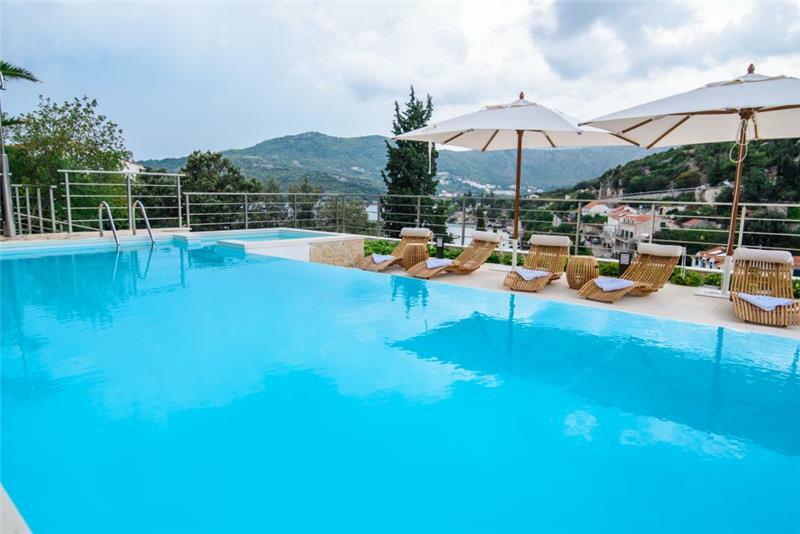 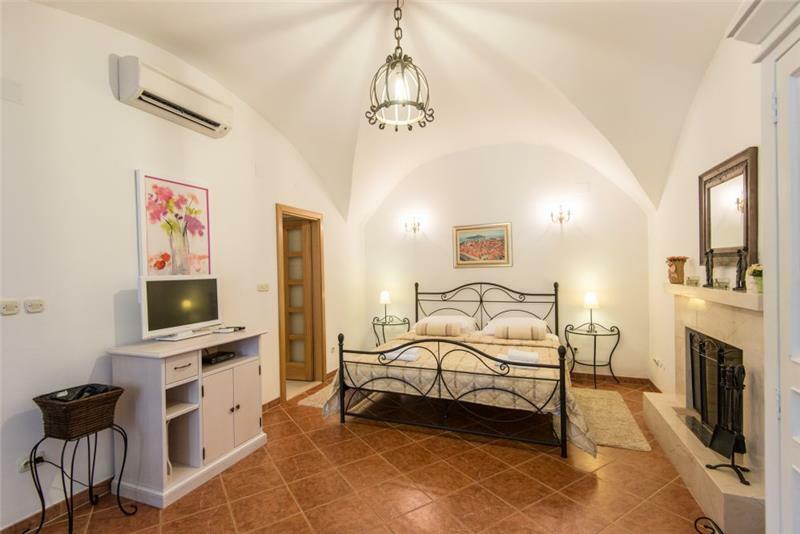 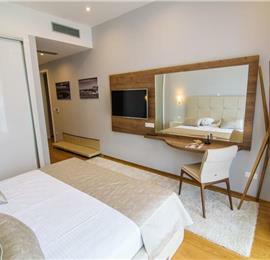 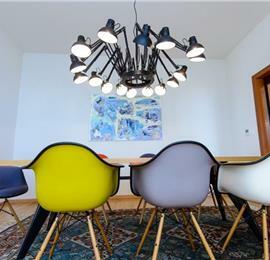 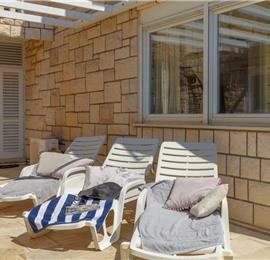 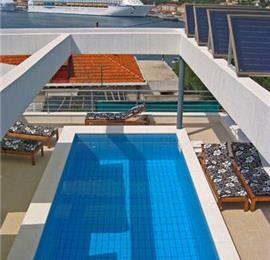 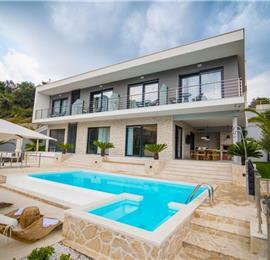 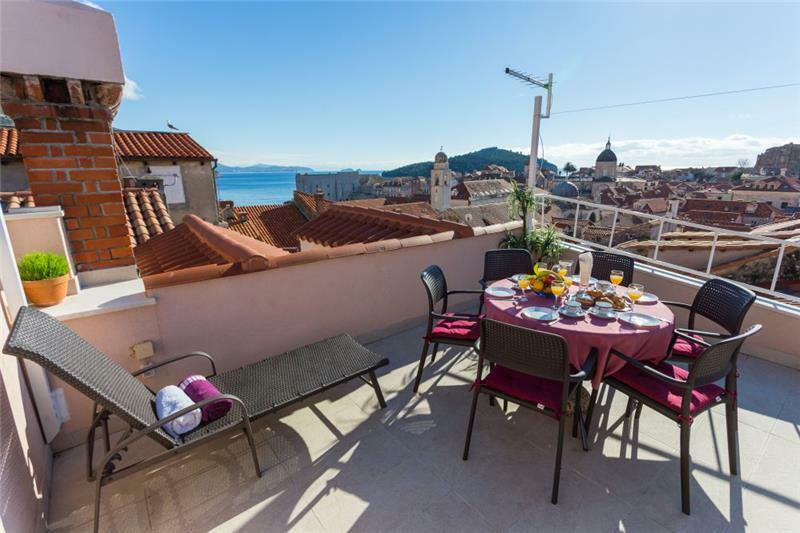 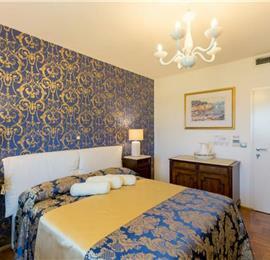 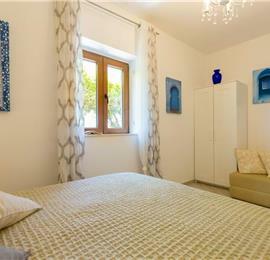 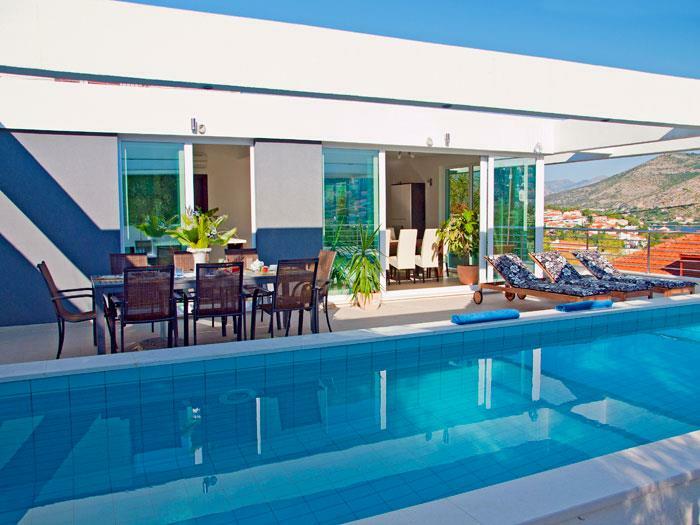 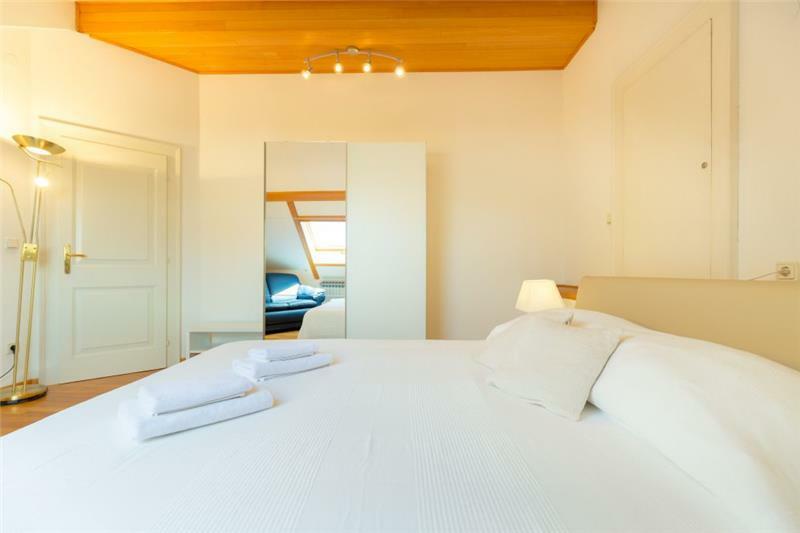 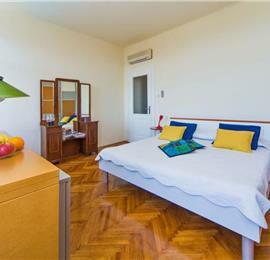 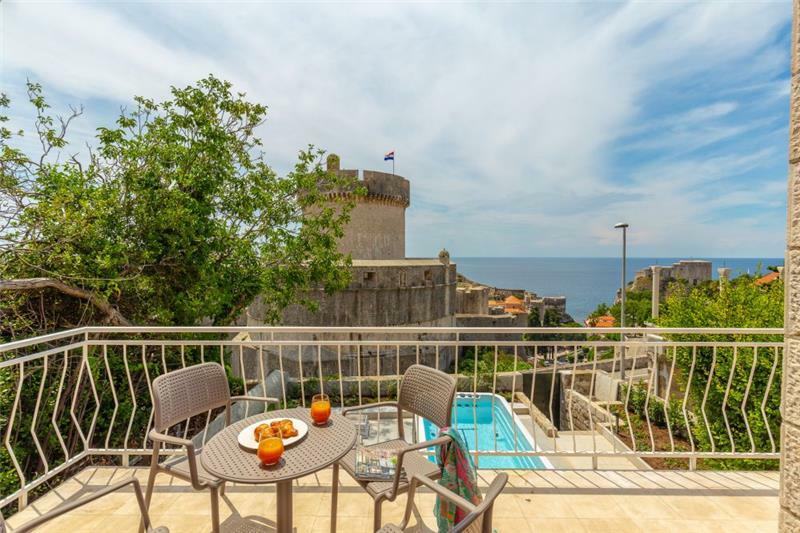 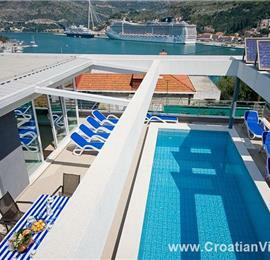 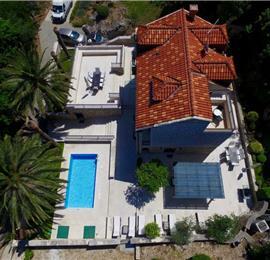 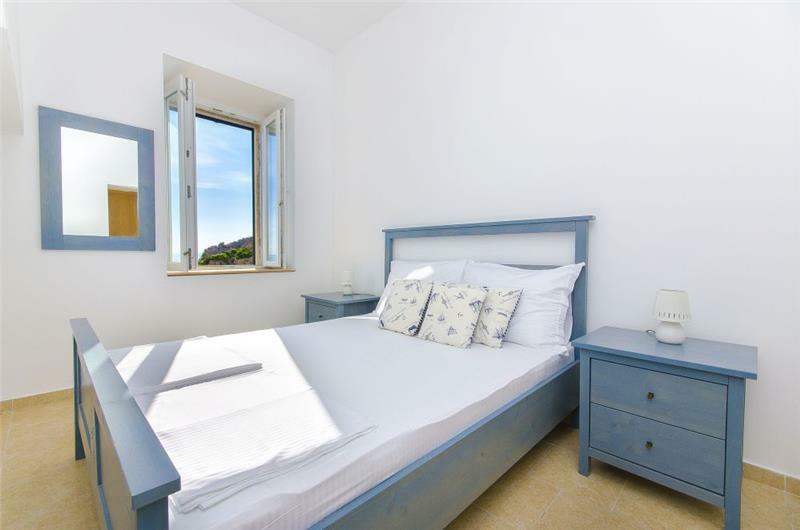 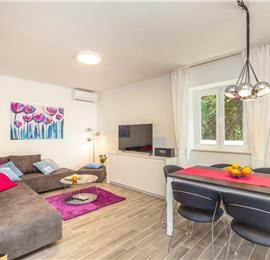 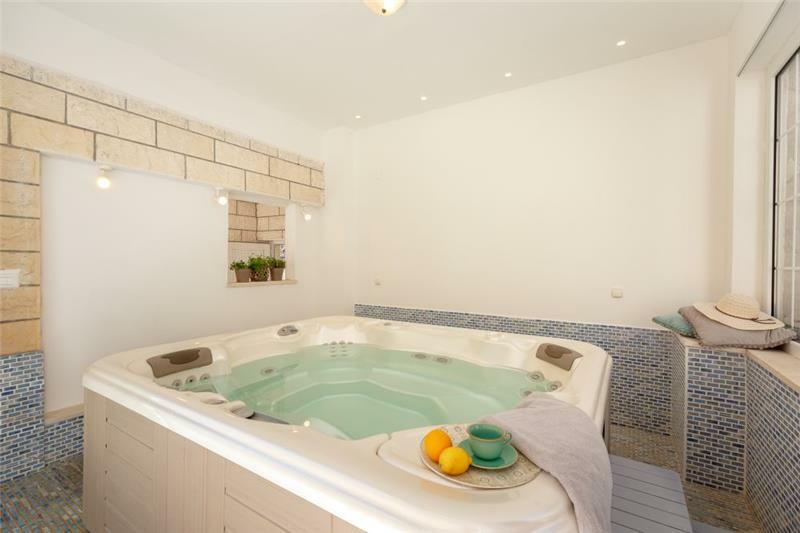 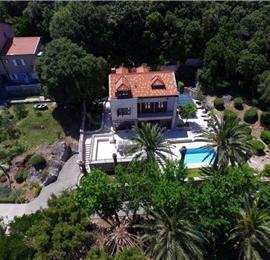 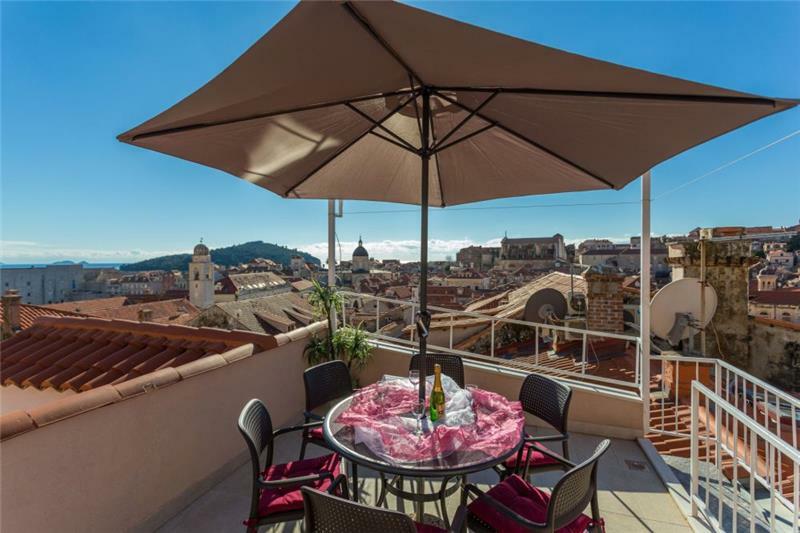 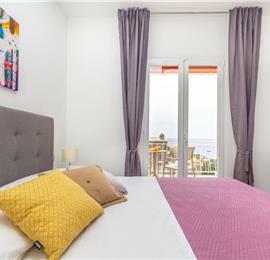 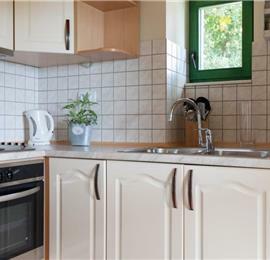 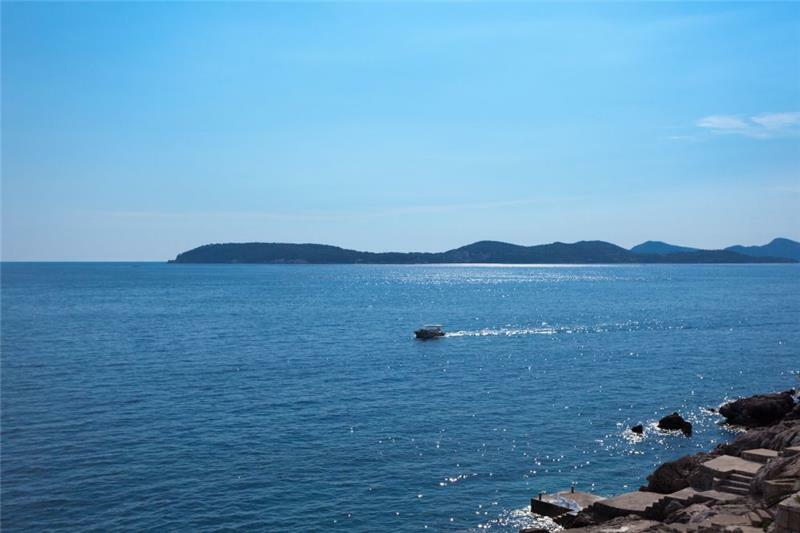 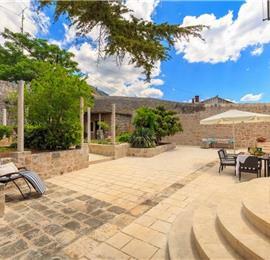 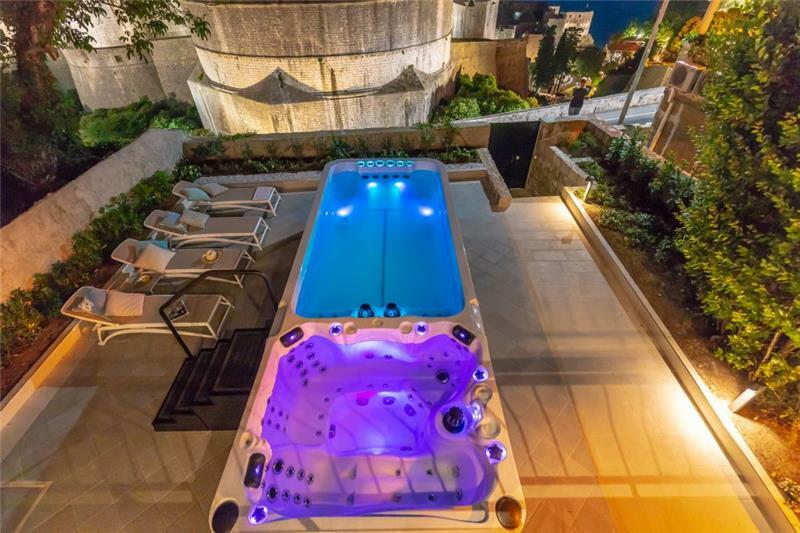 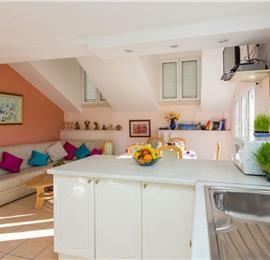 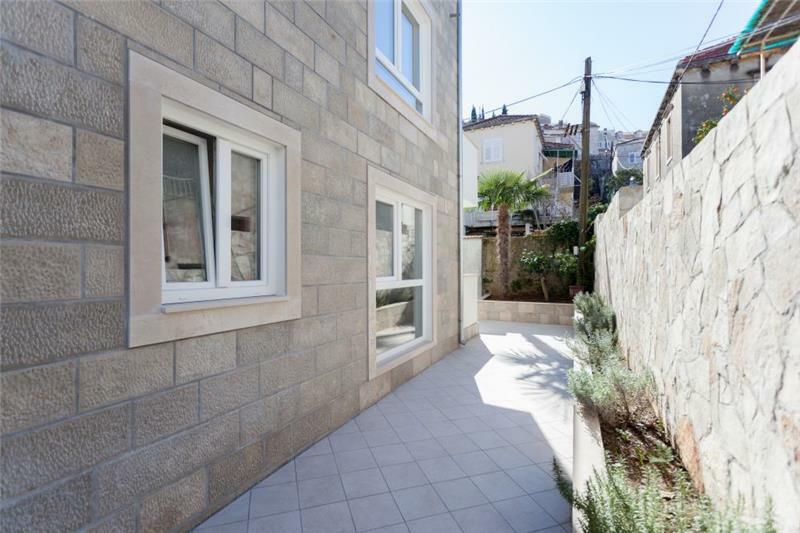 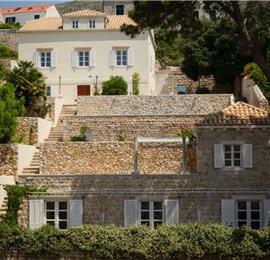 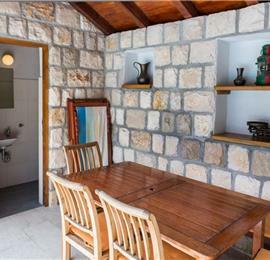 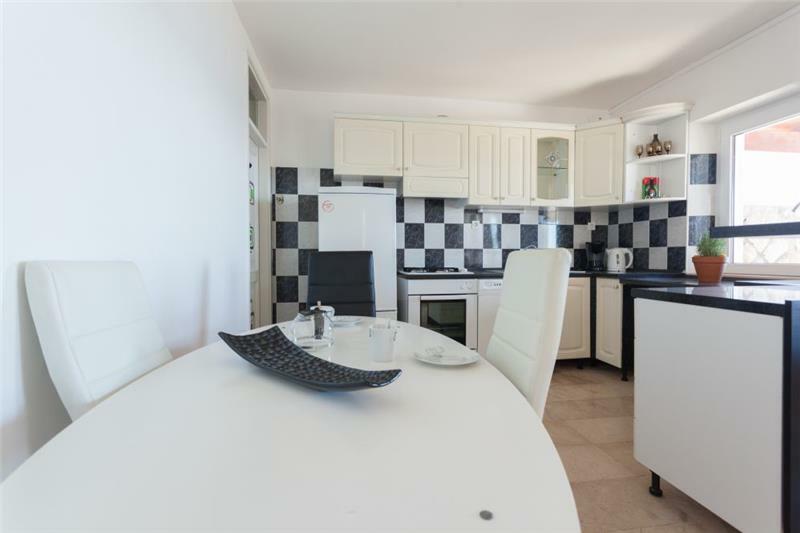 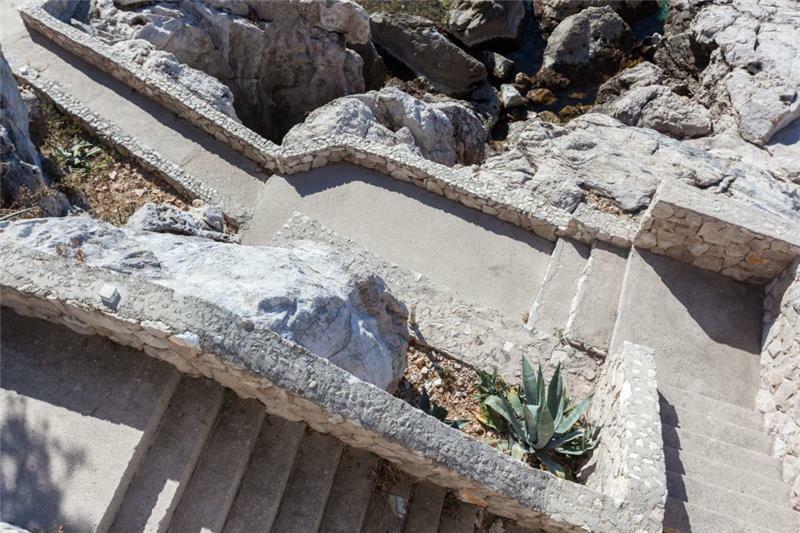 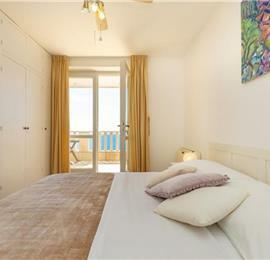 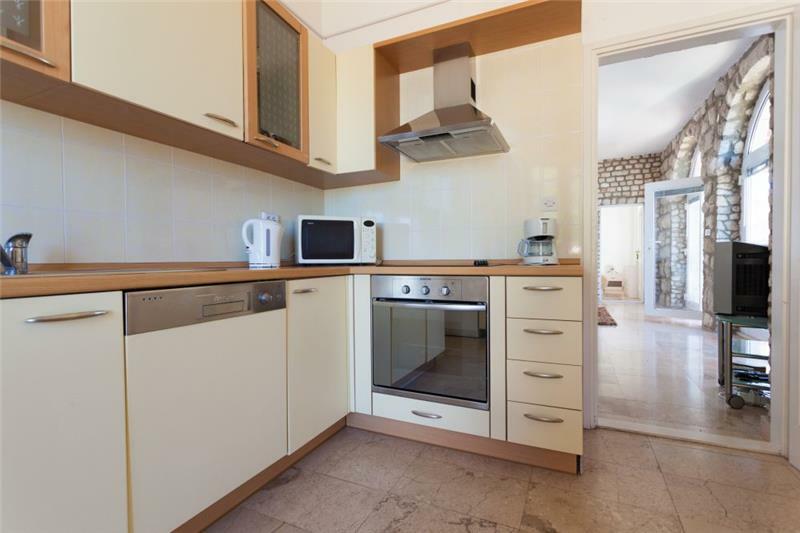 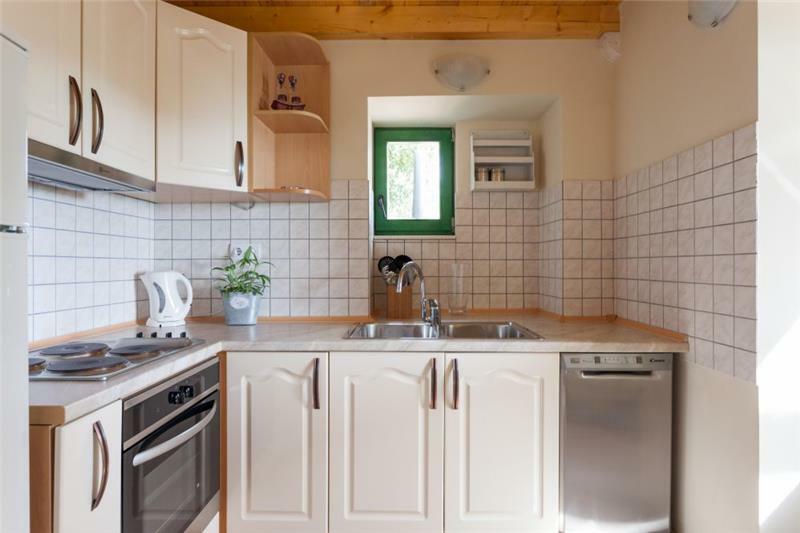 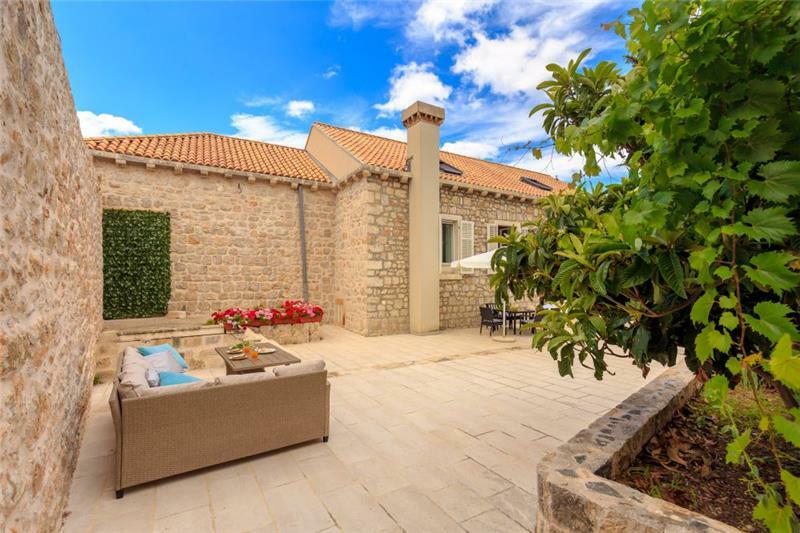 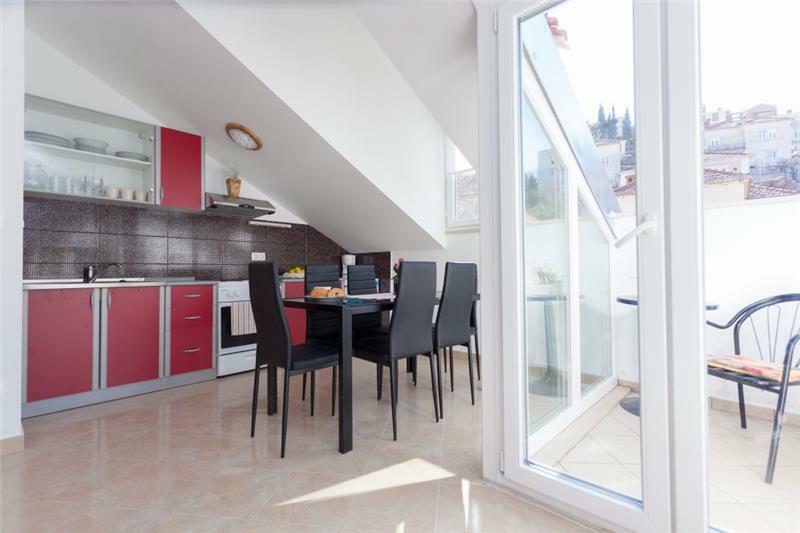 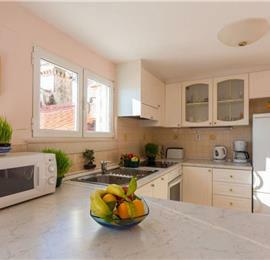 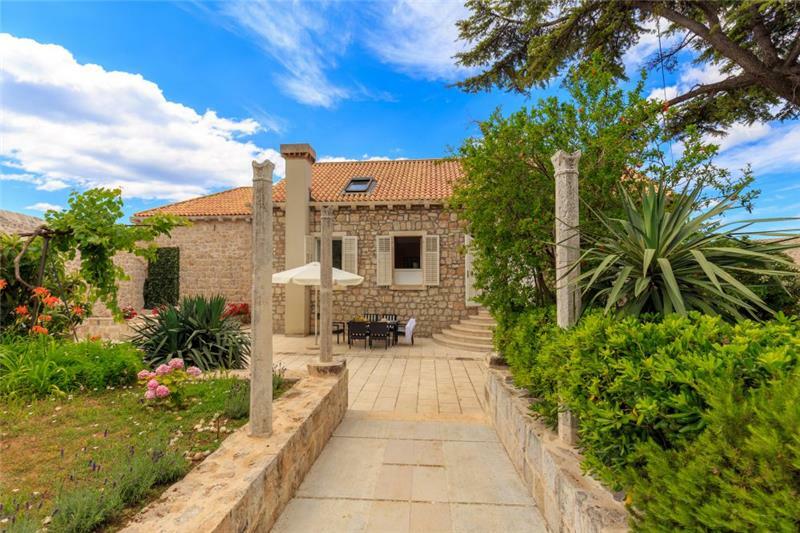 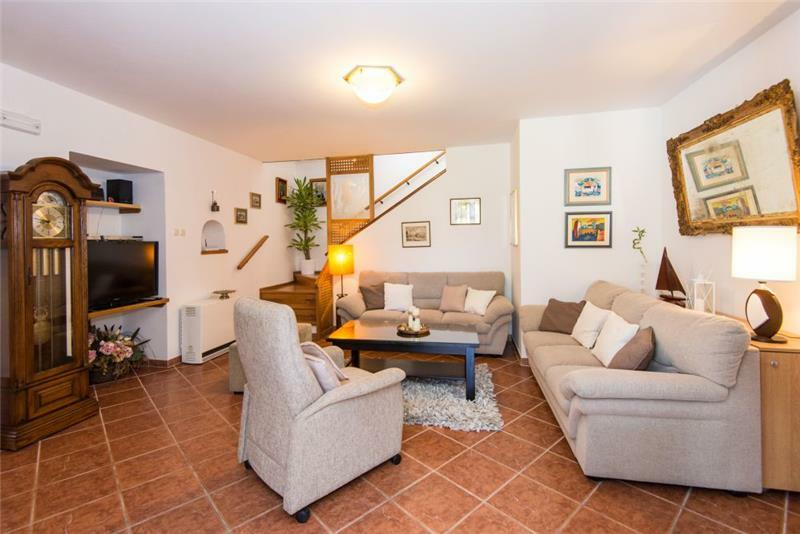 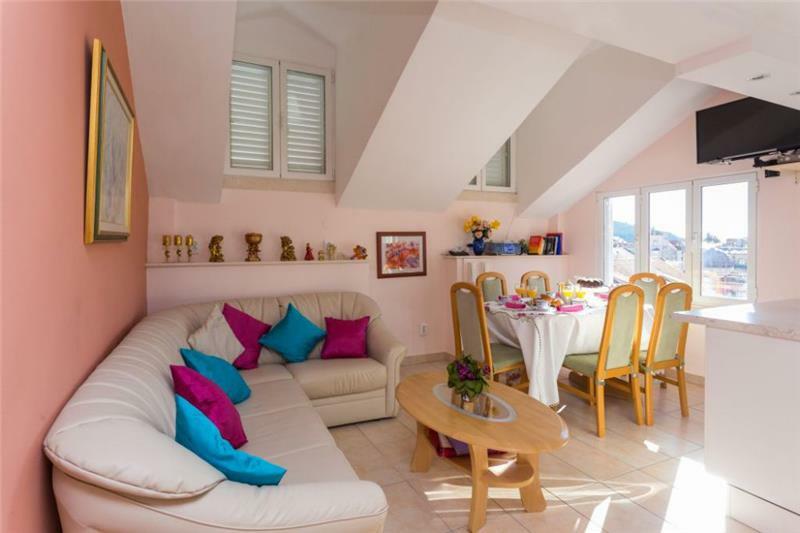 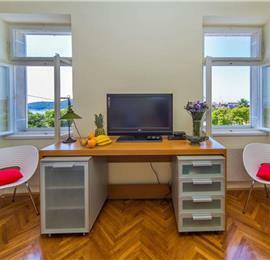 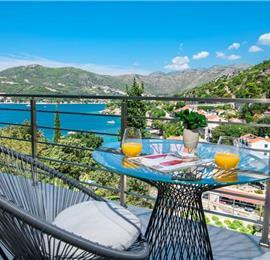 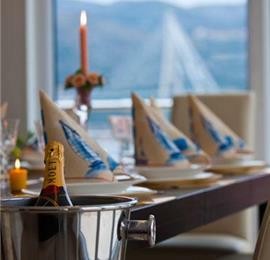 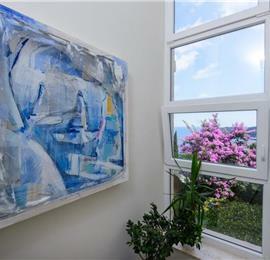 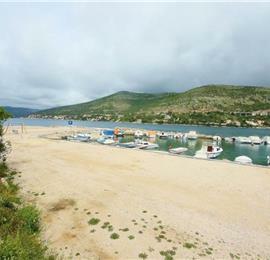 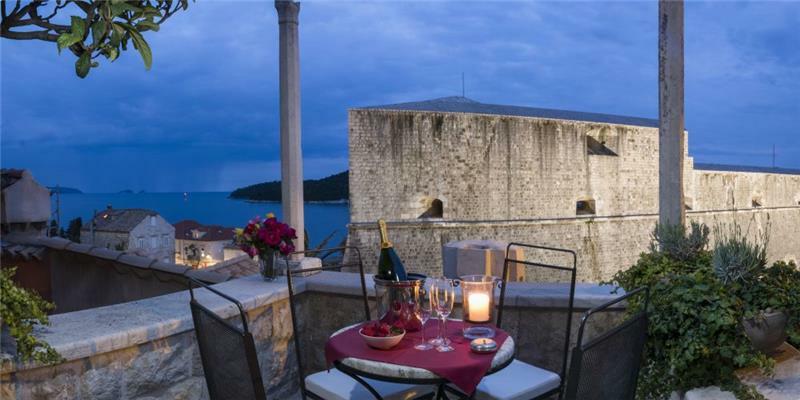 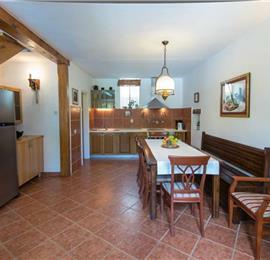 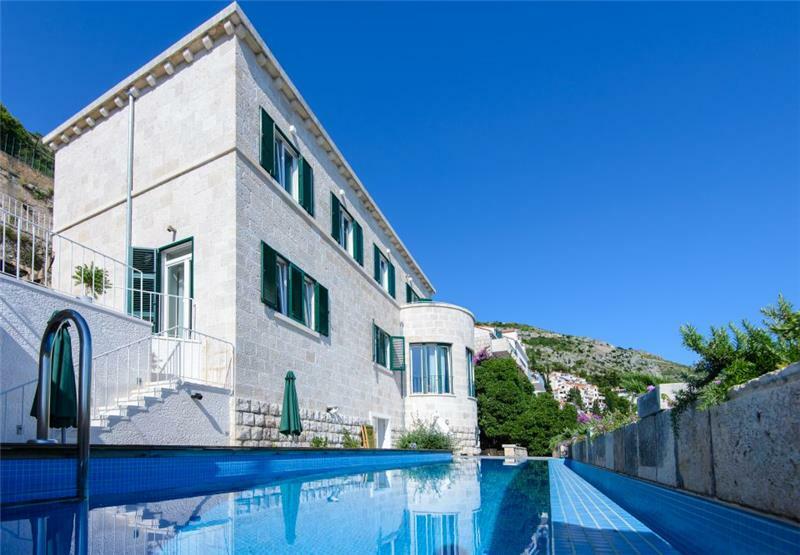 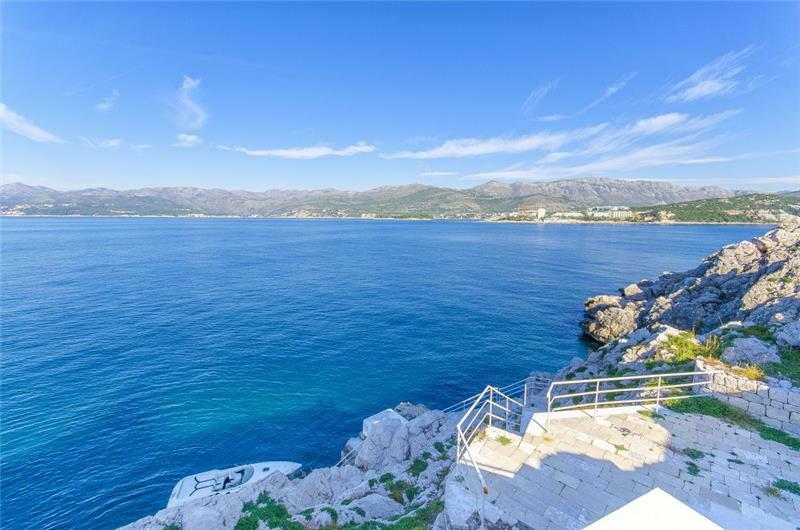 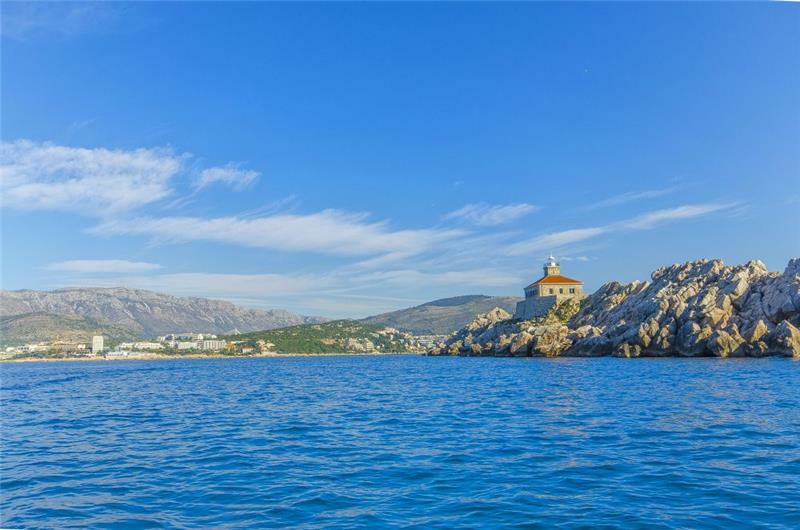 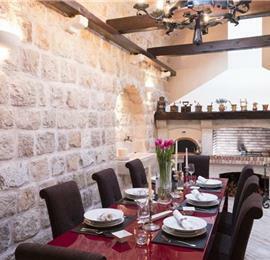 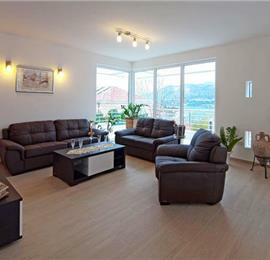 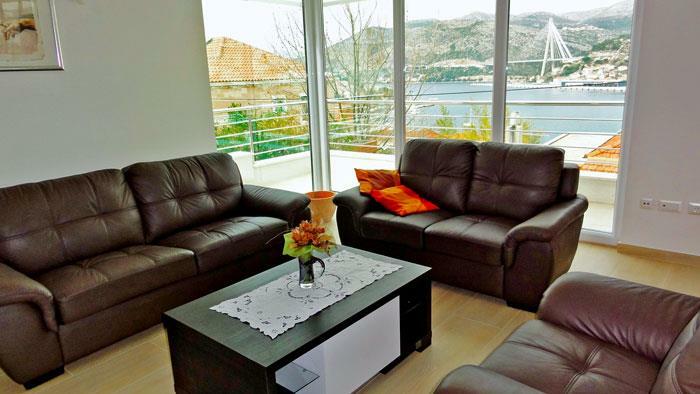 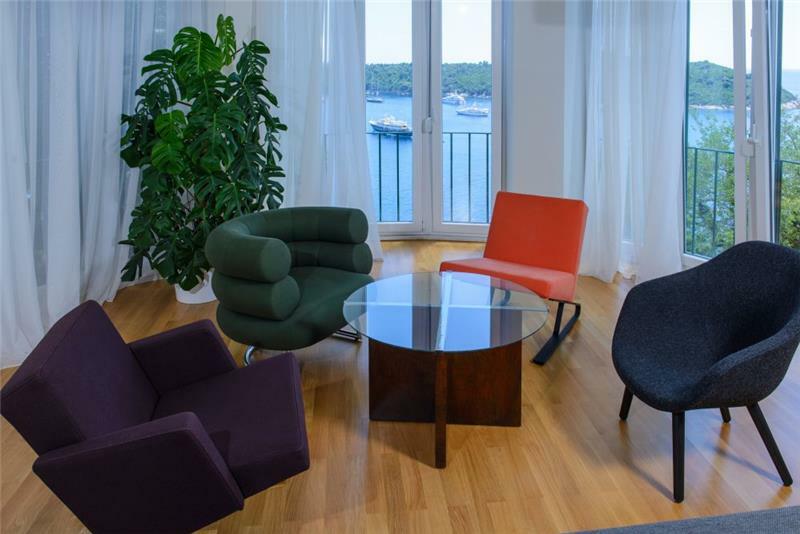 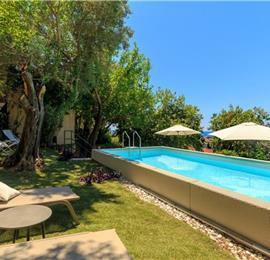 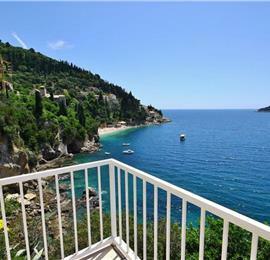 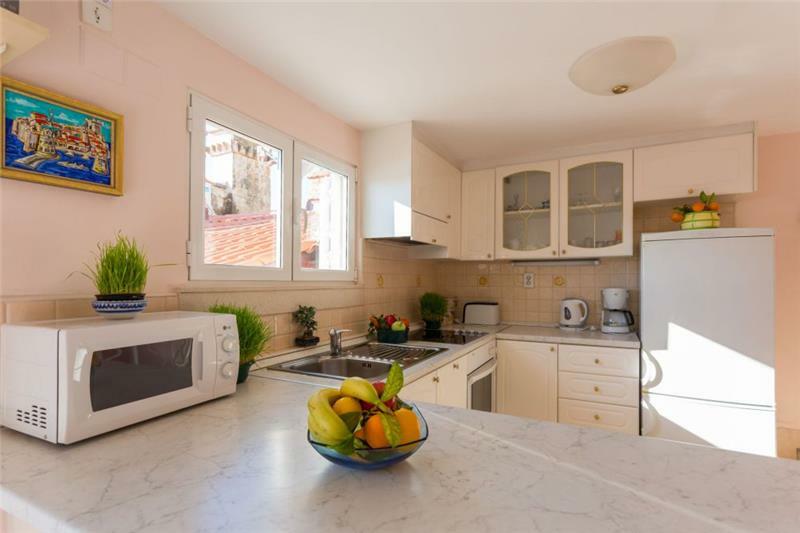 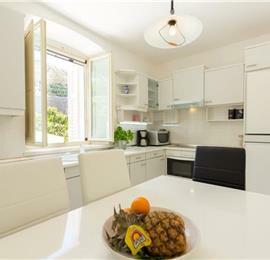 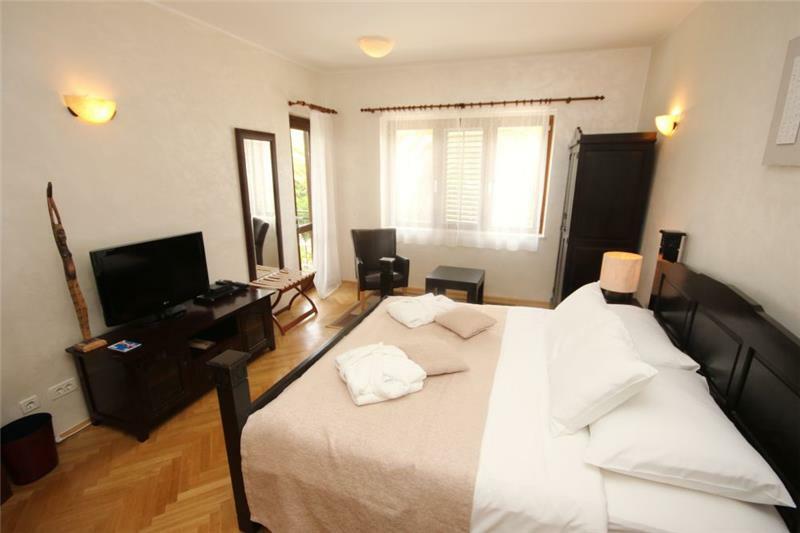 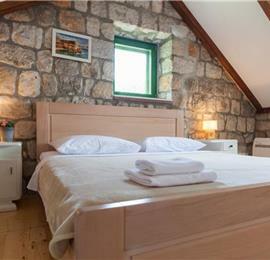 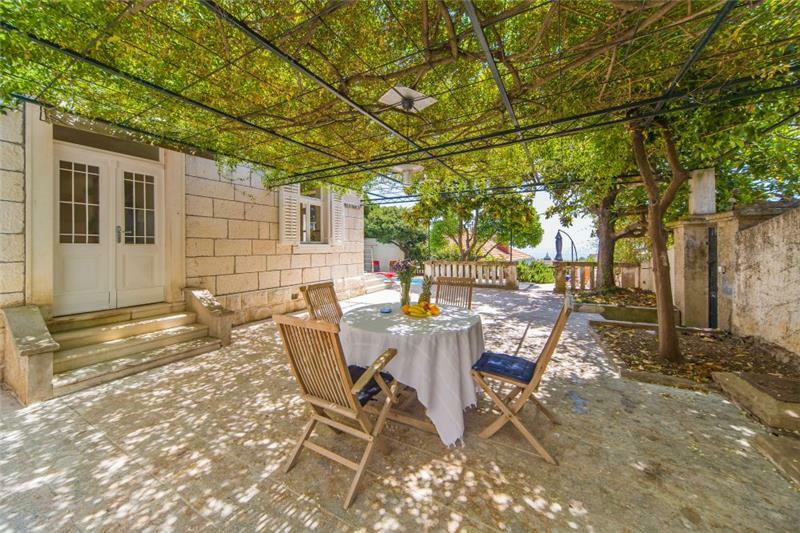 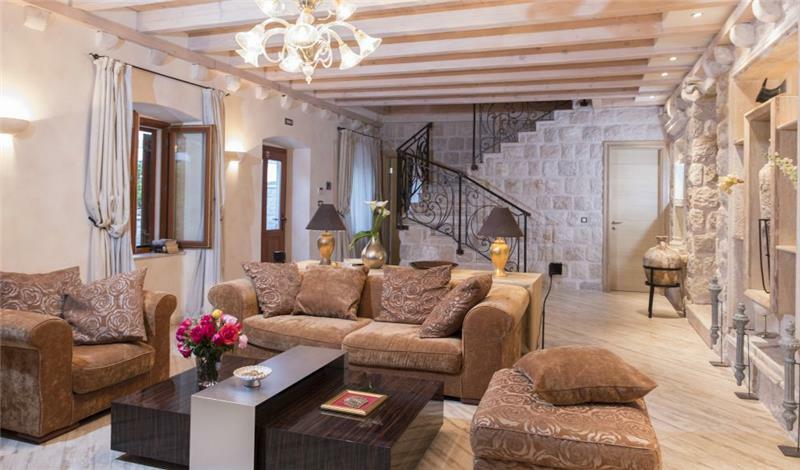 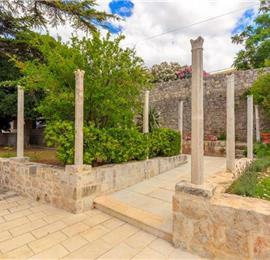 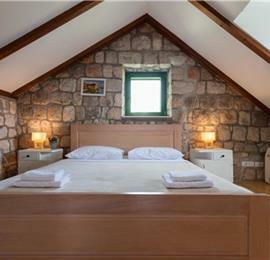 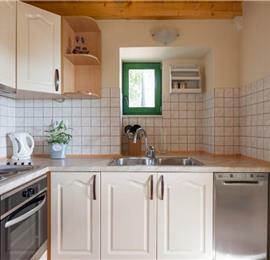 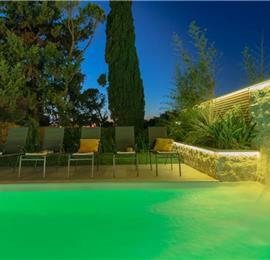 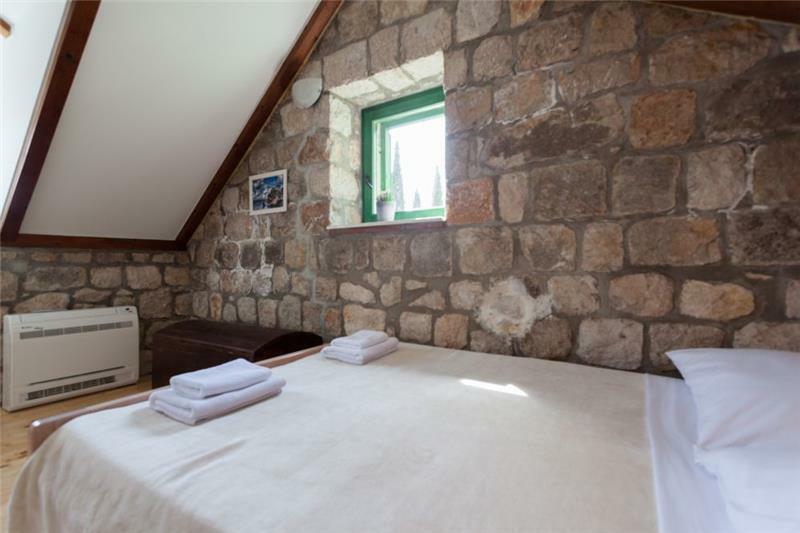 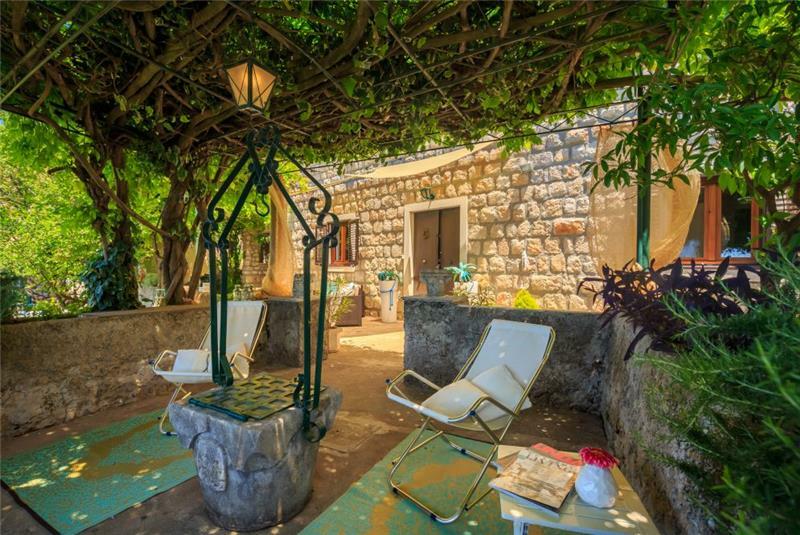 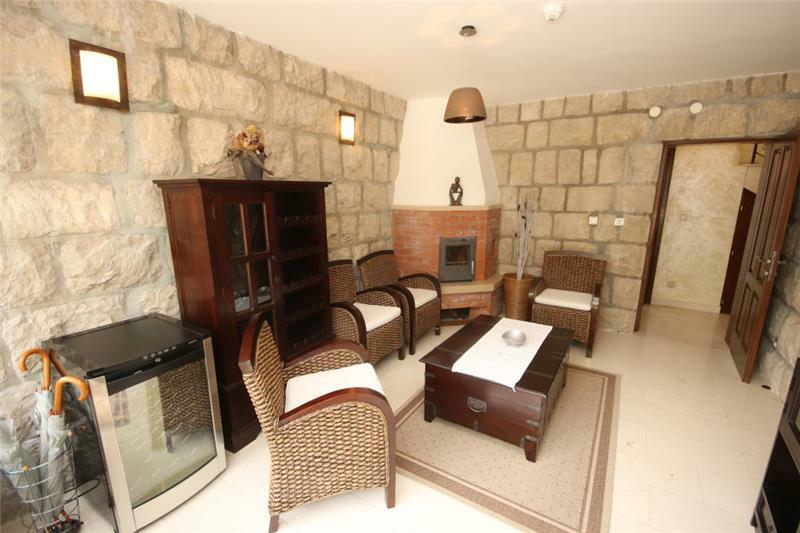 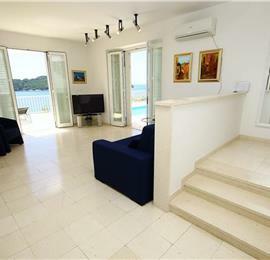 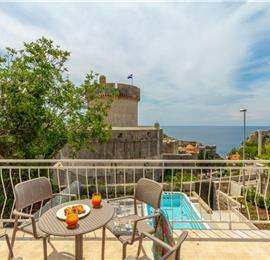 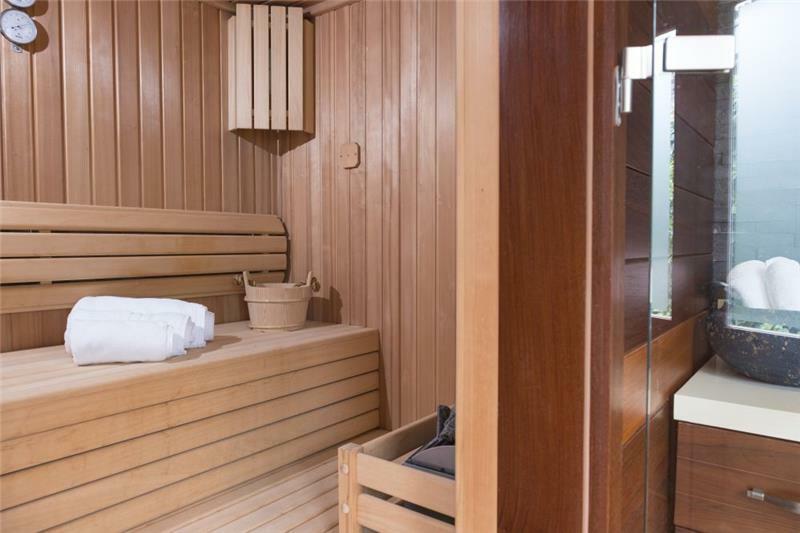 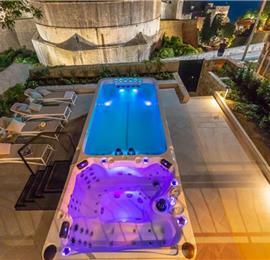 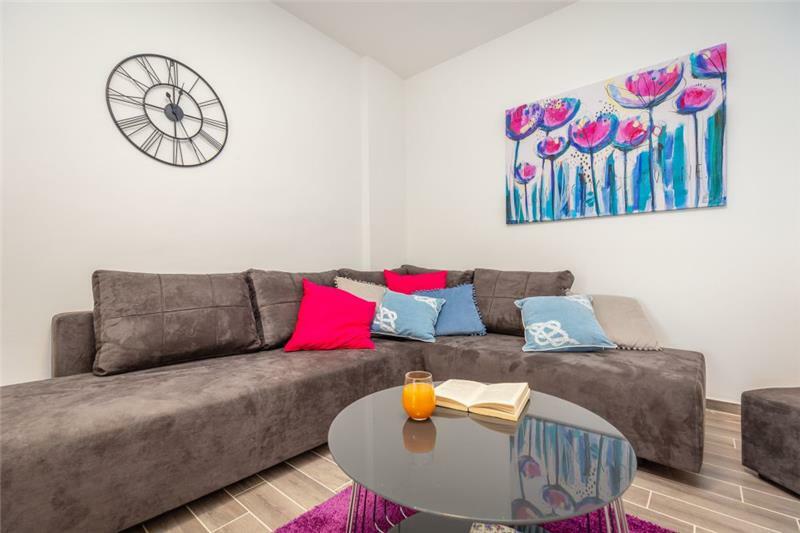 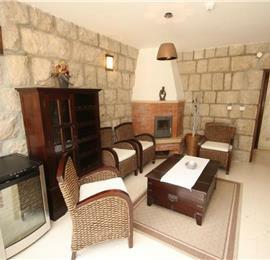 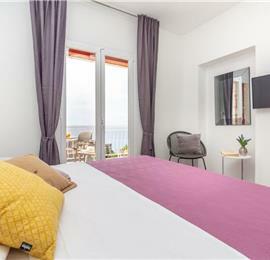 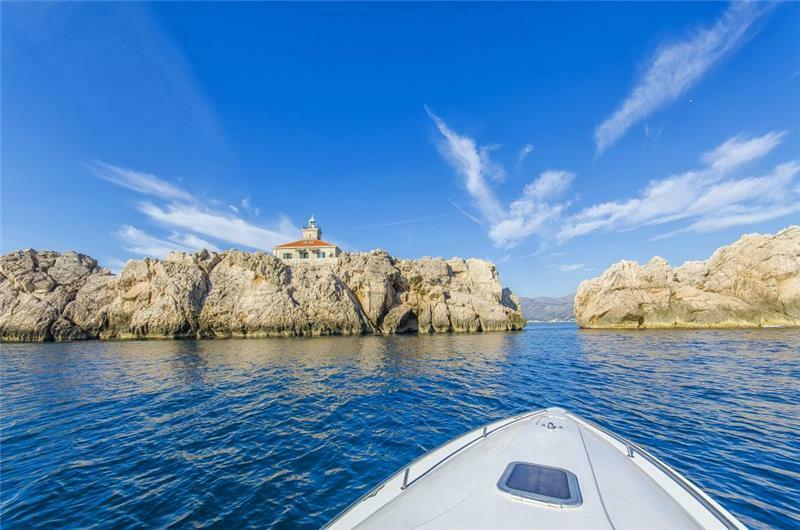 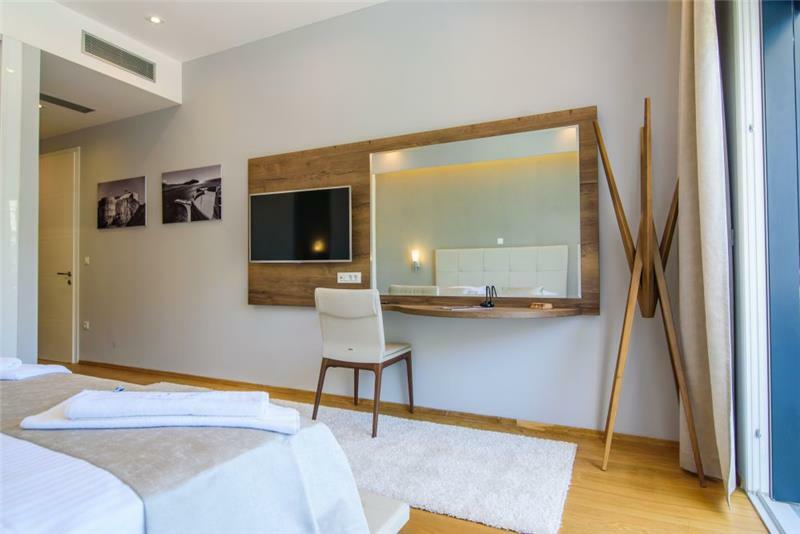 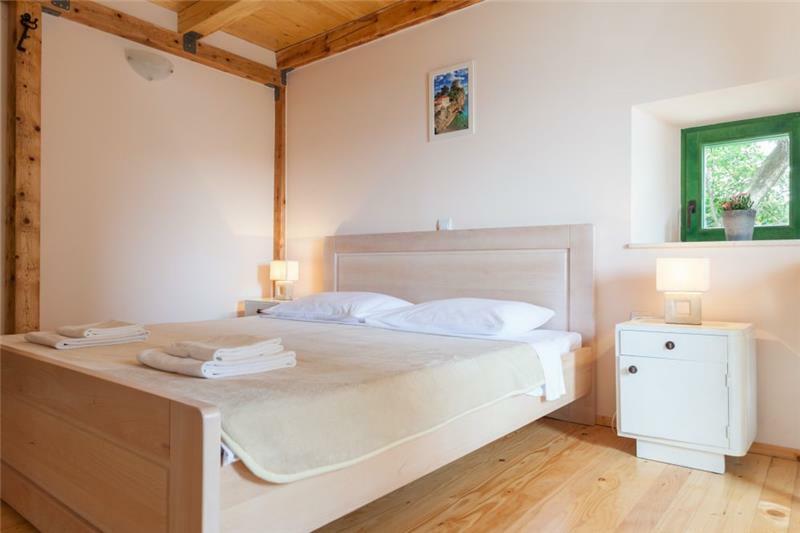 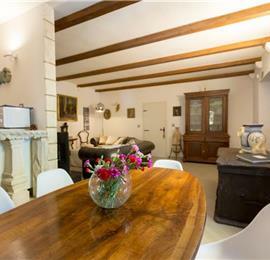 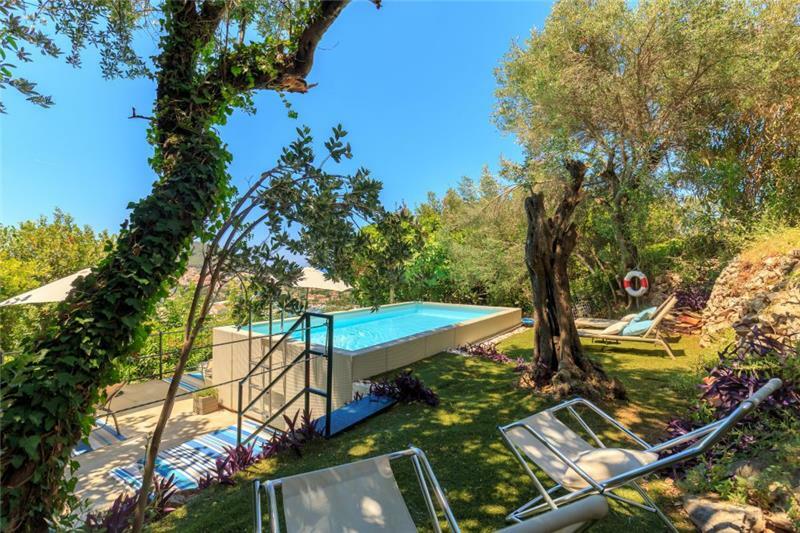 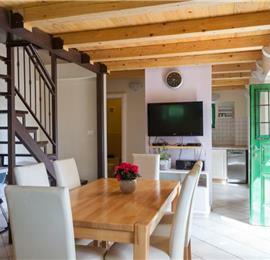 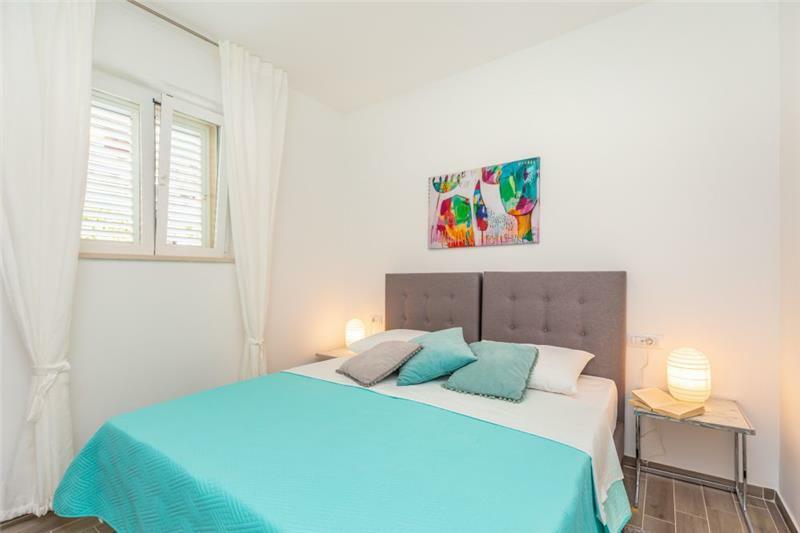 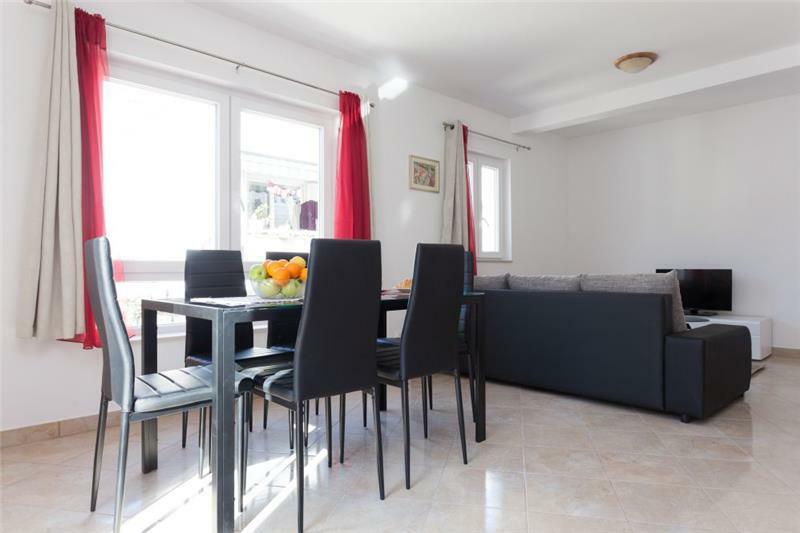 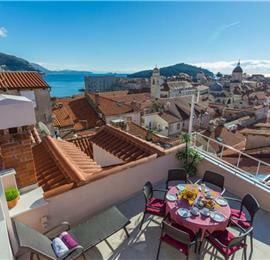 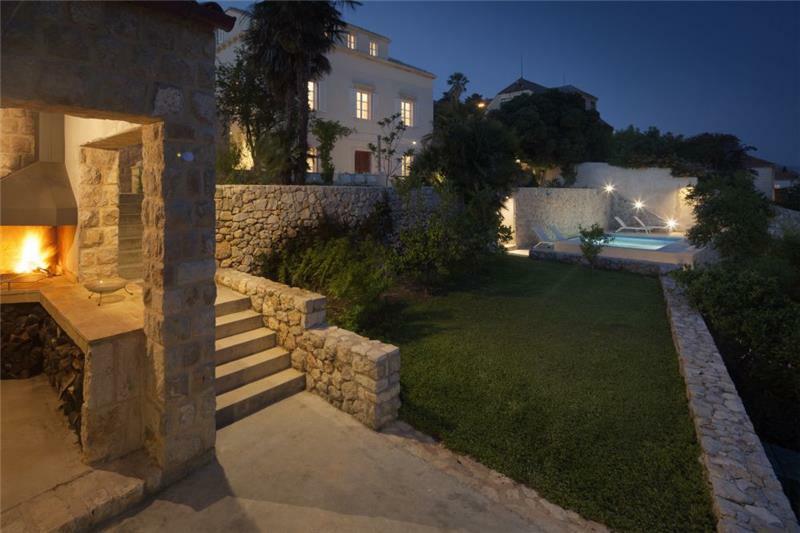 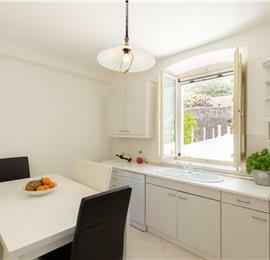 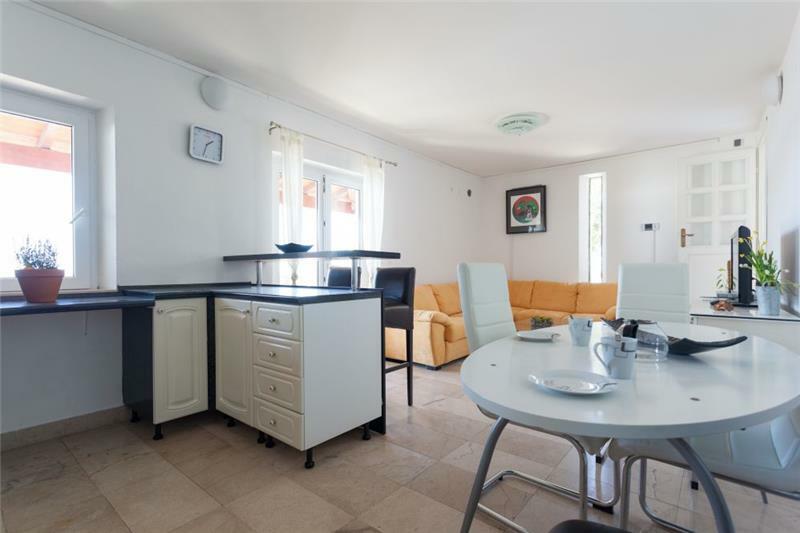 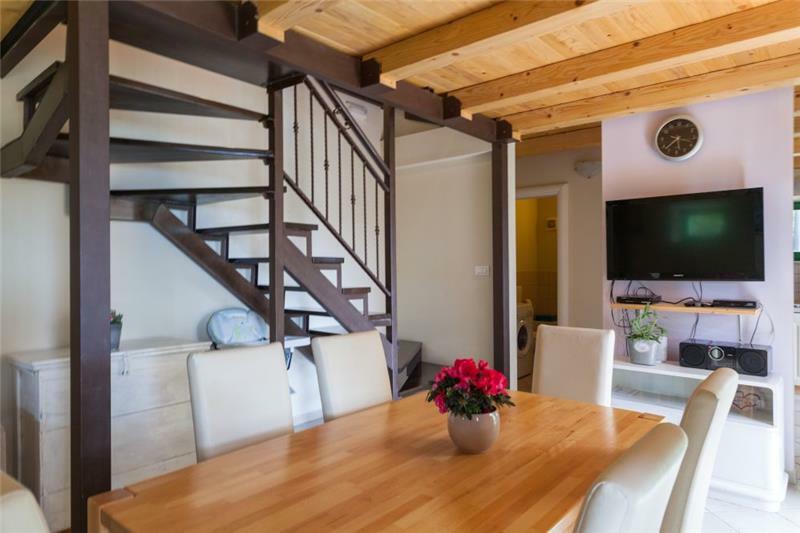 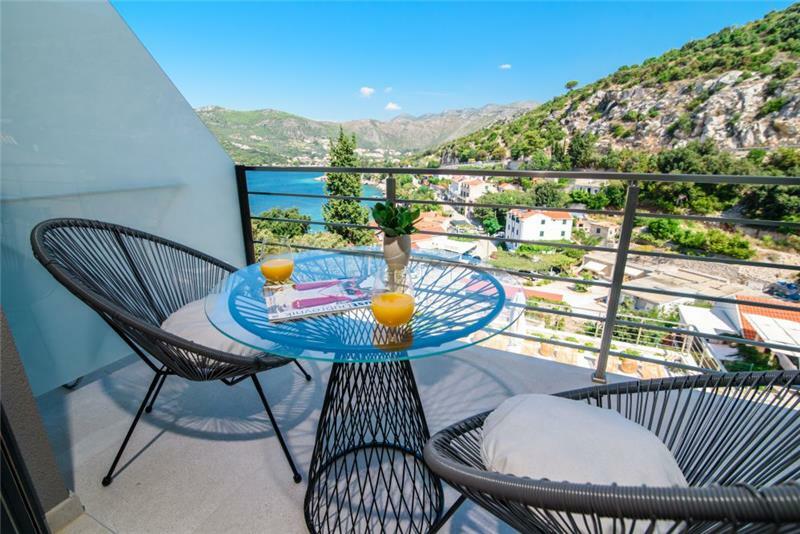 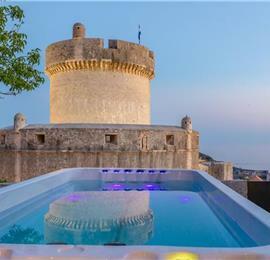 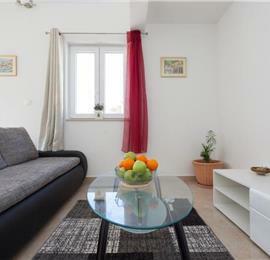 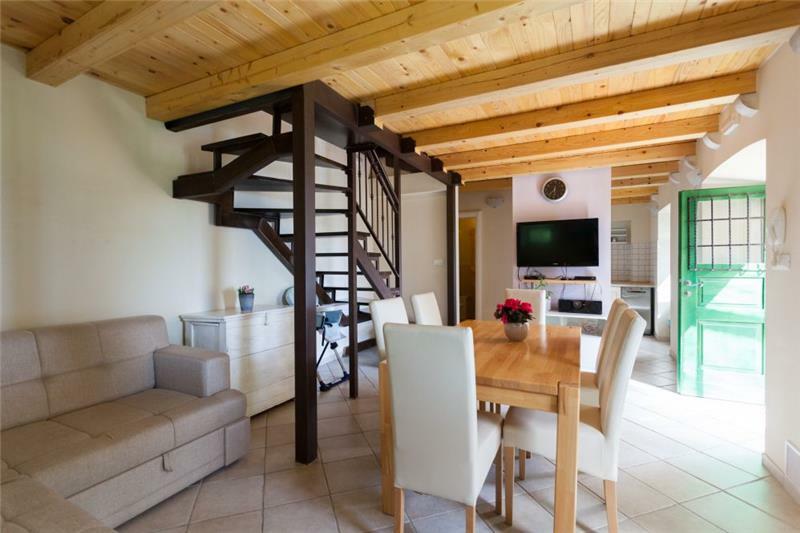 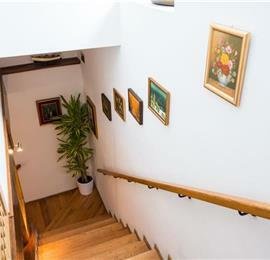 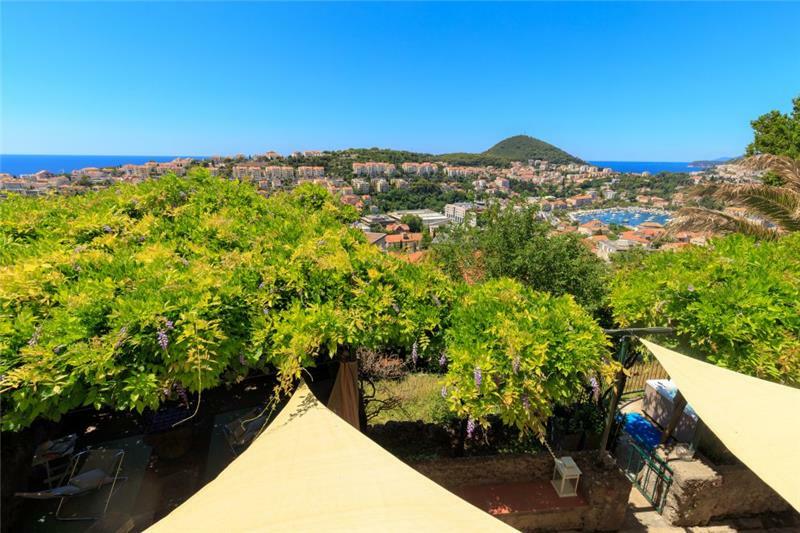 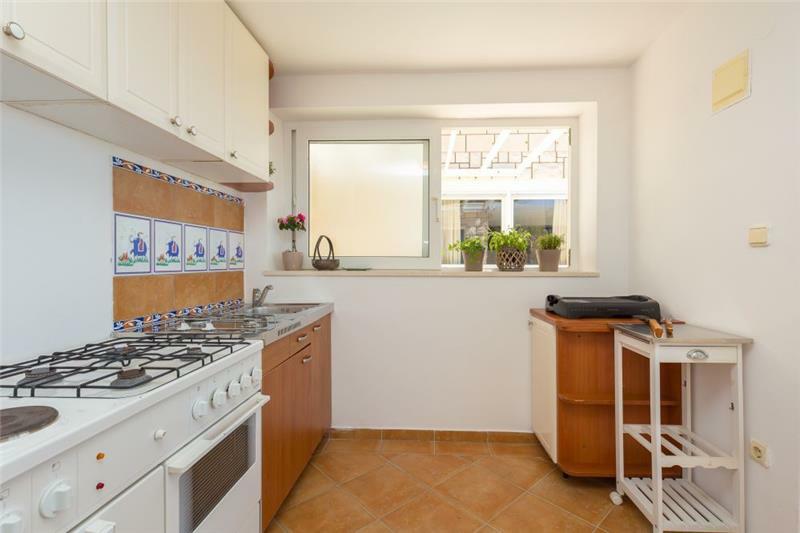 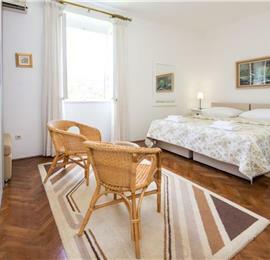 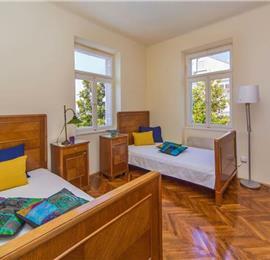 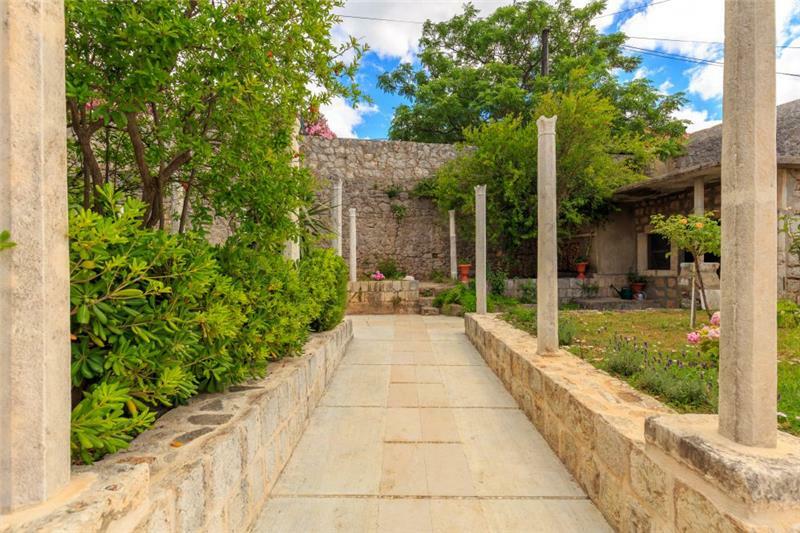 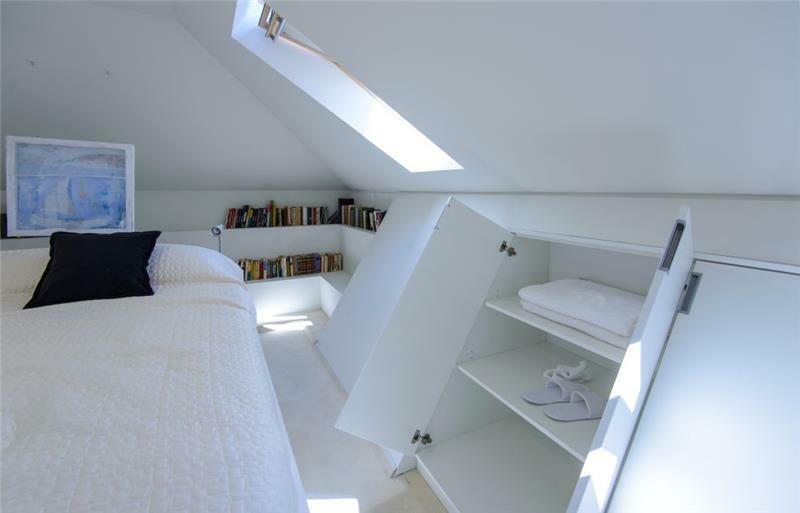 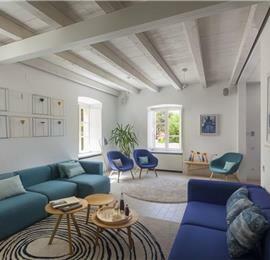 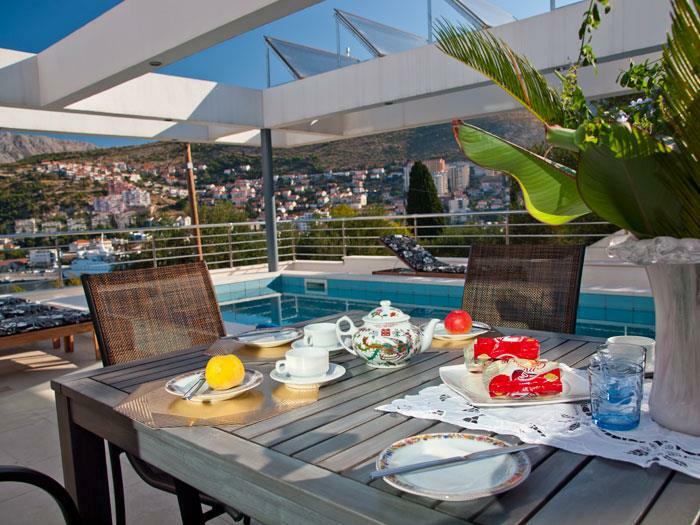 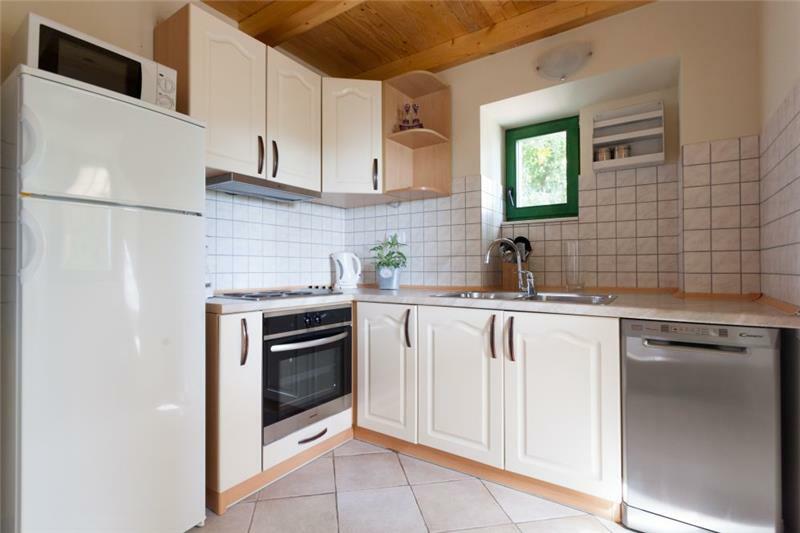 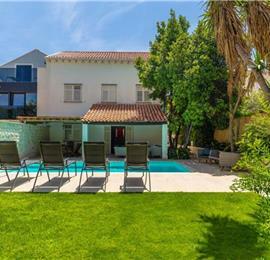 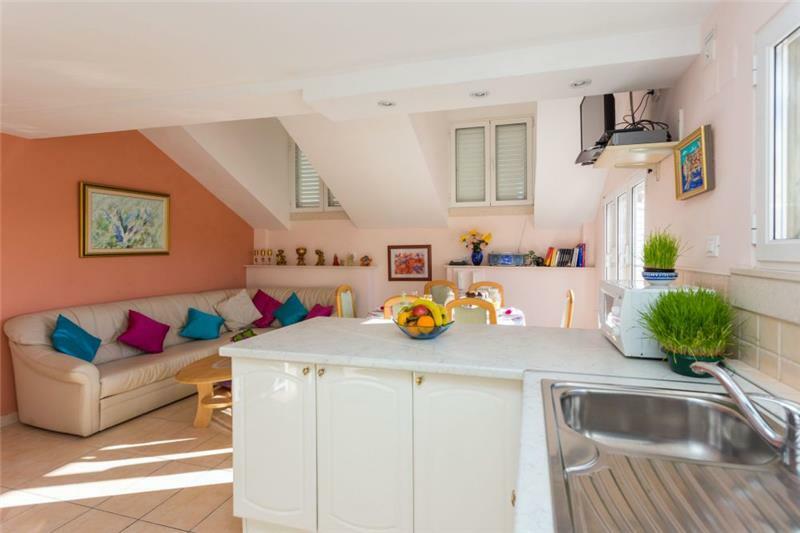 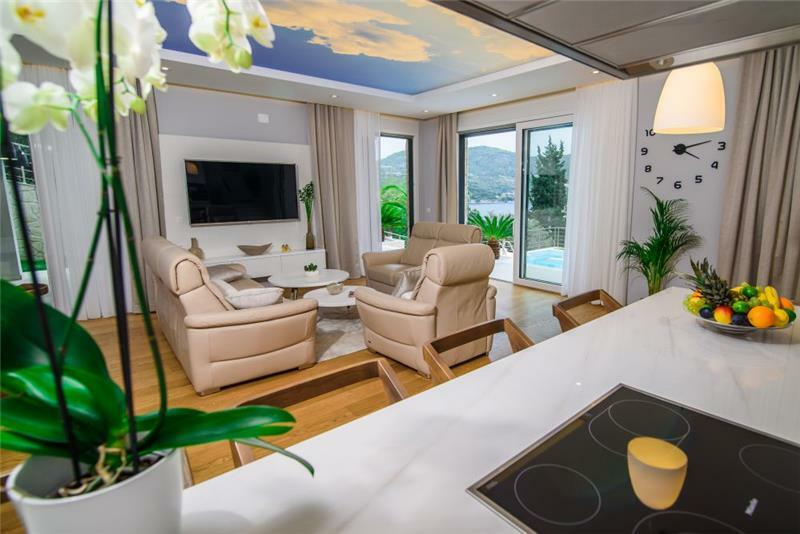 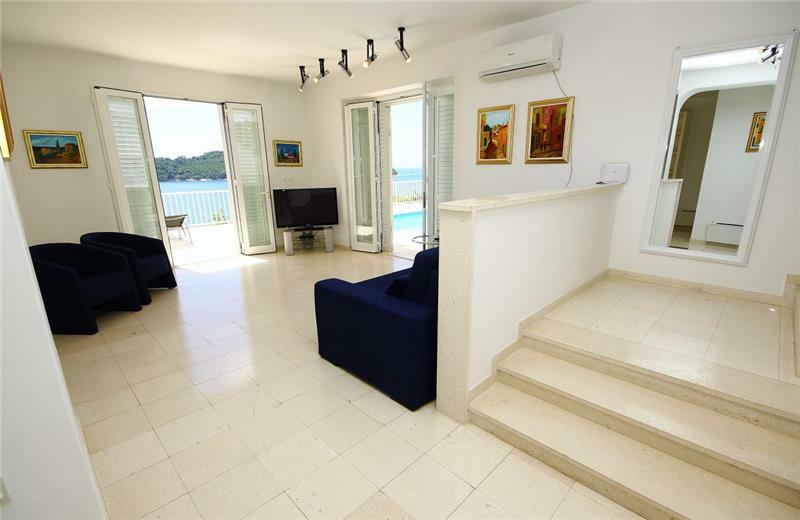 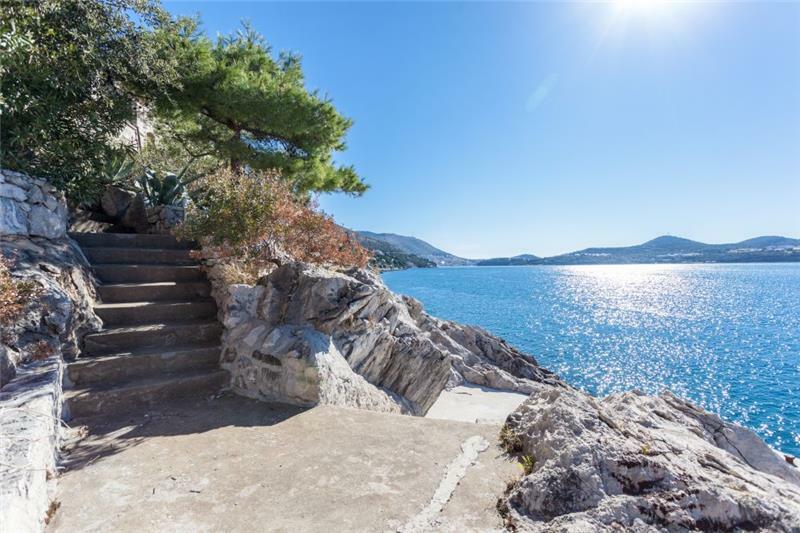 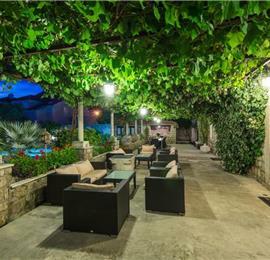 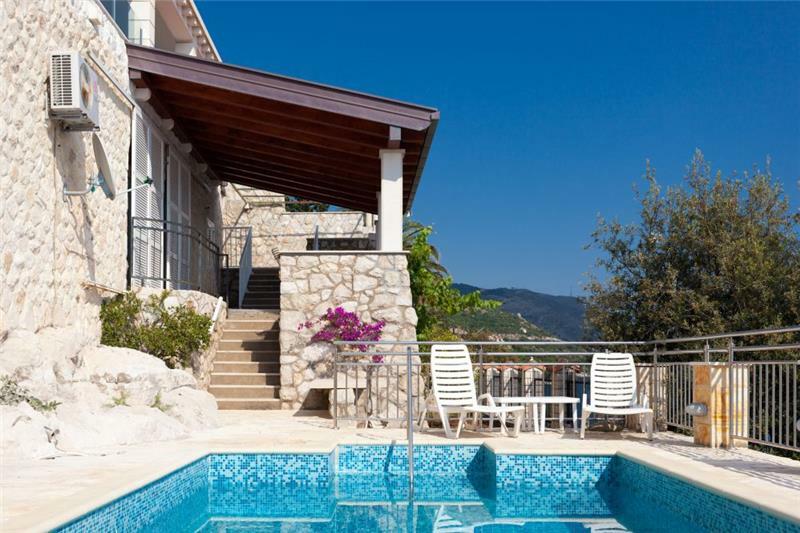 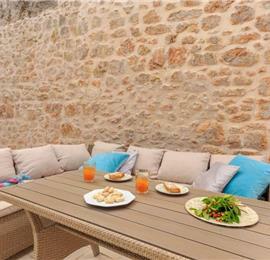 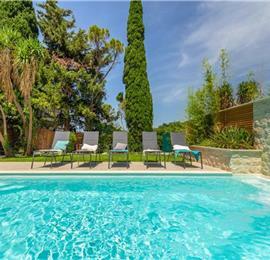 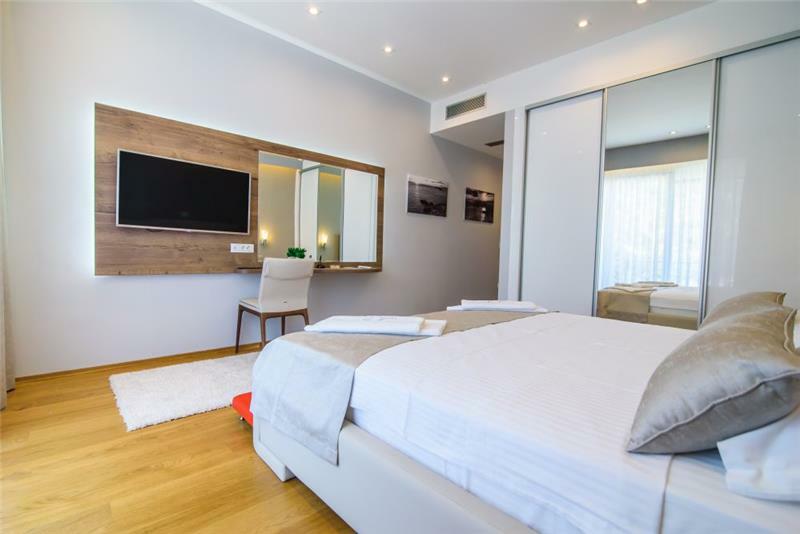 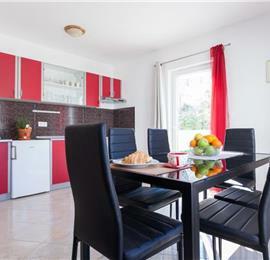 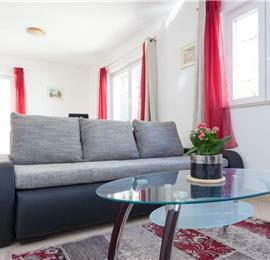 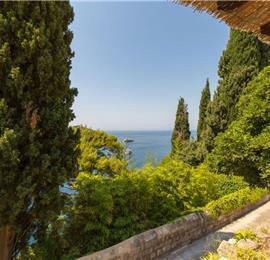 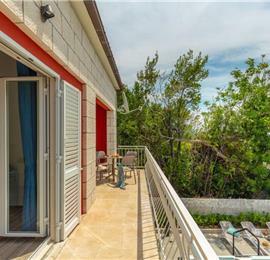 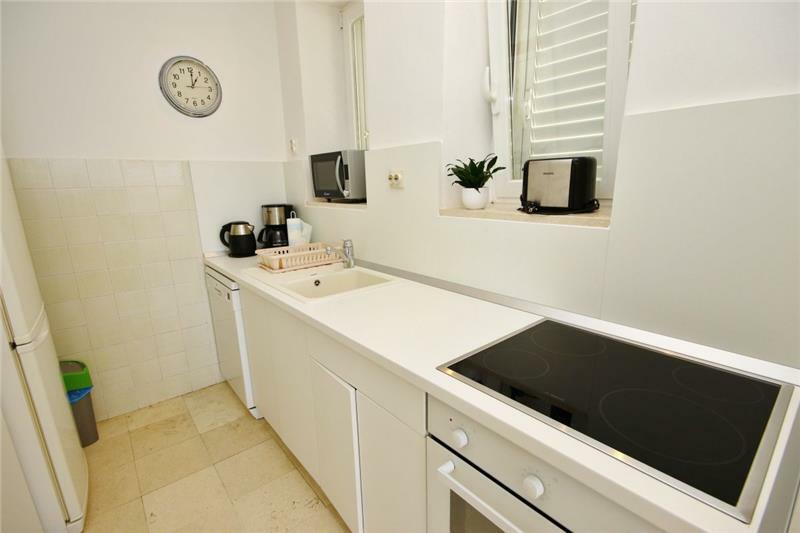 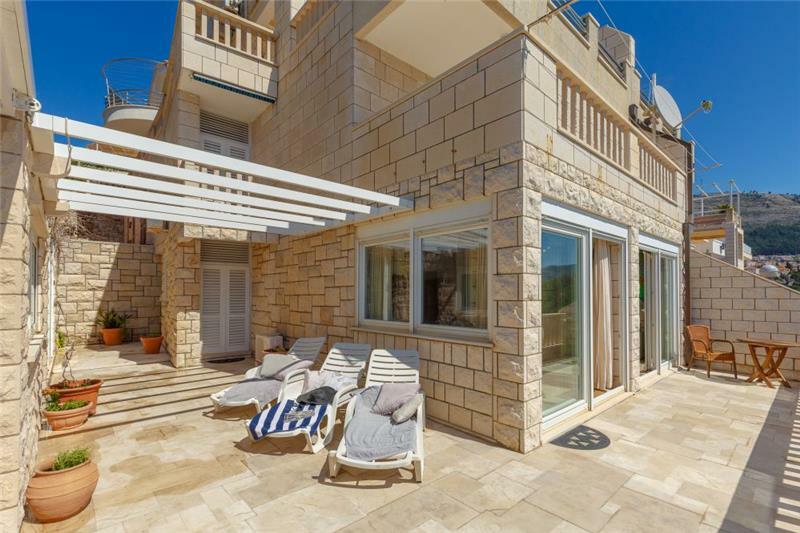 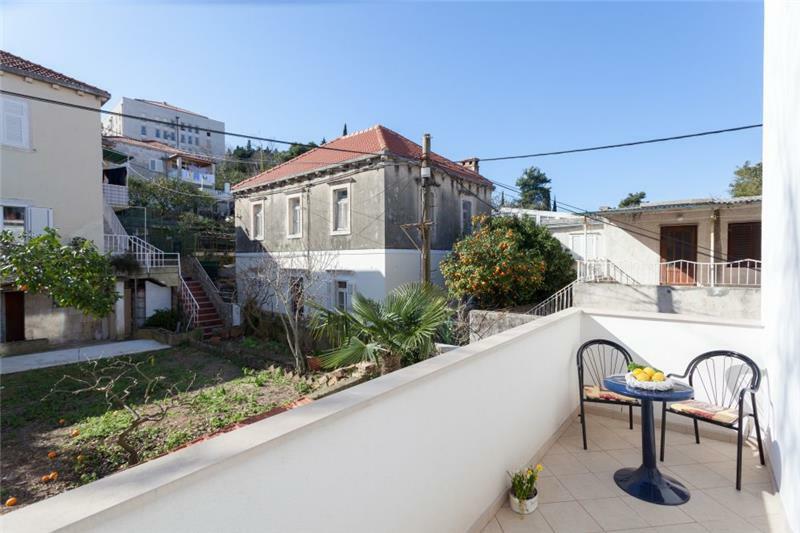 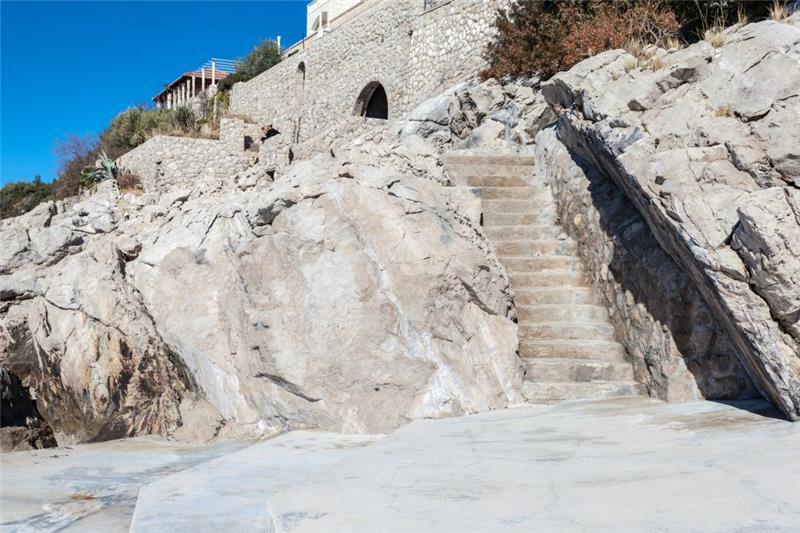 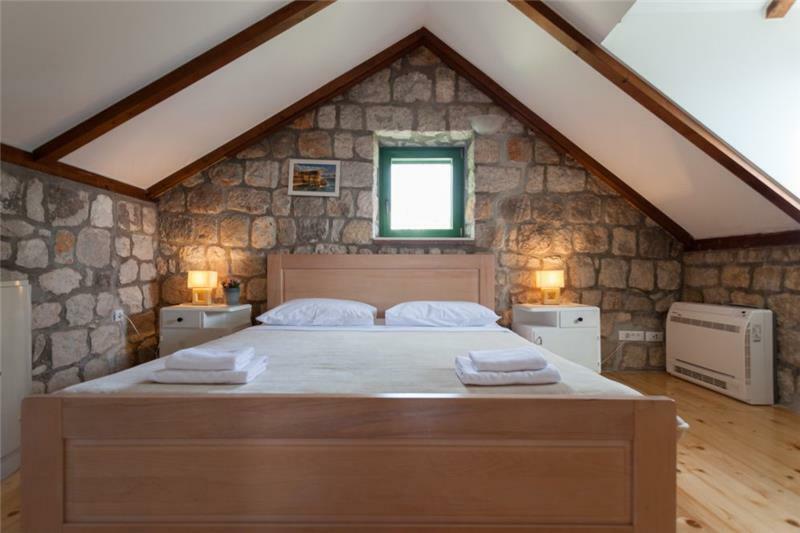 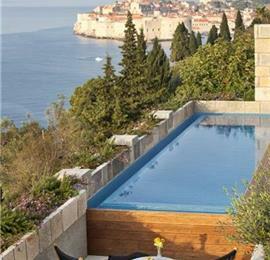 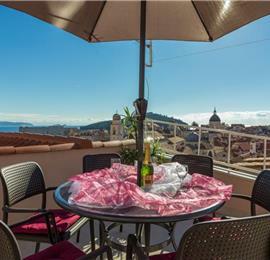 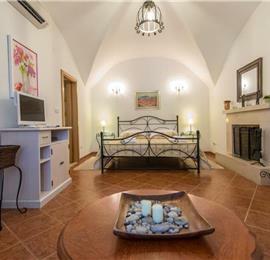 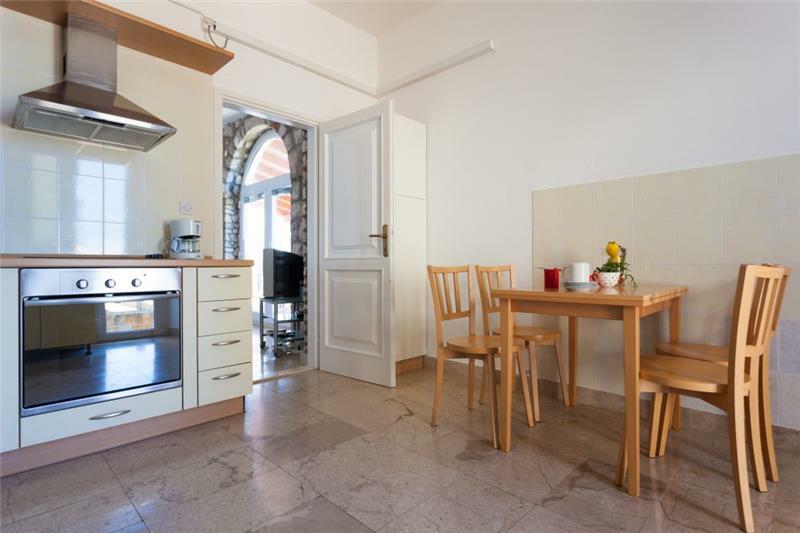 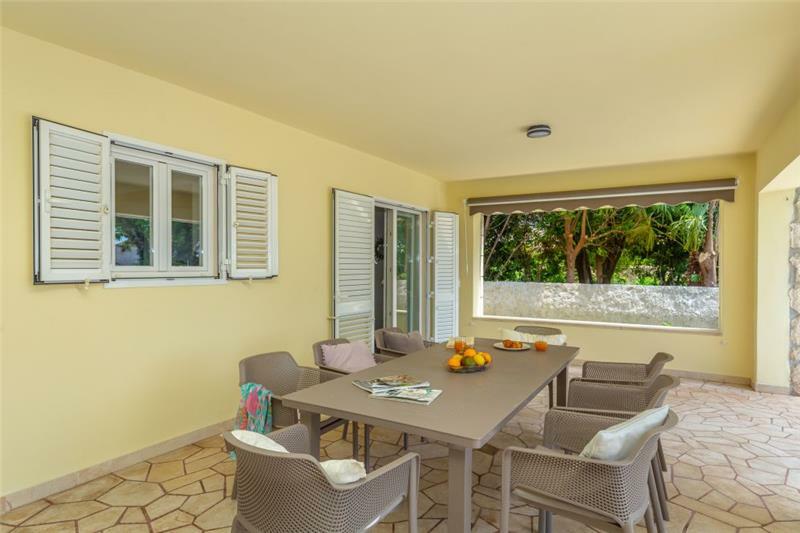 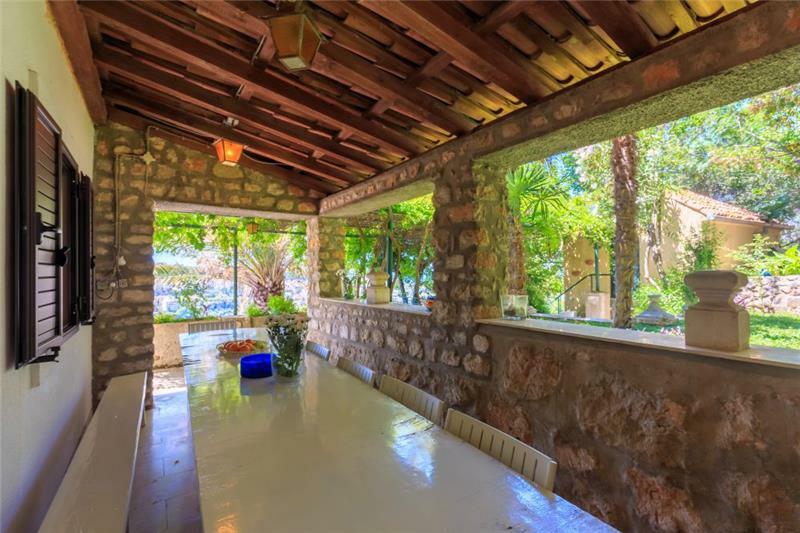 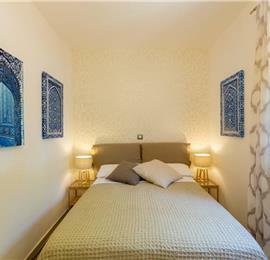 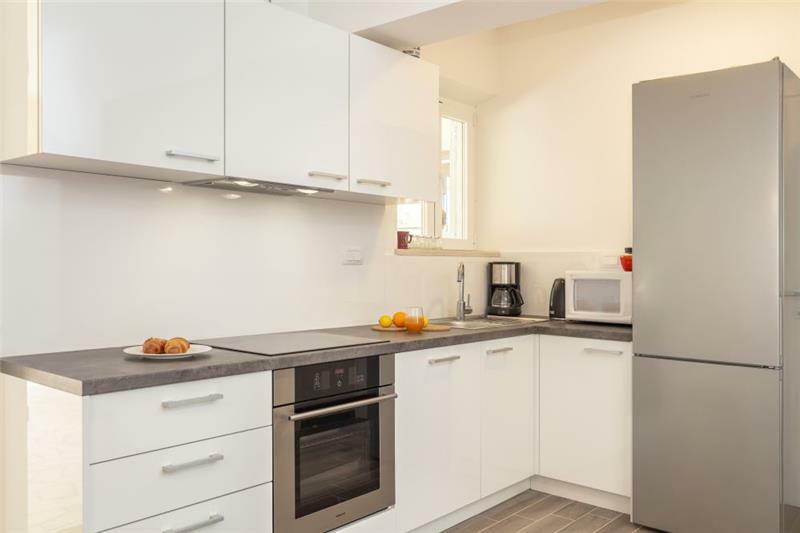 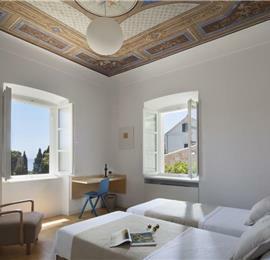 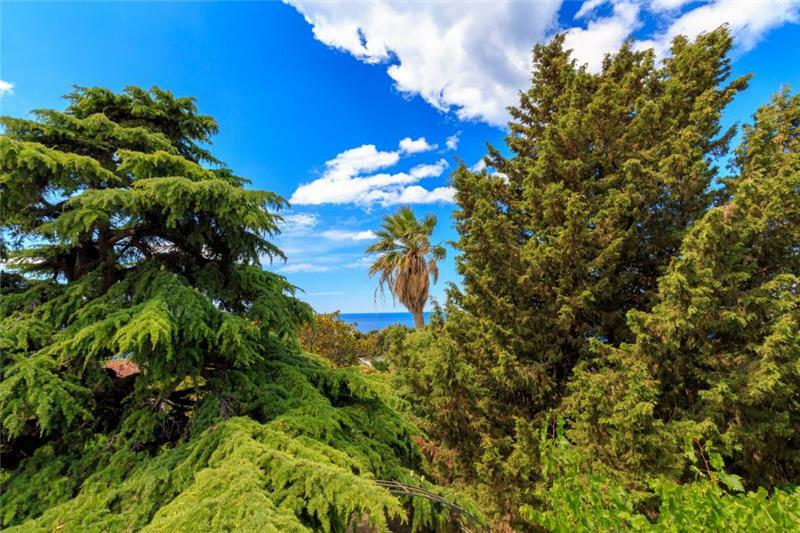 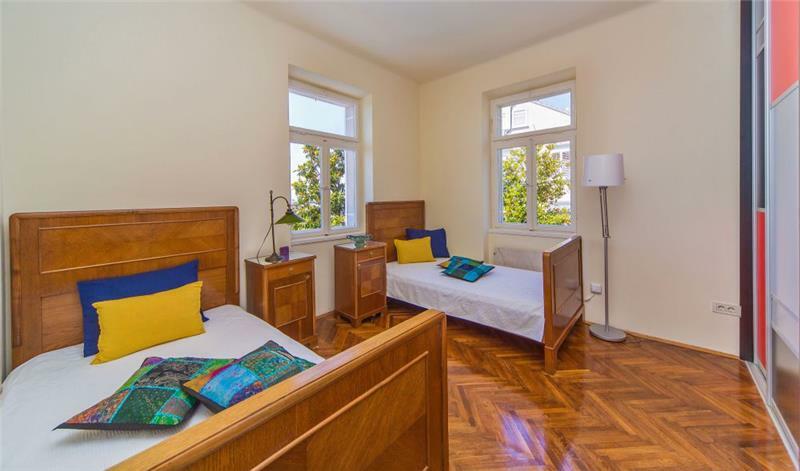 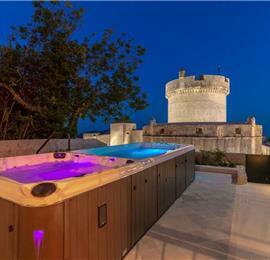 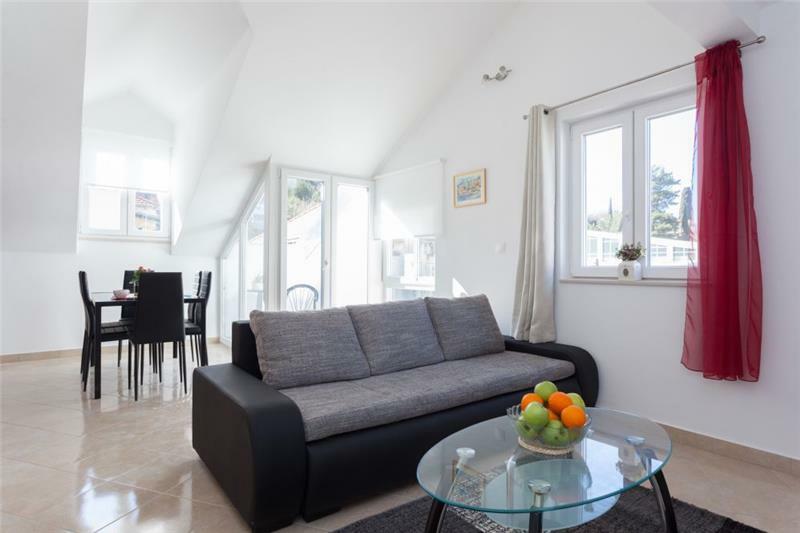 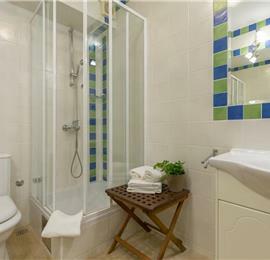 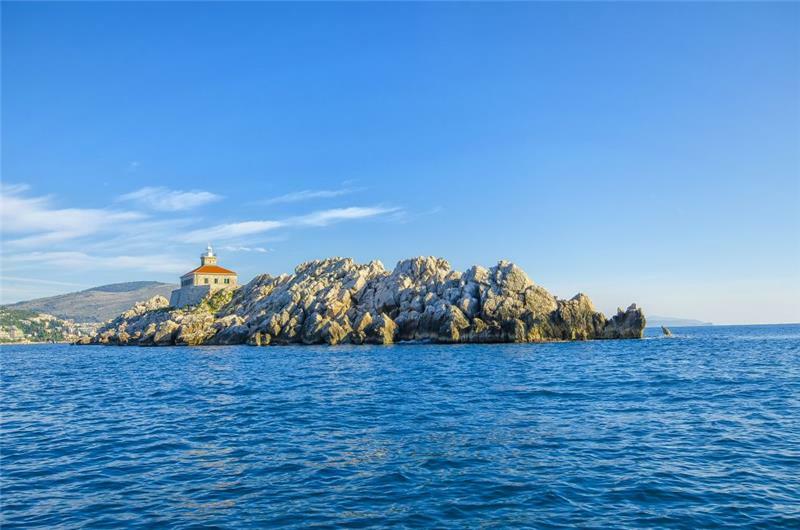 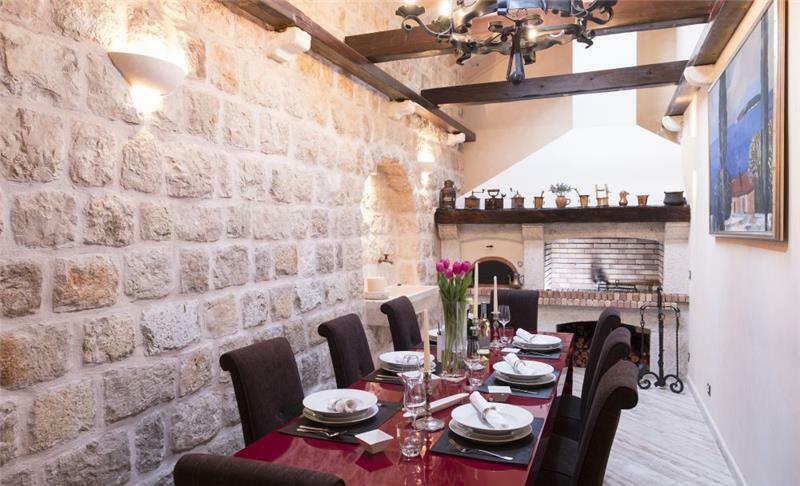 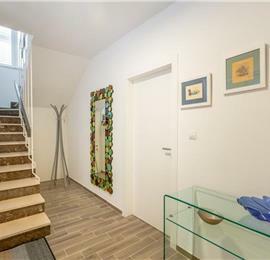 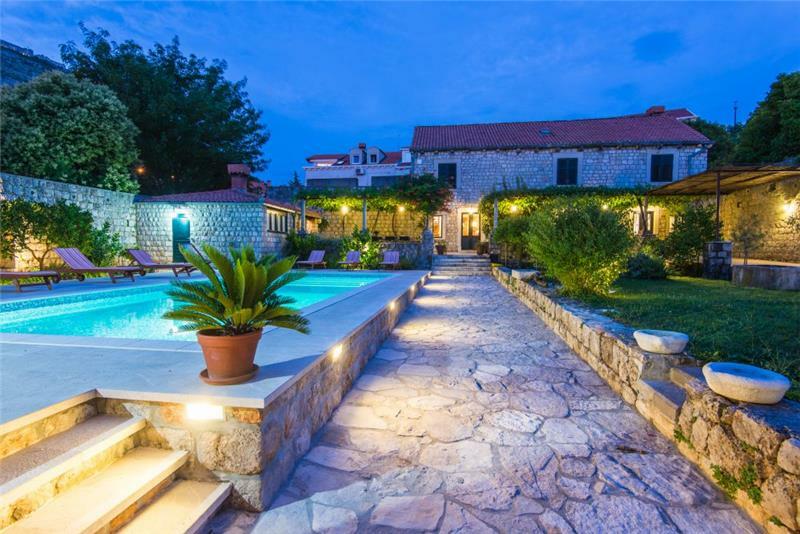 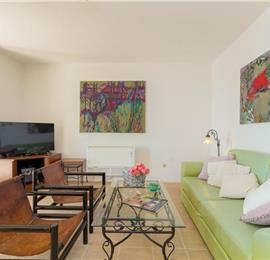 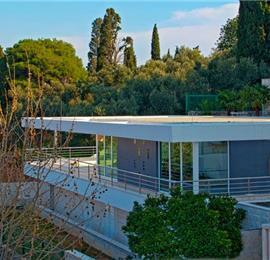 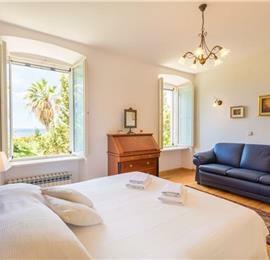 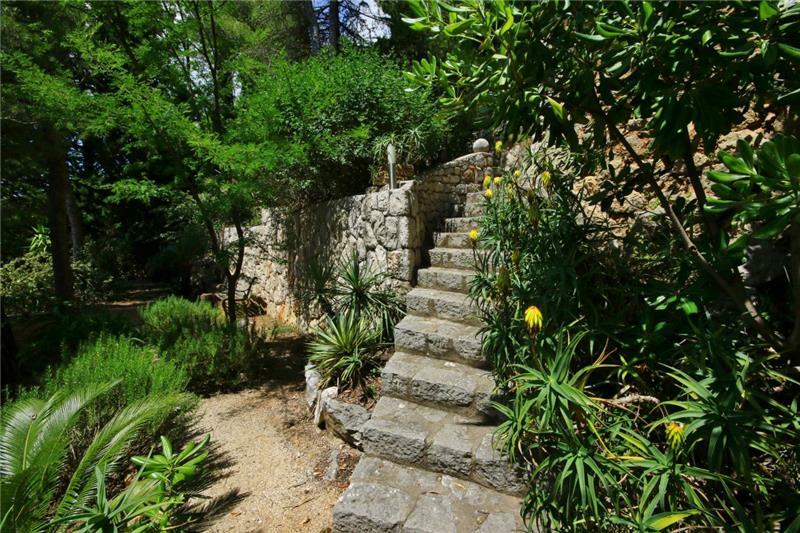 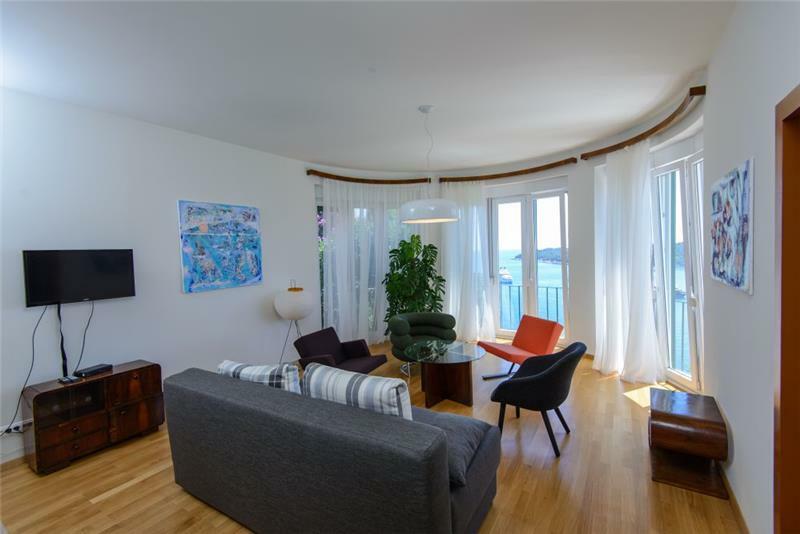 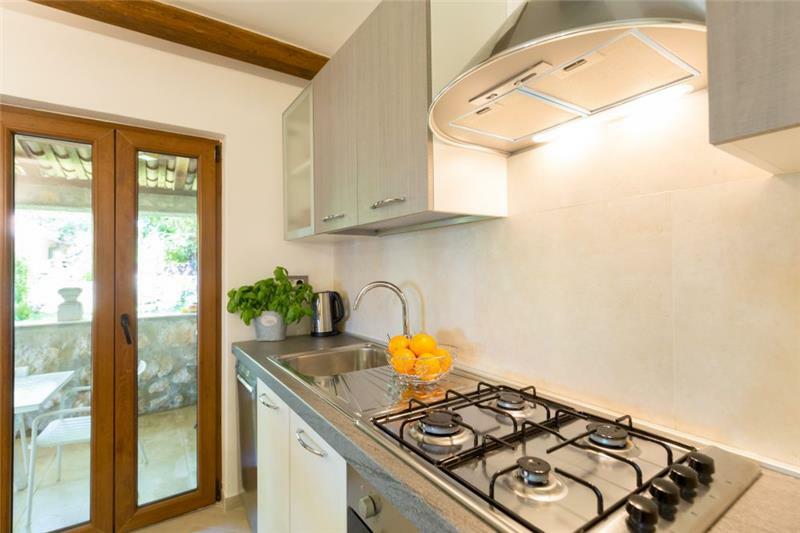 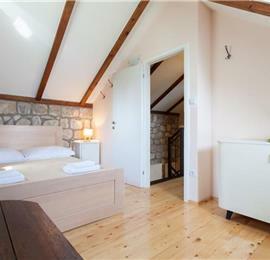 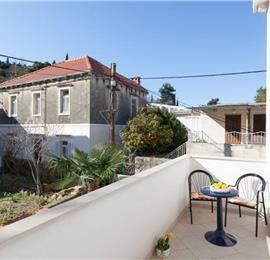 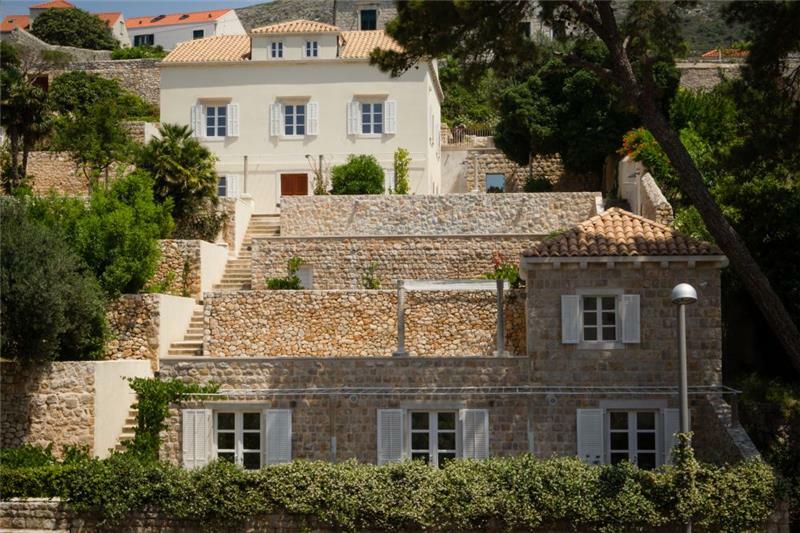 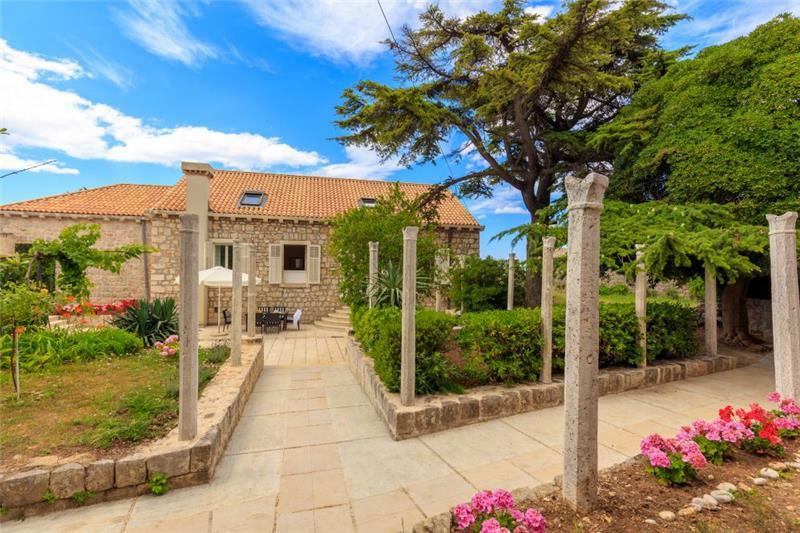 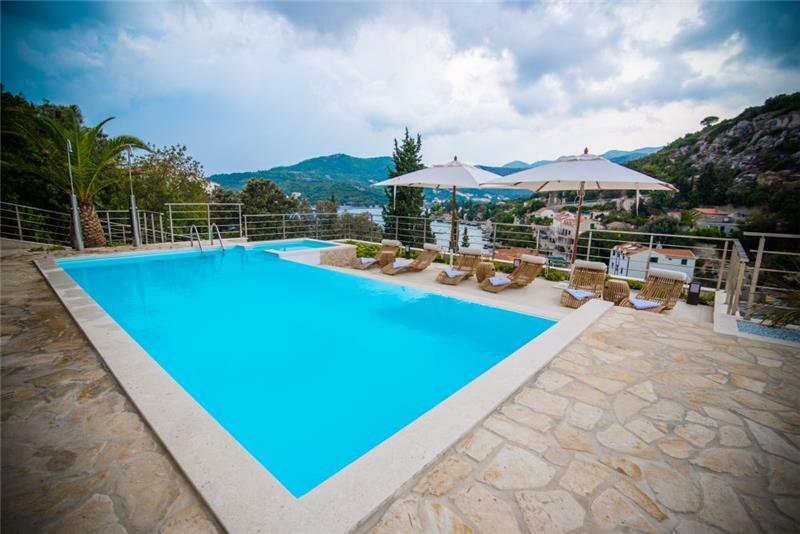 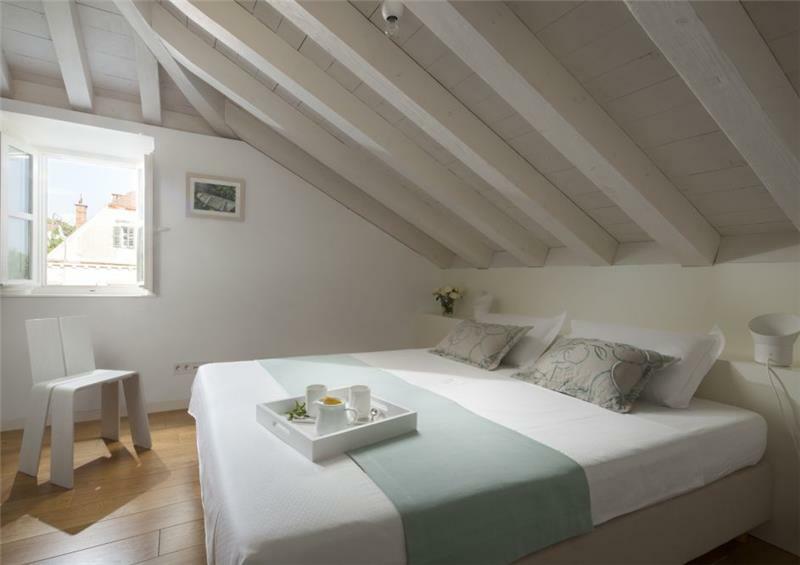 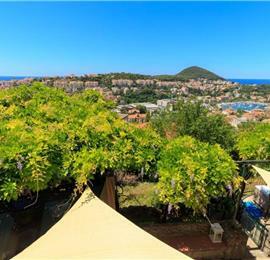 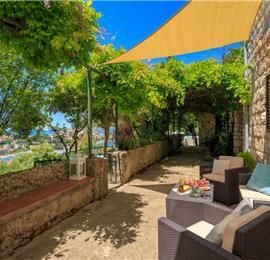 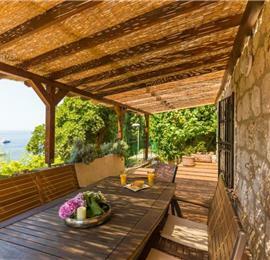 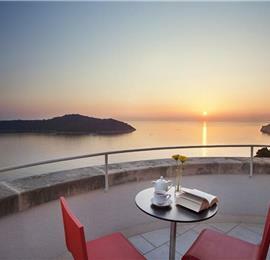 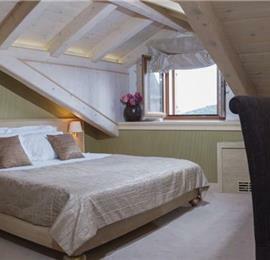 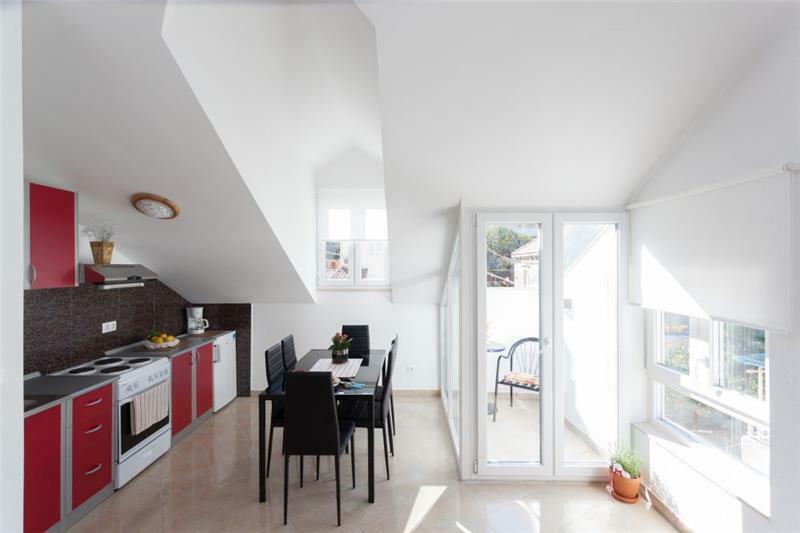 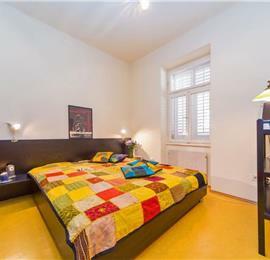 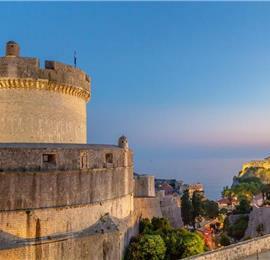 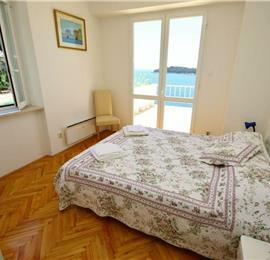 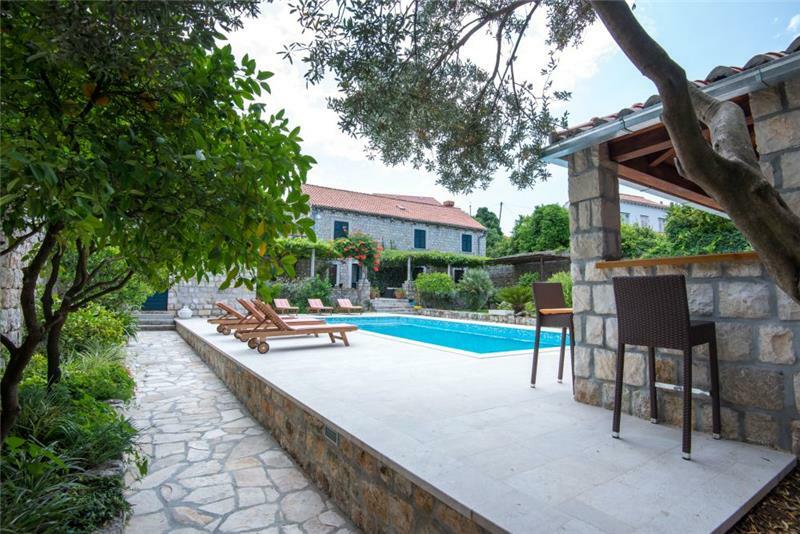 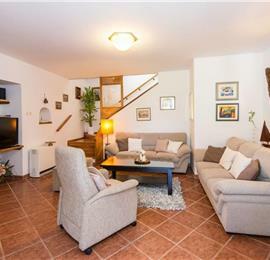 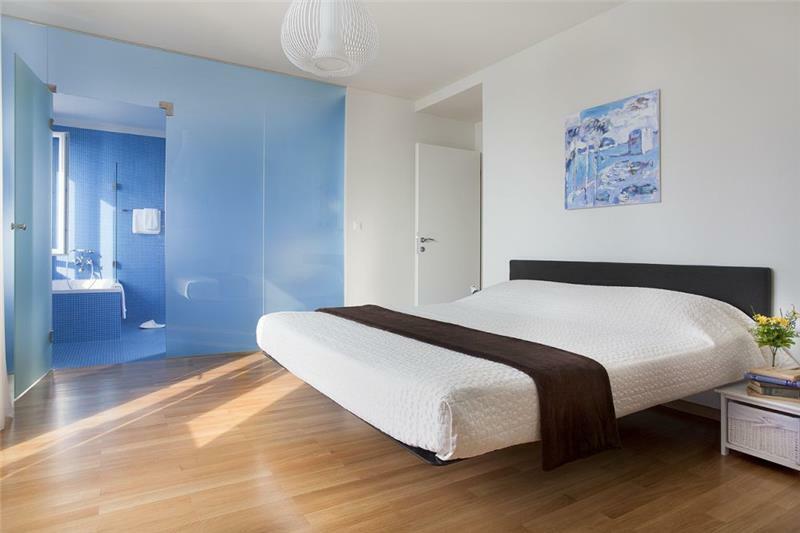 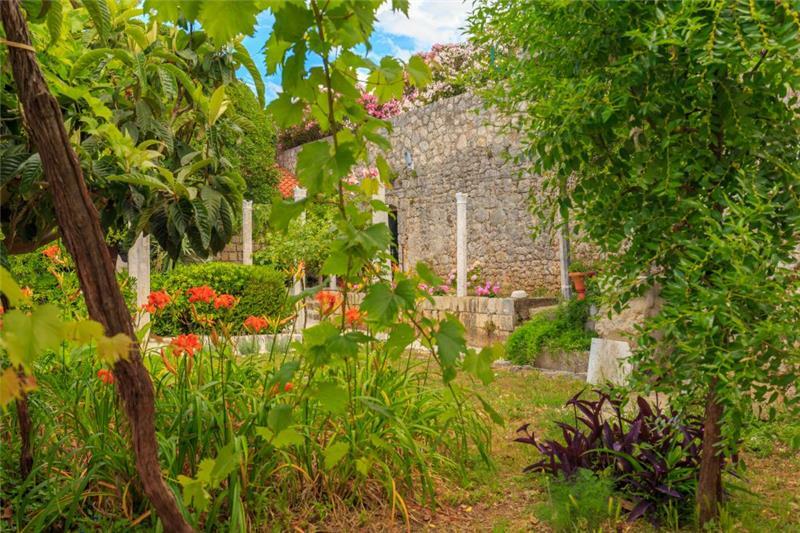 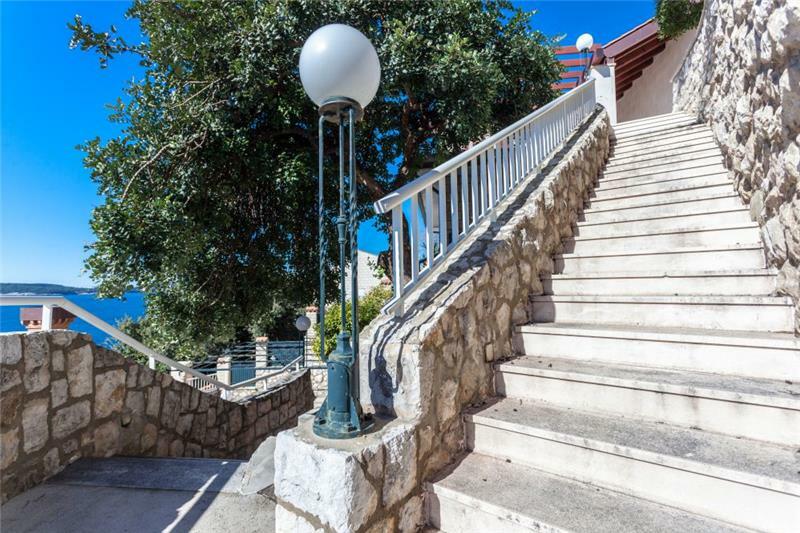 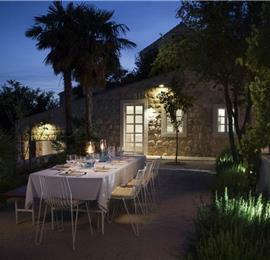 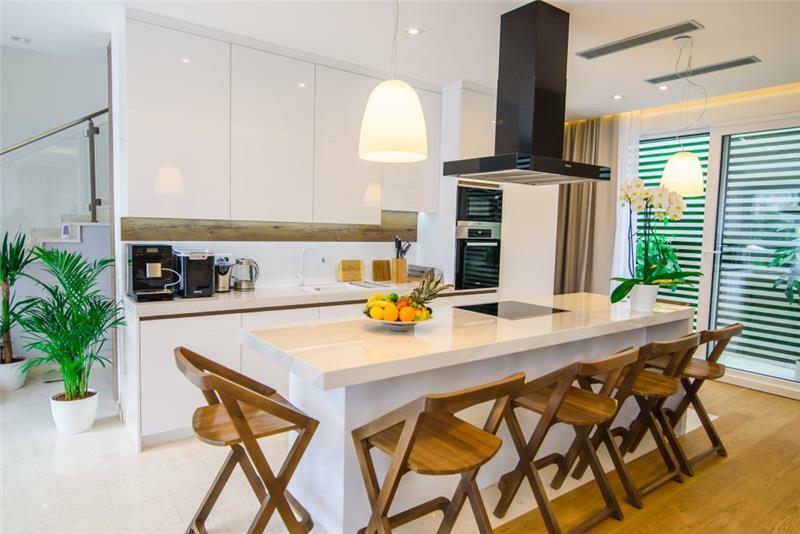 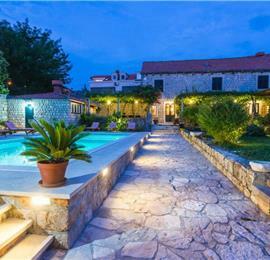 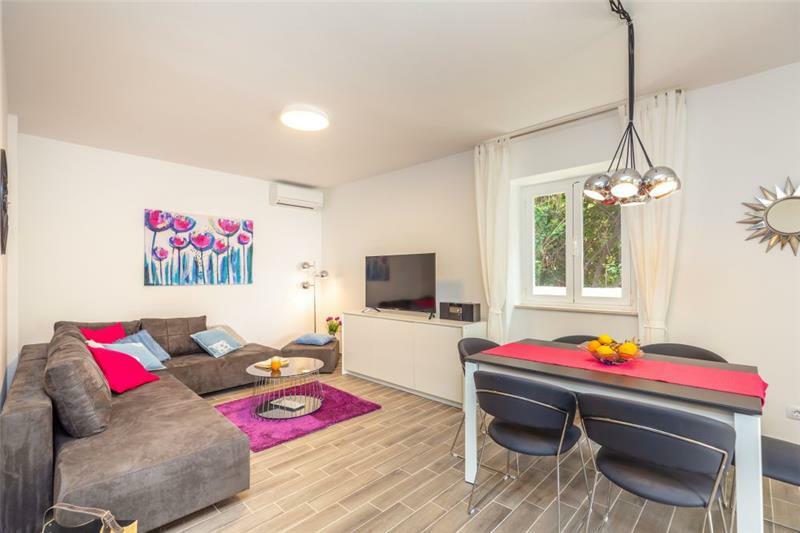 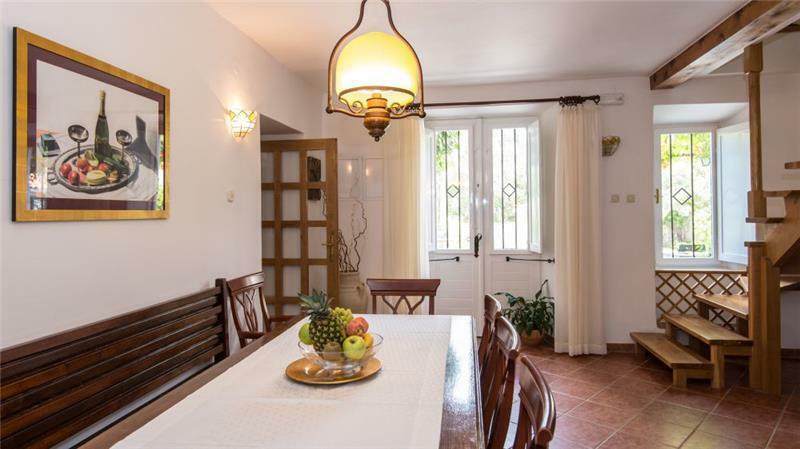 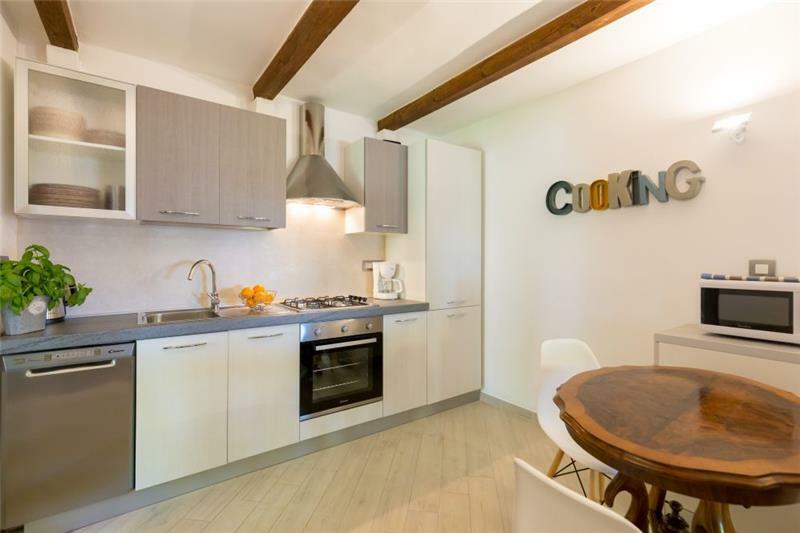 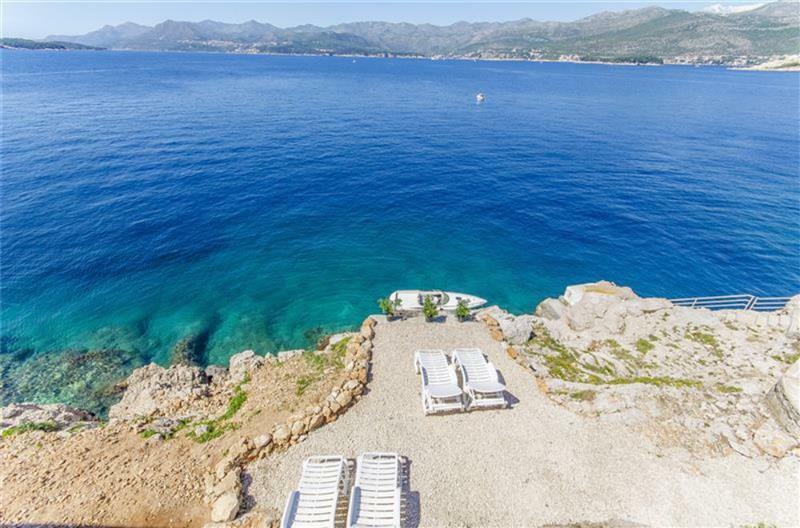 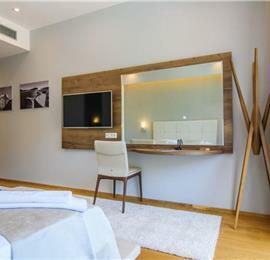 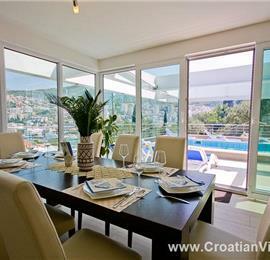 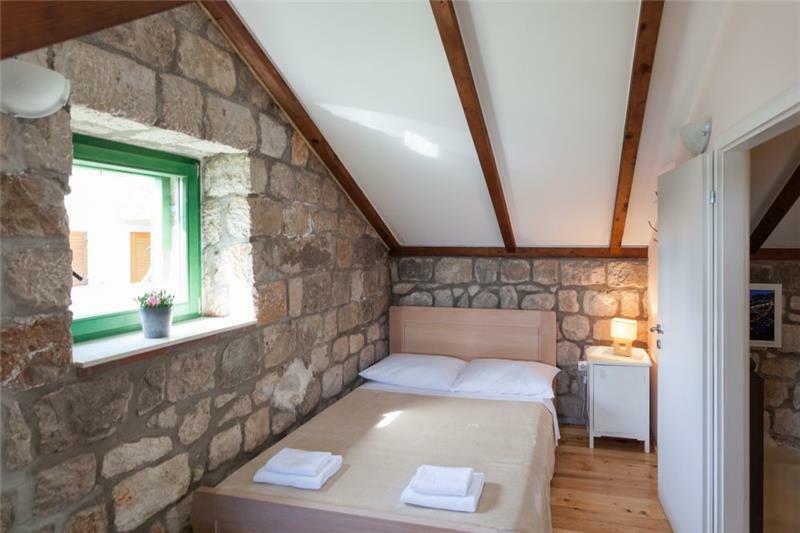 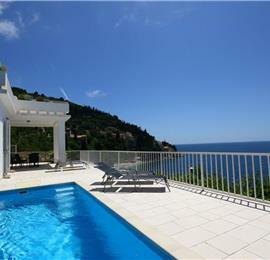 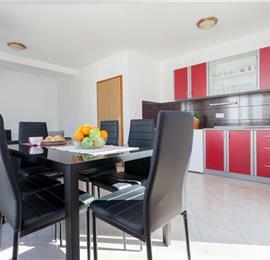 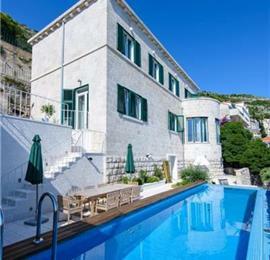 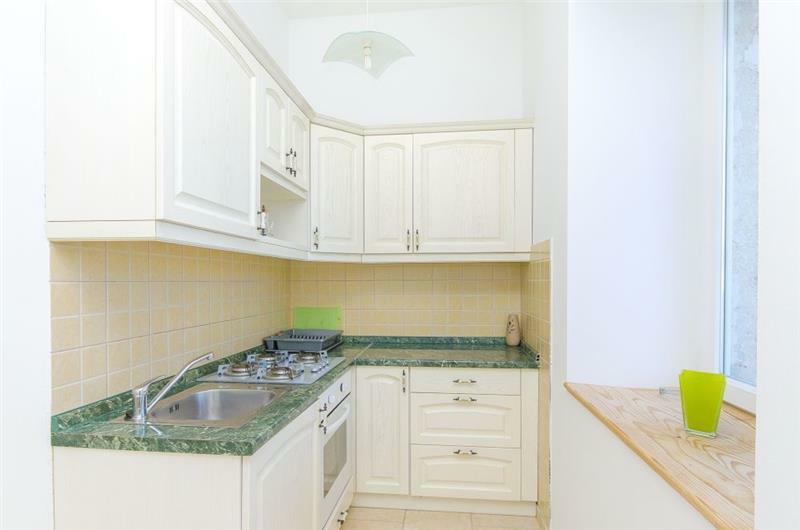 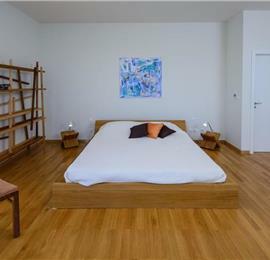 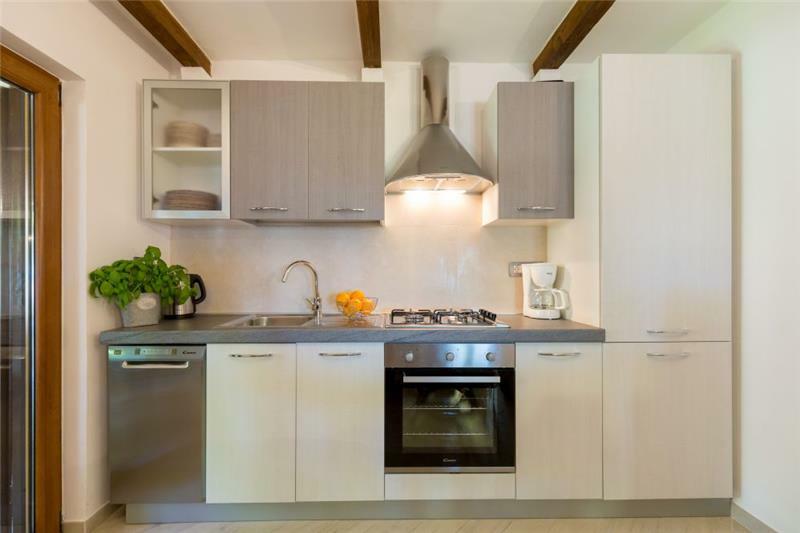 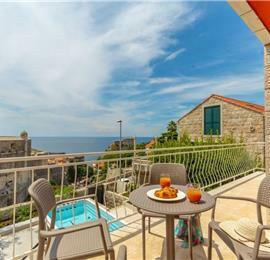 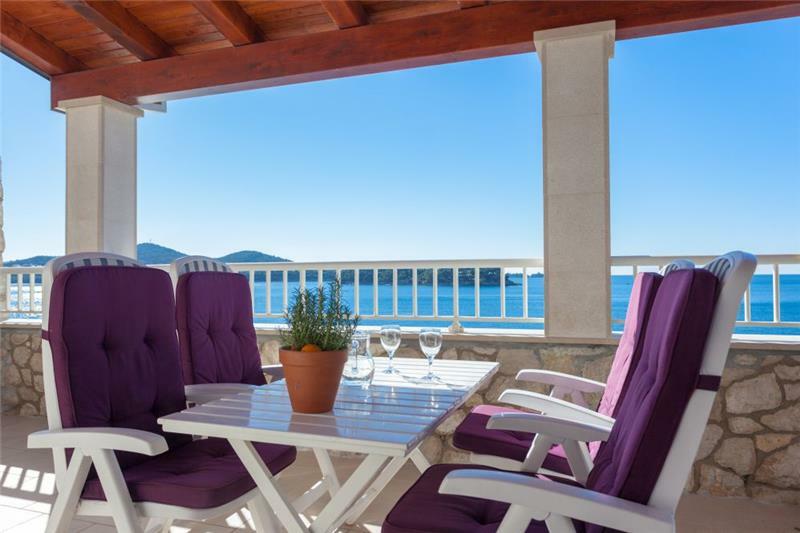 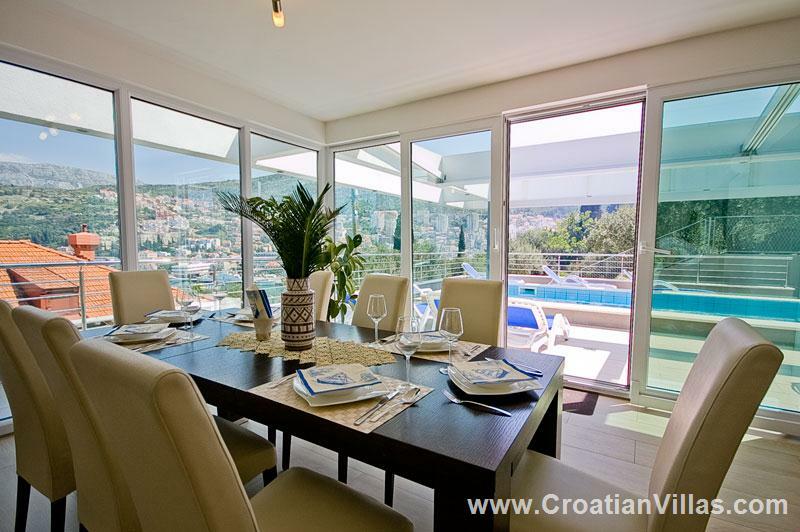 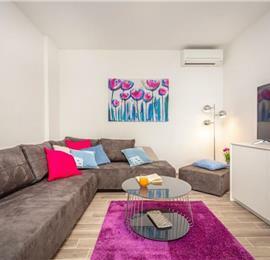 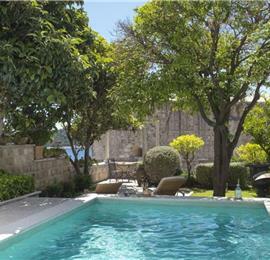 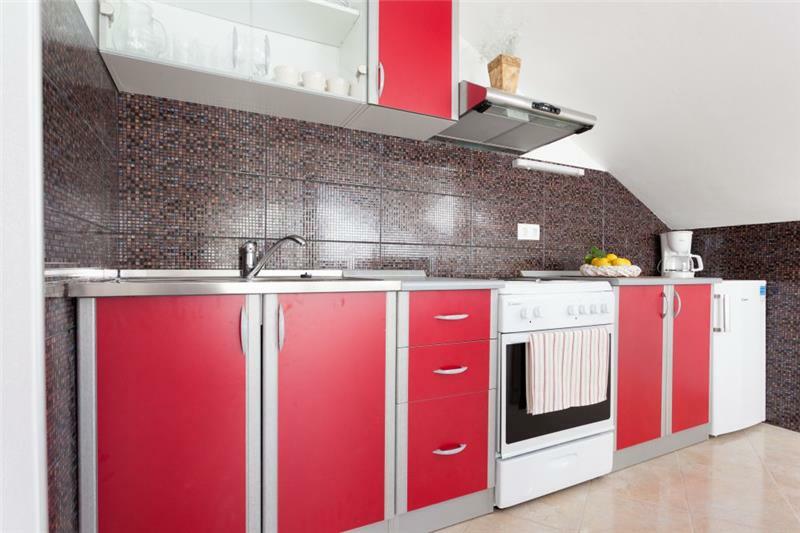 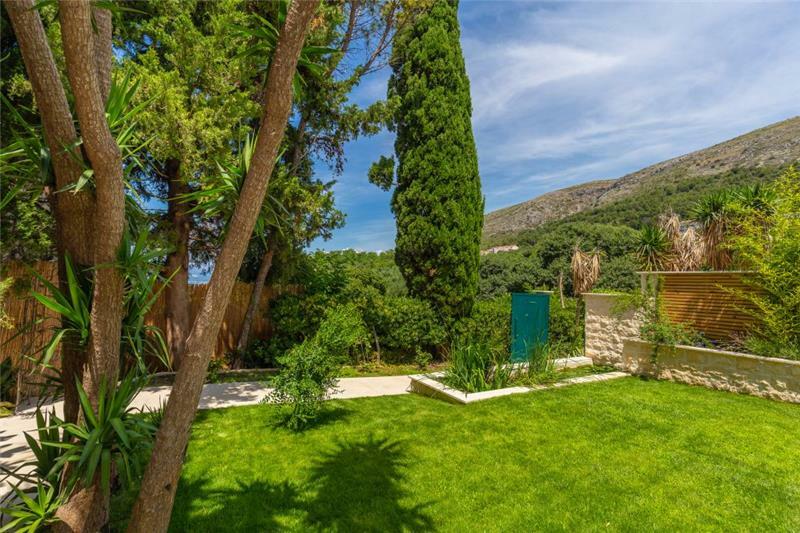 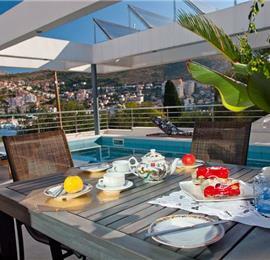 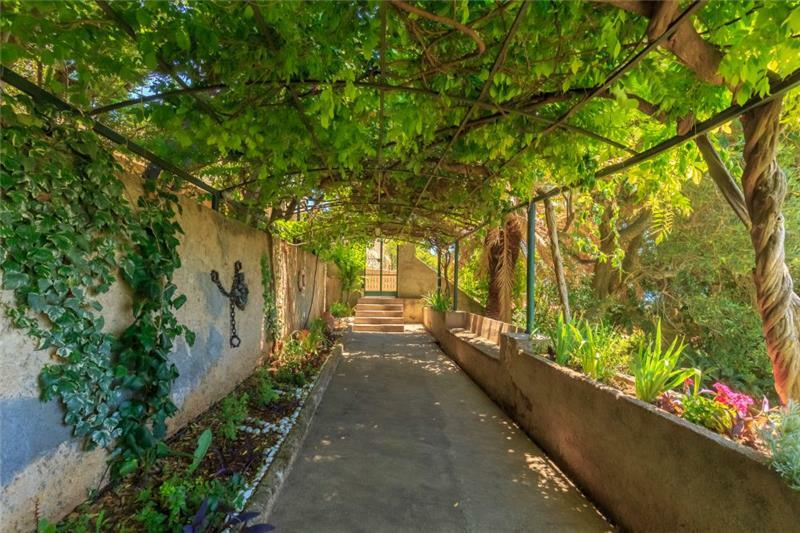 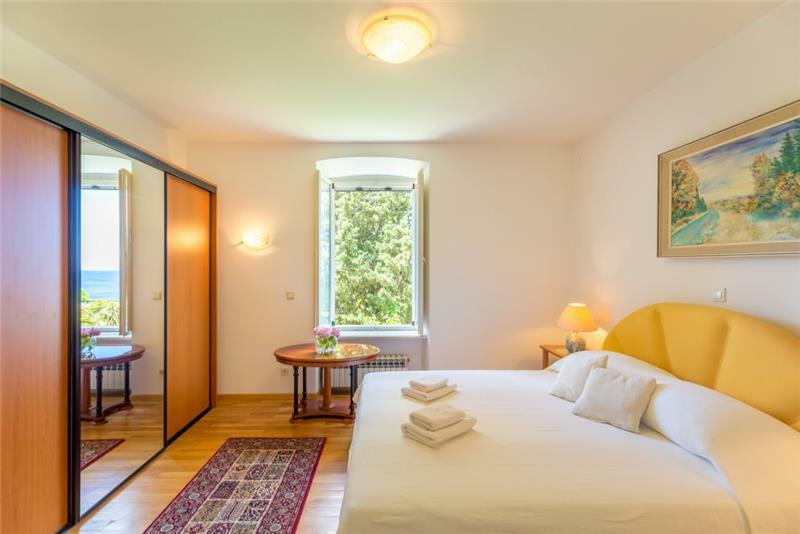 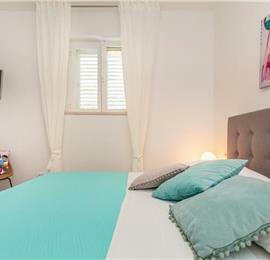 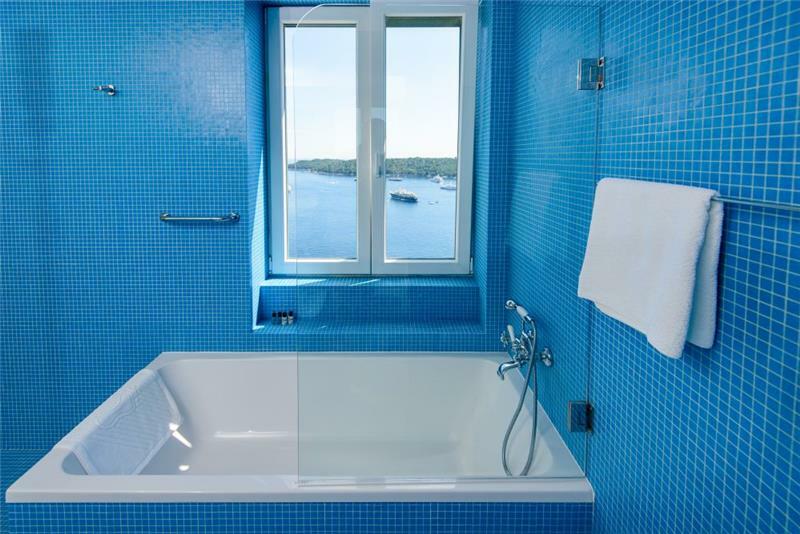 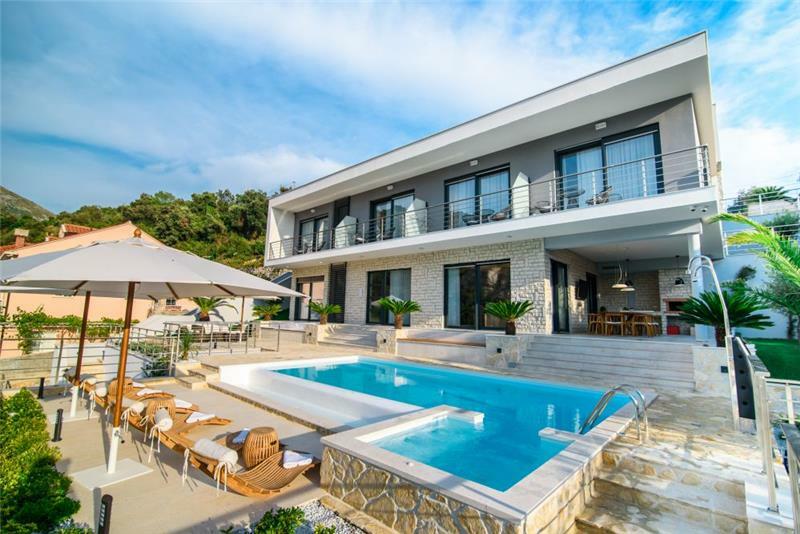 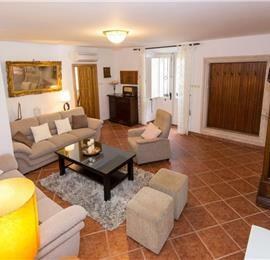 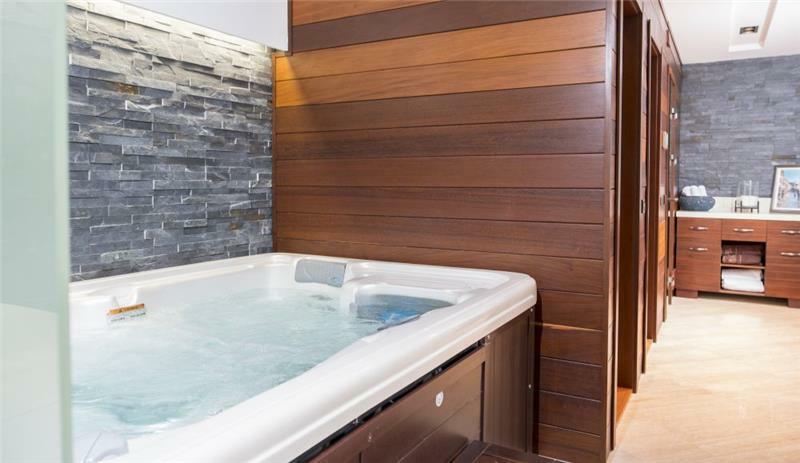 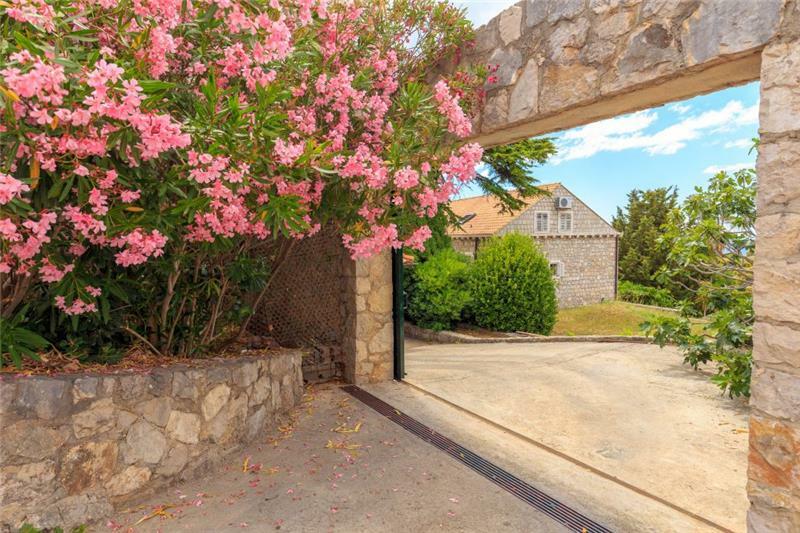 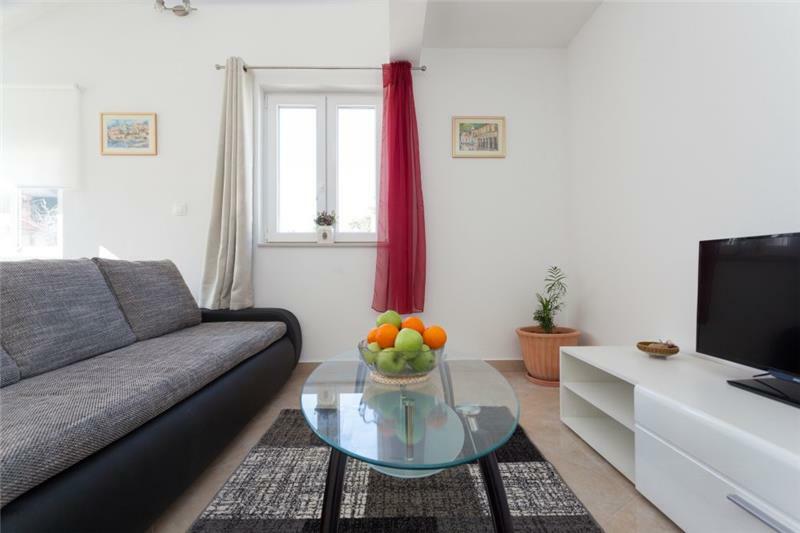 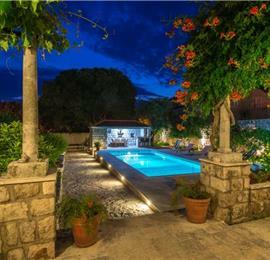 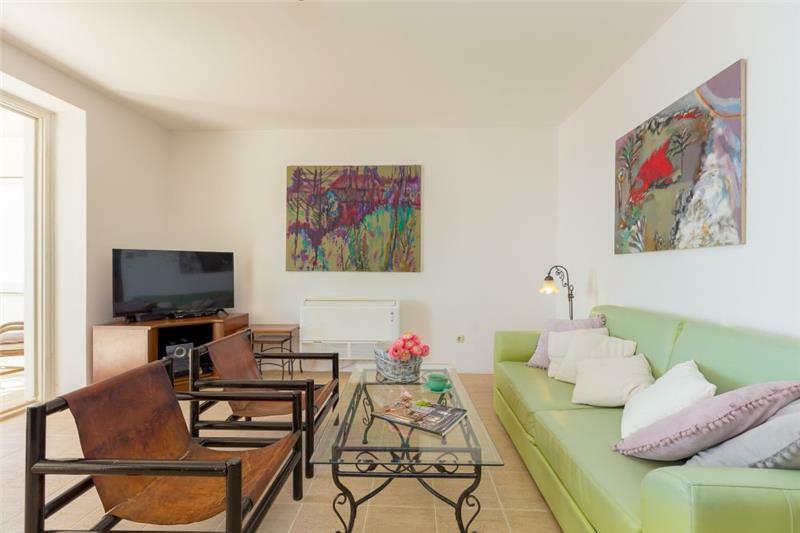 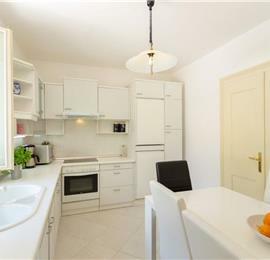 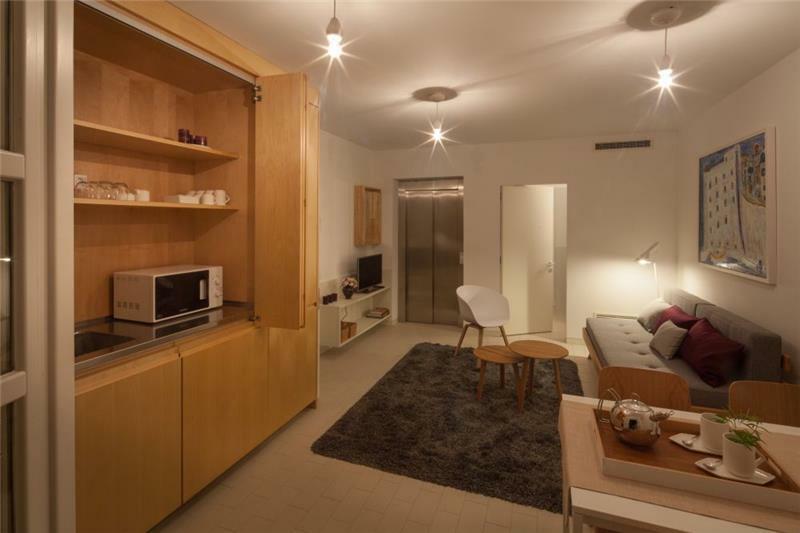 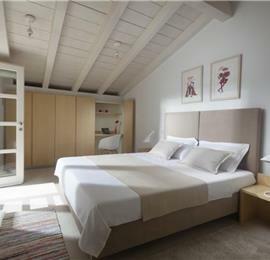 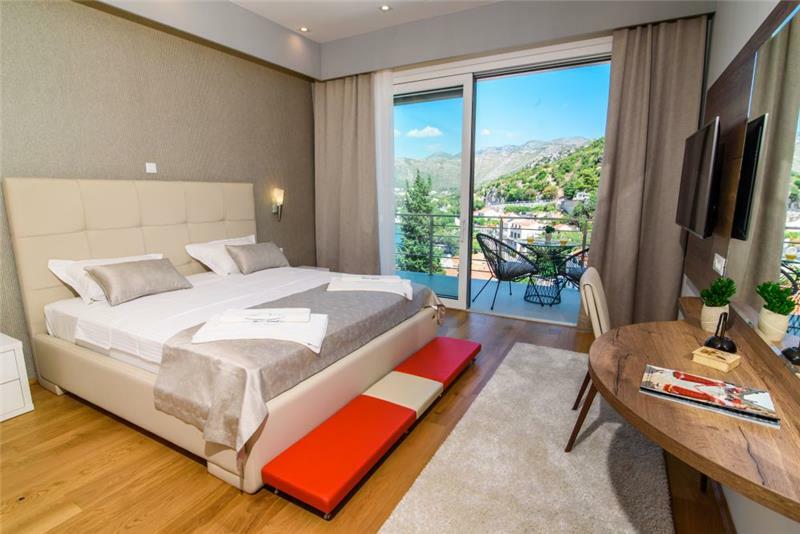 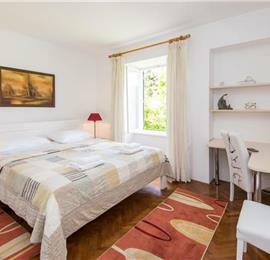 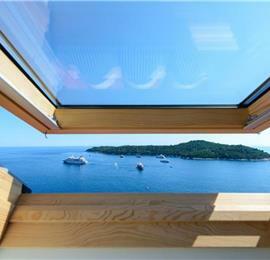 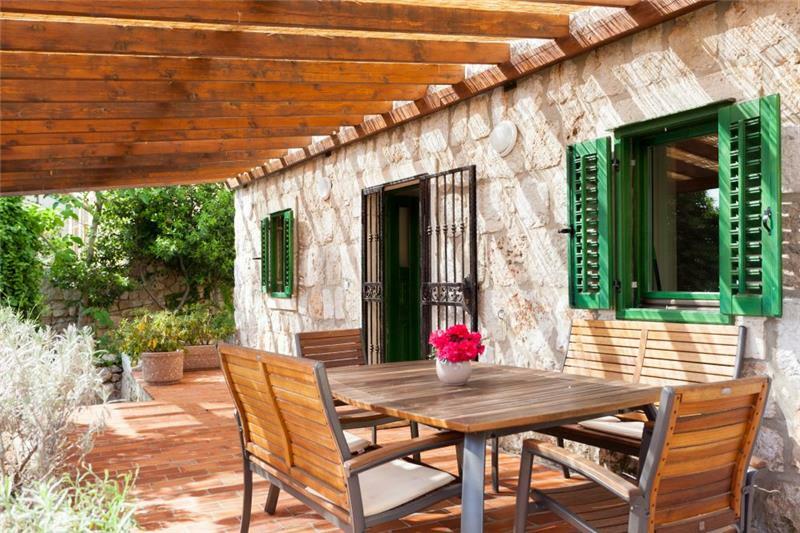 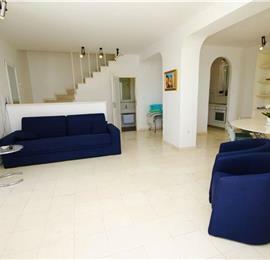 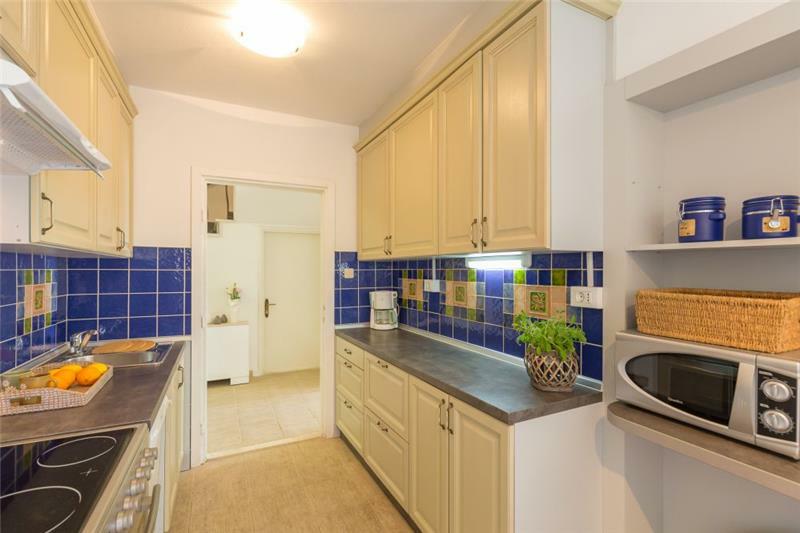 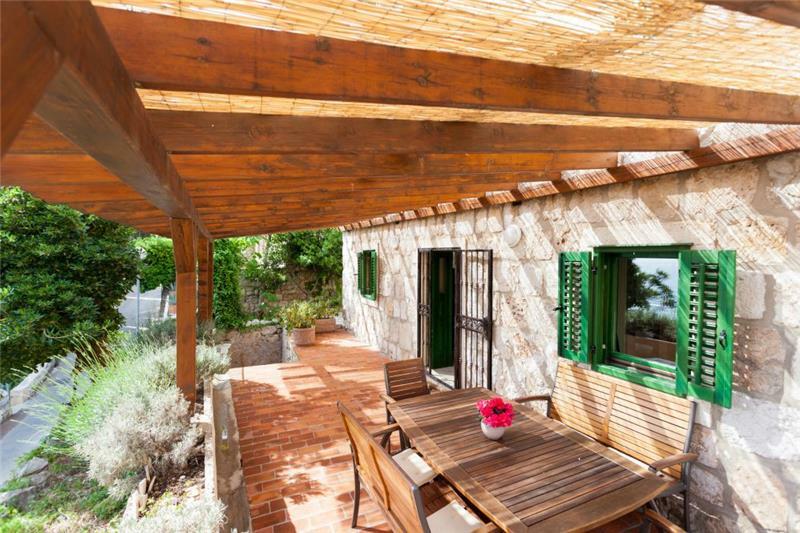 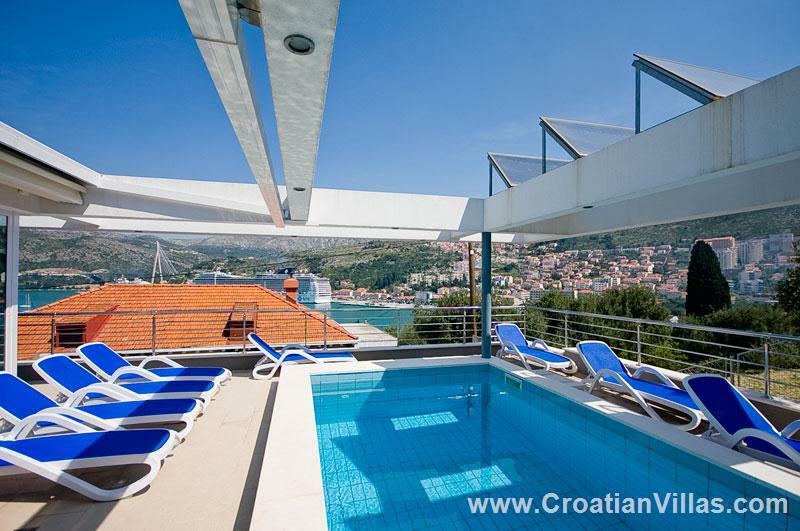 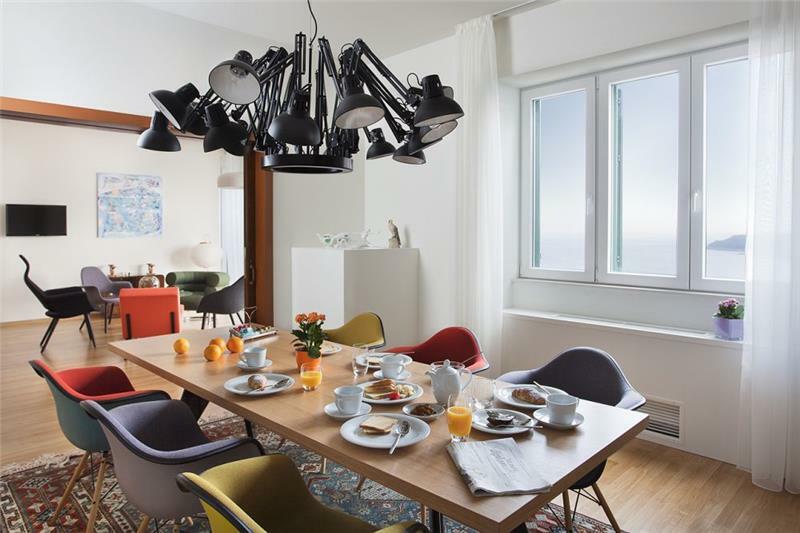 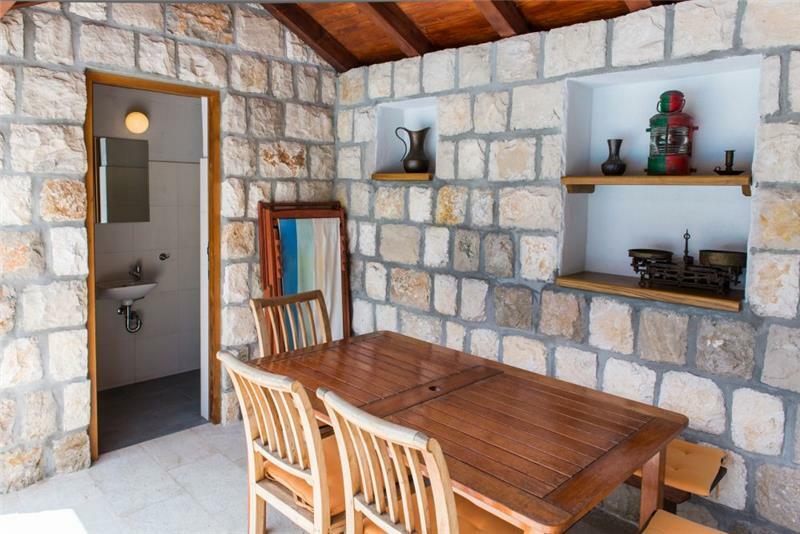 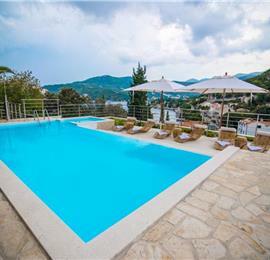 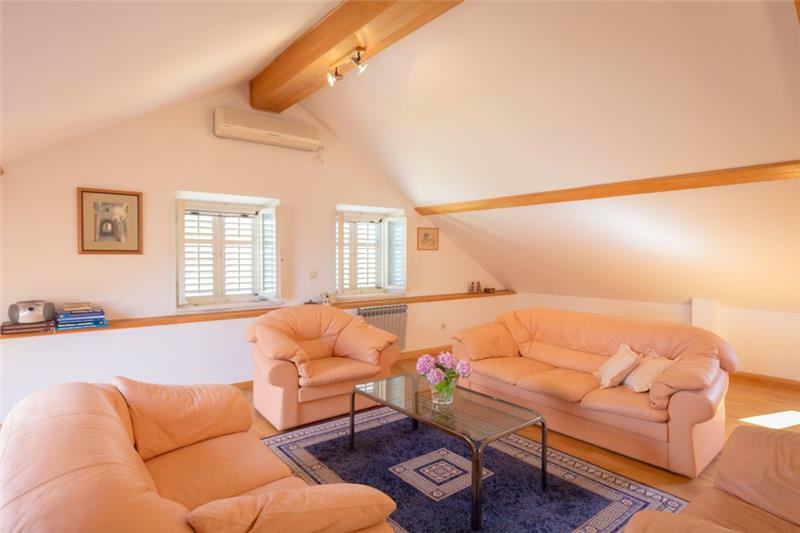 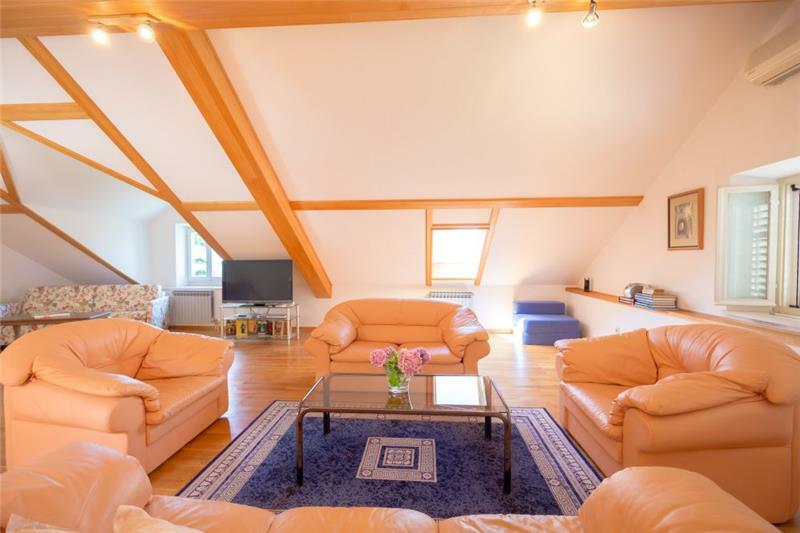 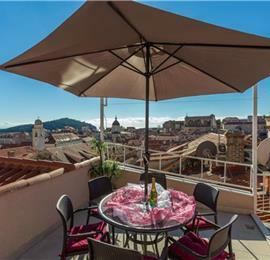 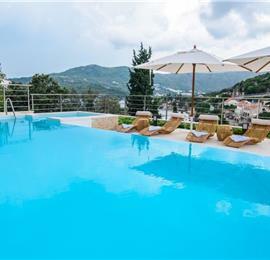 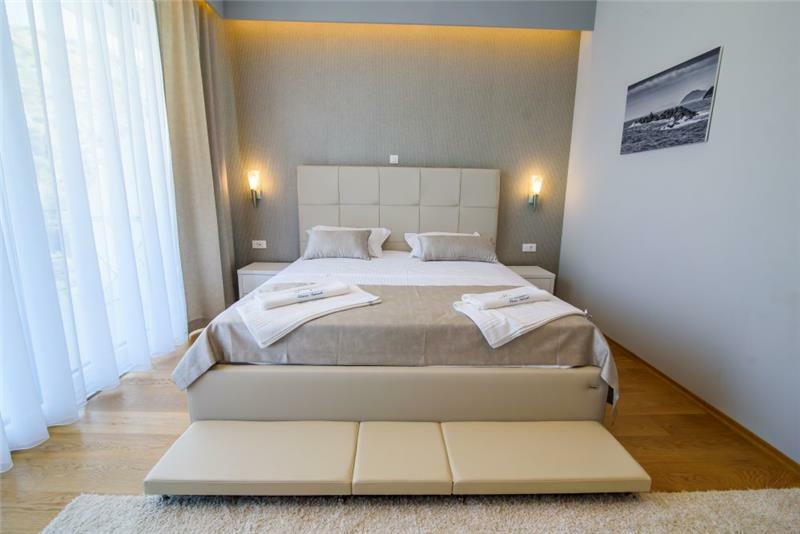 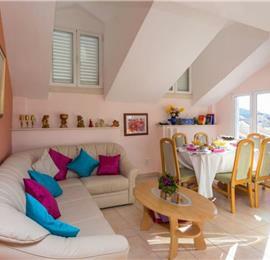 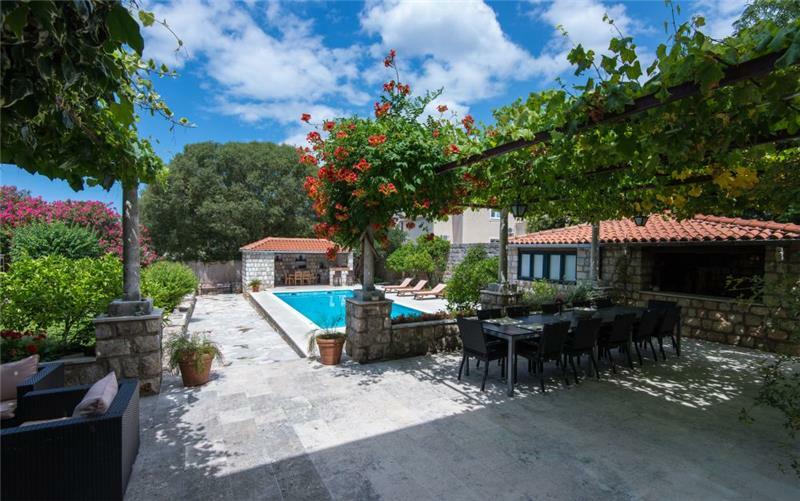 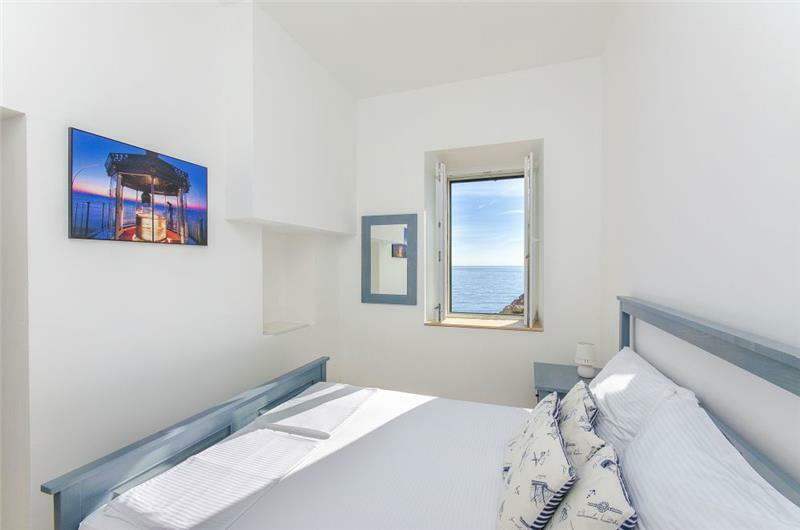 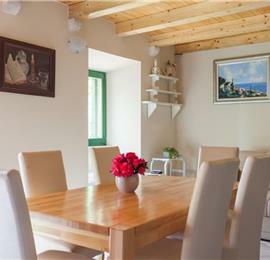 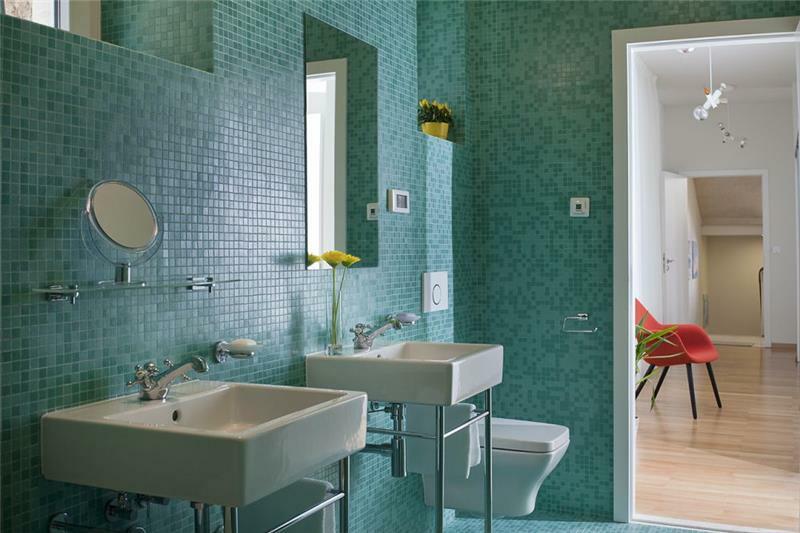 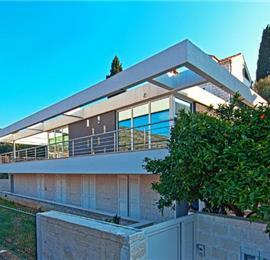 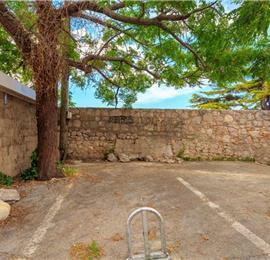 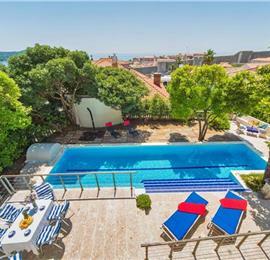 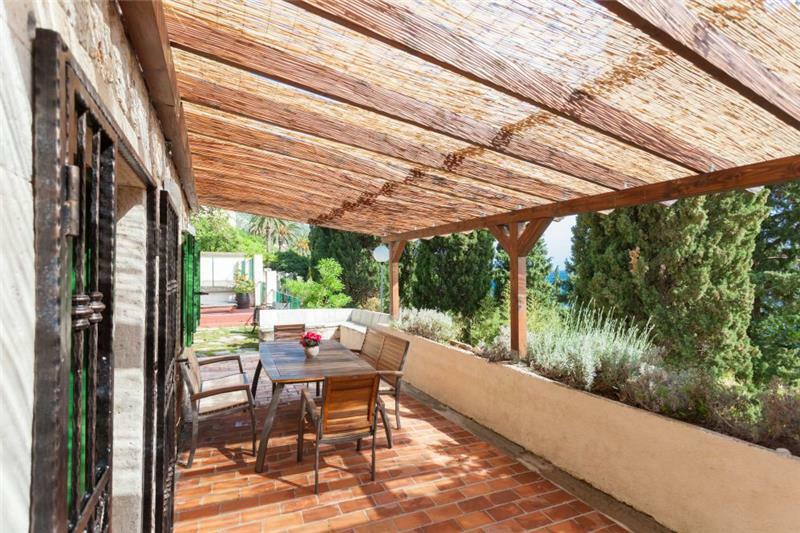 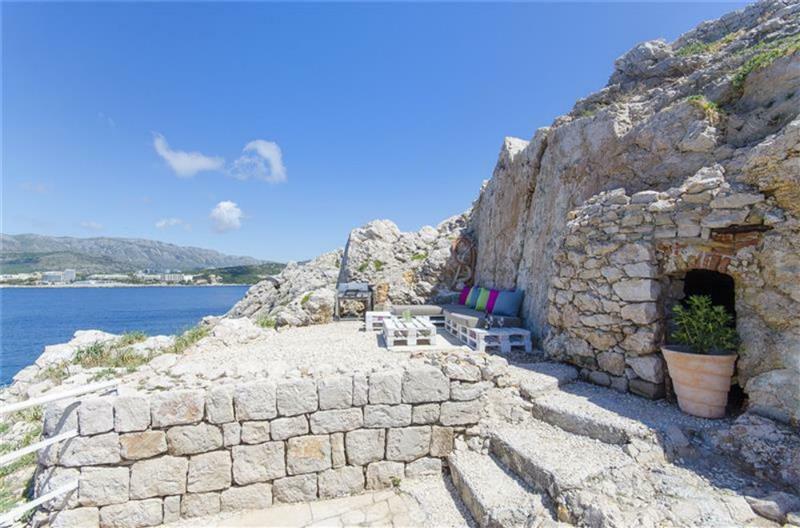 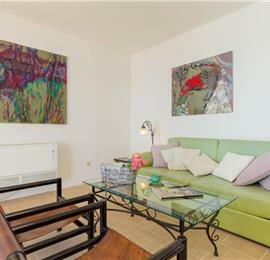 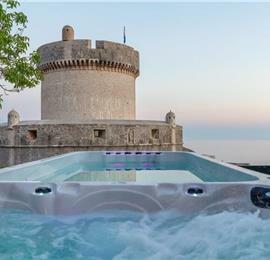 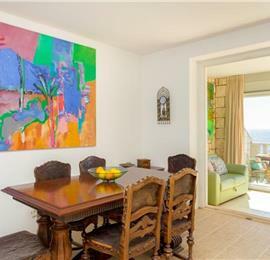 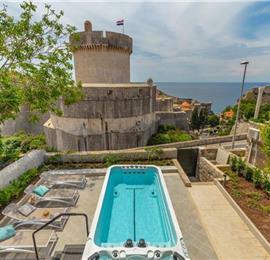 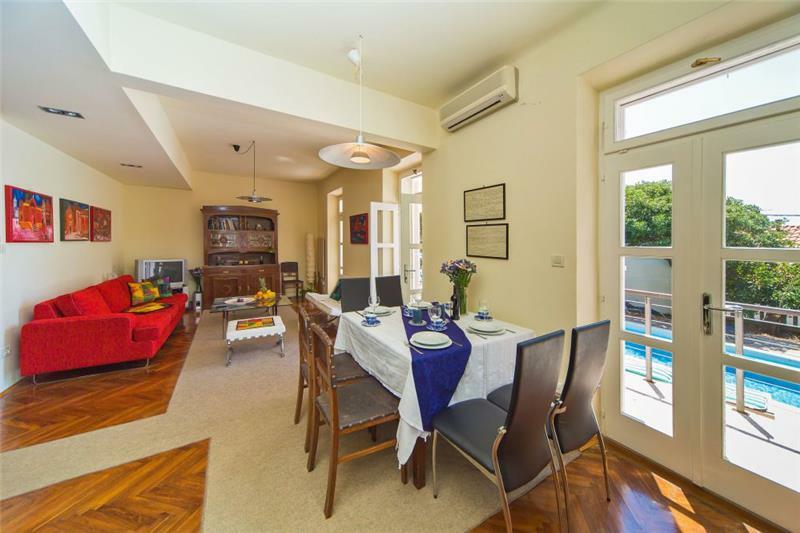 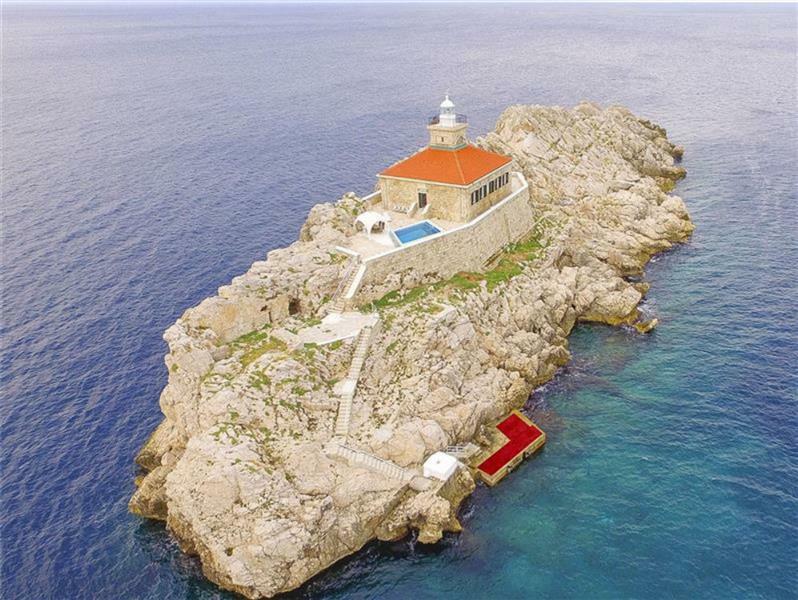 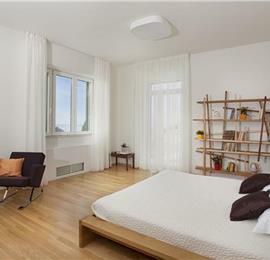 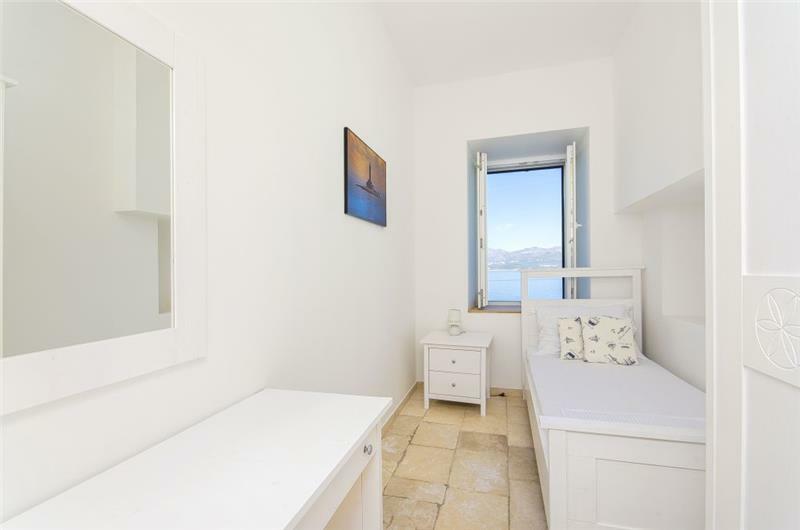 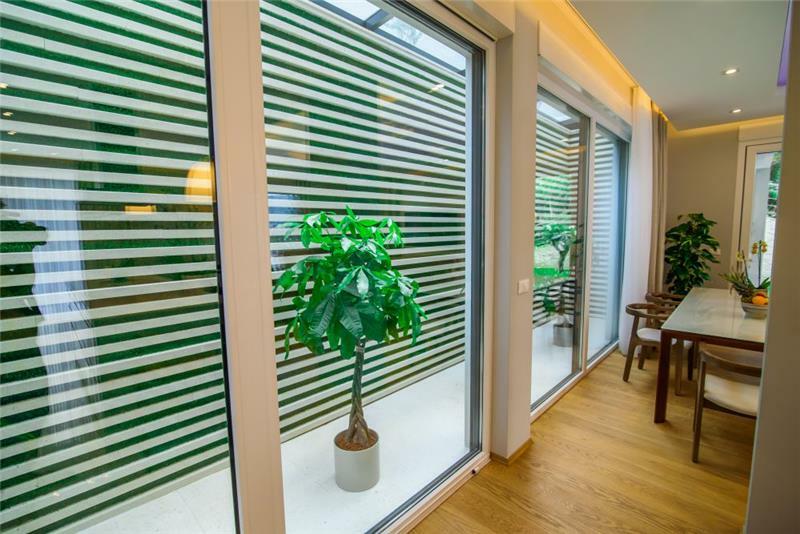 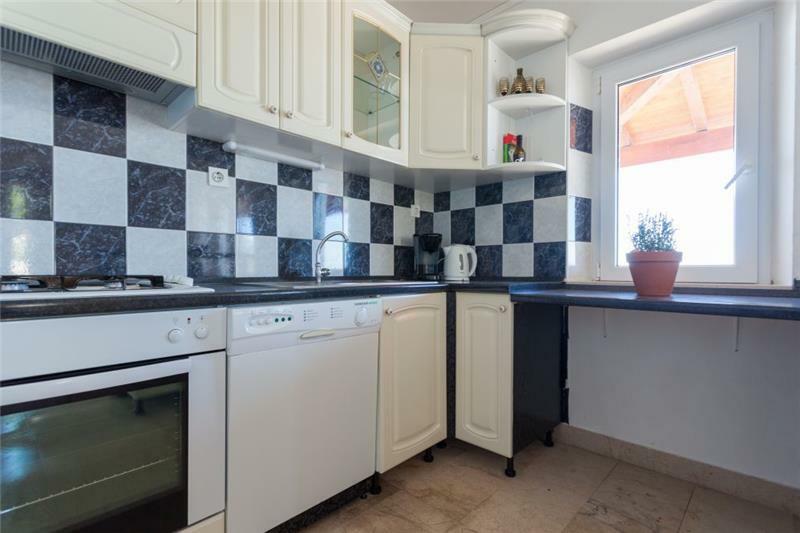 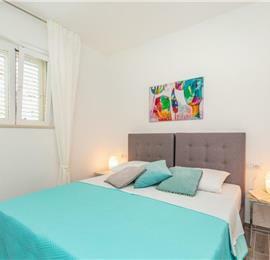 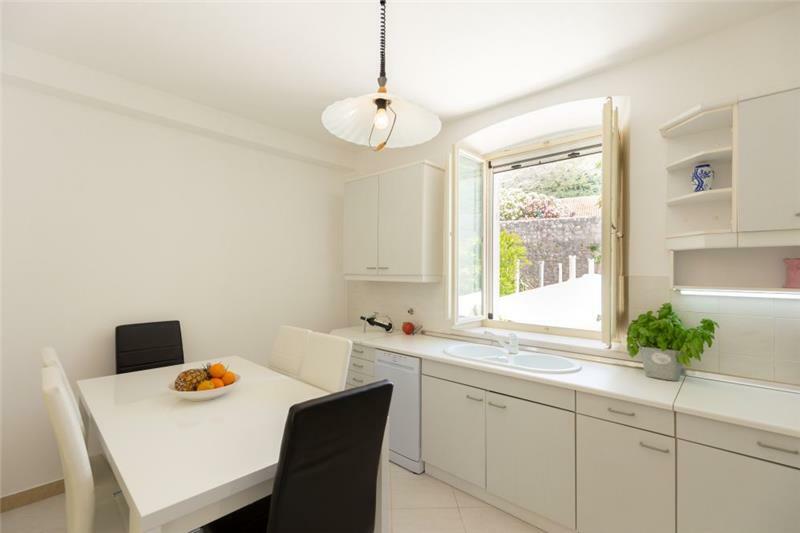 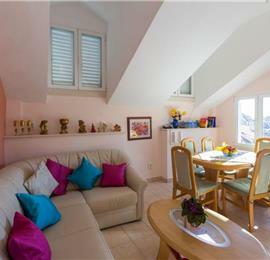 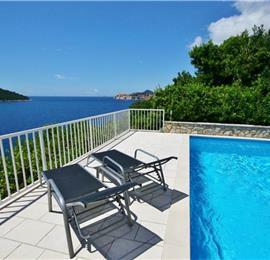 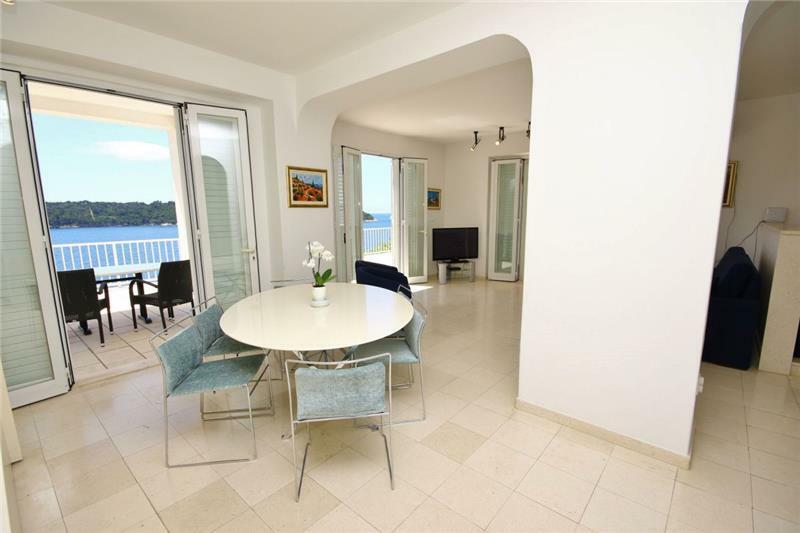 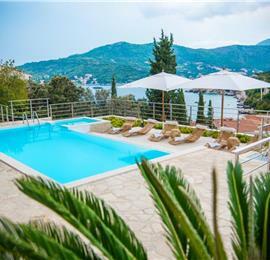 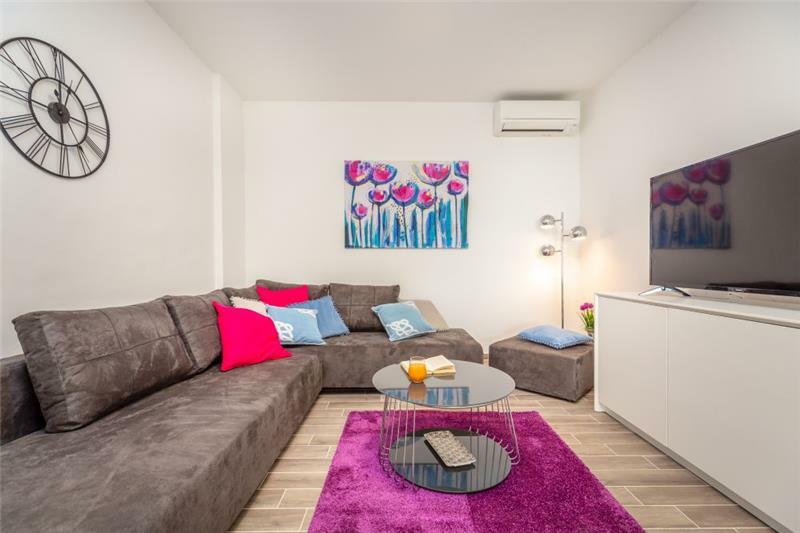 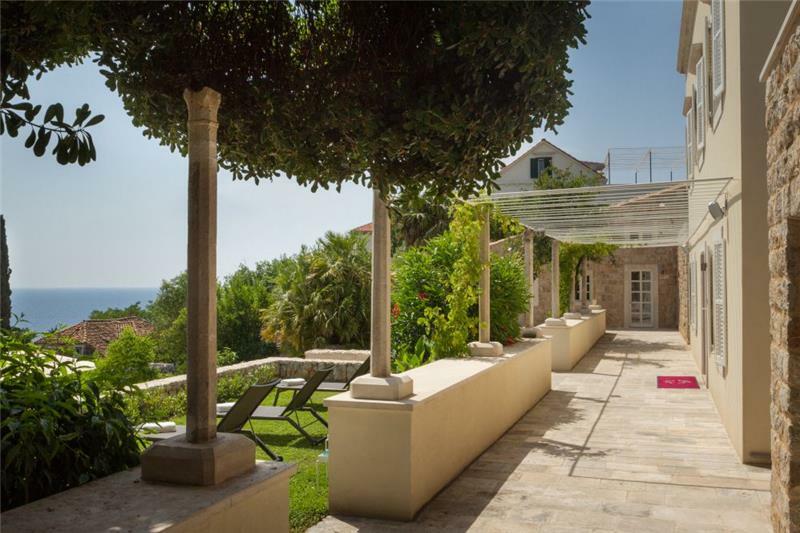 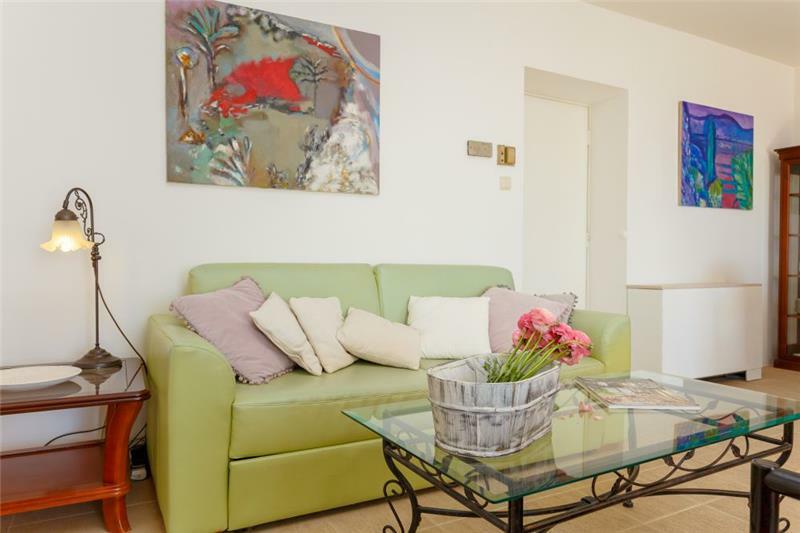 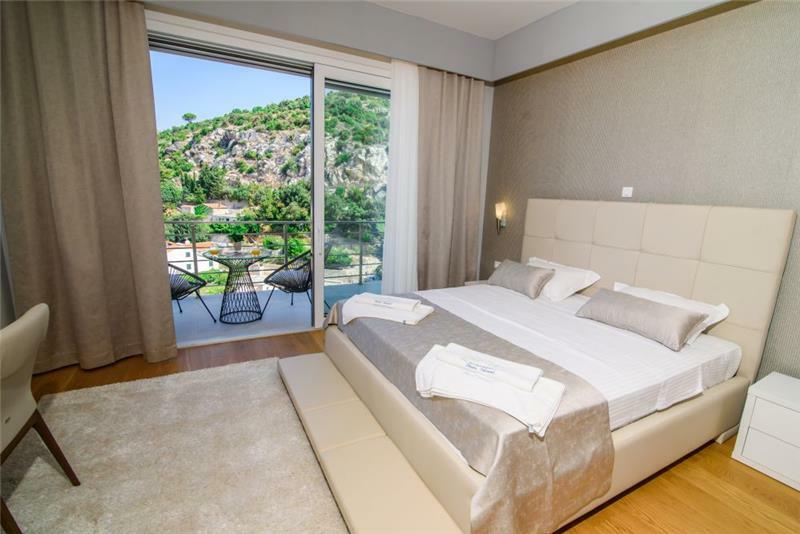 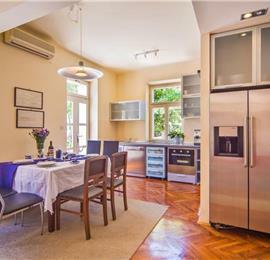 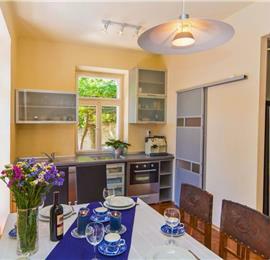 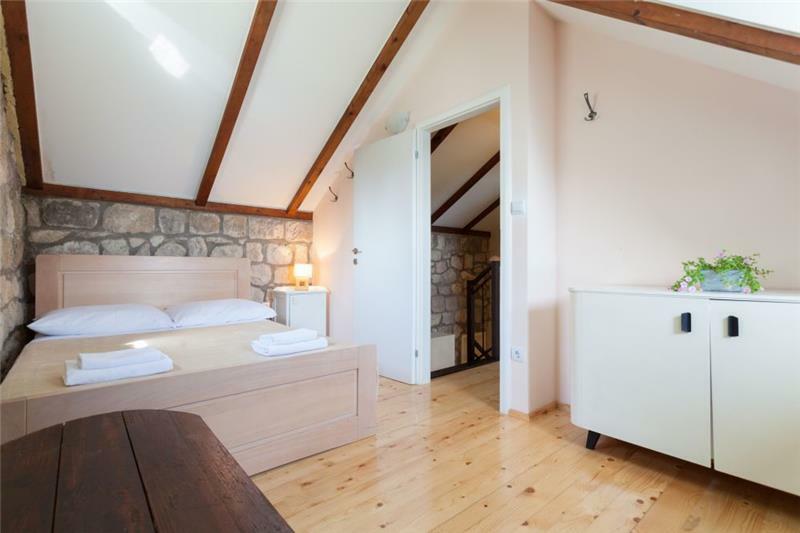 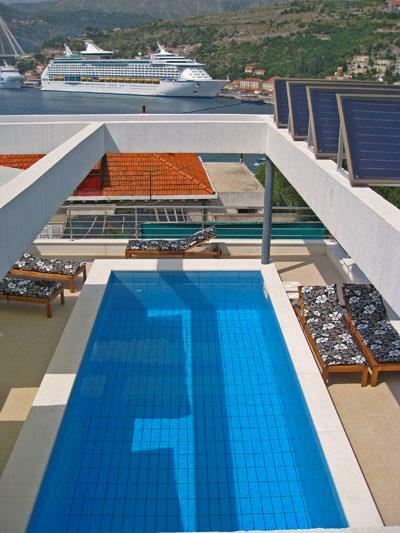 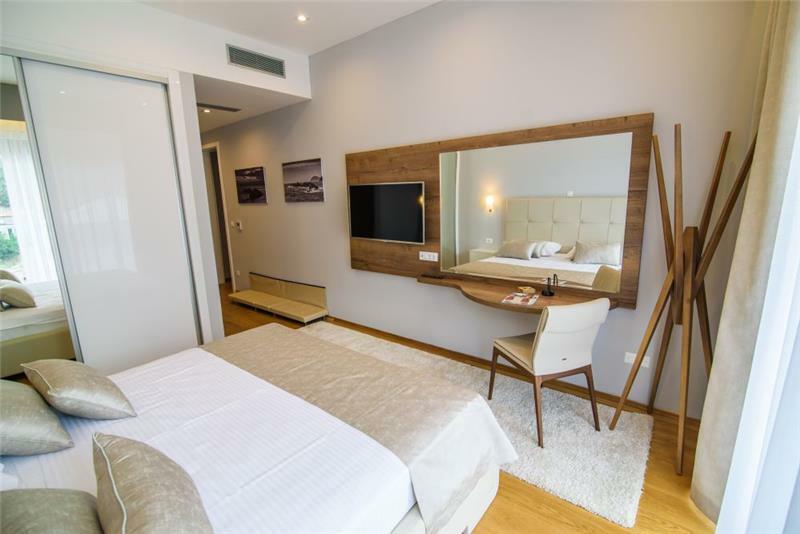 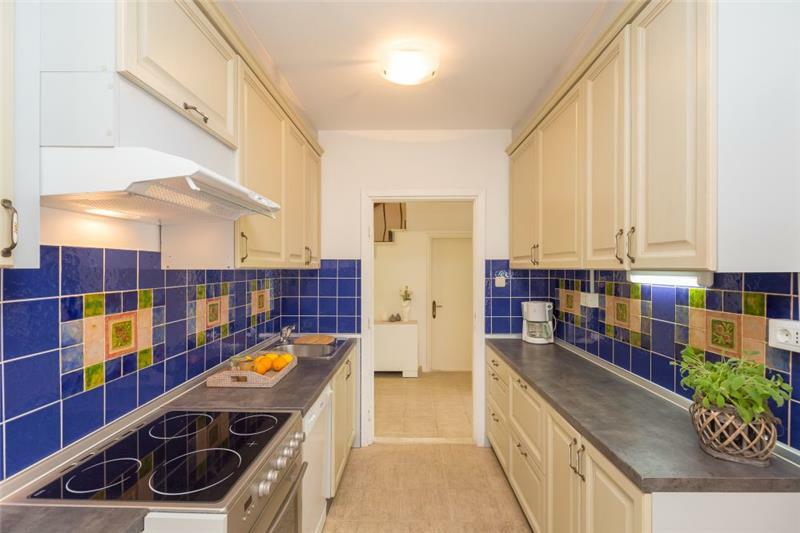 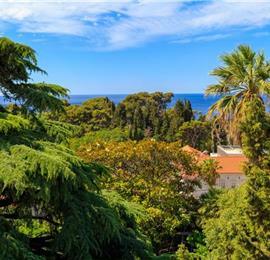 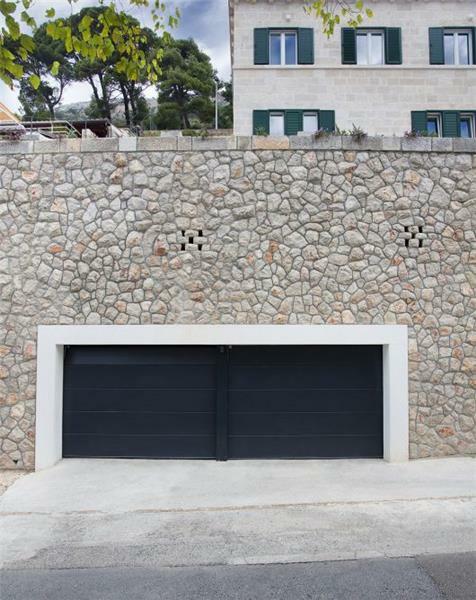 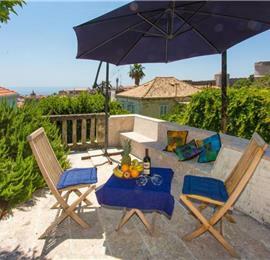 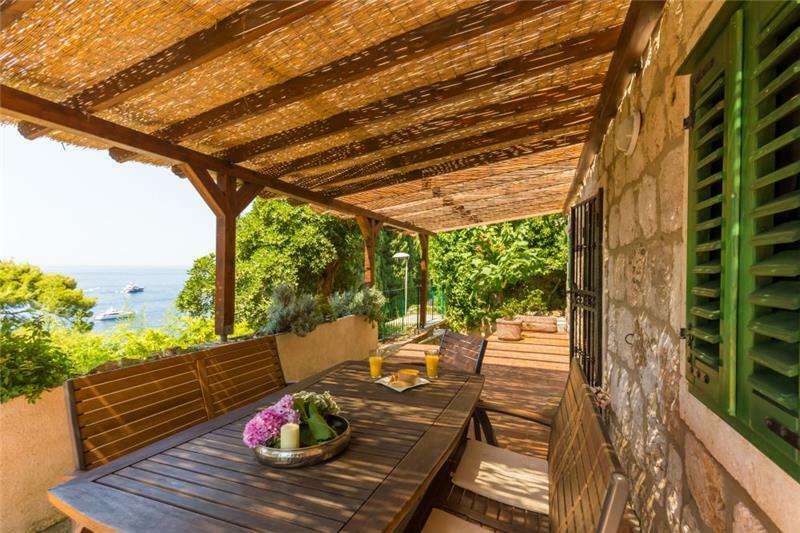 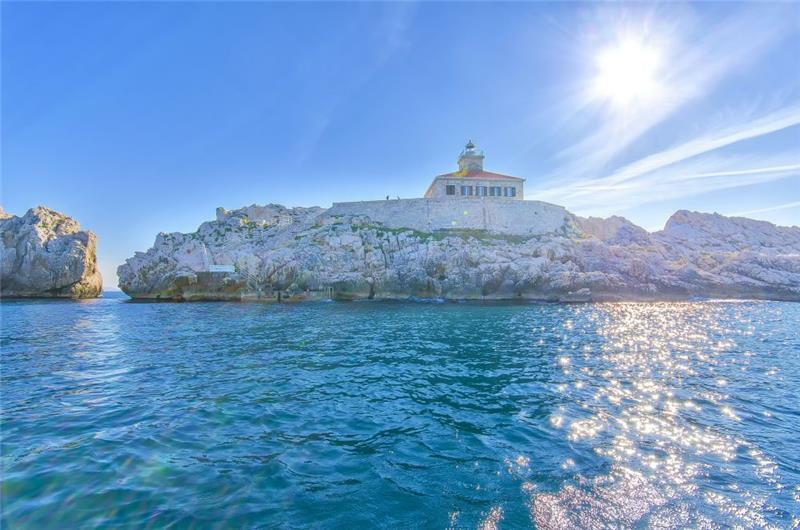 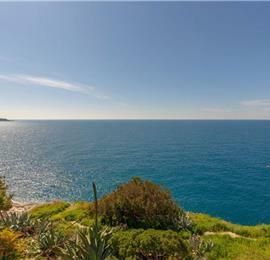 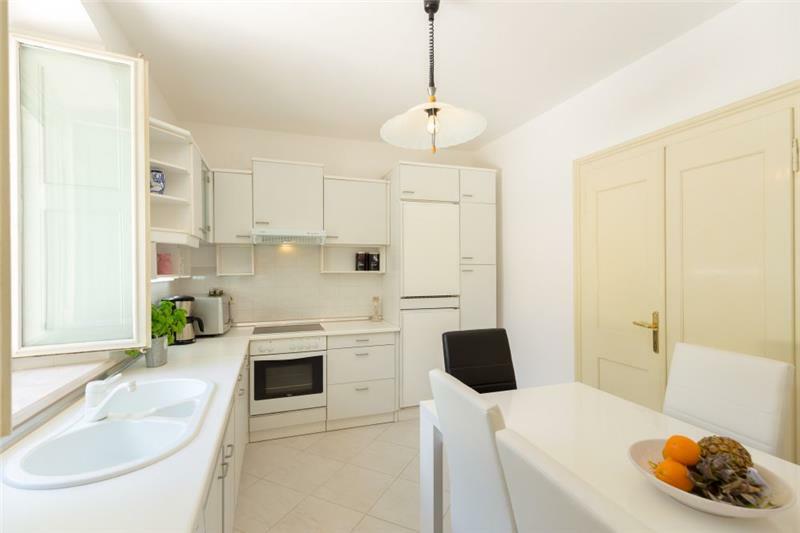 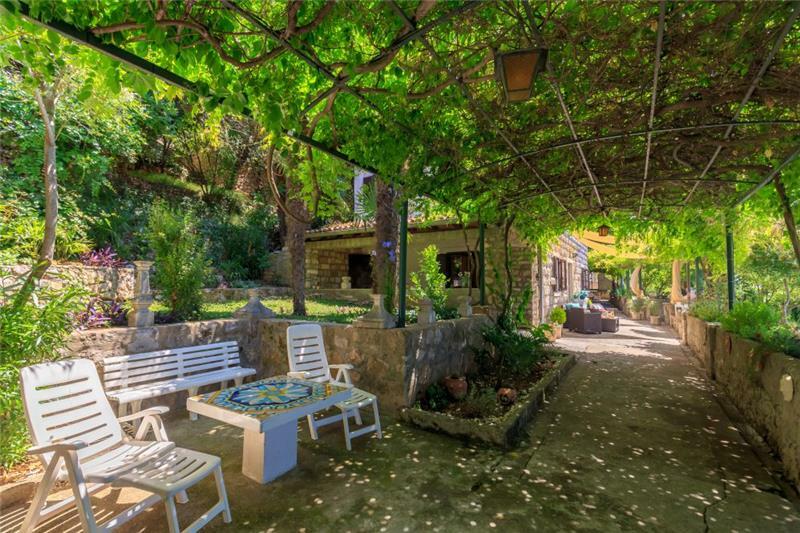 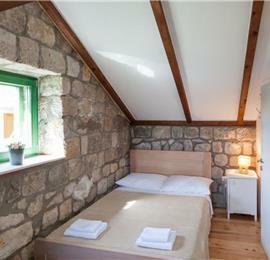 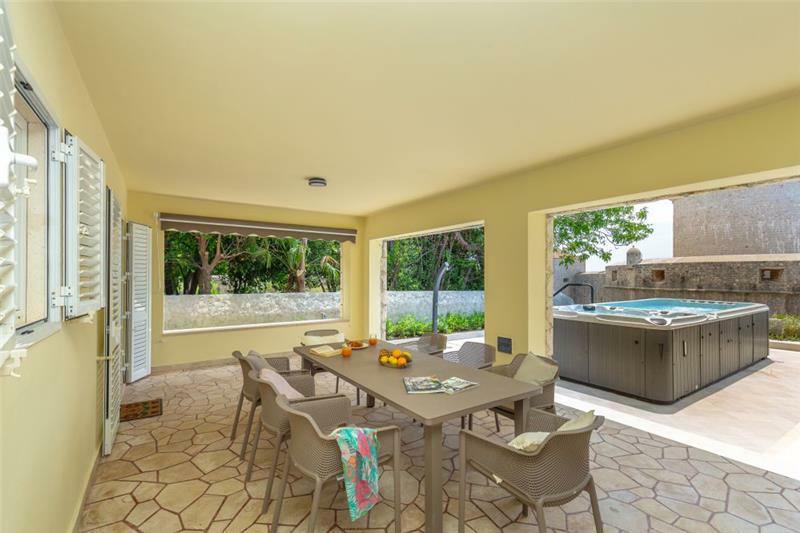 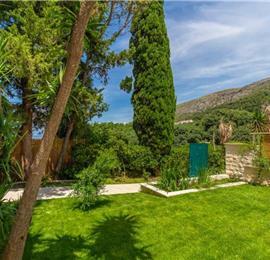 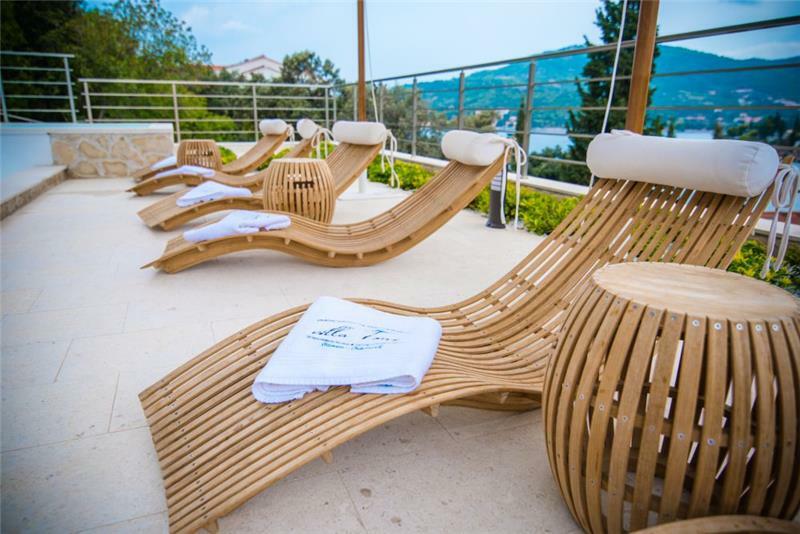 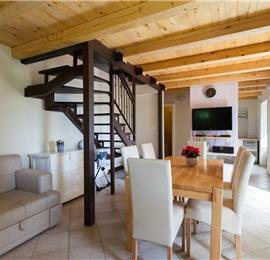 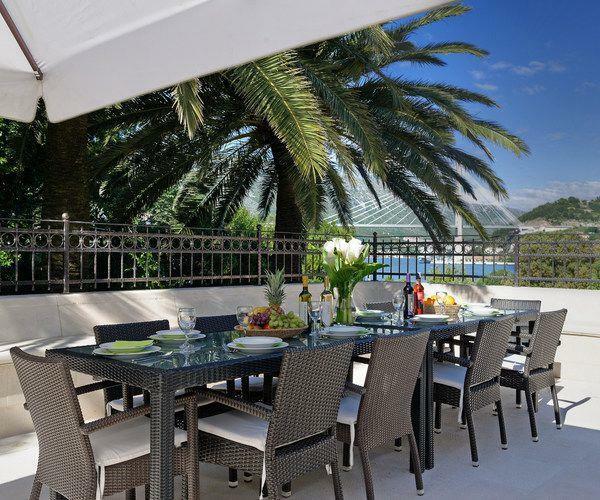 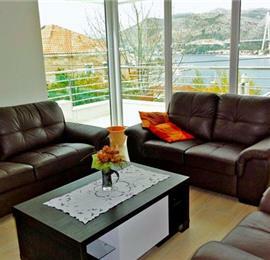 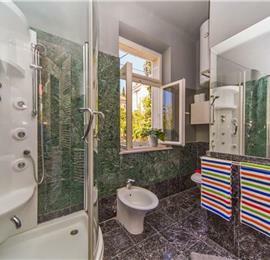 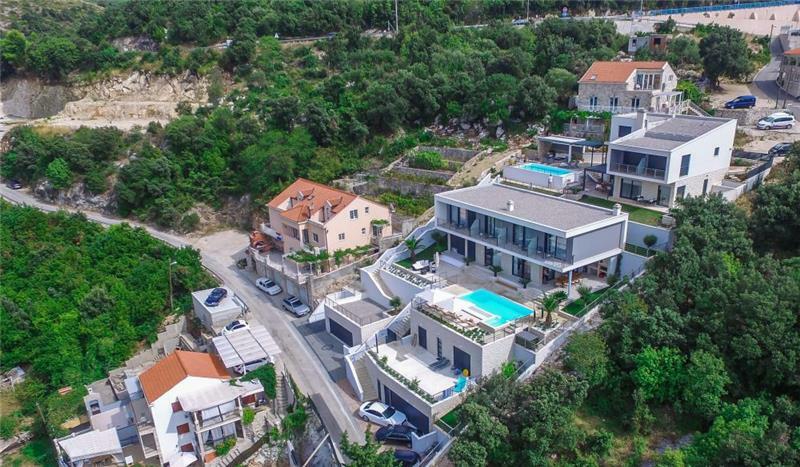 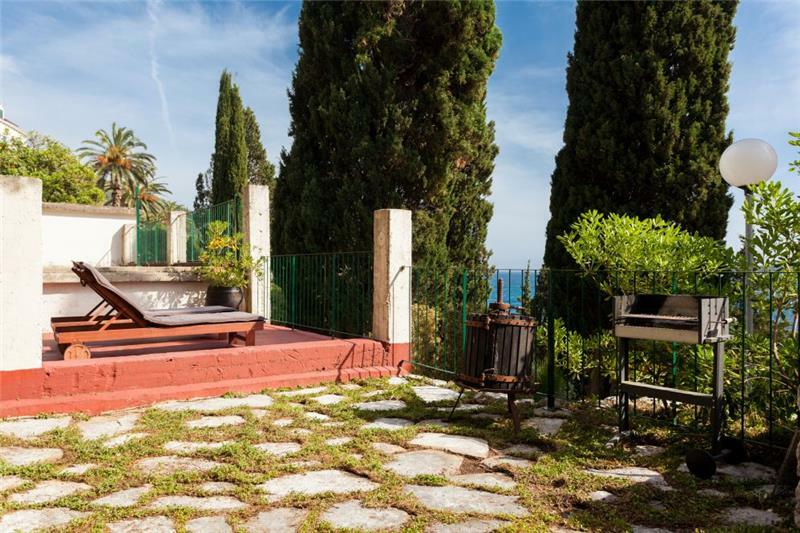 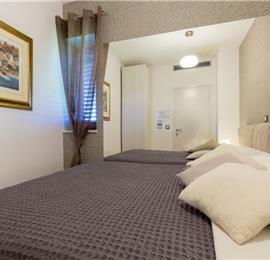 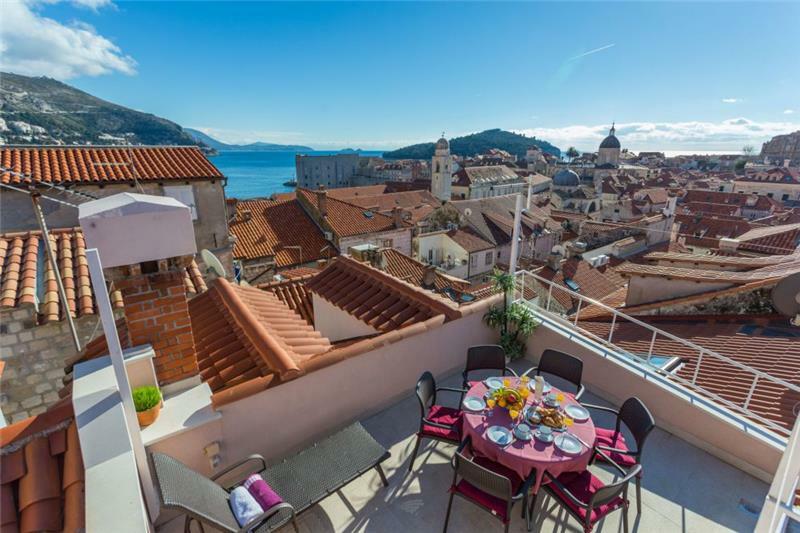 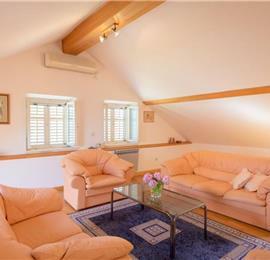 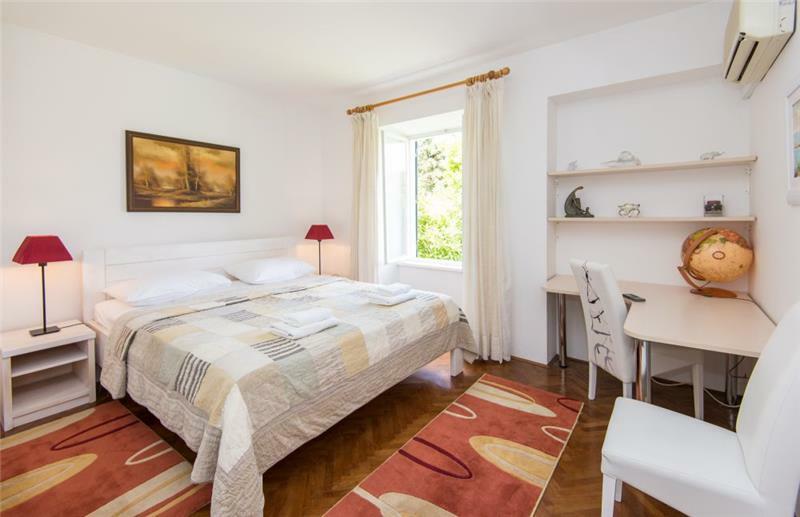 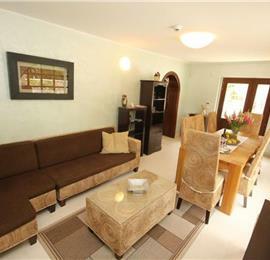 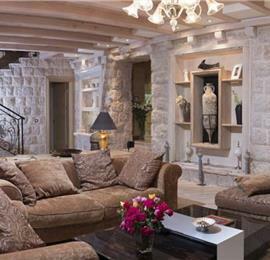 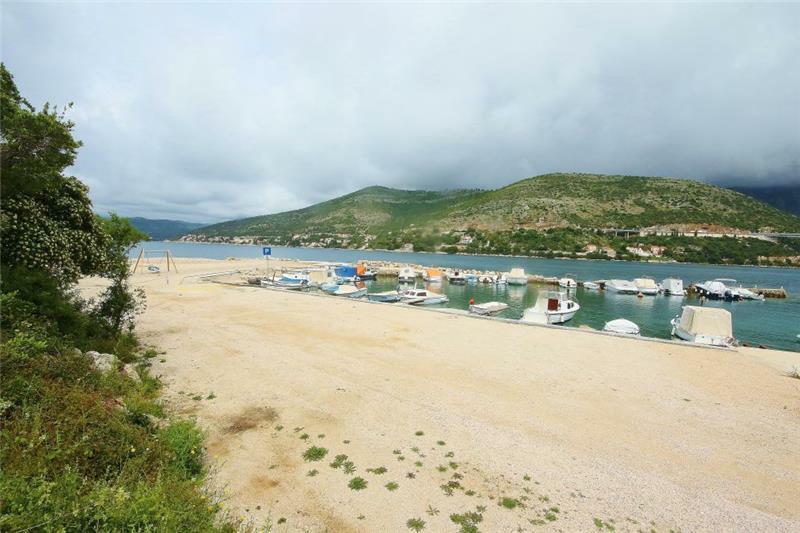 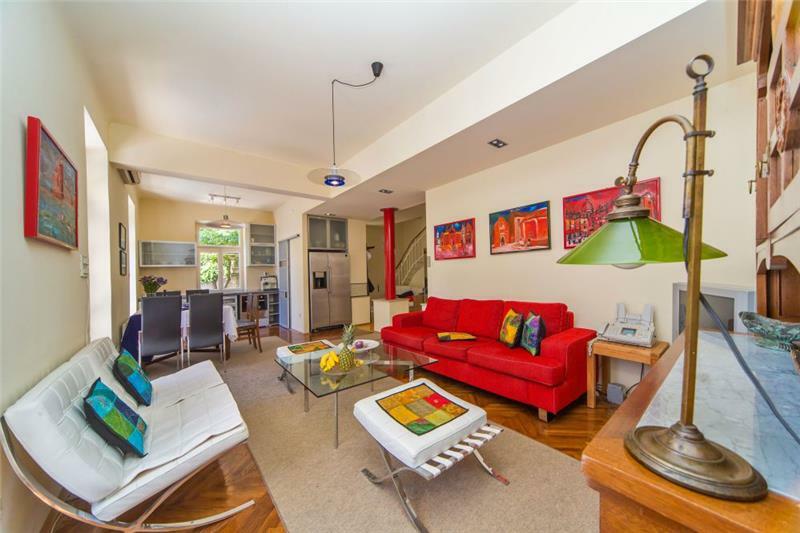 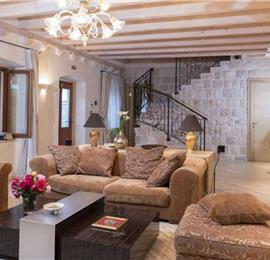 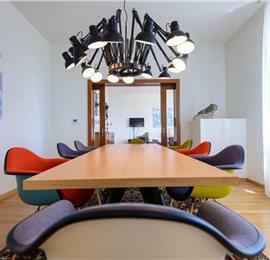 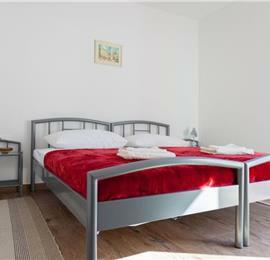 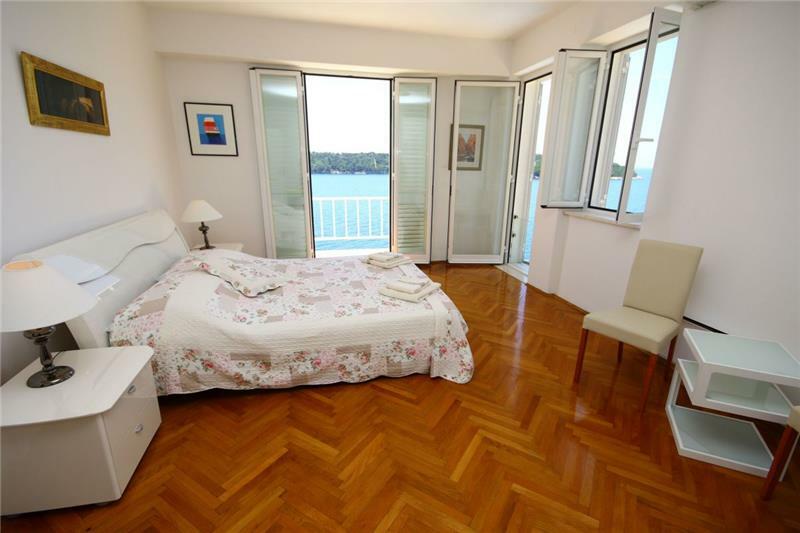 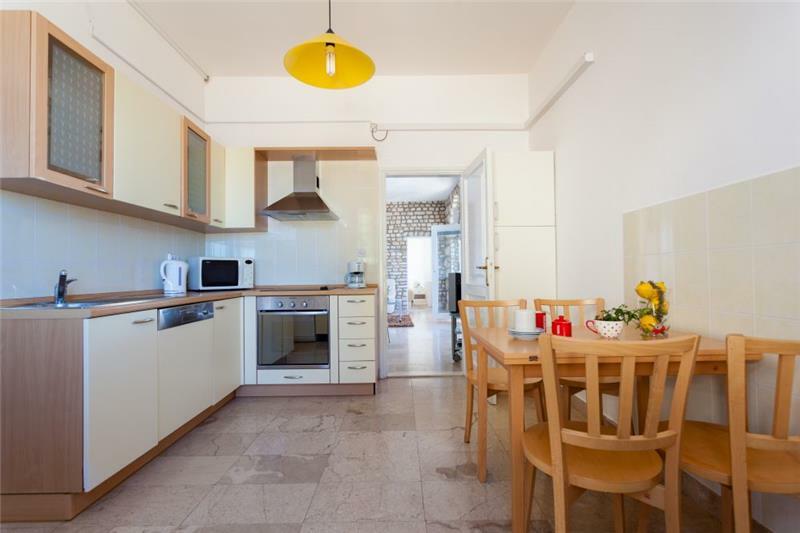 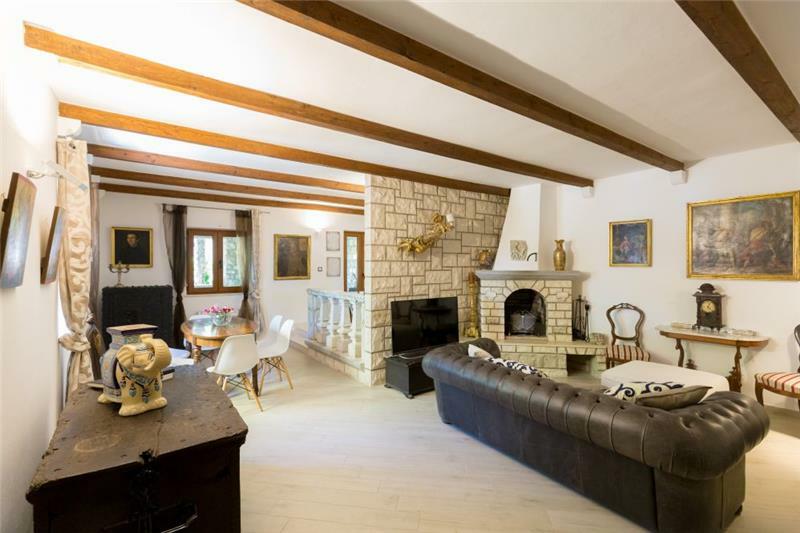 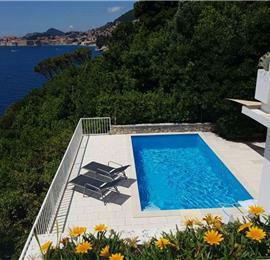 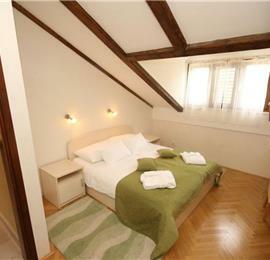 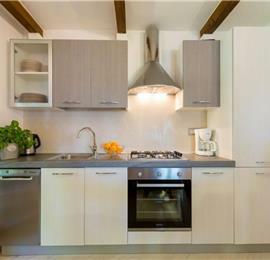 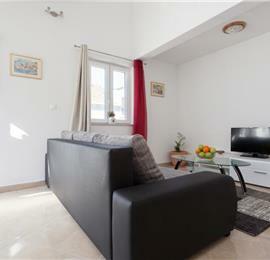 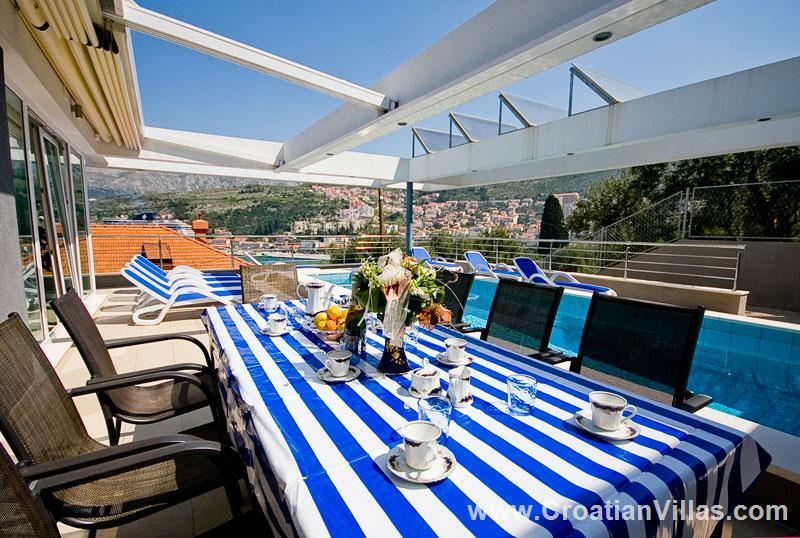 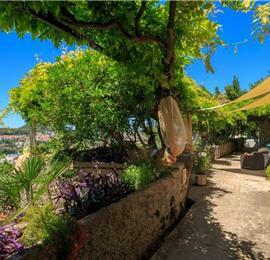 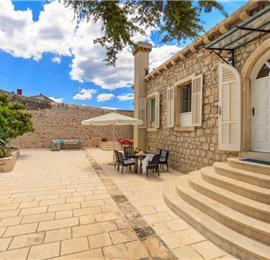 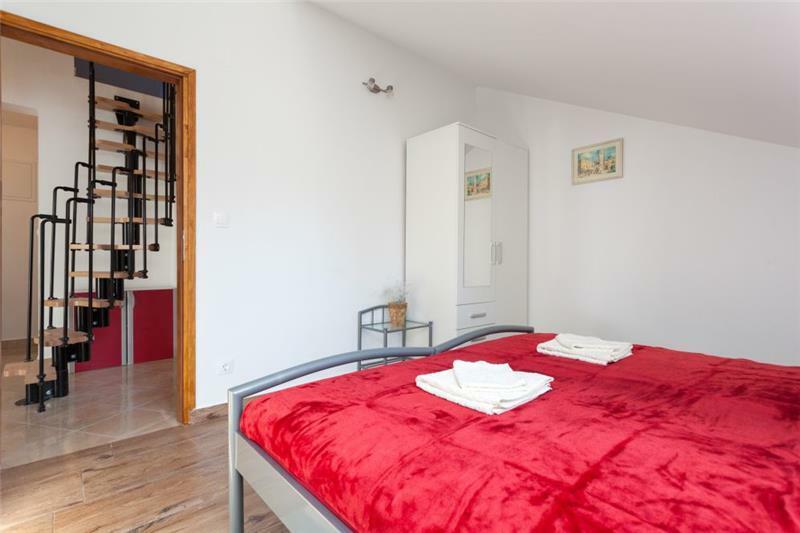 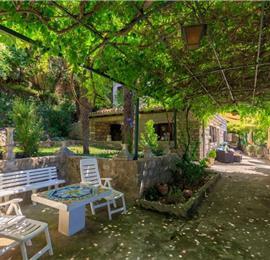 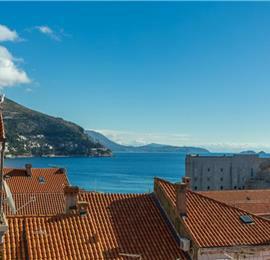 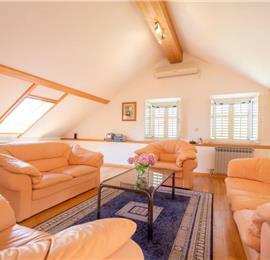 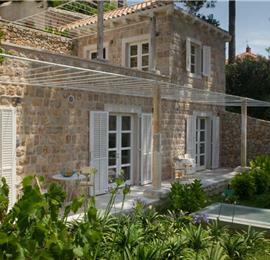 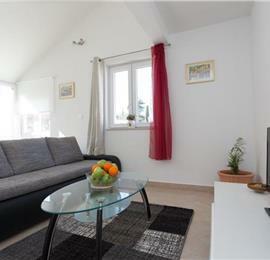 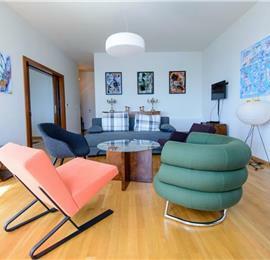 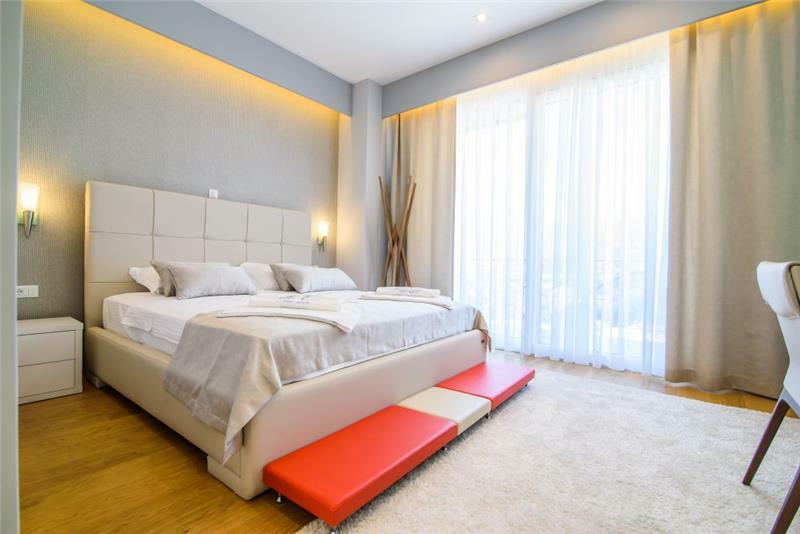 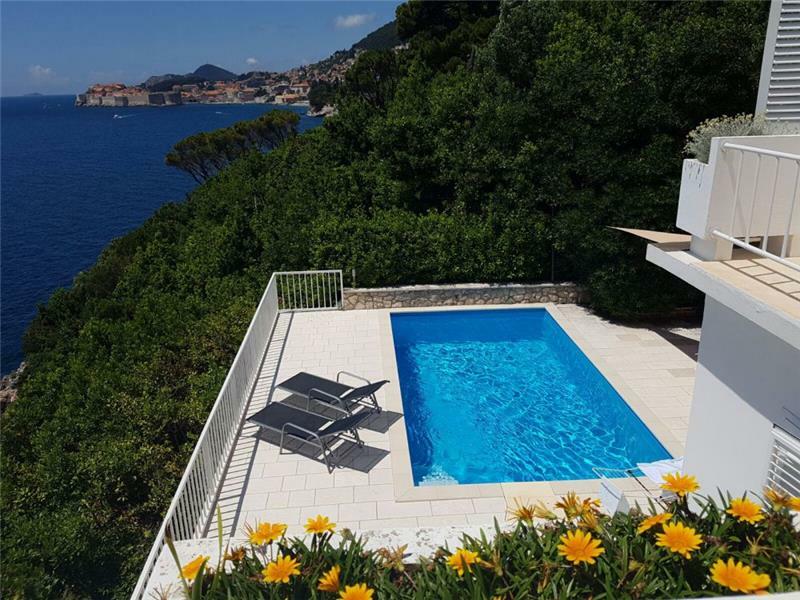 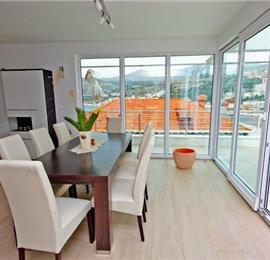 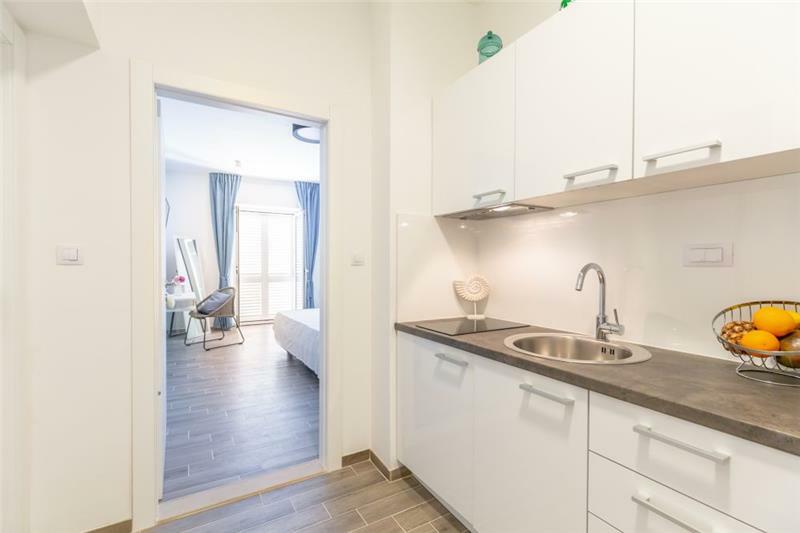 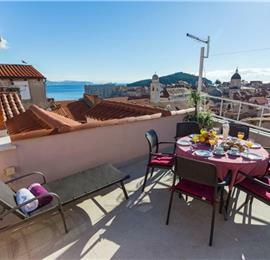 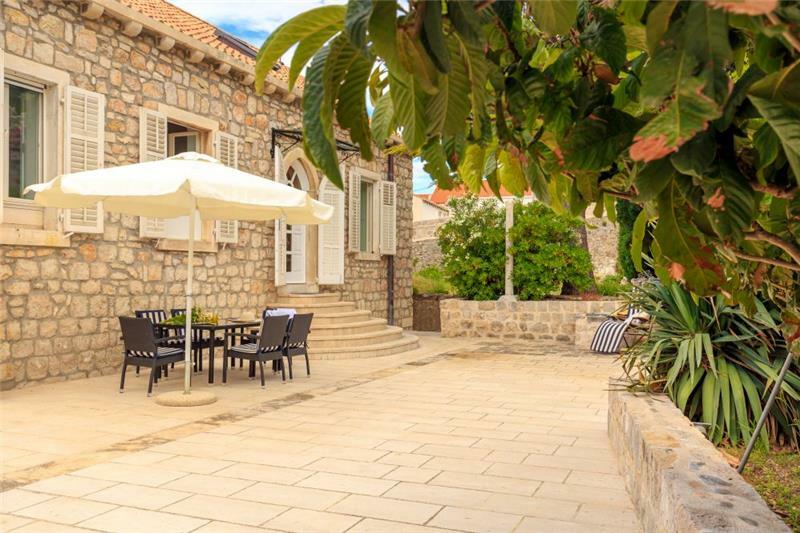 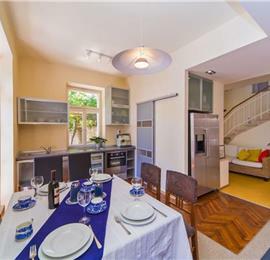 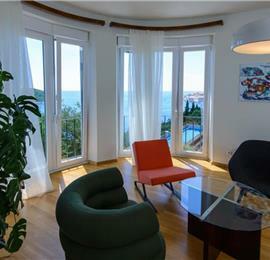 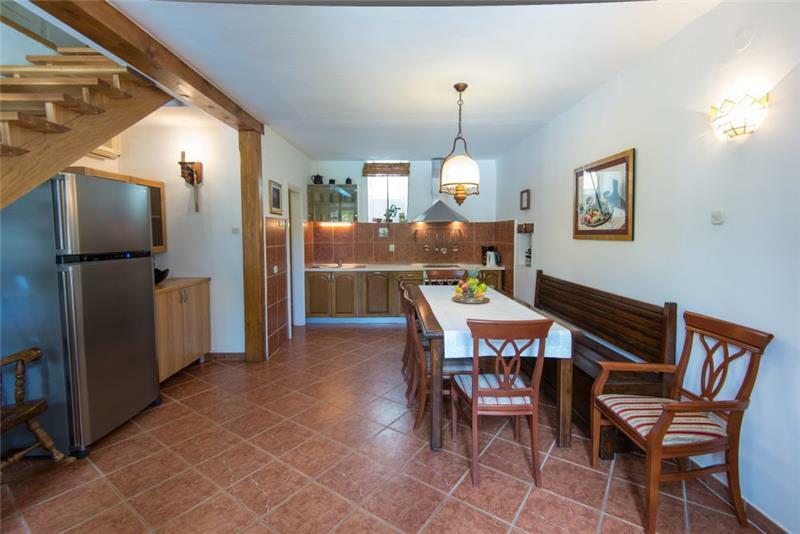 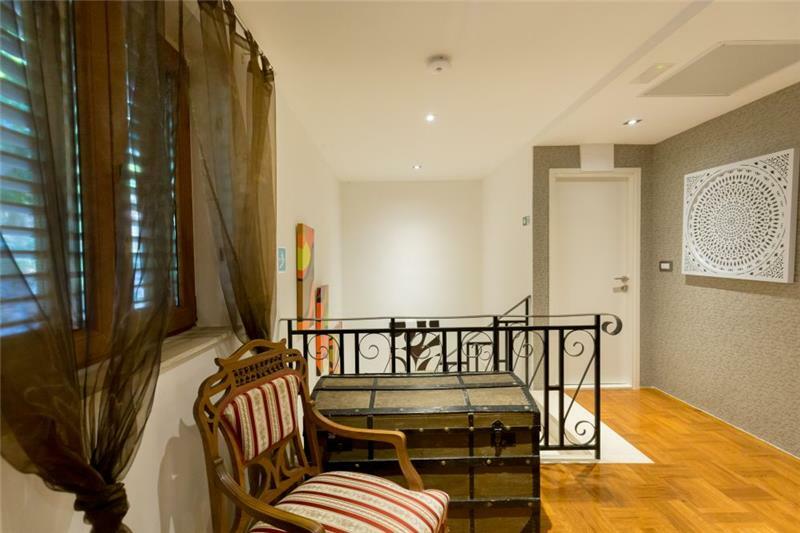 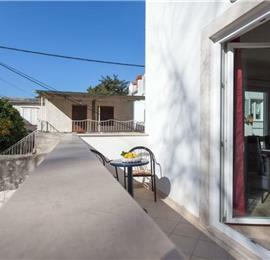 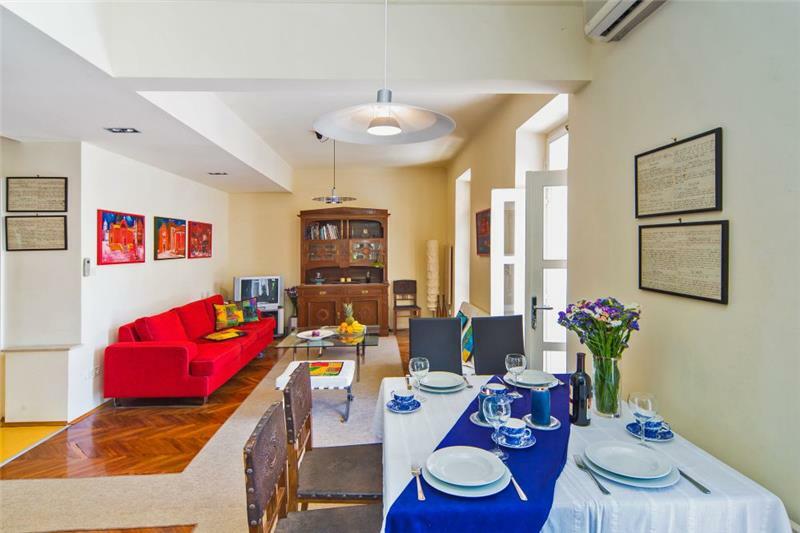 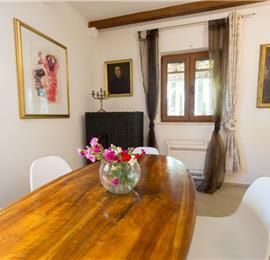 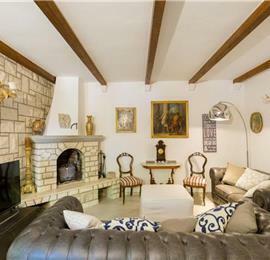 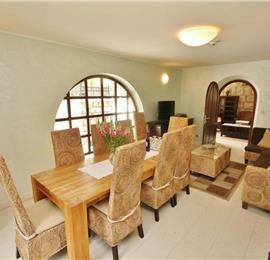 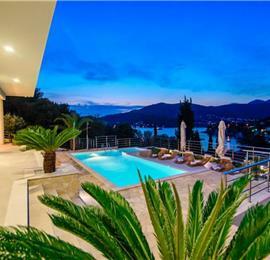 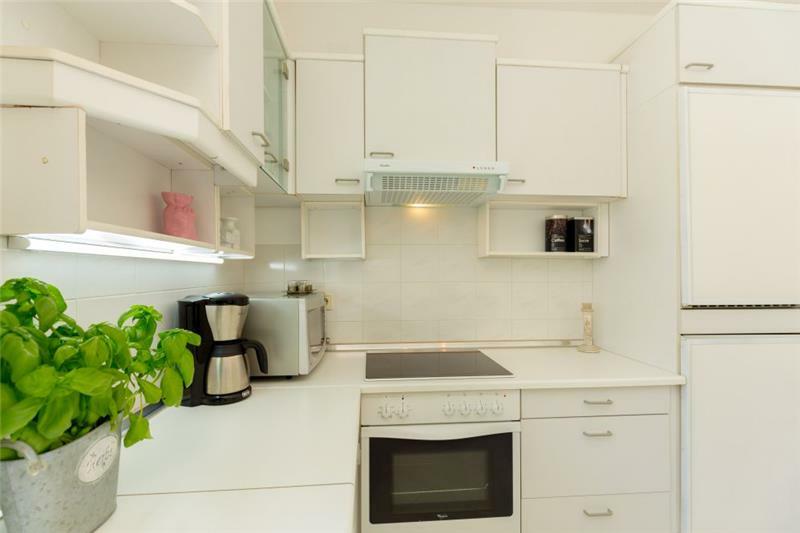 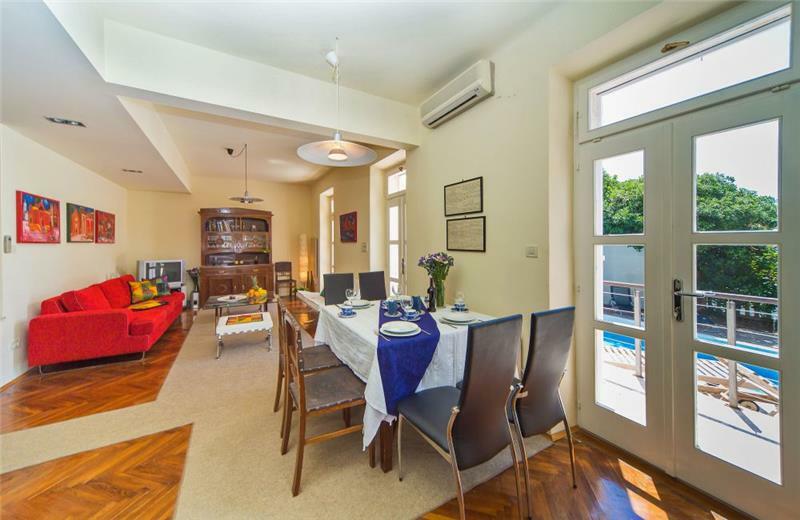 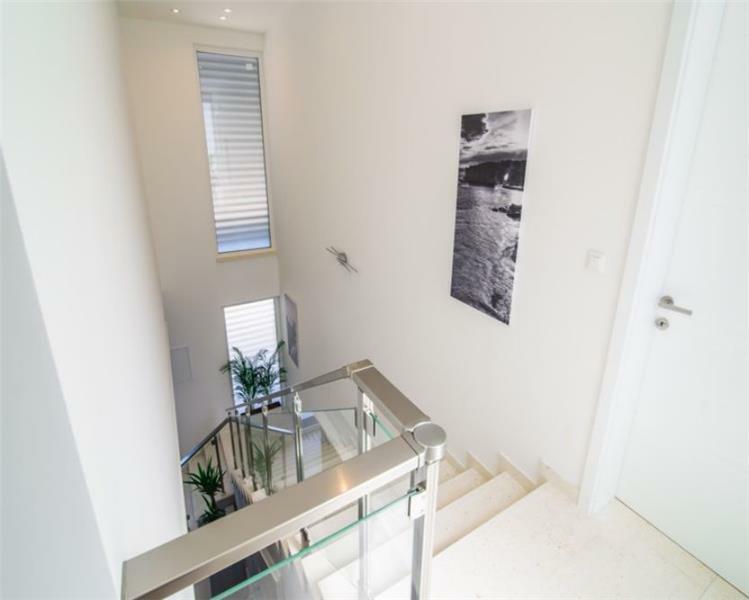 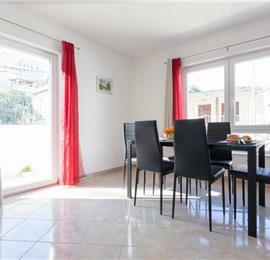 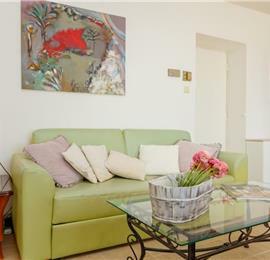 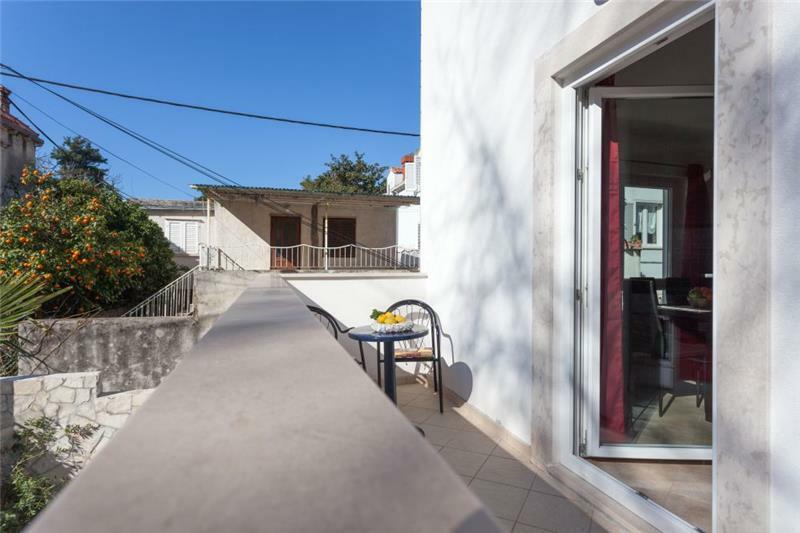 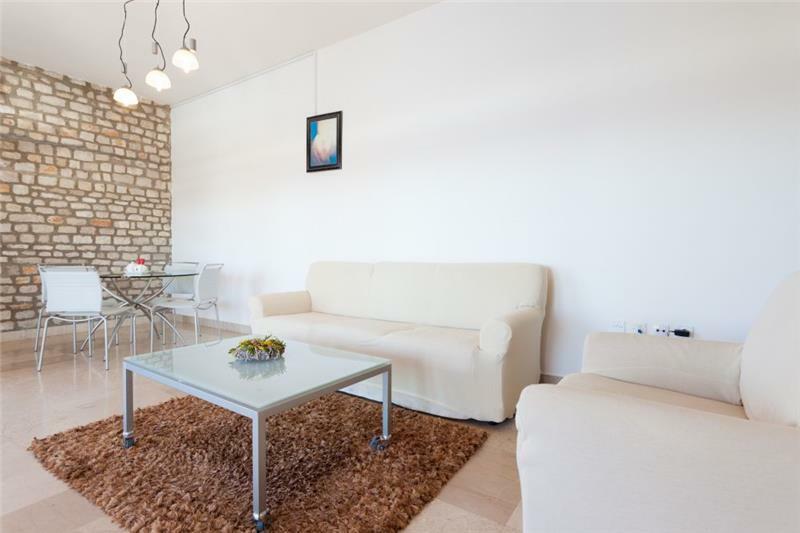 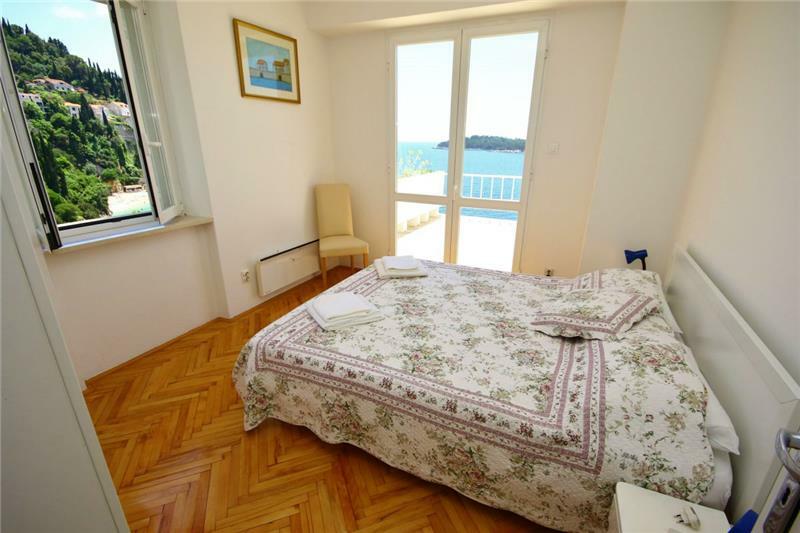 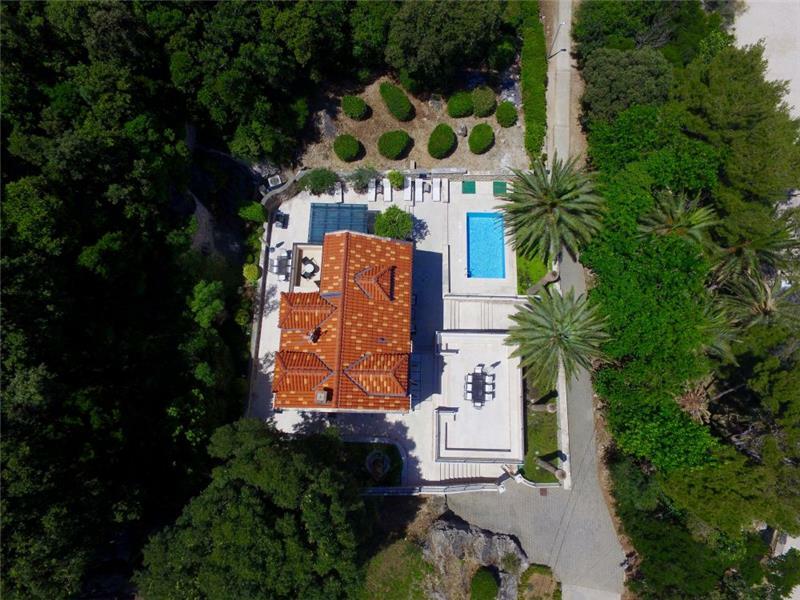 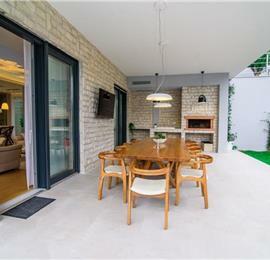 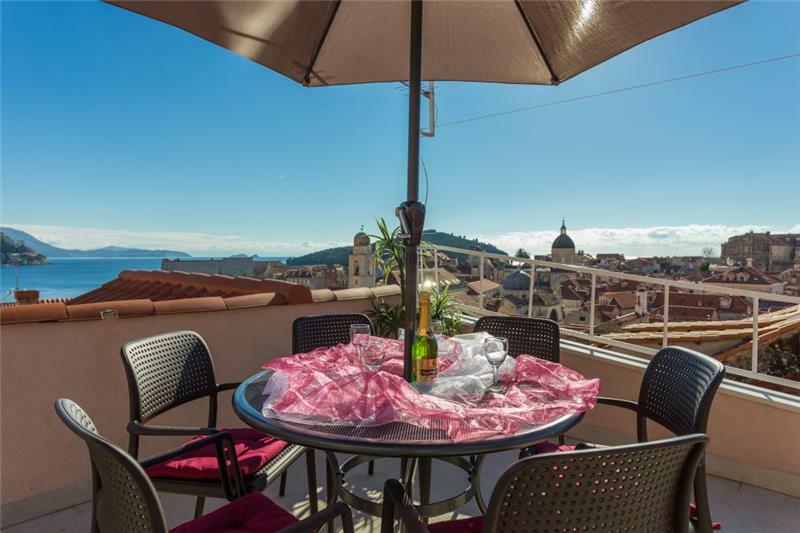 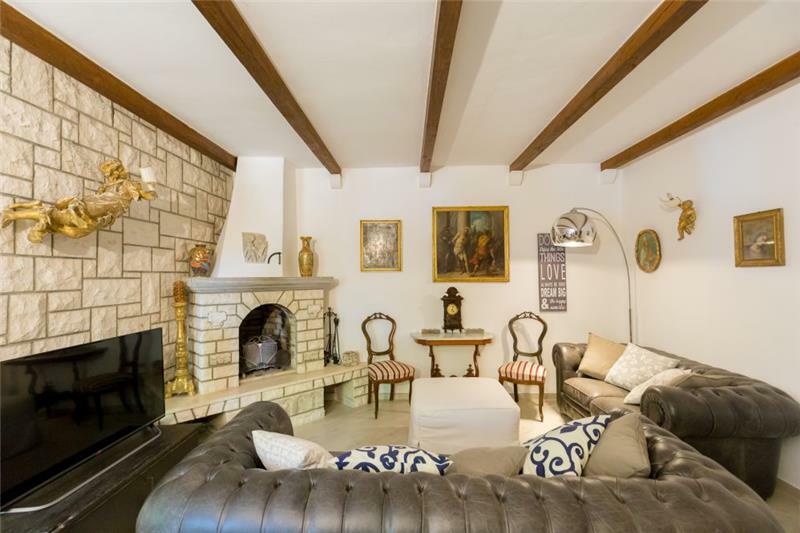 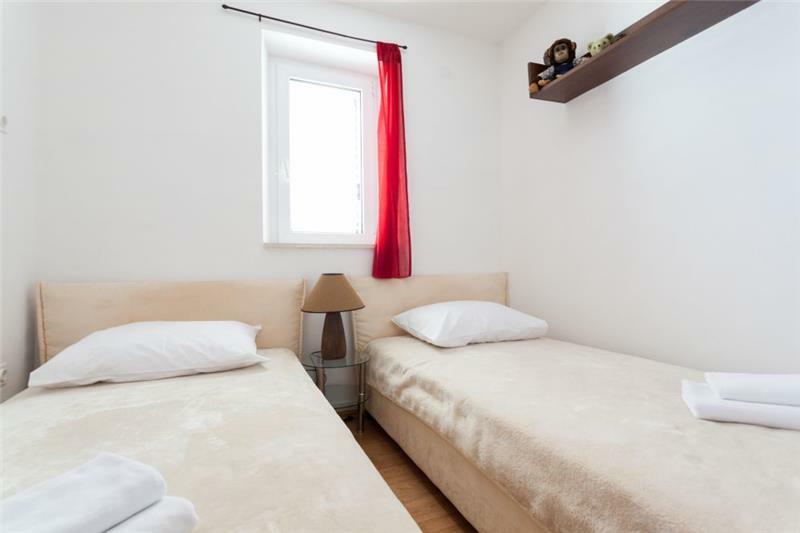 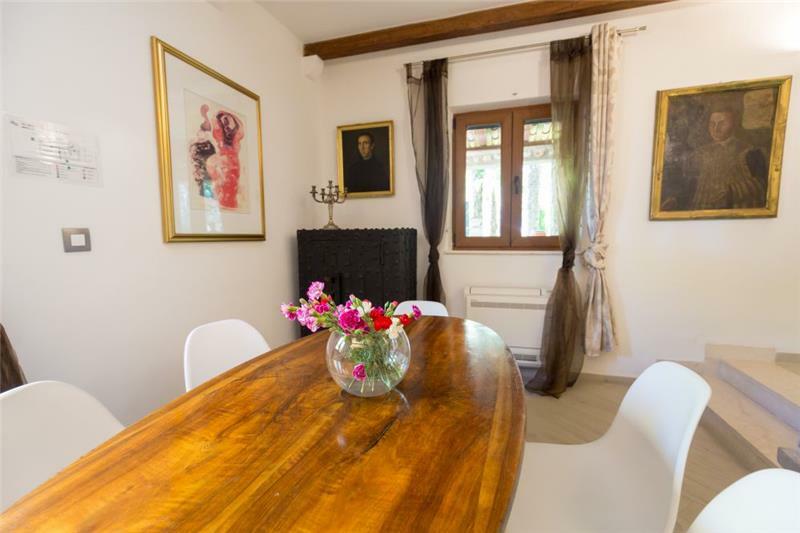 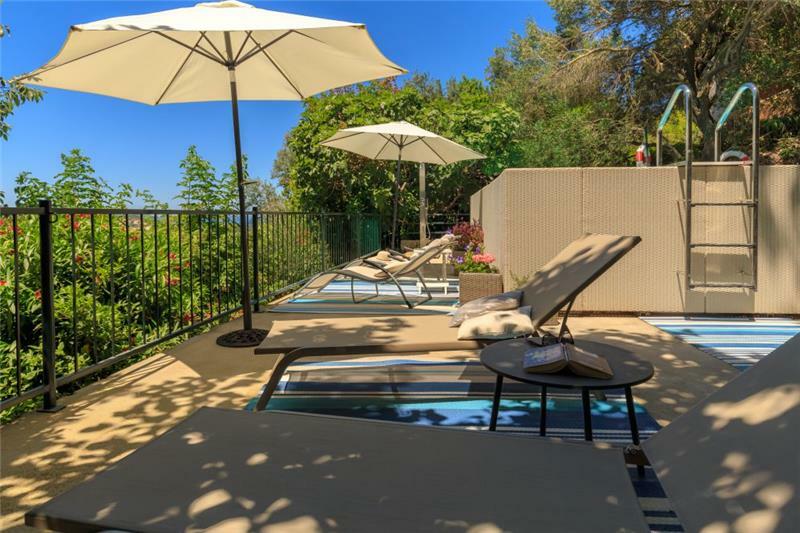 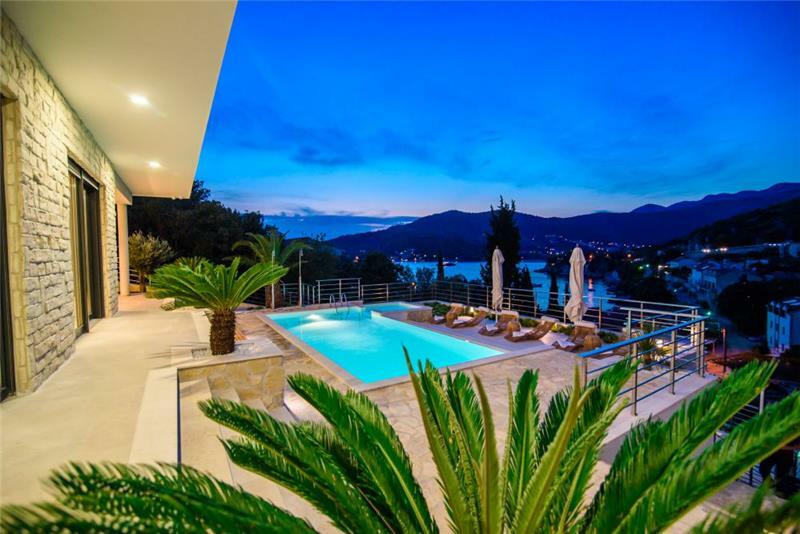 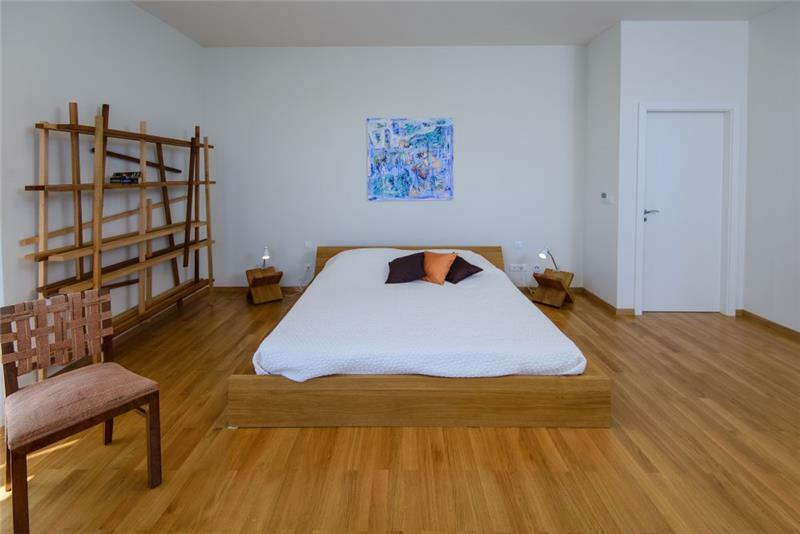 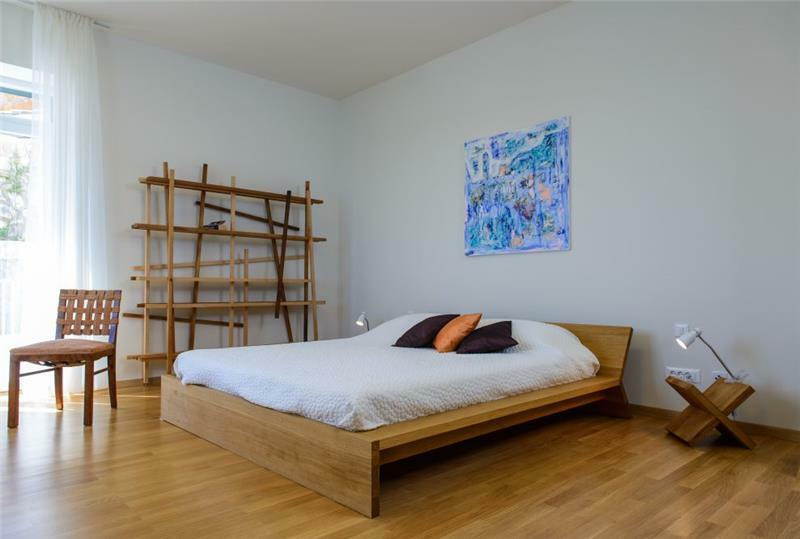 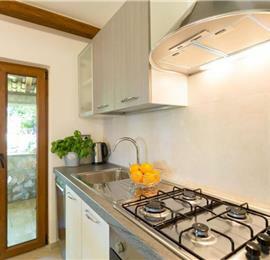 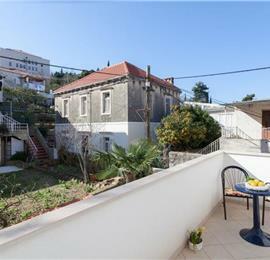 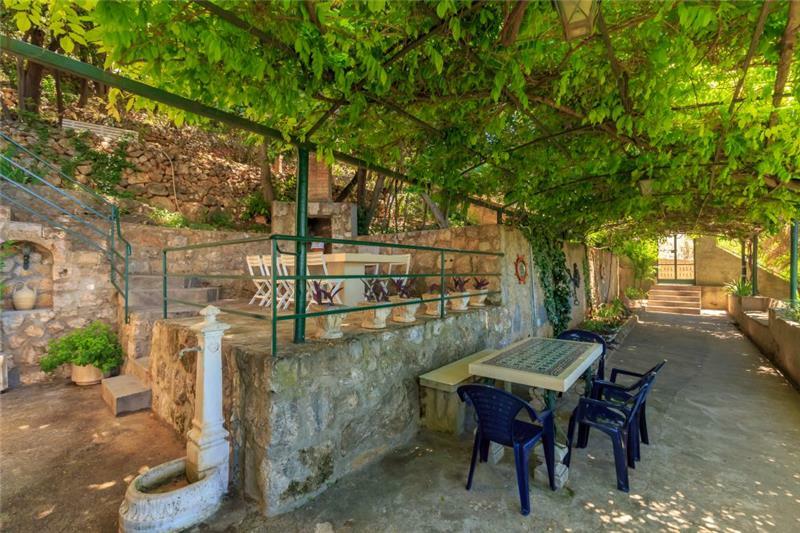 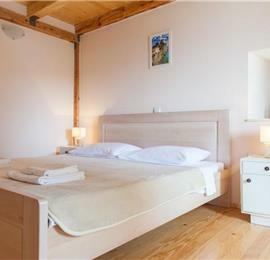 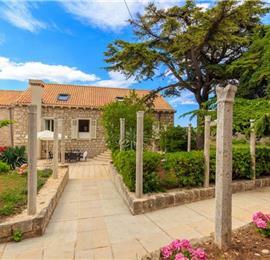 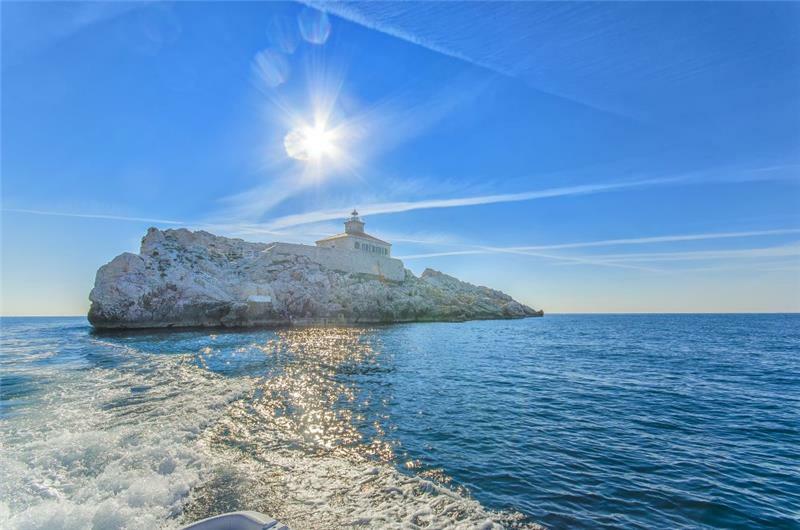 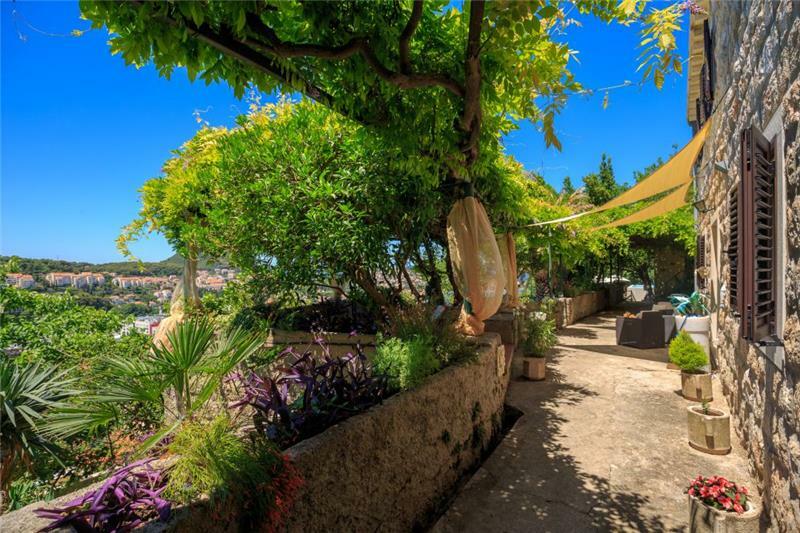 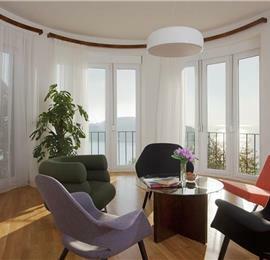 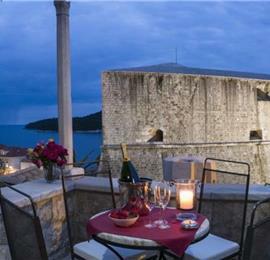 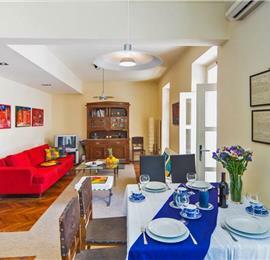 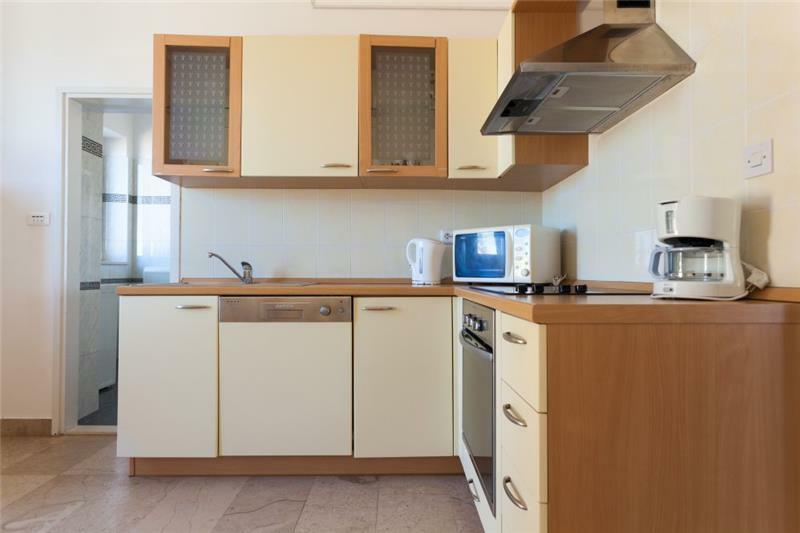 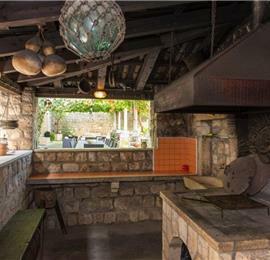 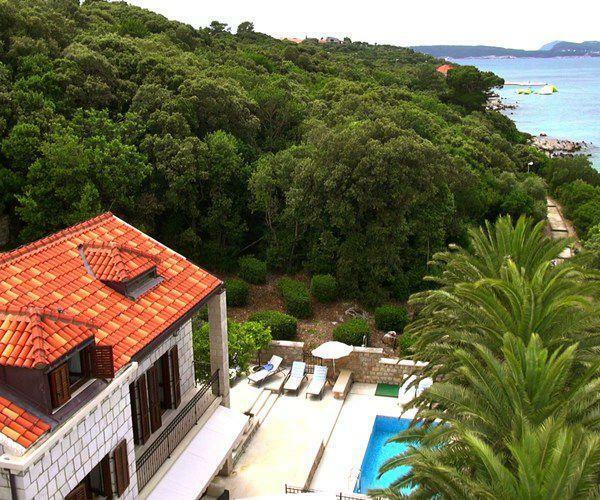 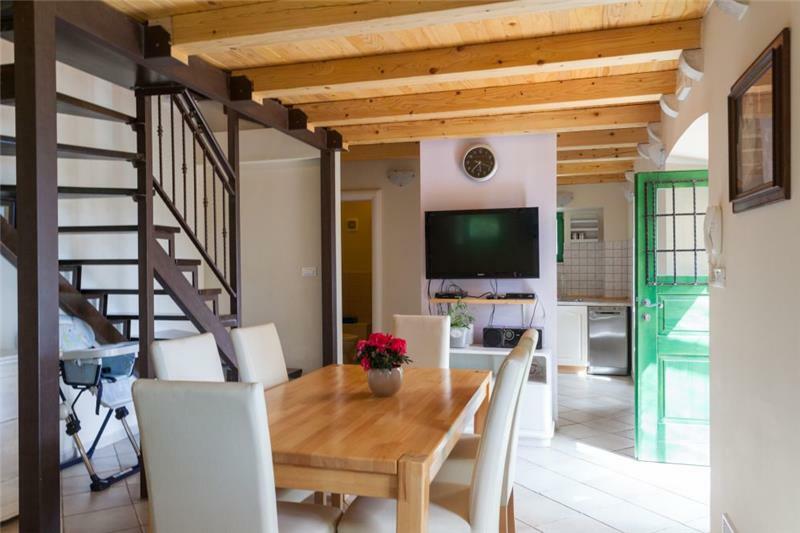 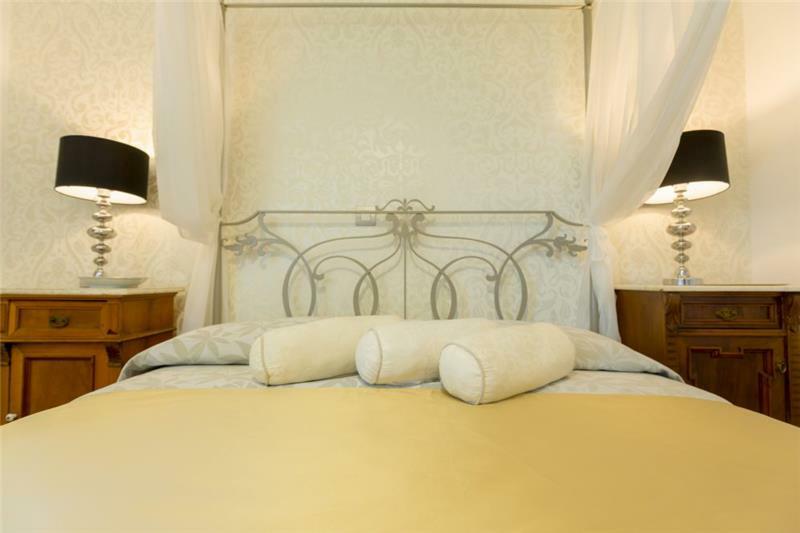 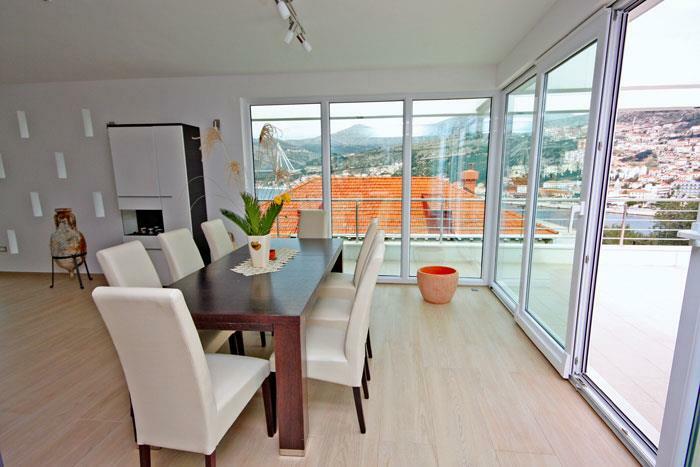 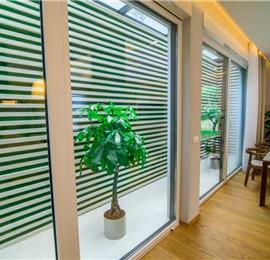 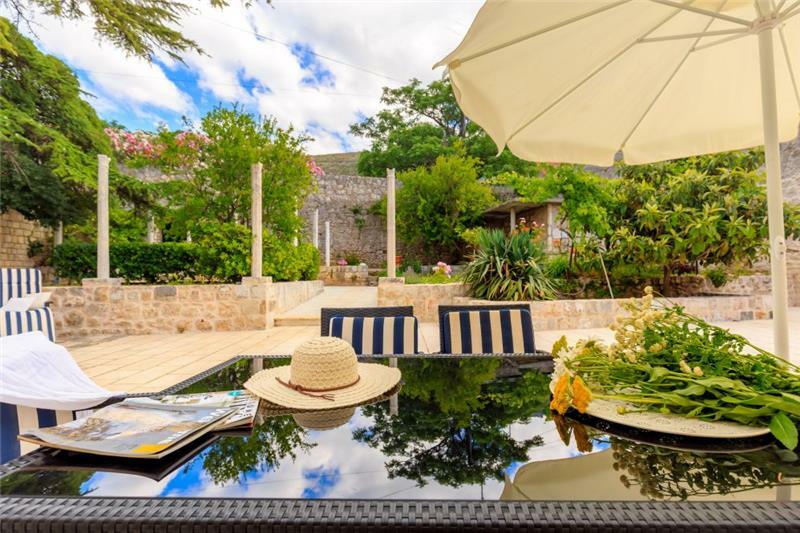 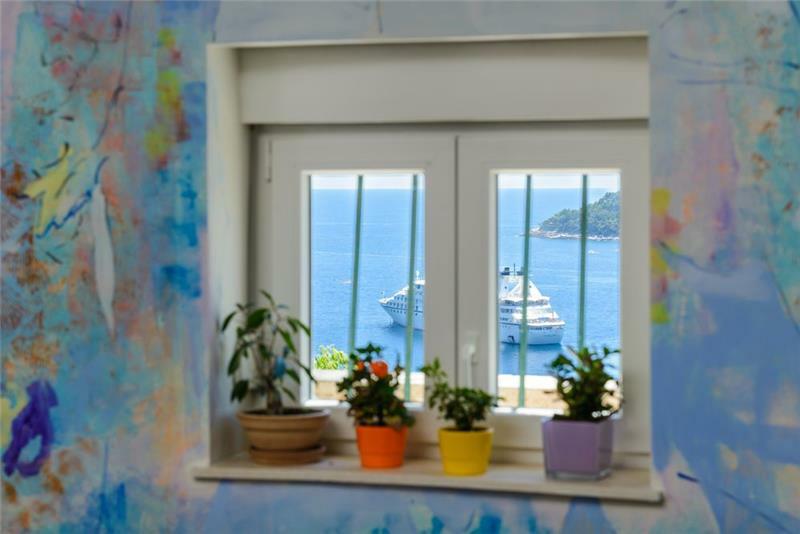 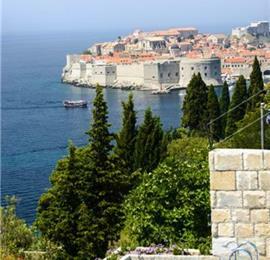 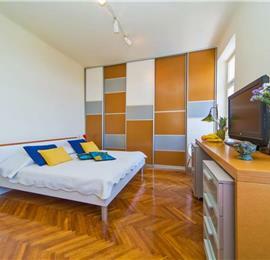 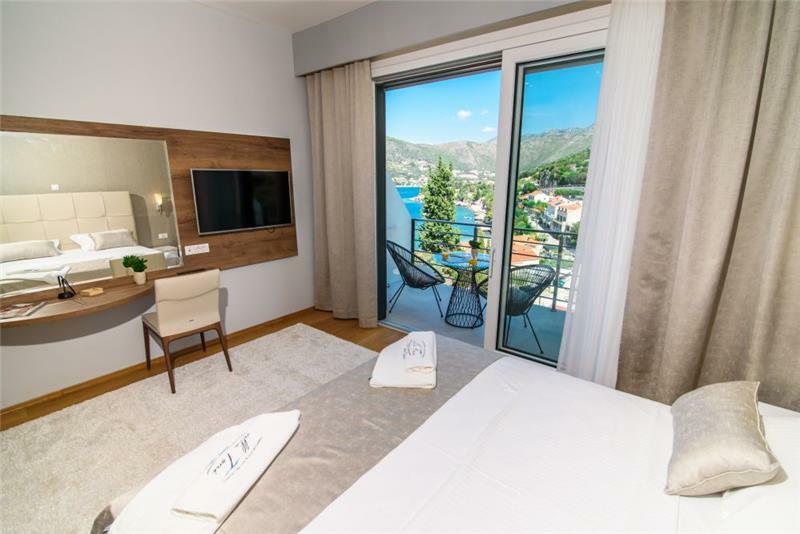 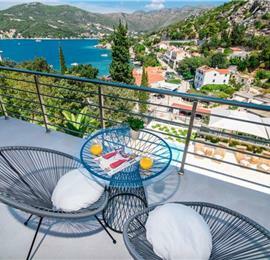 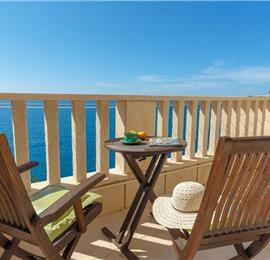 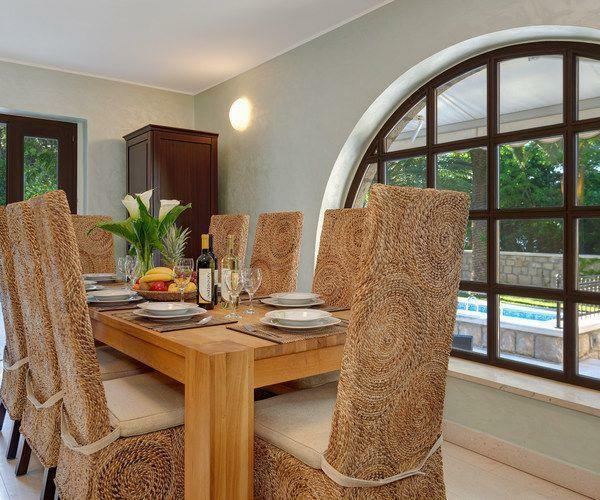 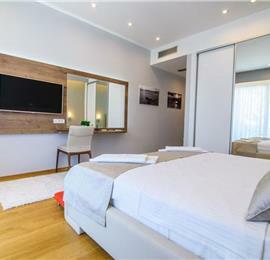 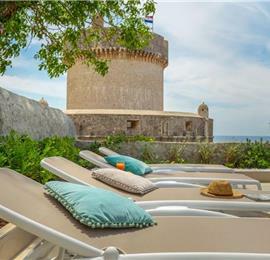 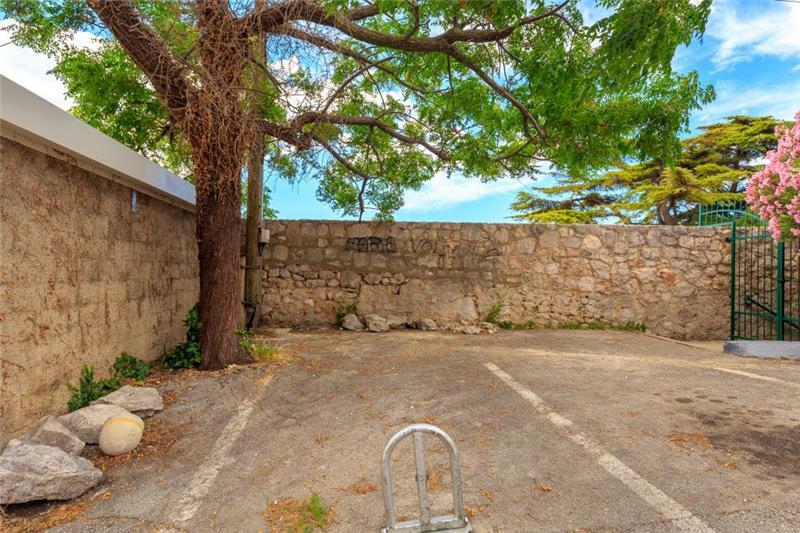 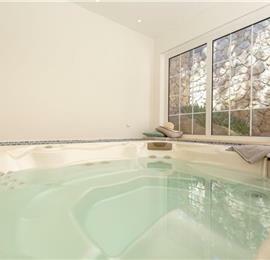 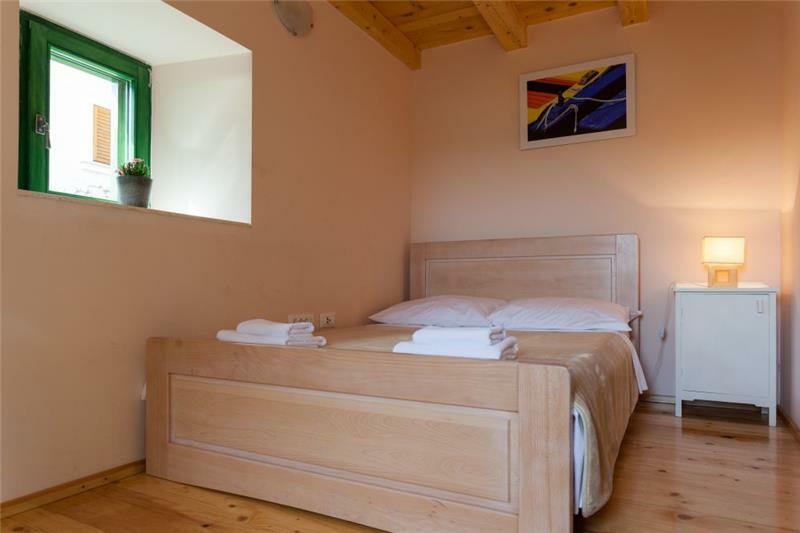 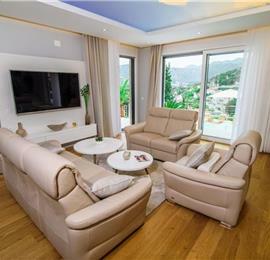 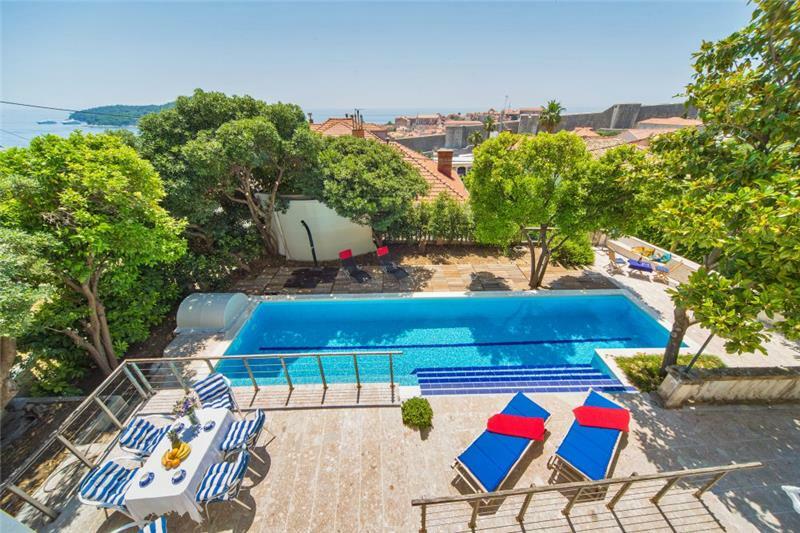 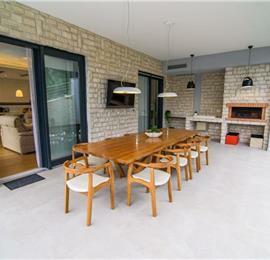 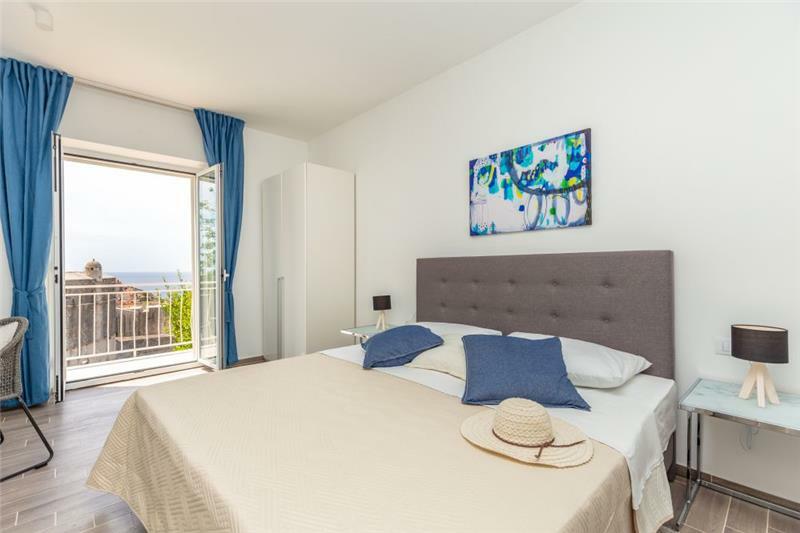 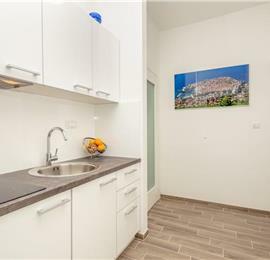 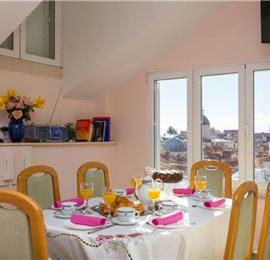 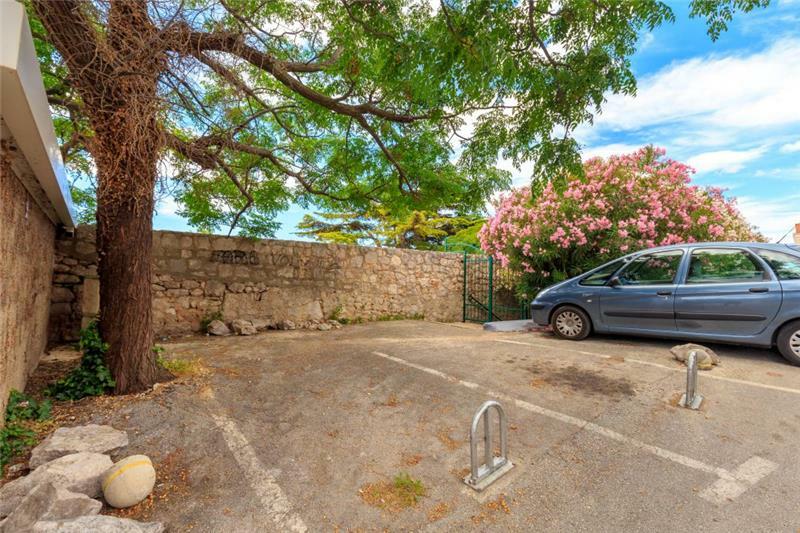 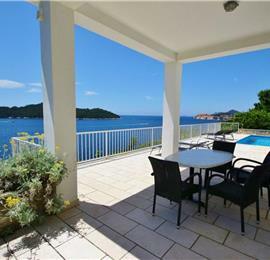 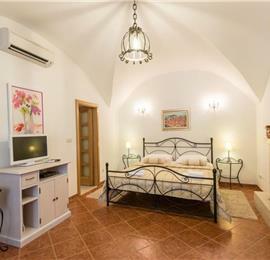 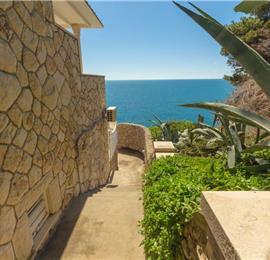 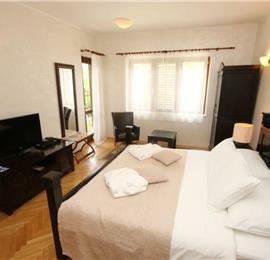 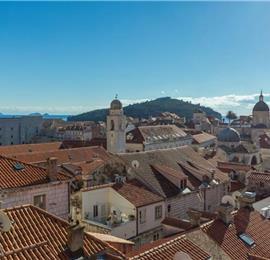 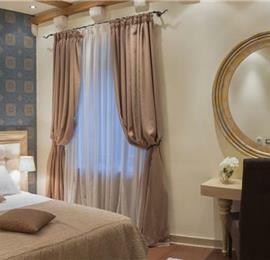 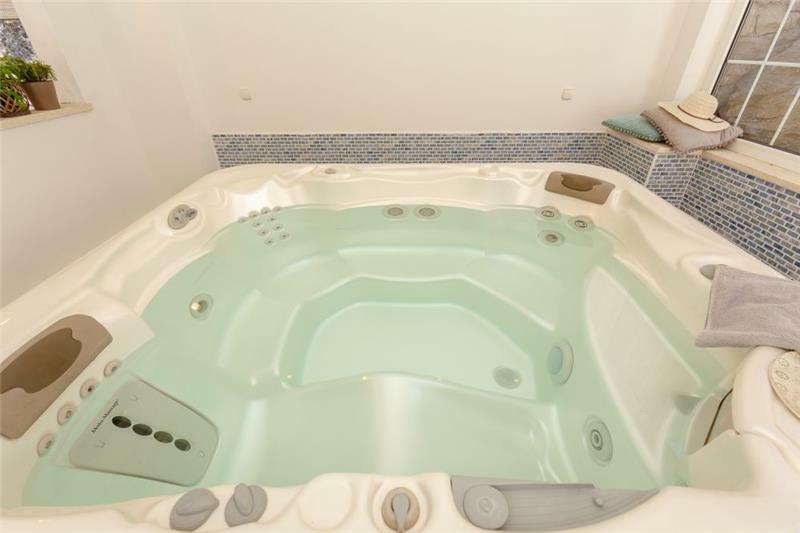 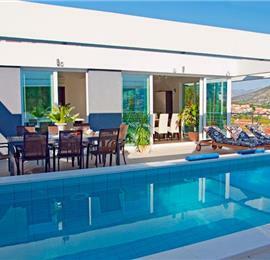 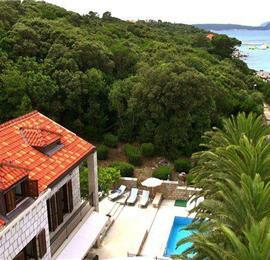 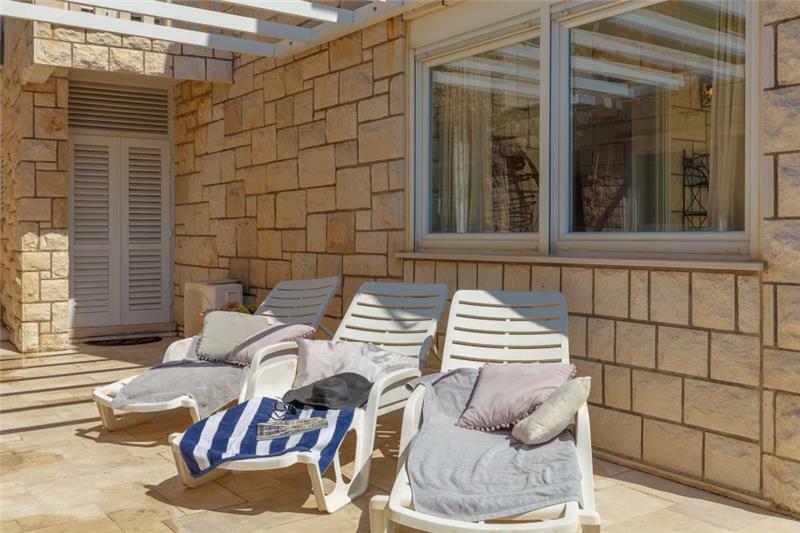 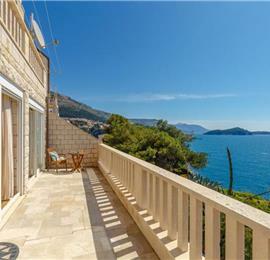 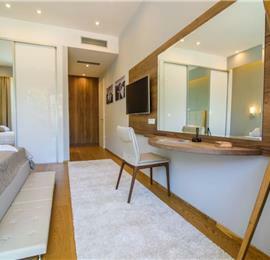 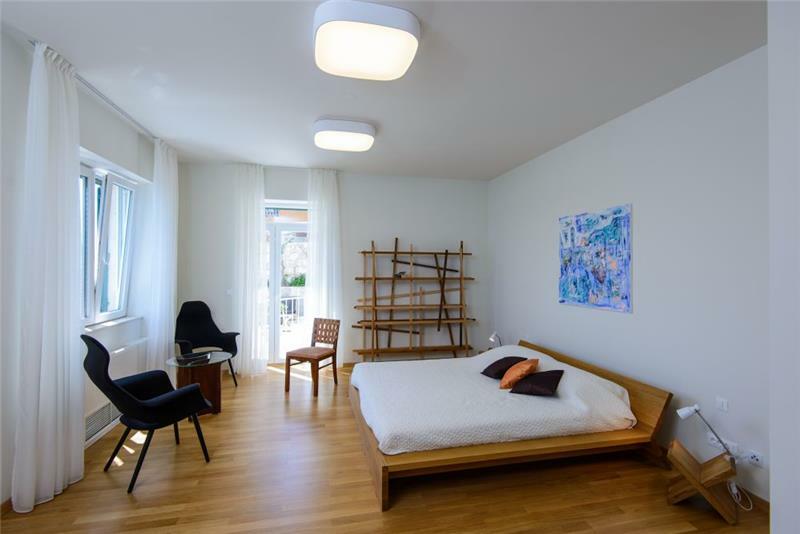 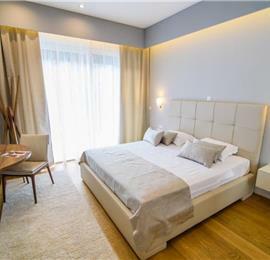 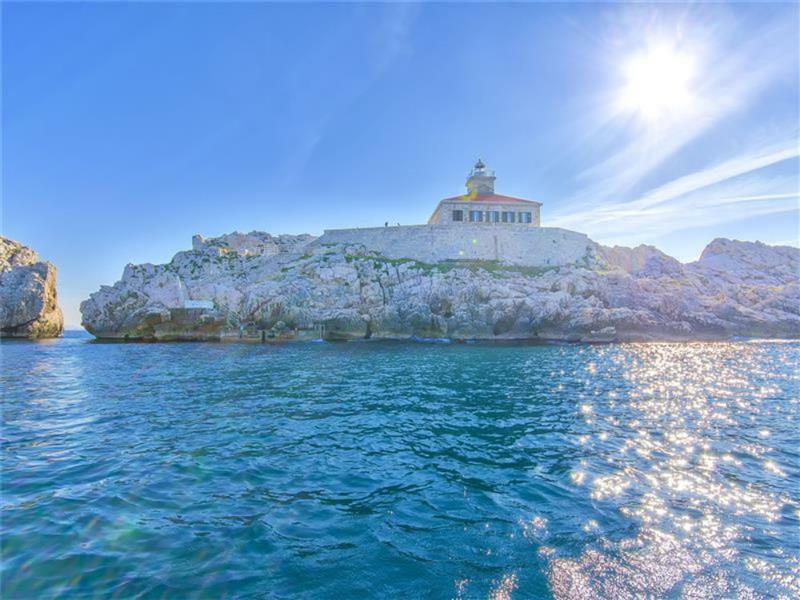 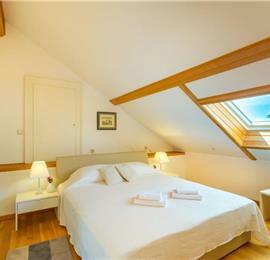 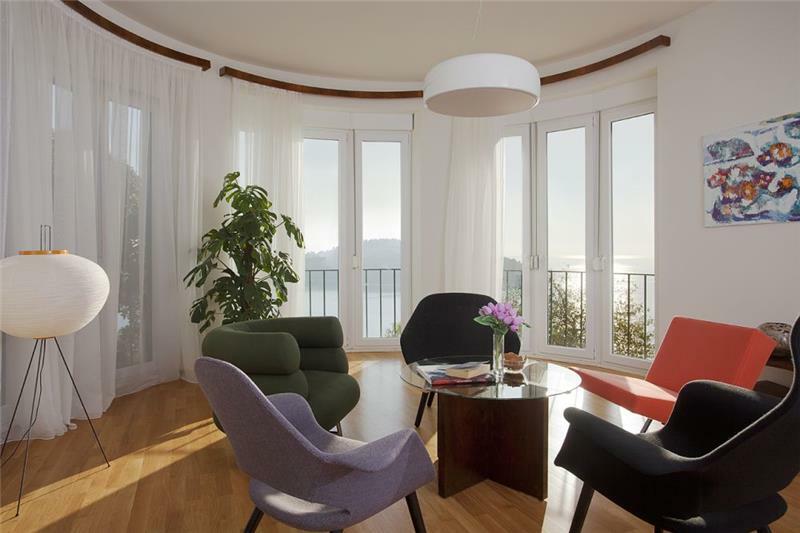 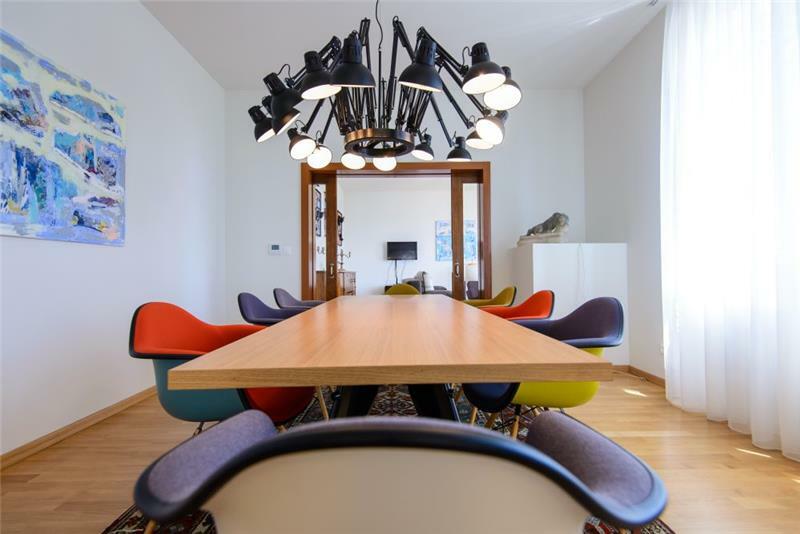 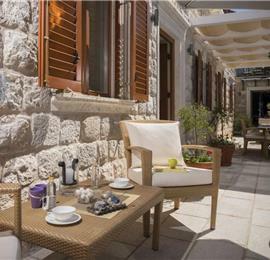 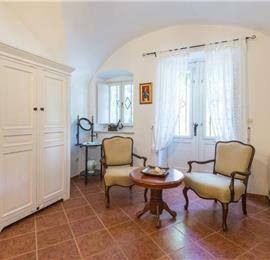 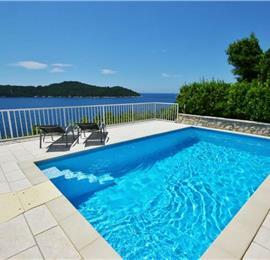 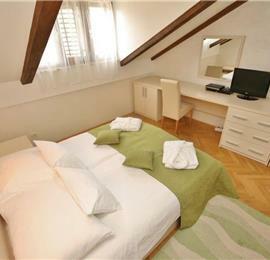 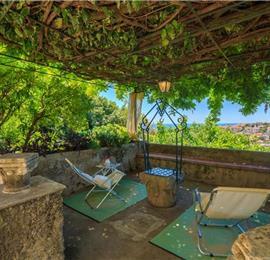 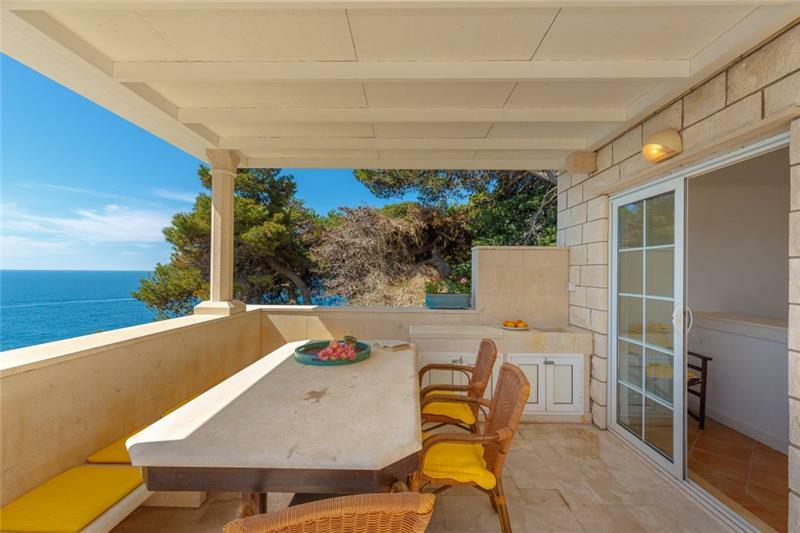 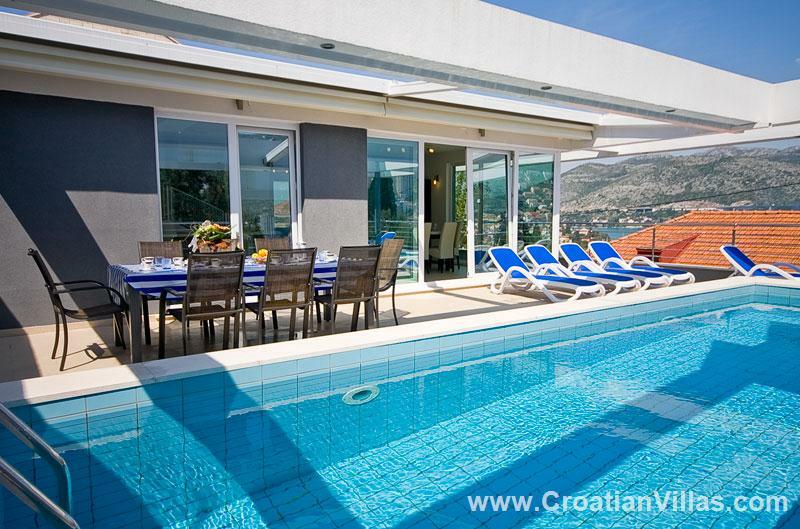 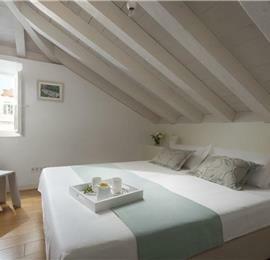 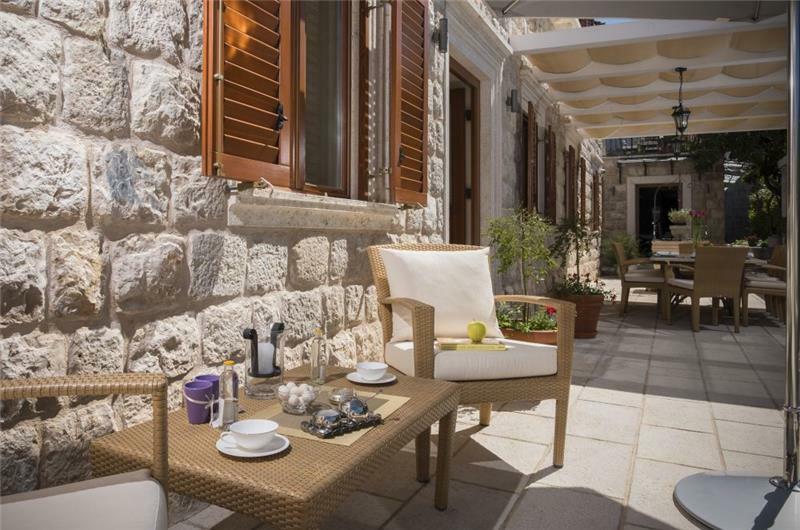 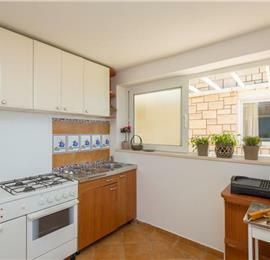 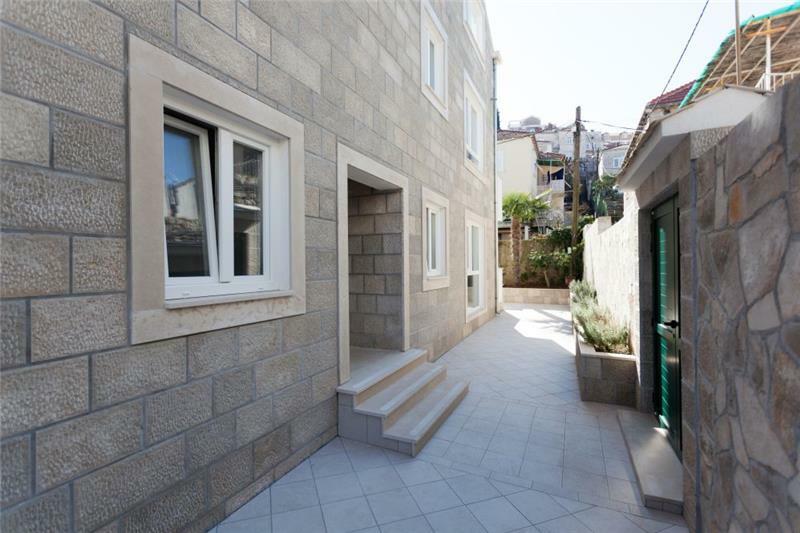 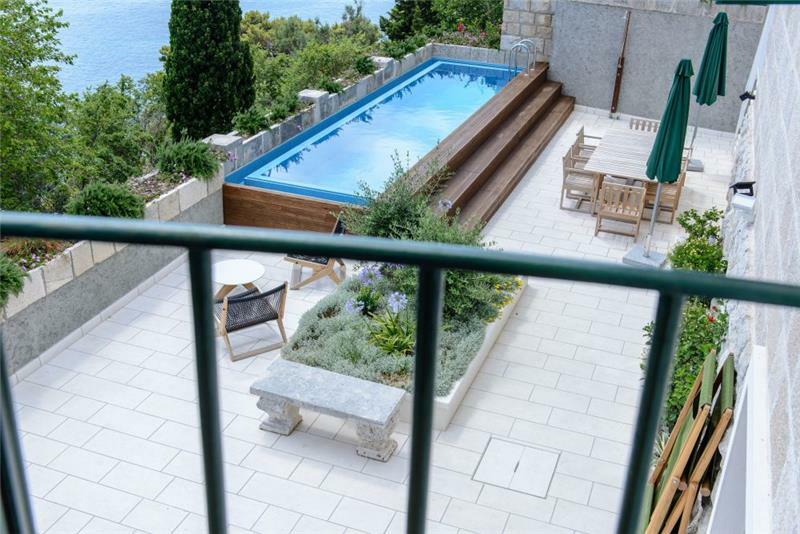 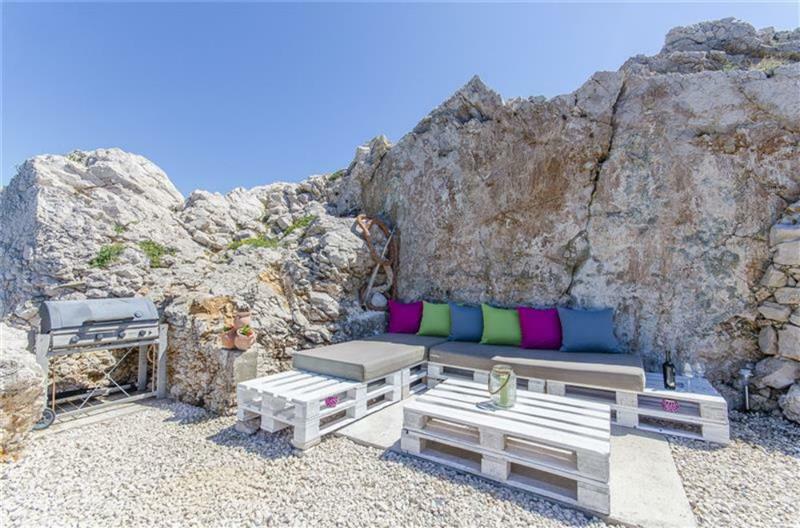 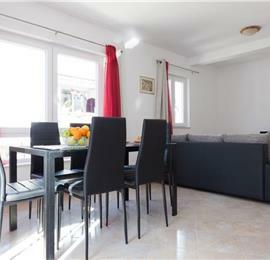 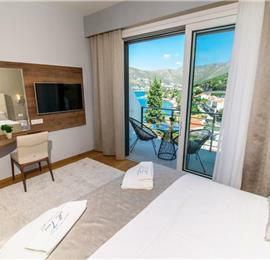 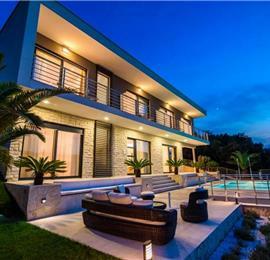 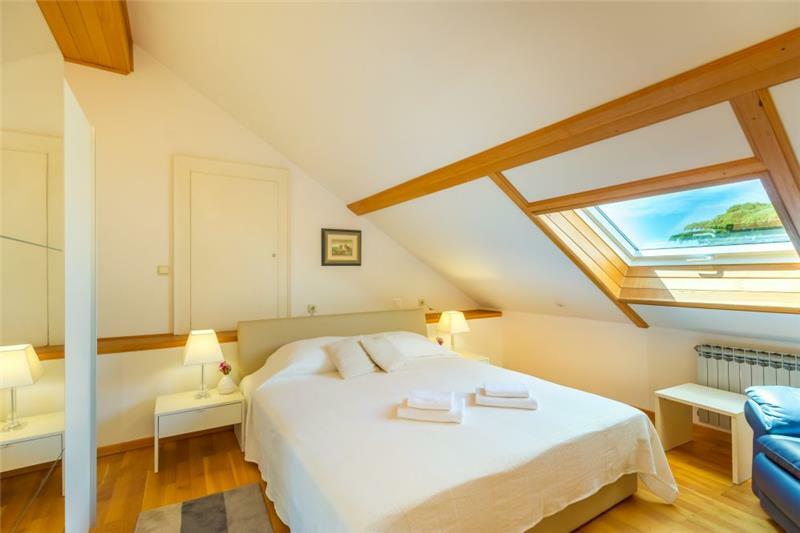 A villa holiday in Dubrovnik City is a sought after experience and one, given the few numbers of villas located in the city, where it is strongly recommend to BOOK EARLY. 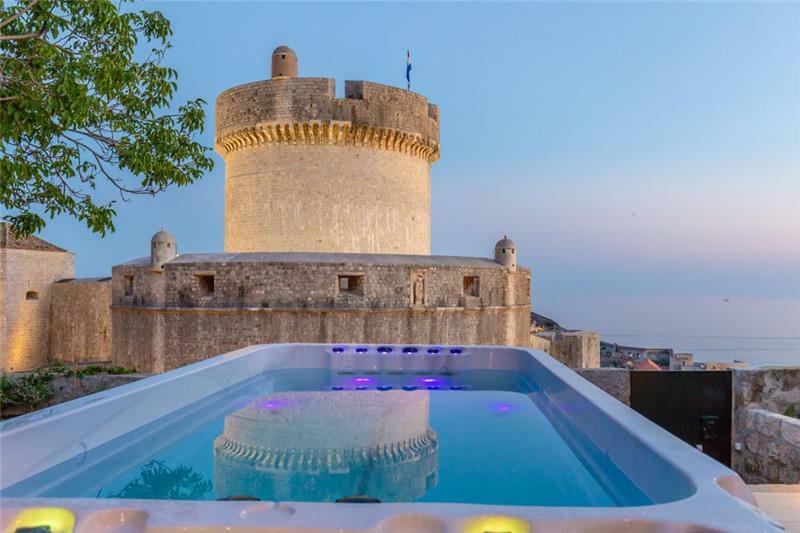 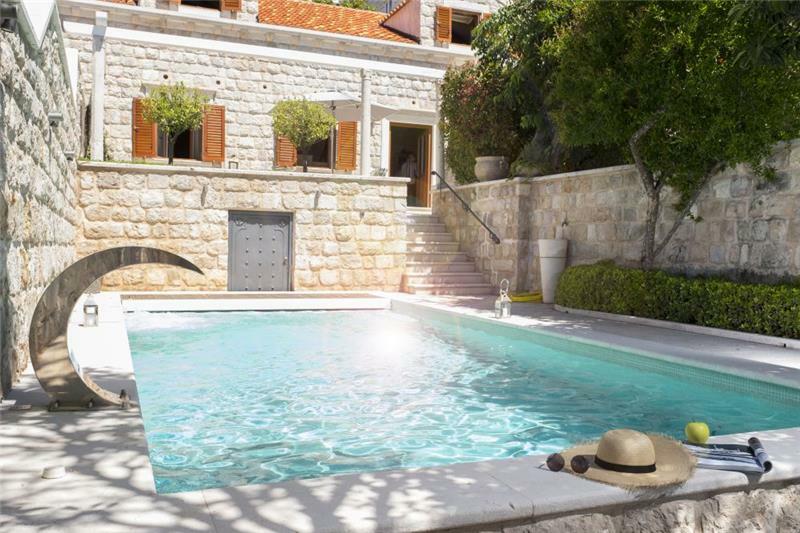 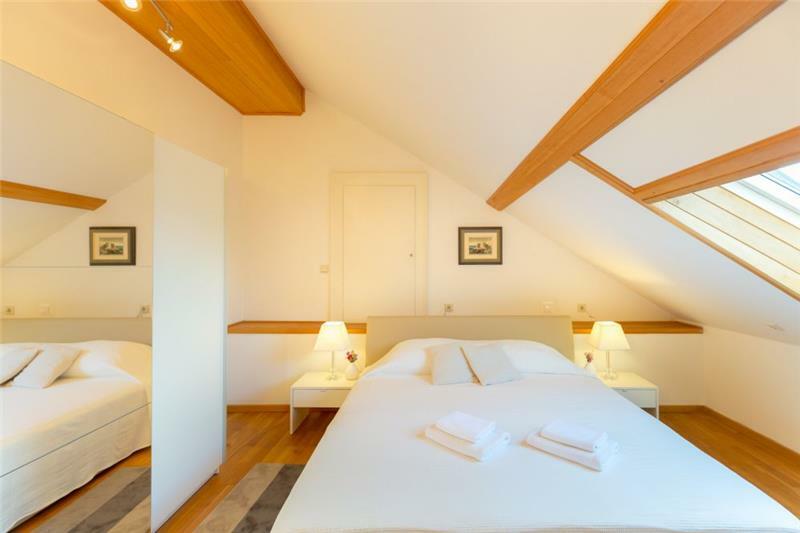 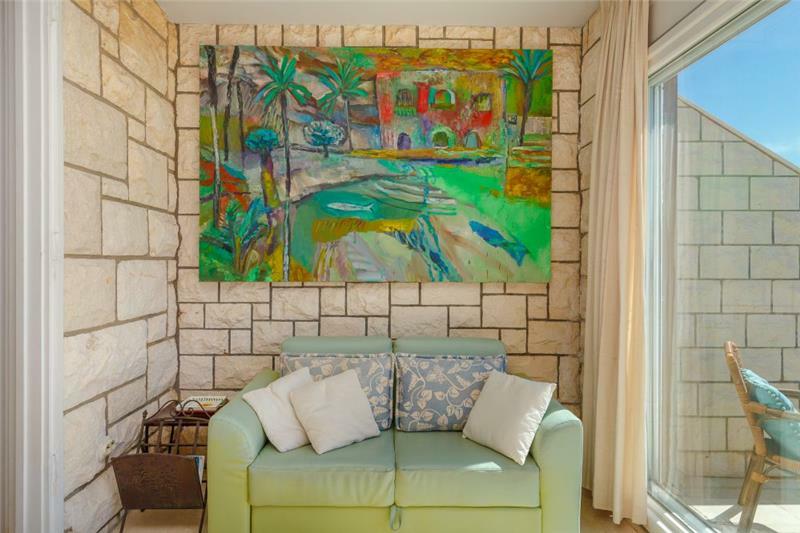 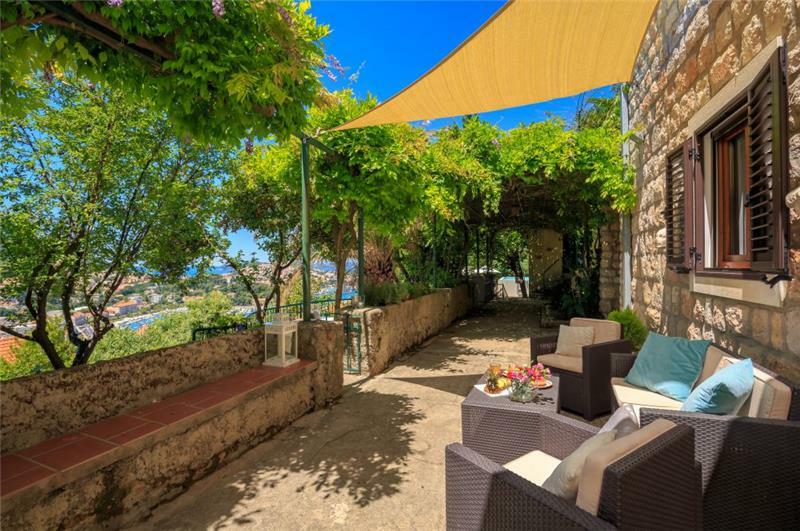 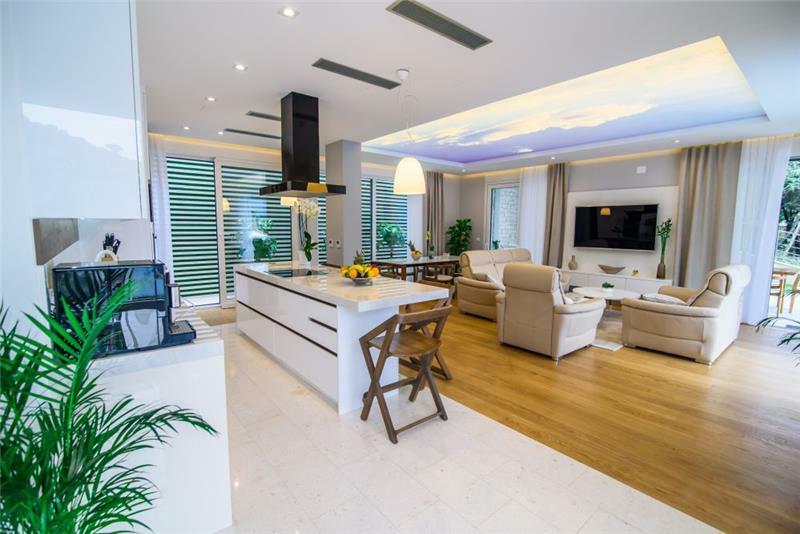 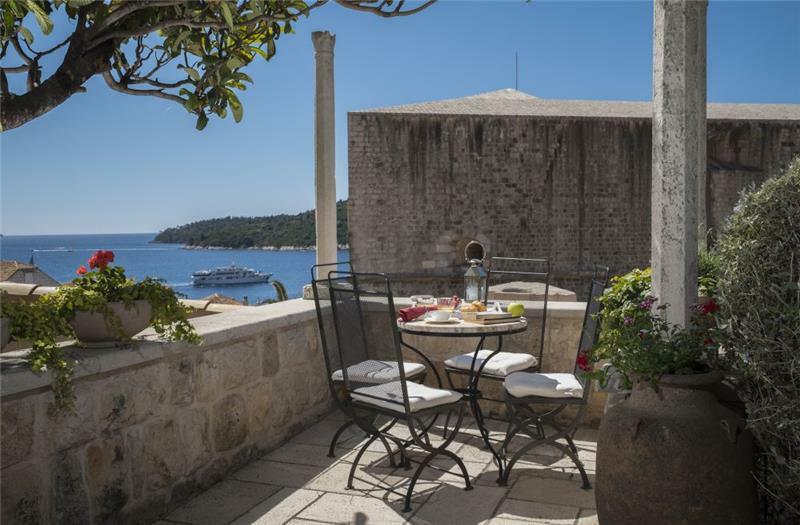 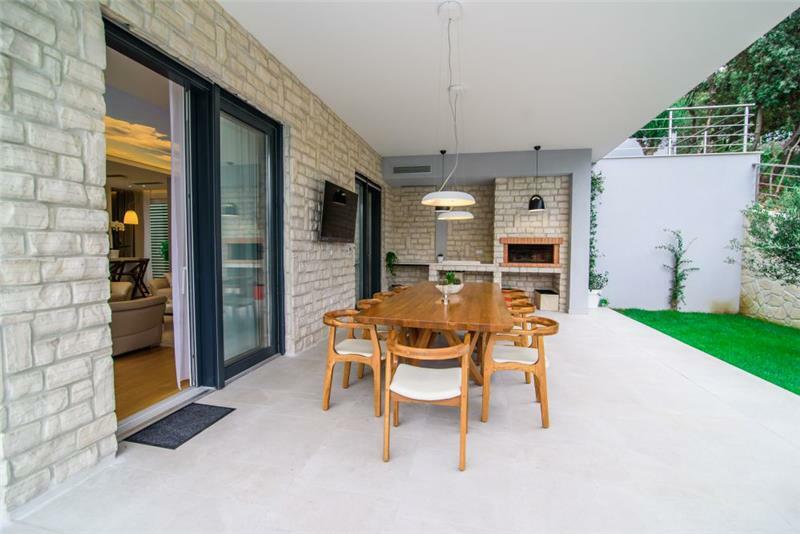 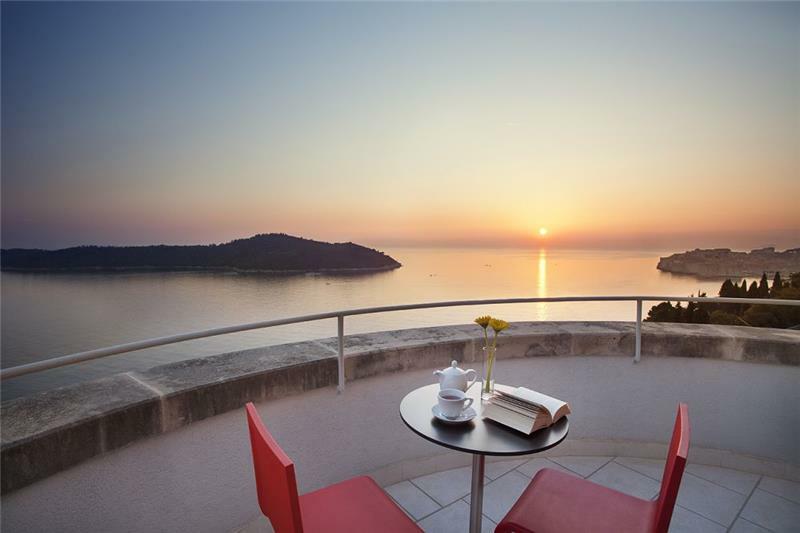 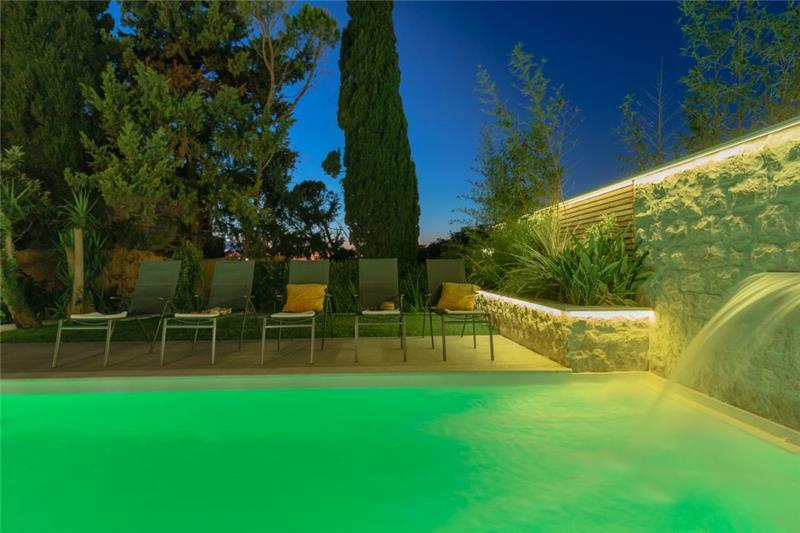 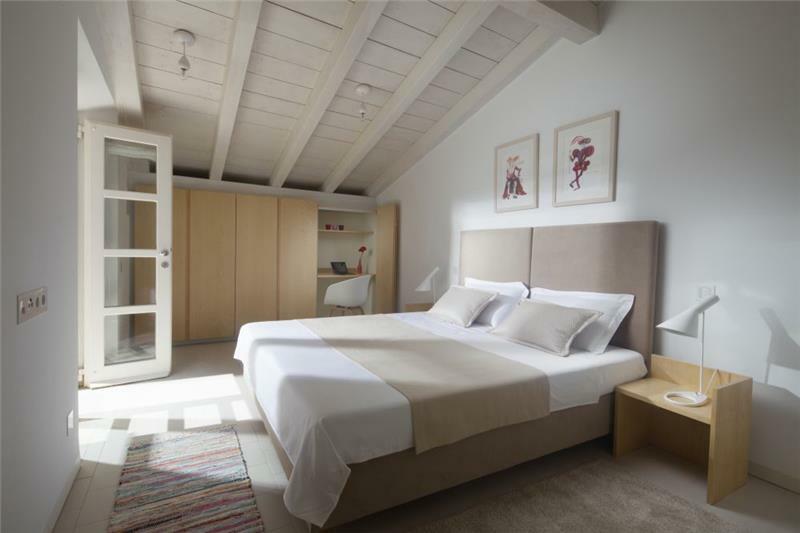 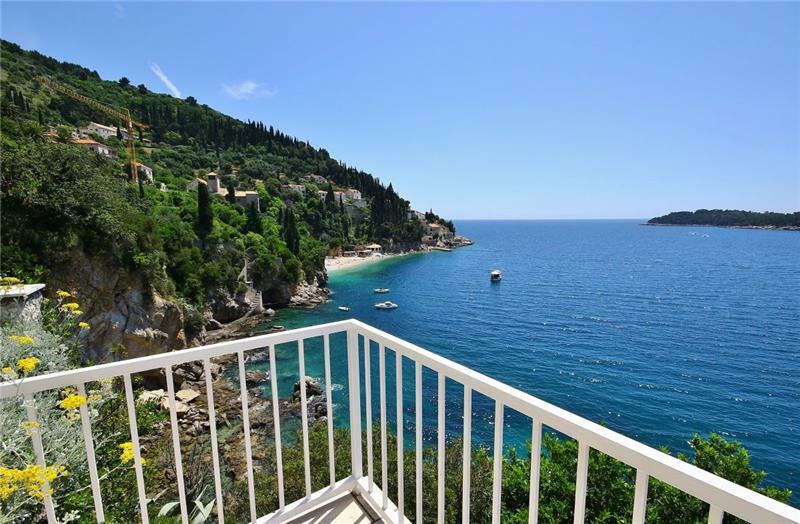 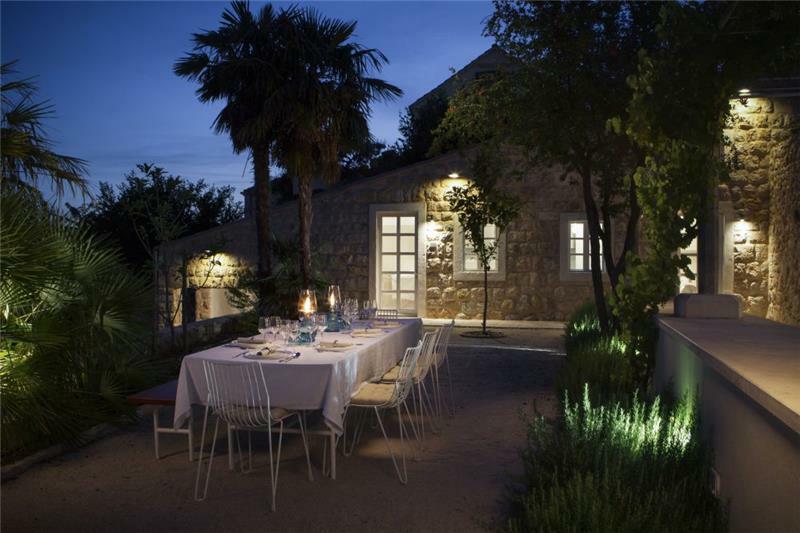 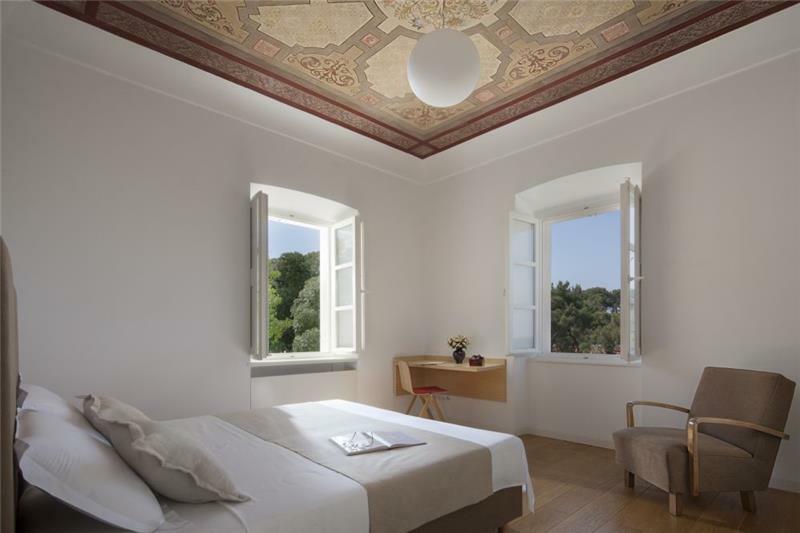 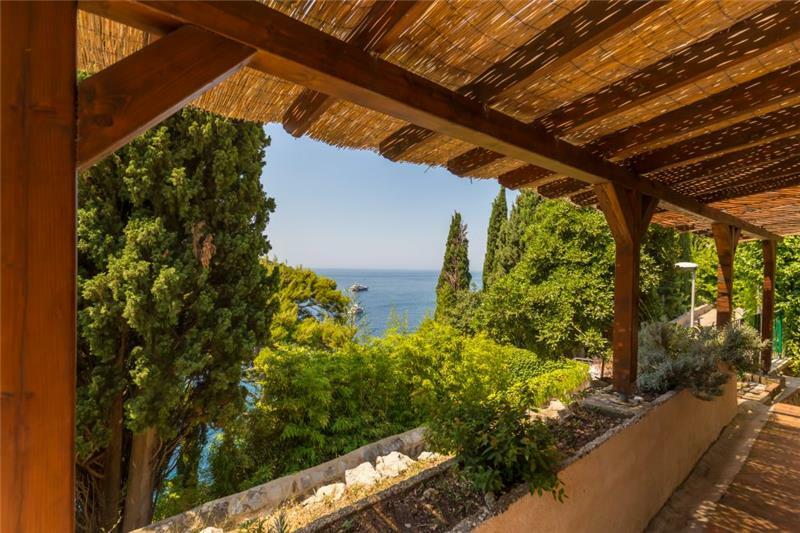 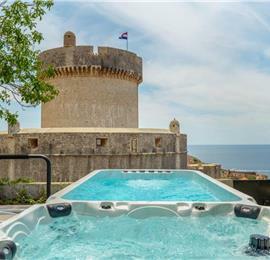 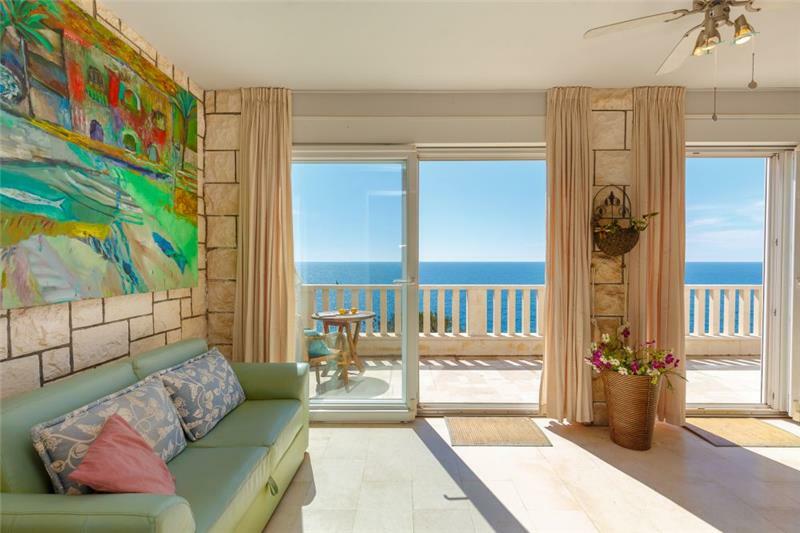 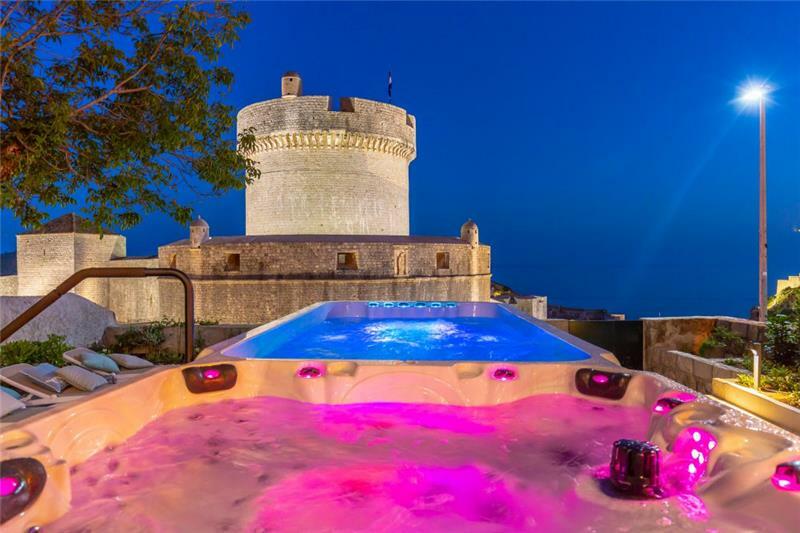 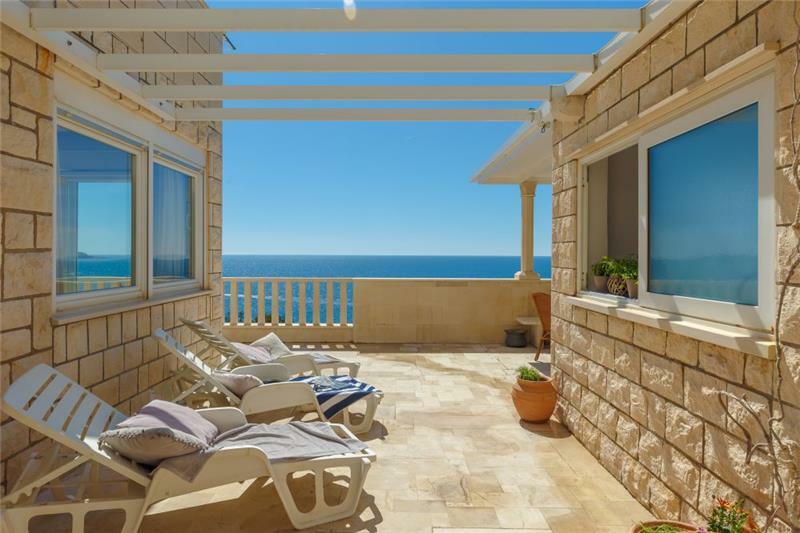 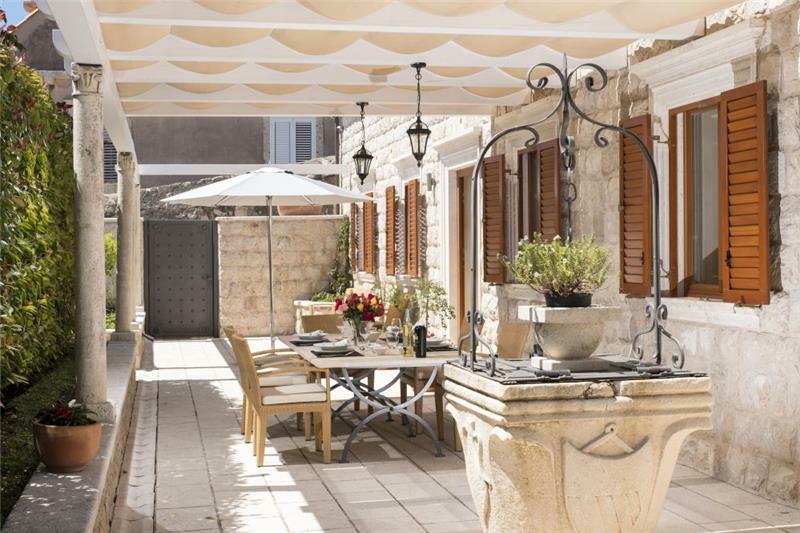 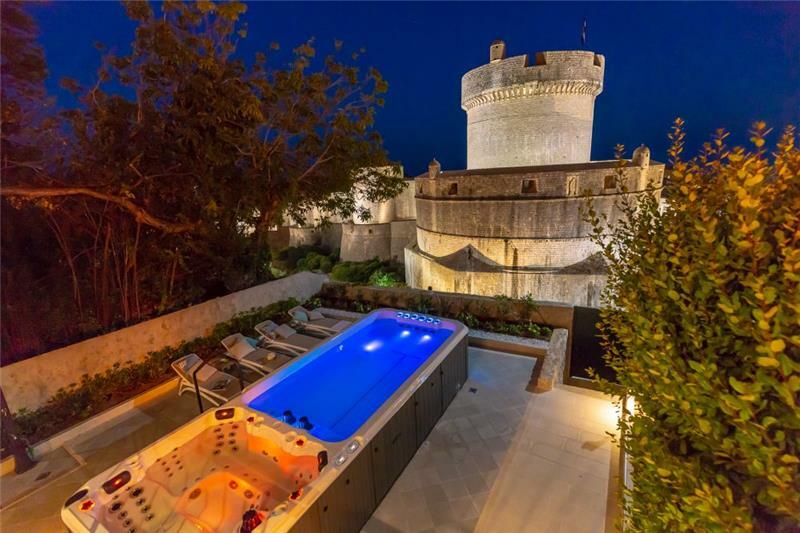 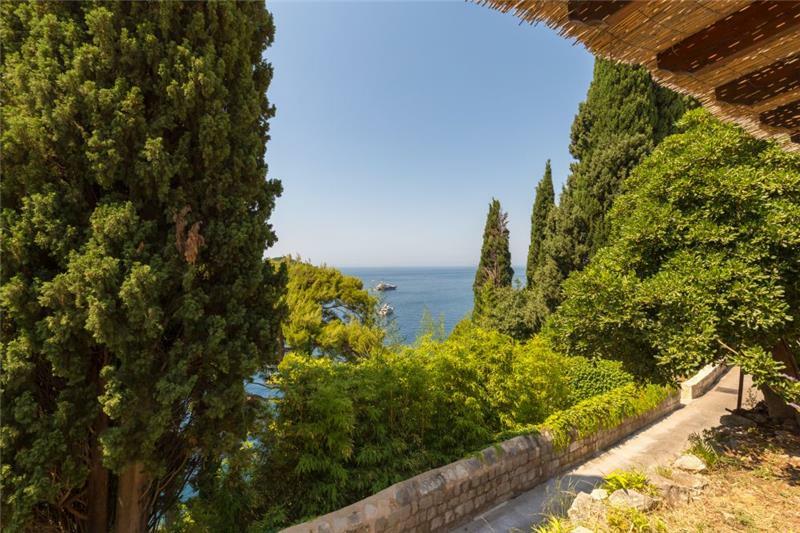 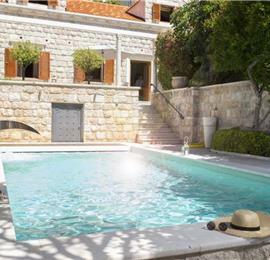 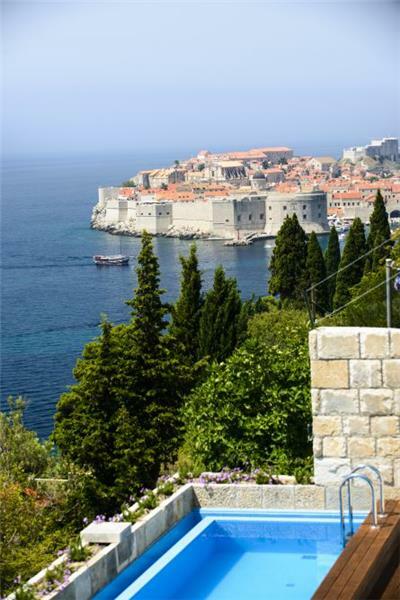 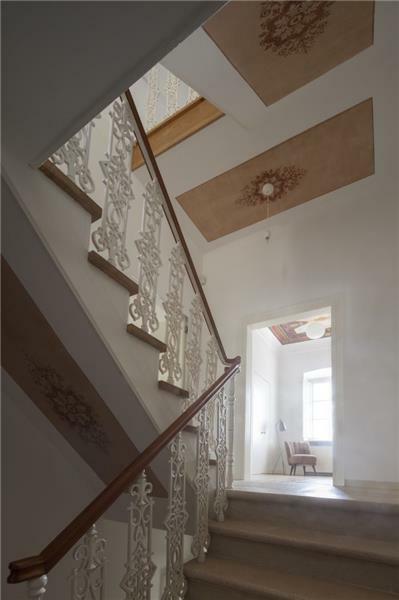 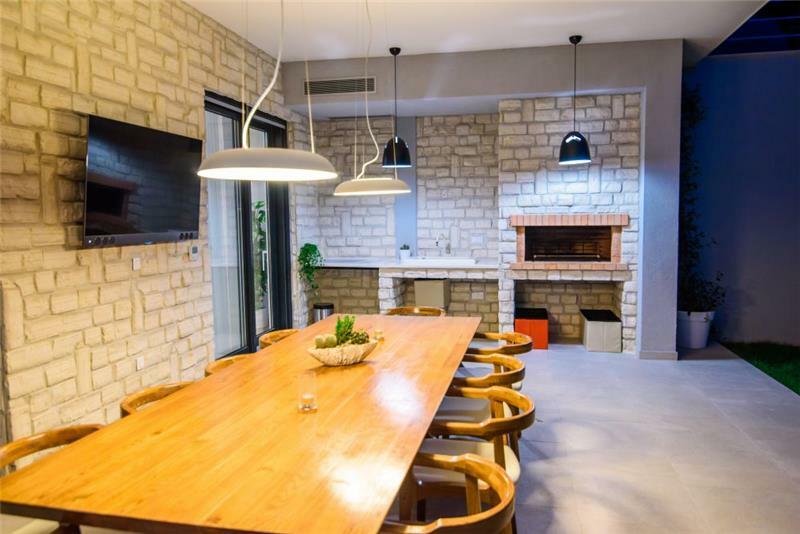 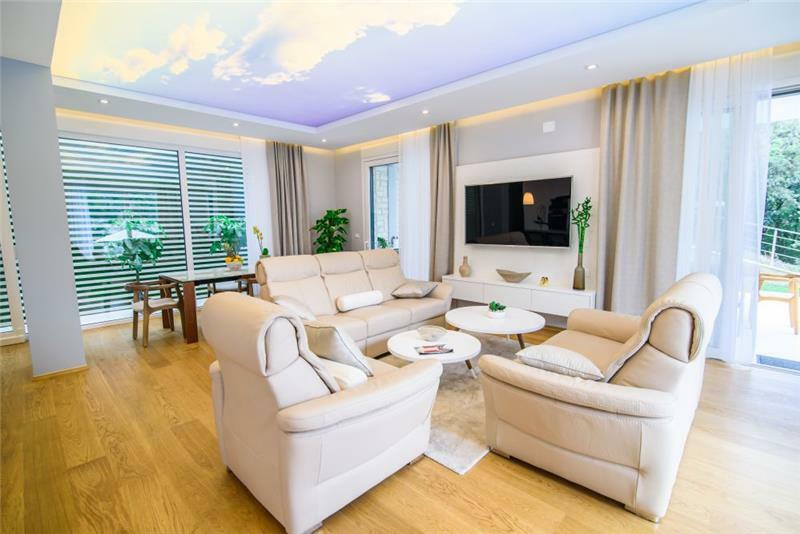 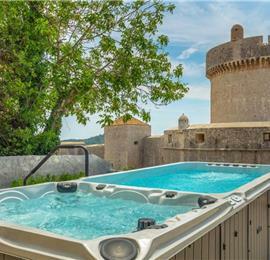 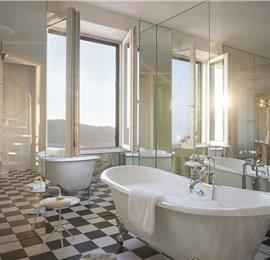 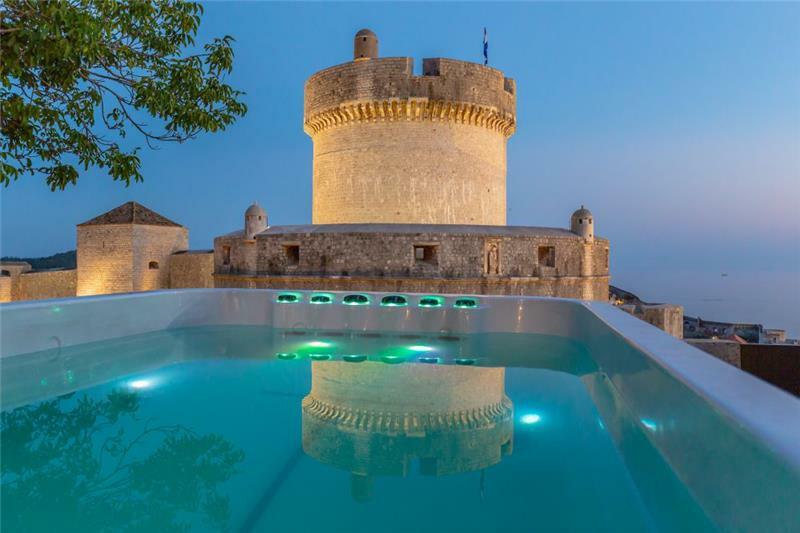 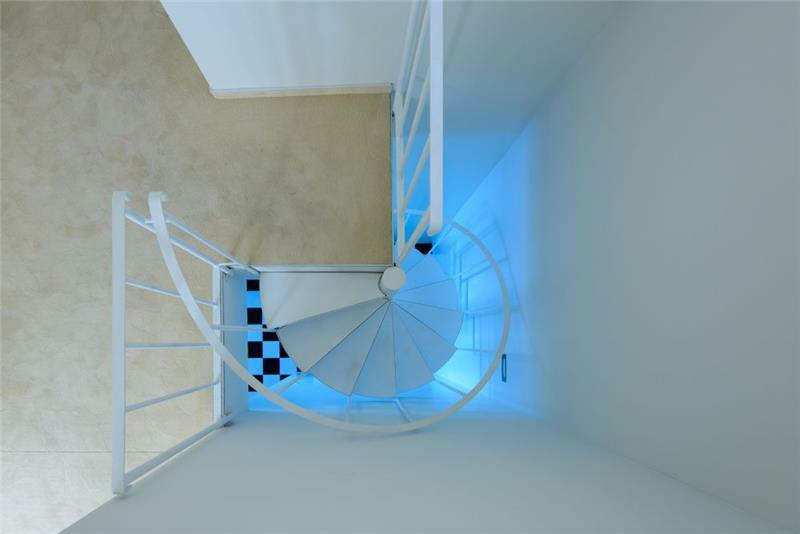 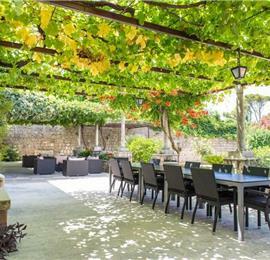 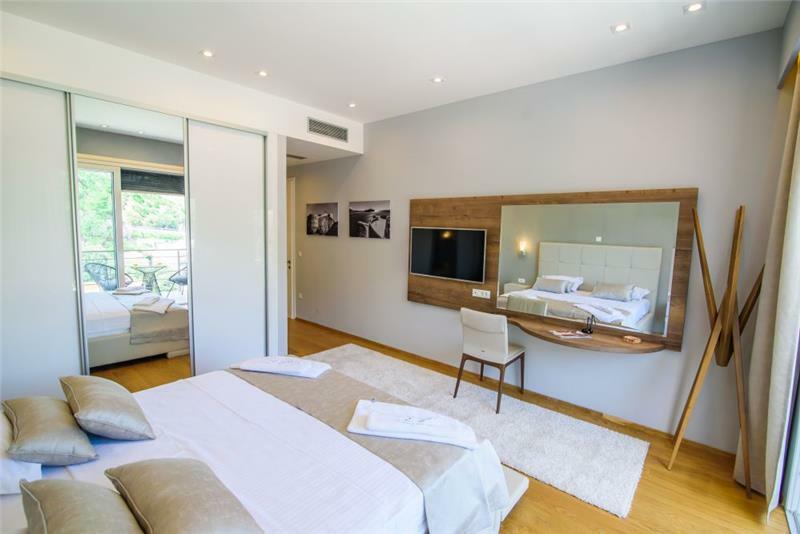 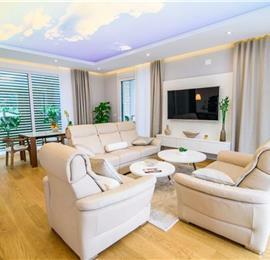 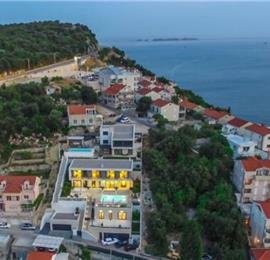 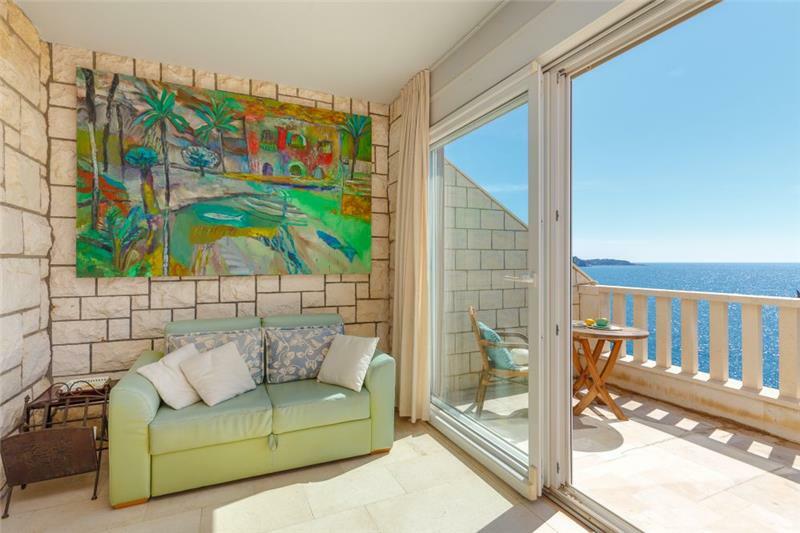 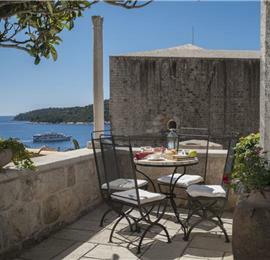 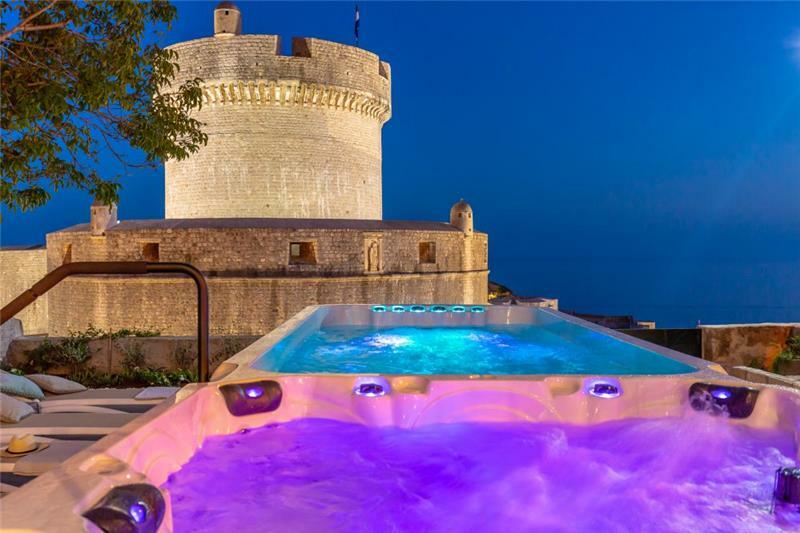 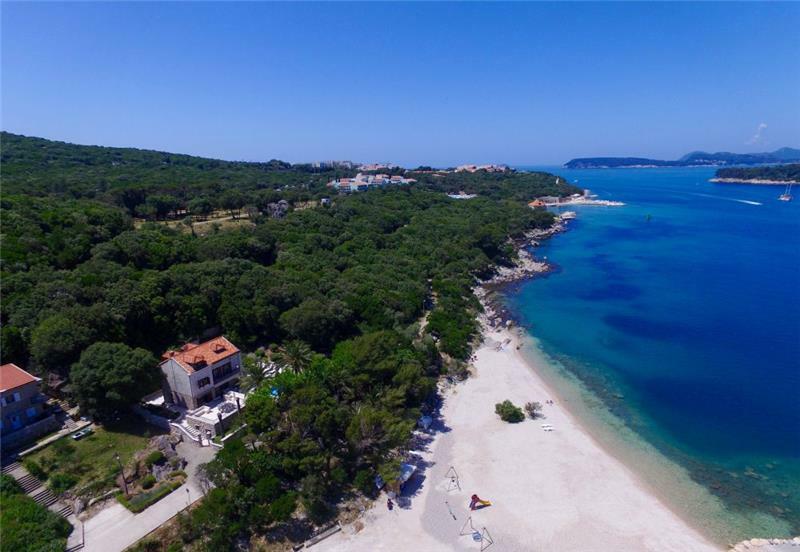 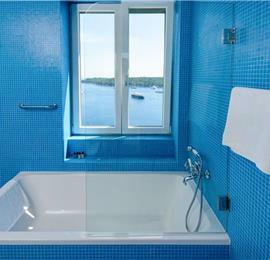 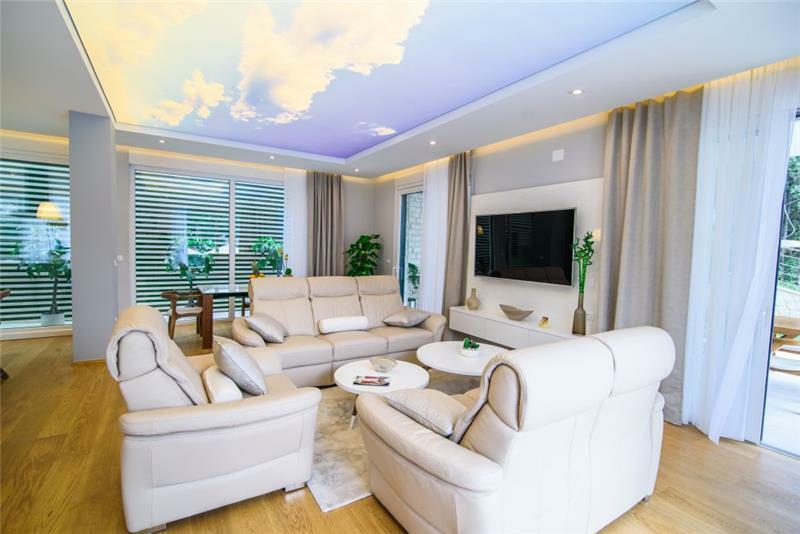 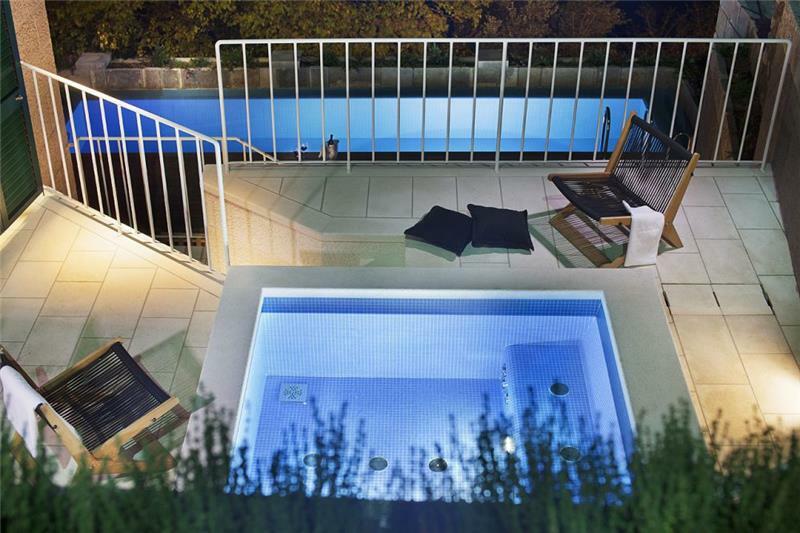 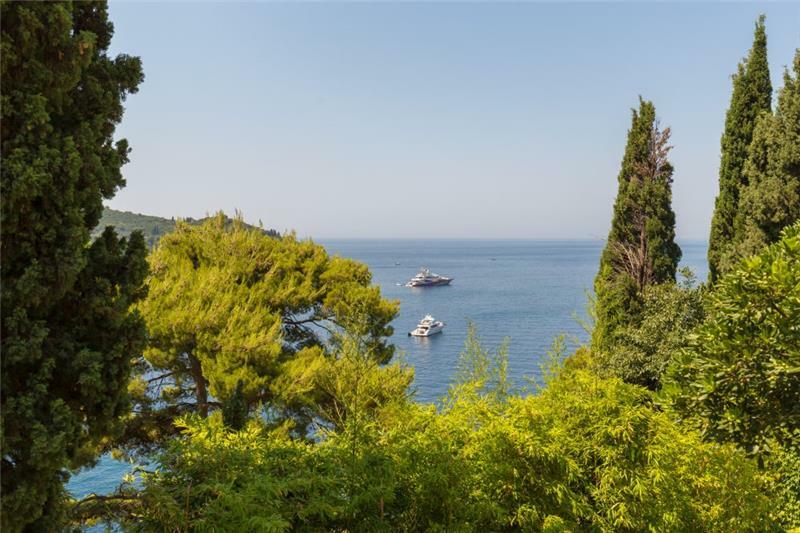 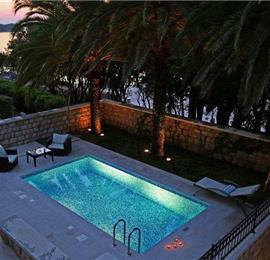 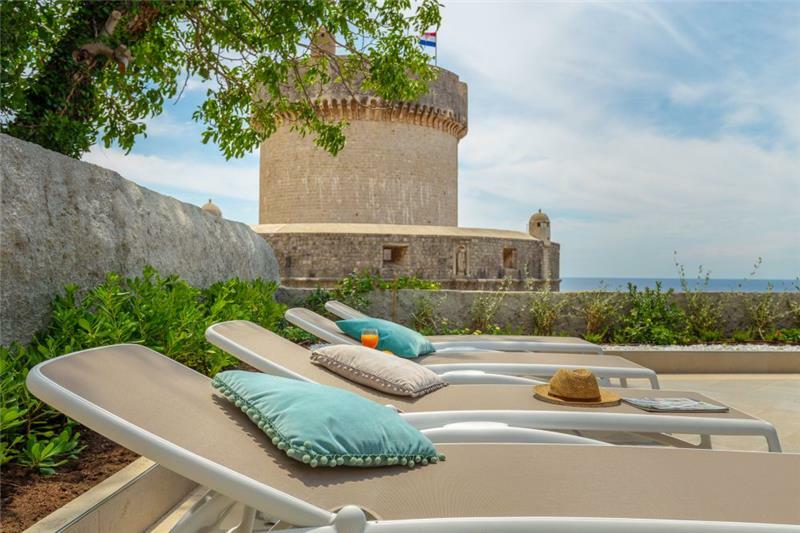 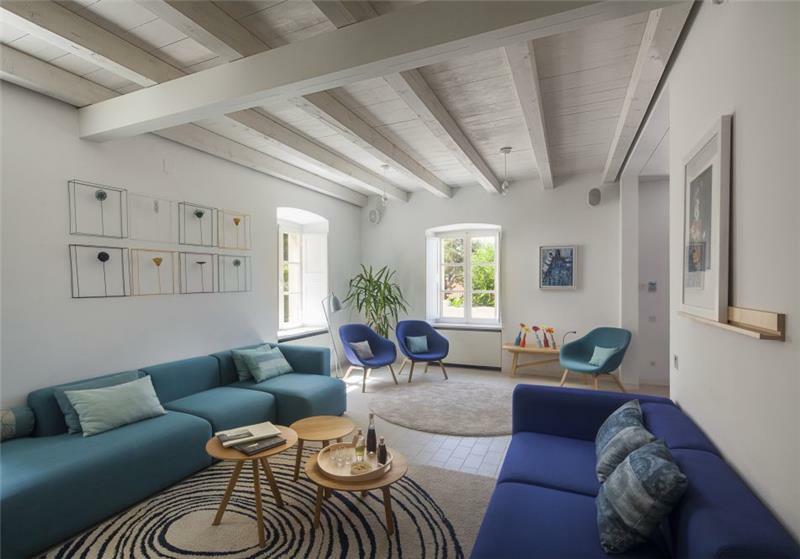 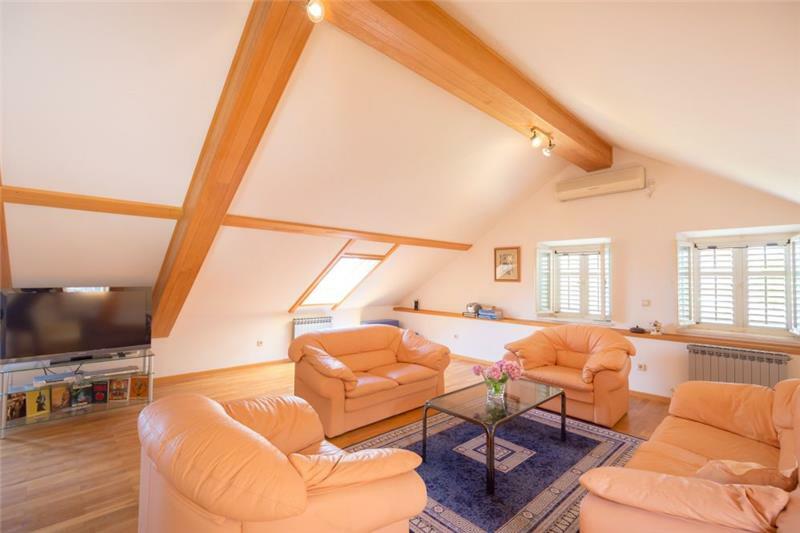 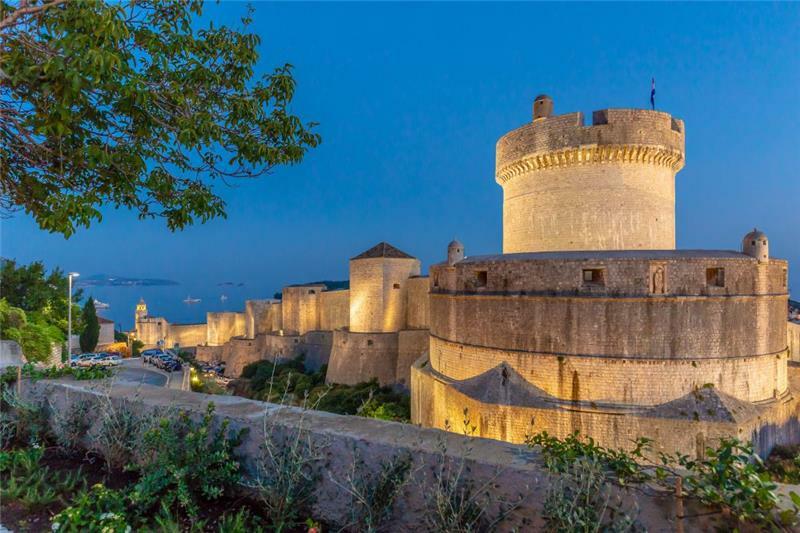 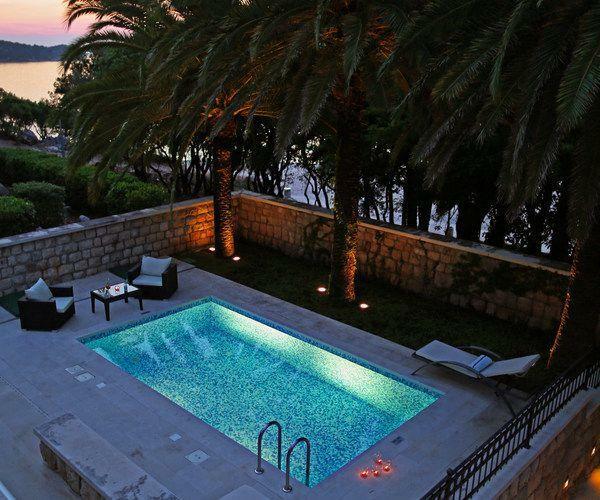 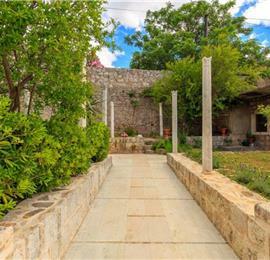 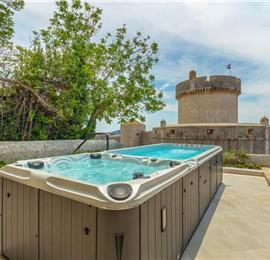 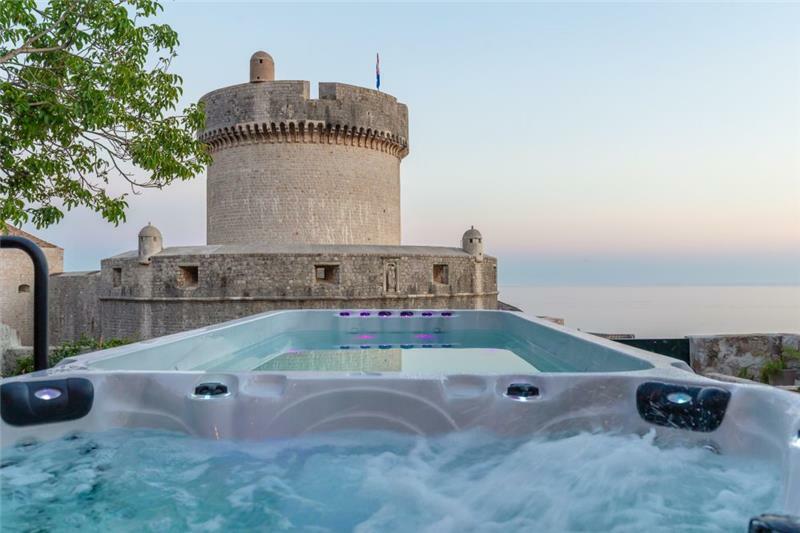 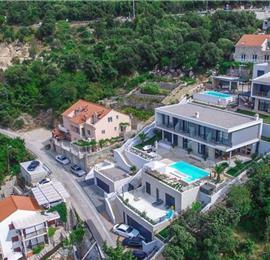 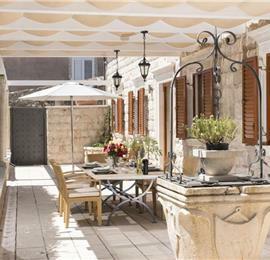 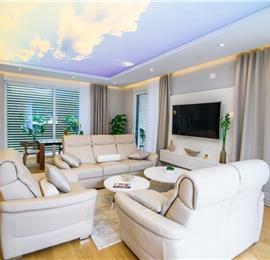 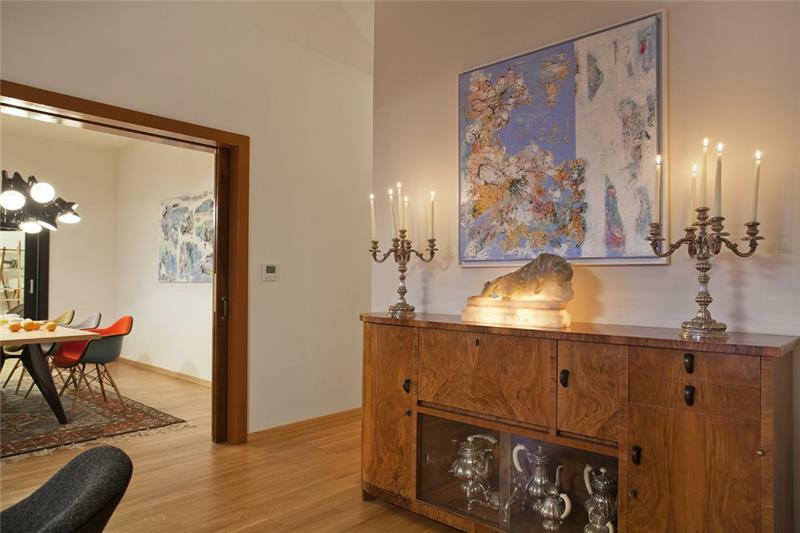 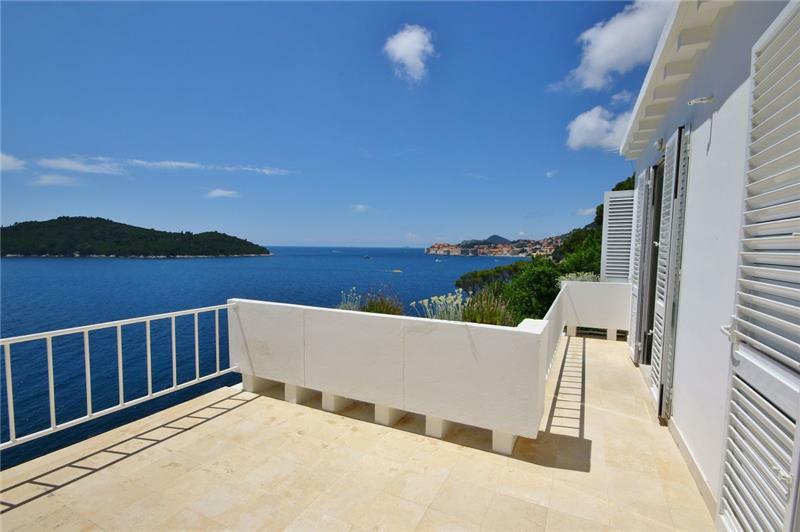 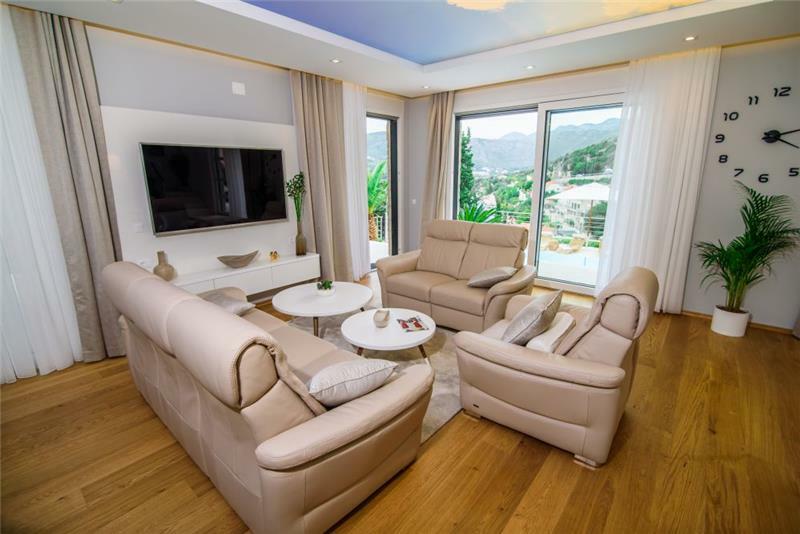 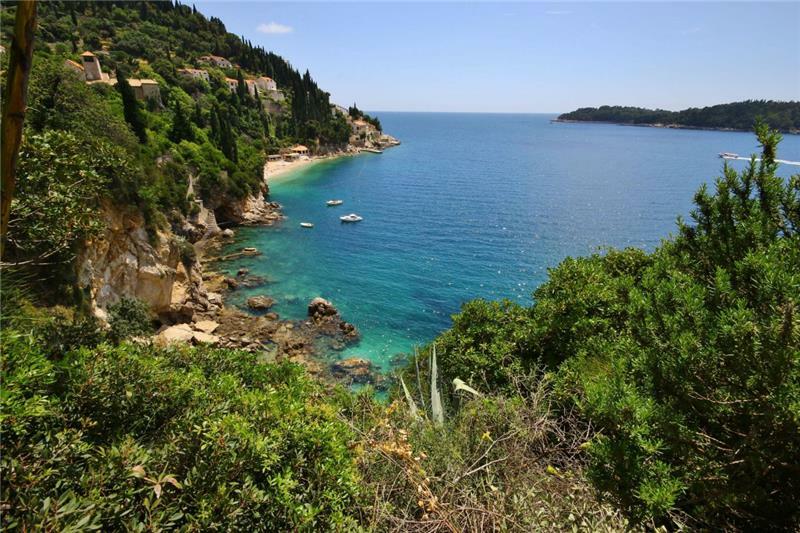 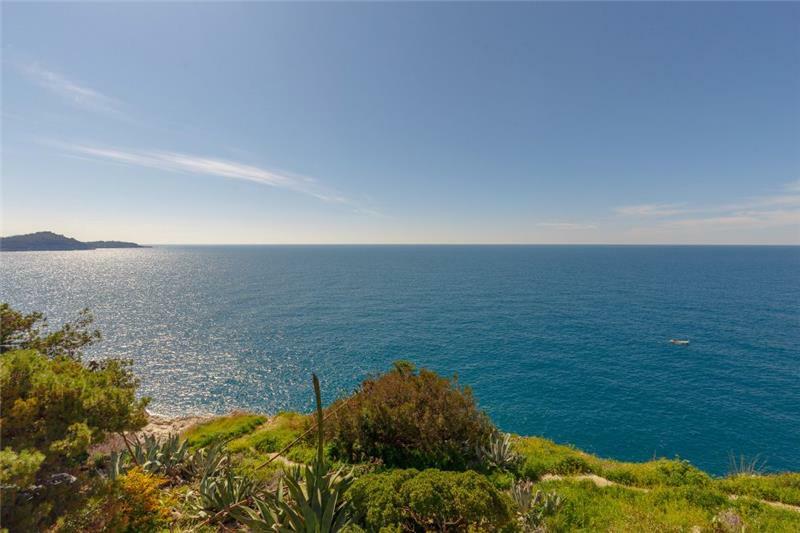 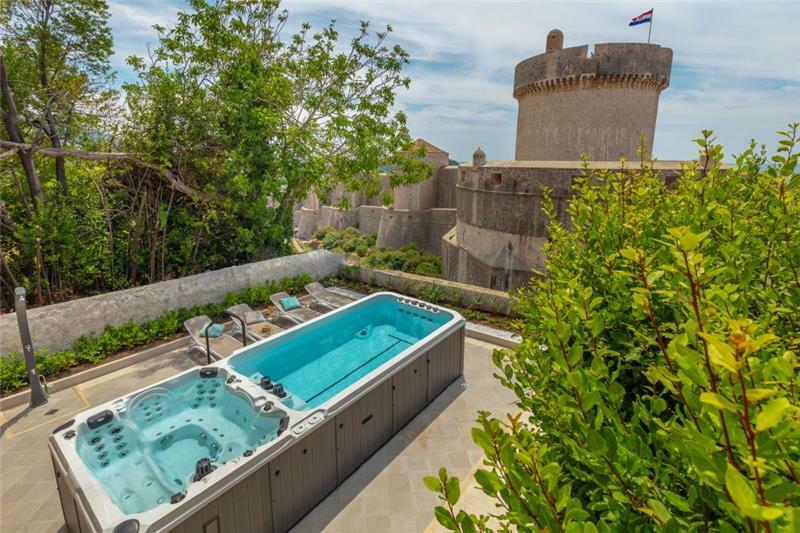 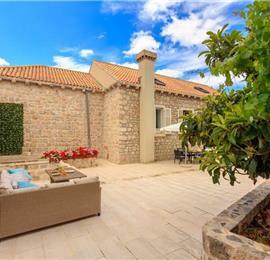 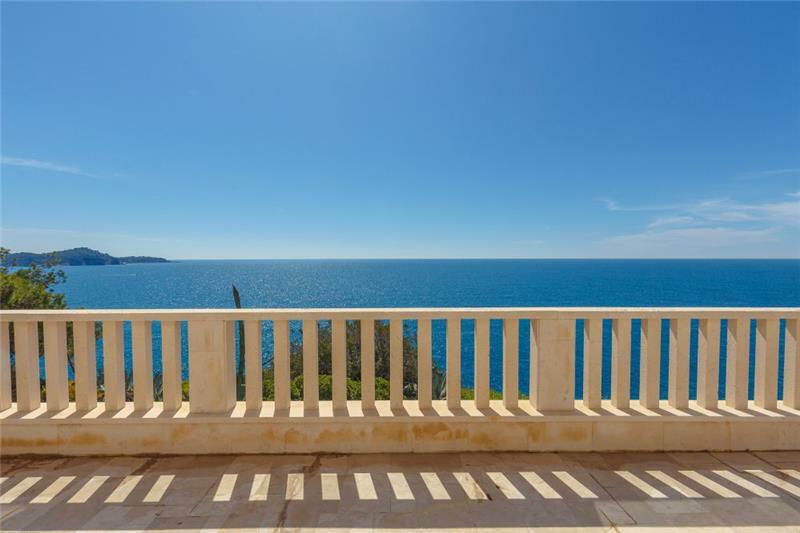 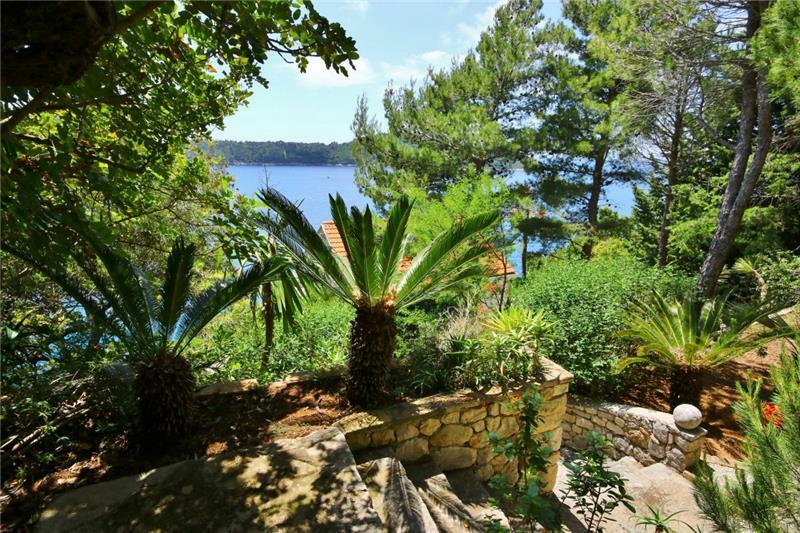 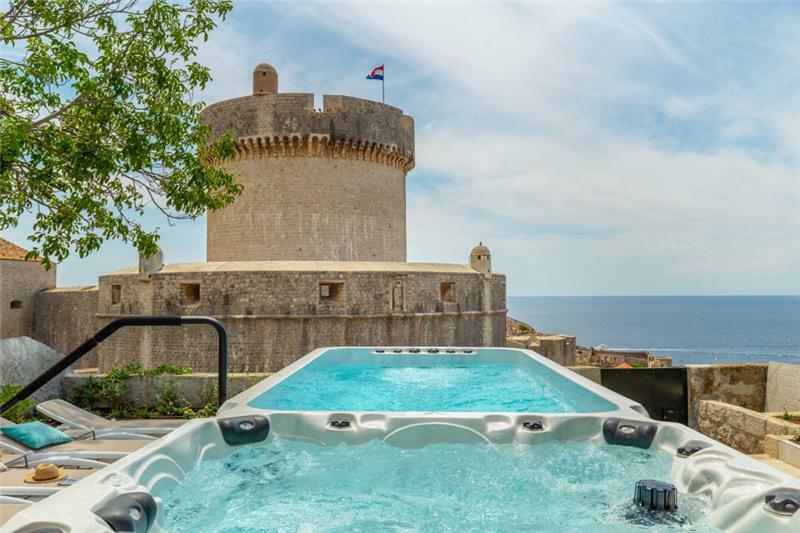 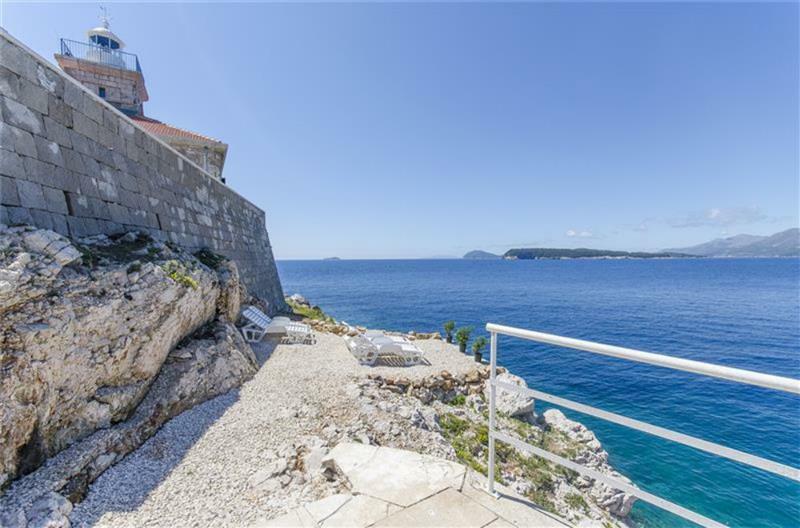 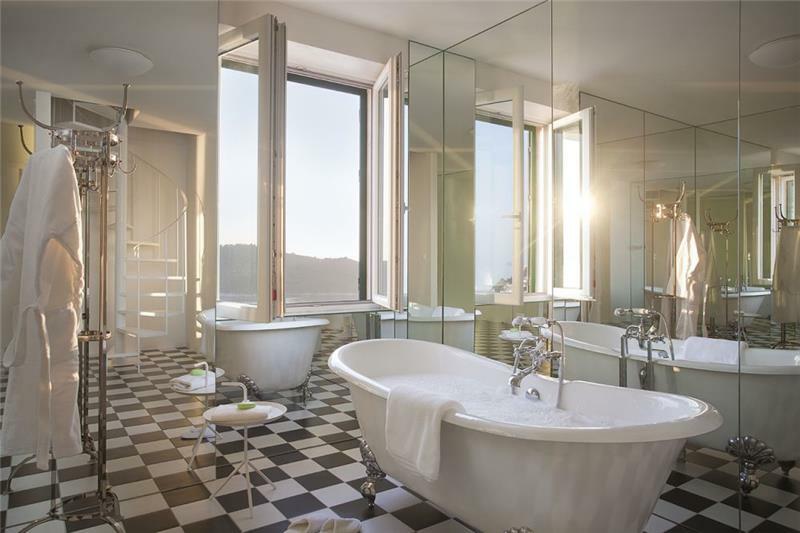 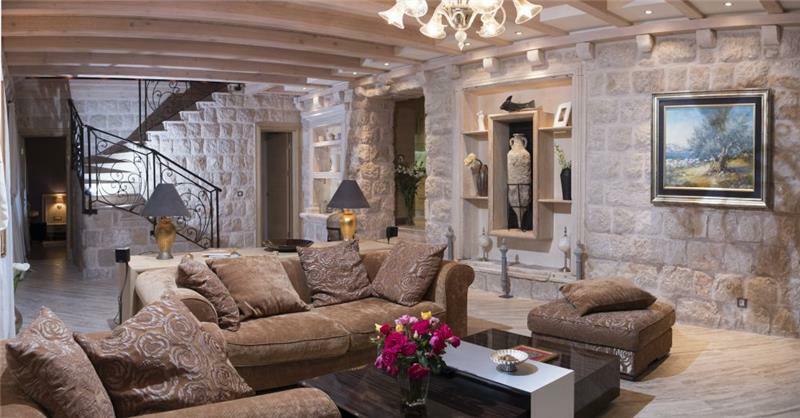 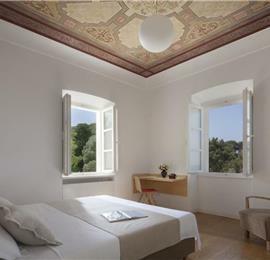 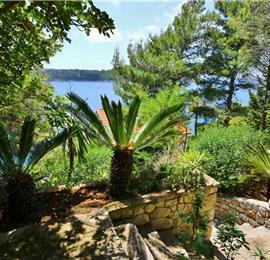 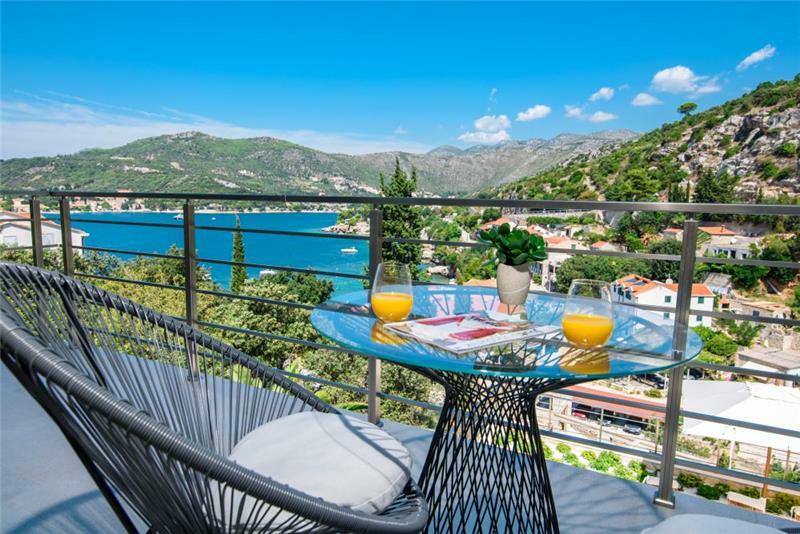 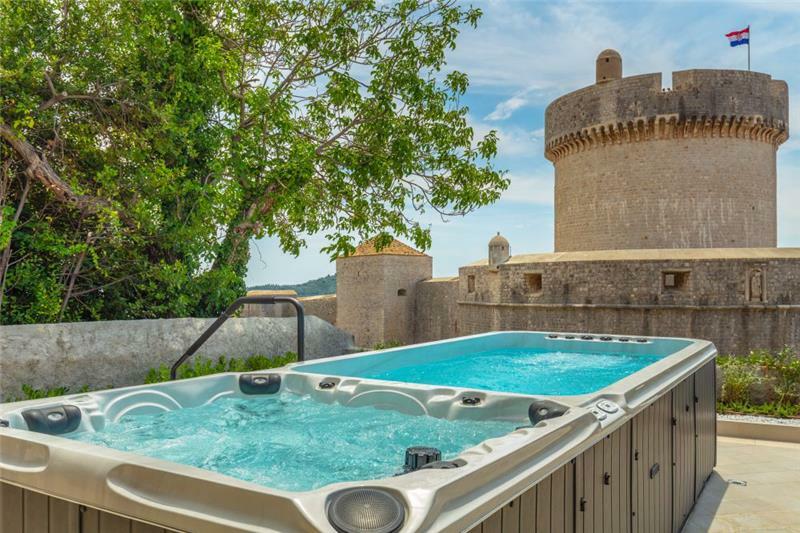 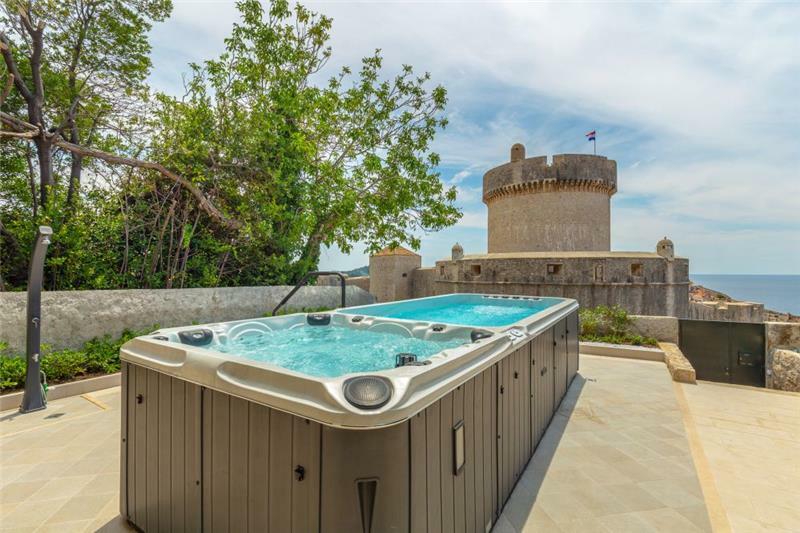 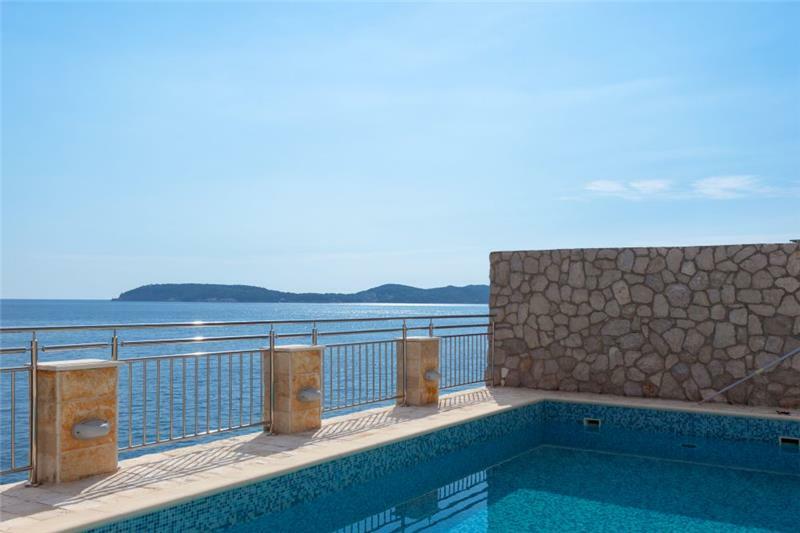 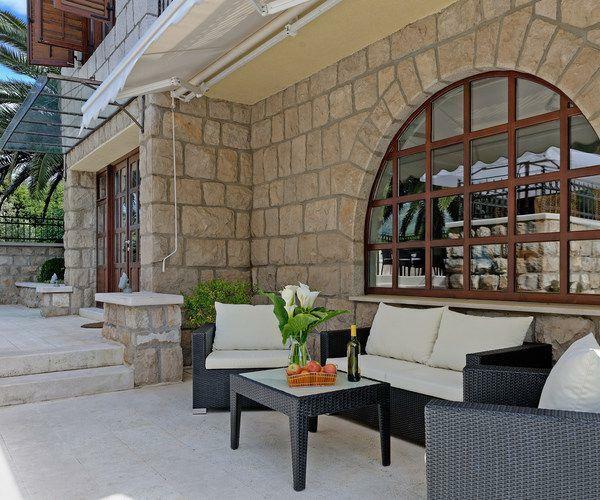 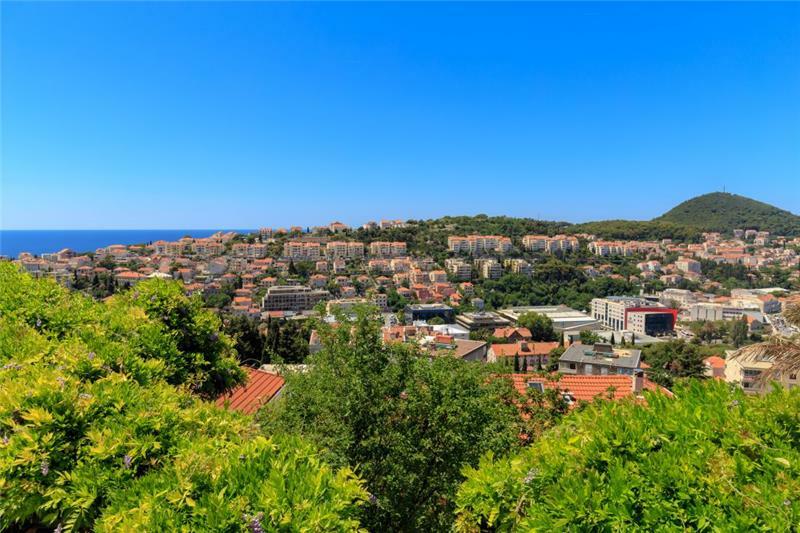 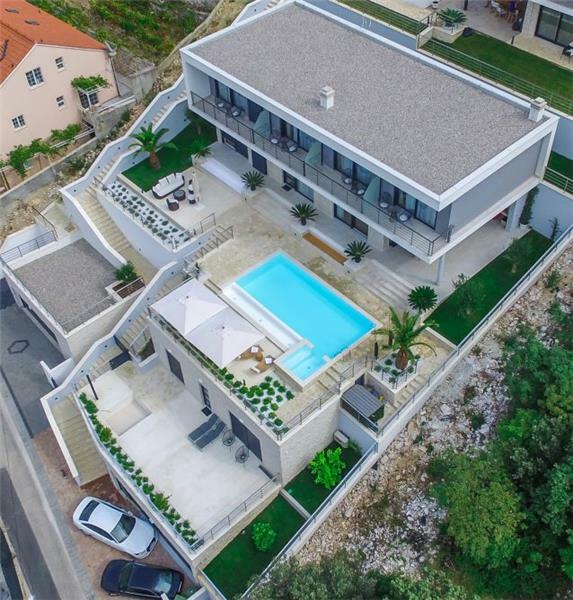 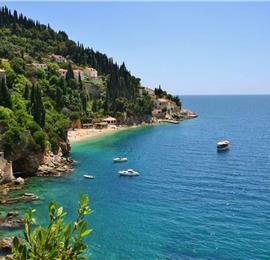 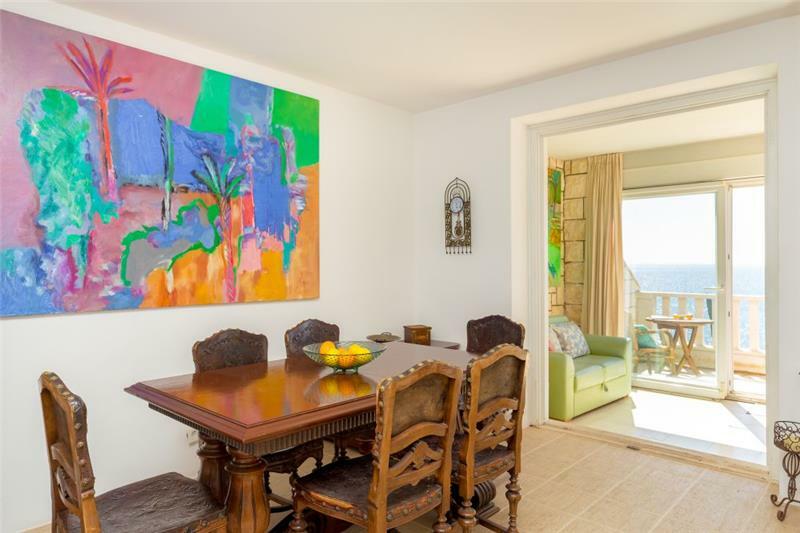 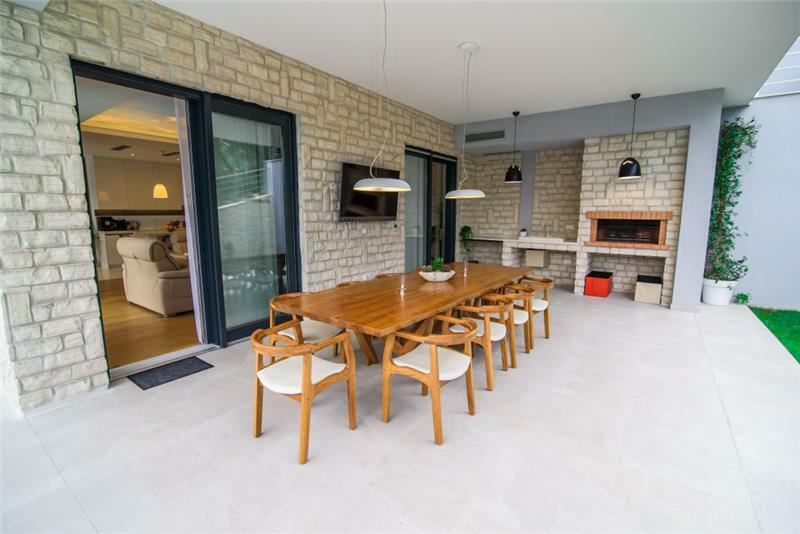 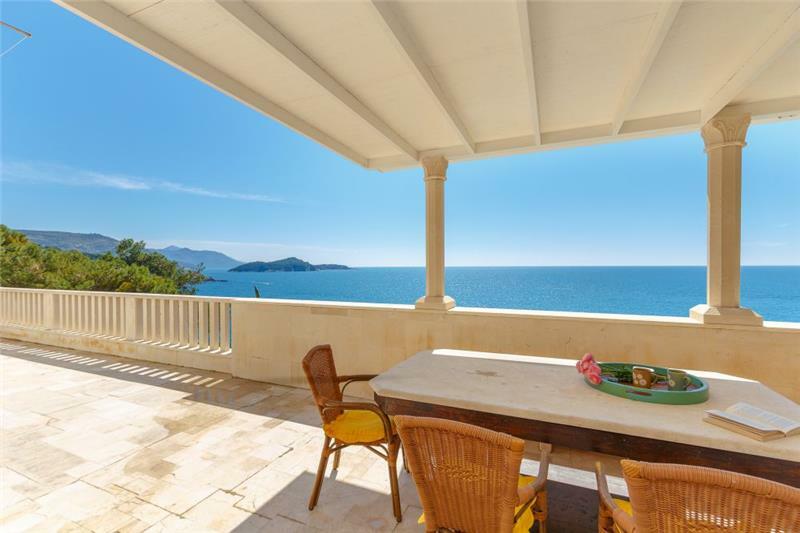 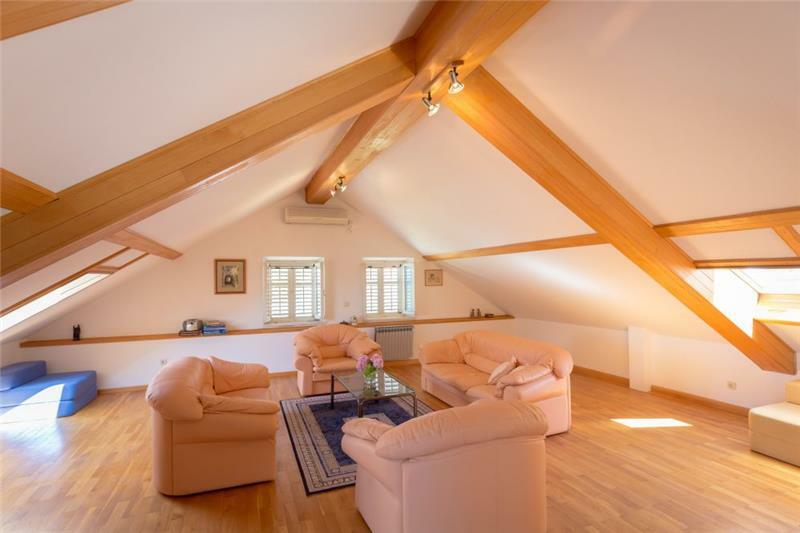 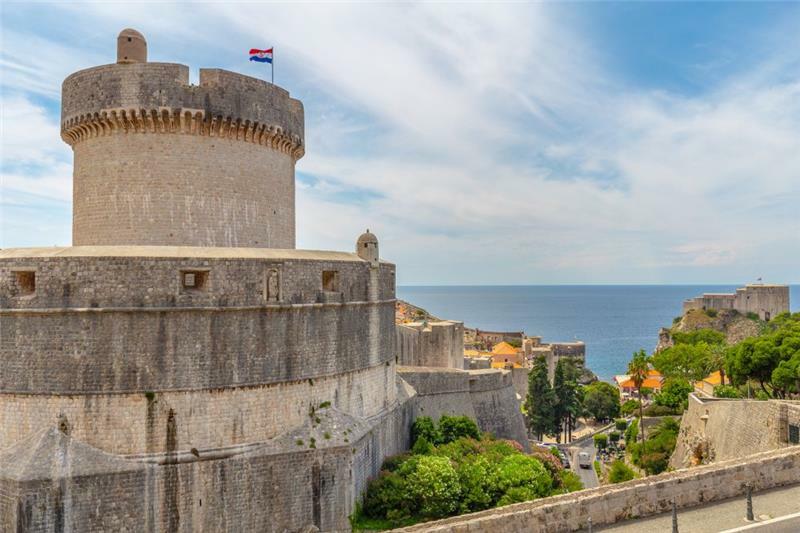 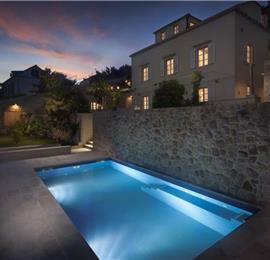 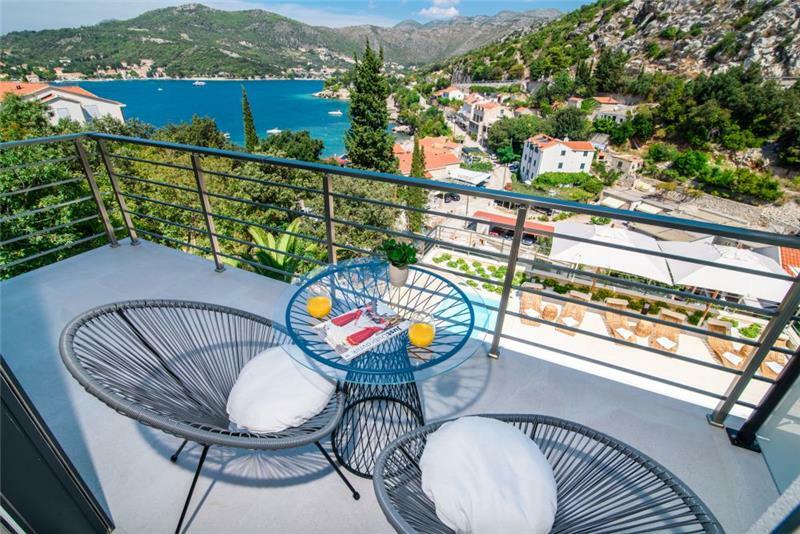 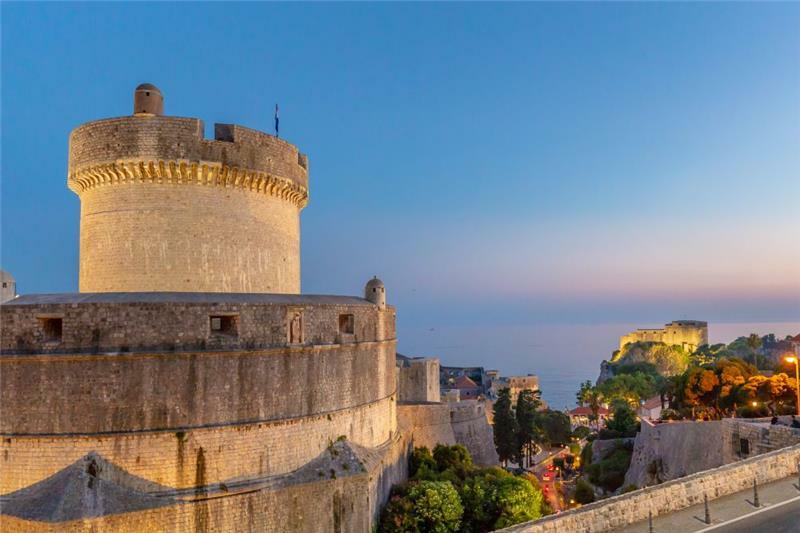 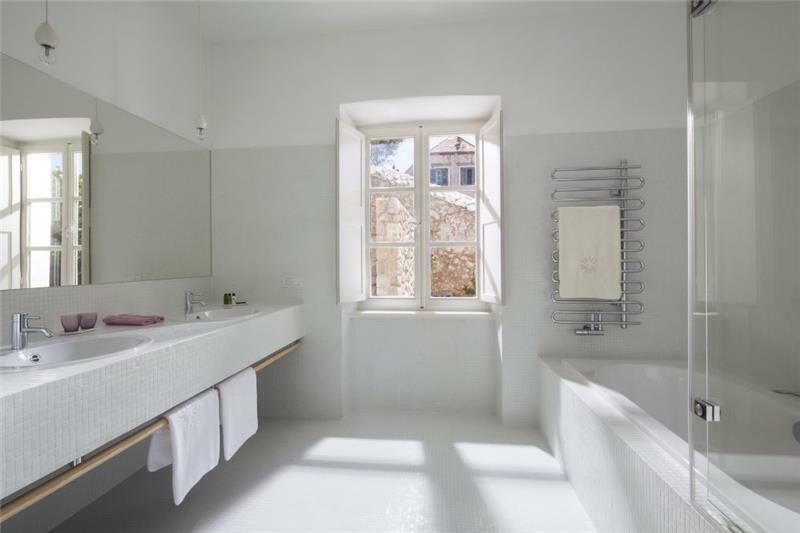 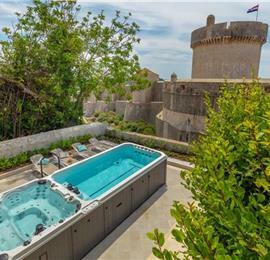 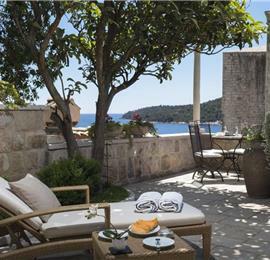 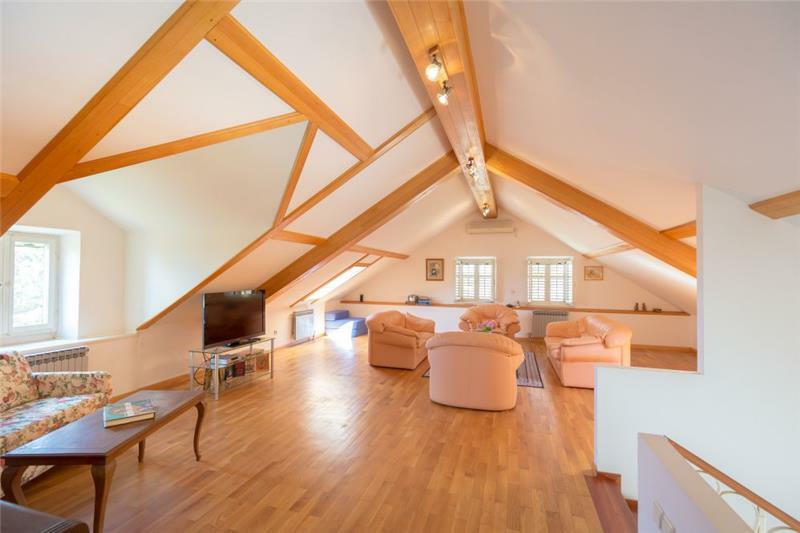 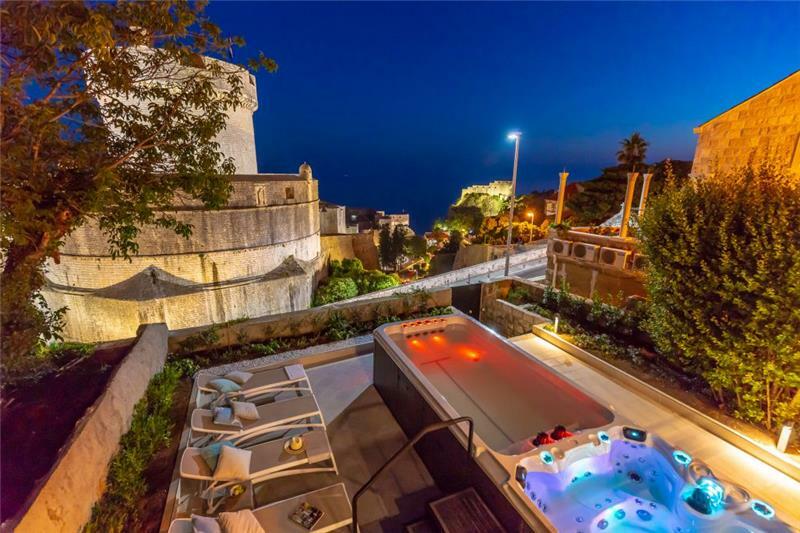 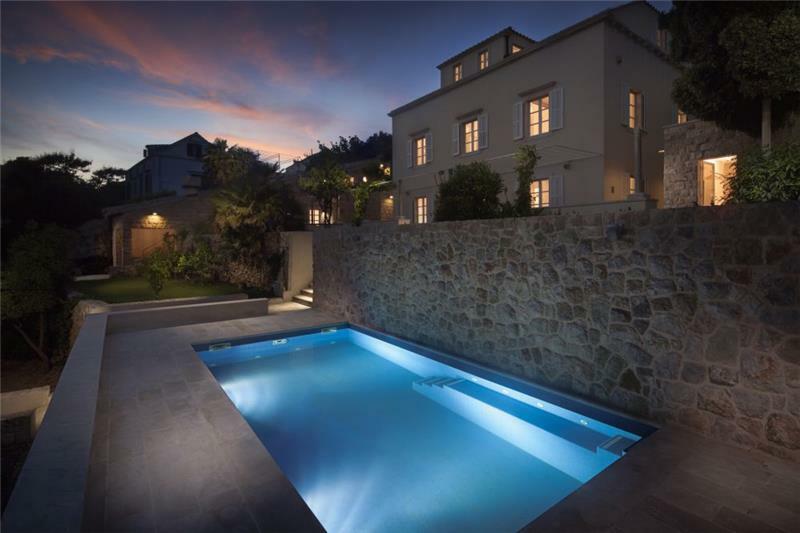 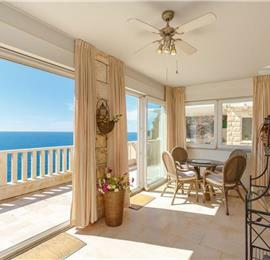 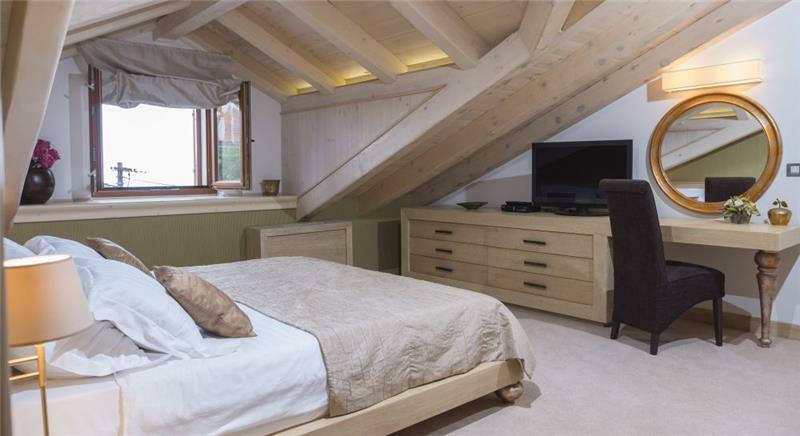 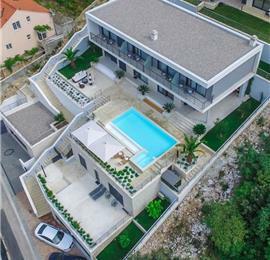 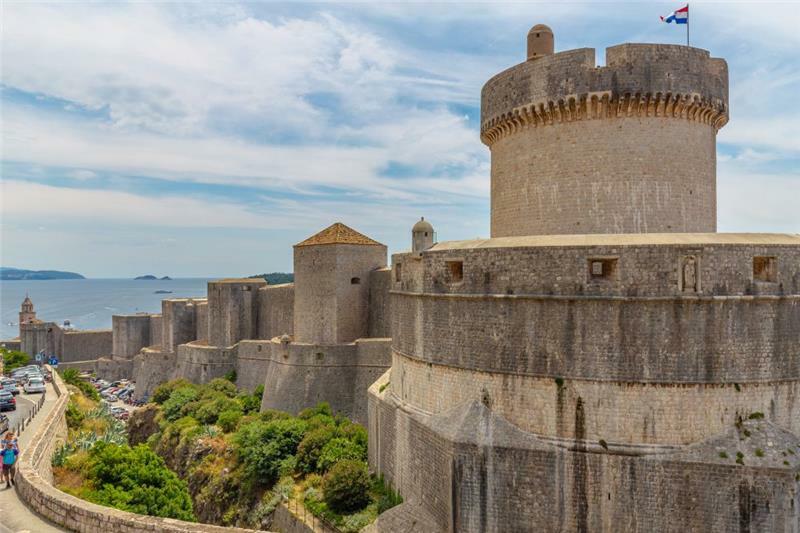 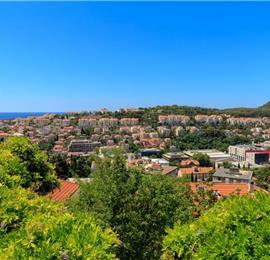 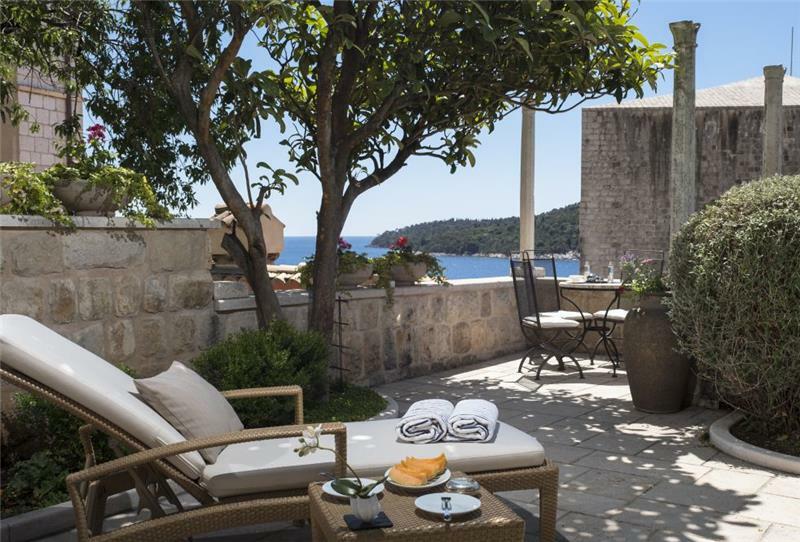 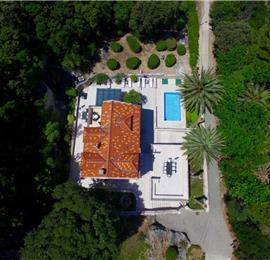 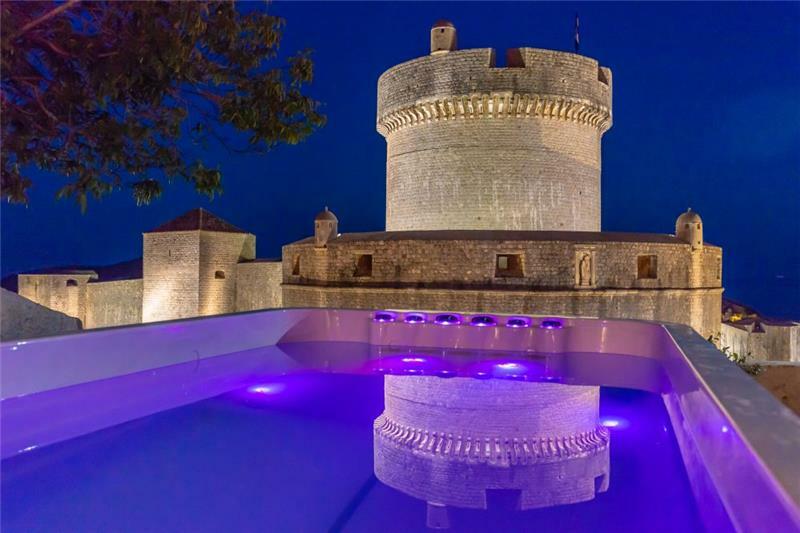 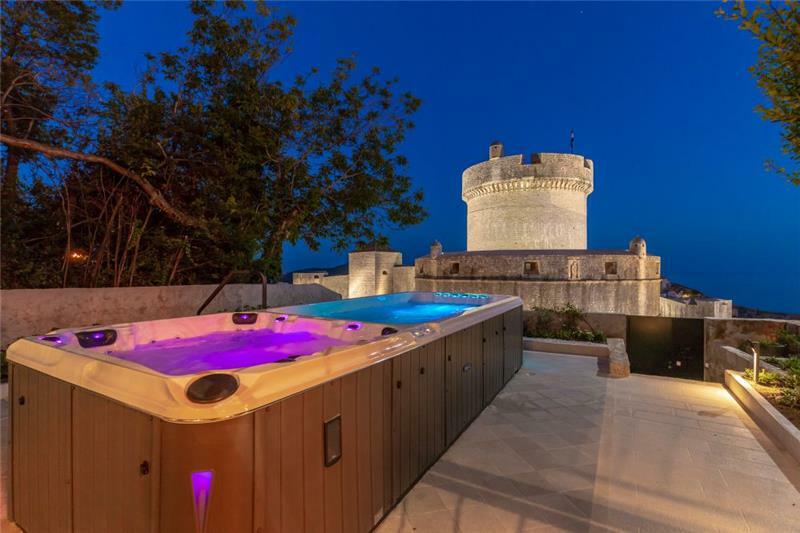 Croatian Villas can offer the following beautiful selection of Dubrovnik villas, ranging from authentic stone villas with rooftop terraces located within the city walls to ‘Five Star Villas’ with pools and bespoke services. 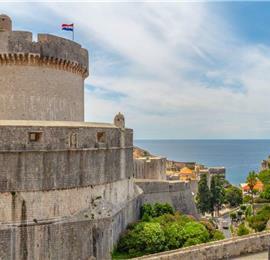 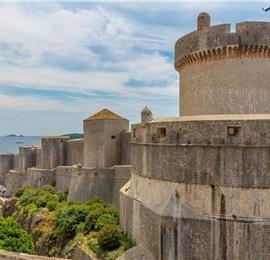 Alternatively, if you would like assistance in finding a Dubrovnik villa for your group holiday please CONTACT US with your requirements. 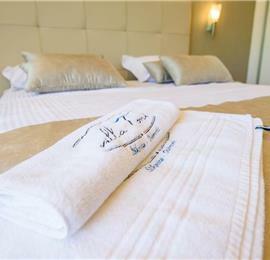 Check-in Comments: For earlier flight arrivals/late departures the property can make arrangements to accommodate your luggage until check in time/past check out time. 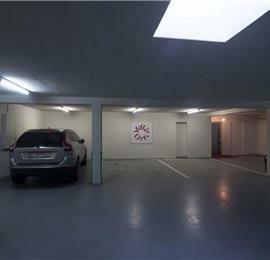 Please advise if you arrive earlier. 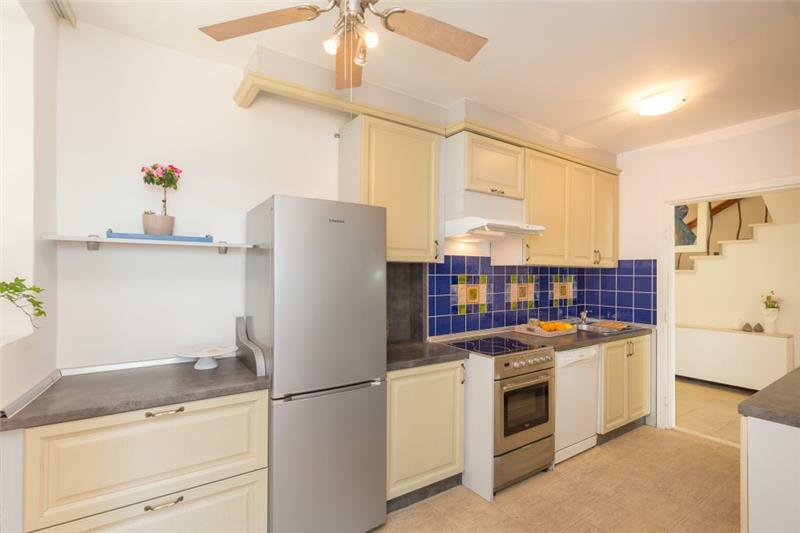 Heating is from A/C unit. 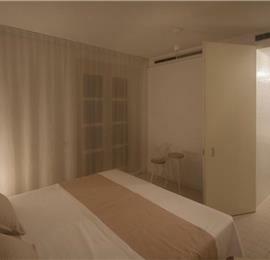 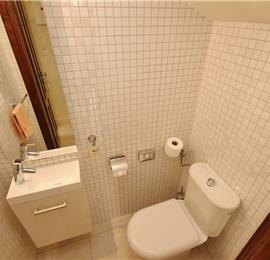 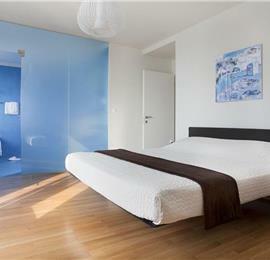 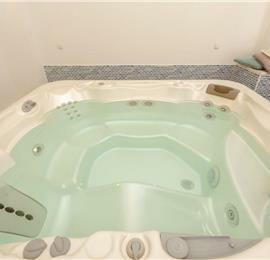 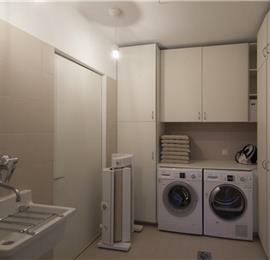 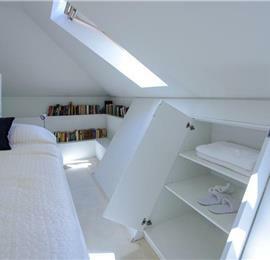 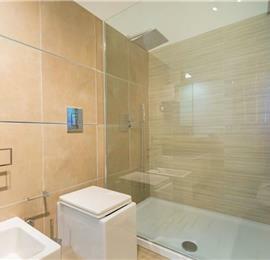 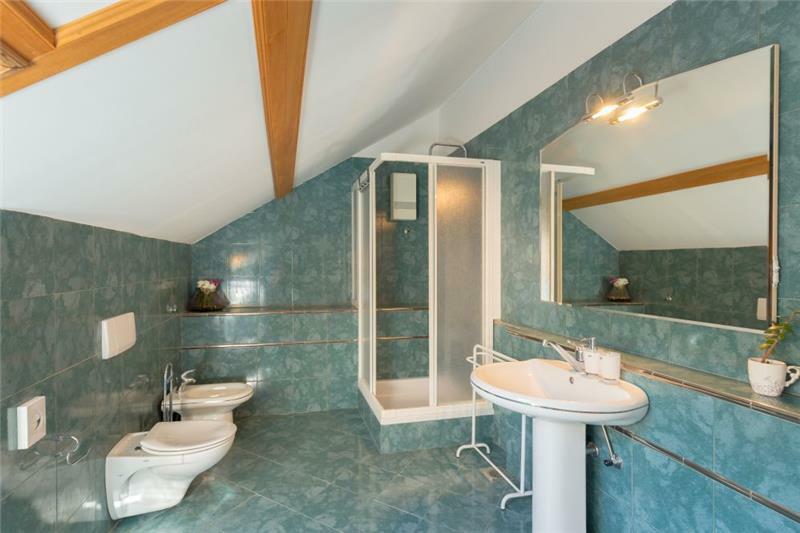 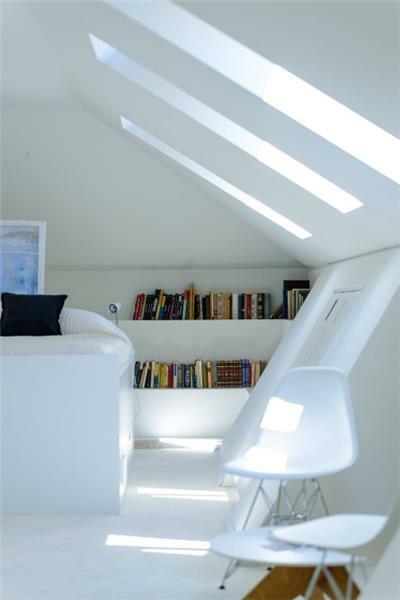 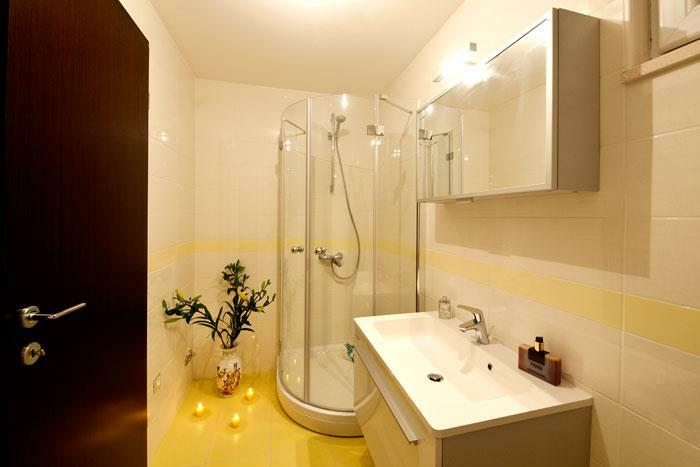 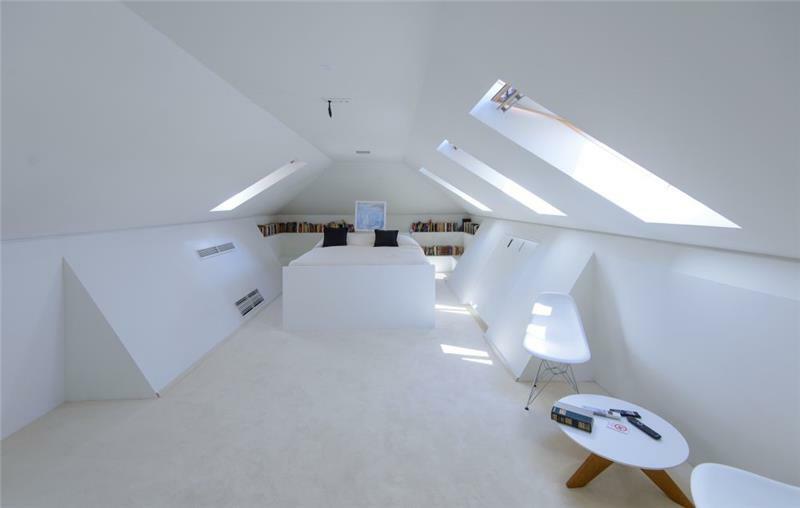 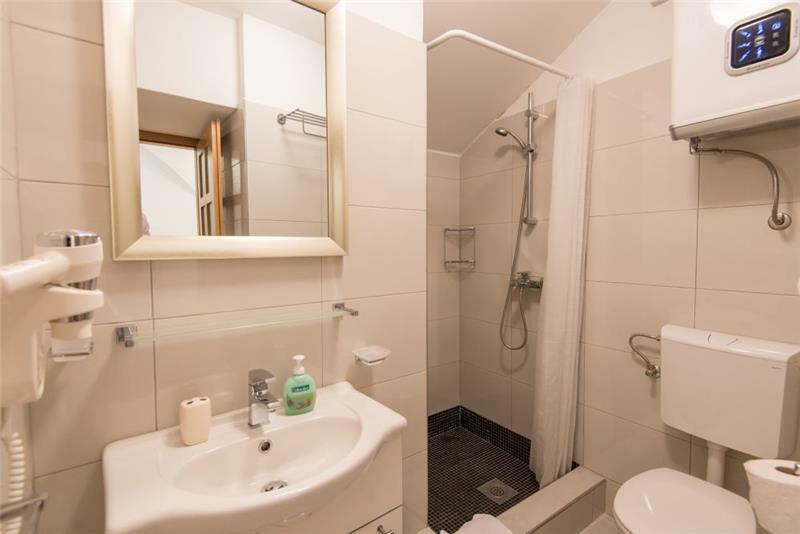 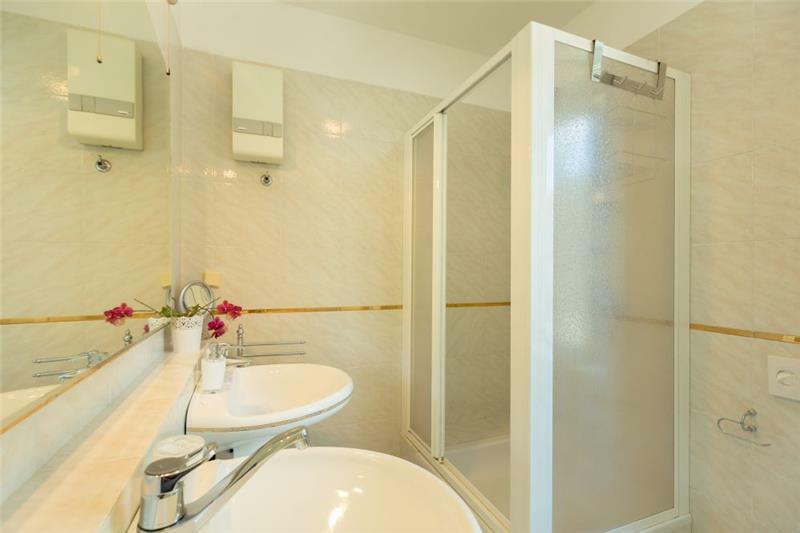 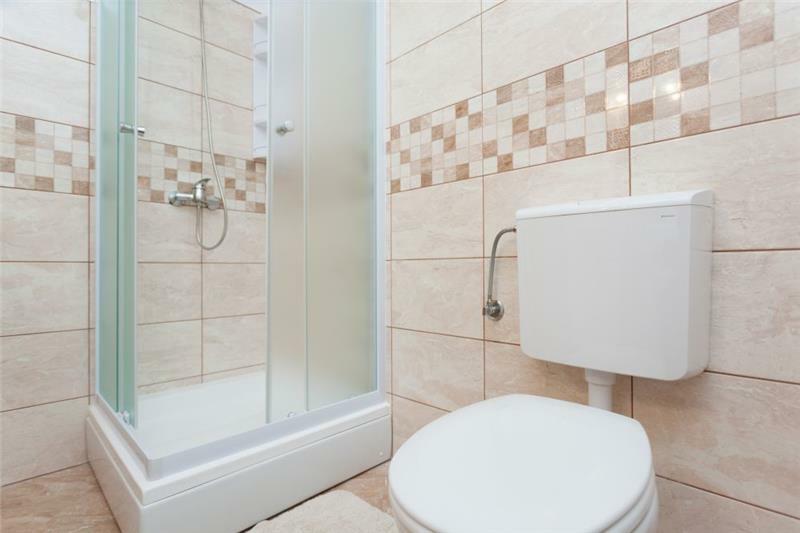 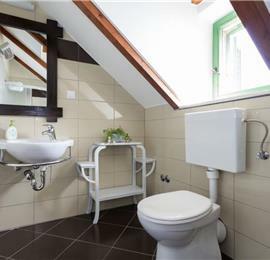 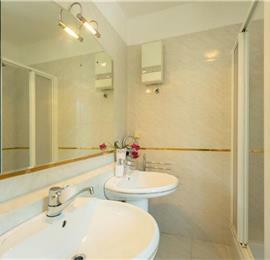 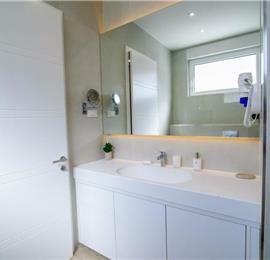 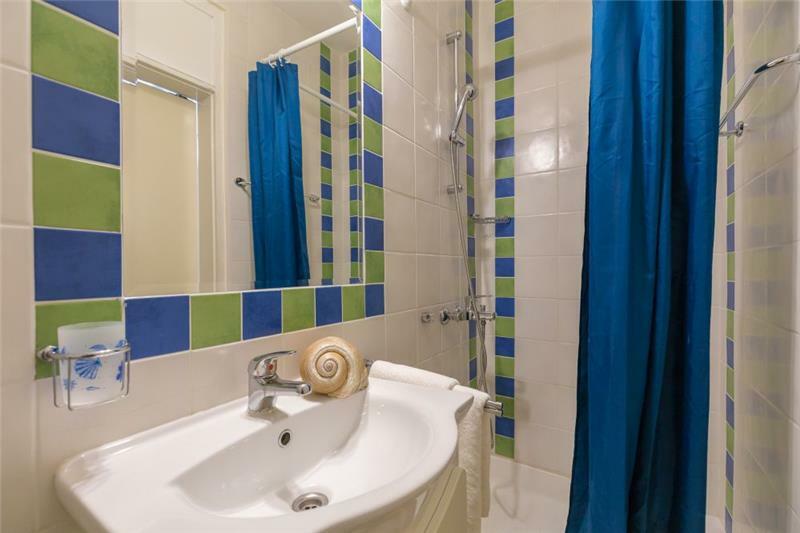 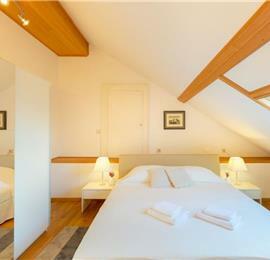 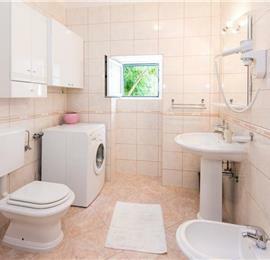 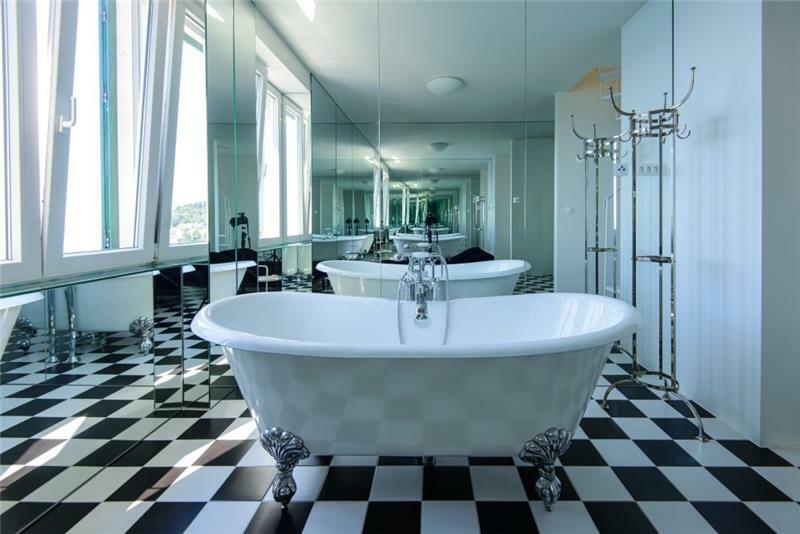 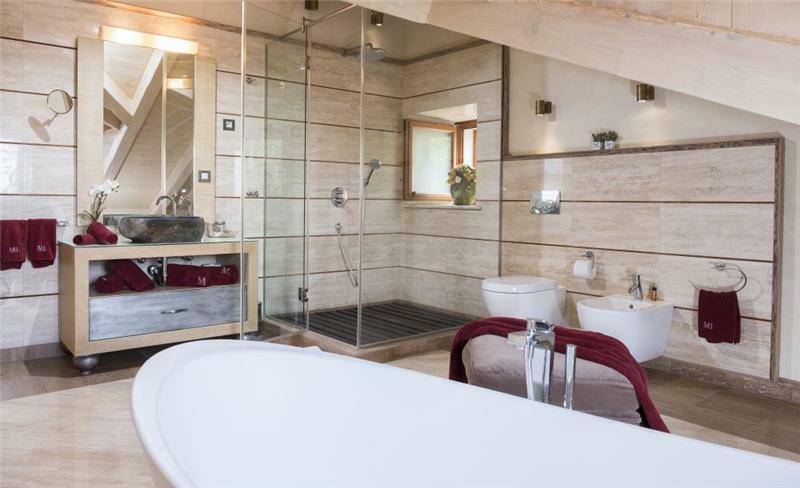 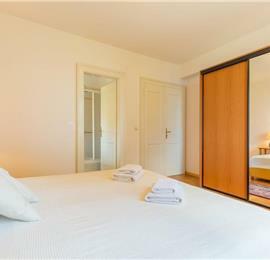 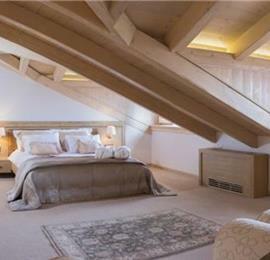 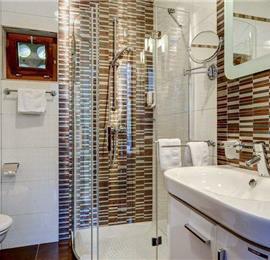 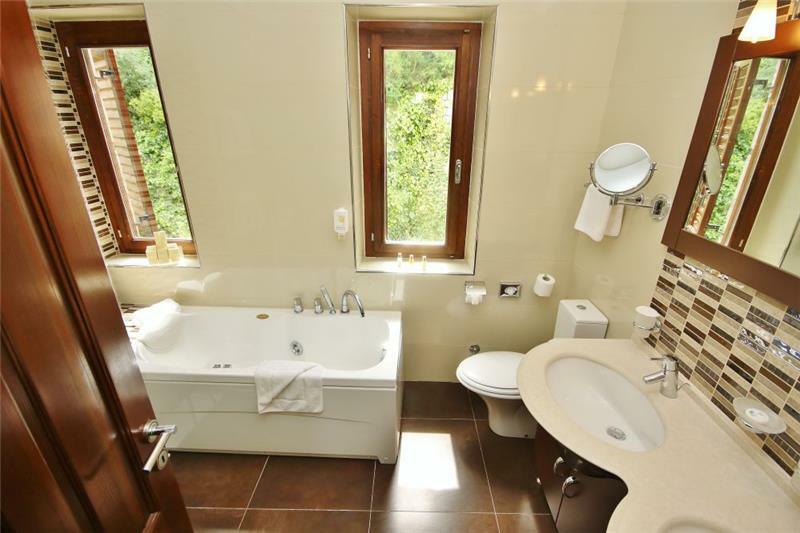 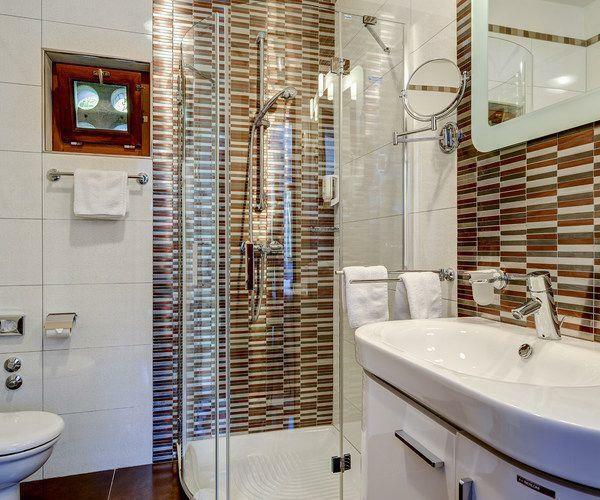 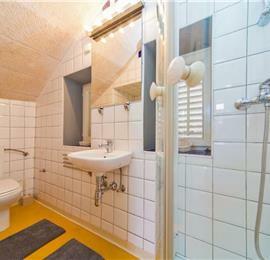 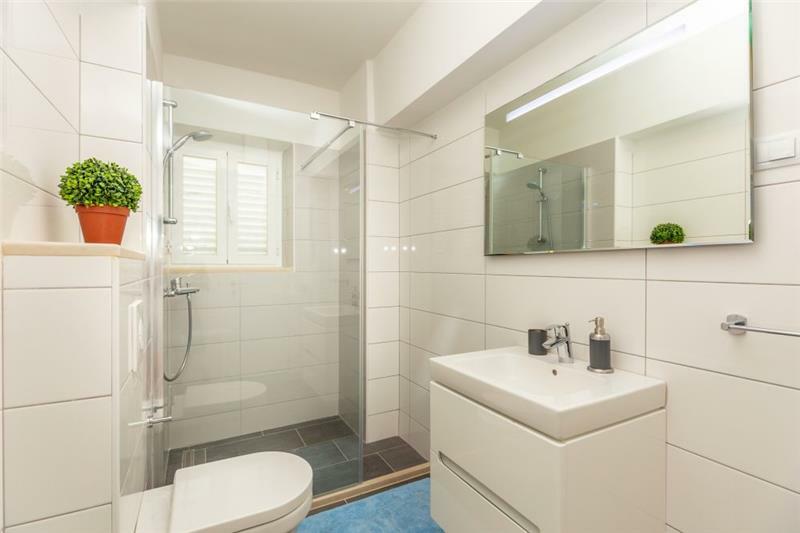 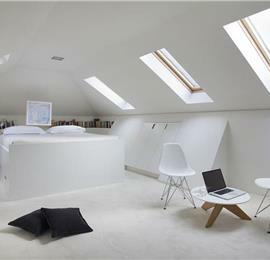 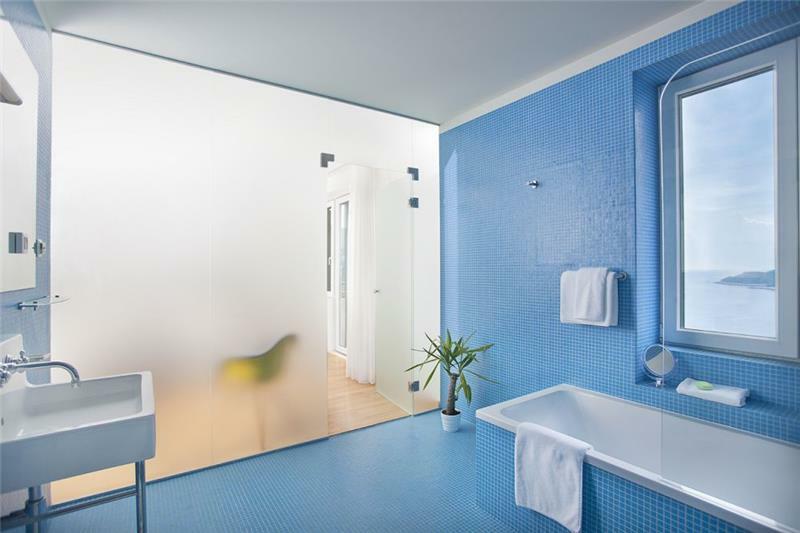 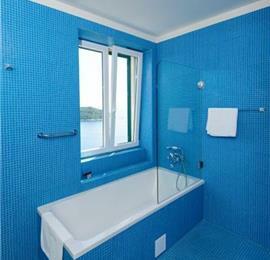 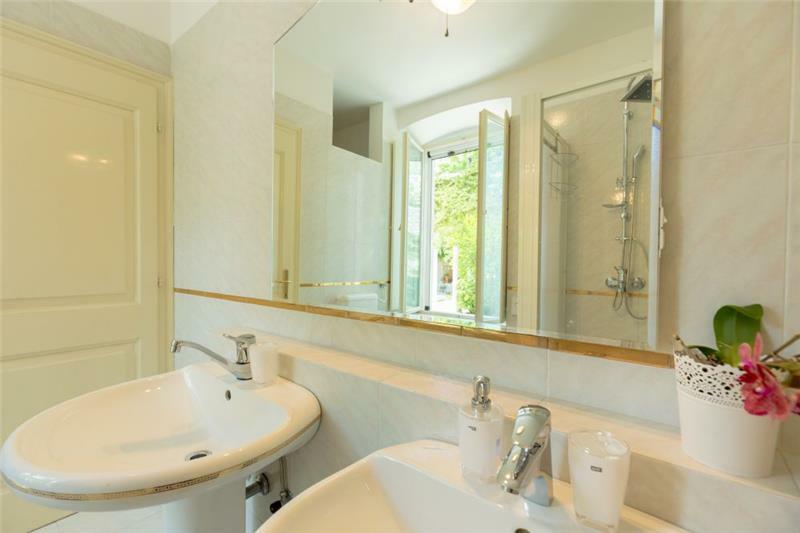 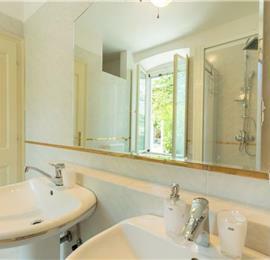 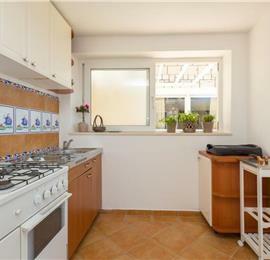 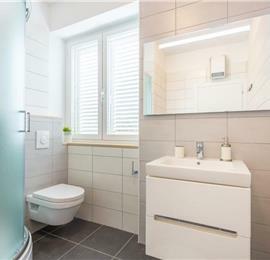 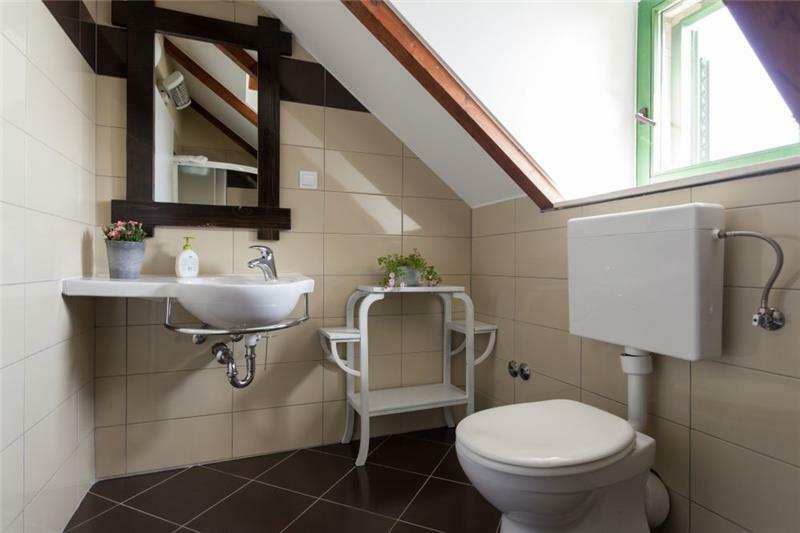 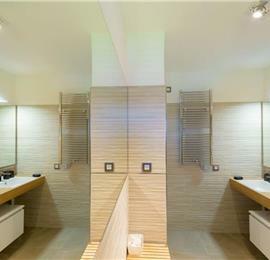 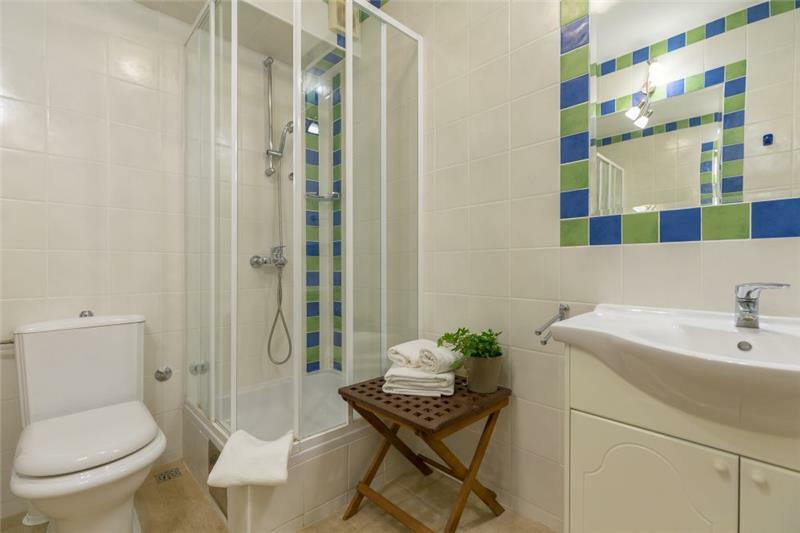 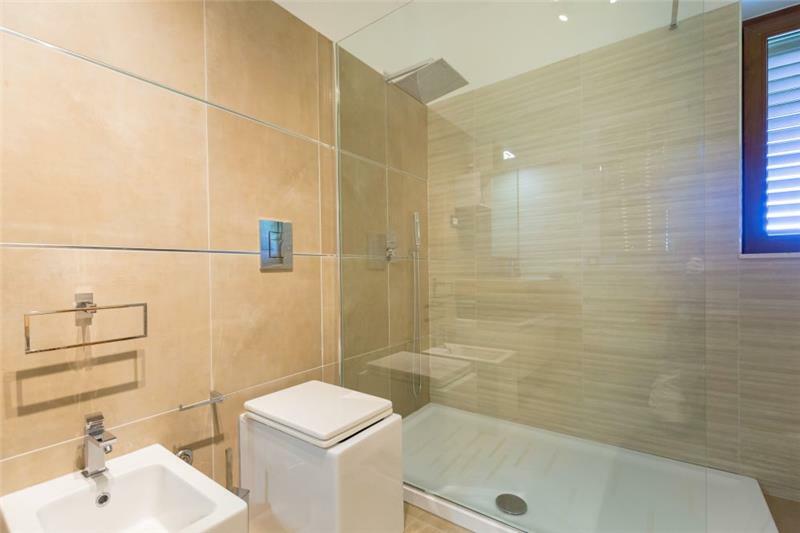 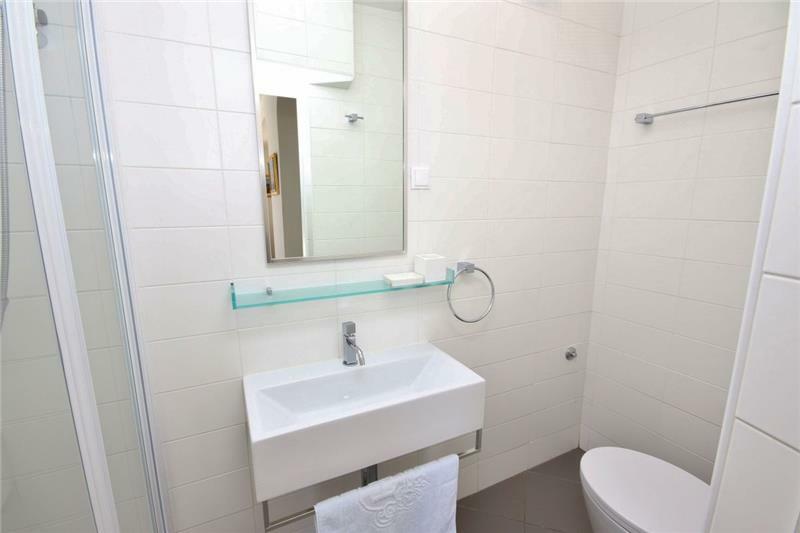 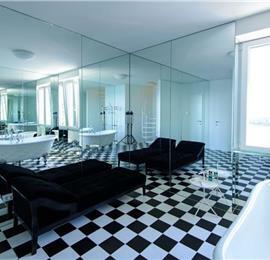 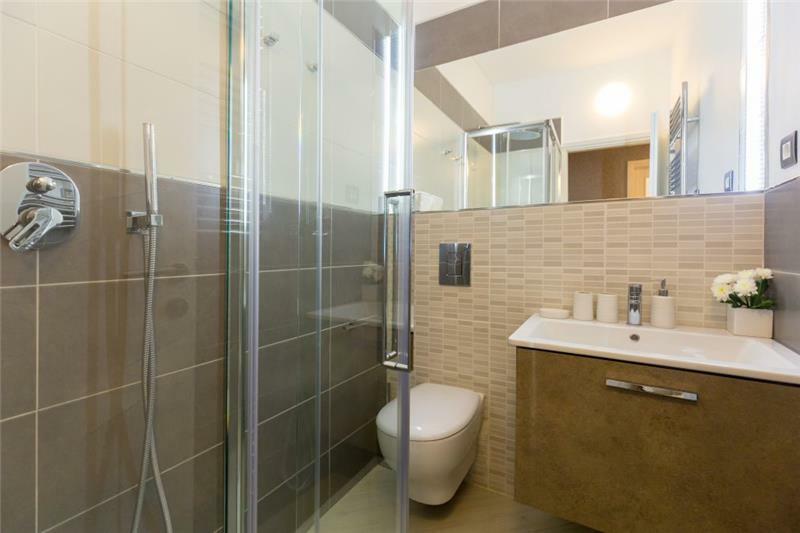 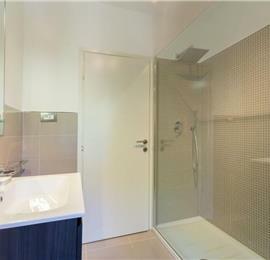 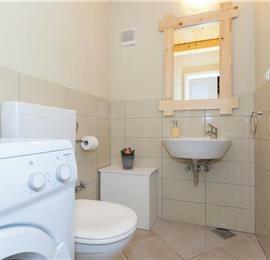 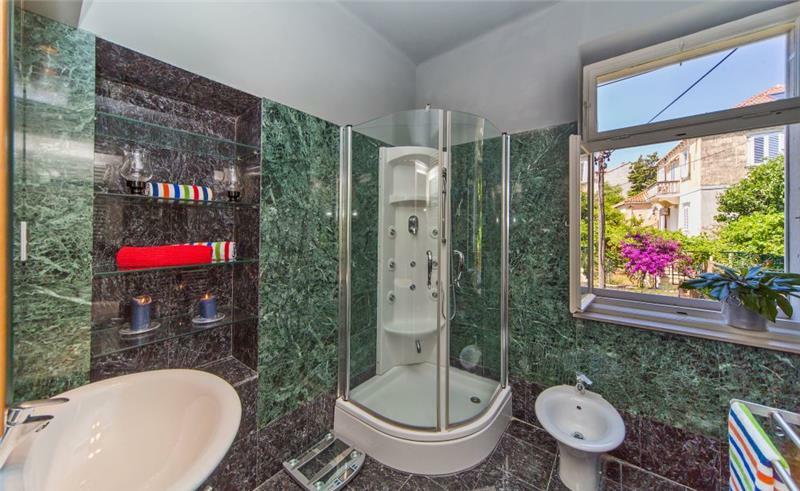 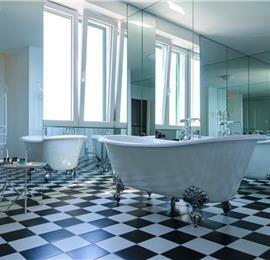 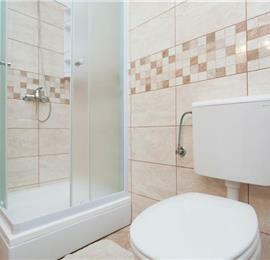 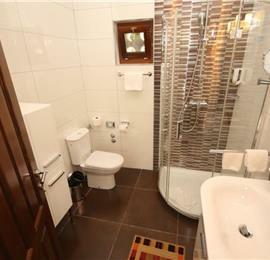 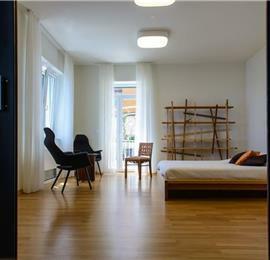 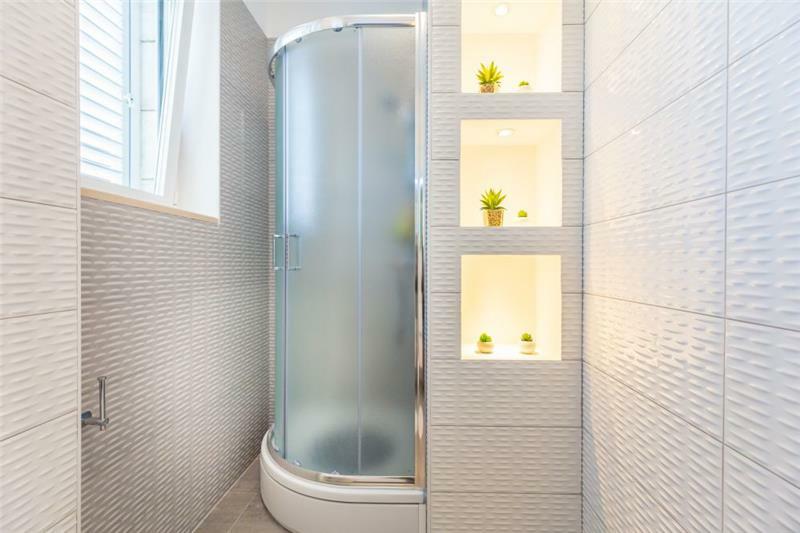 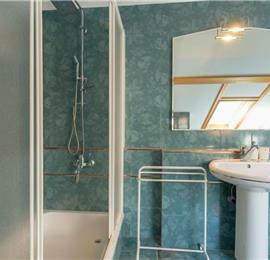 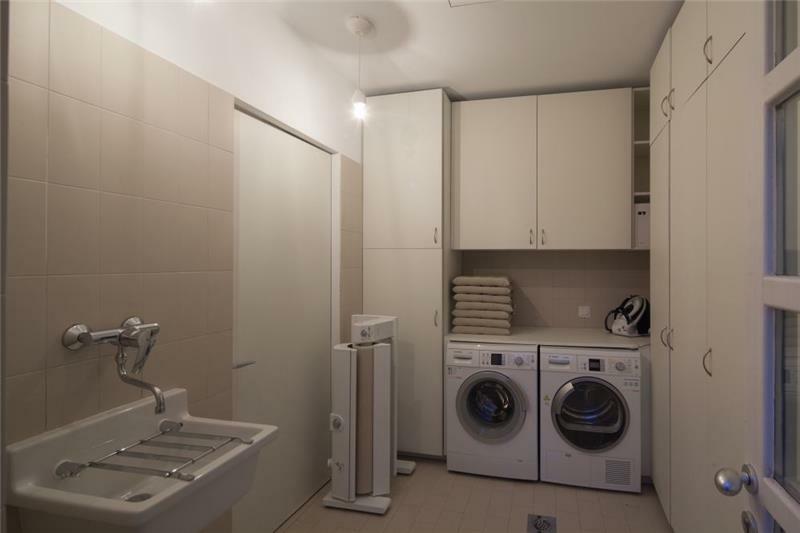 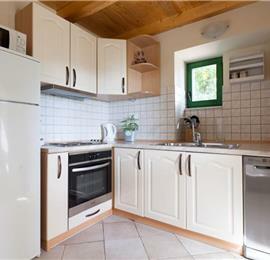 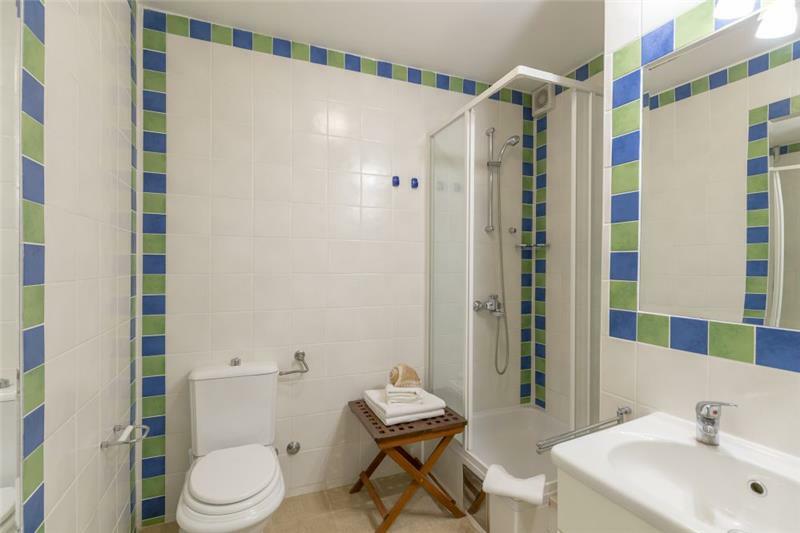 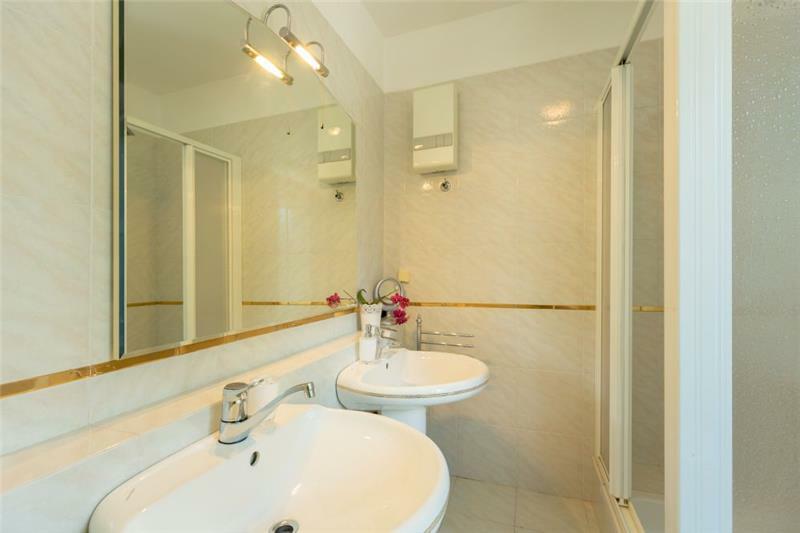 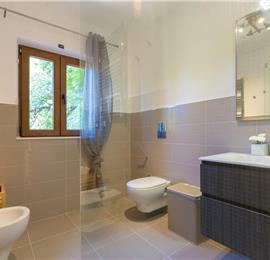 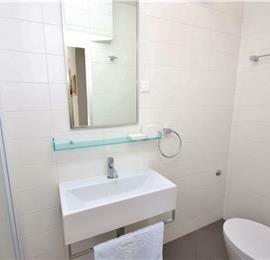 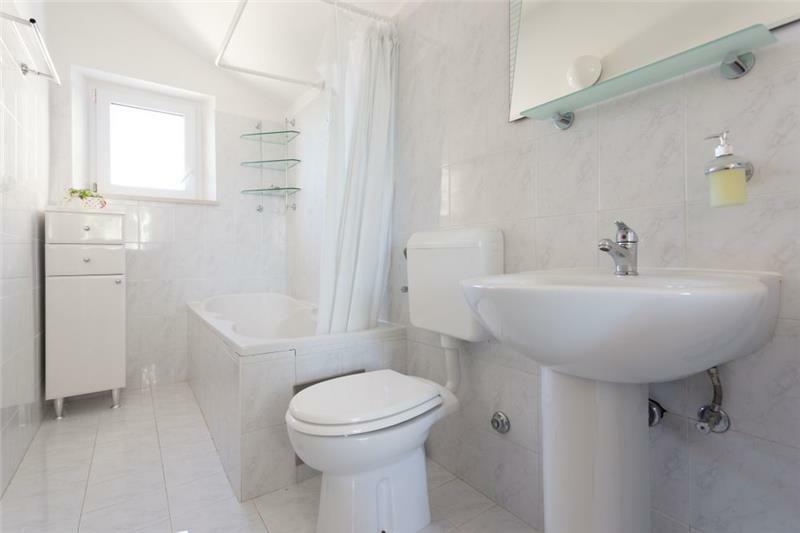 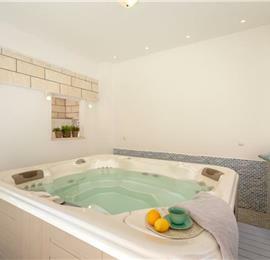 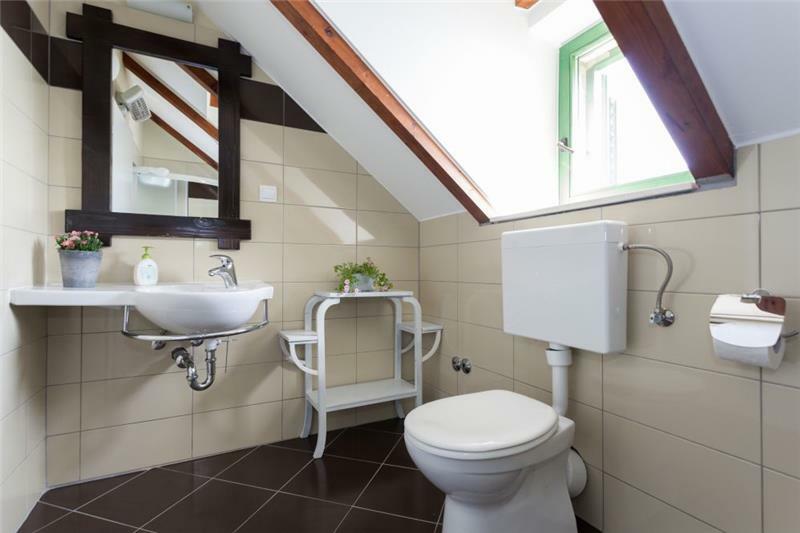 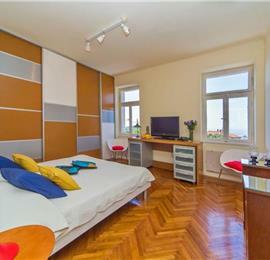 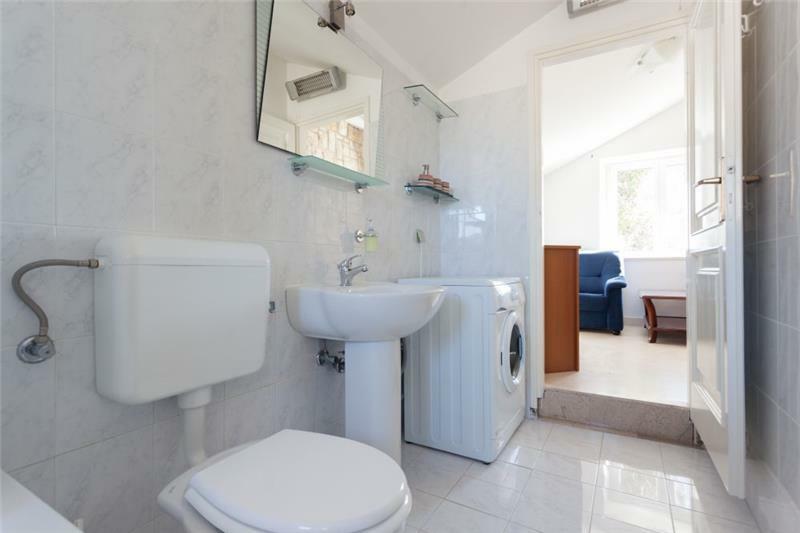 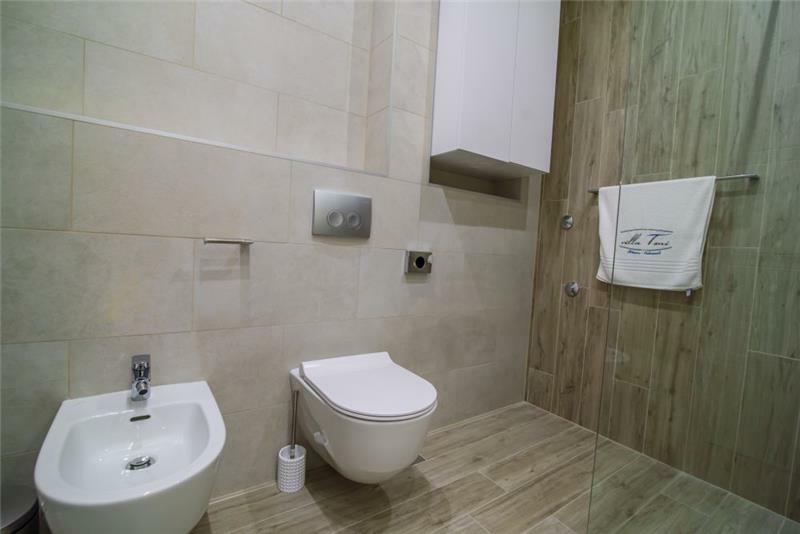 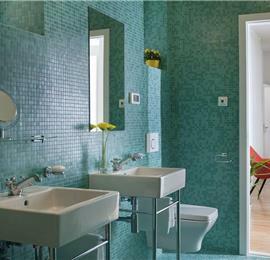 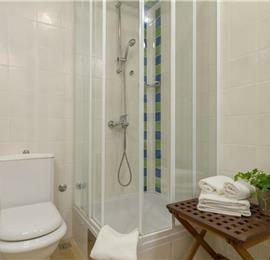 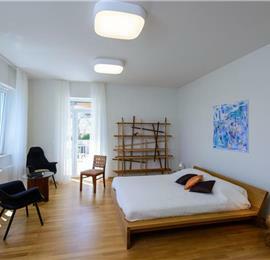 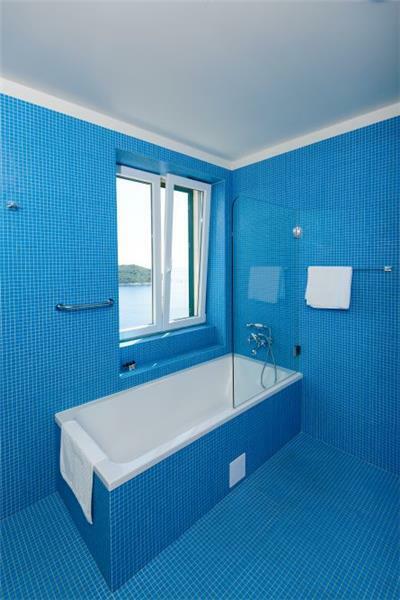 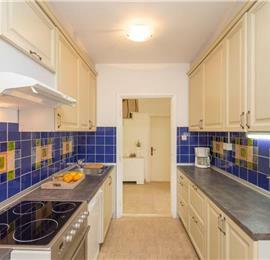 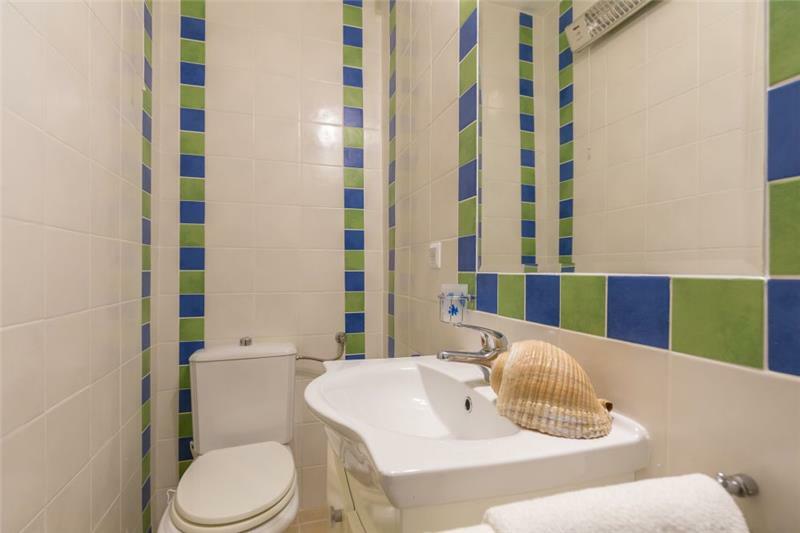 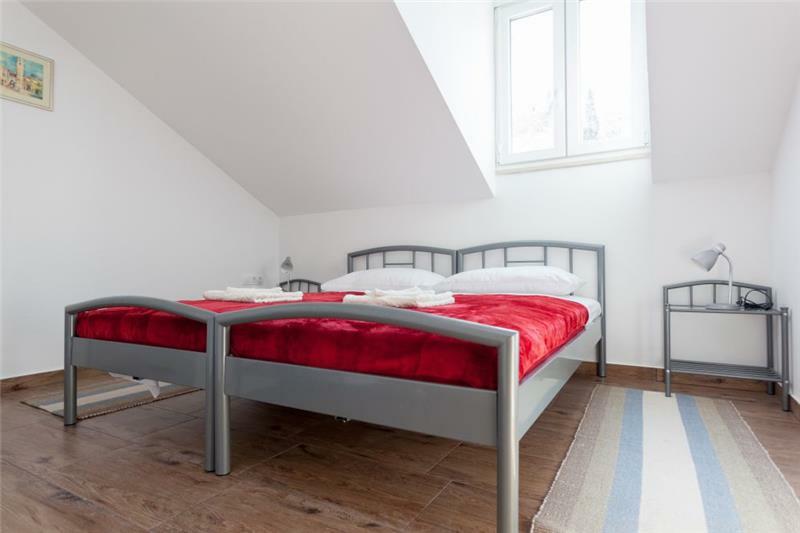 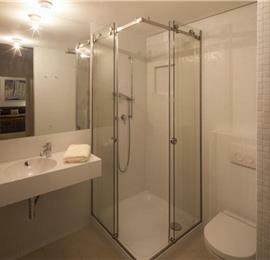 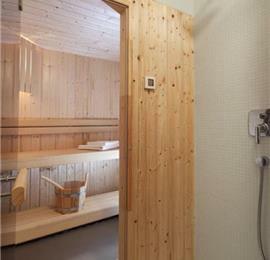 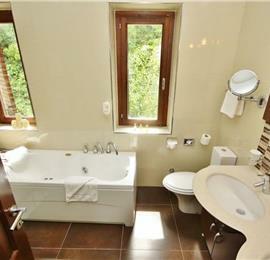 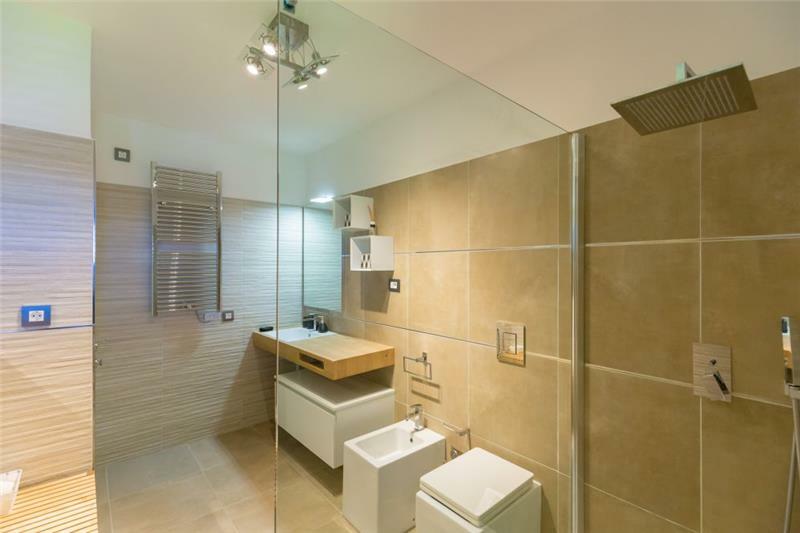 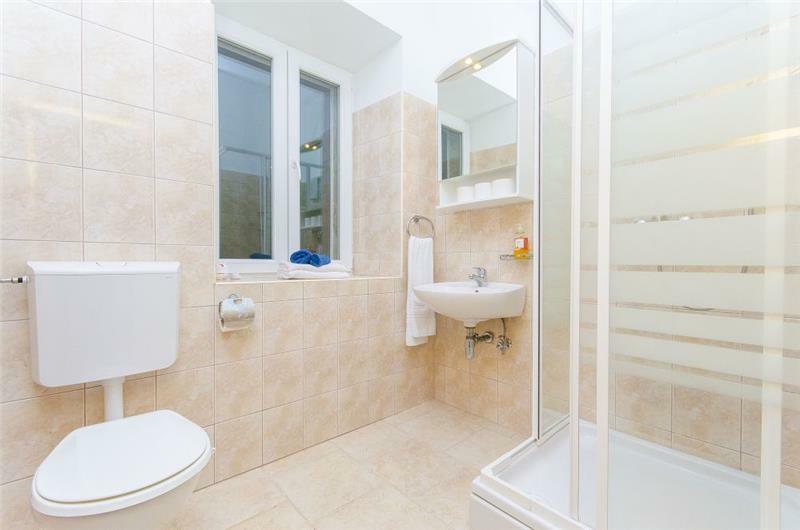 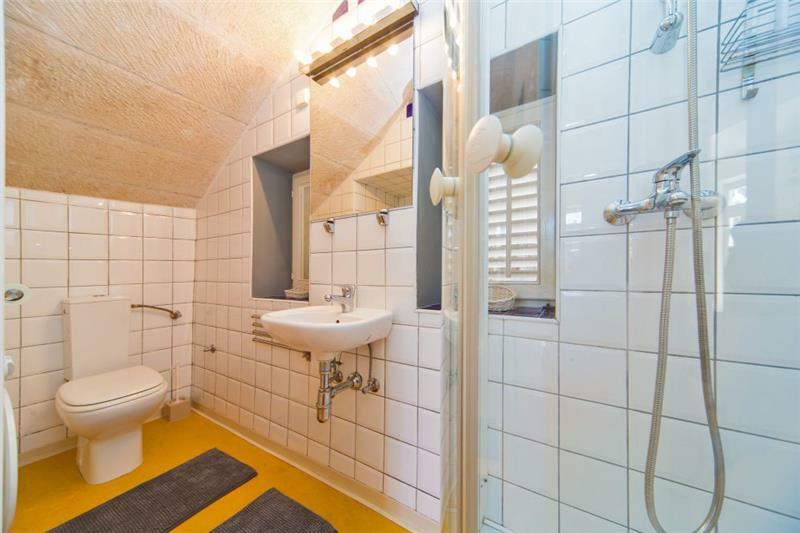 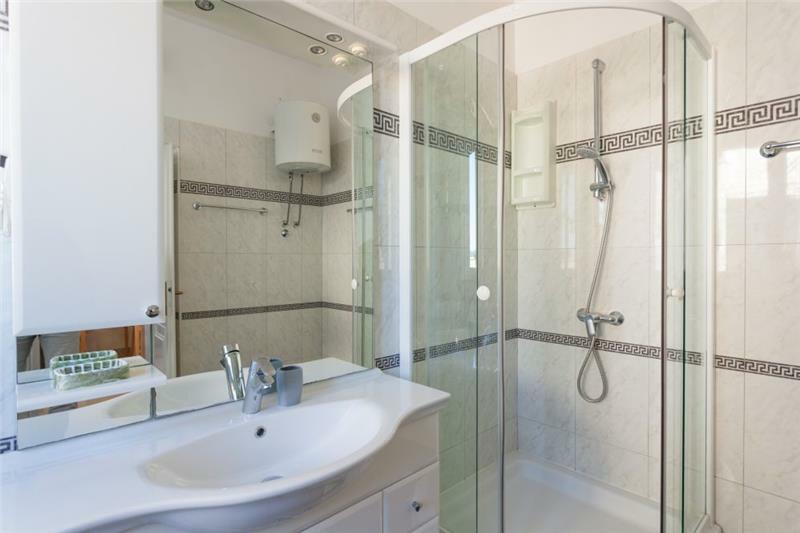 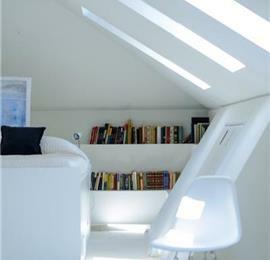 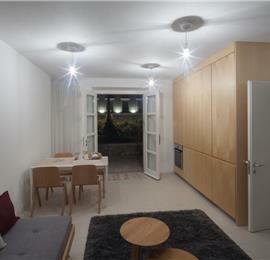 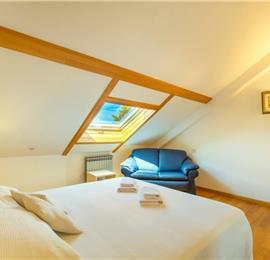 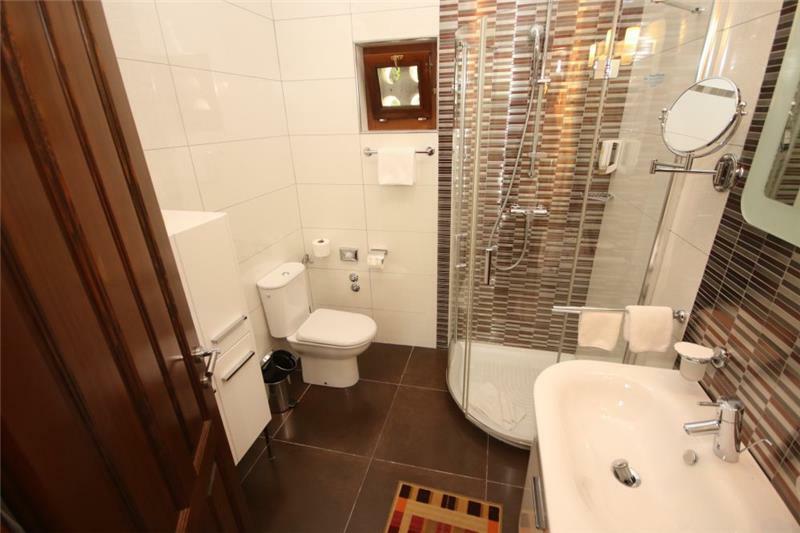 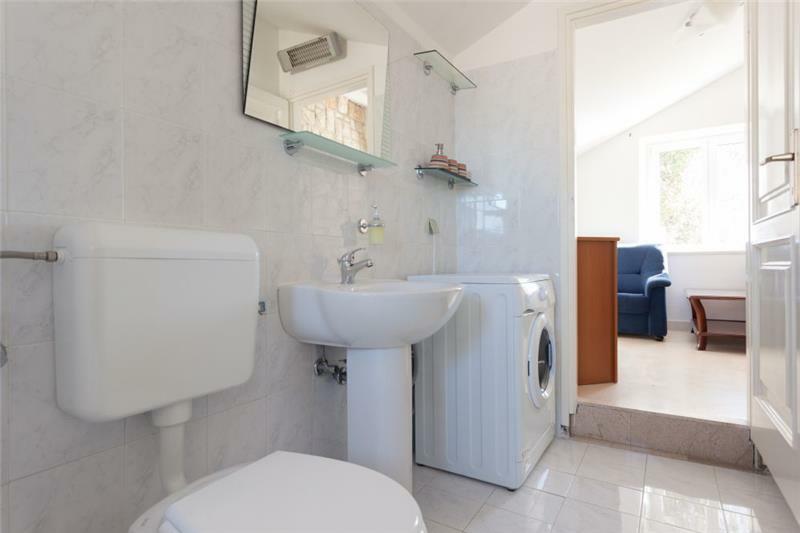 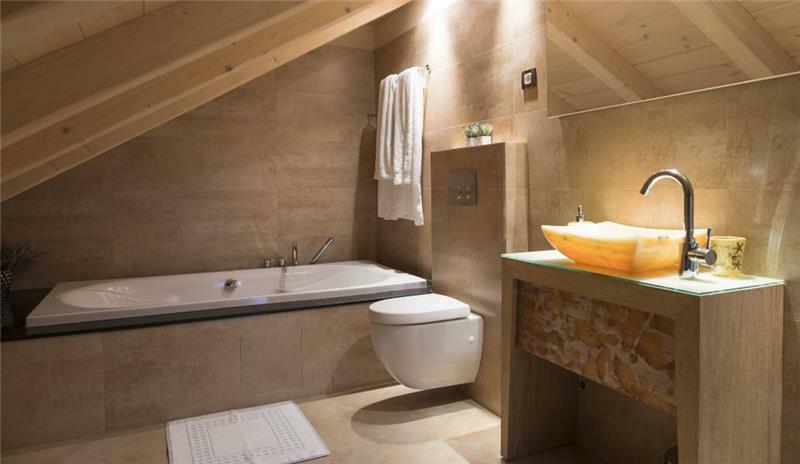 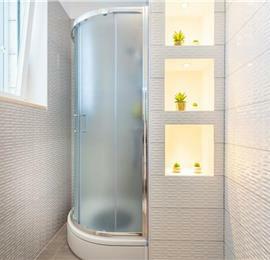 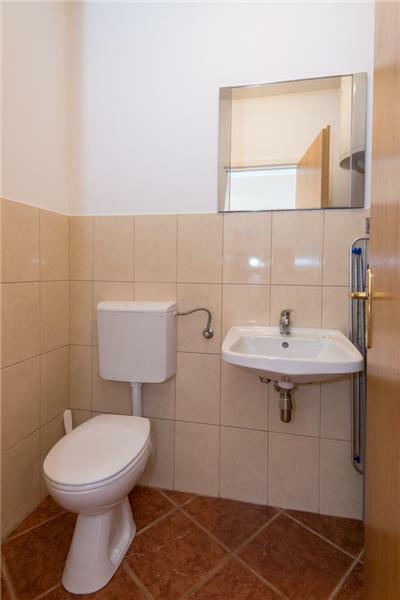 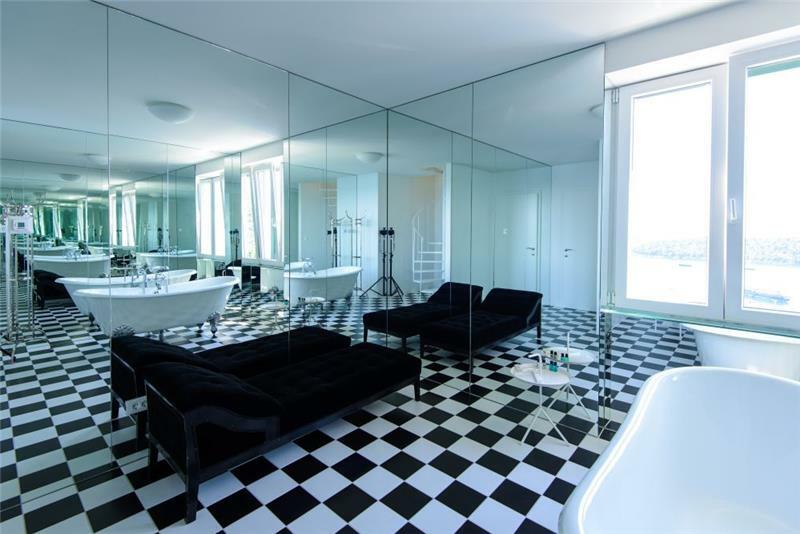 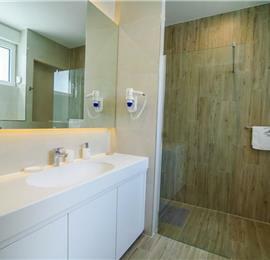 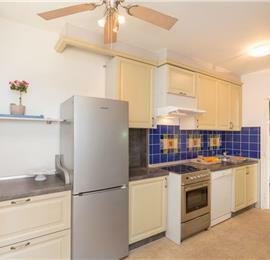 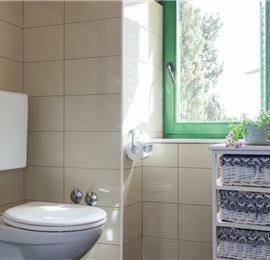 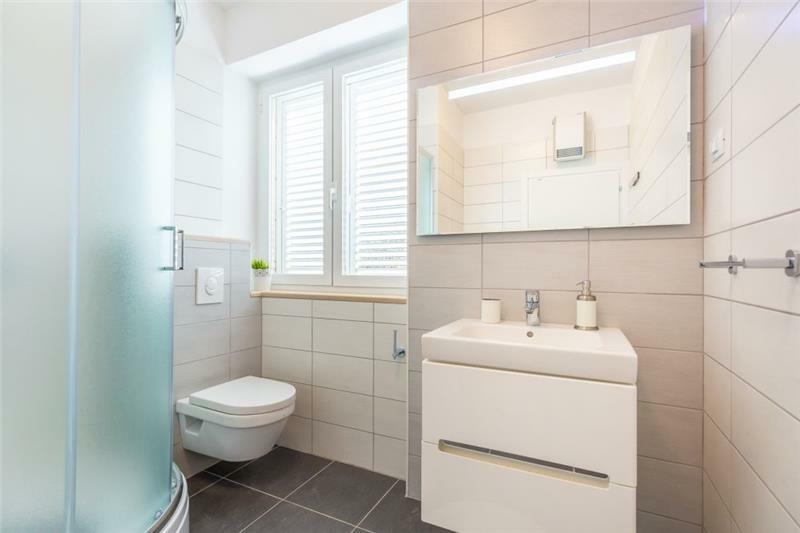 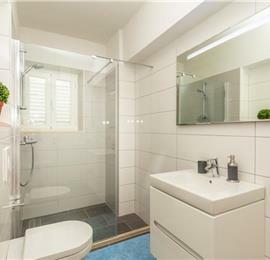 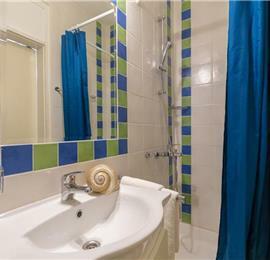 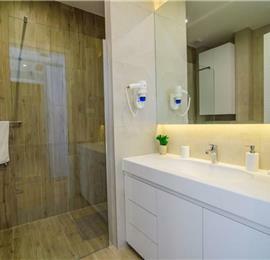 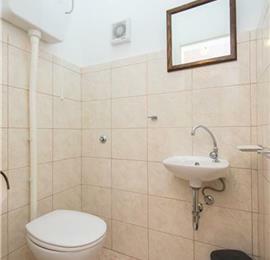 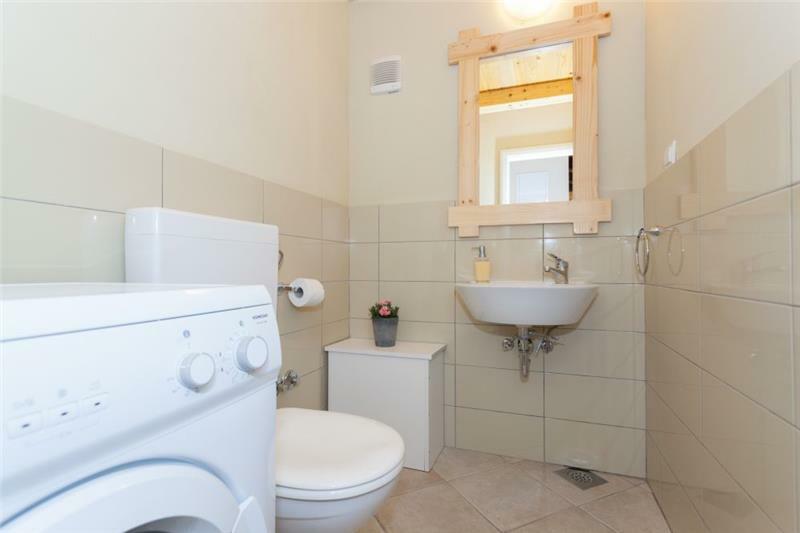 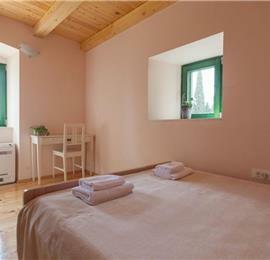 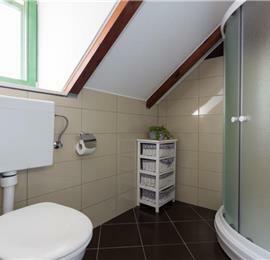 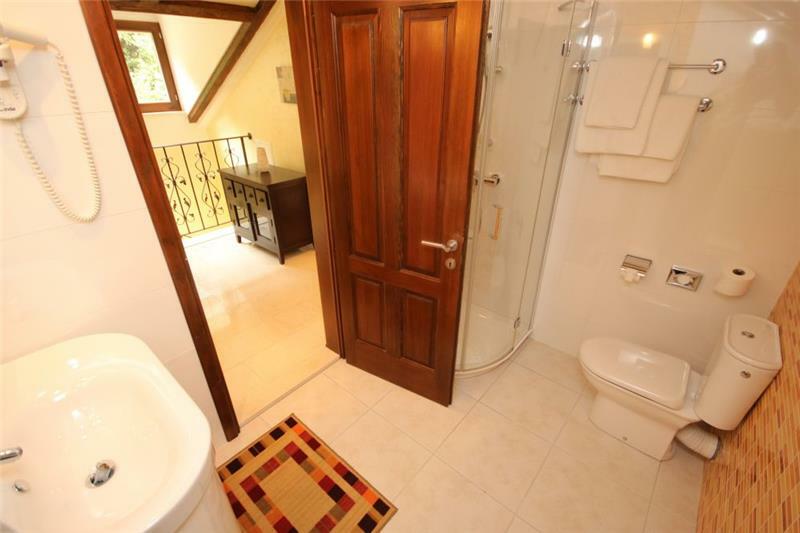 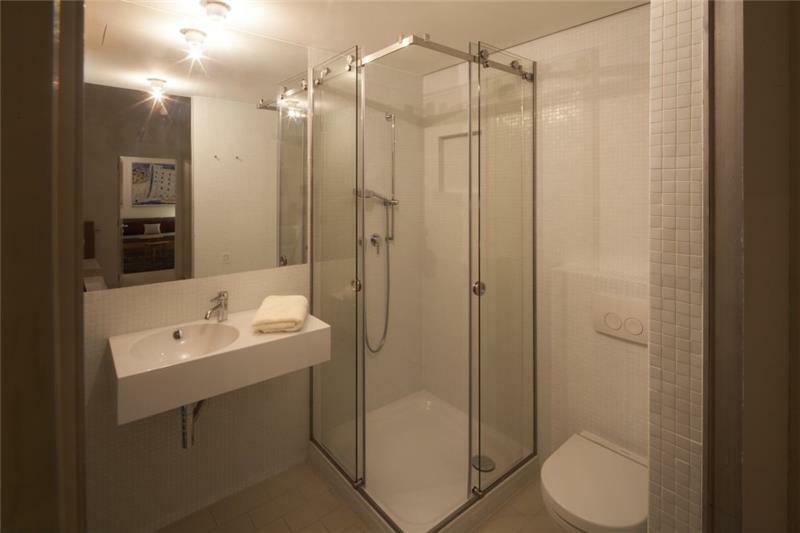 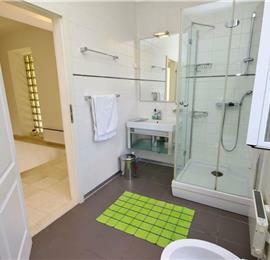 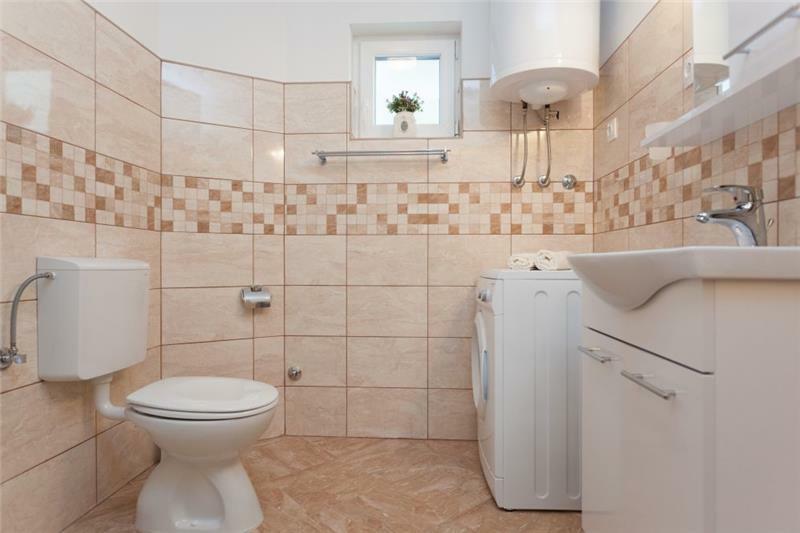 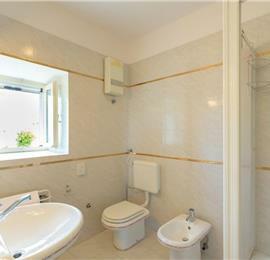 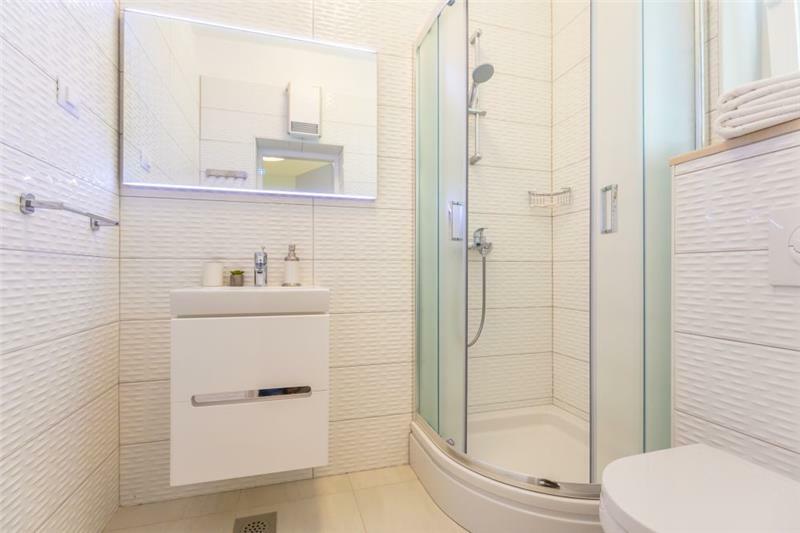 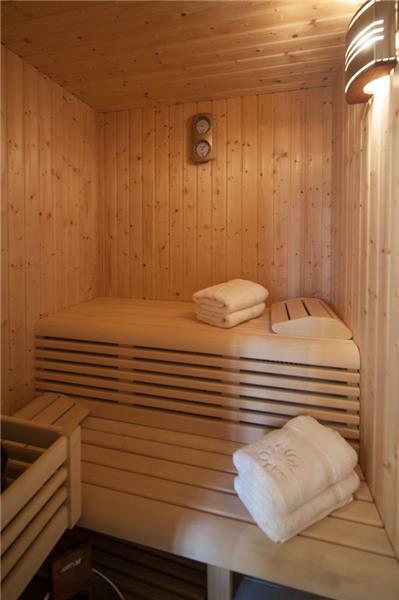 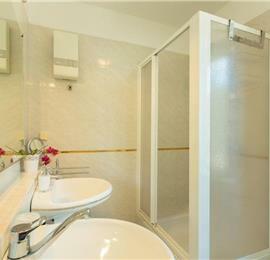 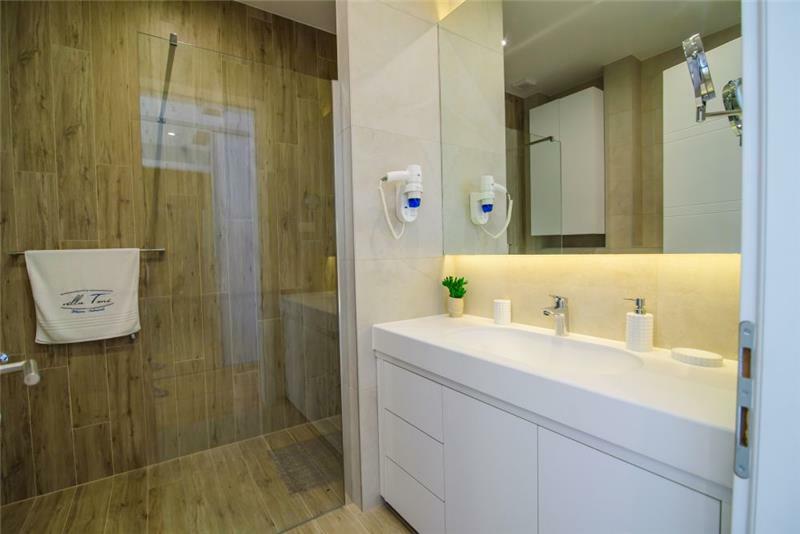 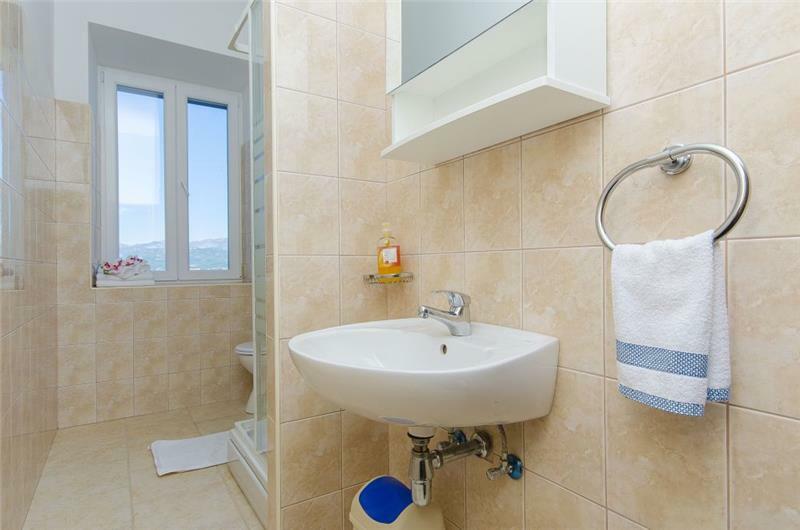 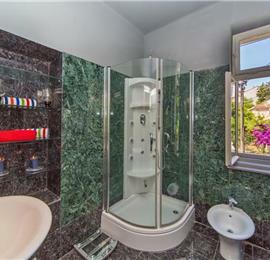 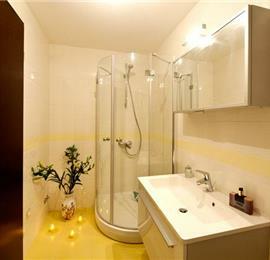 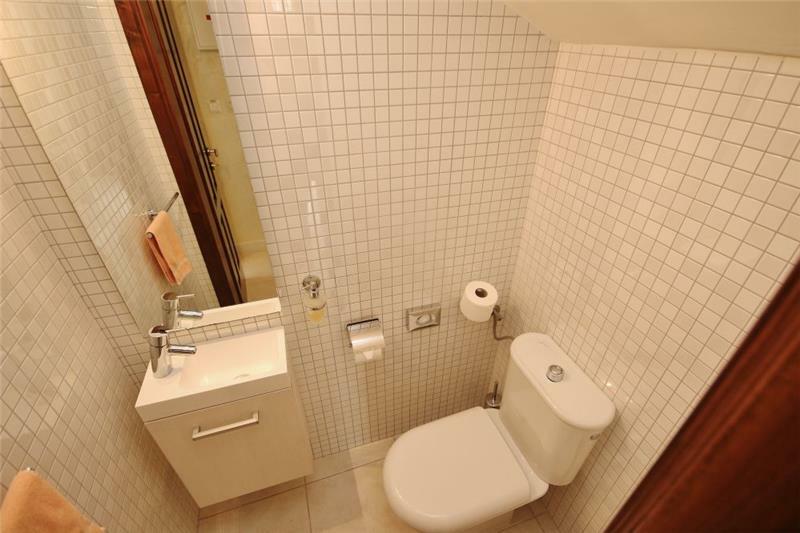 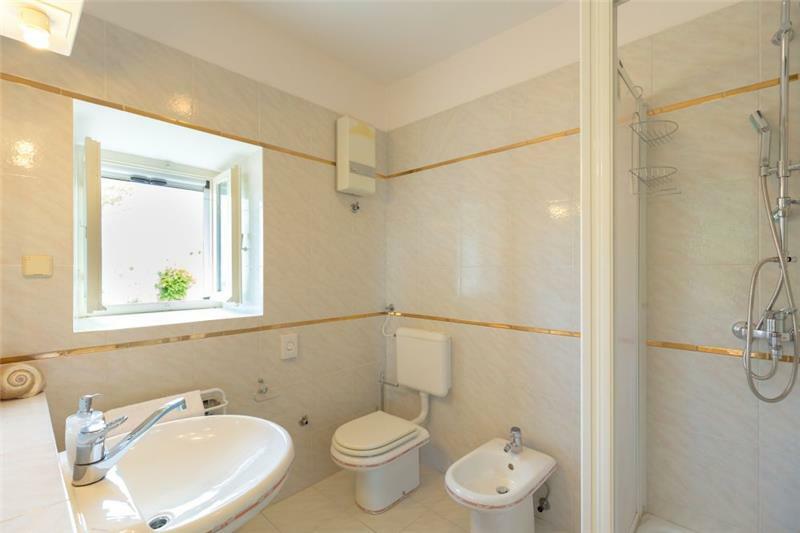 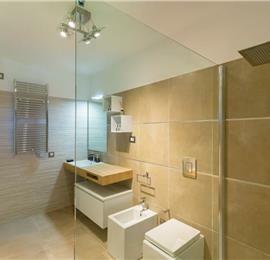 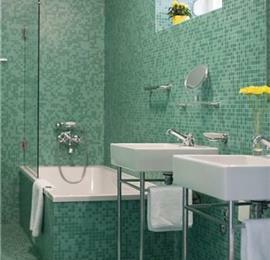 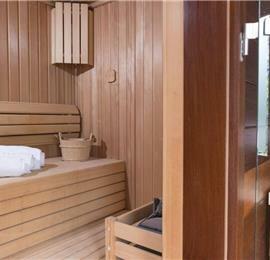 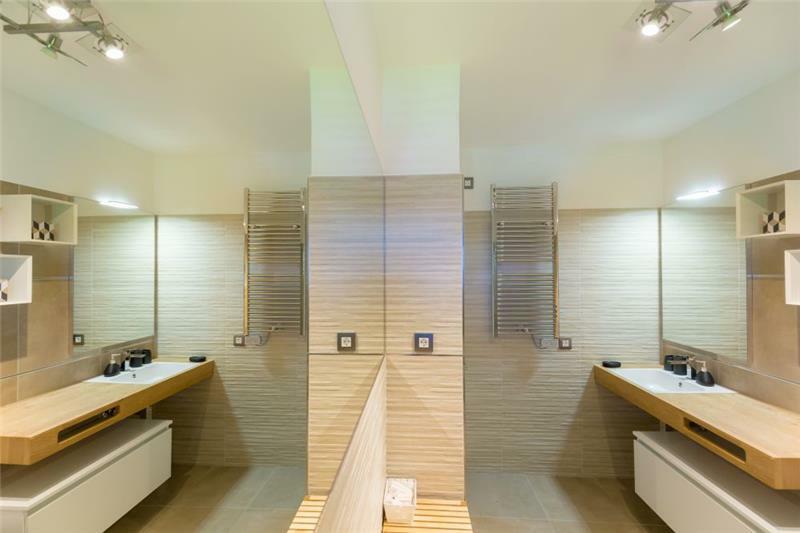 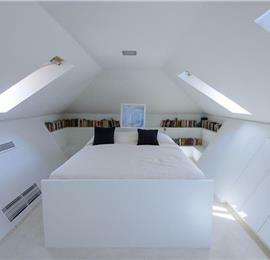 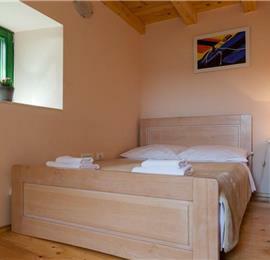 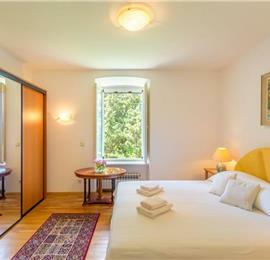 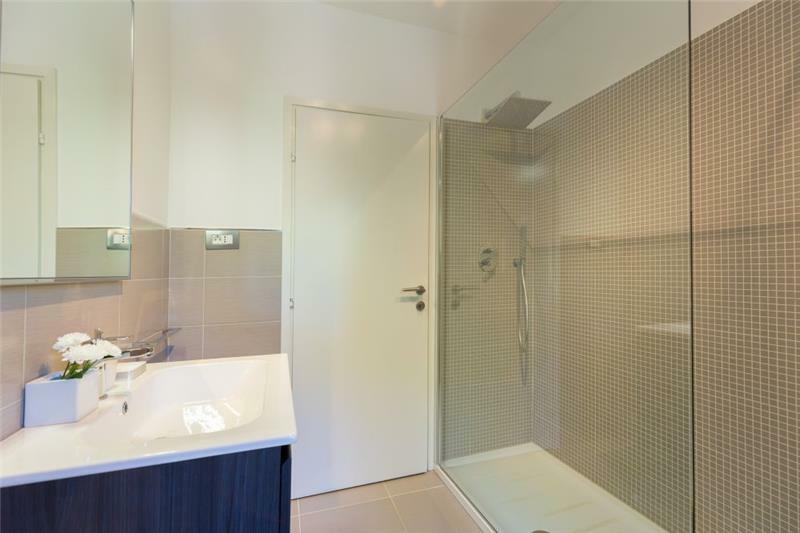 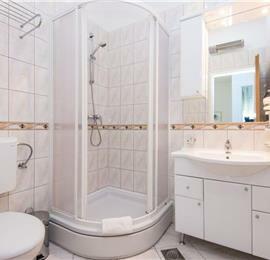 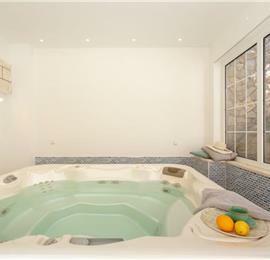 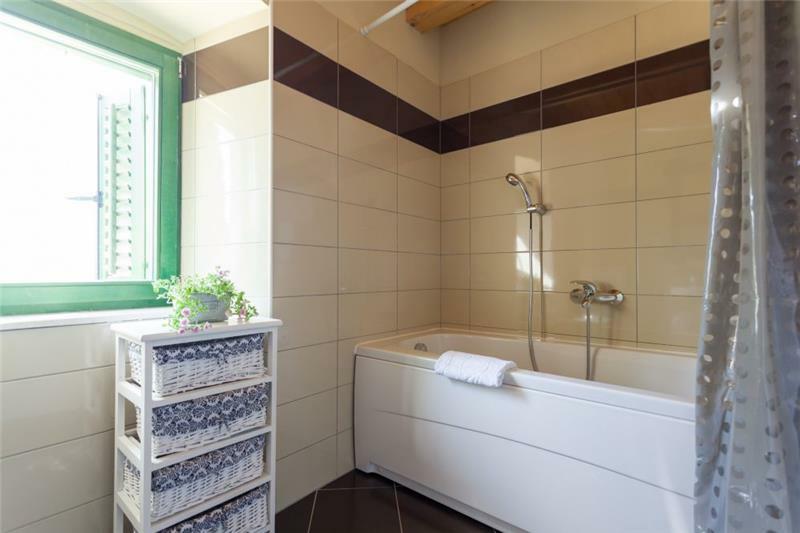 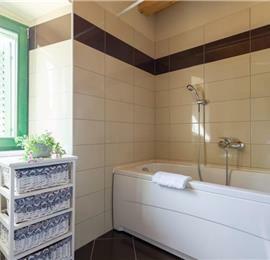 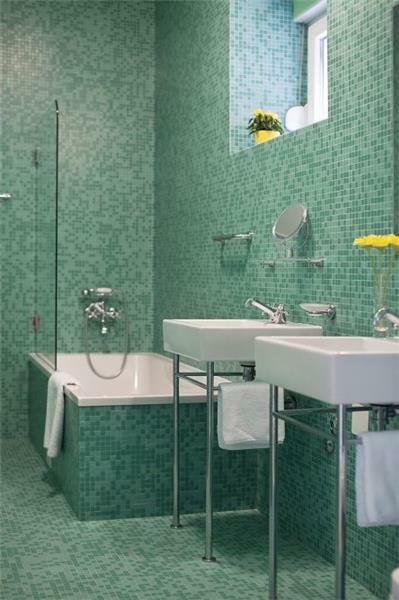 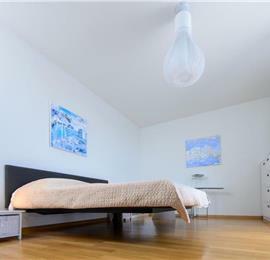 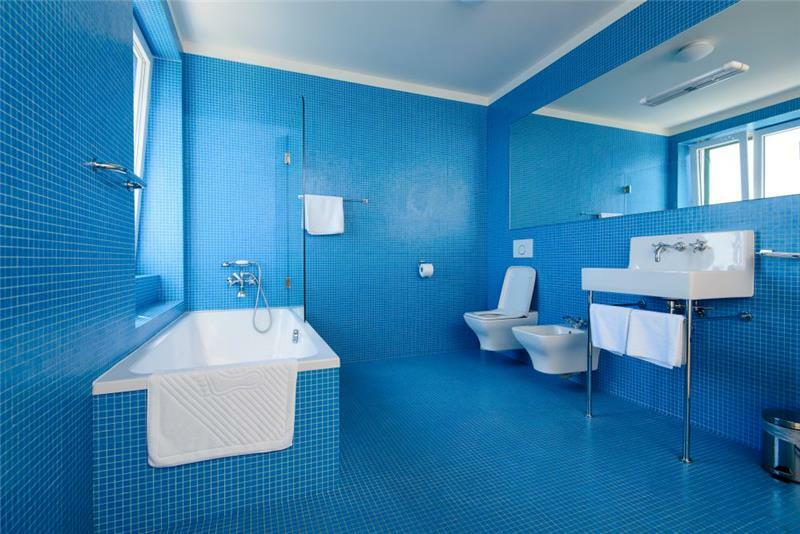 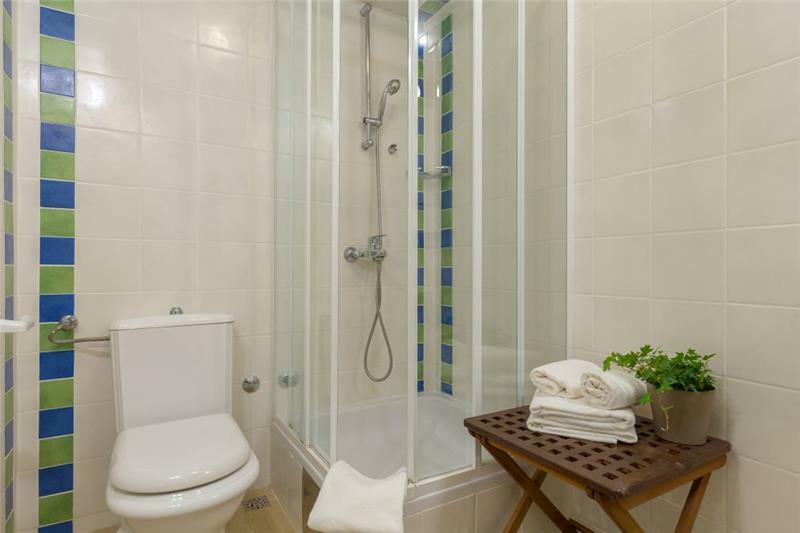 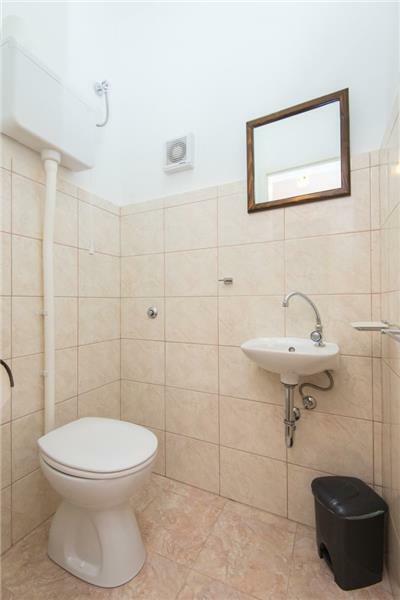 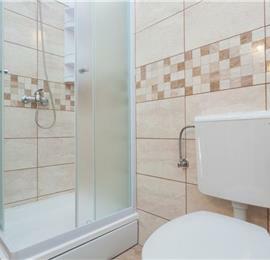 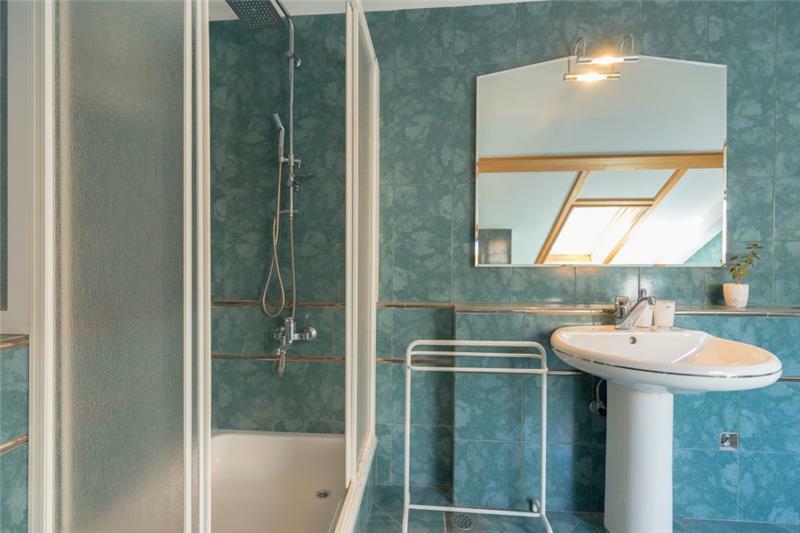 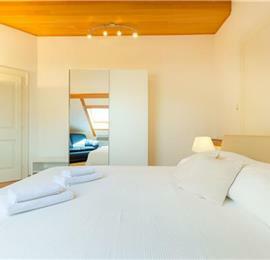 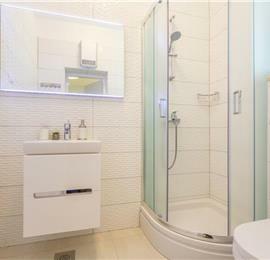 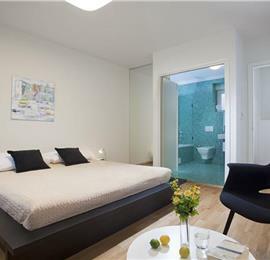 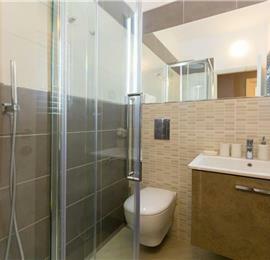 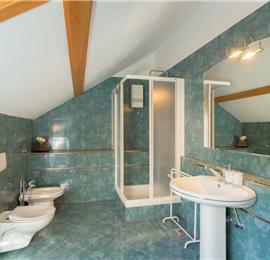 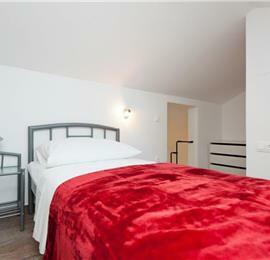 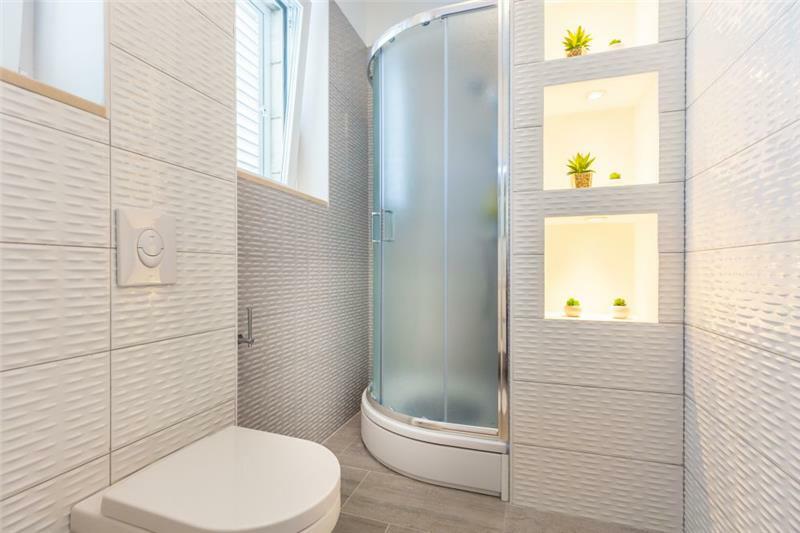 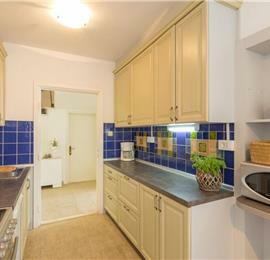 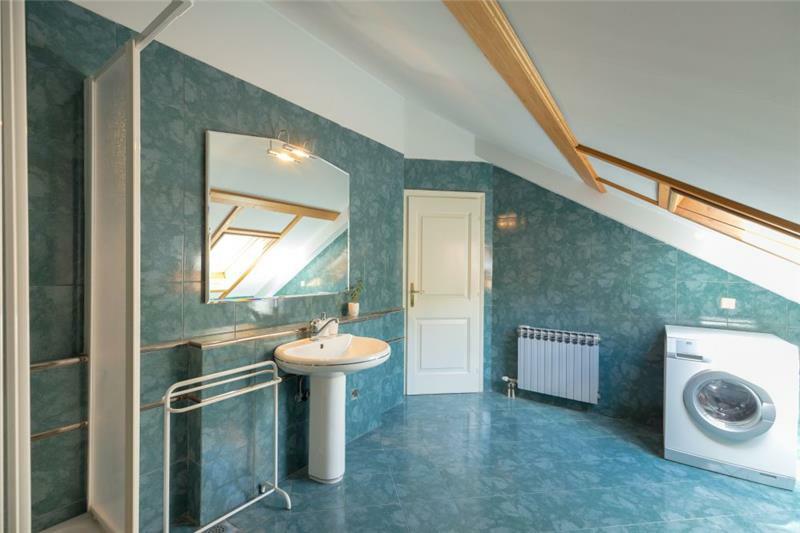 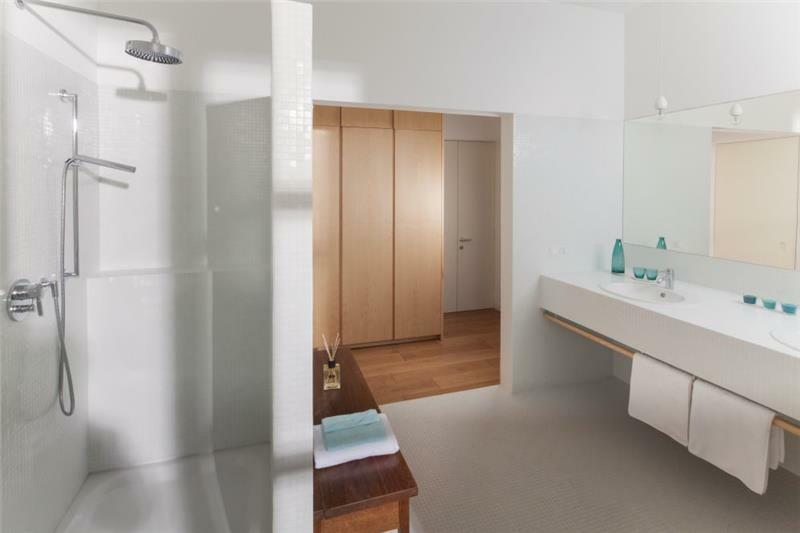 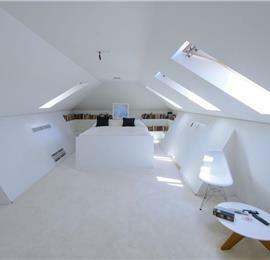 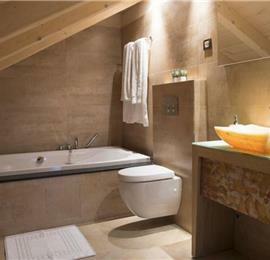 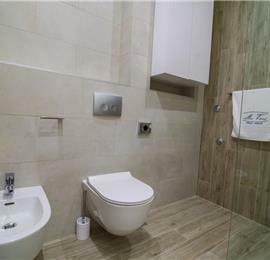 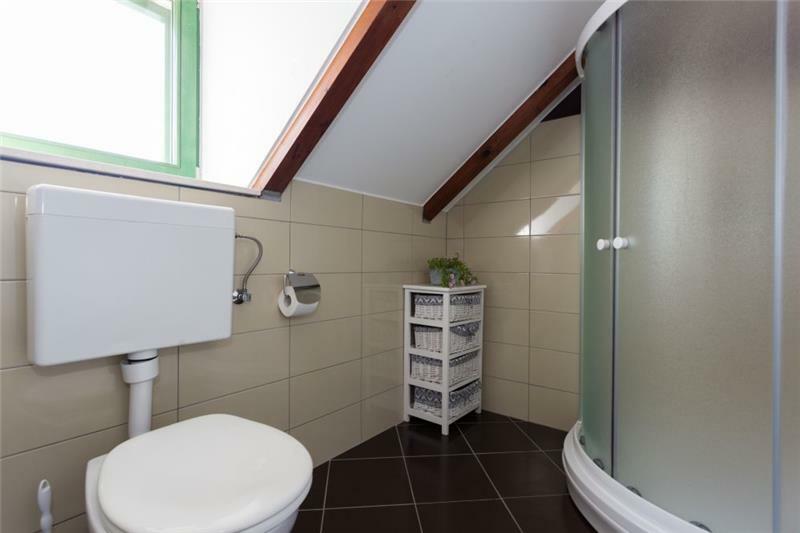 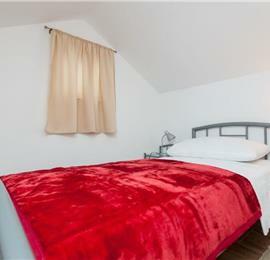 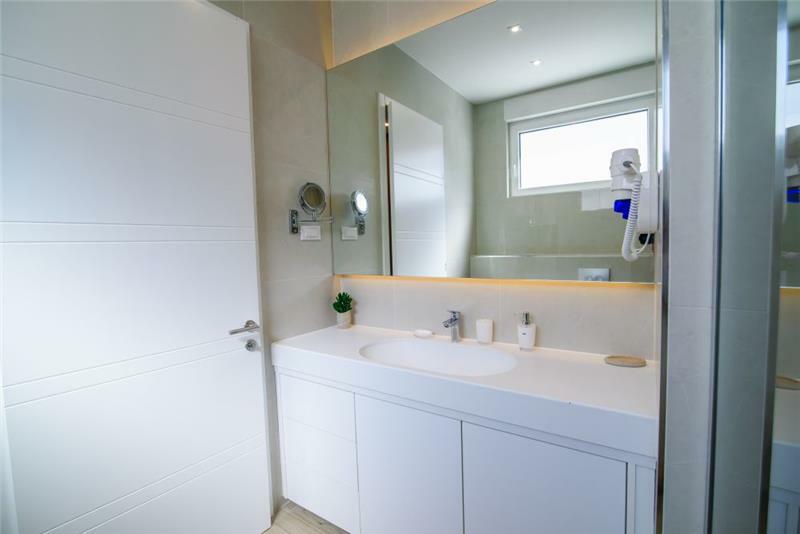 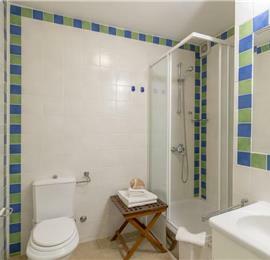 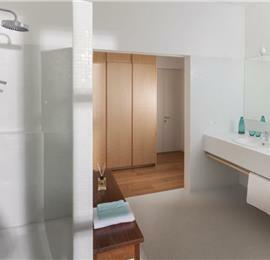 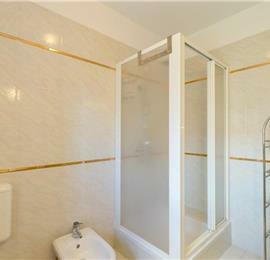 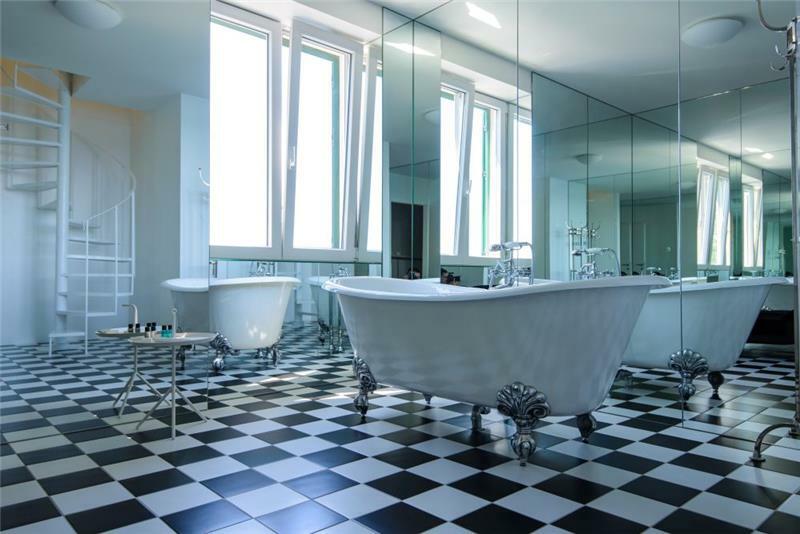 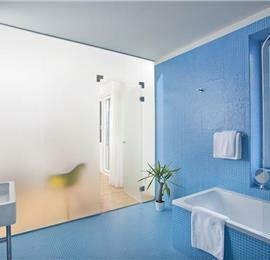 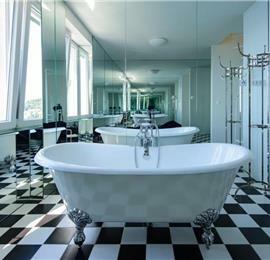 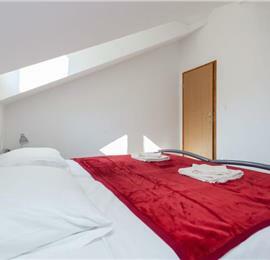 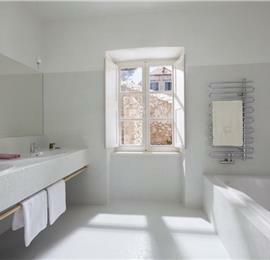 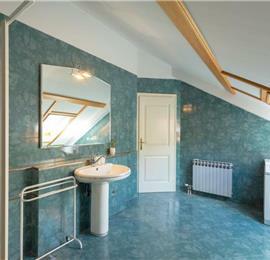 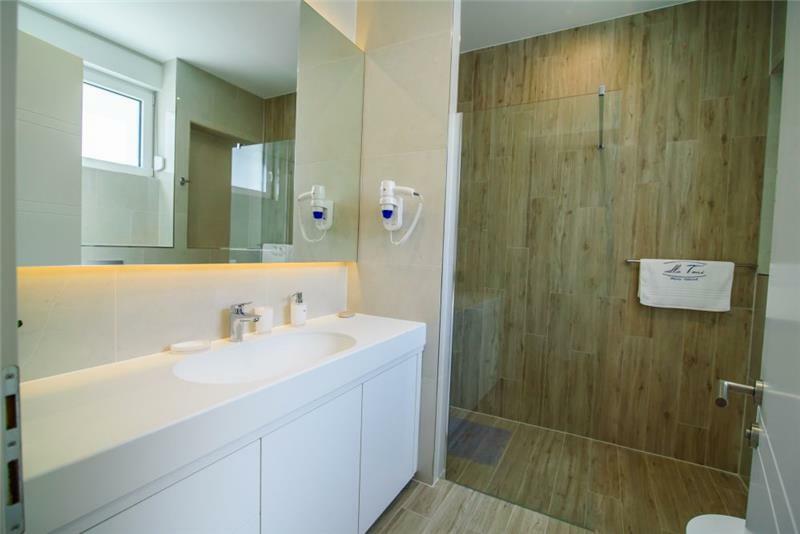 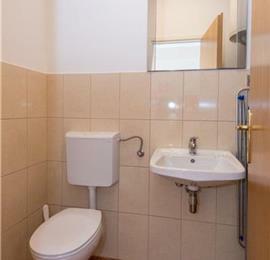 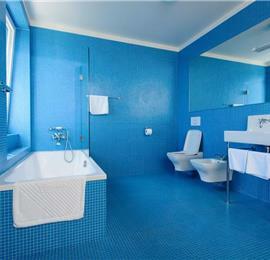 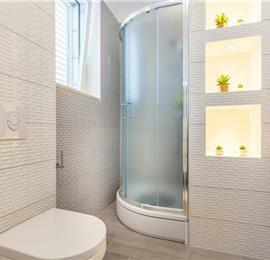 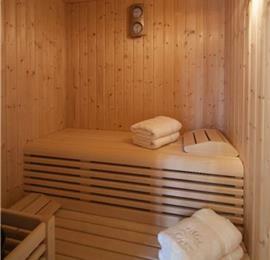 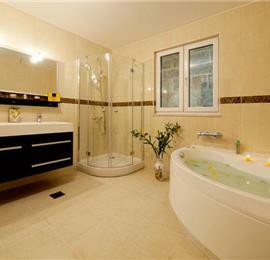 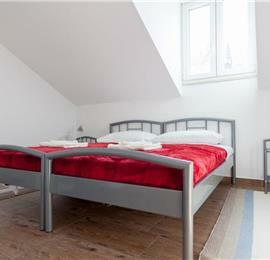 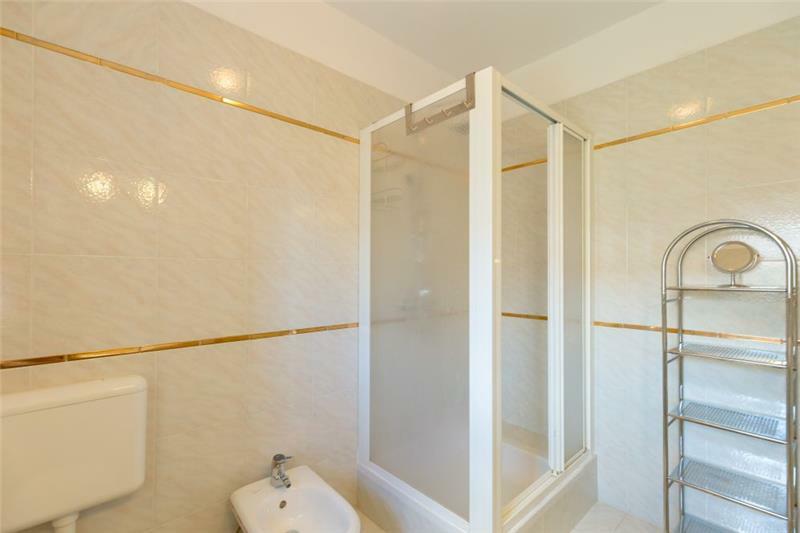 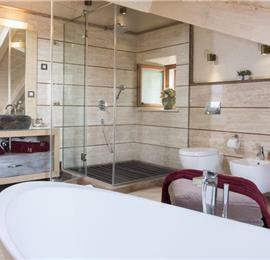 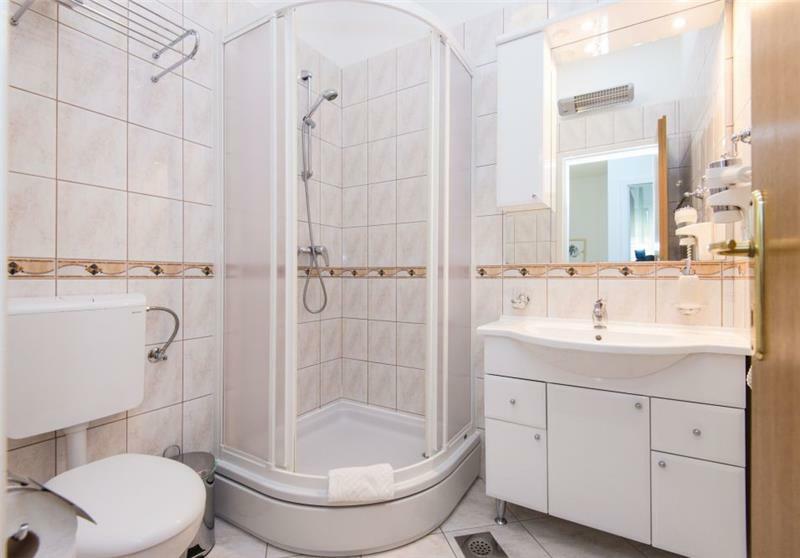 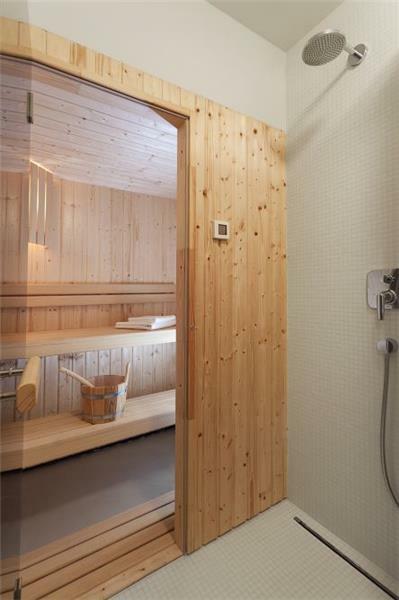 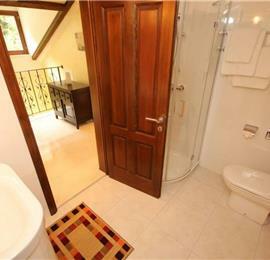 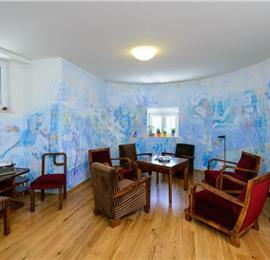 There is also underfloor heating in the bathrooms. 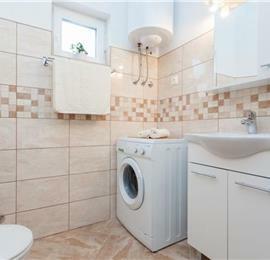 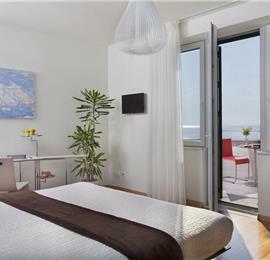 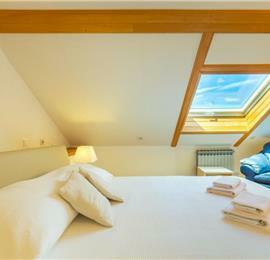 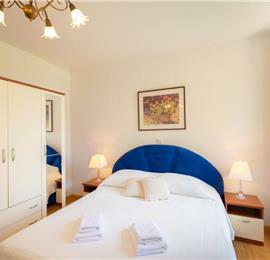 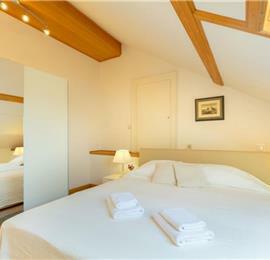 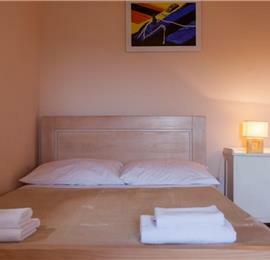 Towels changed every 4th day, linen changed once a week. 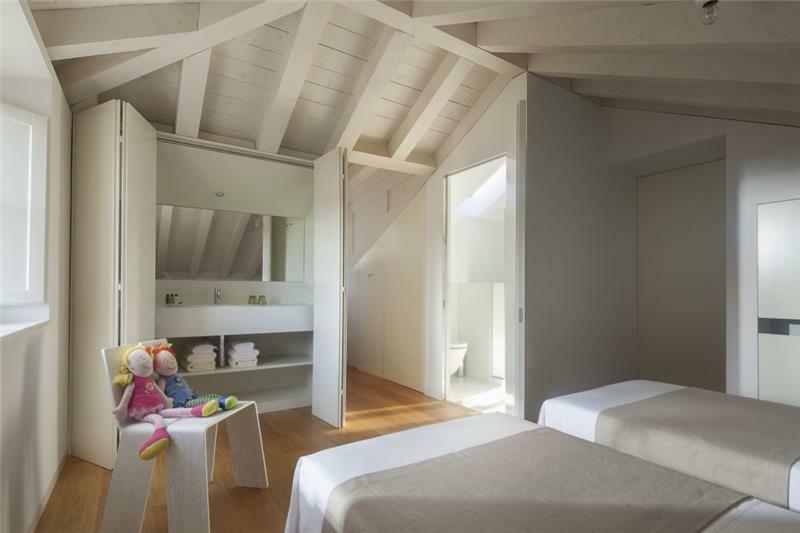 1 x cot and cot linen + 1 x high chair included in the price. 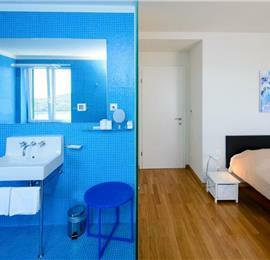 Please request at time of booking. 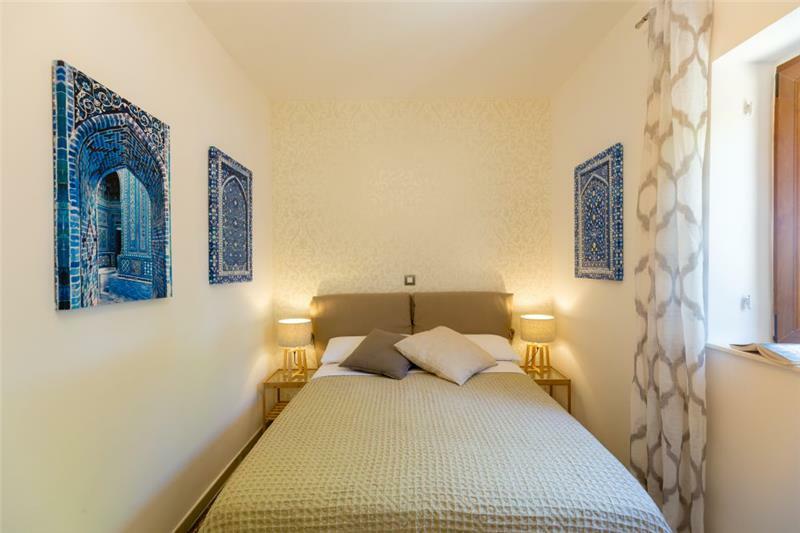 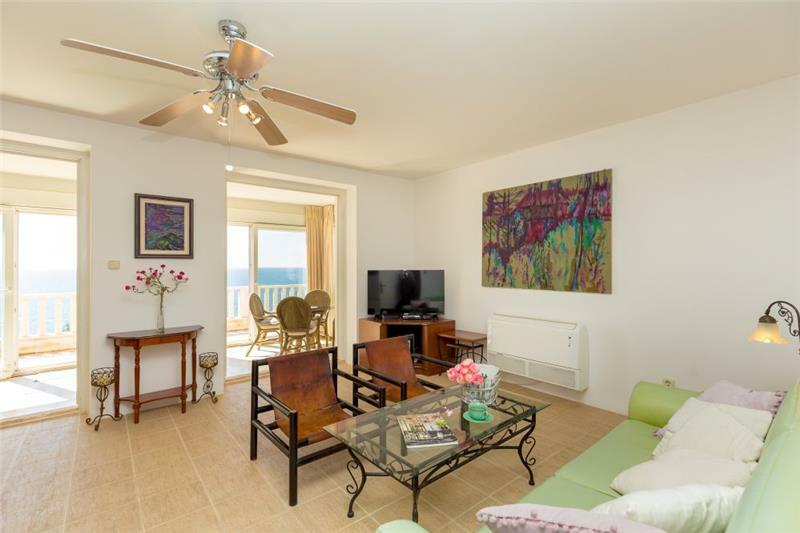 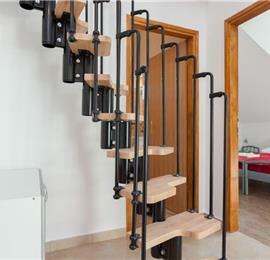 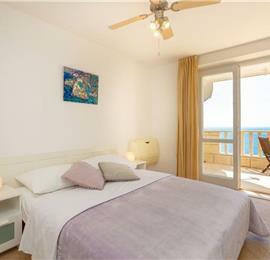 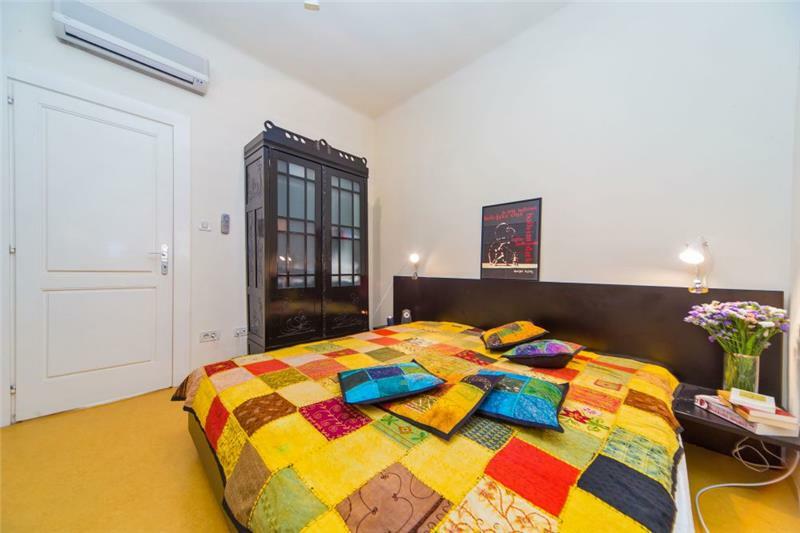 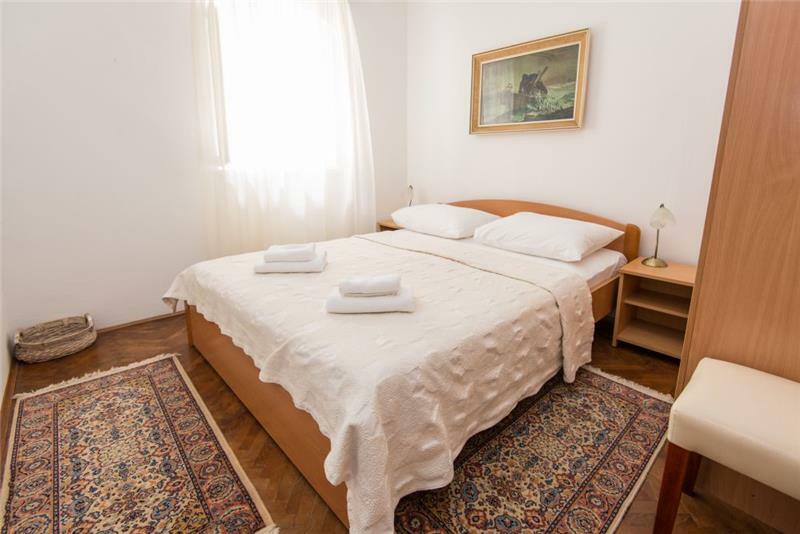 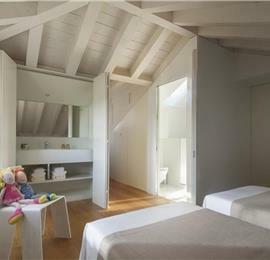 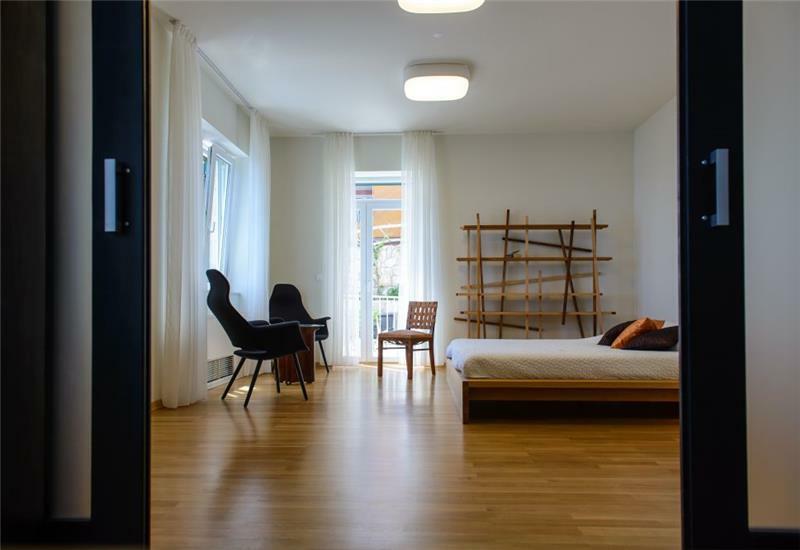 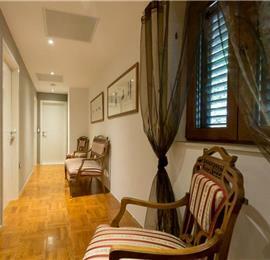 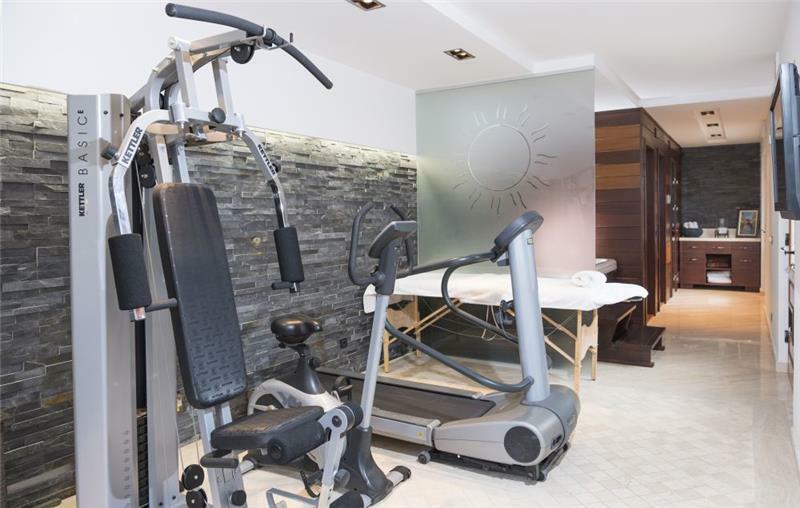 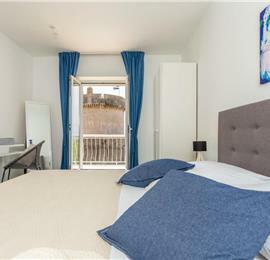 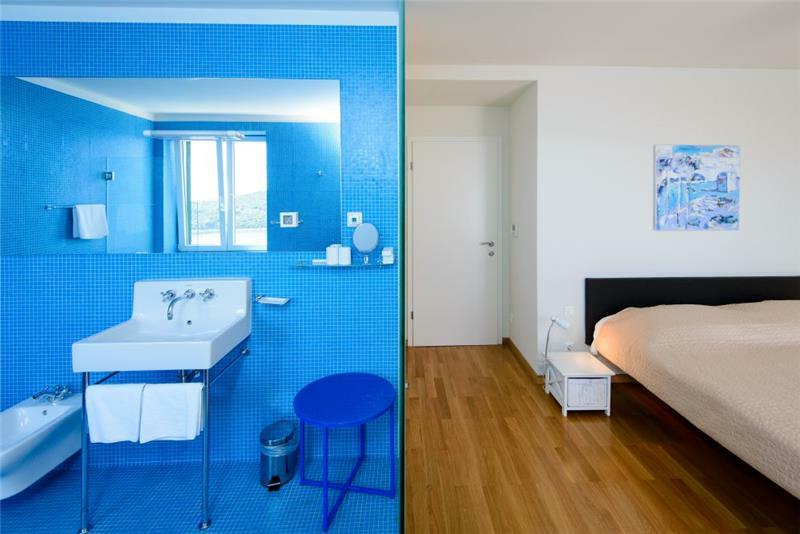 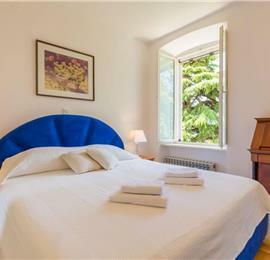 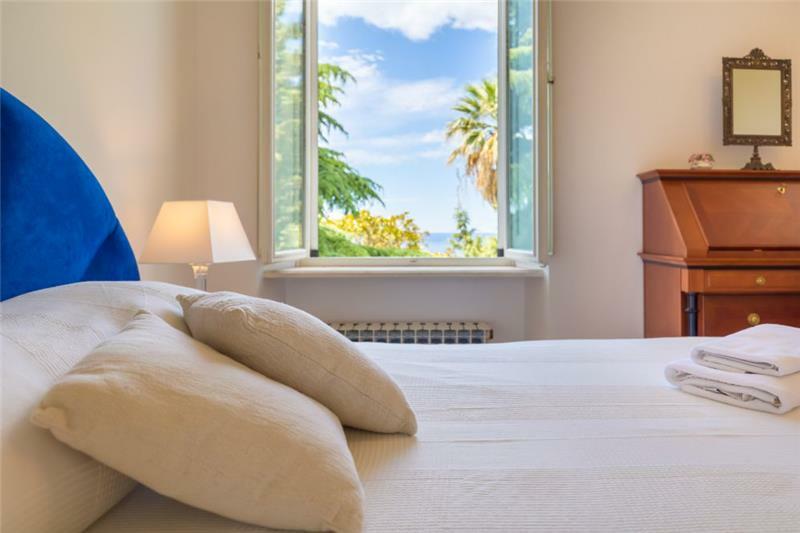 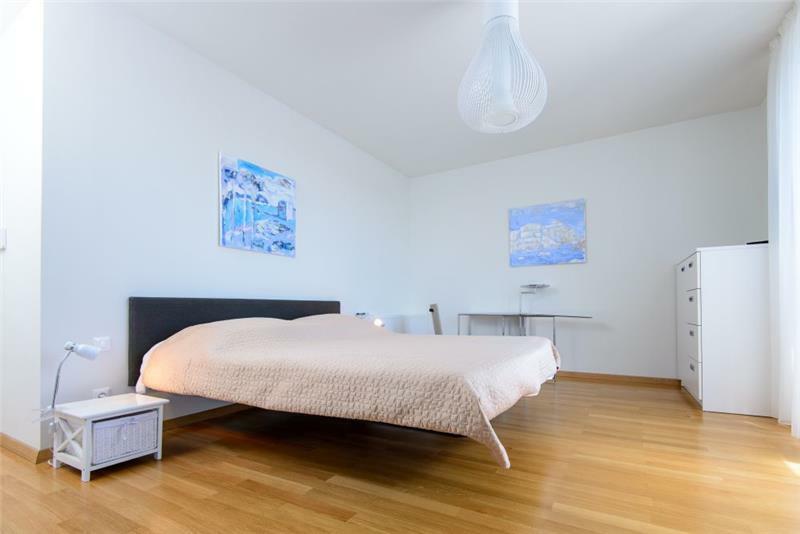 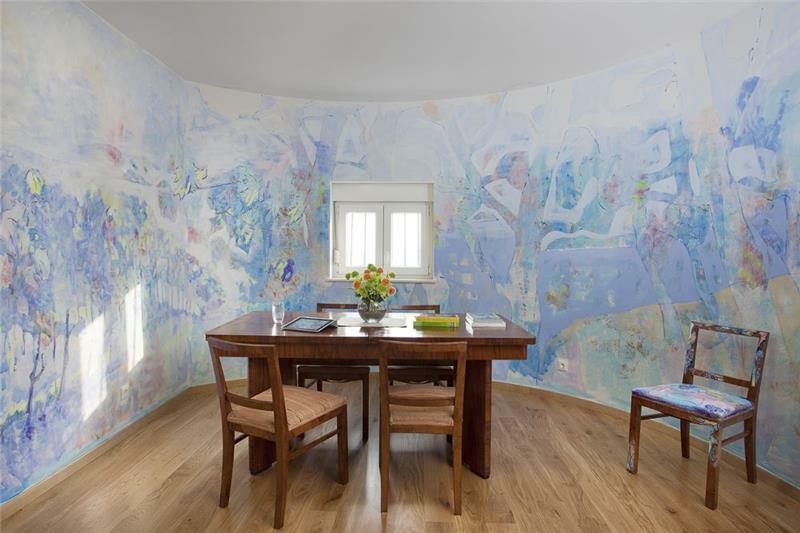 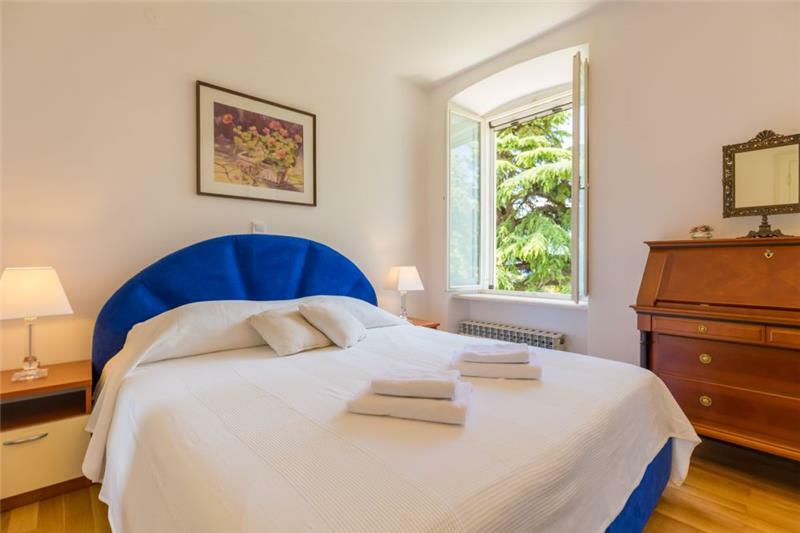 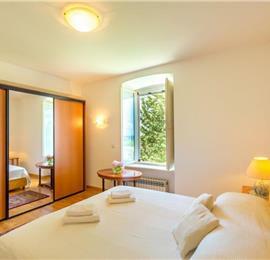 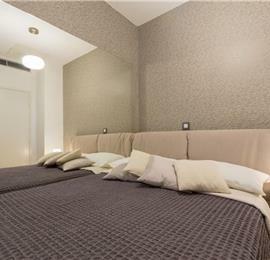 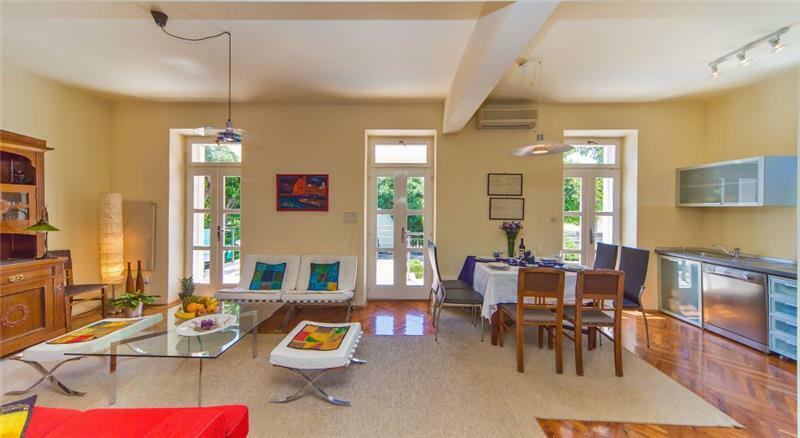 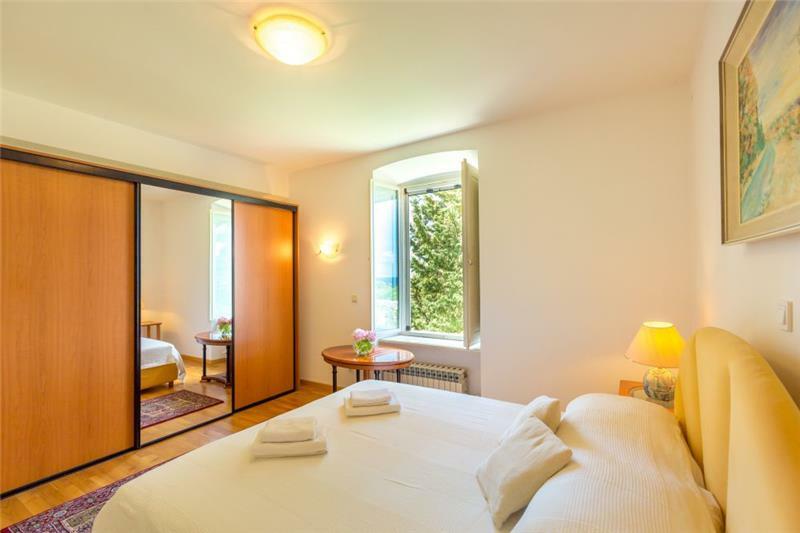 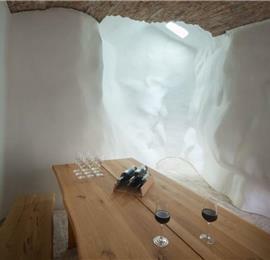 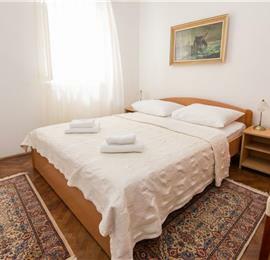 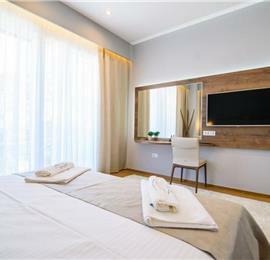 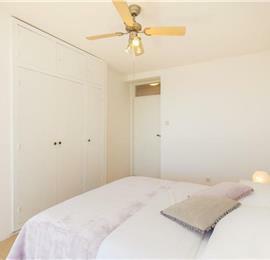 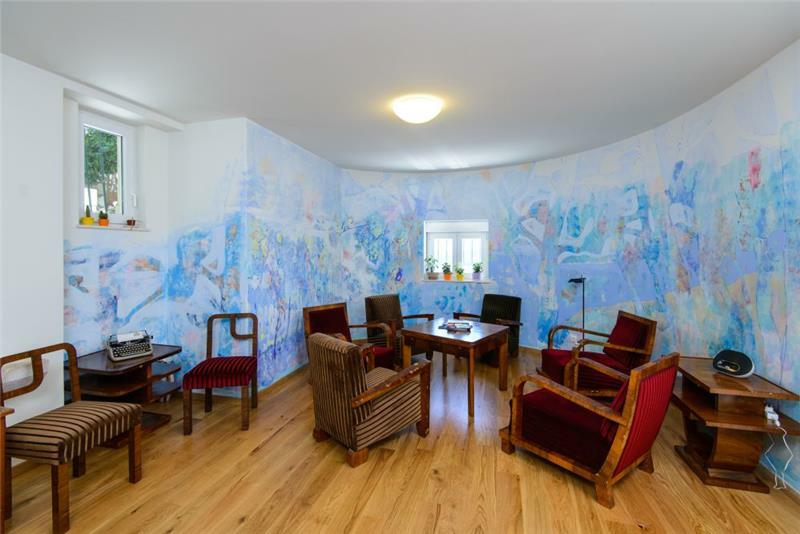 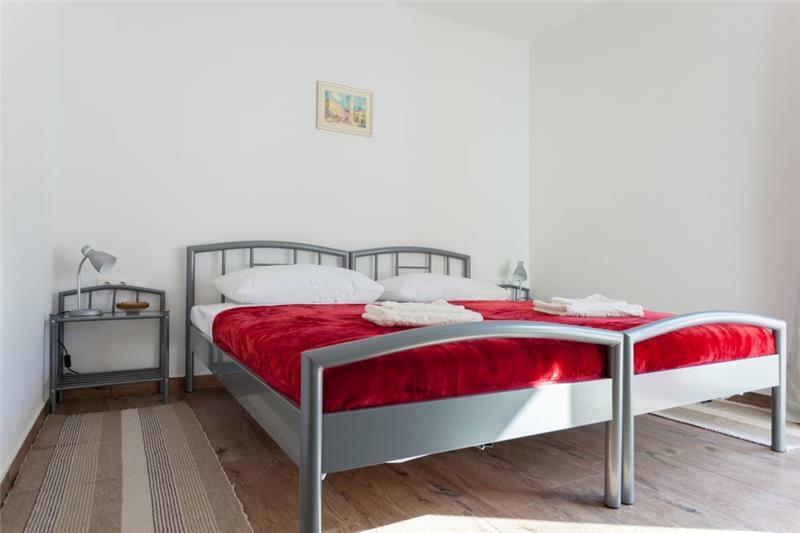 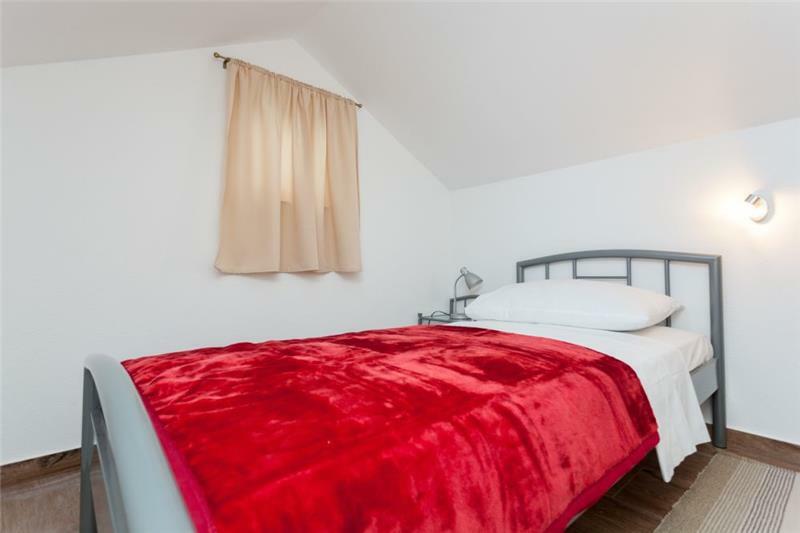 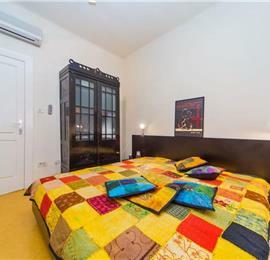 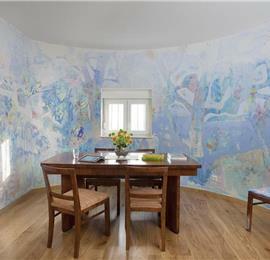 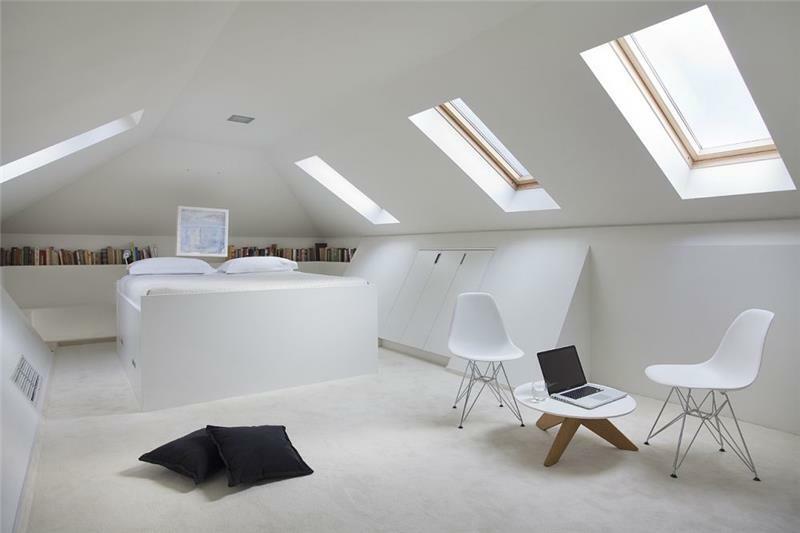 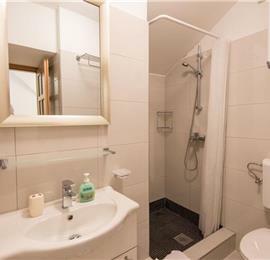 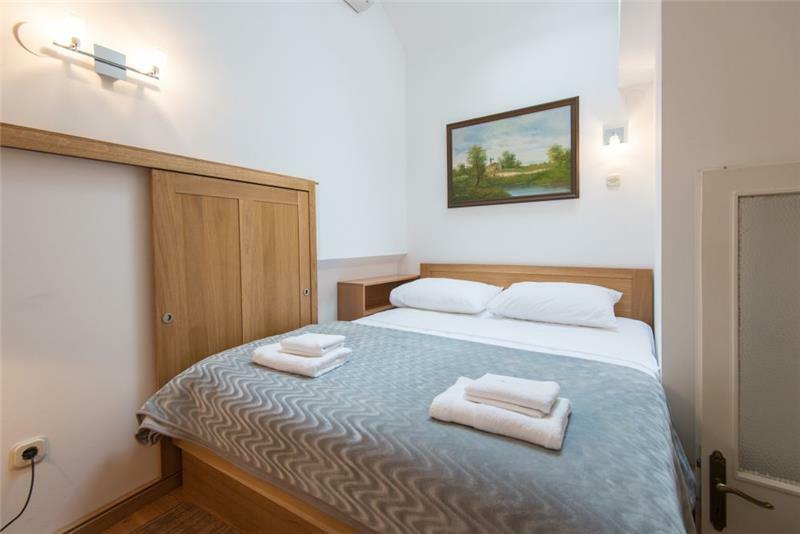 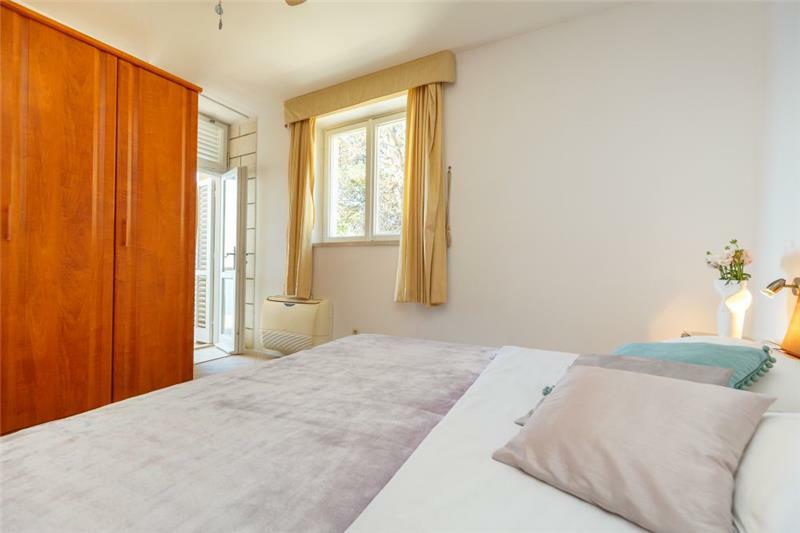 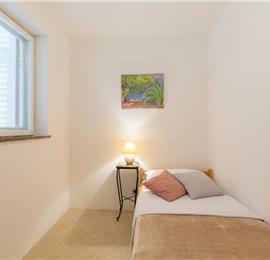 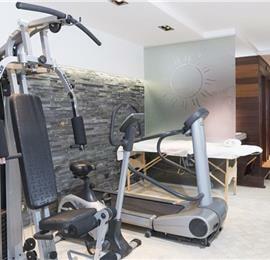 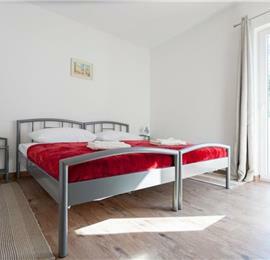 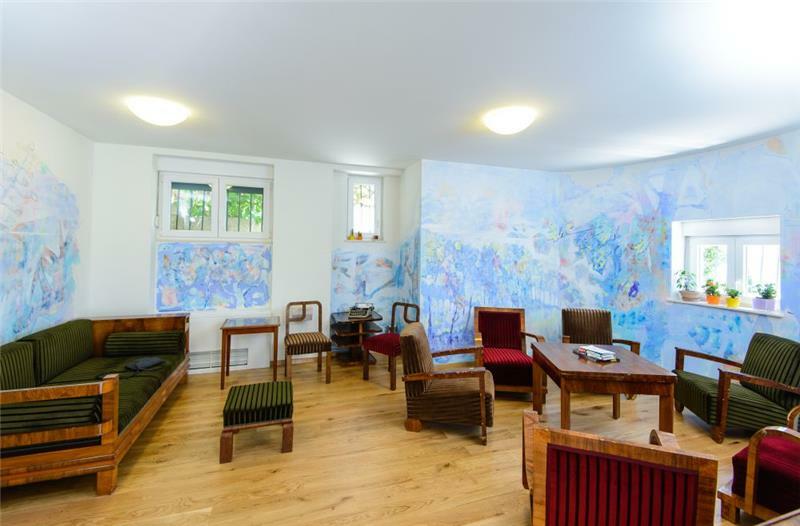 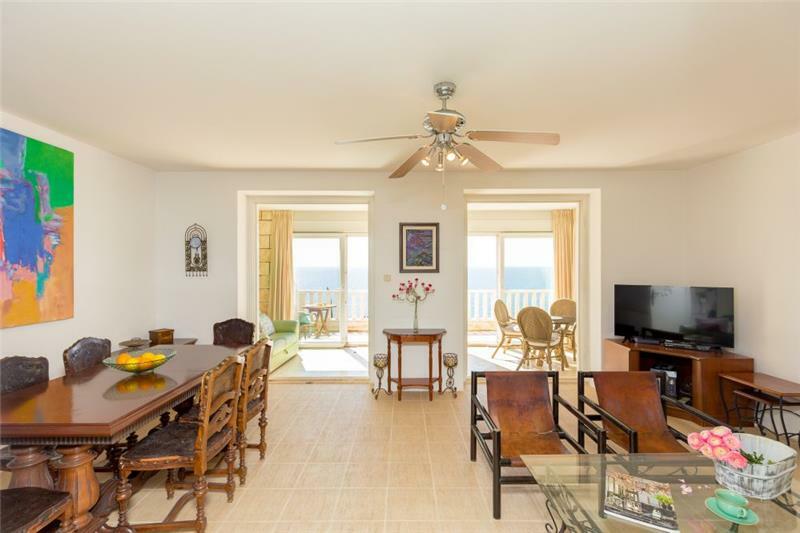 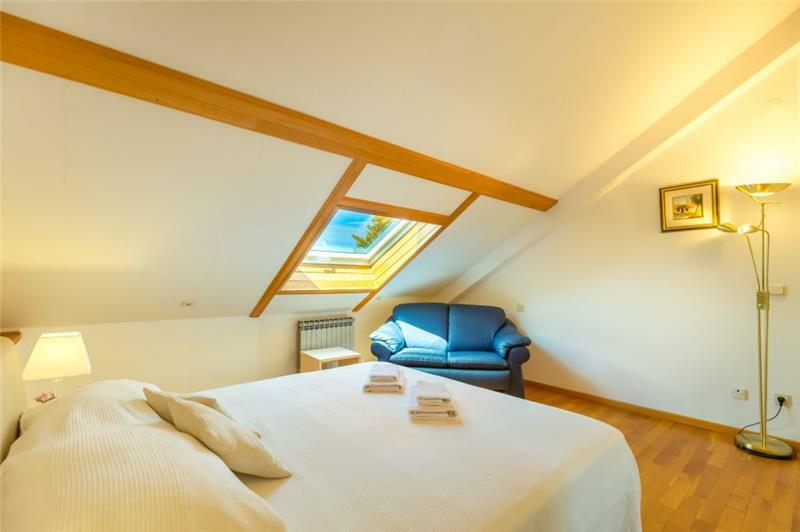 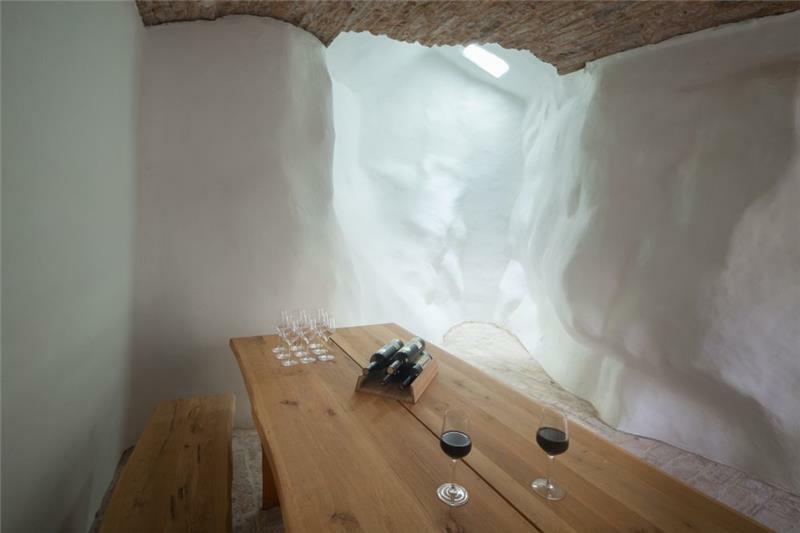 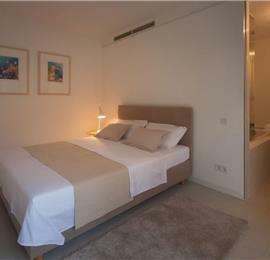 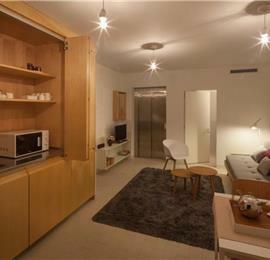 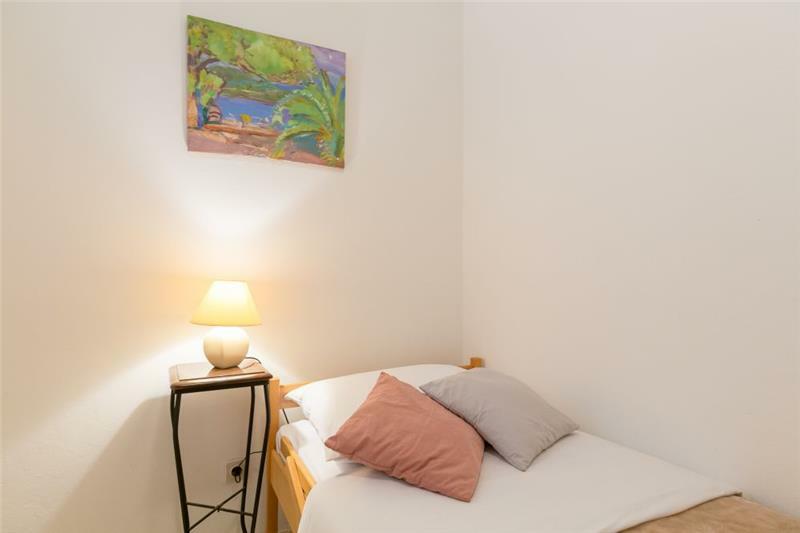 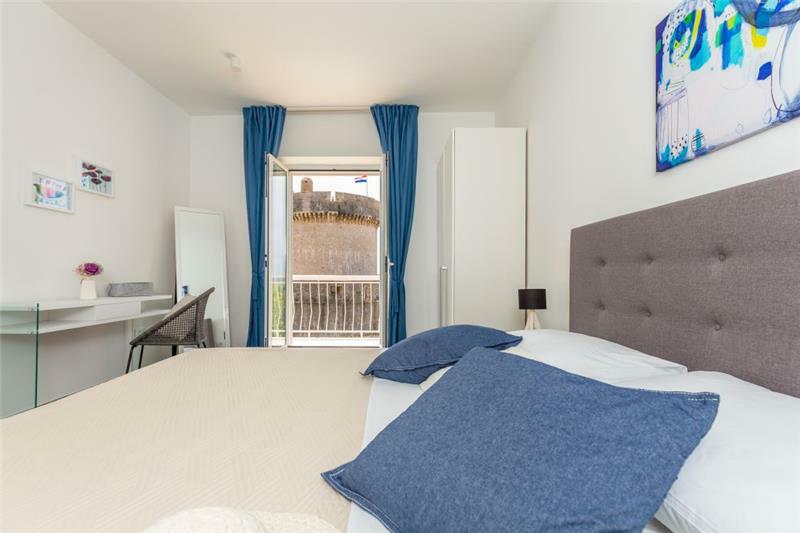 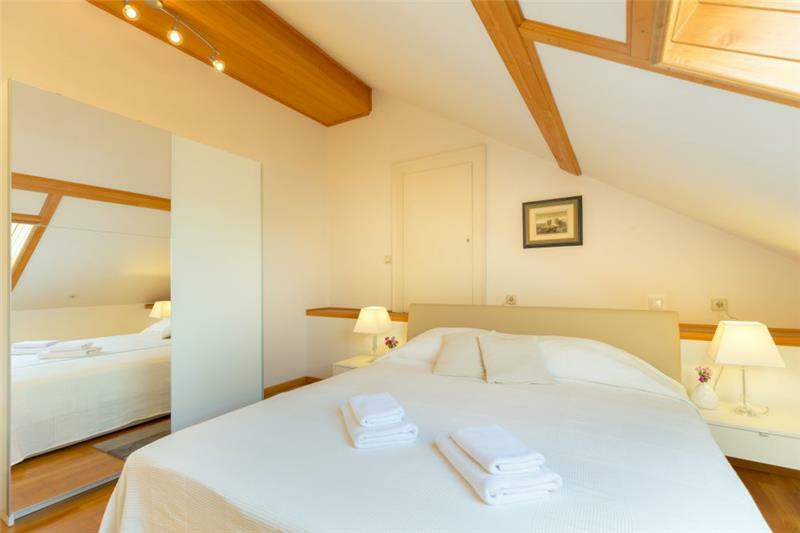 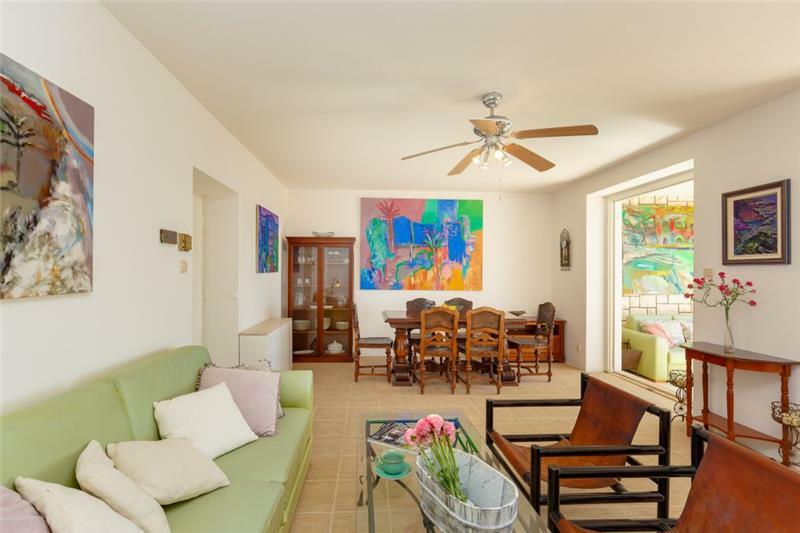 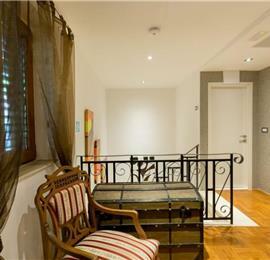 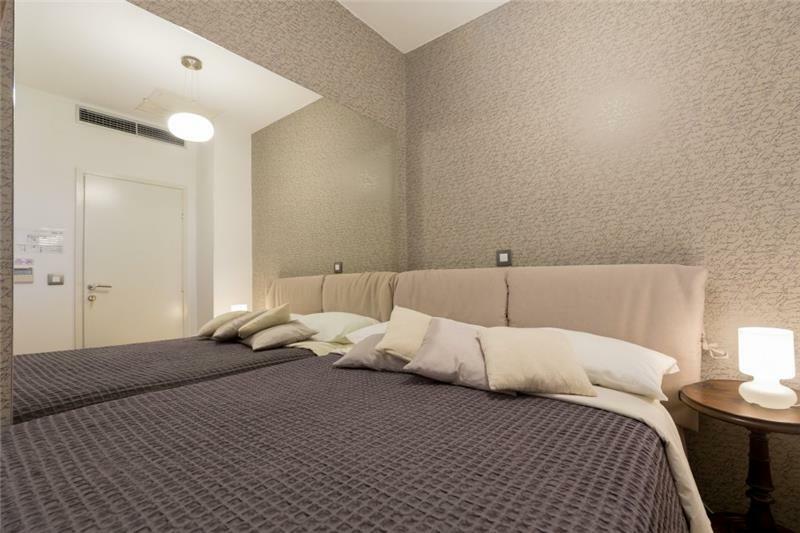 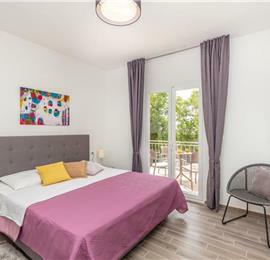 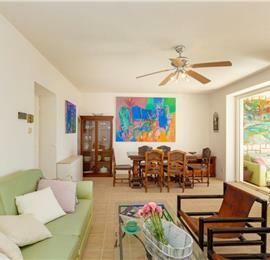 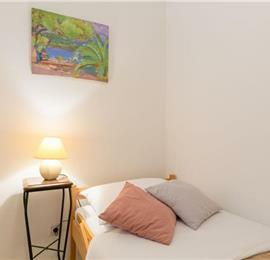 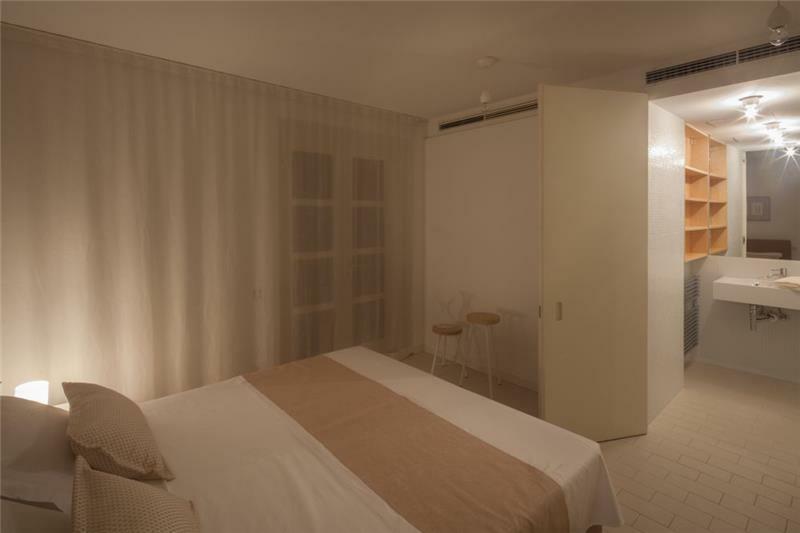 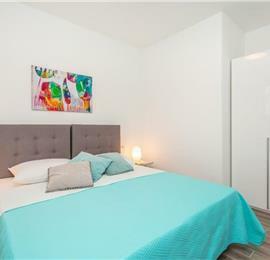 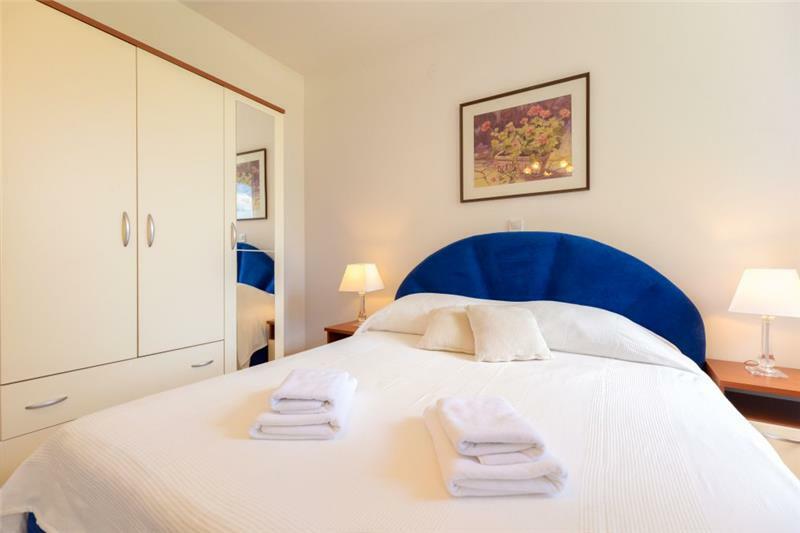 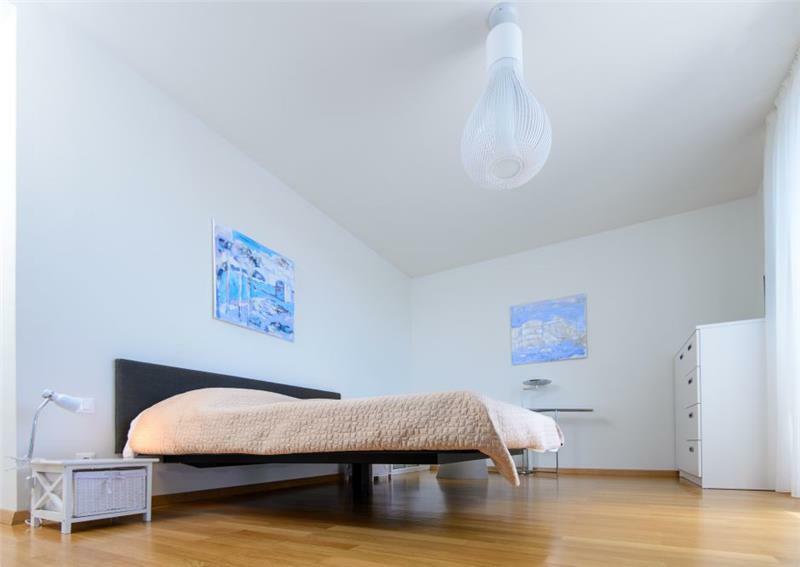 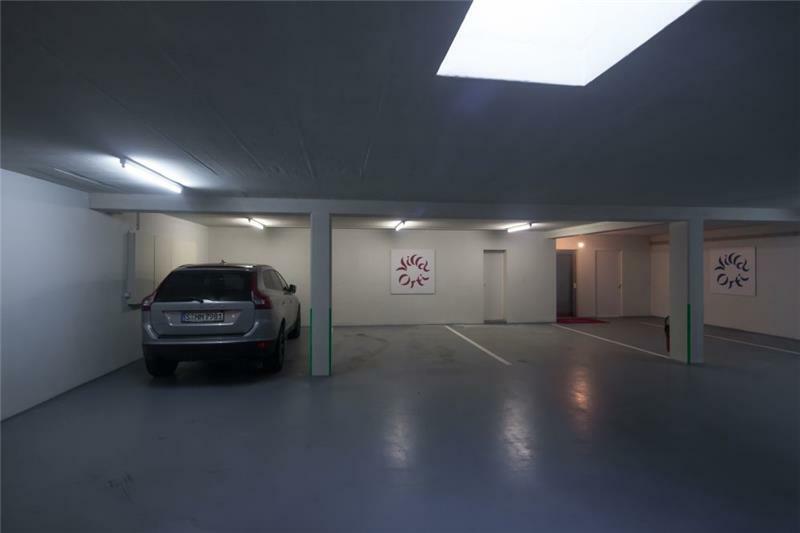 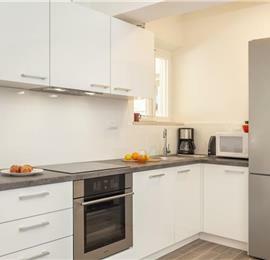 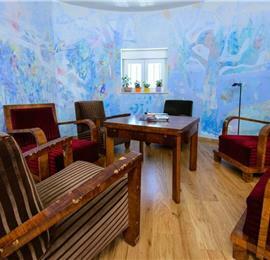 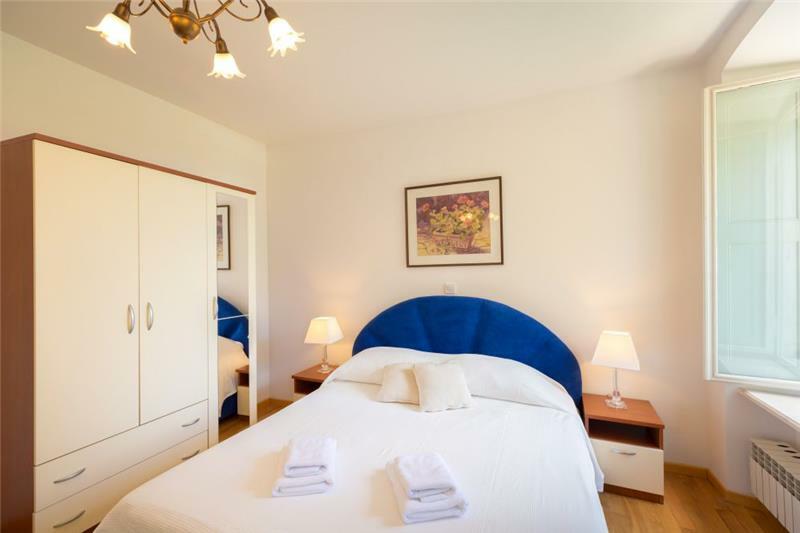 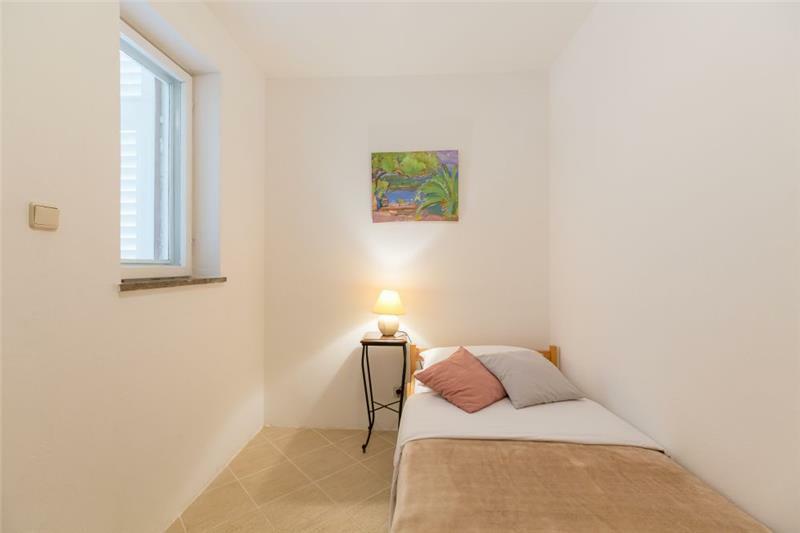 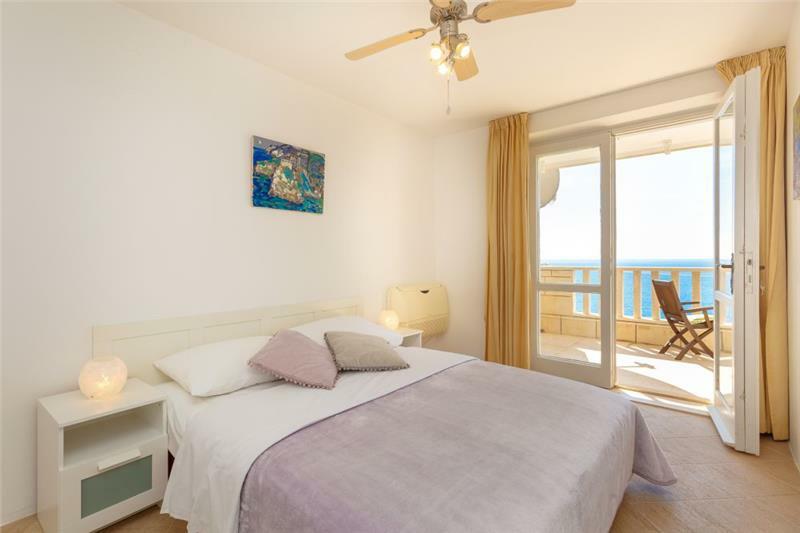 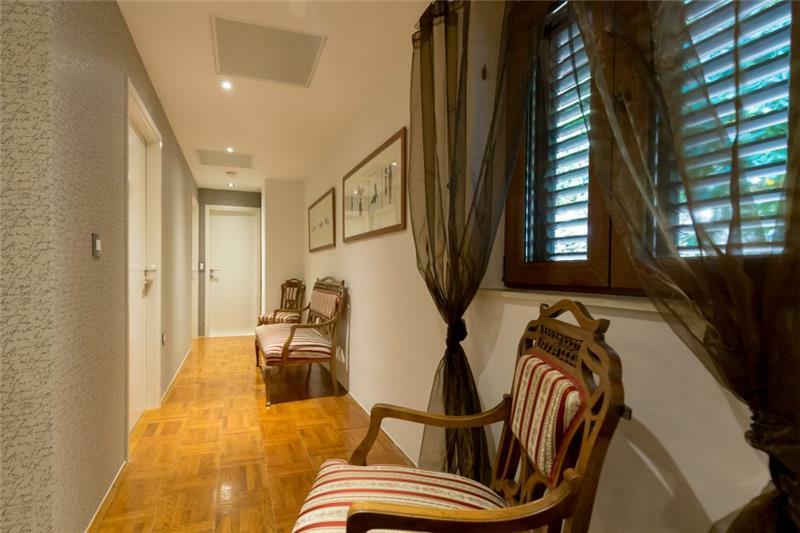 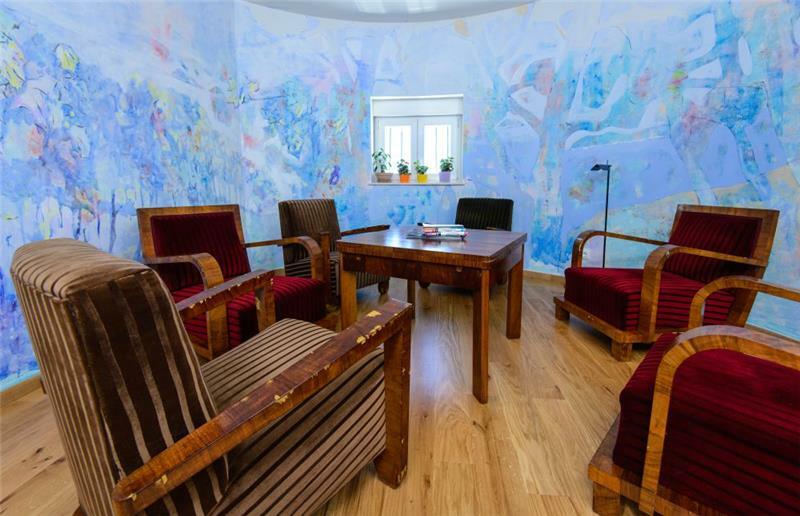 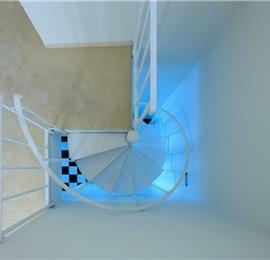 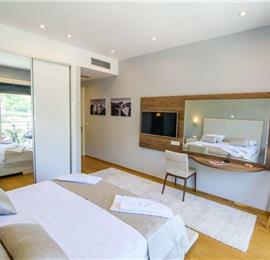 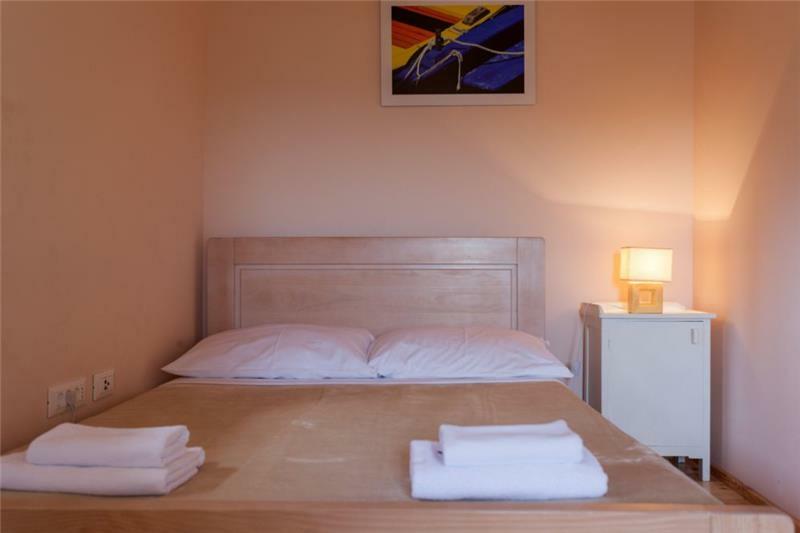 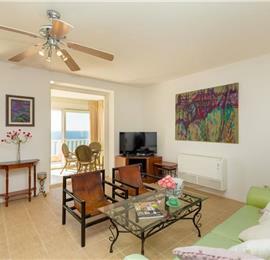 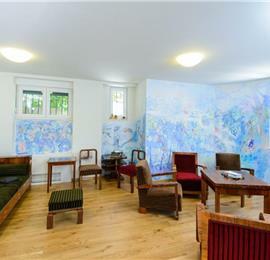 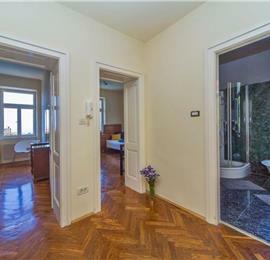 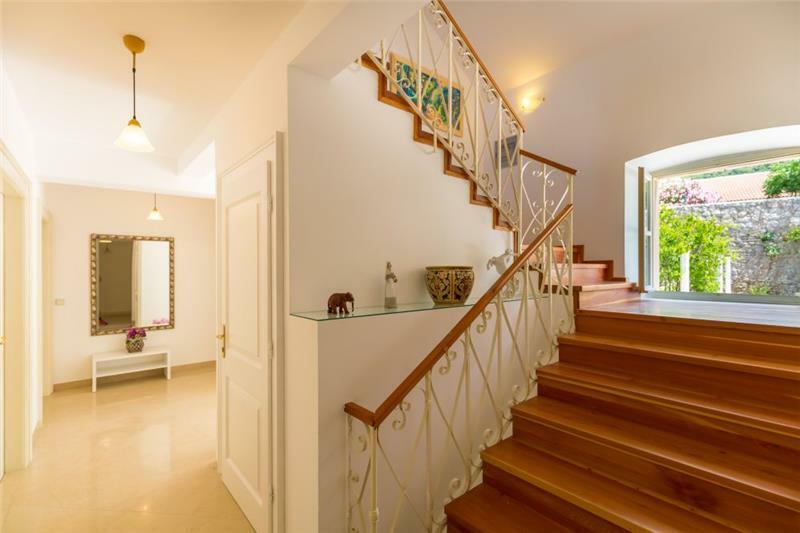 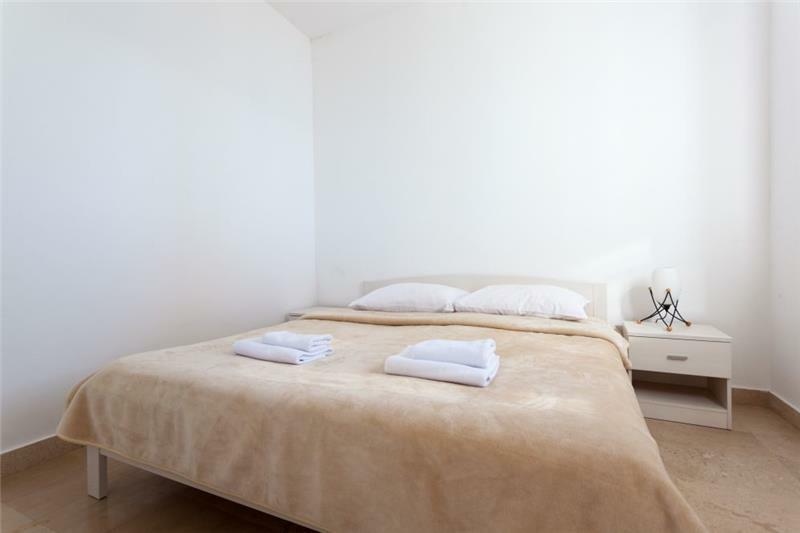 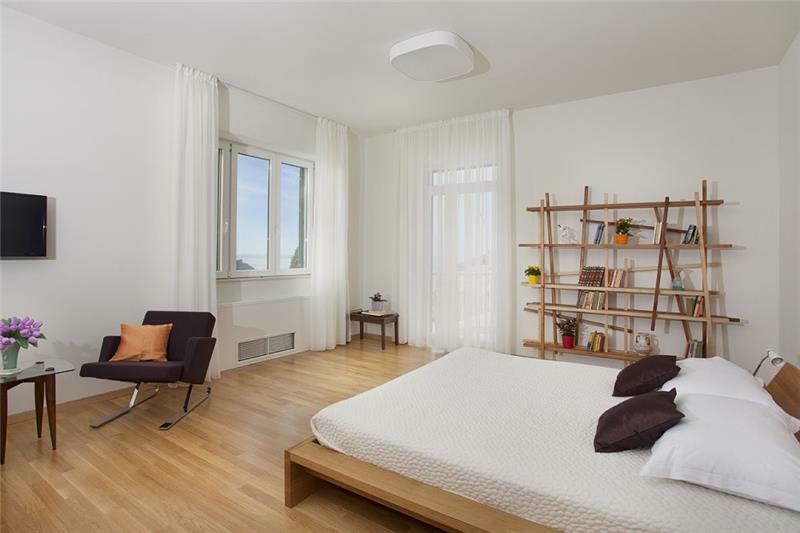 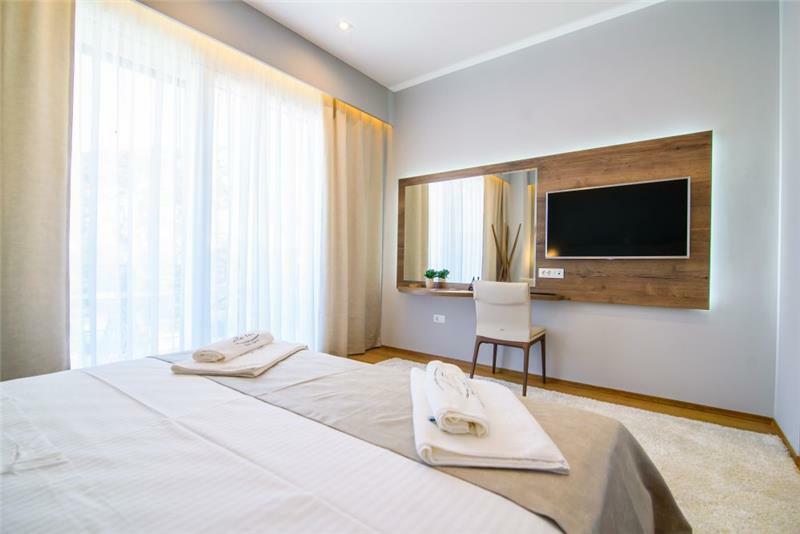 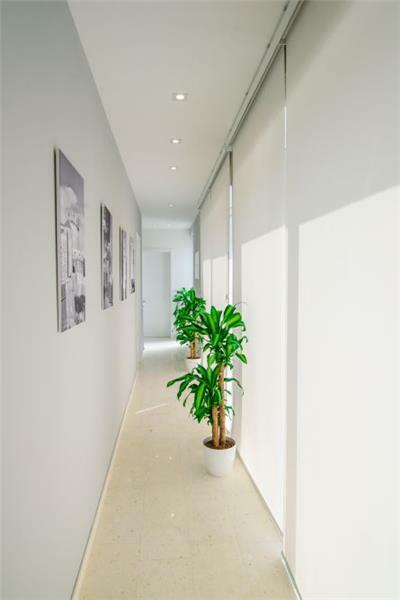 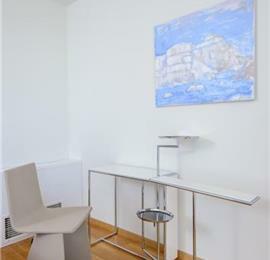 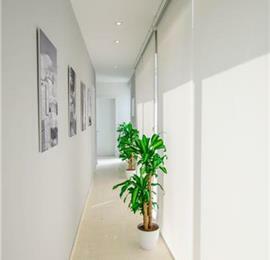 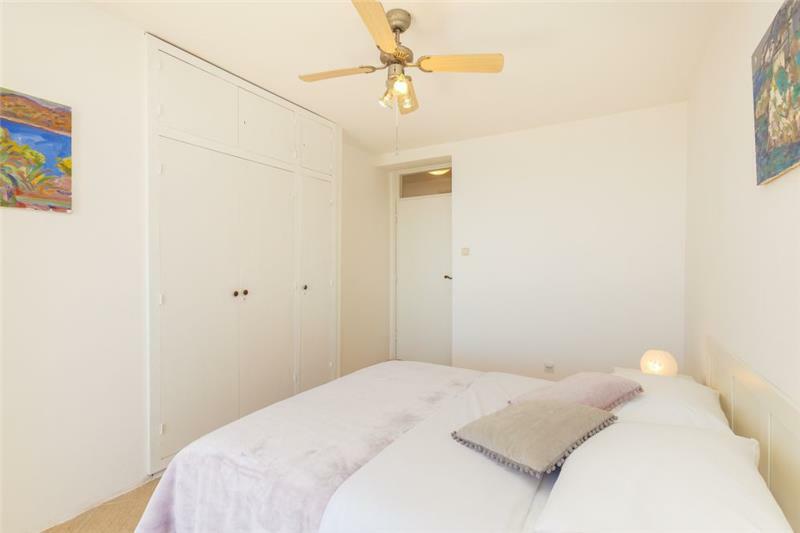 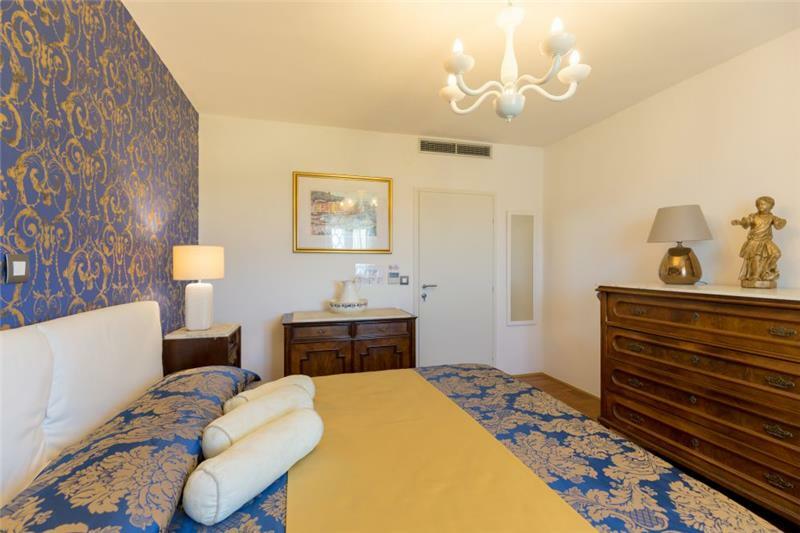 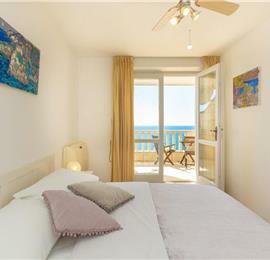 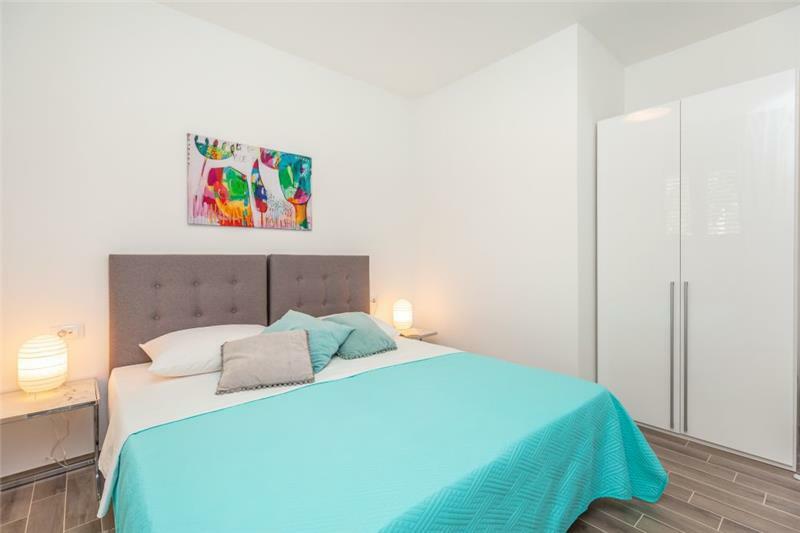 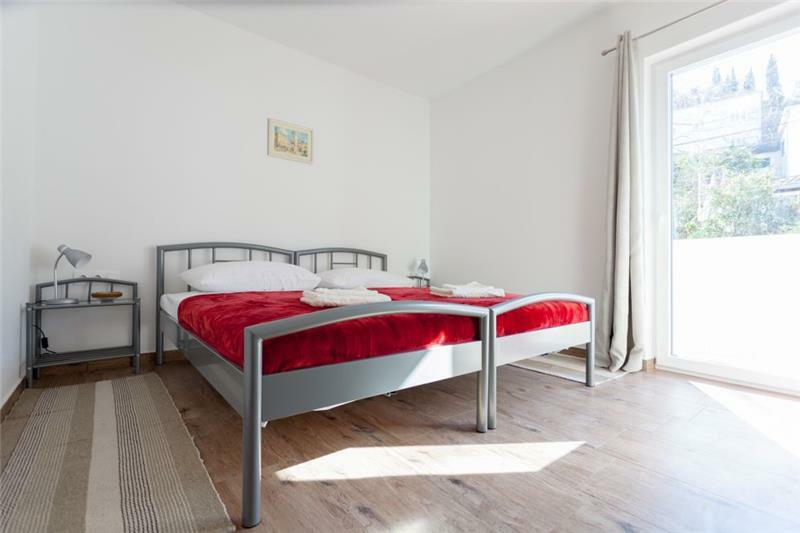 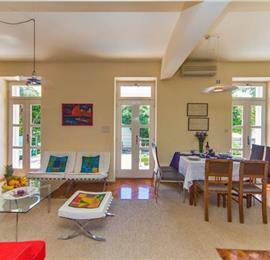 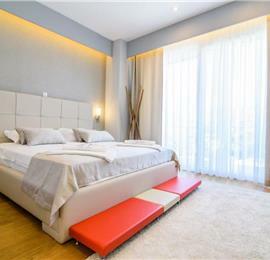 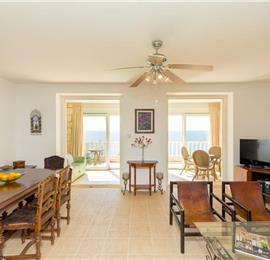 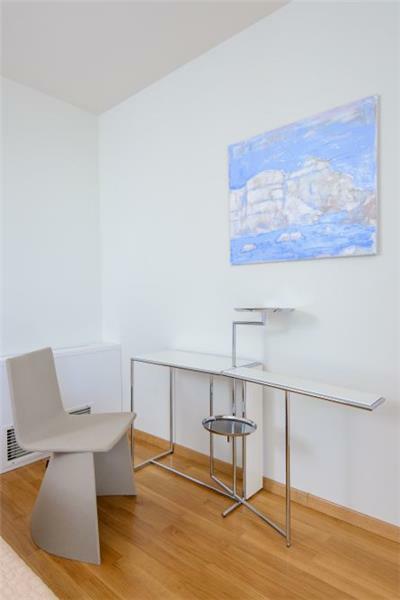 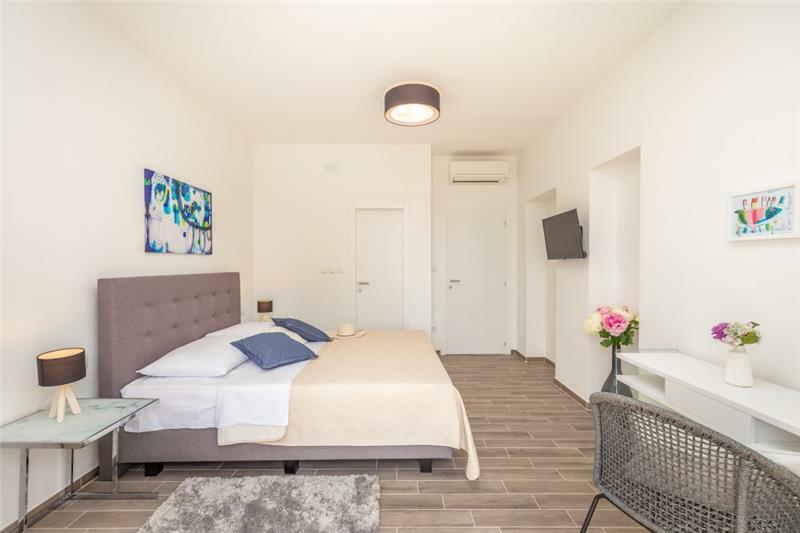 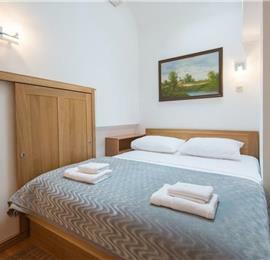 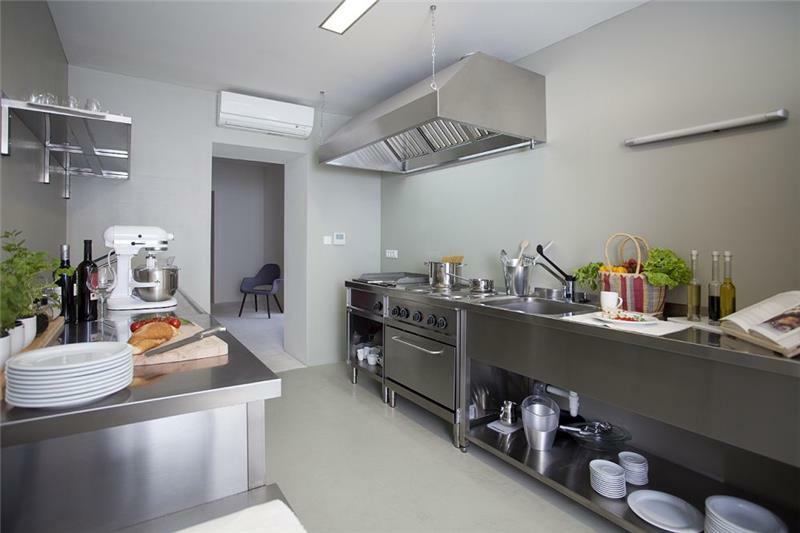 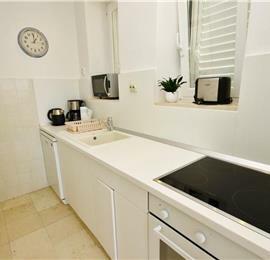 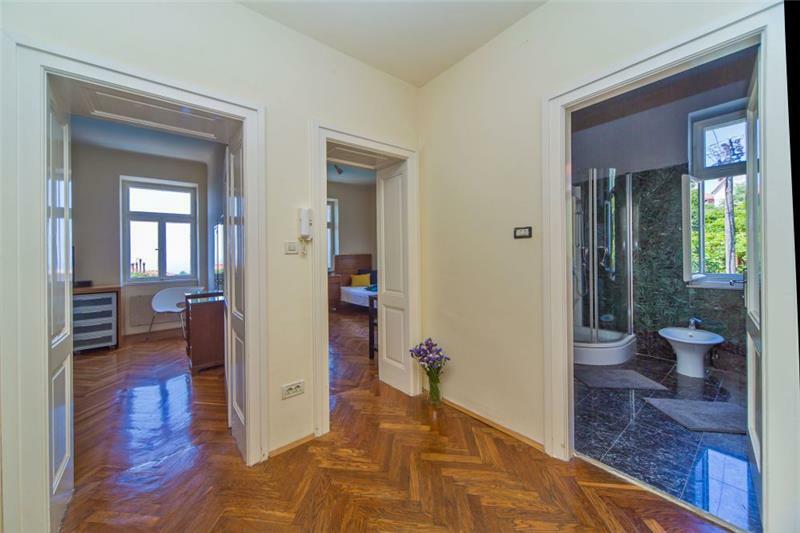 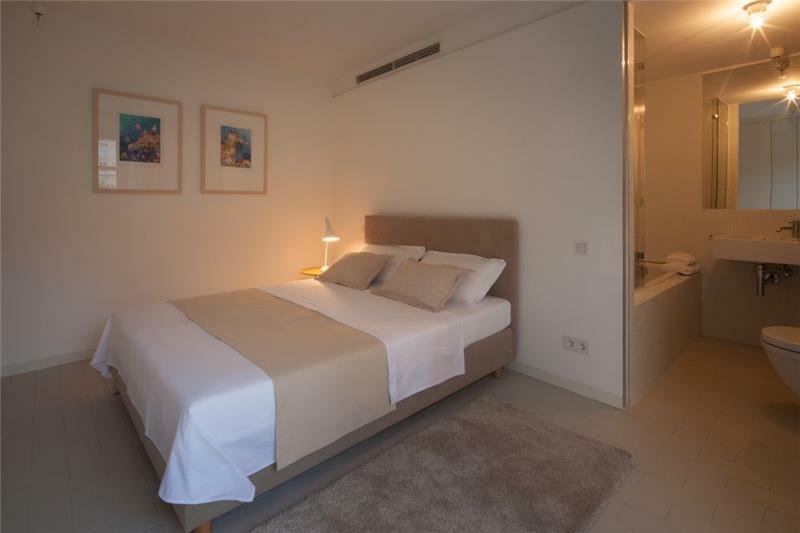 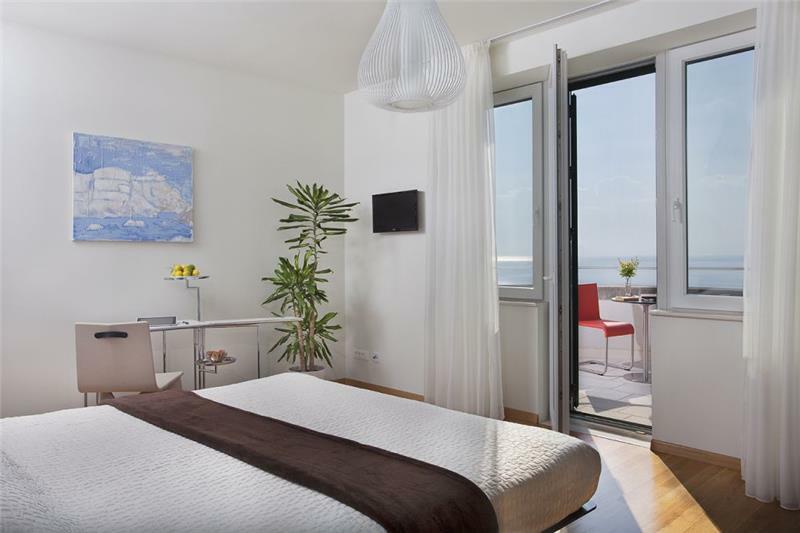 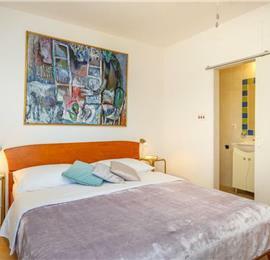 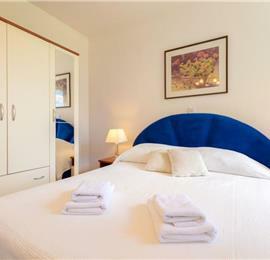 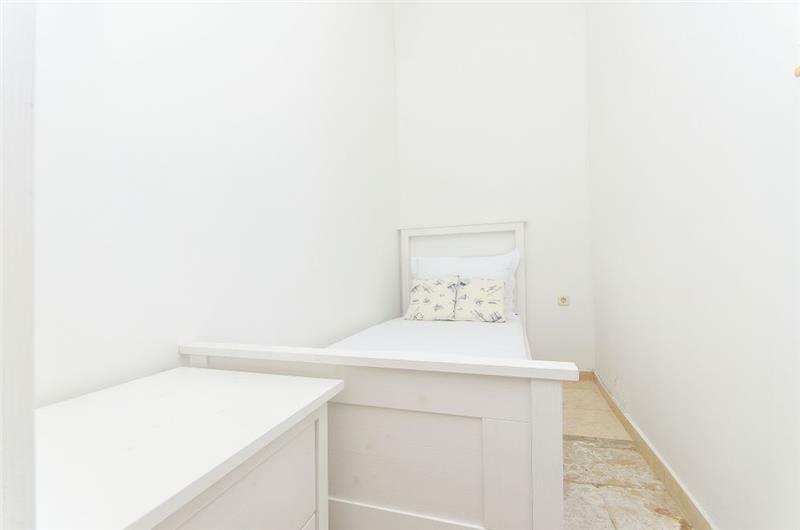 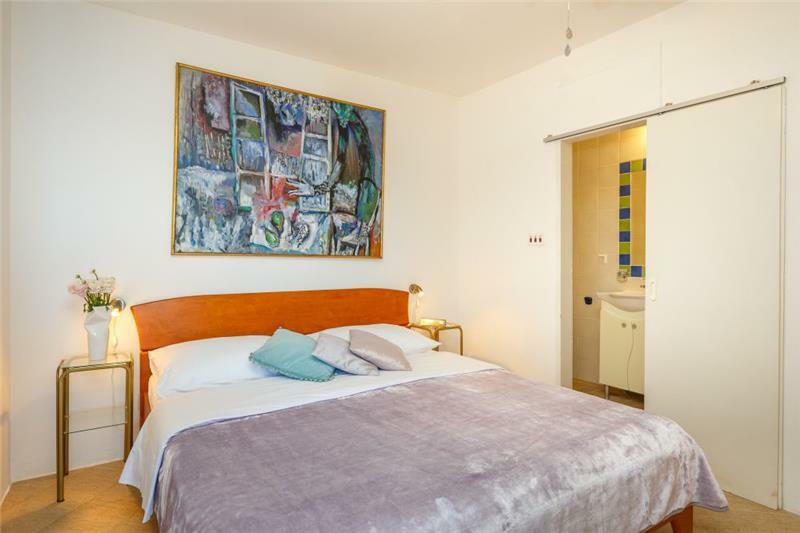 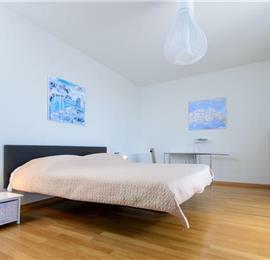 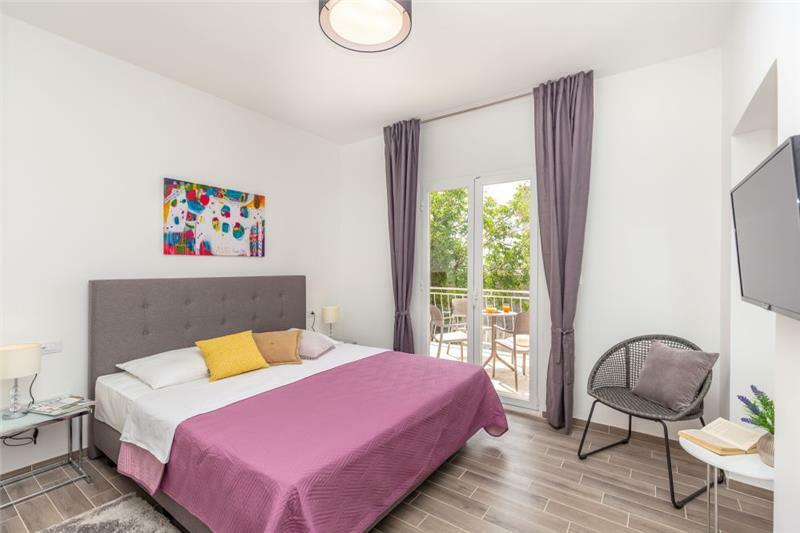 Air-conditioning (some of the rooms): Fully air-conditioned throughout the property; There are 6 A/C units in the property and the temperature for each room can be controlled separately. 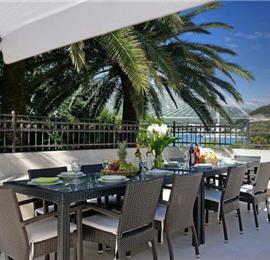 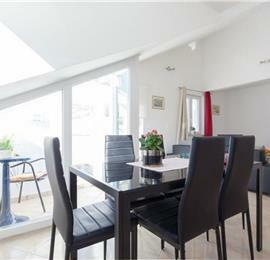 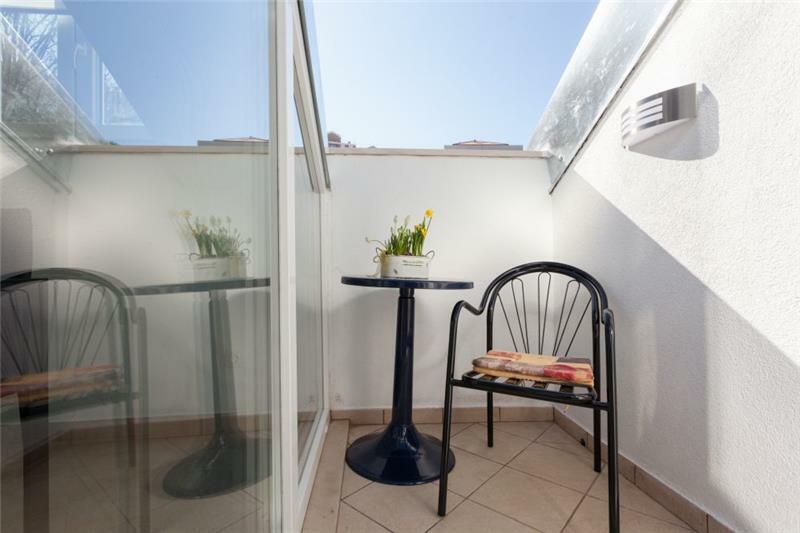 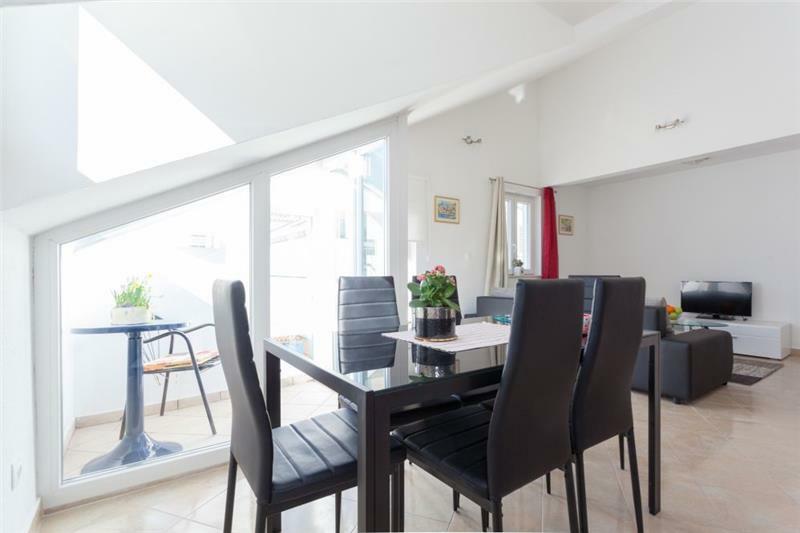 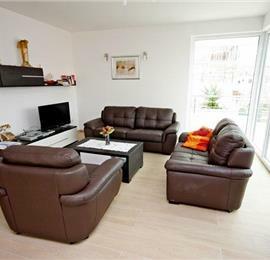 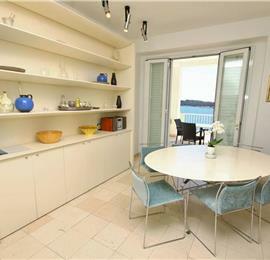 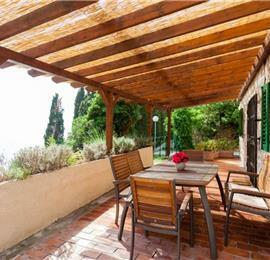 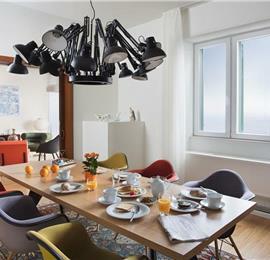 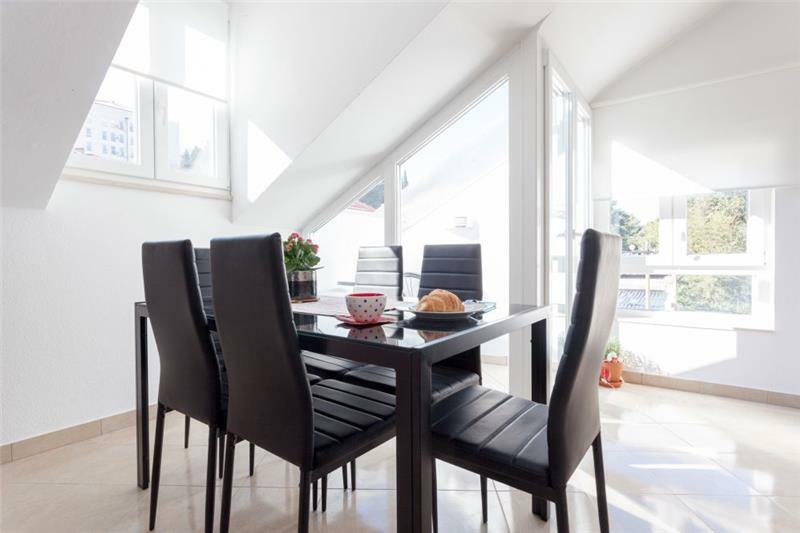 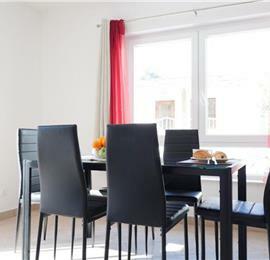 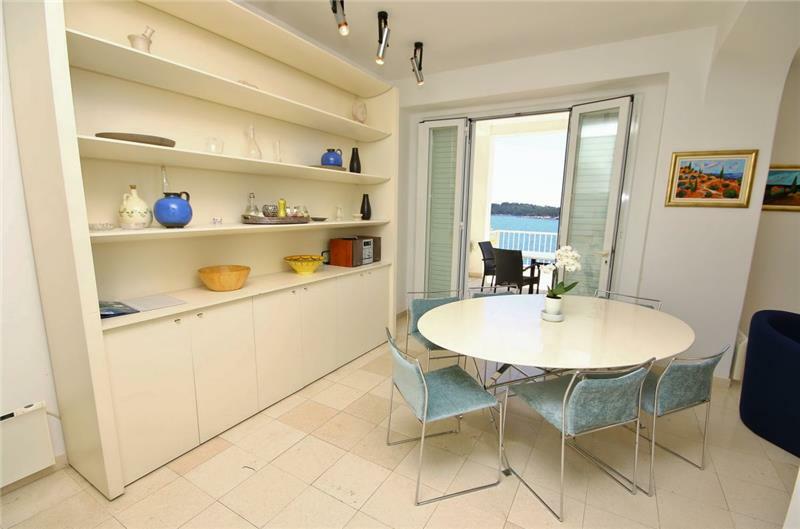 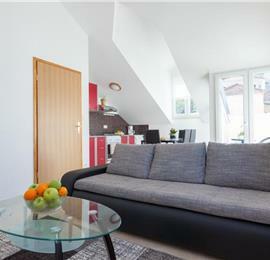 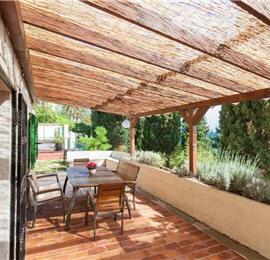 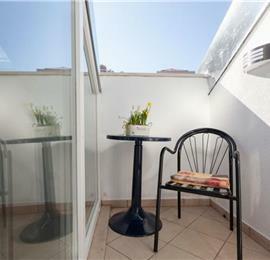 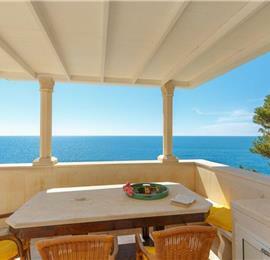 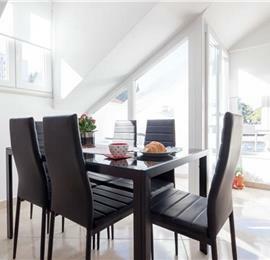 Furniture in terrace/balcony/garden: Outdoor dining table for 10, selection of outdoor furniture and tables on the terrace. 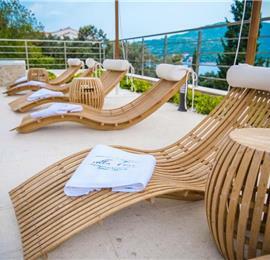 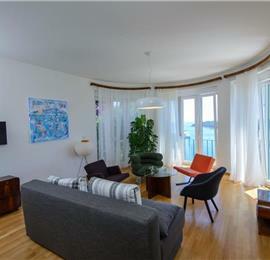 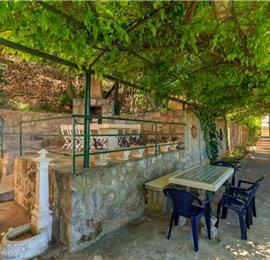 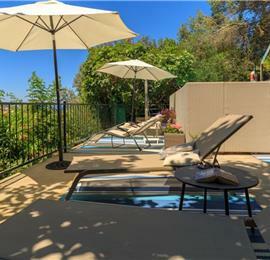 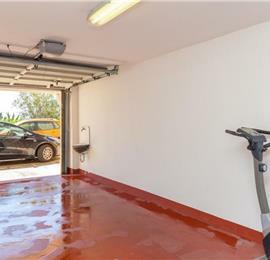 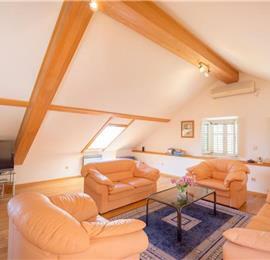 There are 10 sunbeds and 3 parasols. 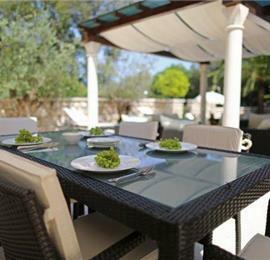 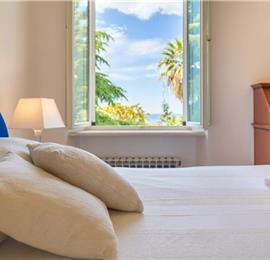 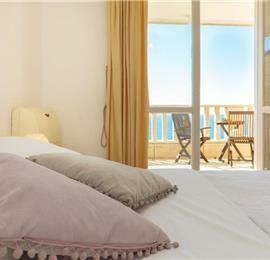 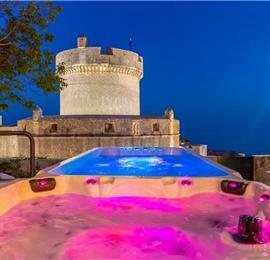 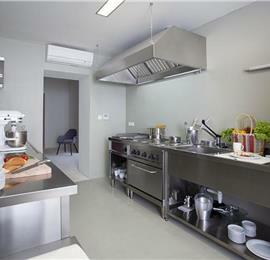 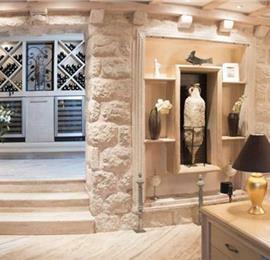 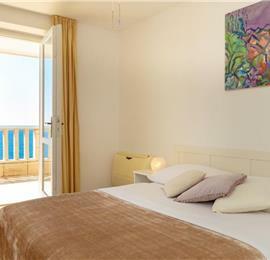 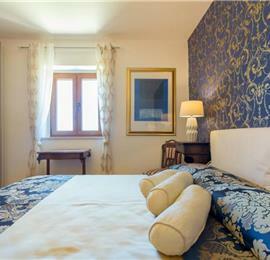 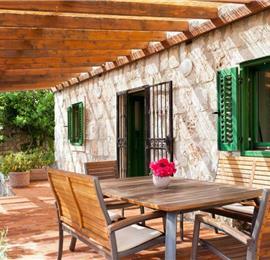 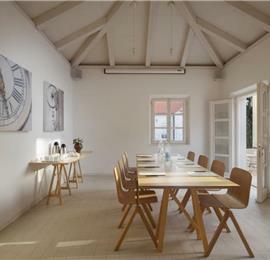 Villa manager is available 24/7 to help with requests, recommend and book restaurants, tours, events, guides etc. 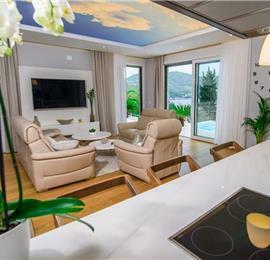 If you require assistance with your luggage when you arrive/depart the villa, this can be arranged with the villa at an additional cost of GBP £22 one way/£44 return. 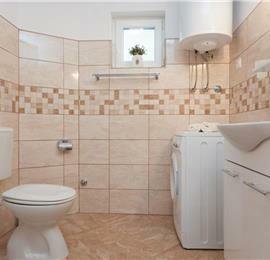 Please select at time of booking.